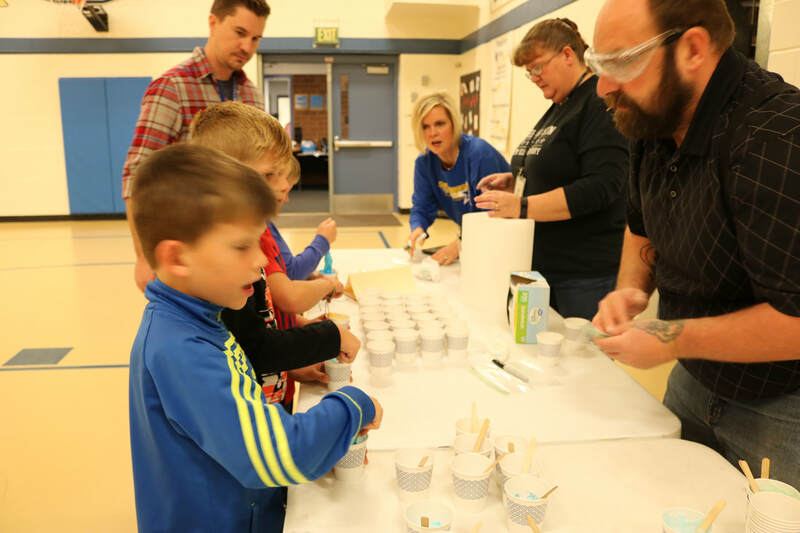 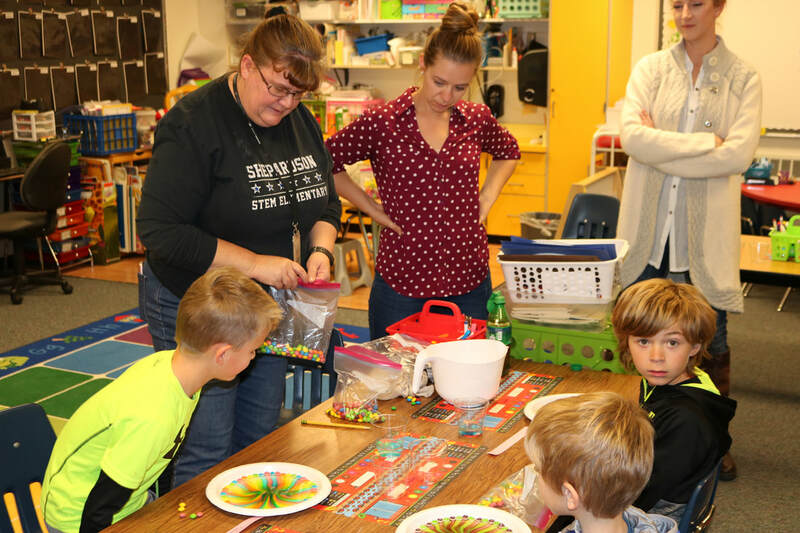 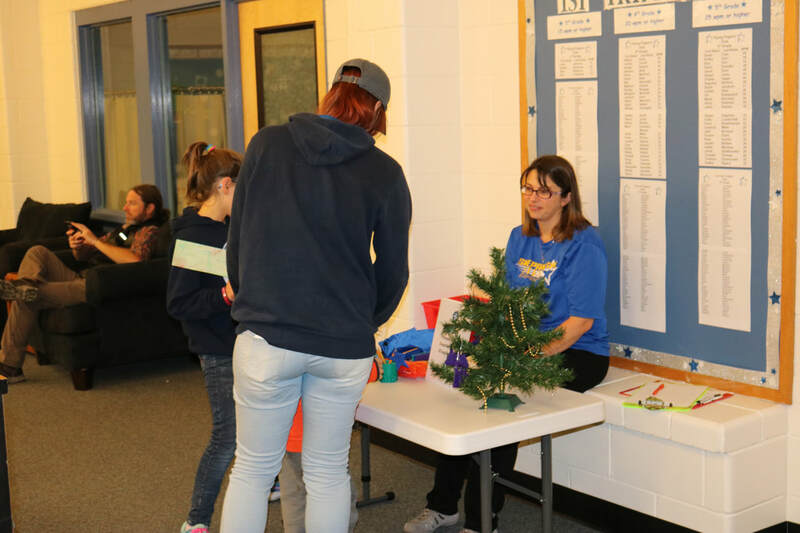 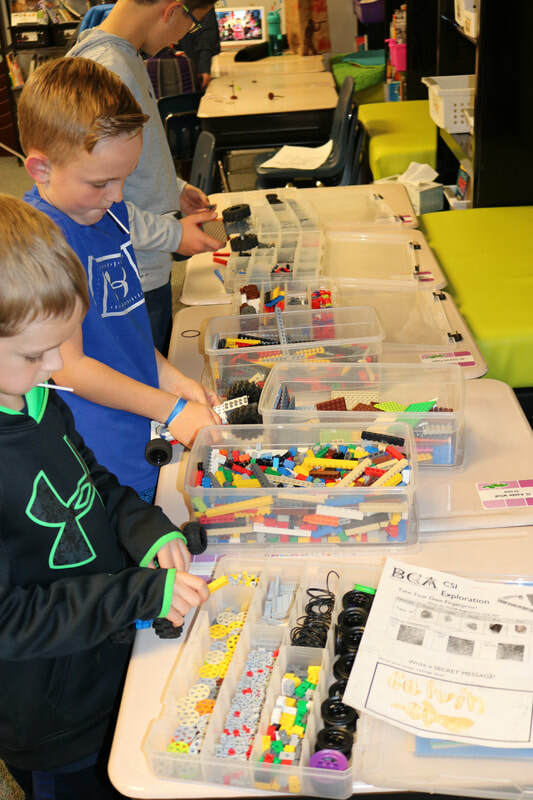 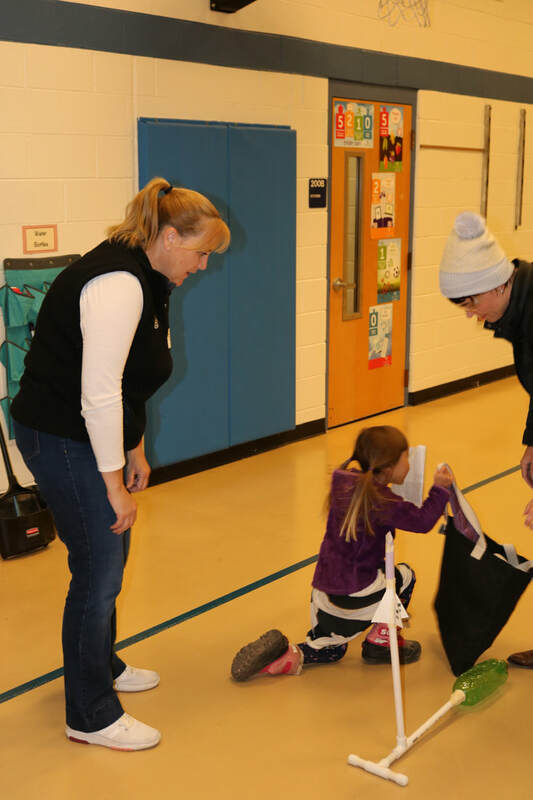 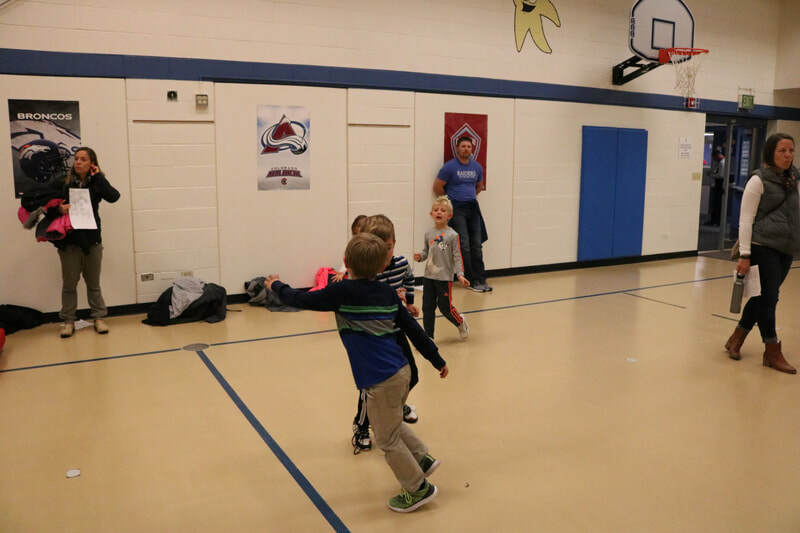 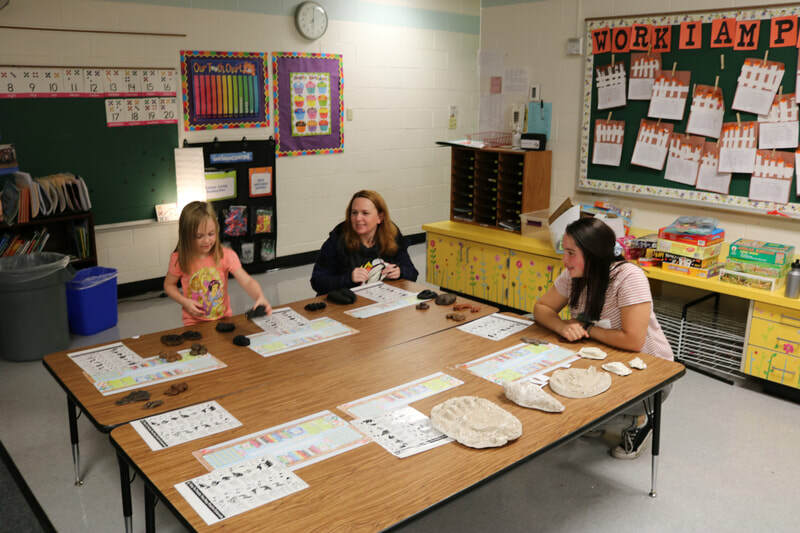 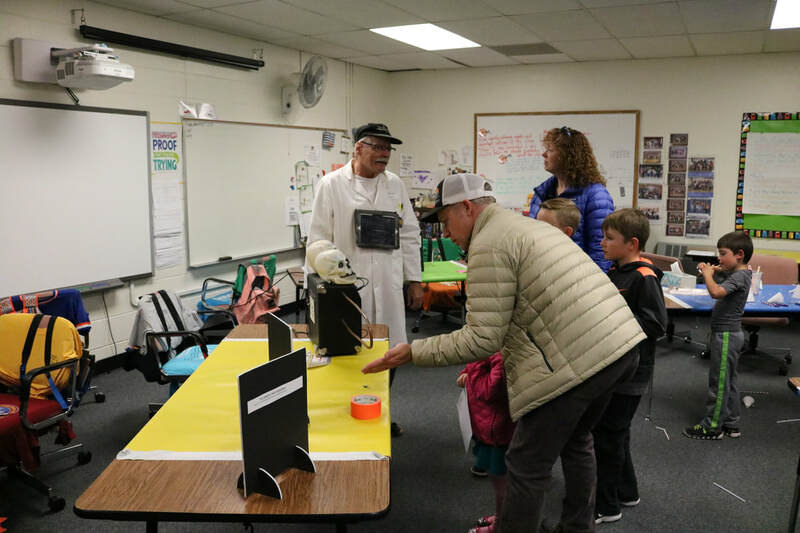 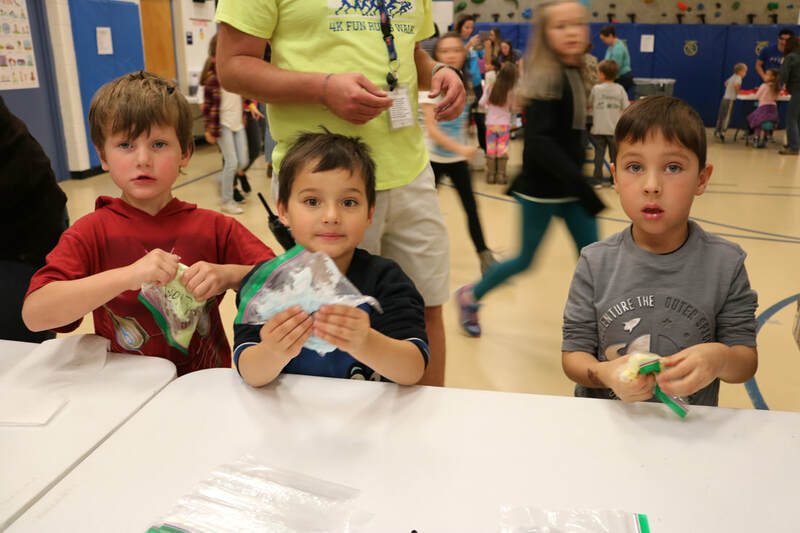 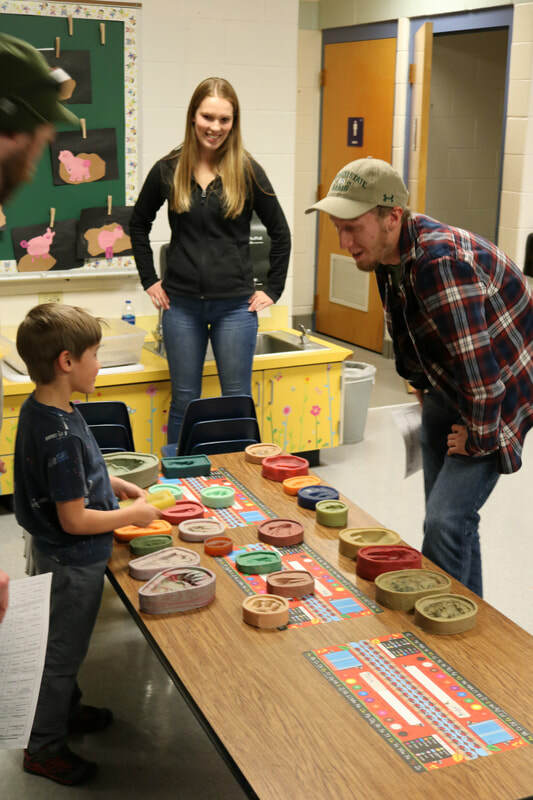 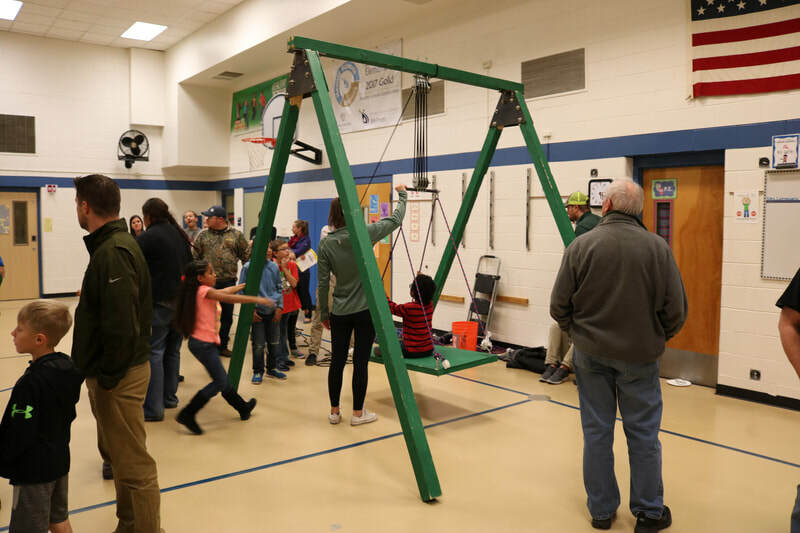 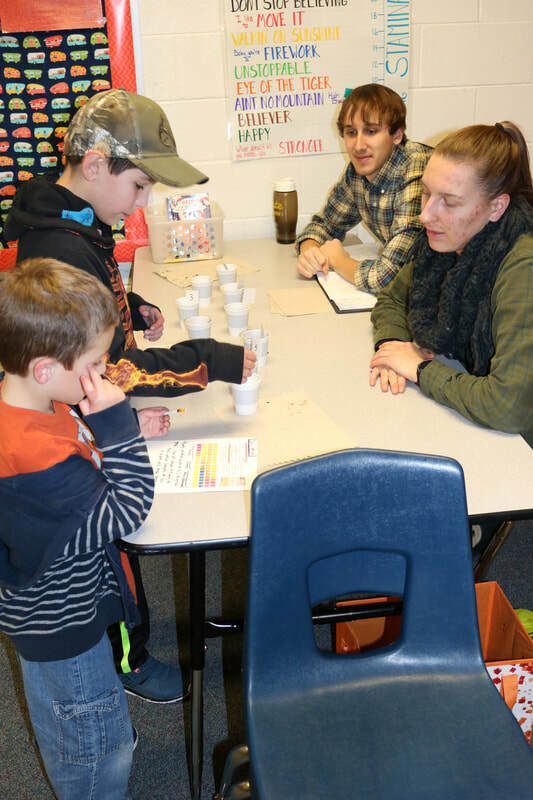 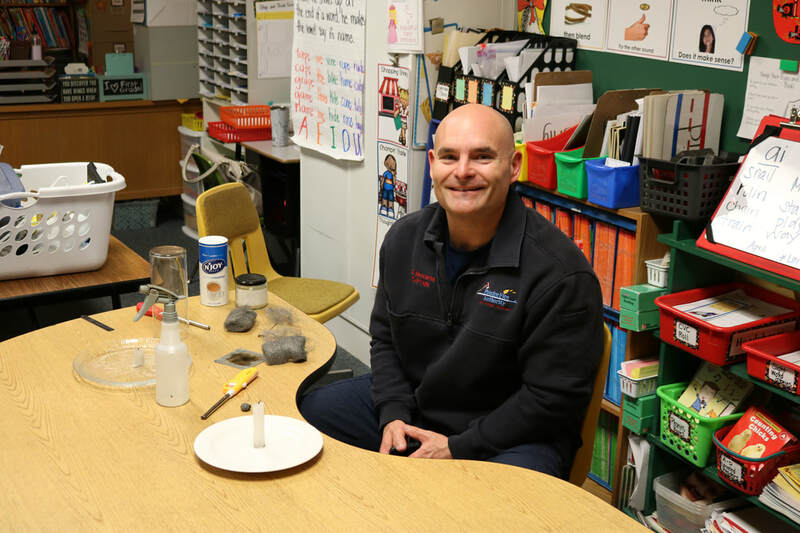 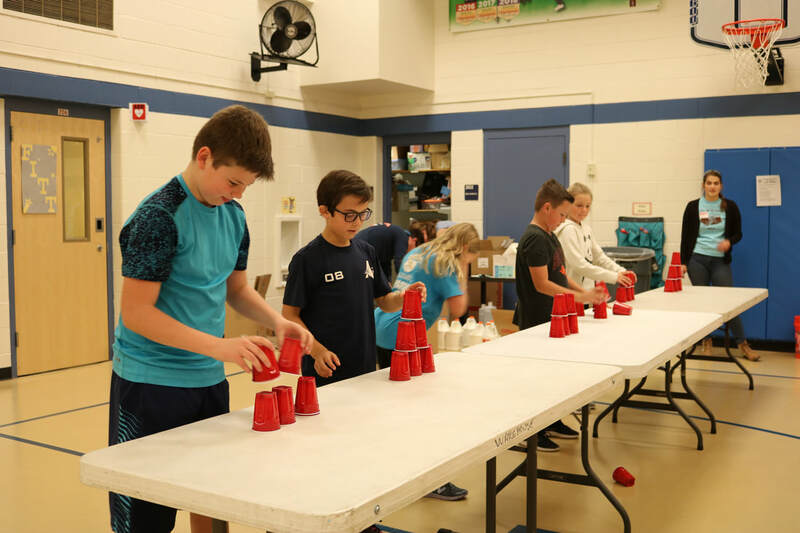 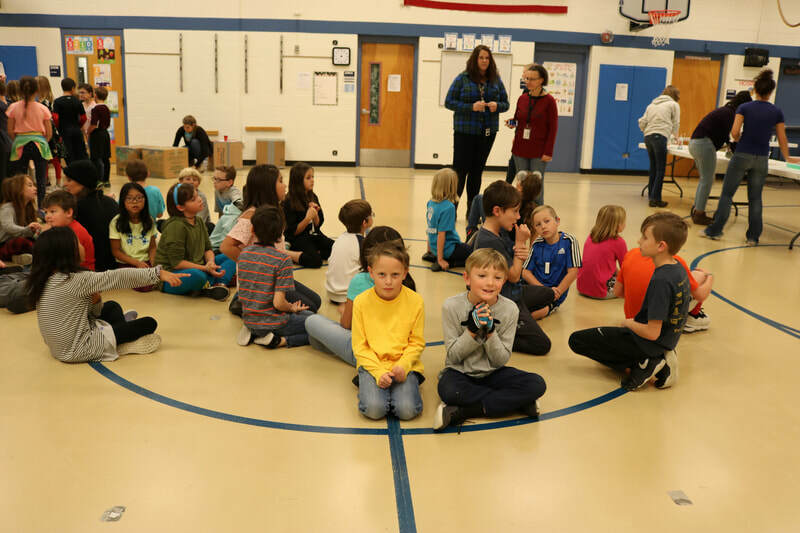 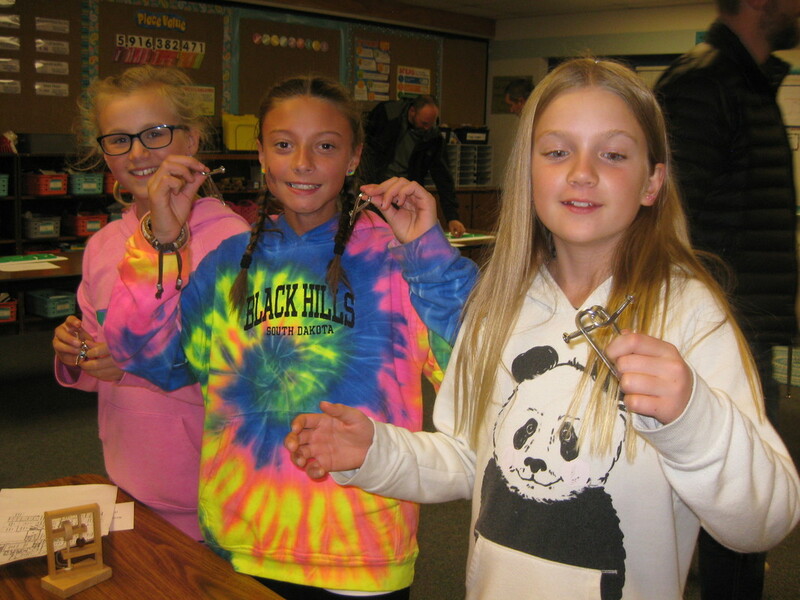 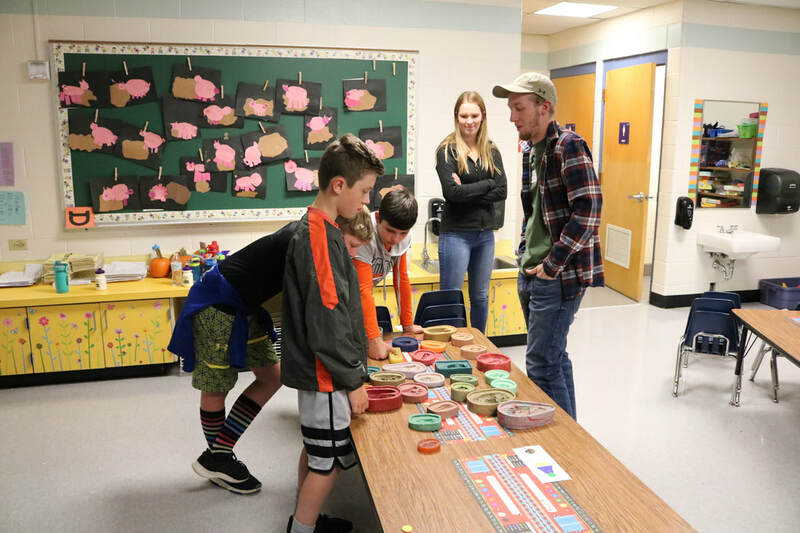 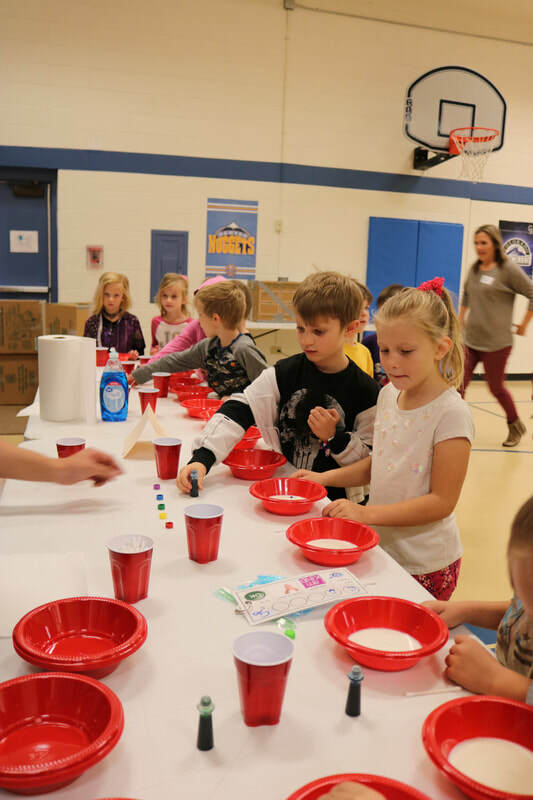 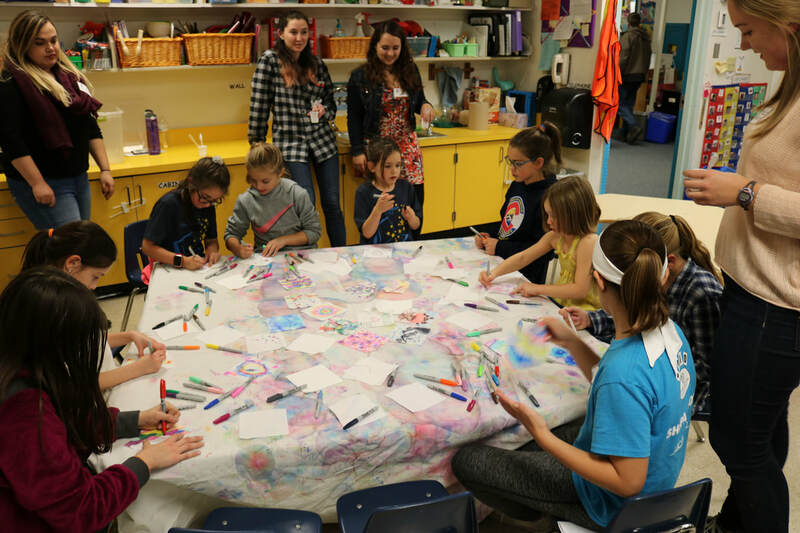 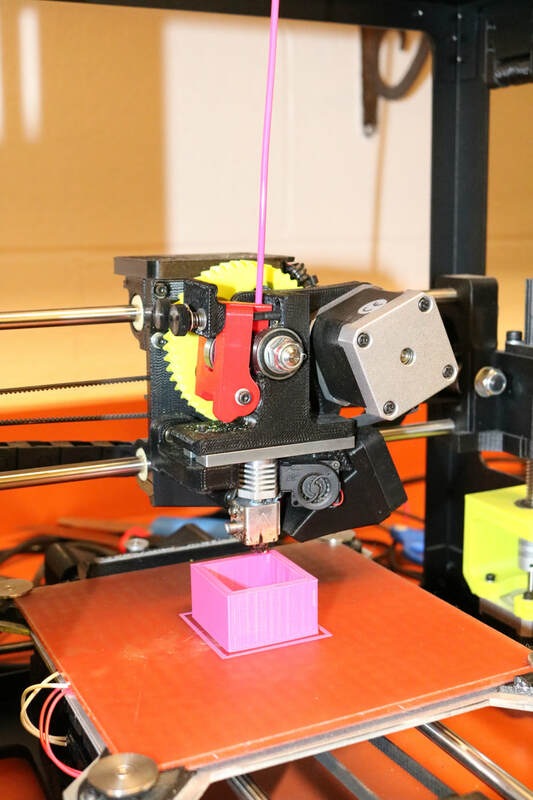 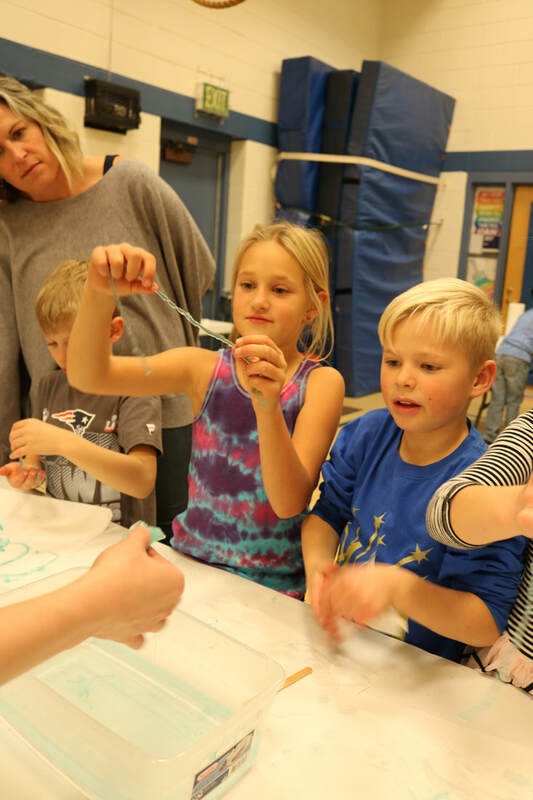 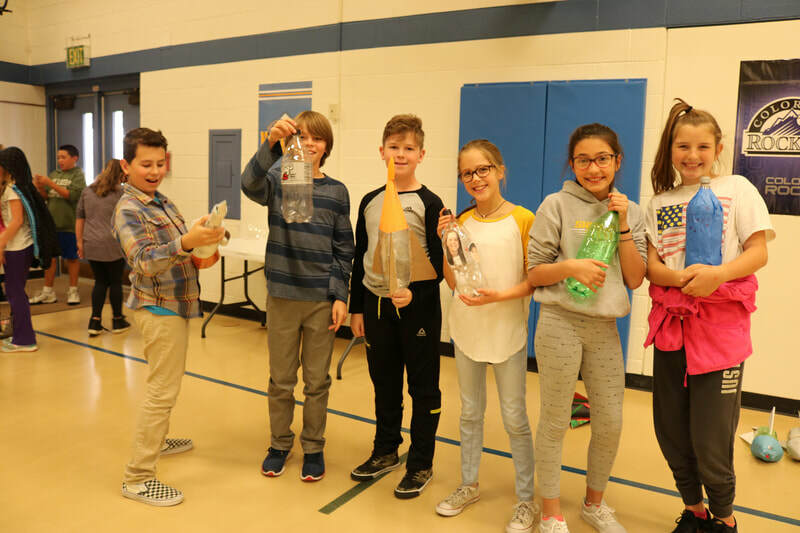 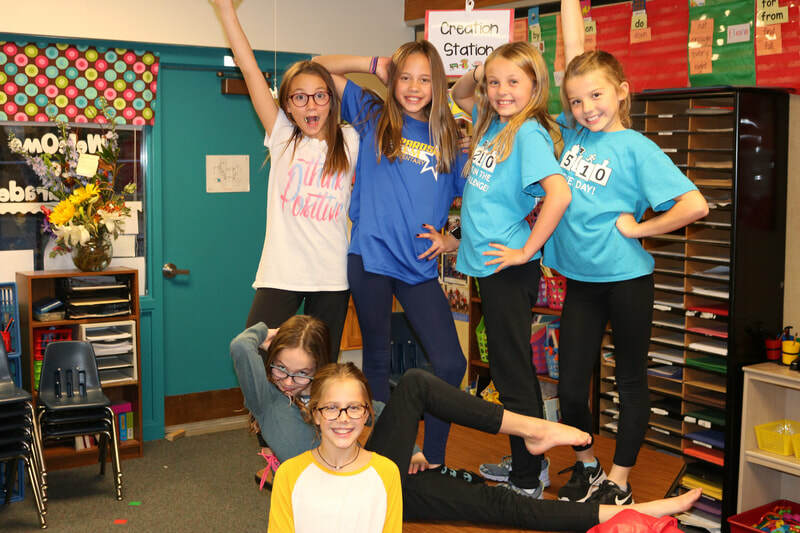 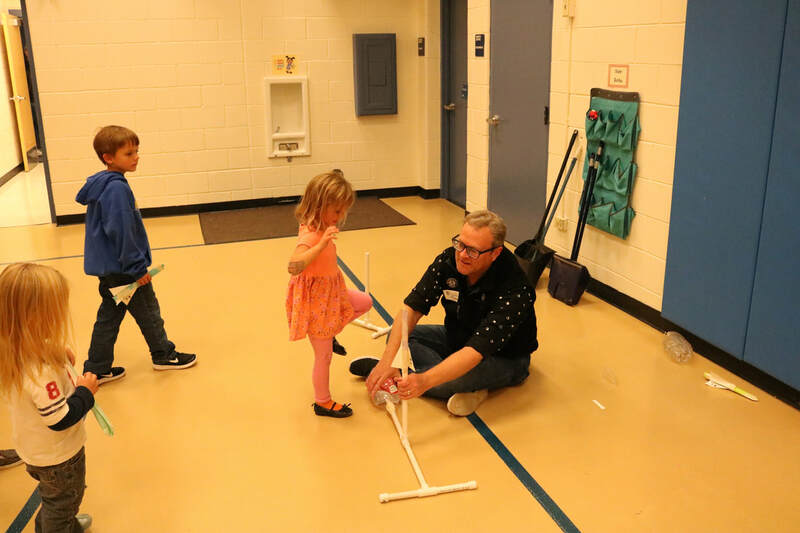 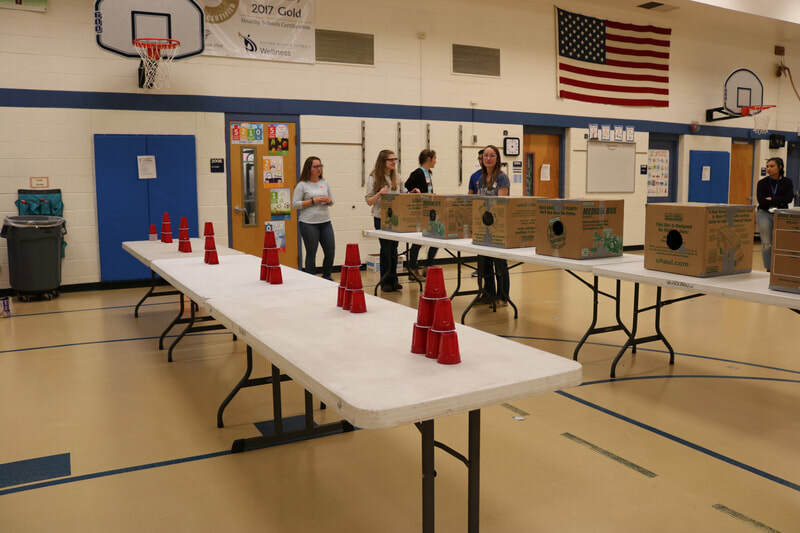 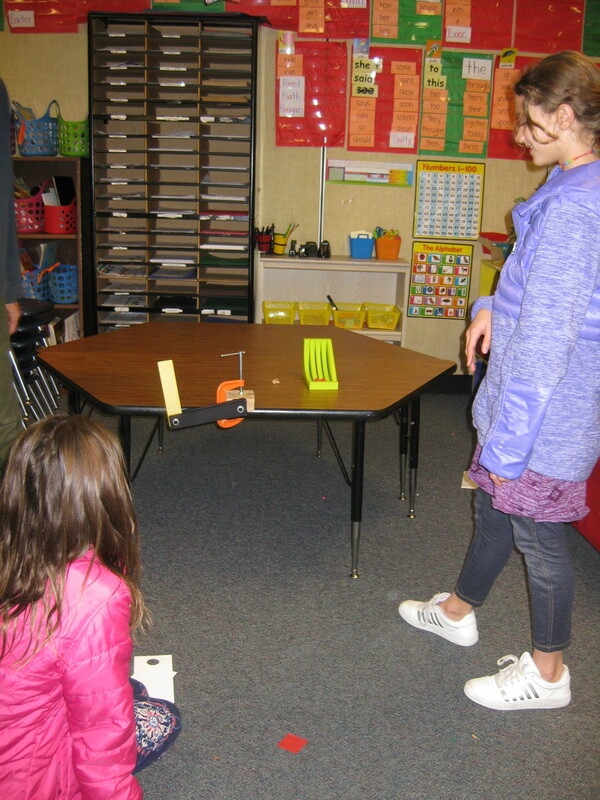 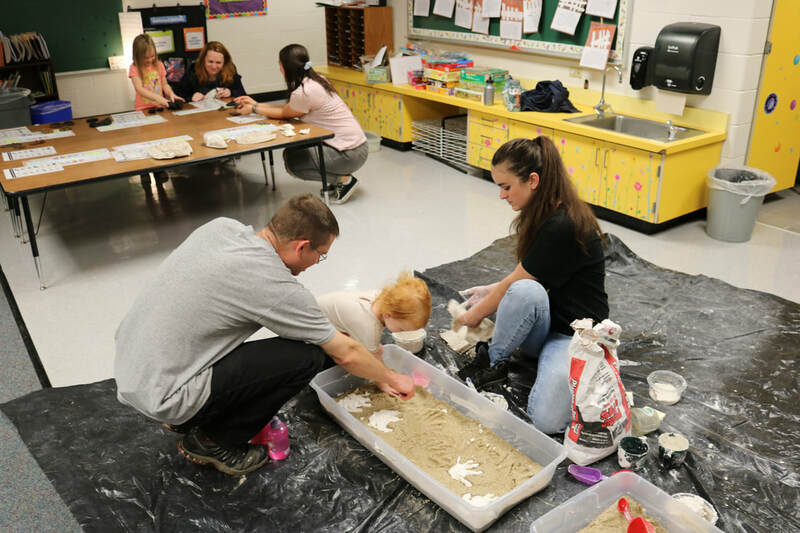 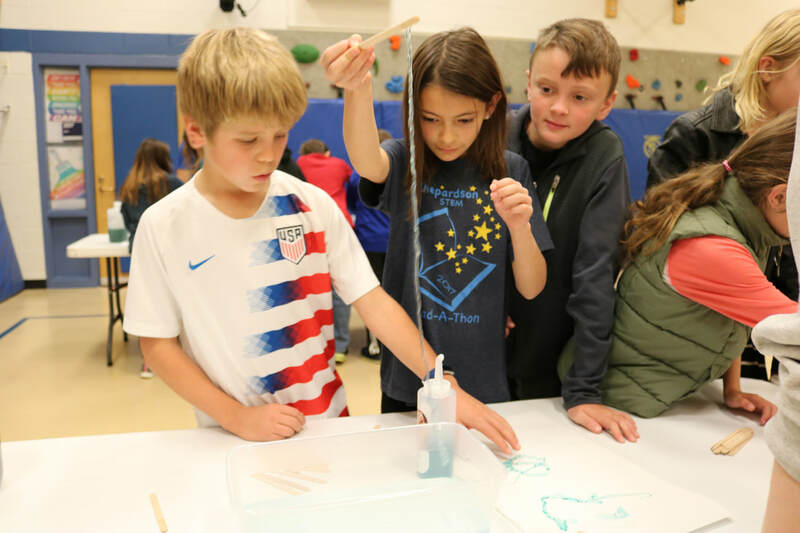 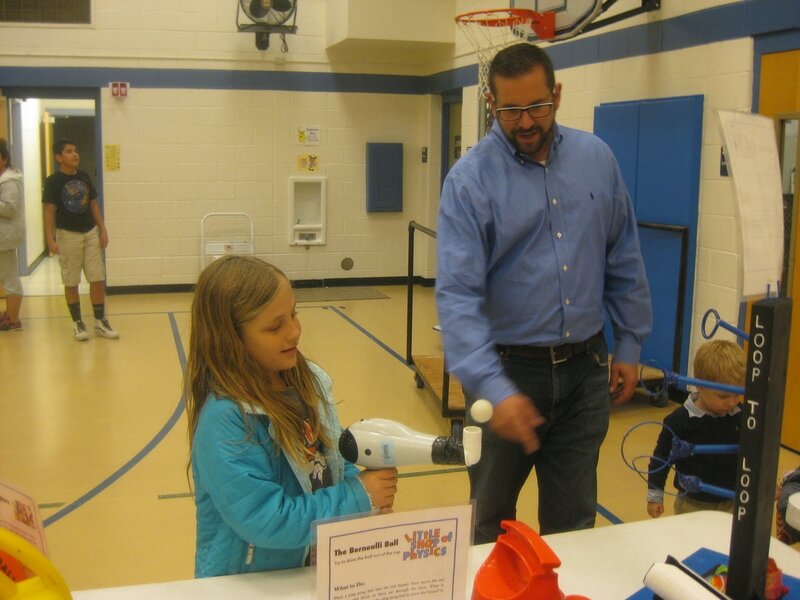 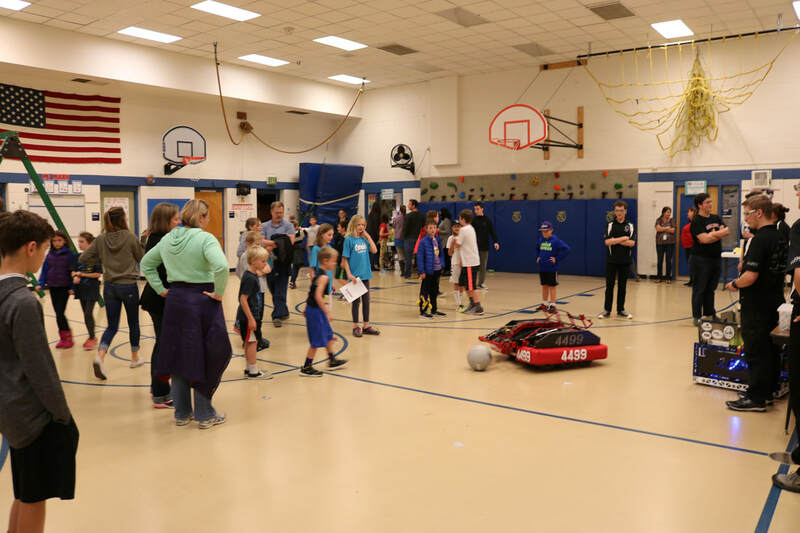 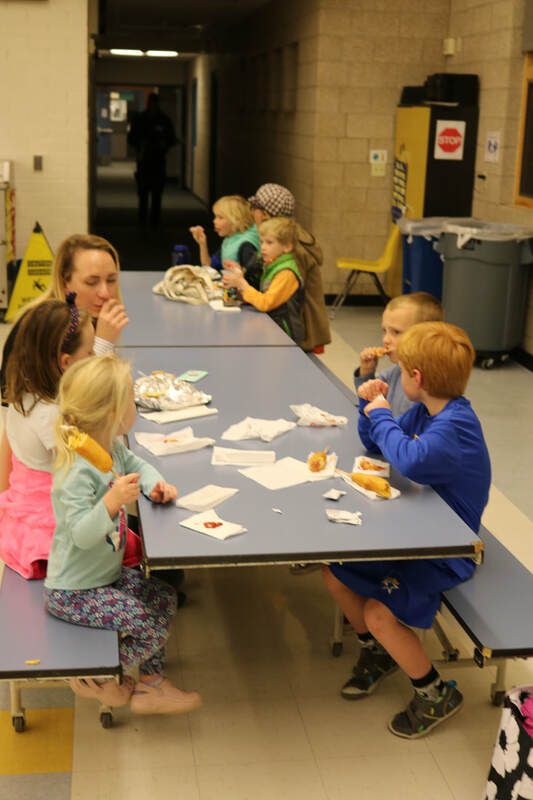 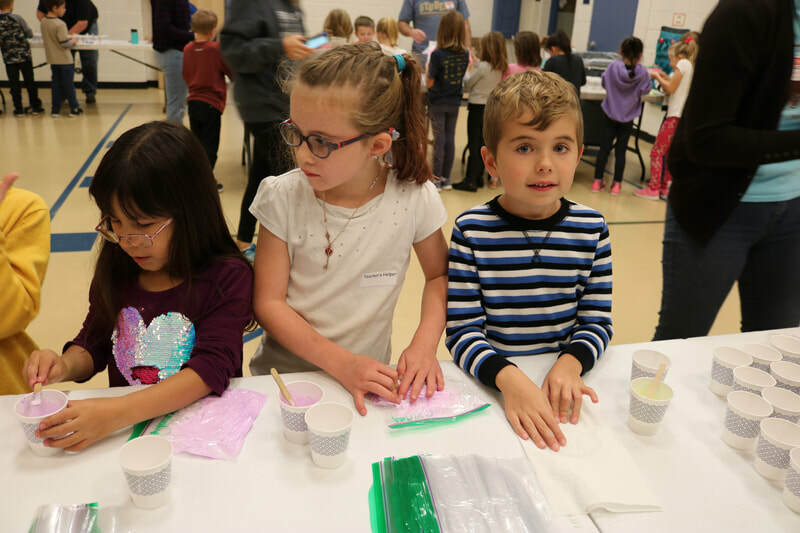 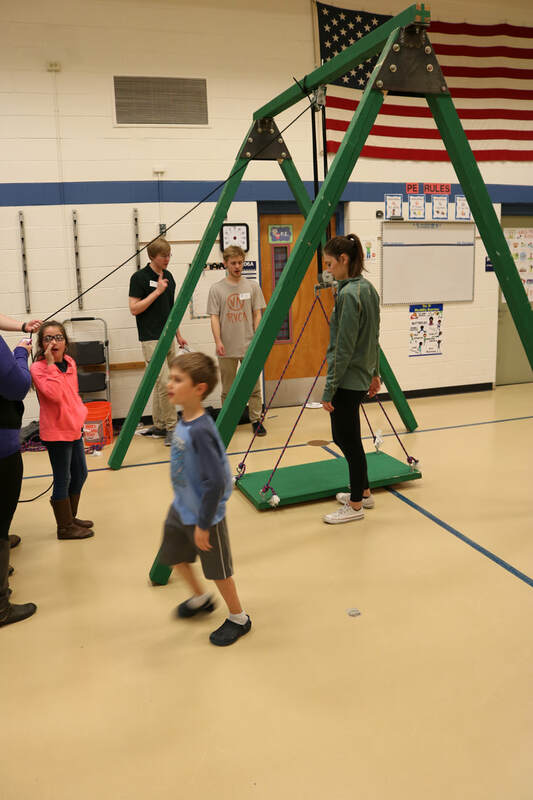 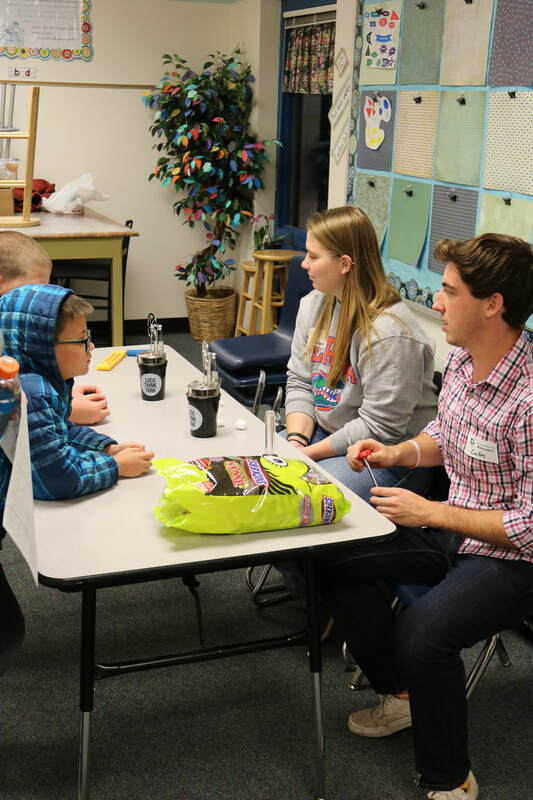 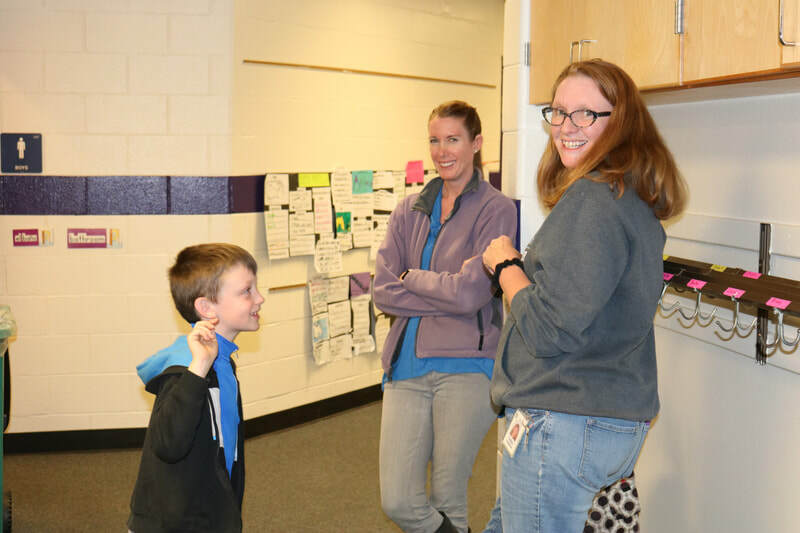 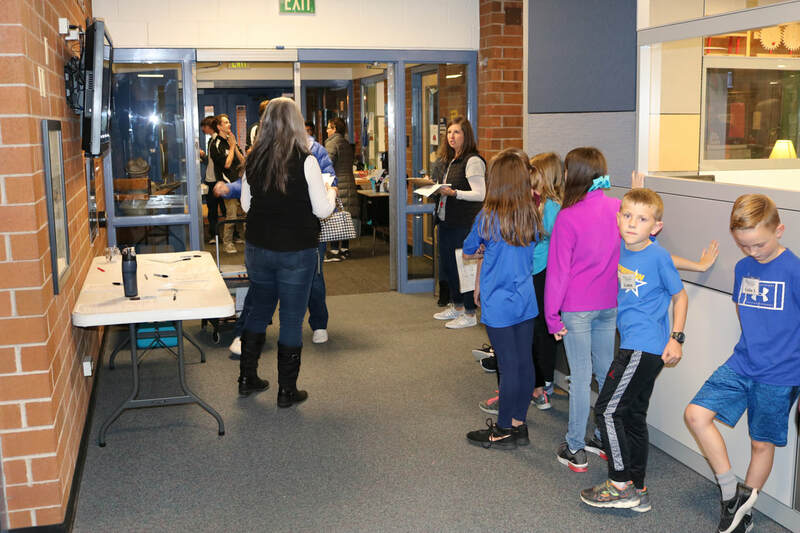 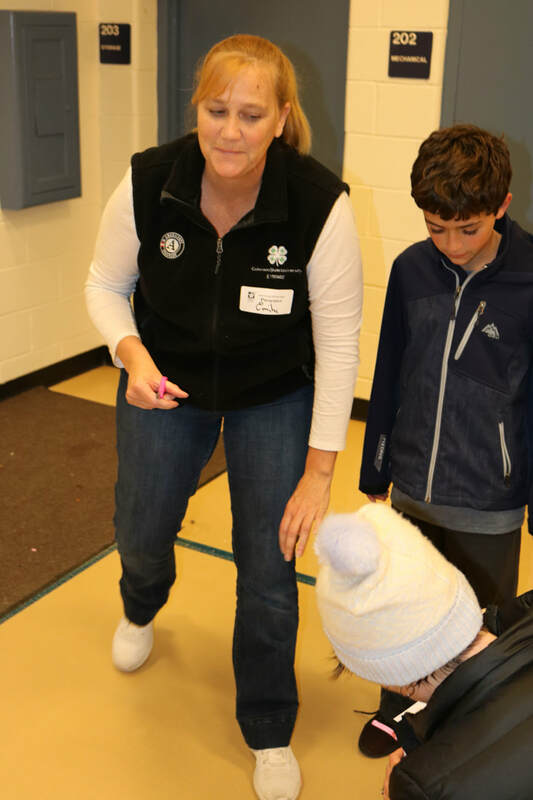 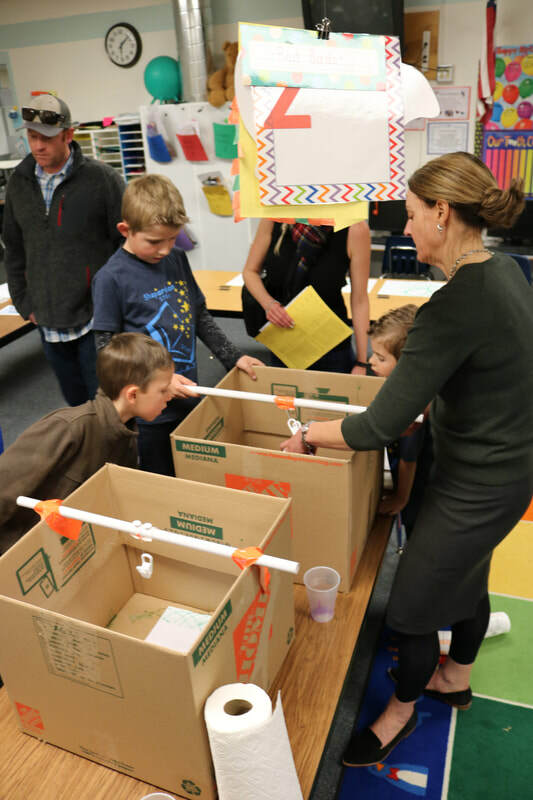 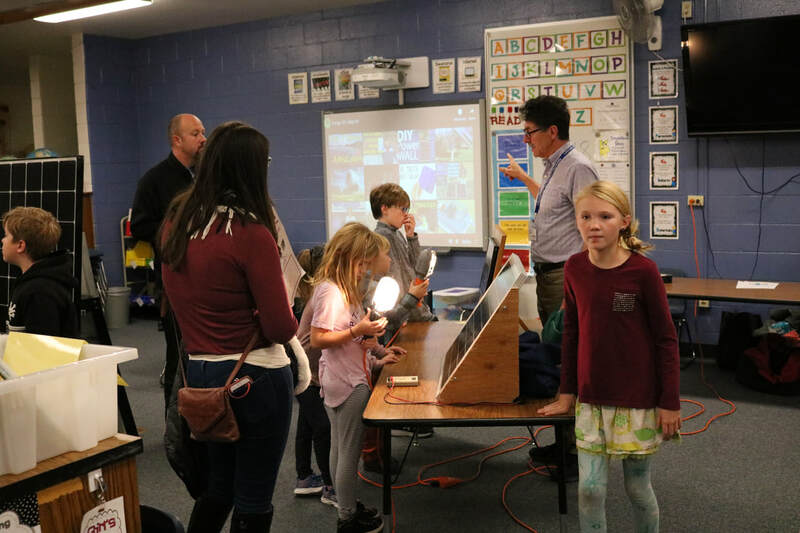 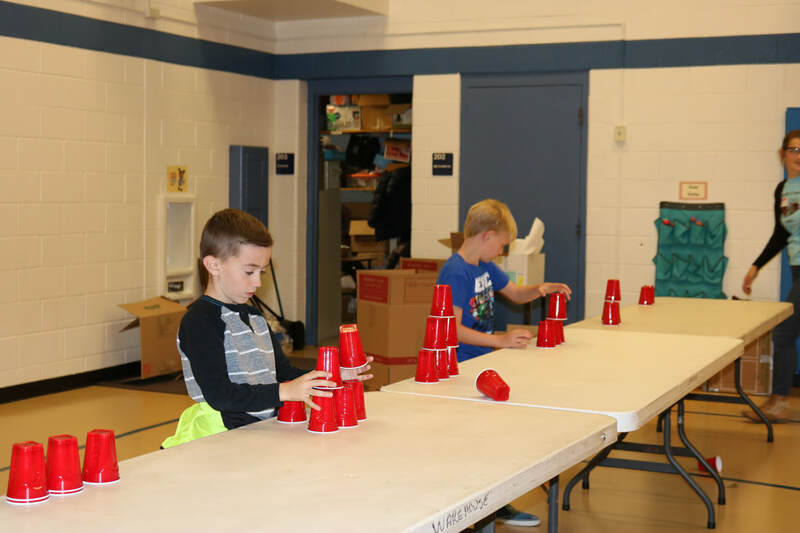 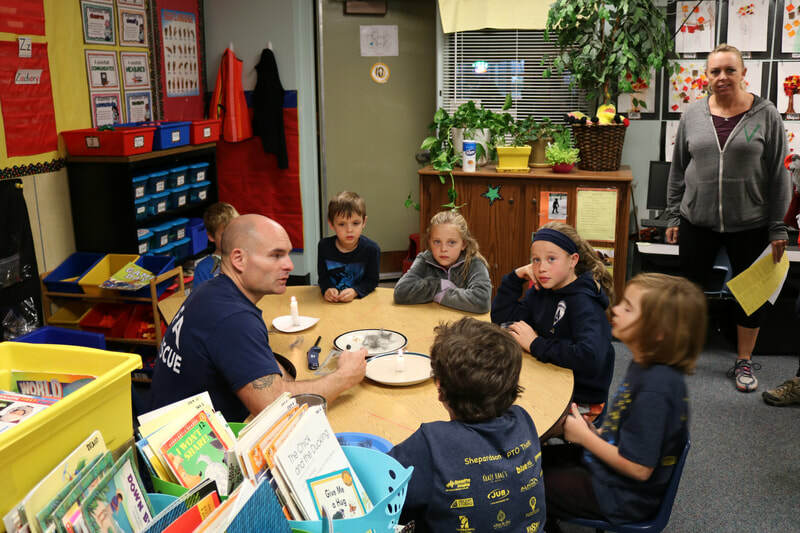 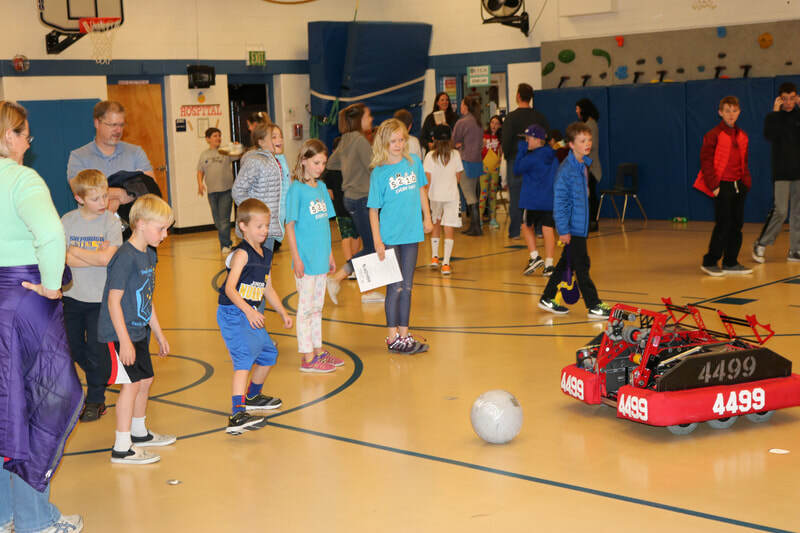 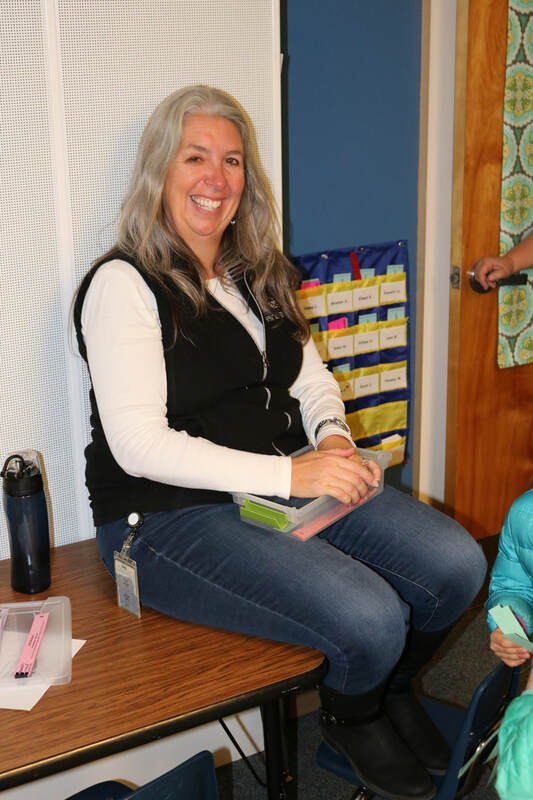 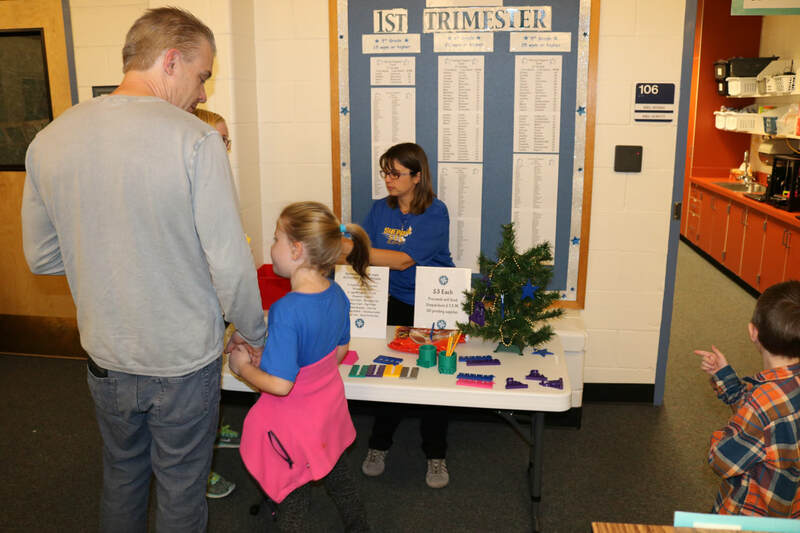 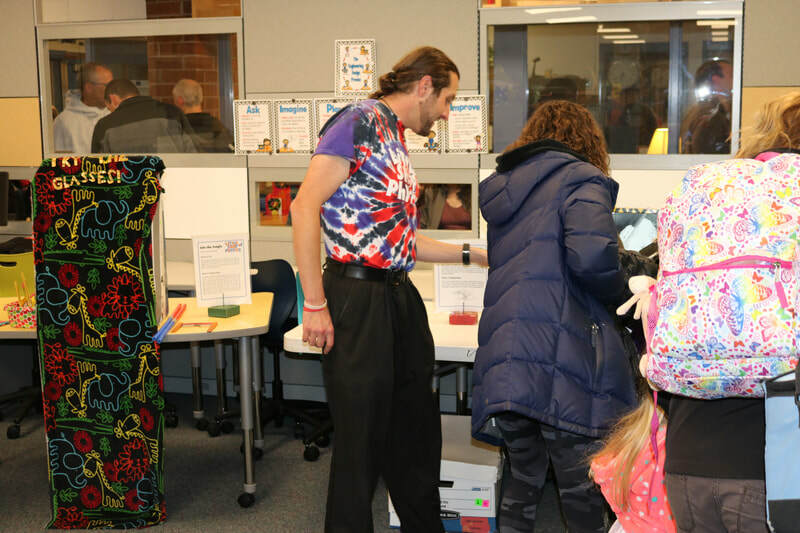 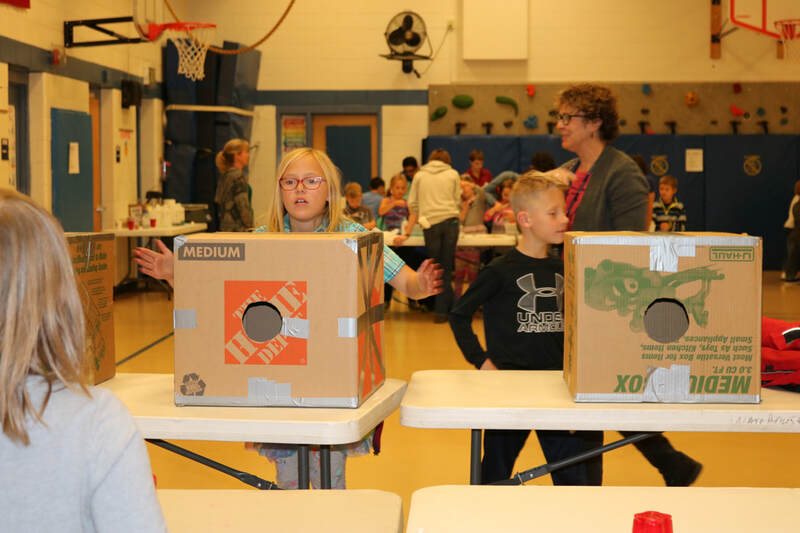 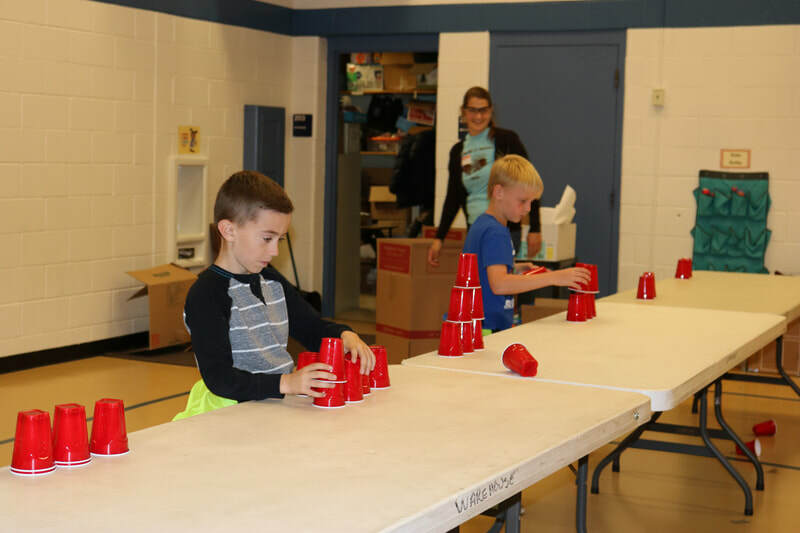 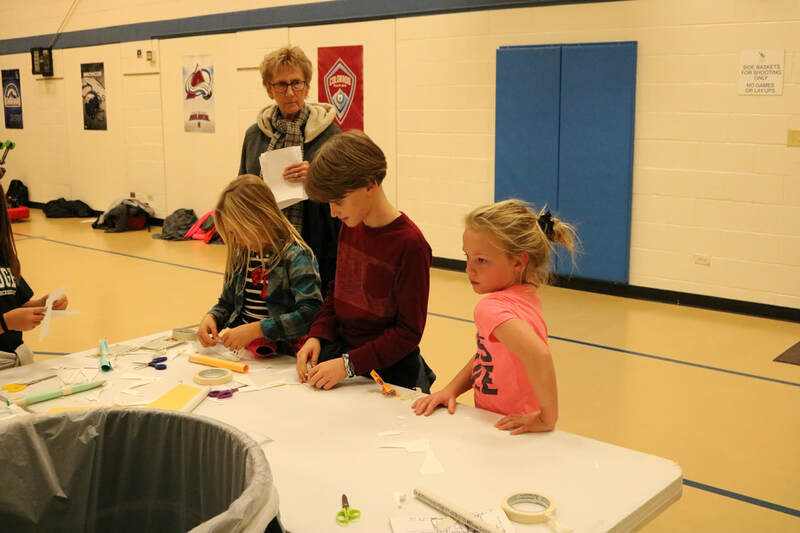 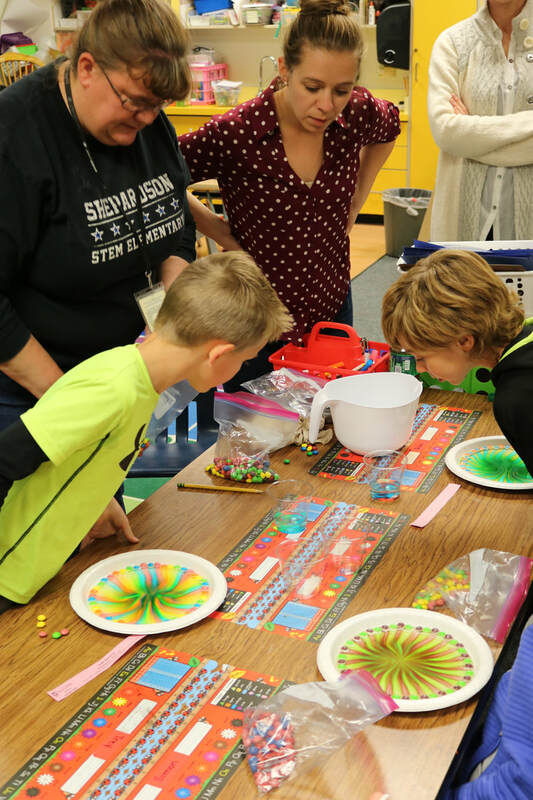 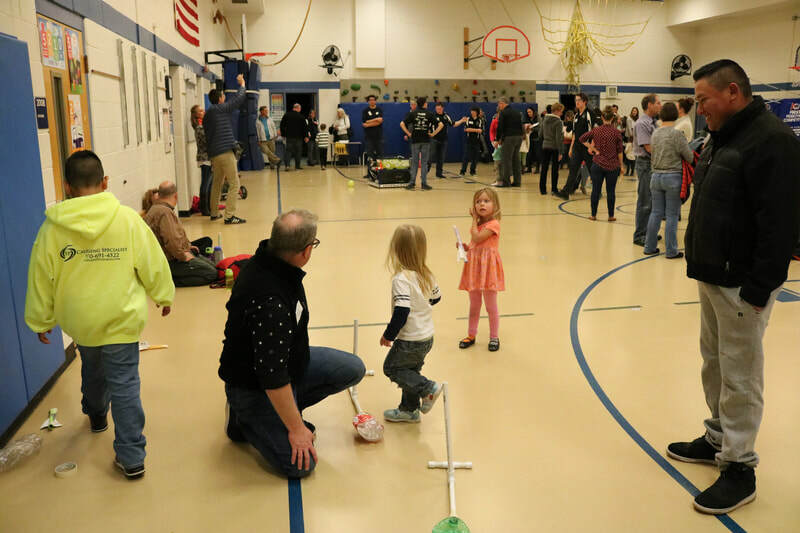 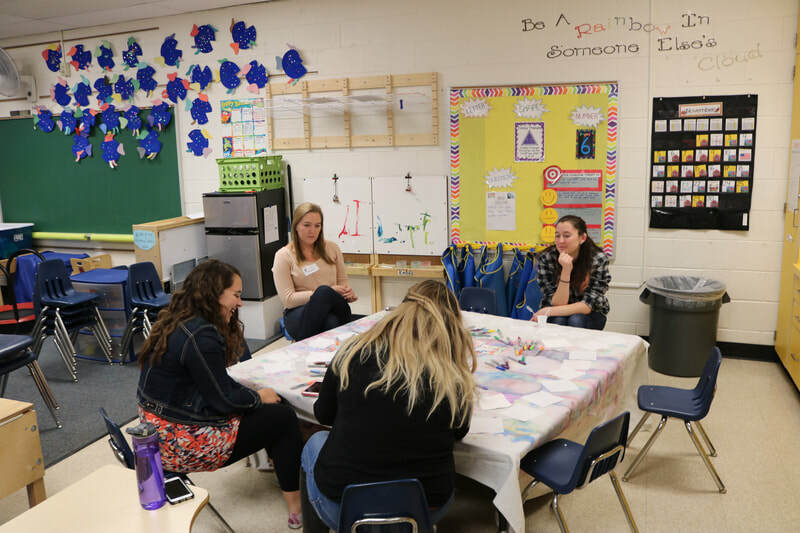 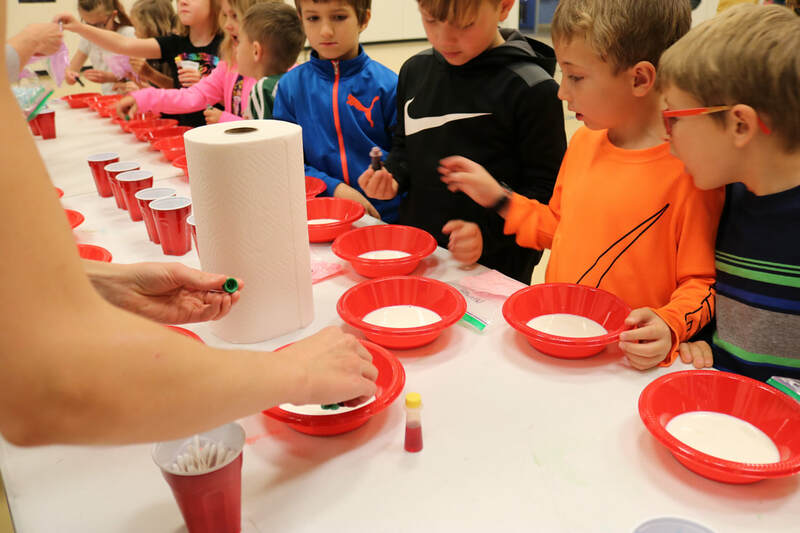 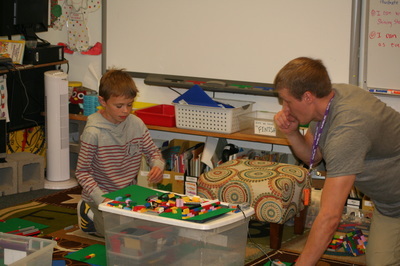 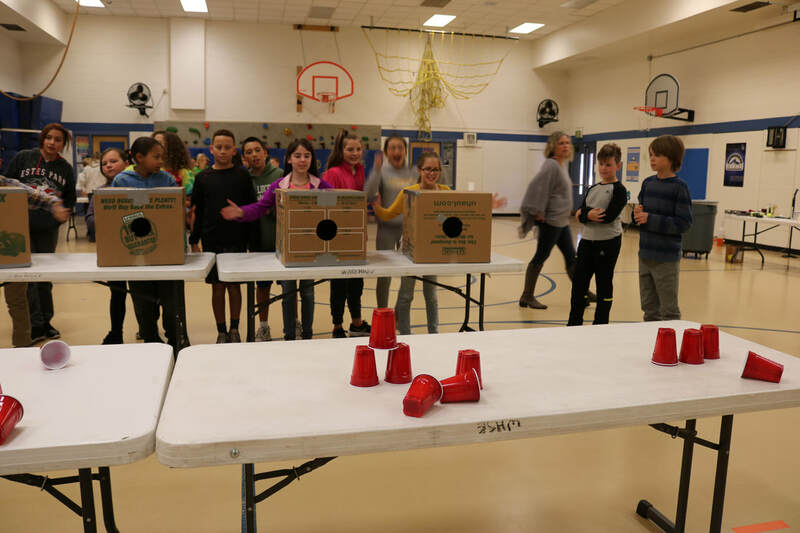 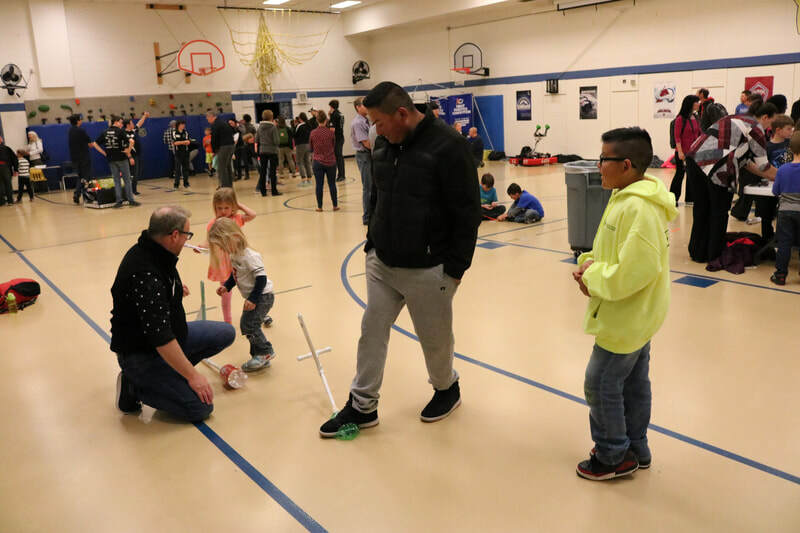 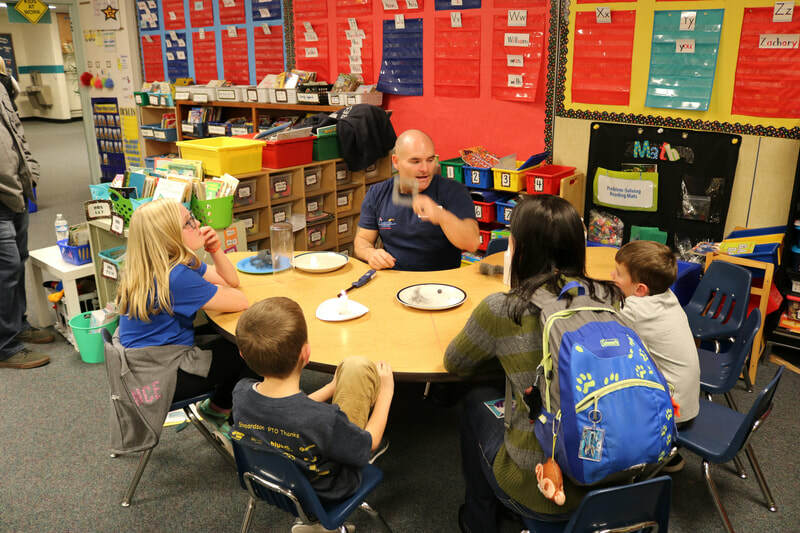 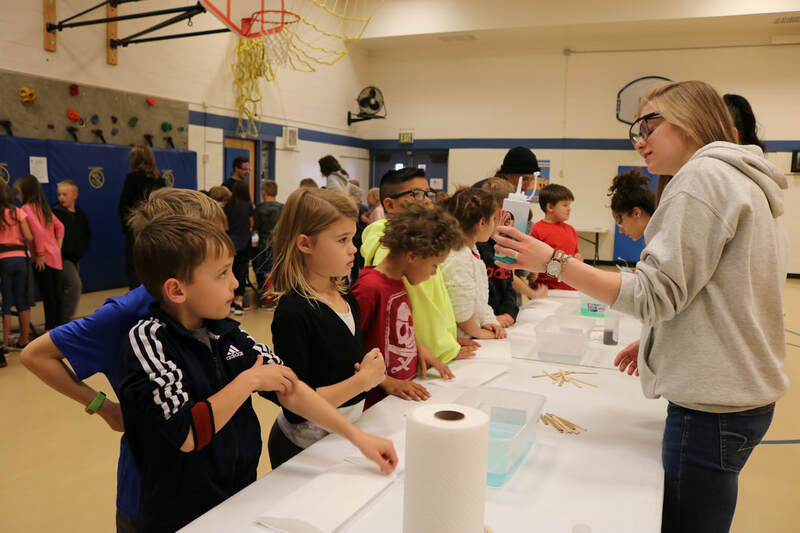 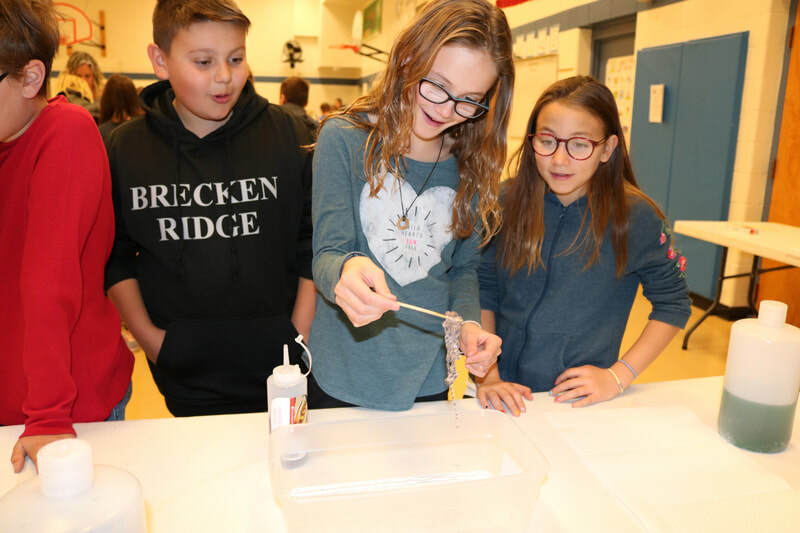 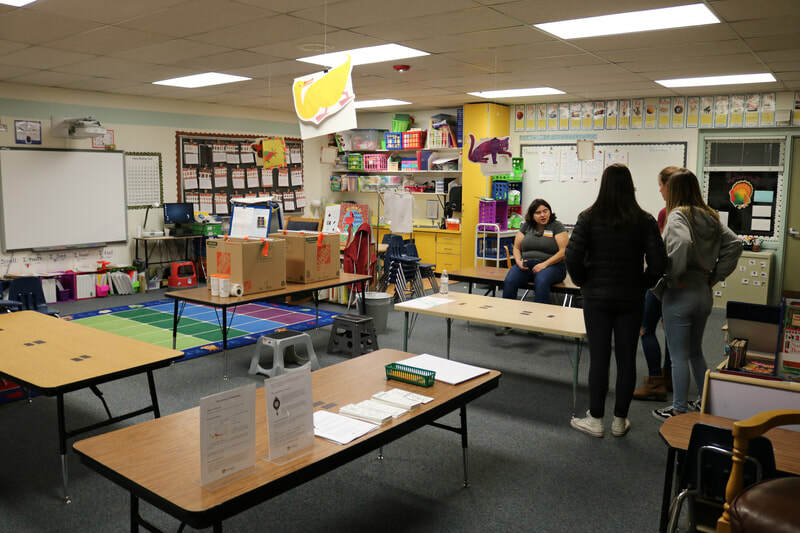 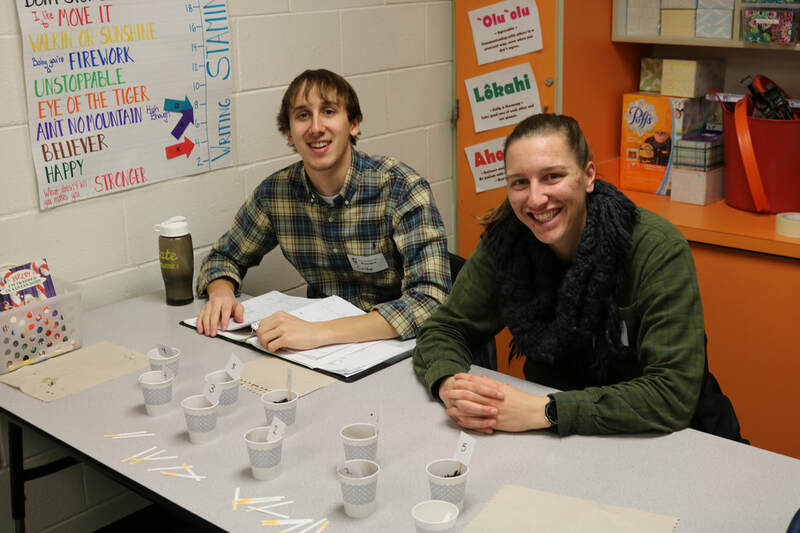 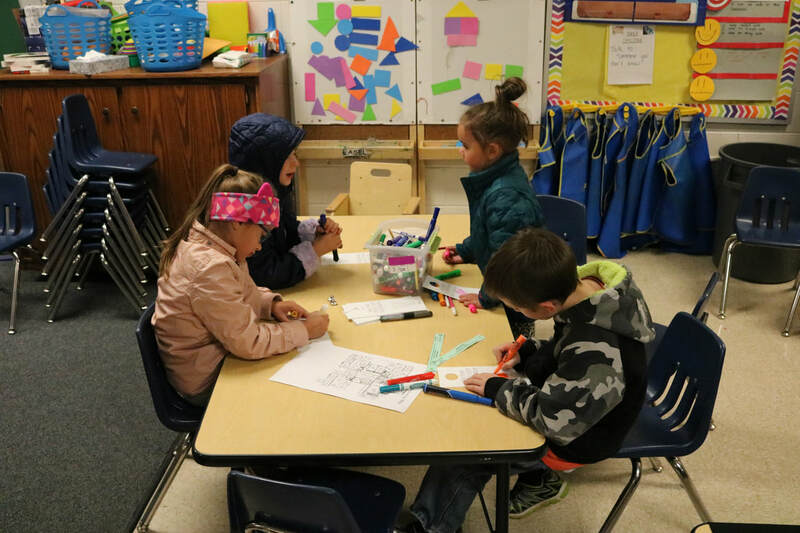 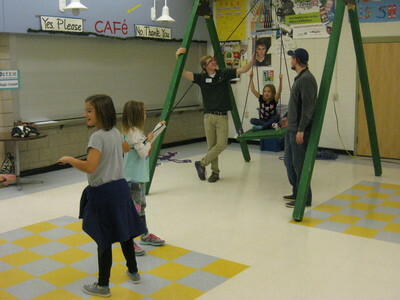 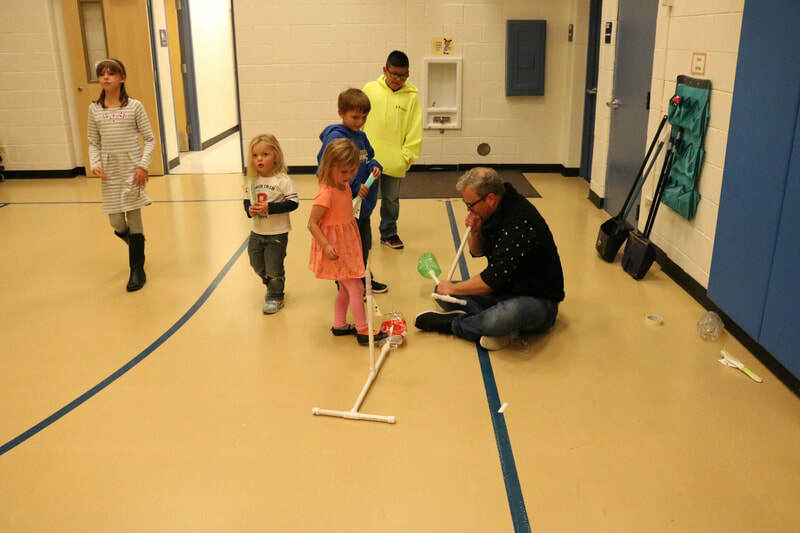 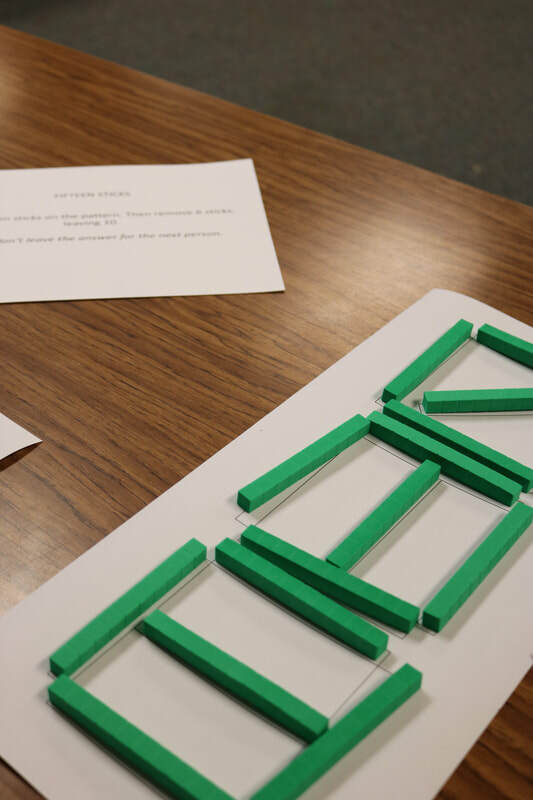 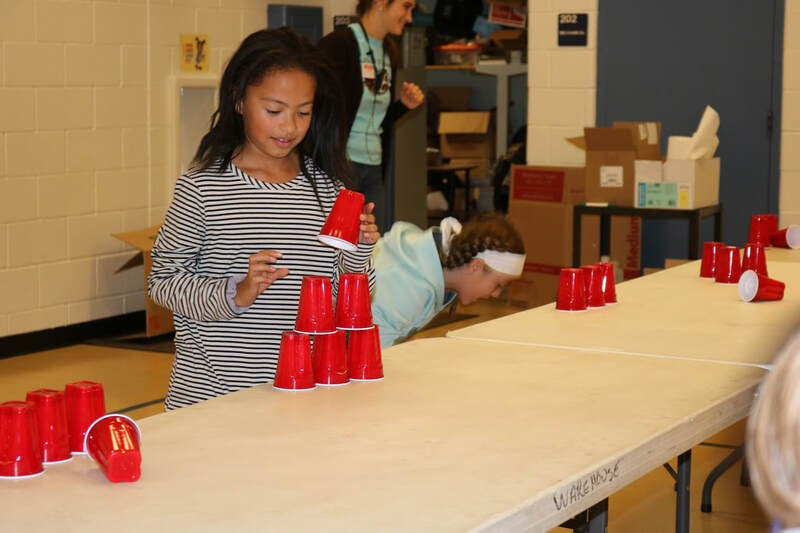 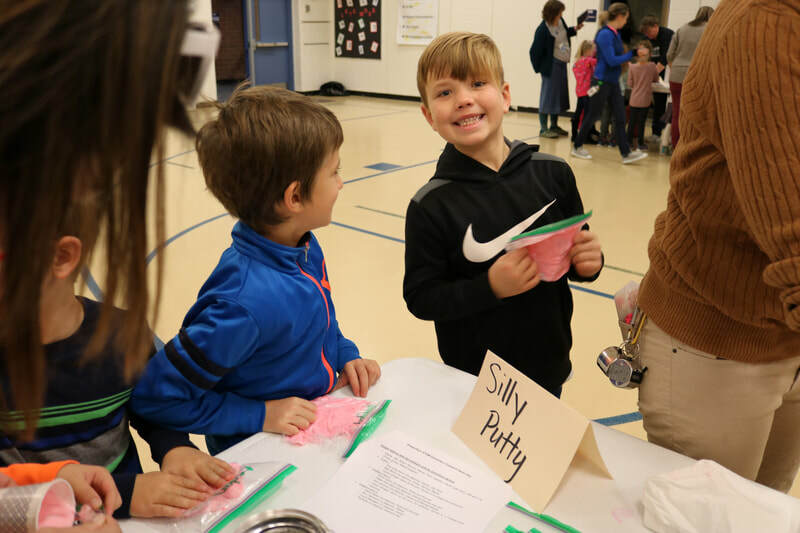 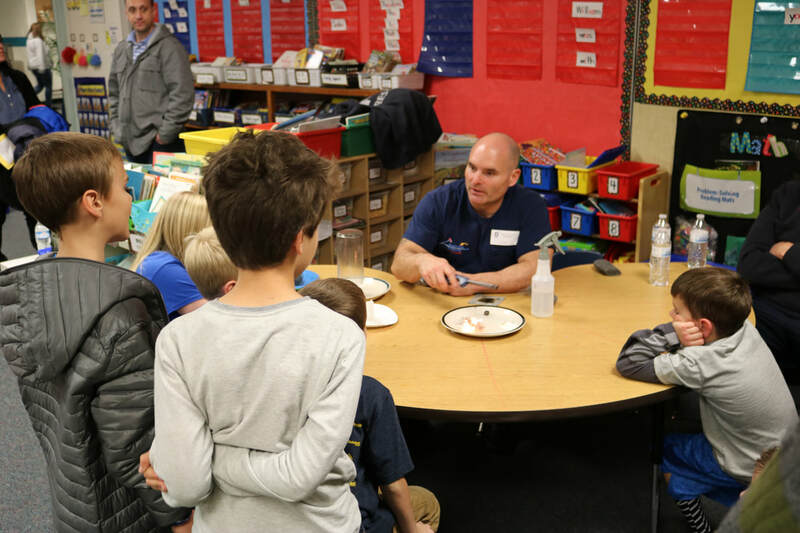 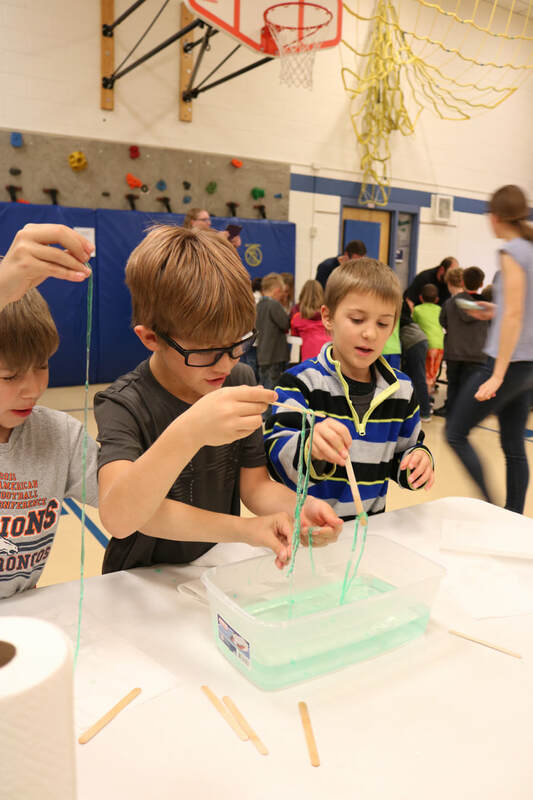 The 10th Annual Shepardson Family STEM Night was held on Thursday, November 8, 2019. 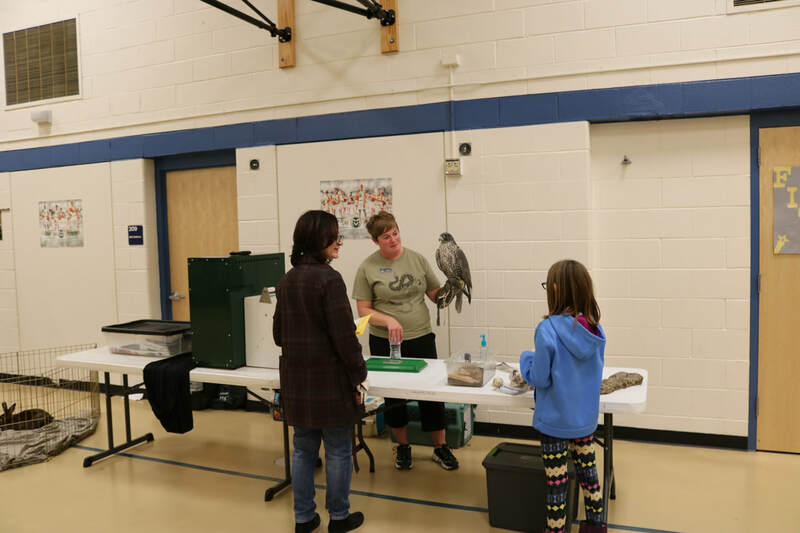 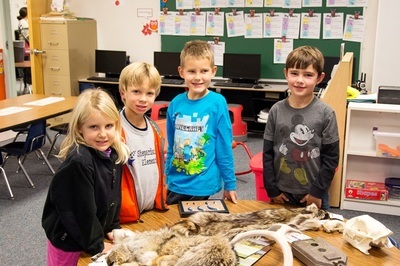 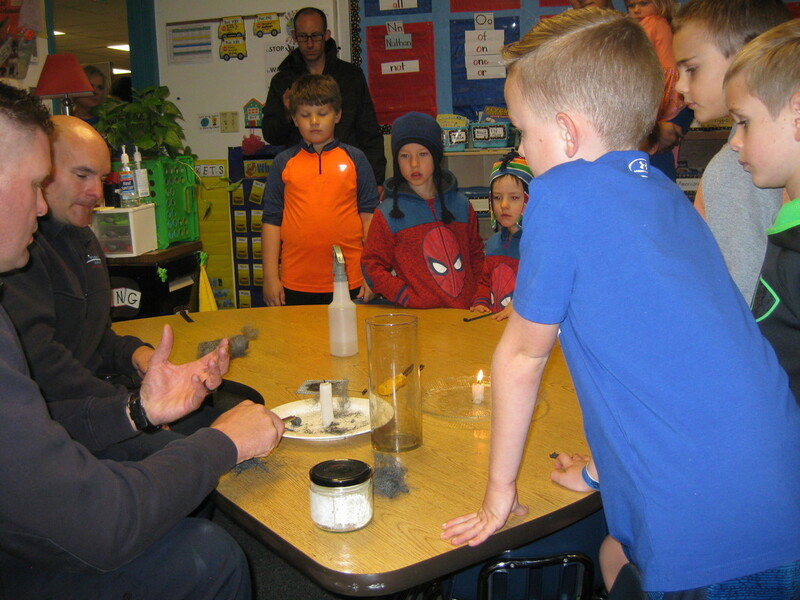 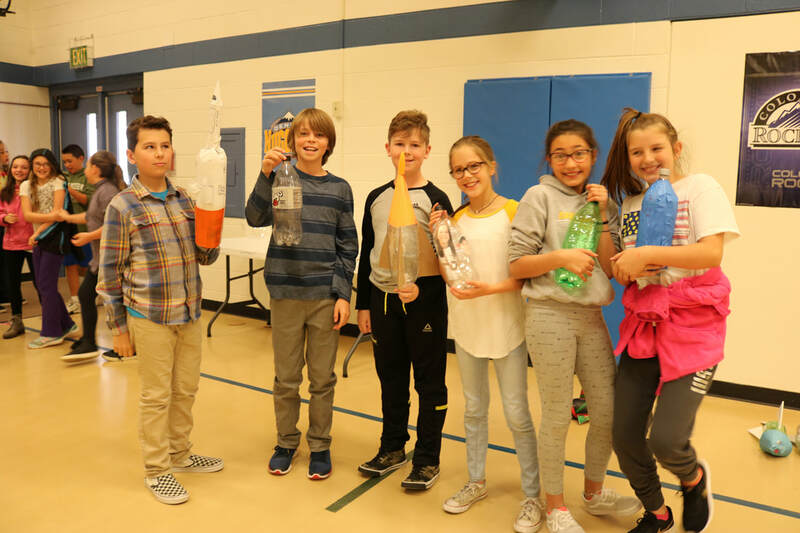 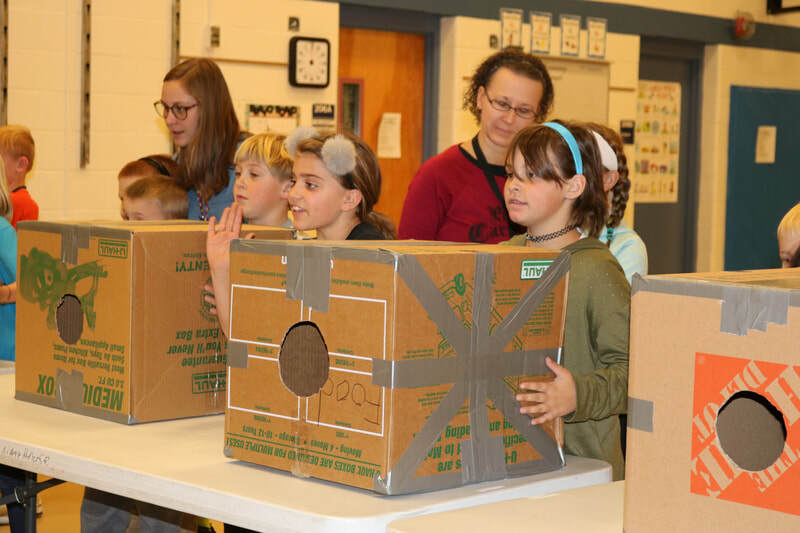 Shepardson STEM Elementary was filled with fascinating and interactive presentations that provided an evening of STEM learning and fun for our school and community. 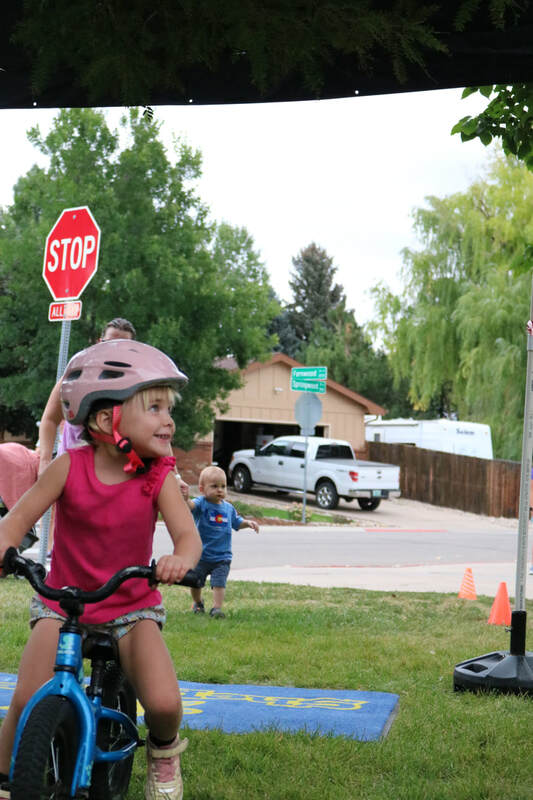 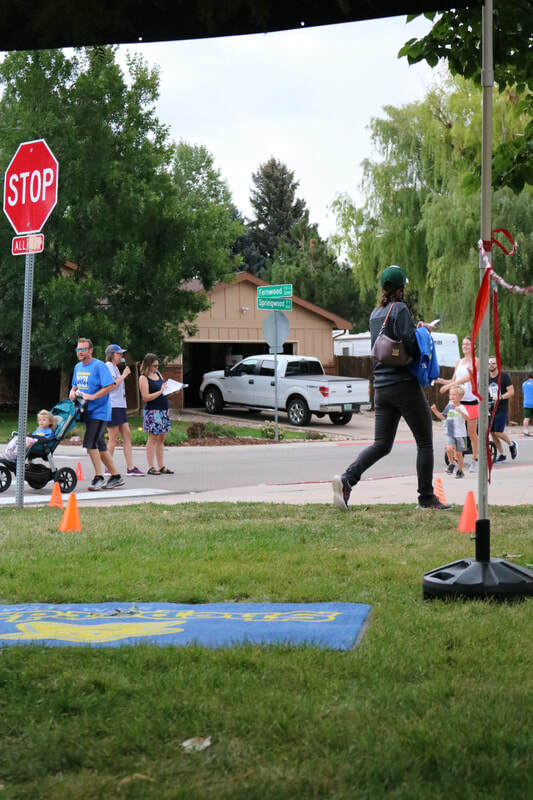 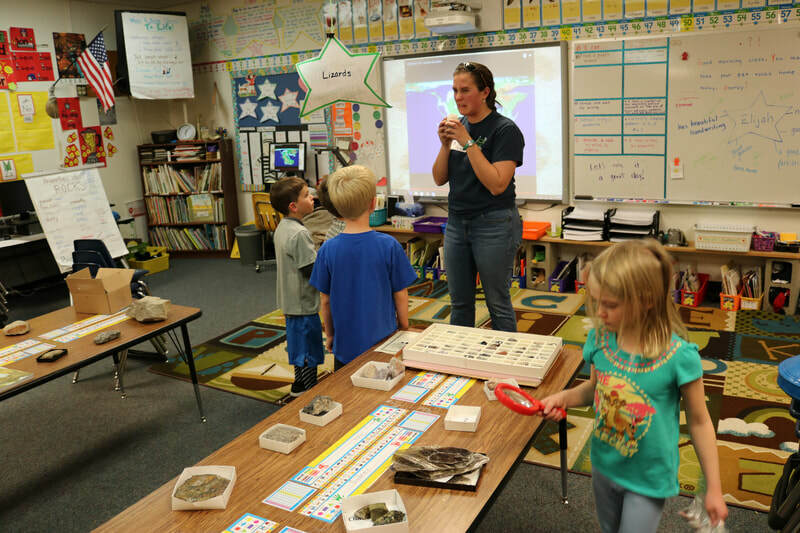 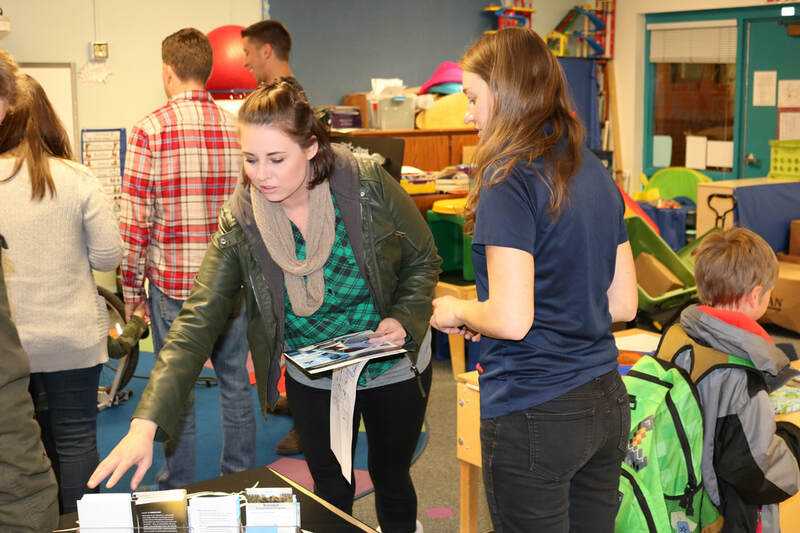 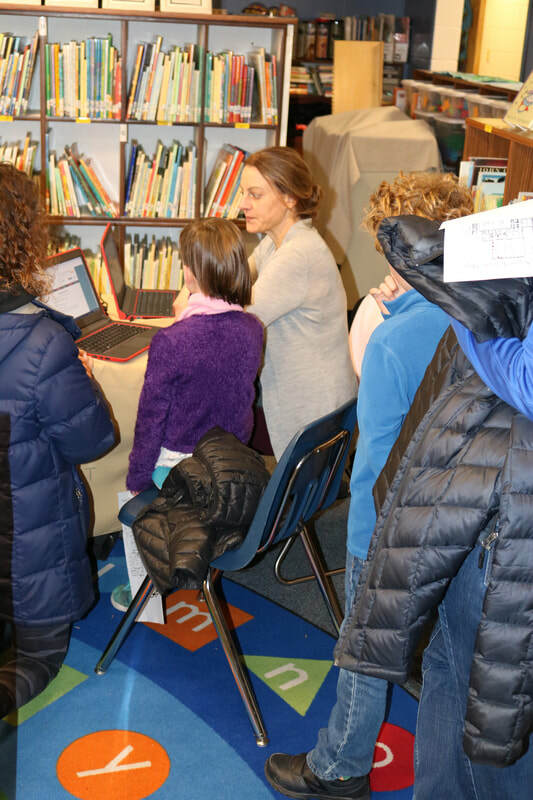 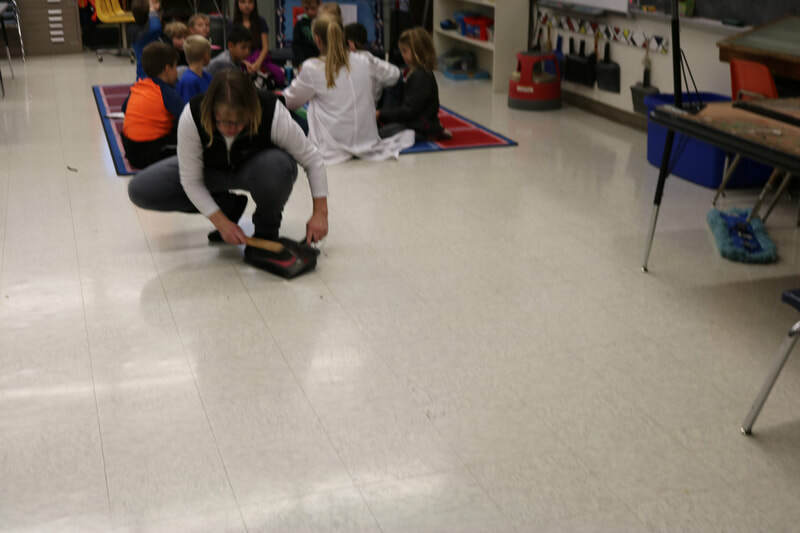 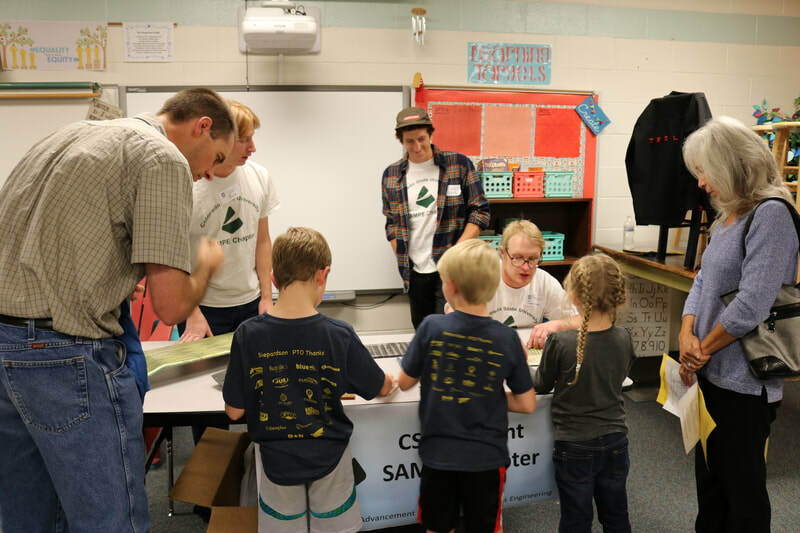 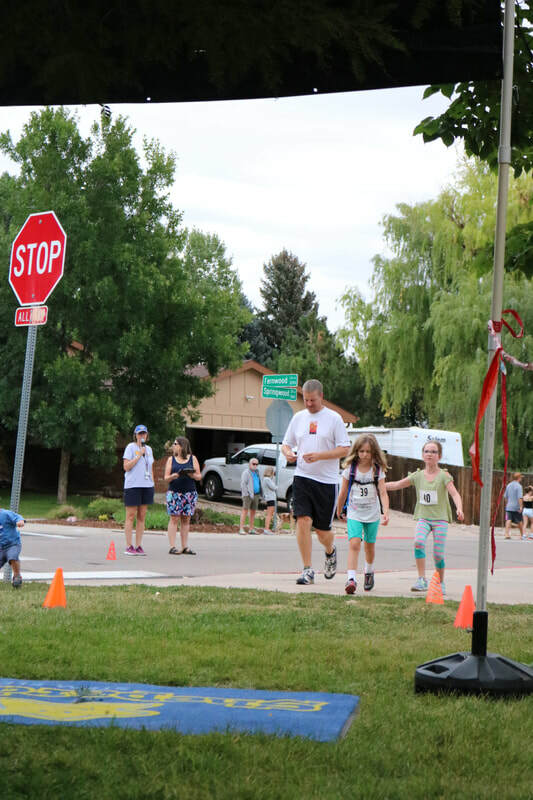 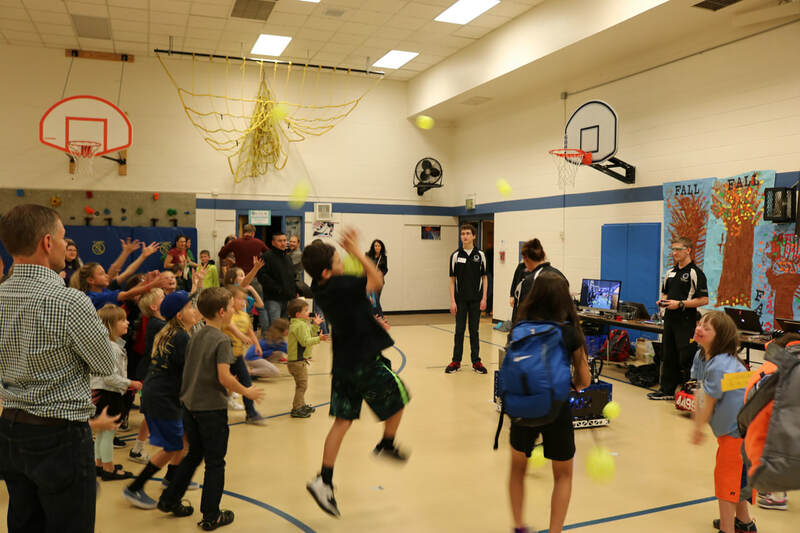 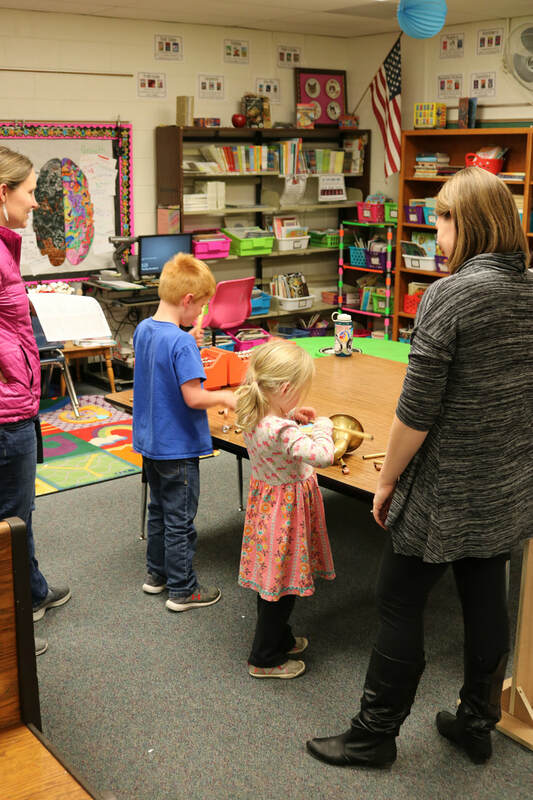 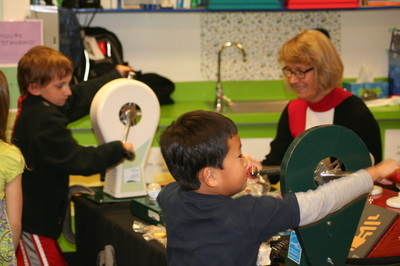 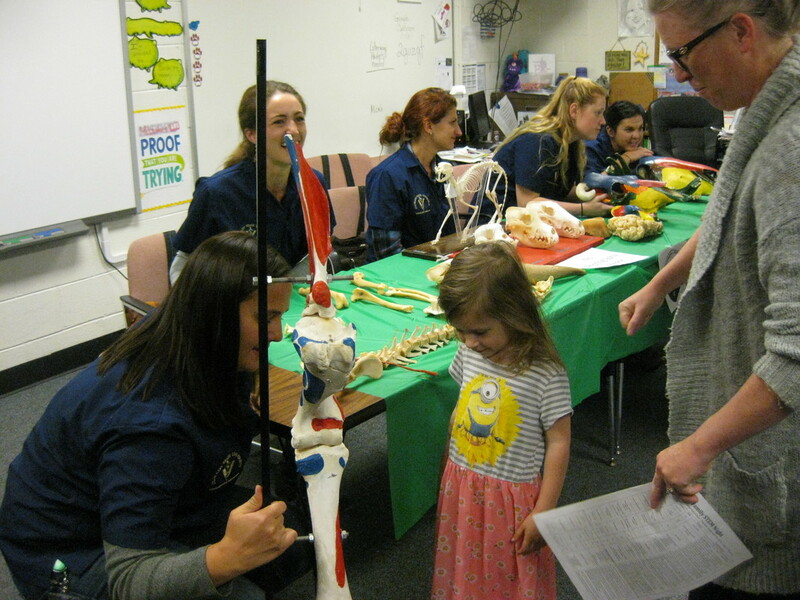 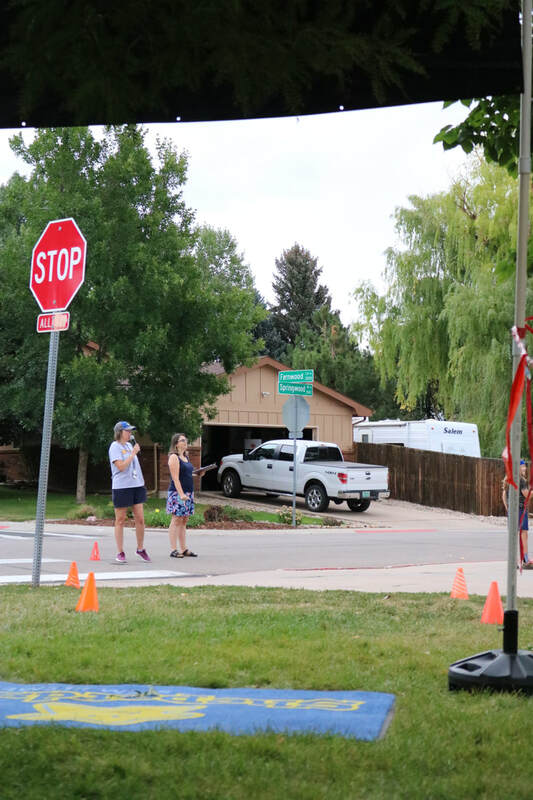 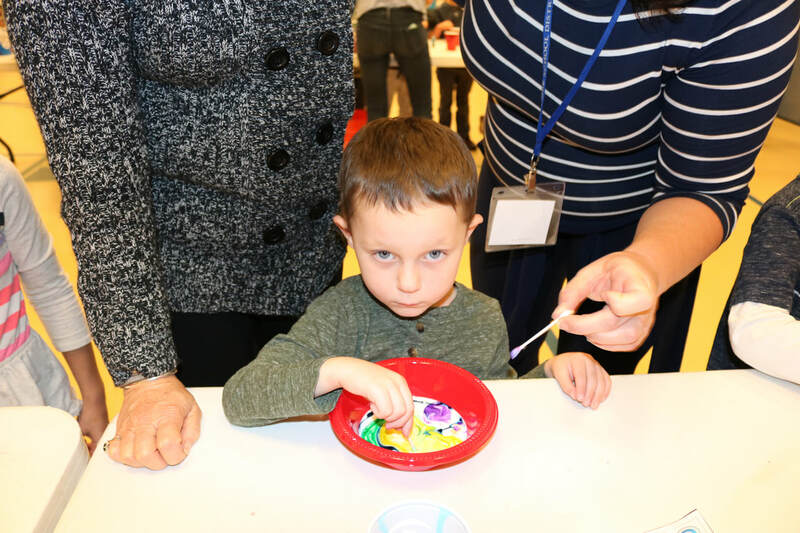 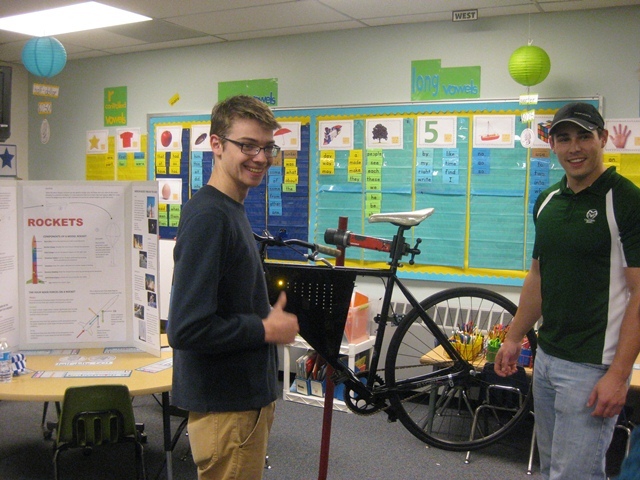 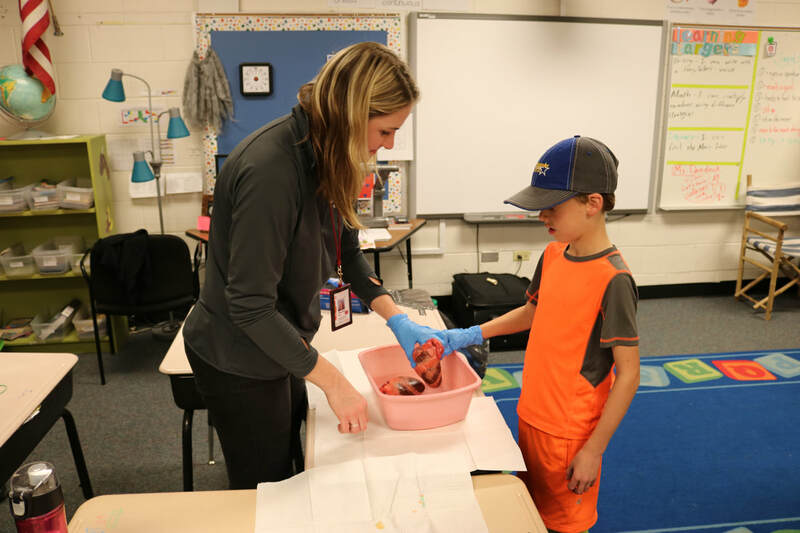 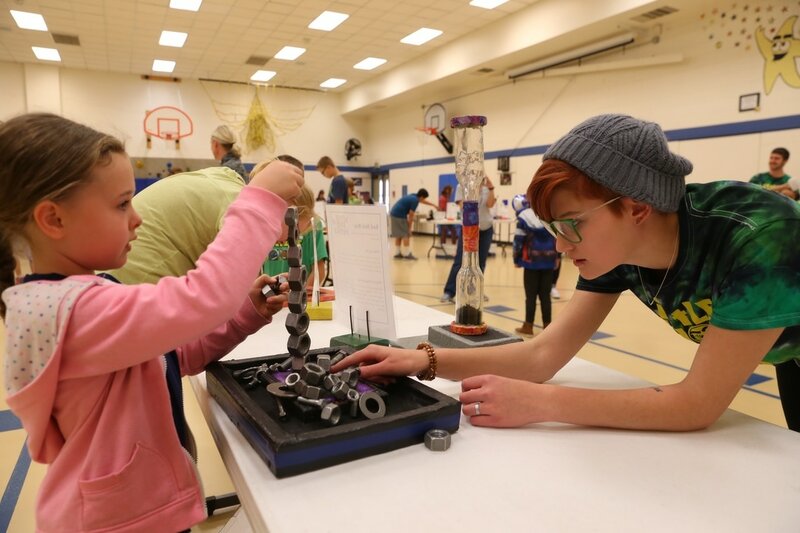 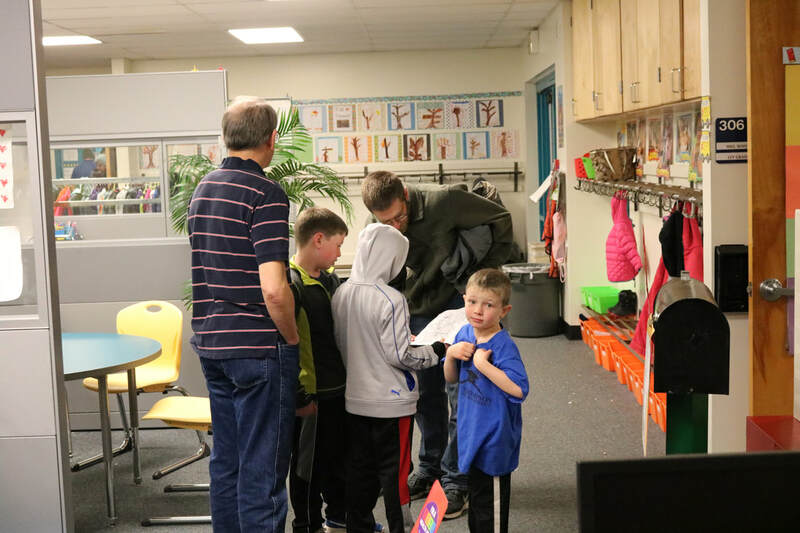 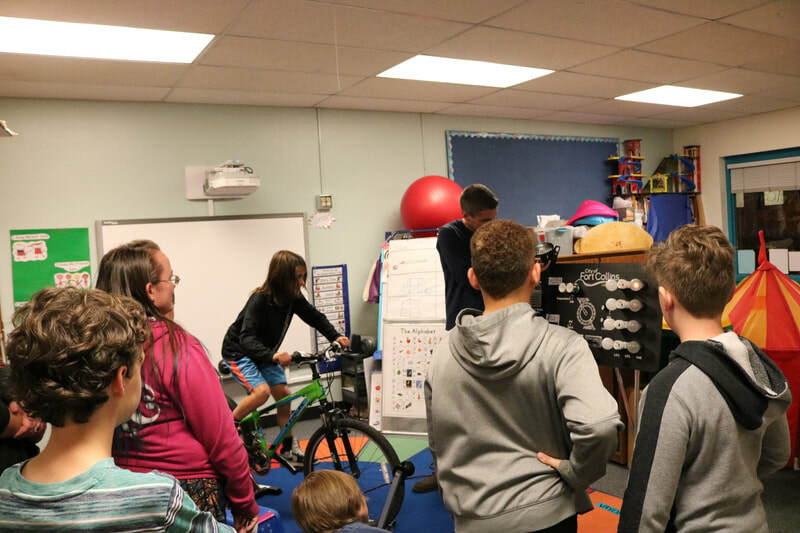 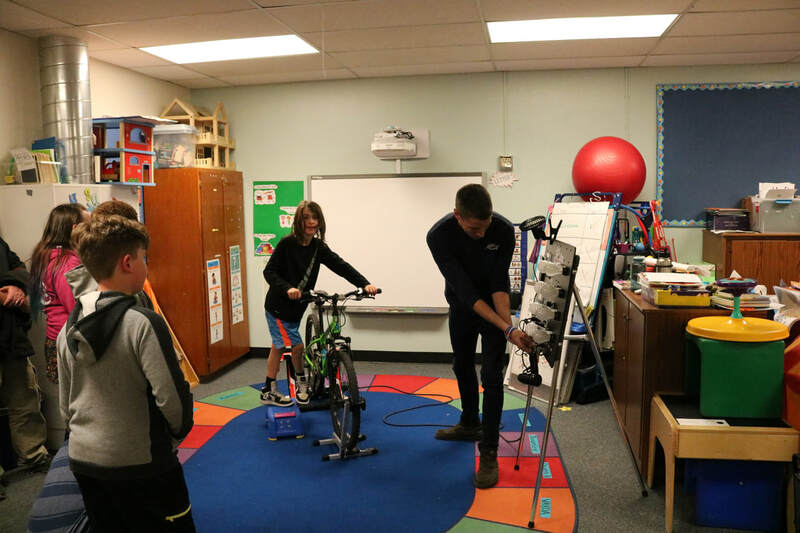 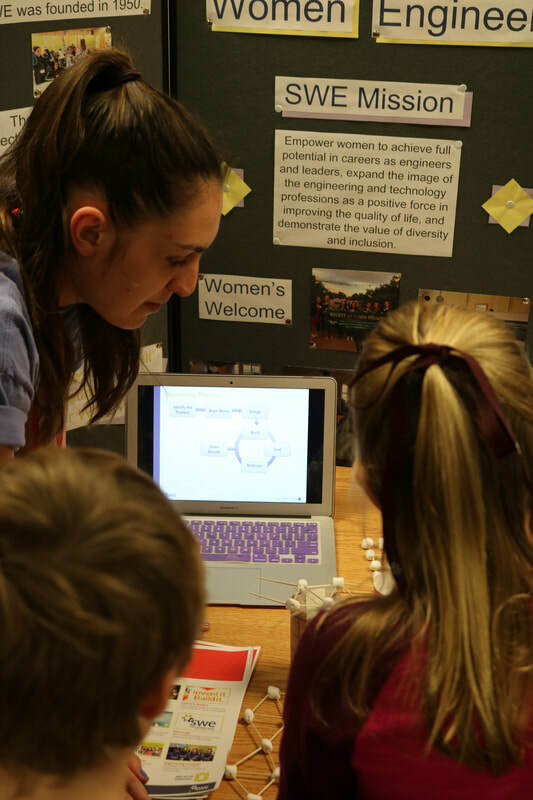 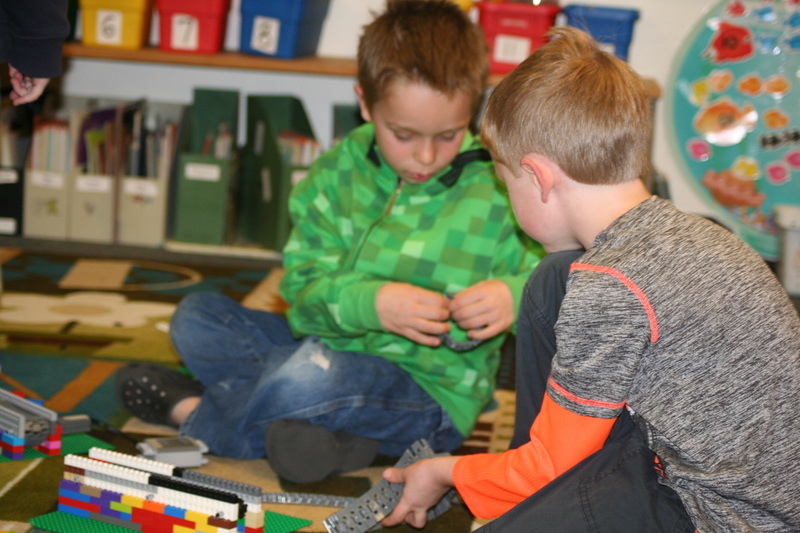 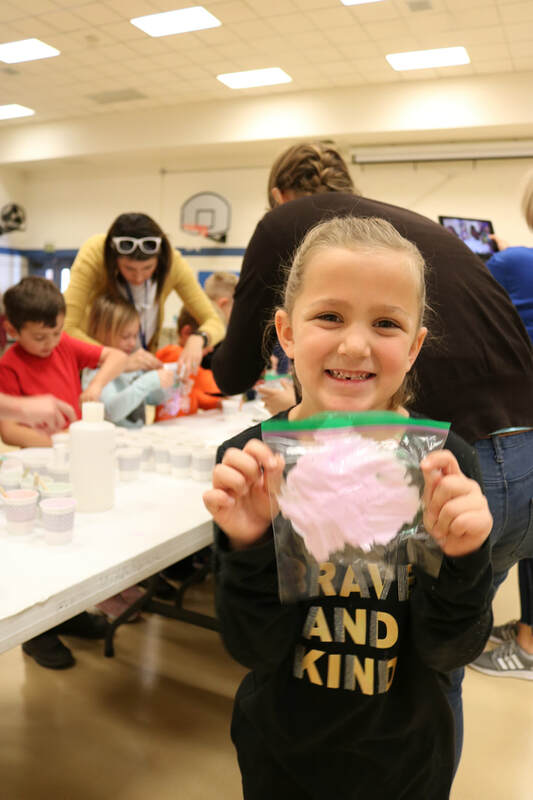 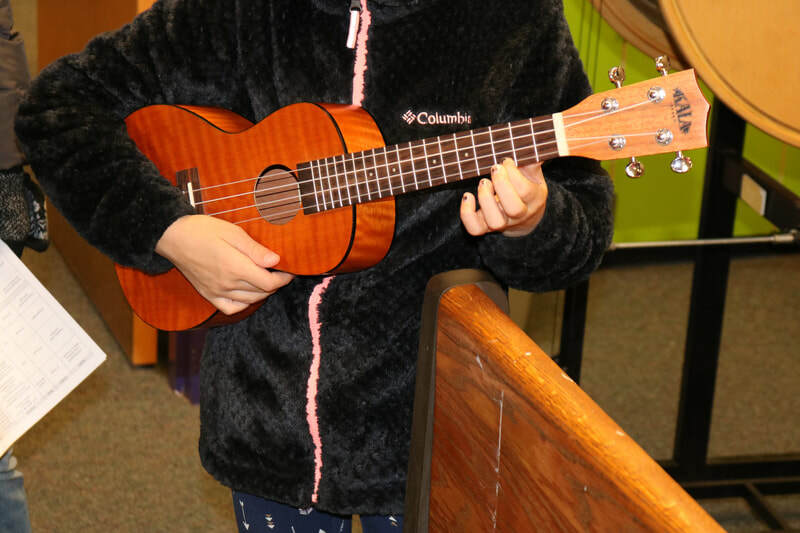 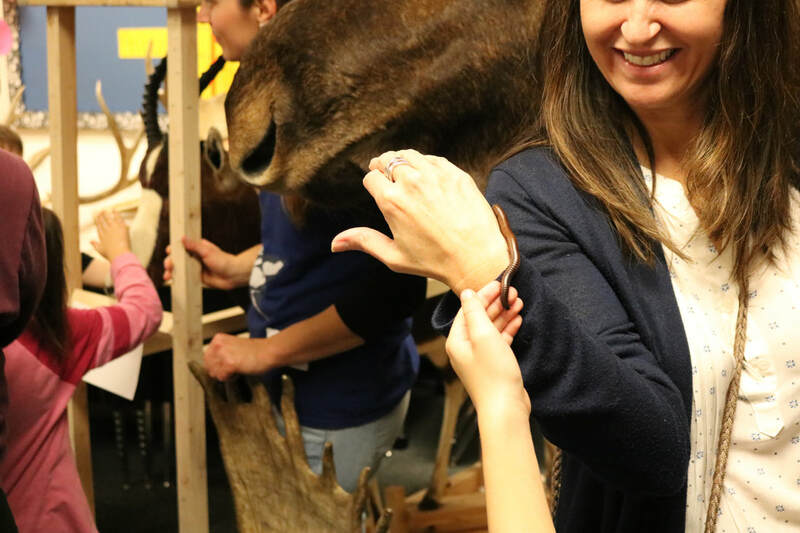 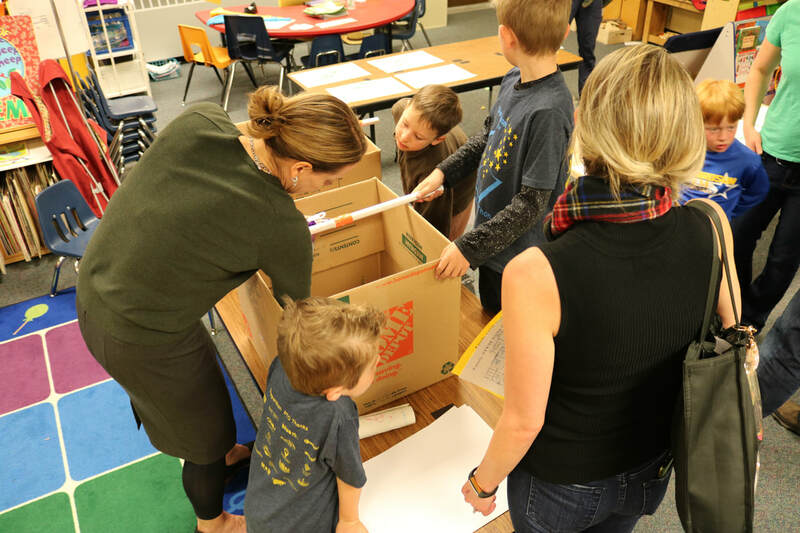 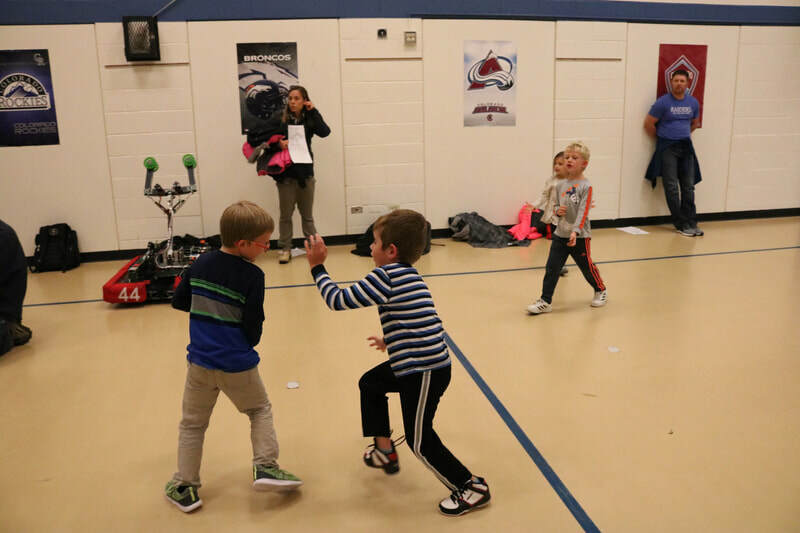 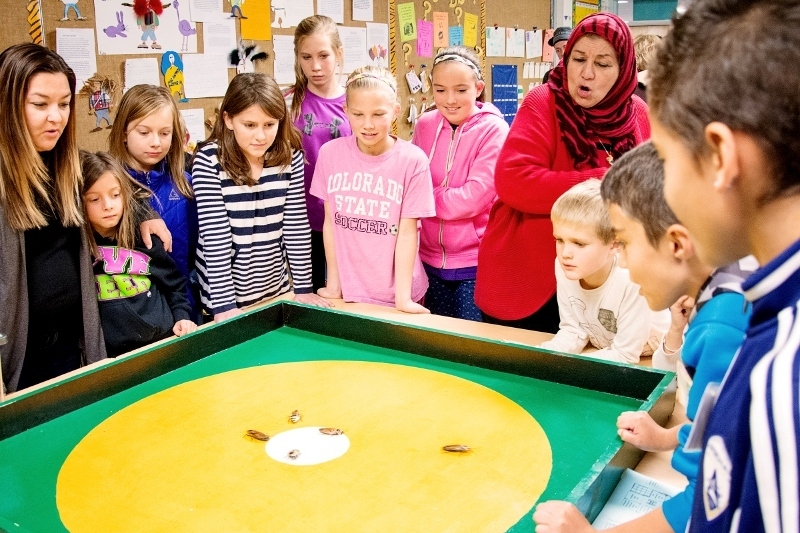 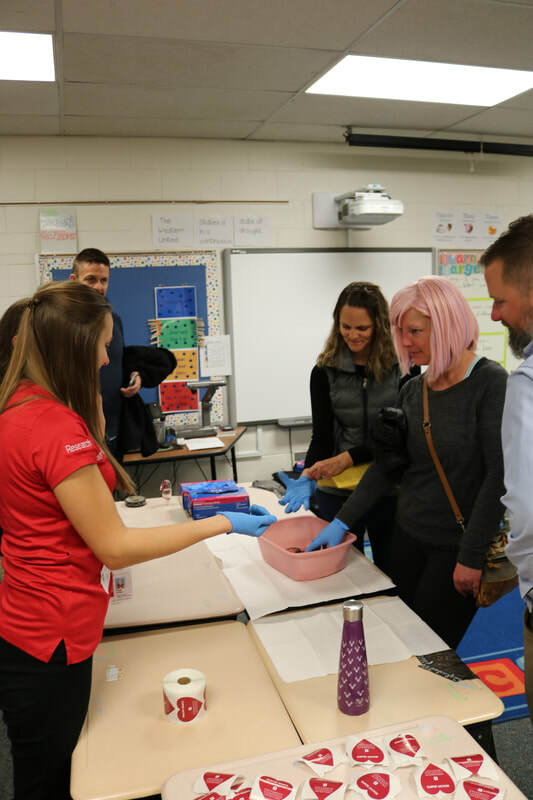 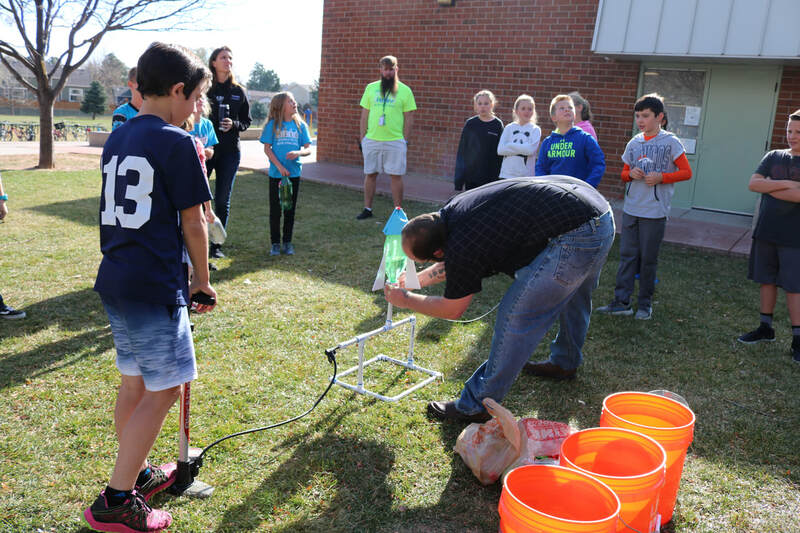 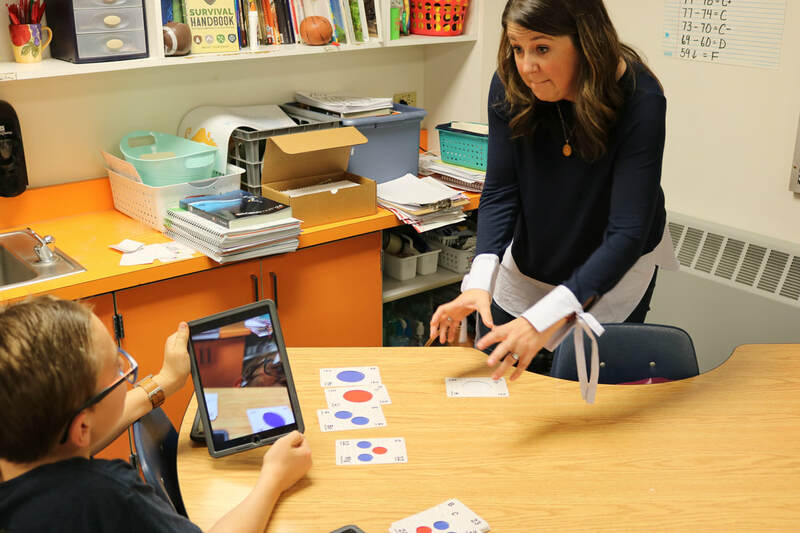 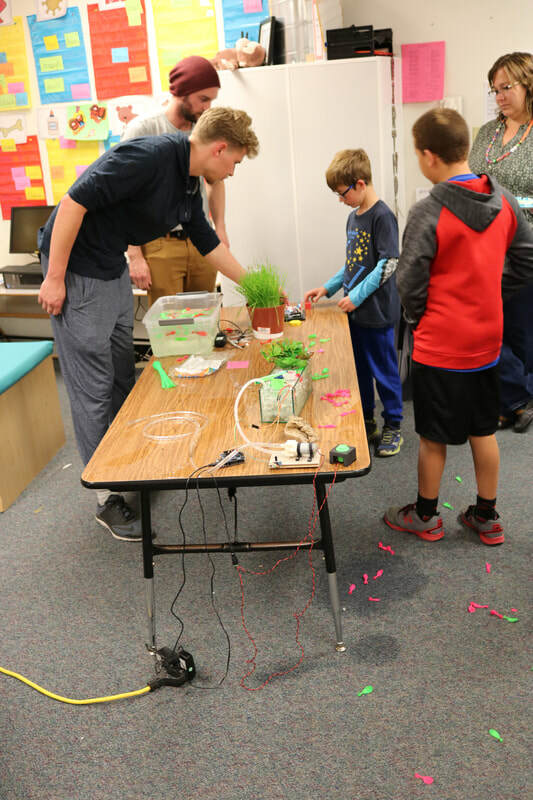 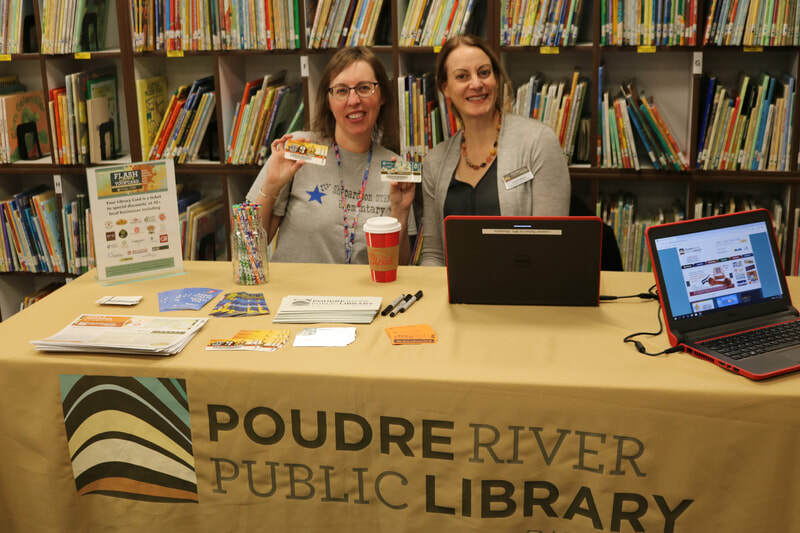 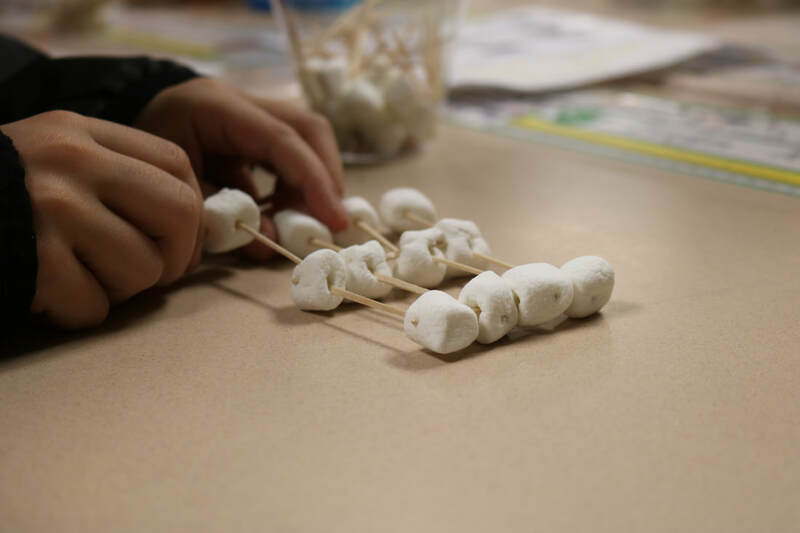 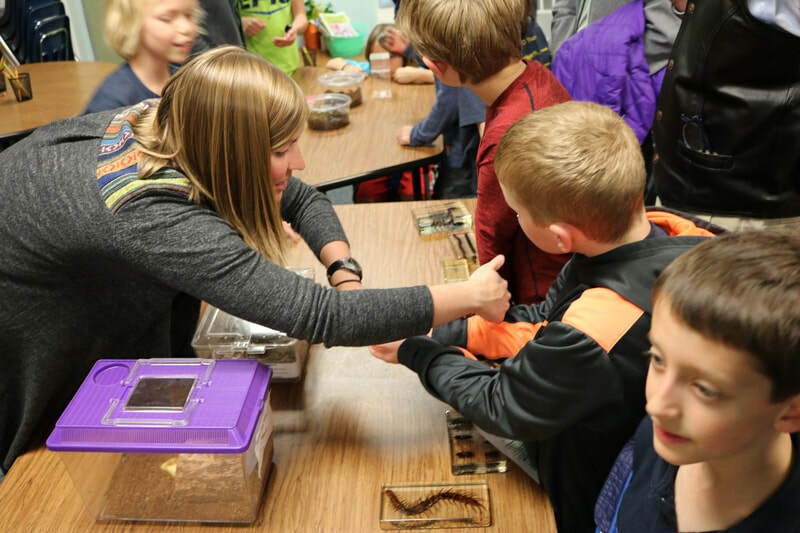 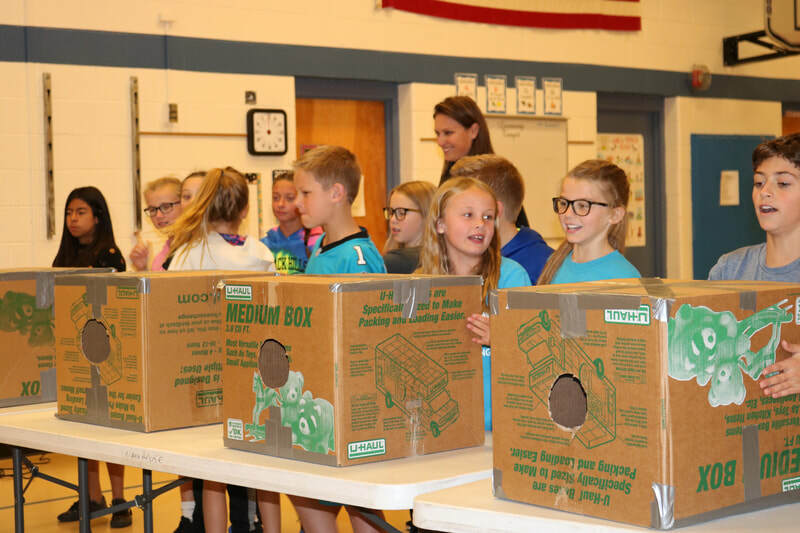 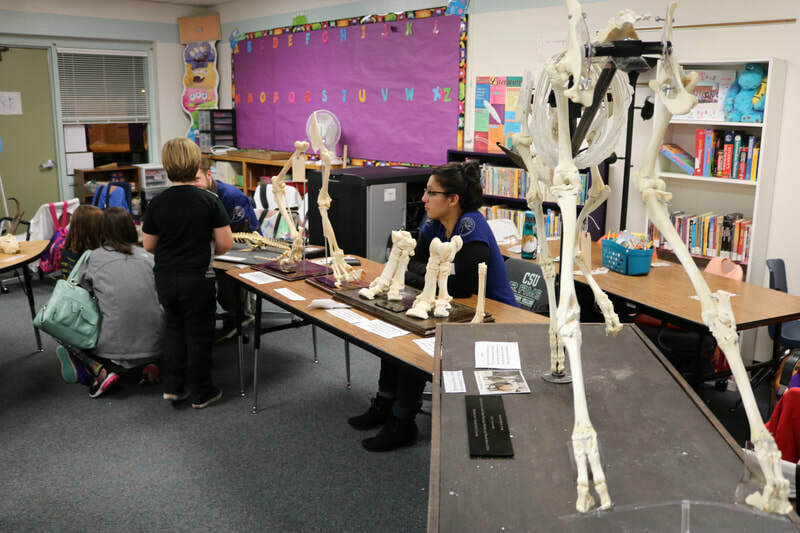 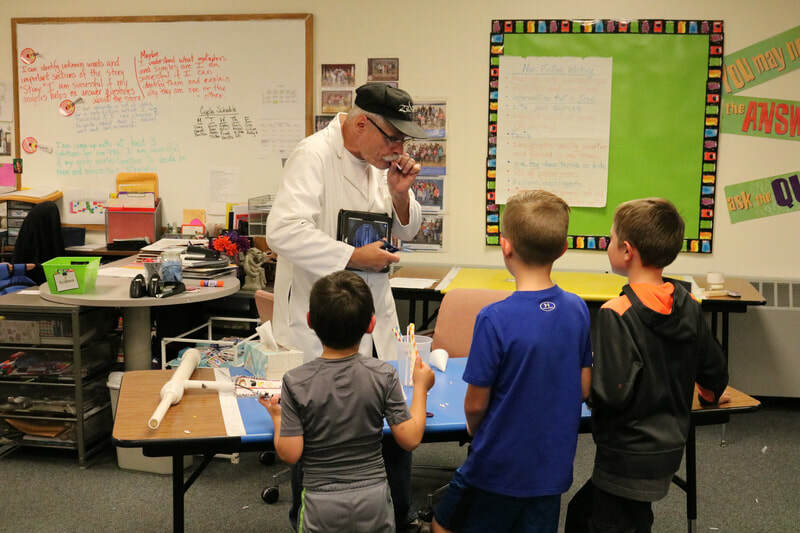 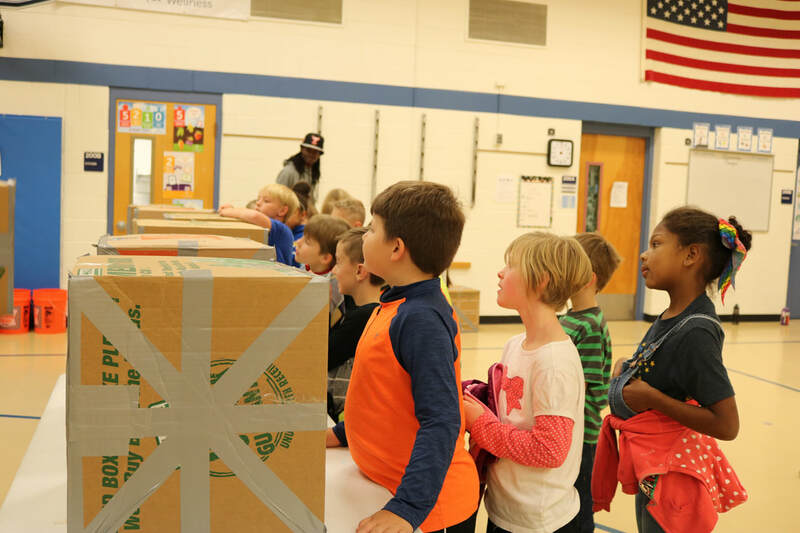 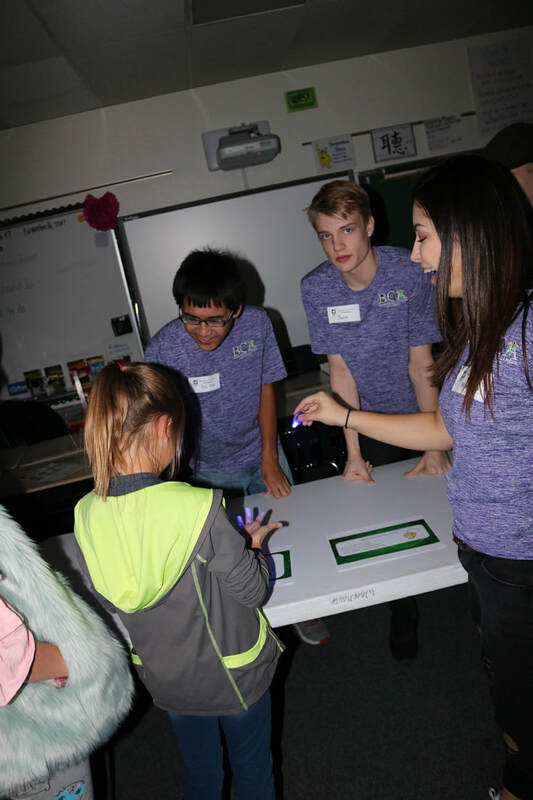 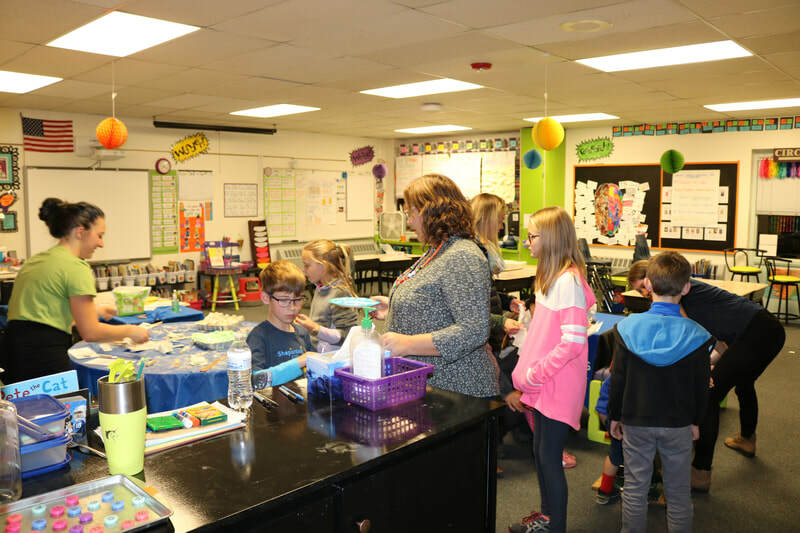 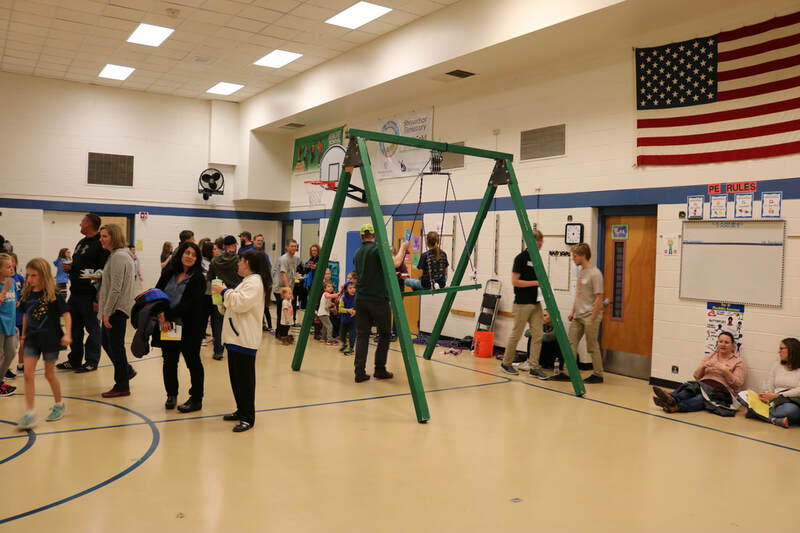 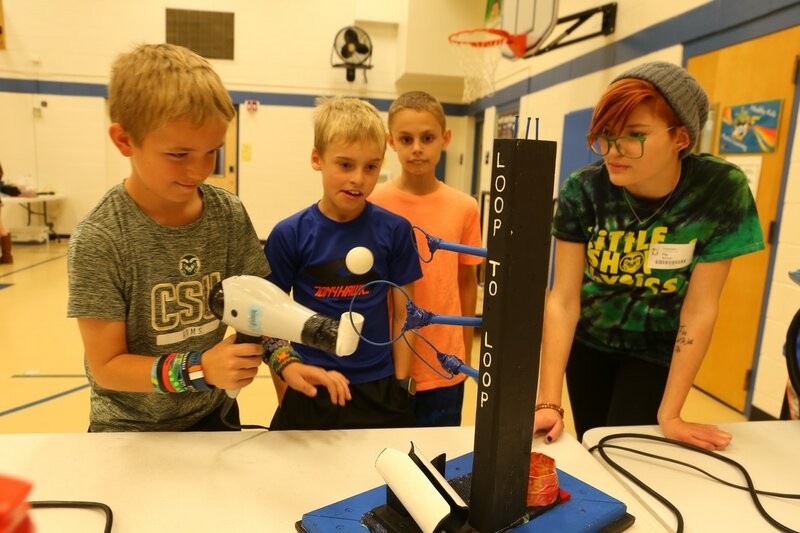 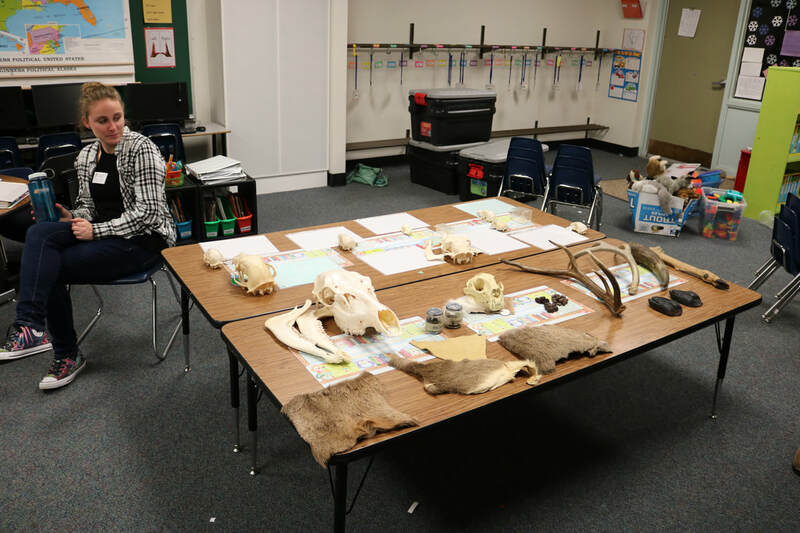 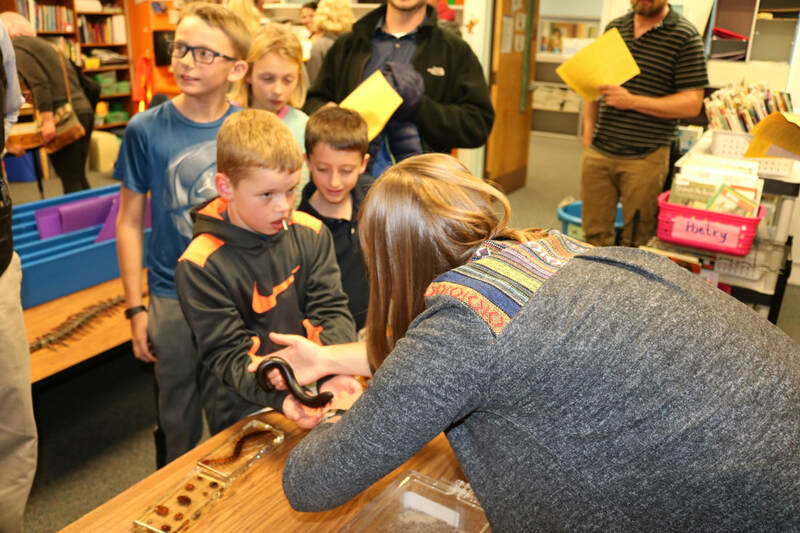 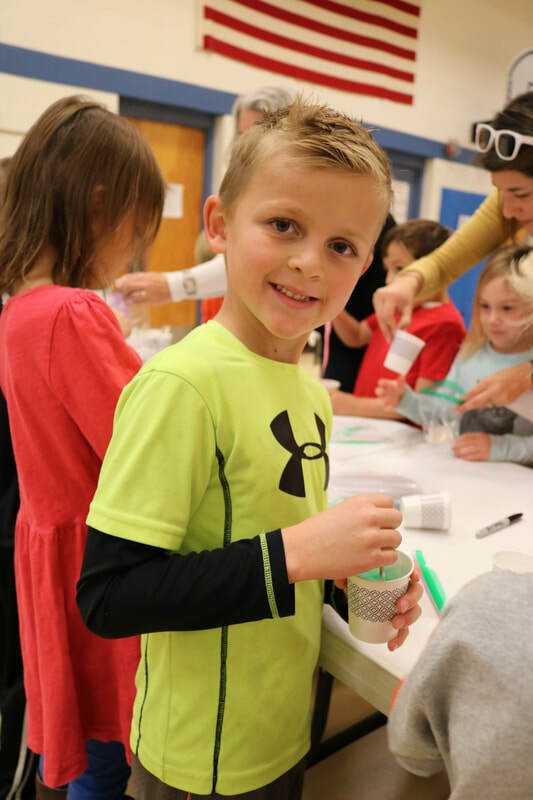 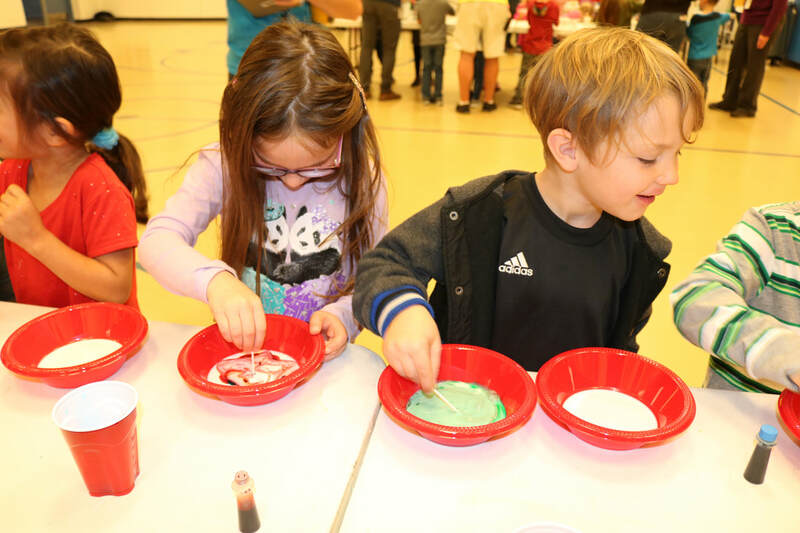 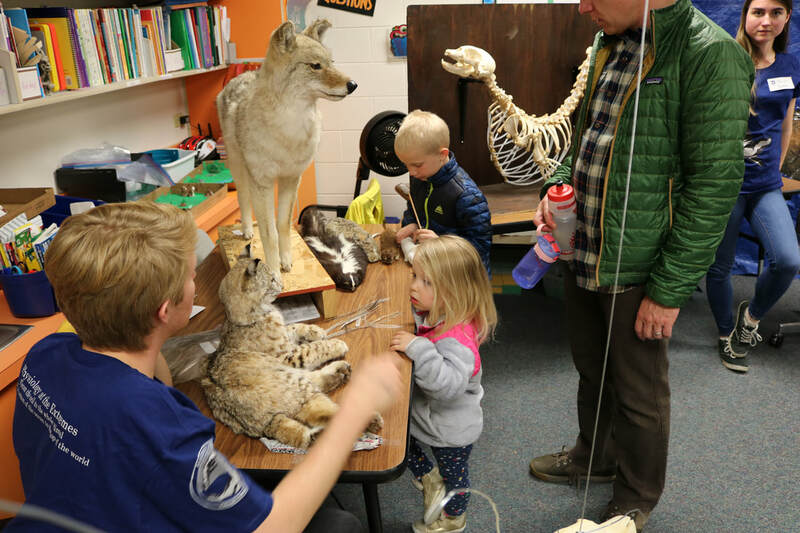 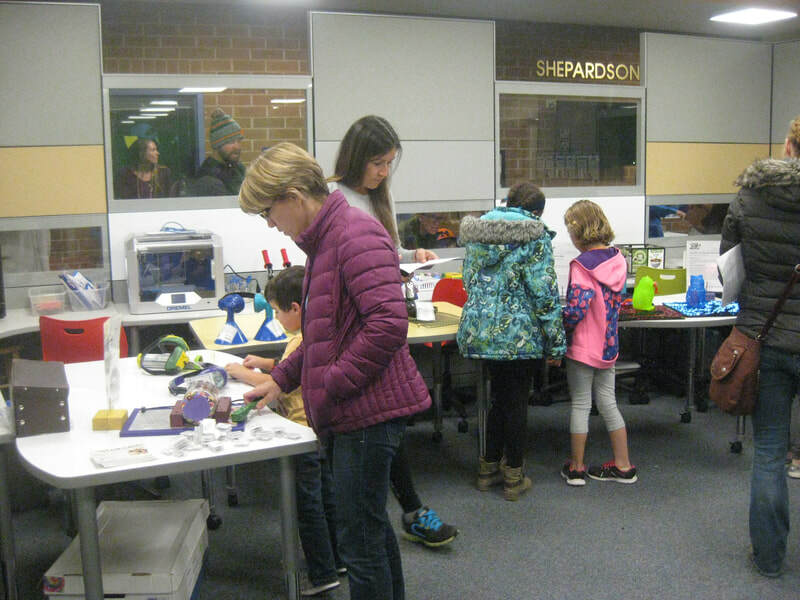 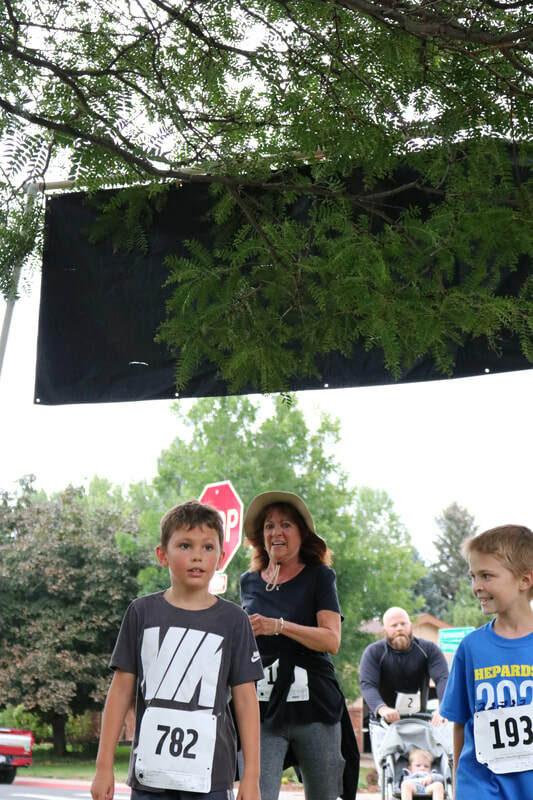 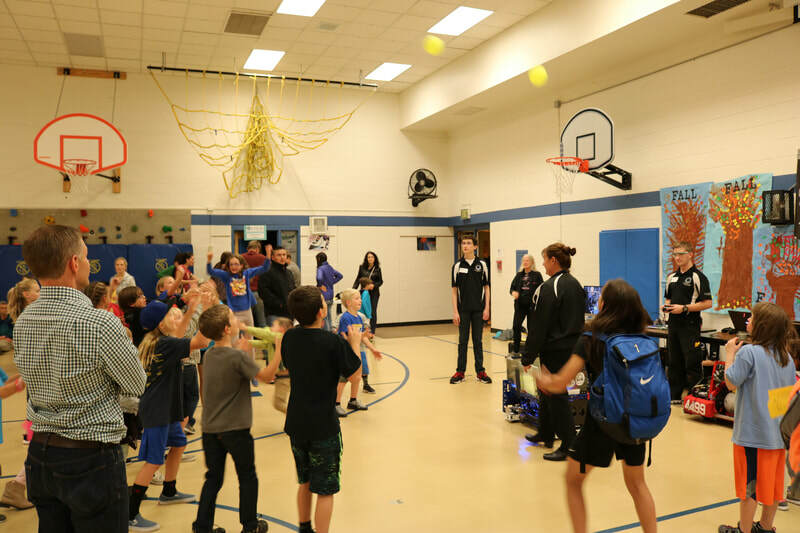 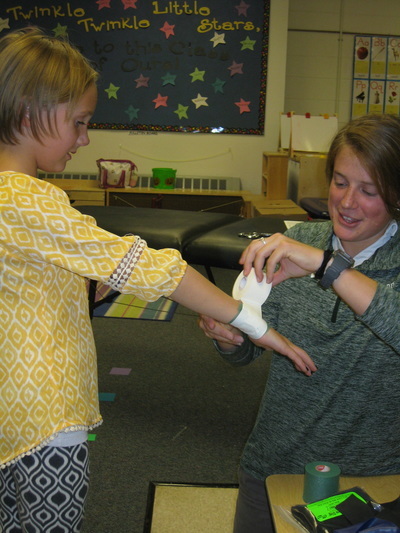 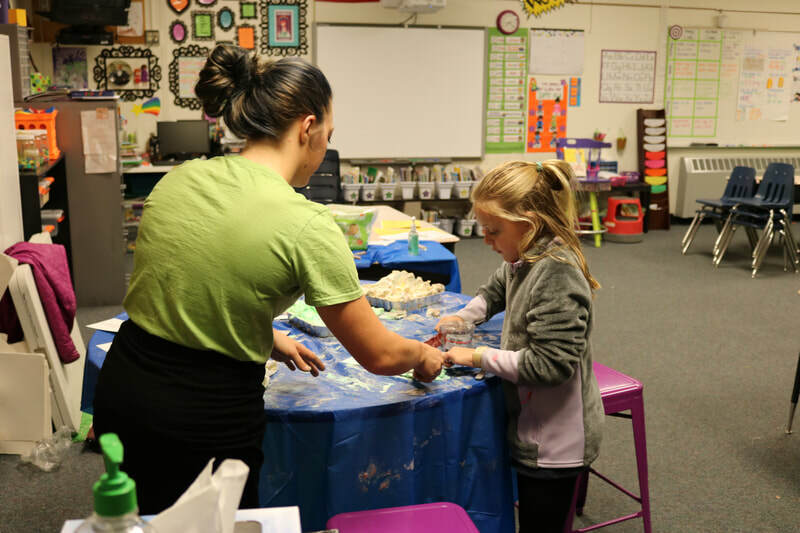 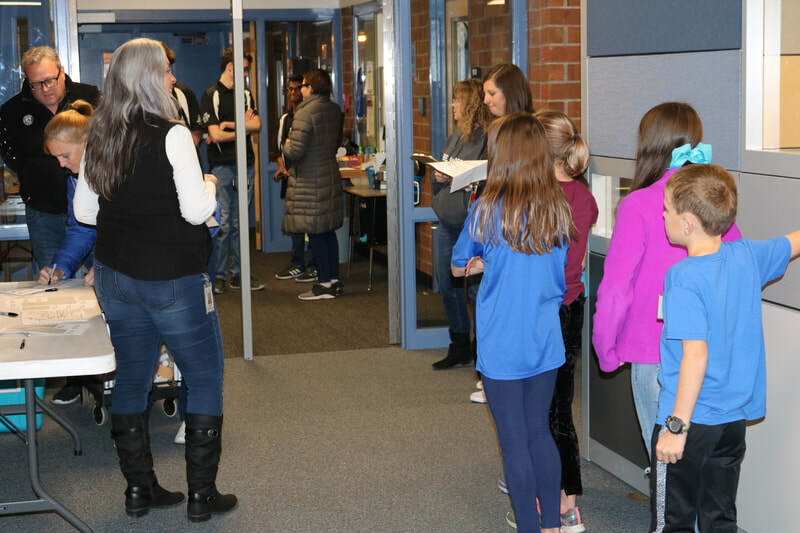 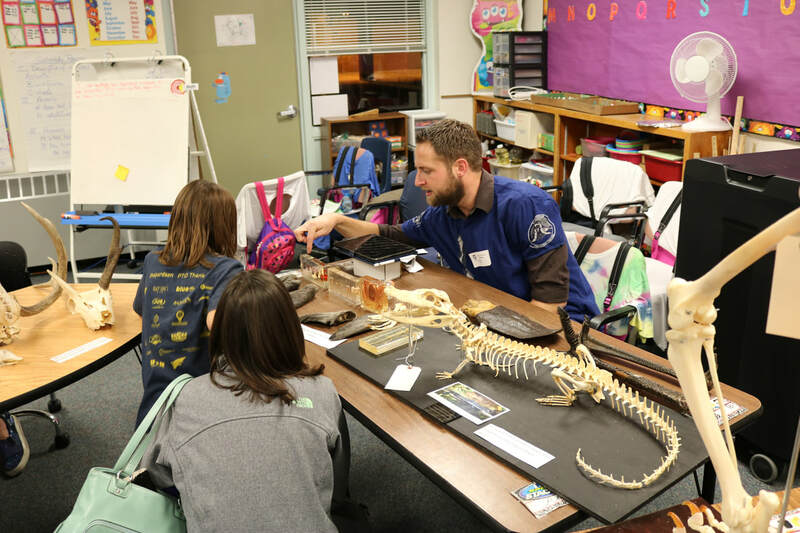 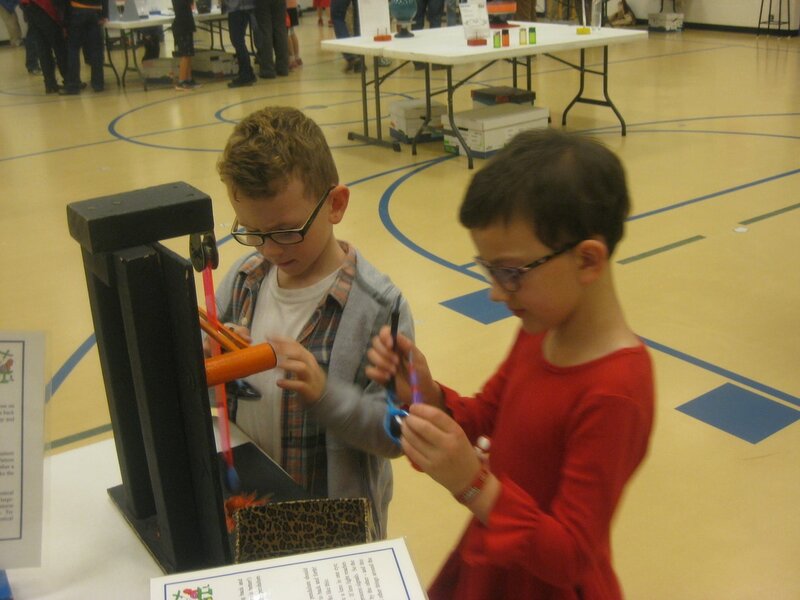 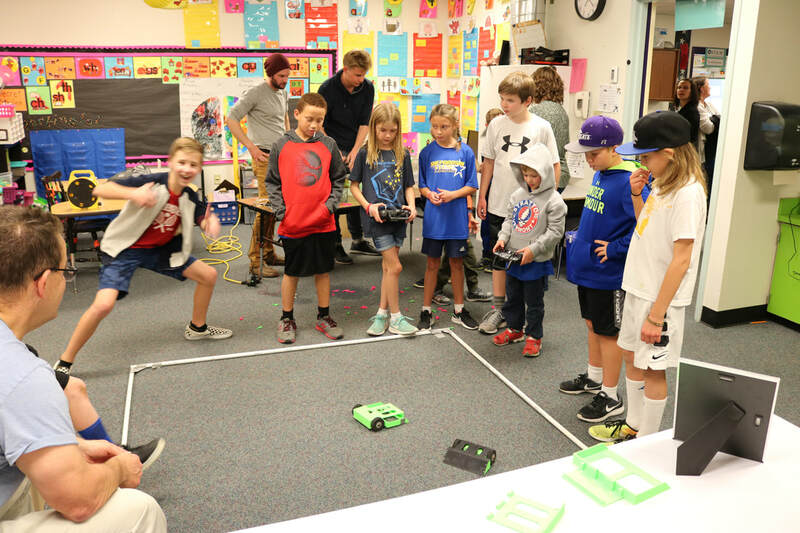 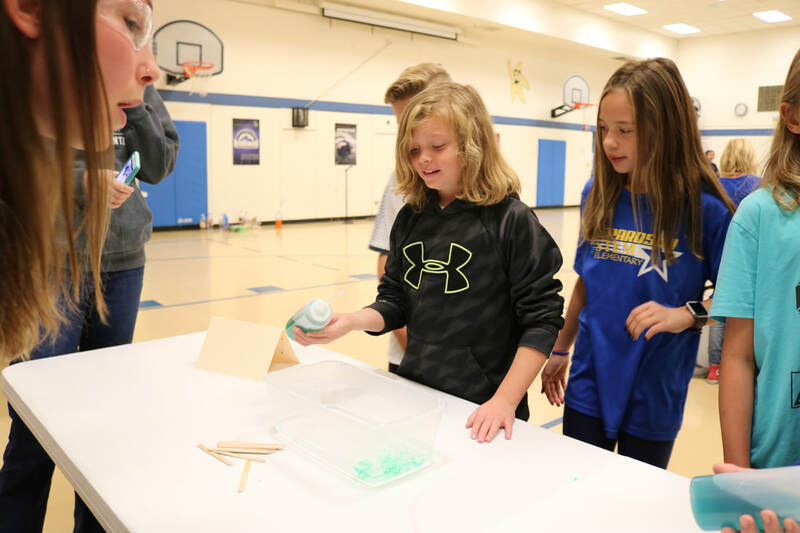 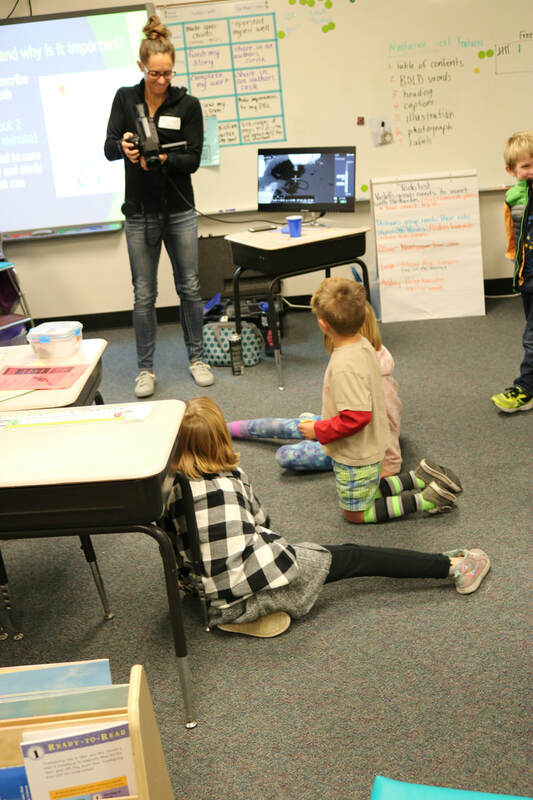 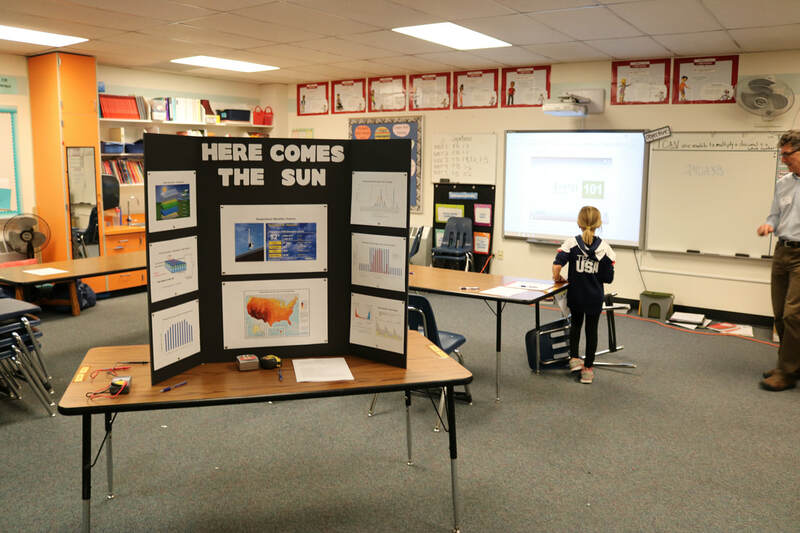 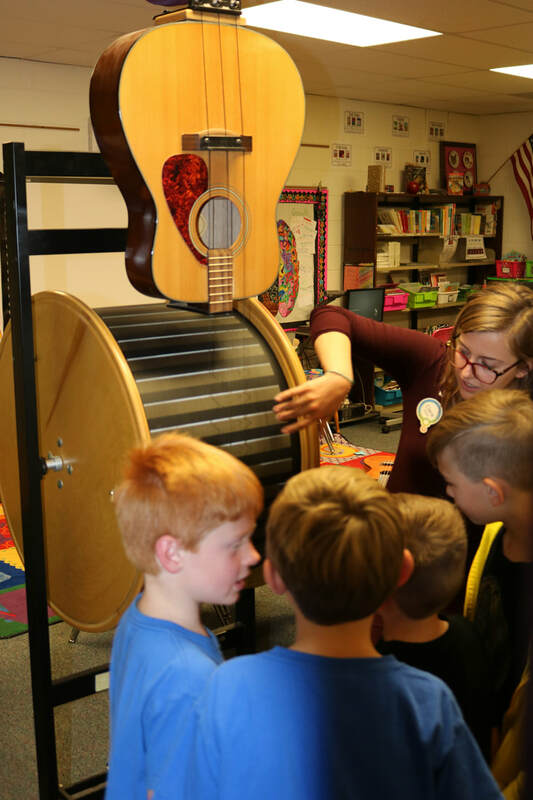 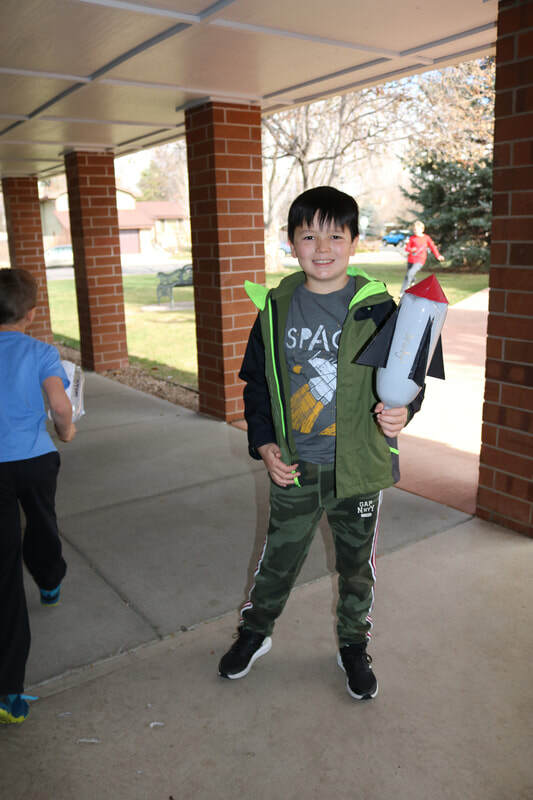 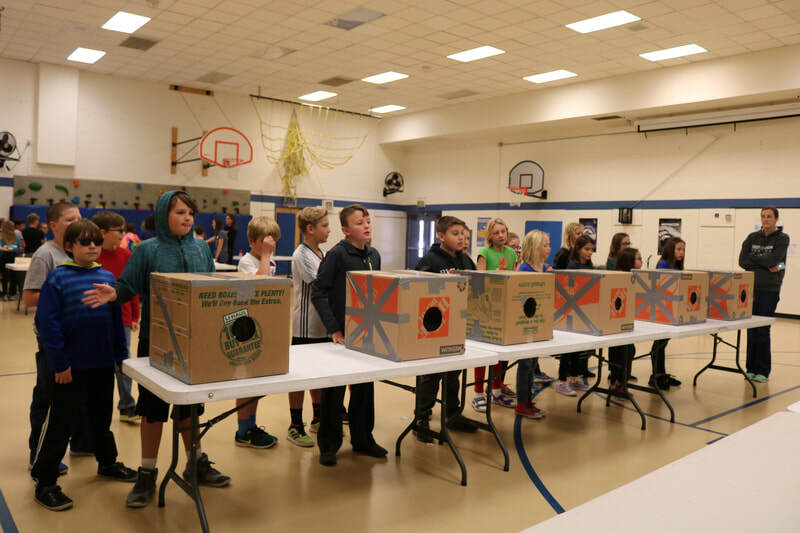 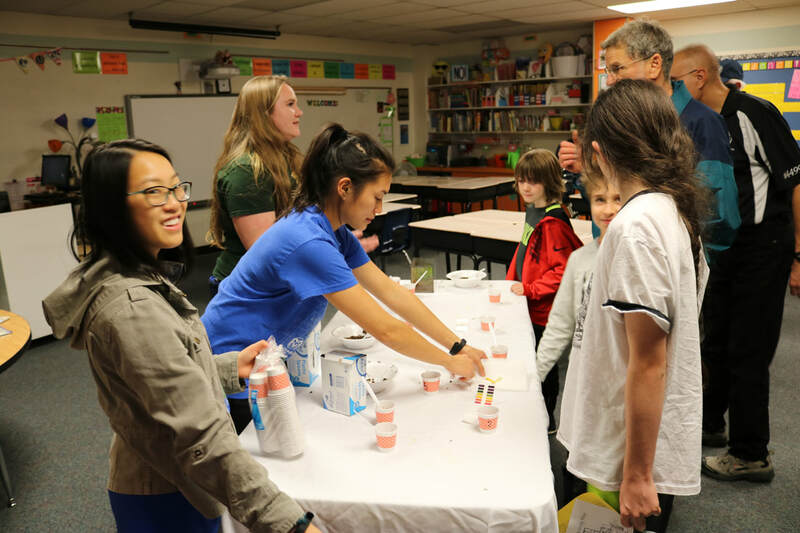 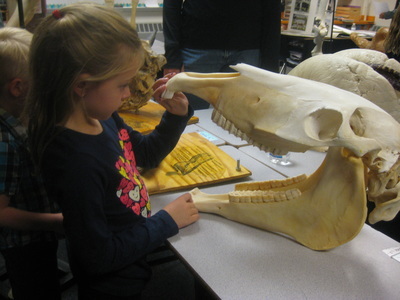 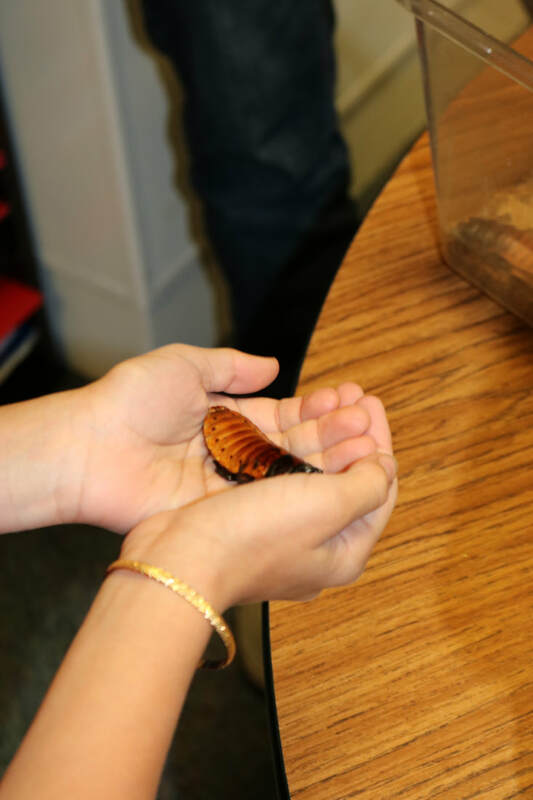 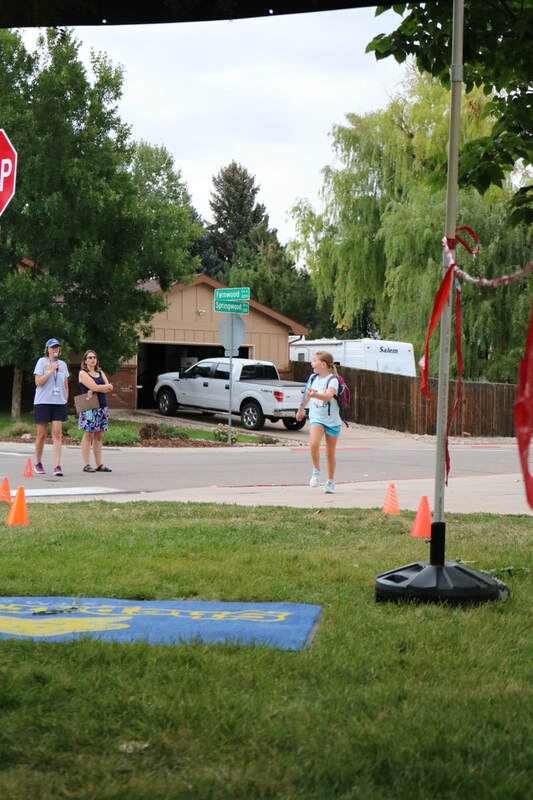 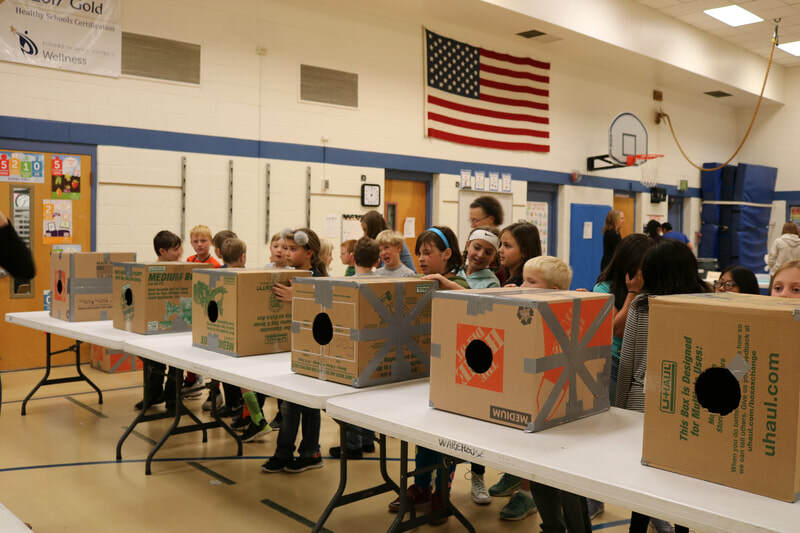 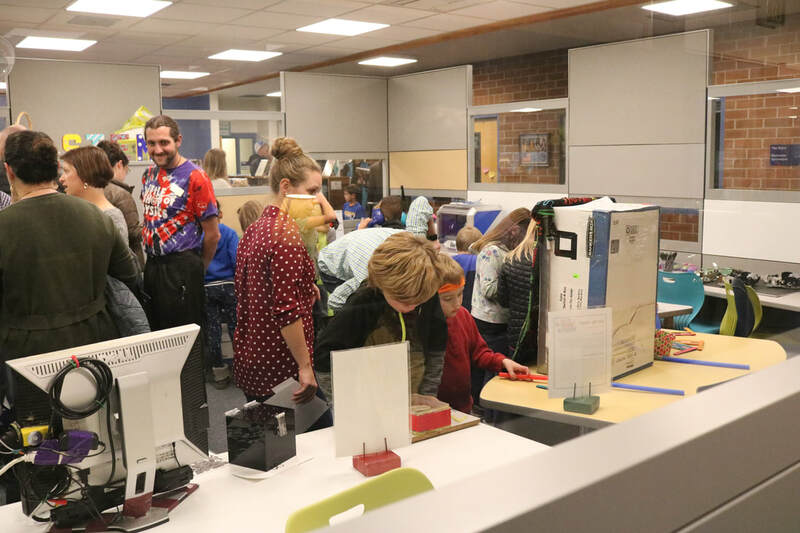 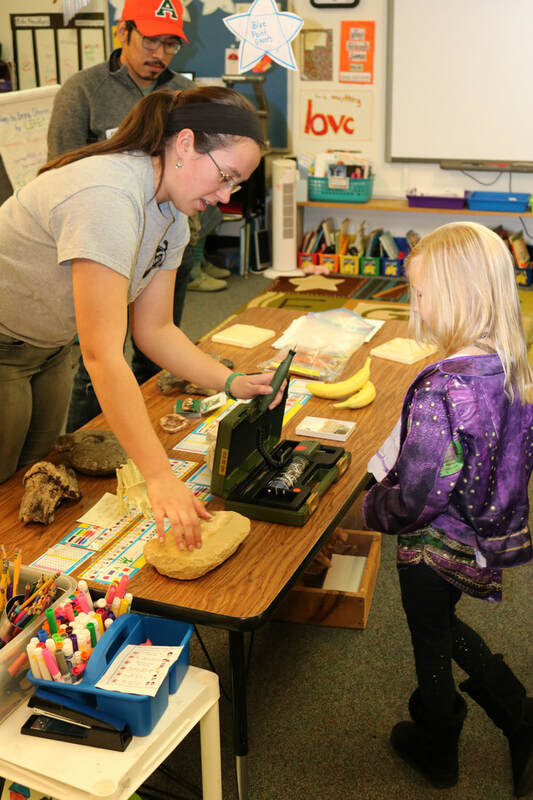 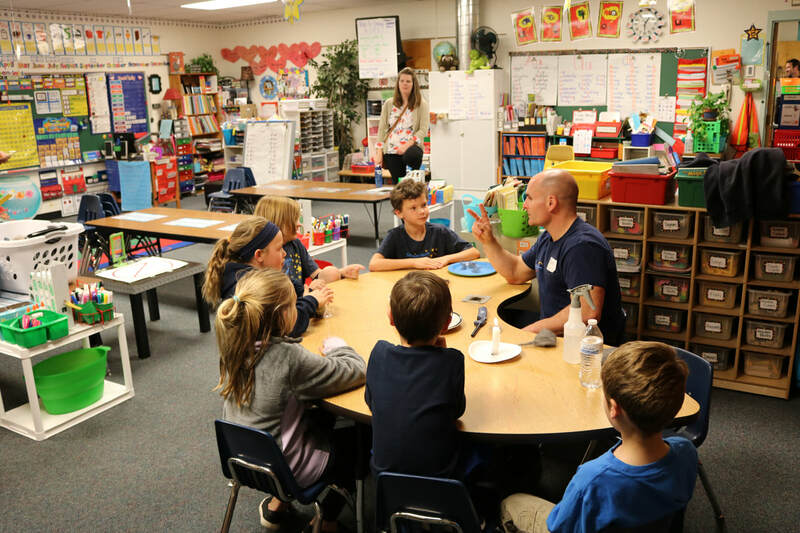 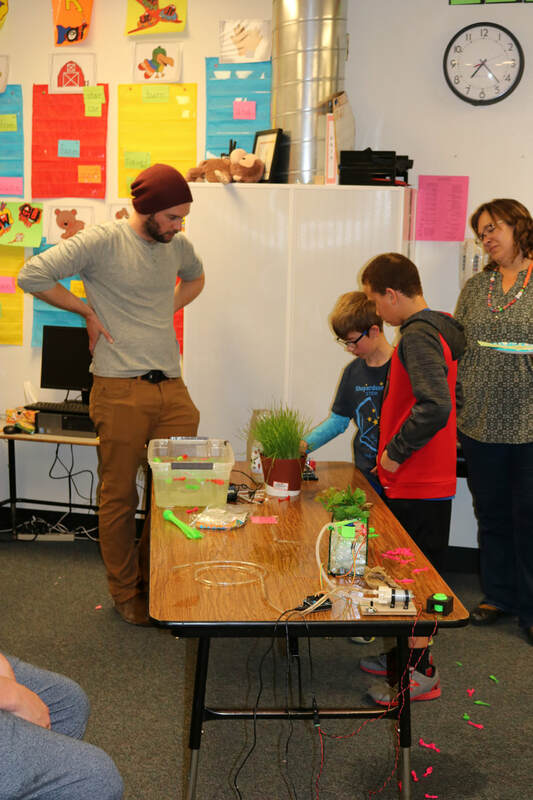 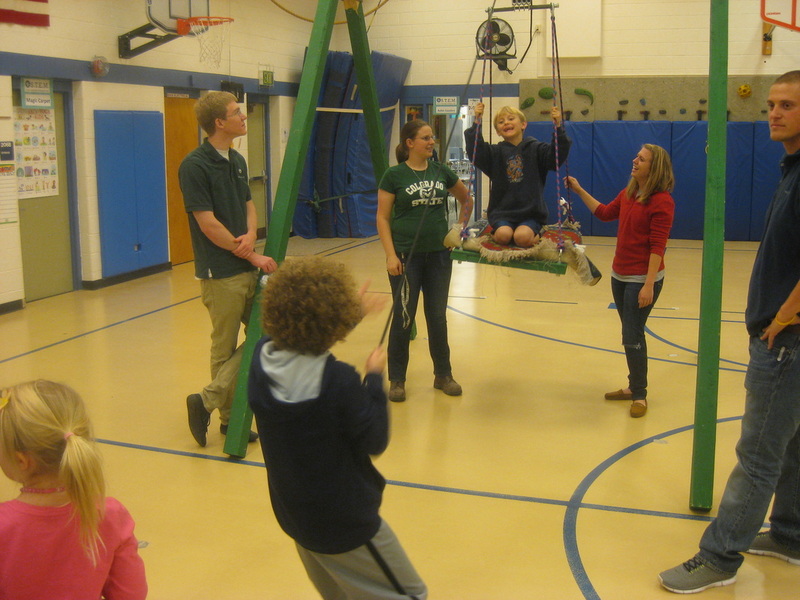 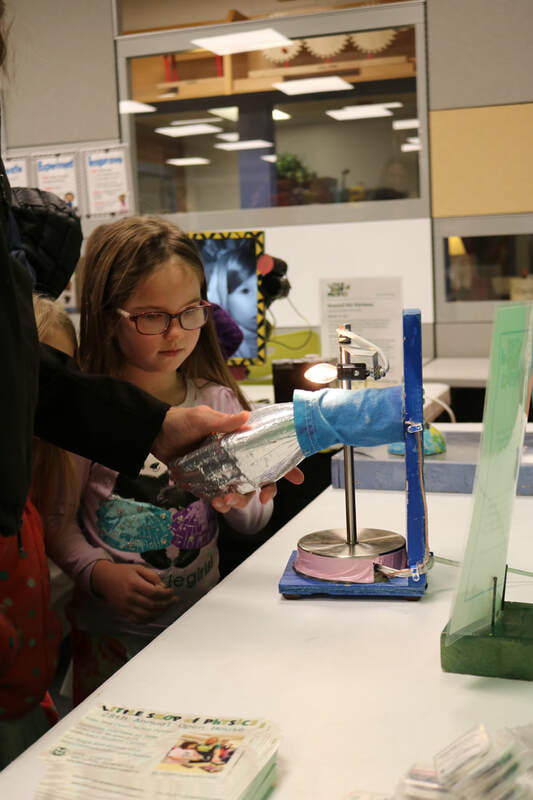 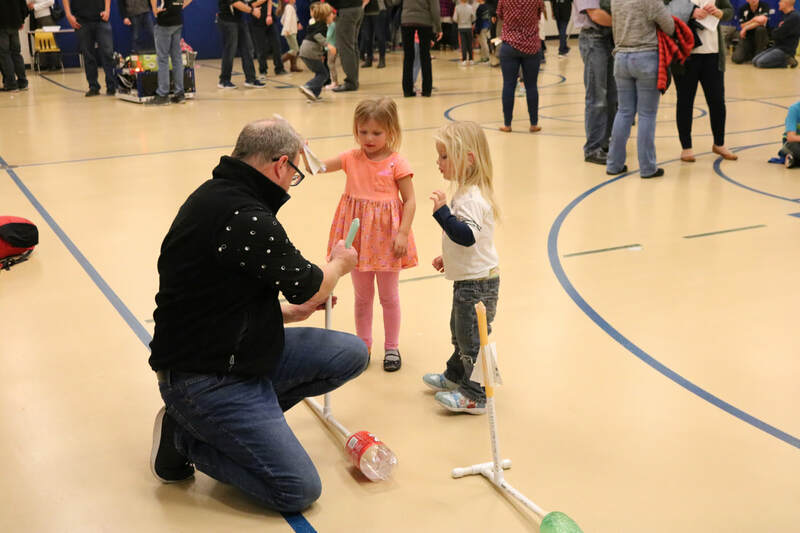 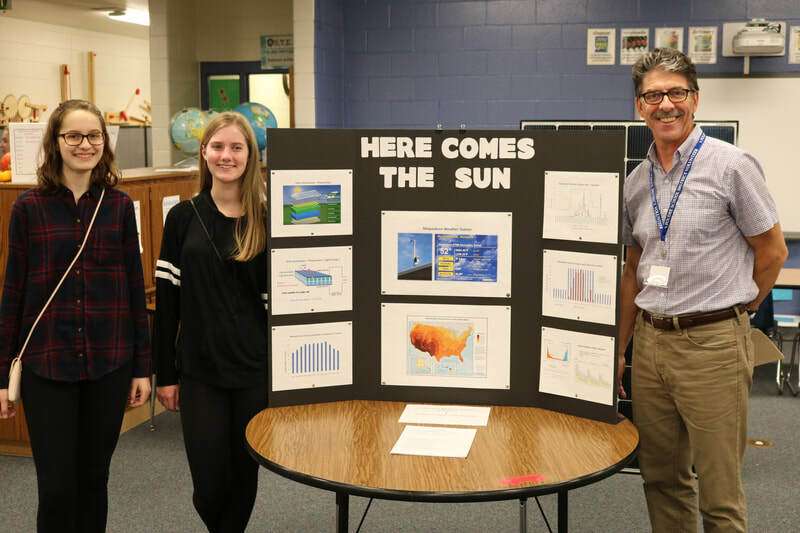 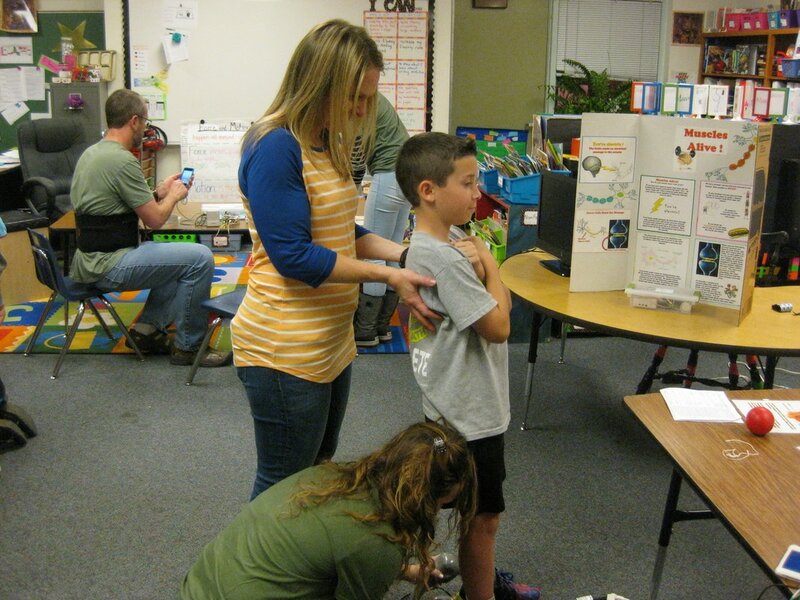 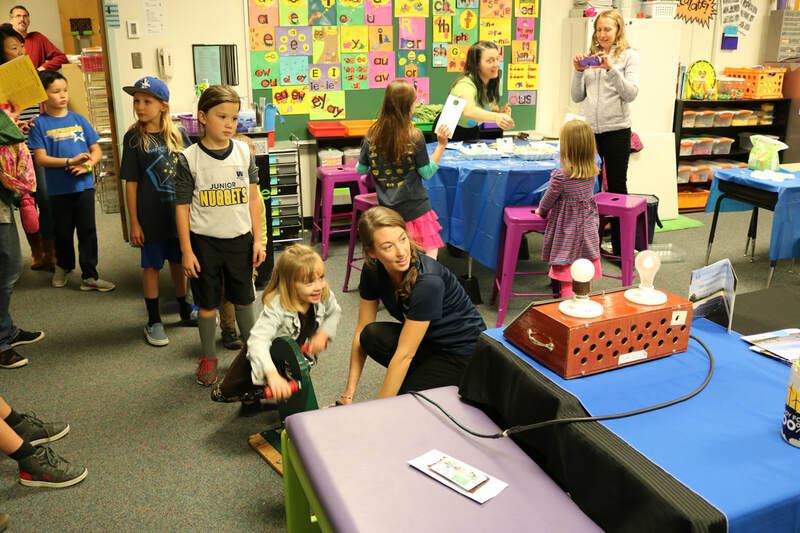 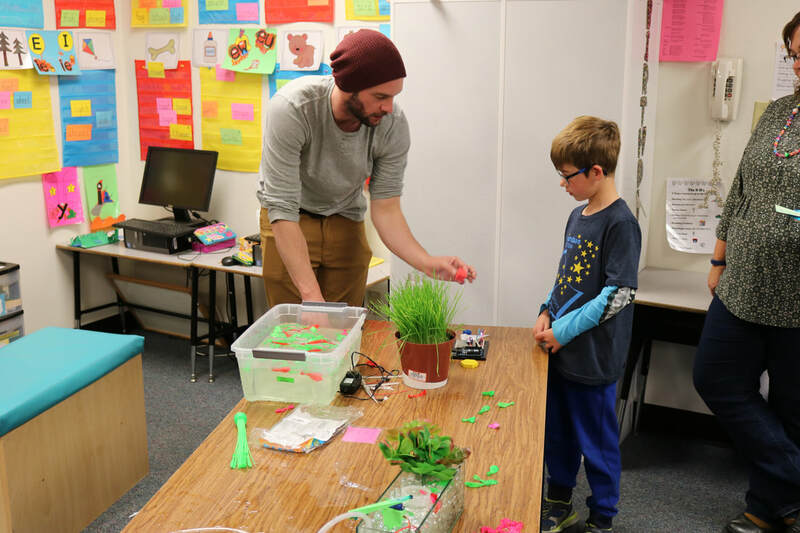 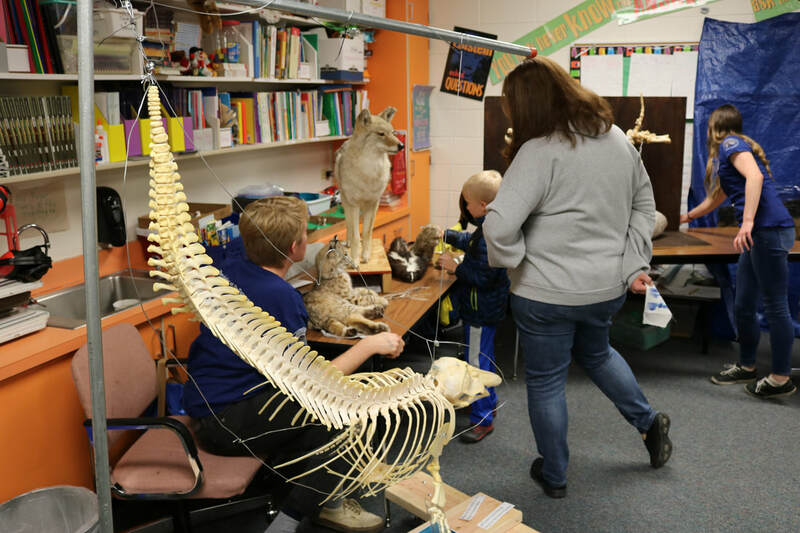 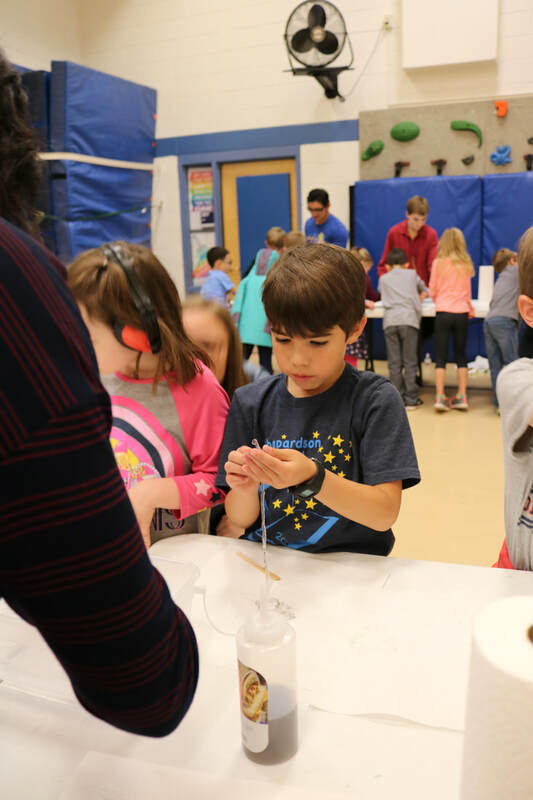 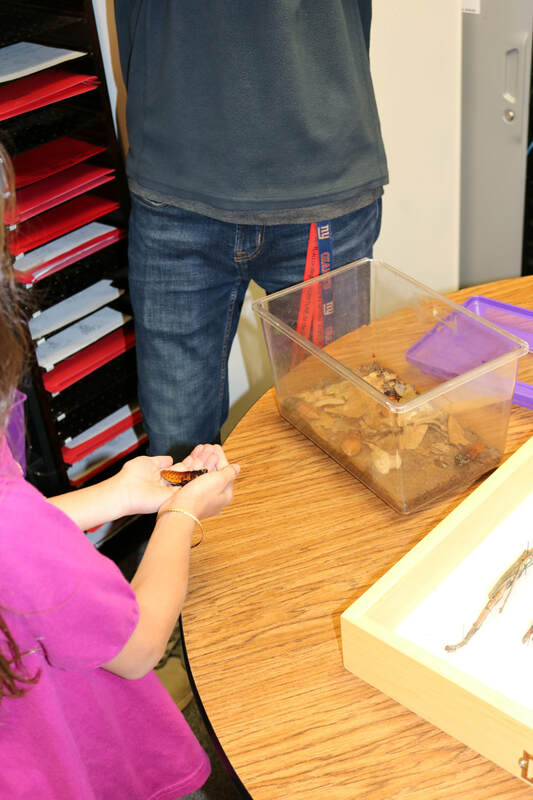 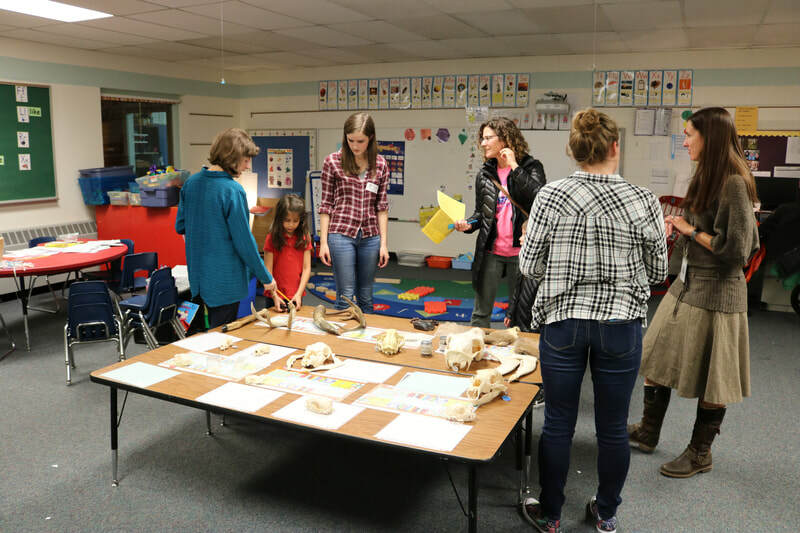 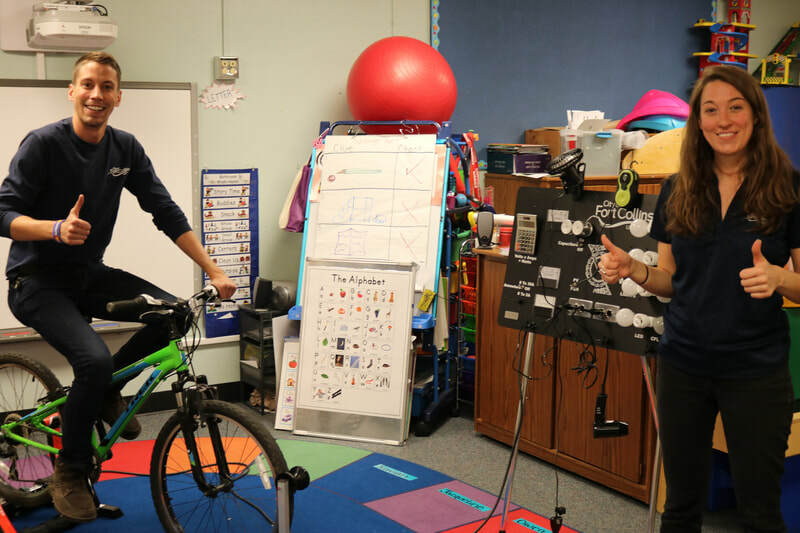 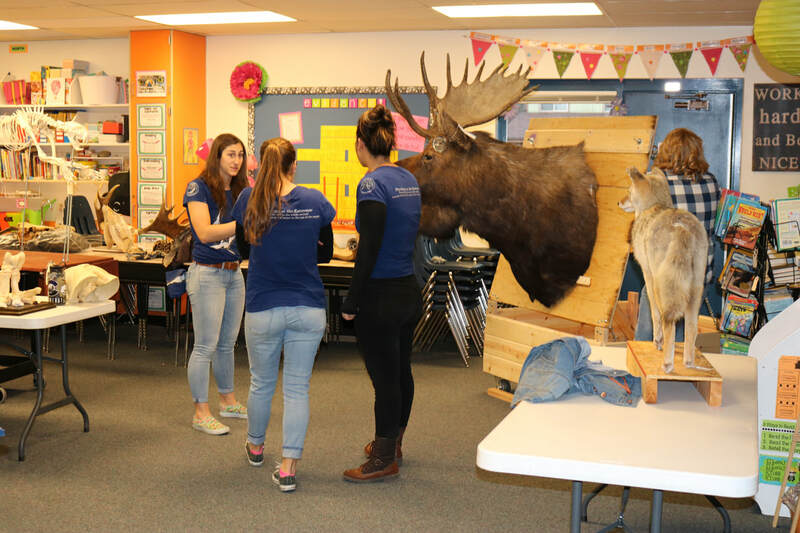 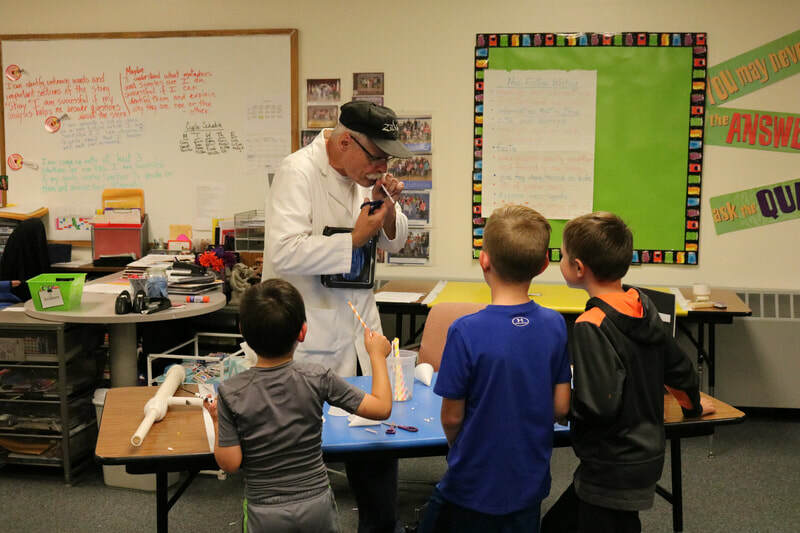 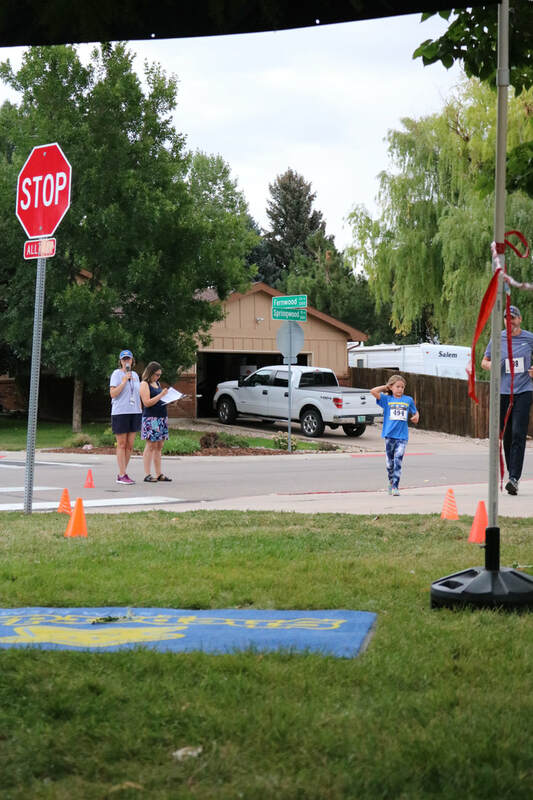 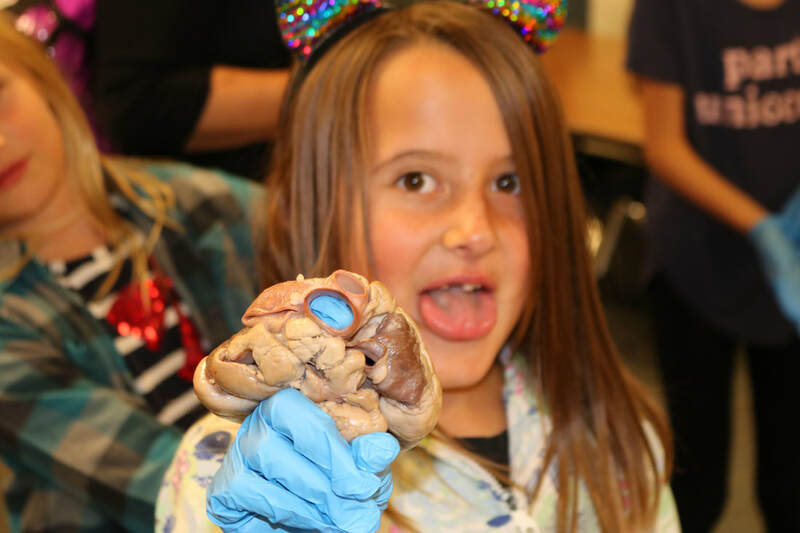 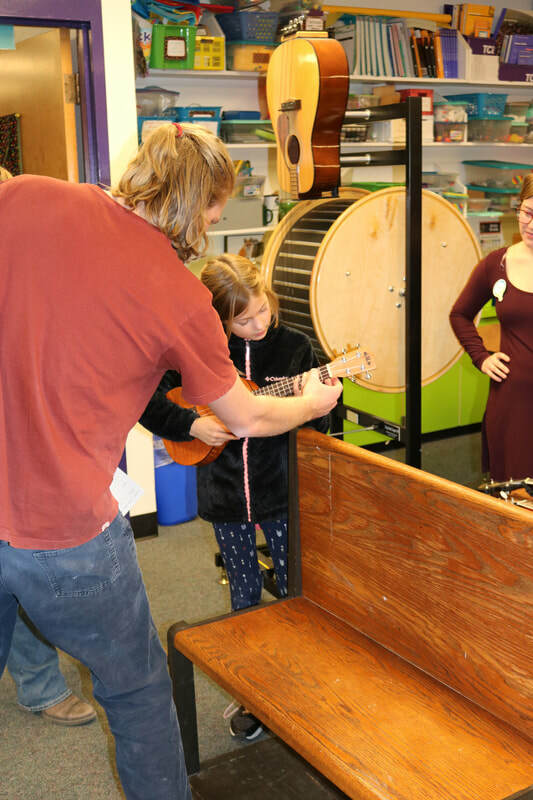 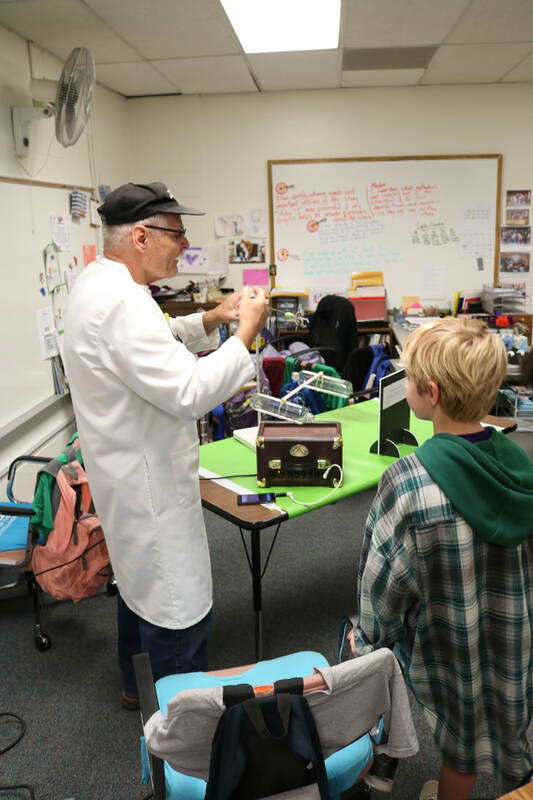 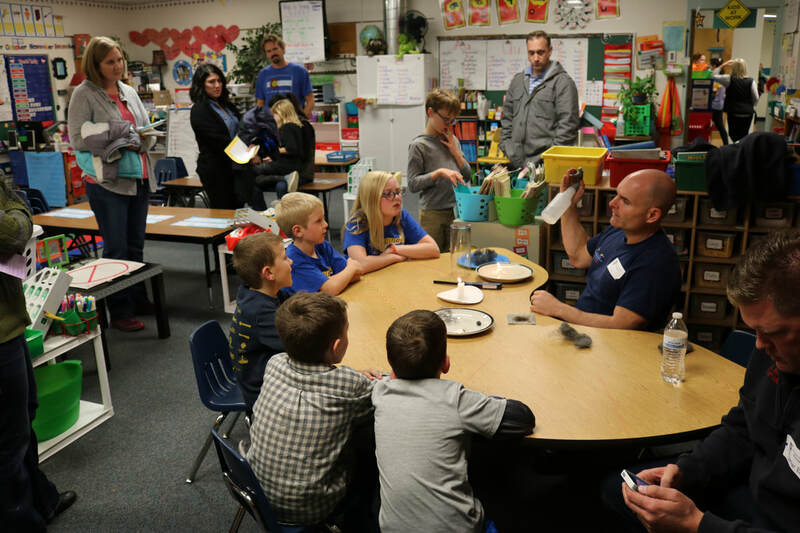 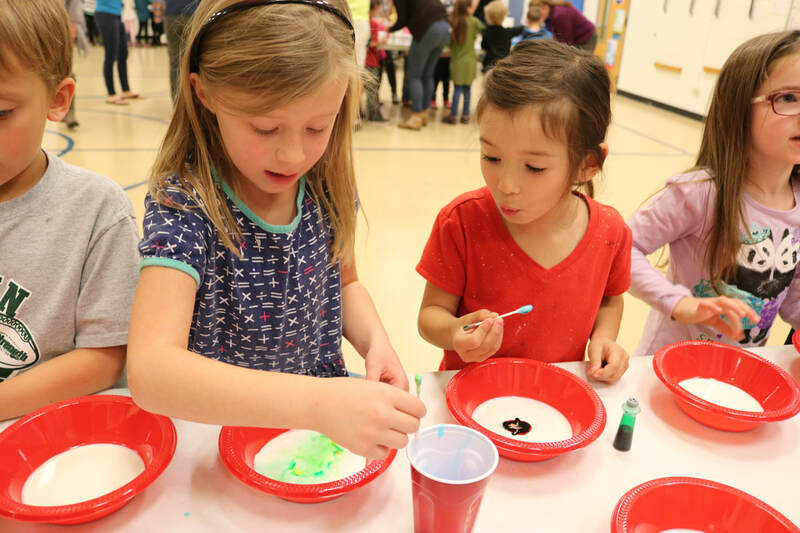 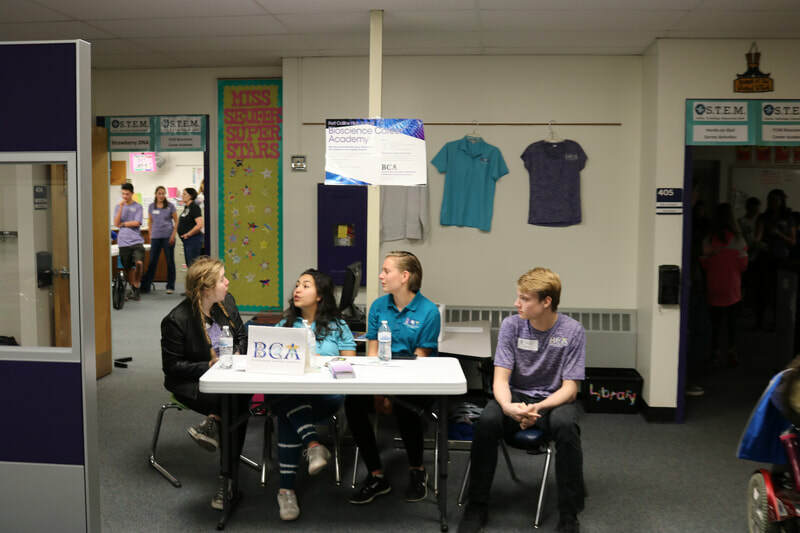 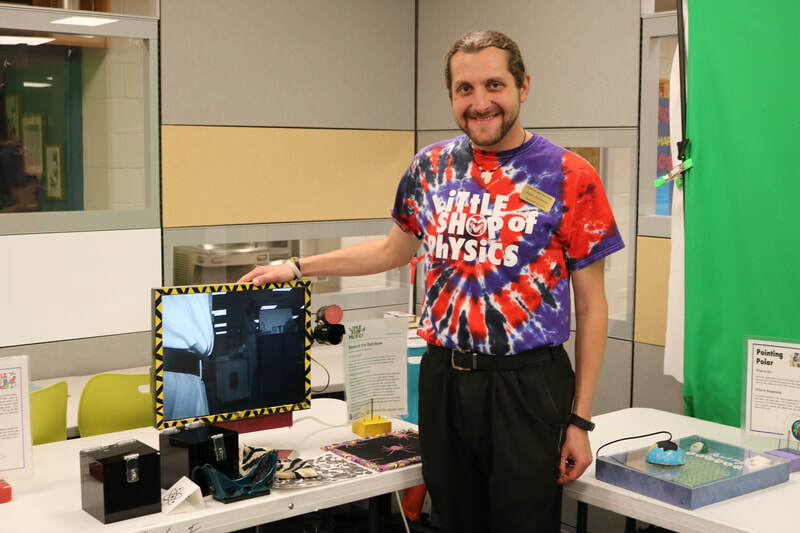 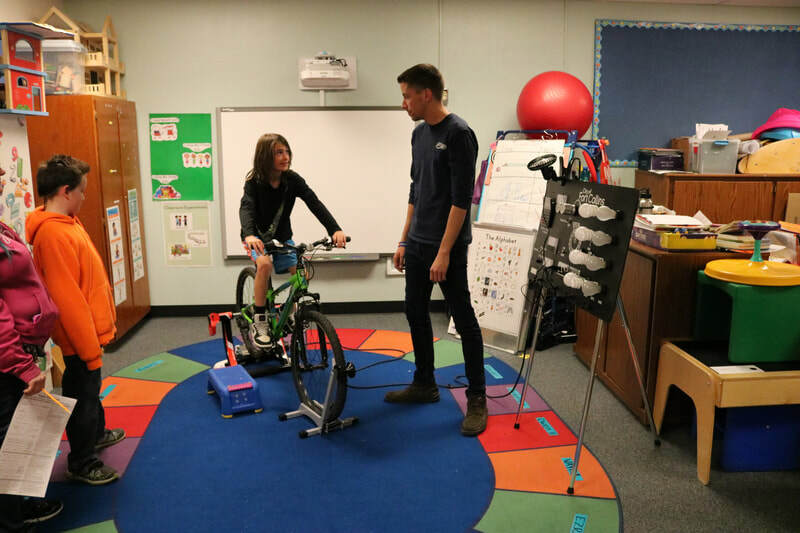 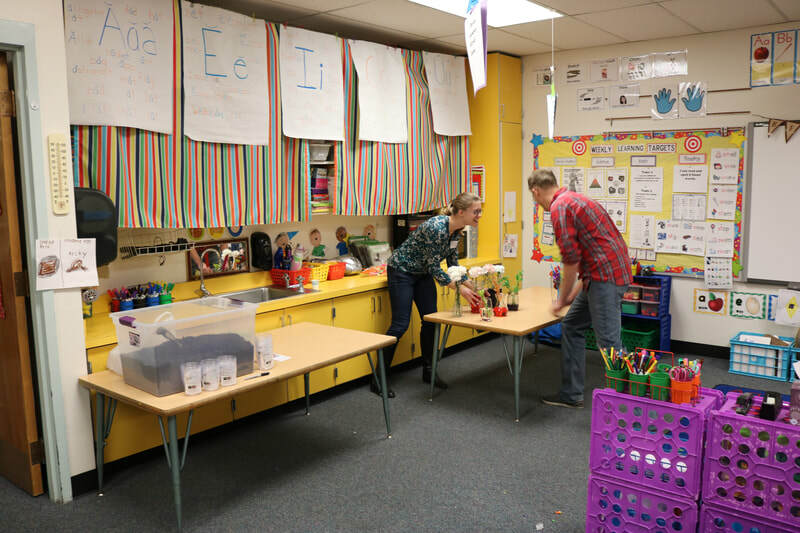 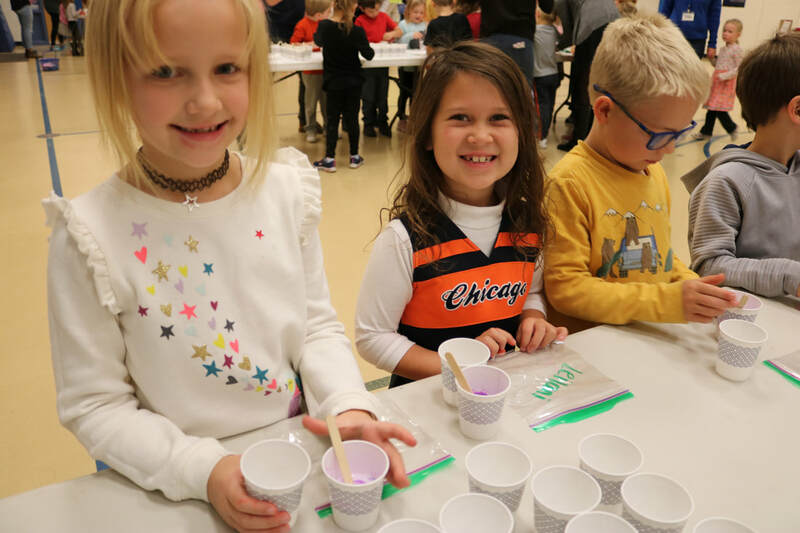 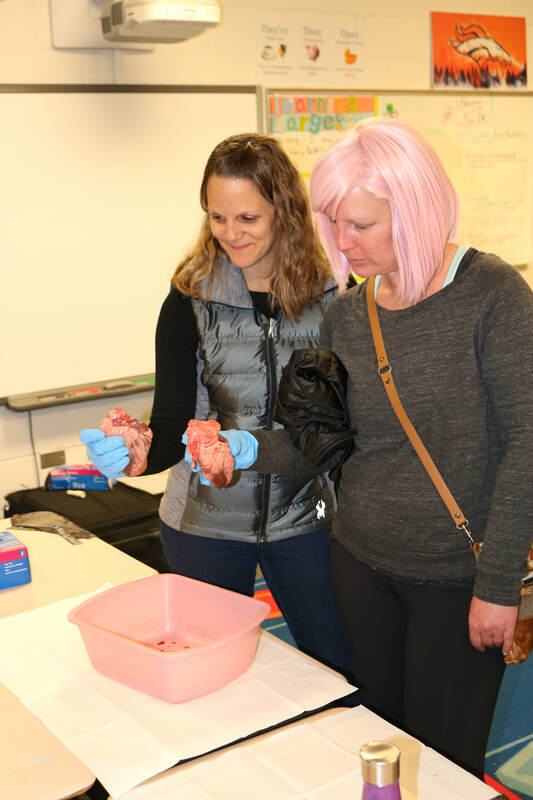 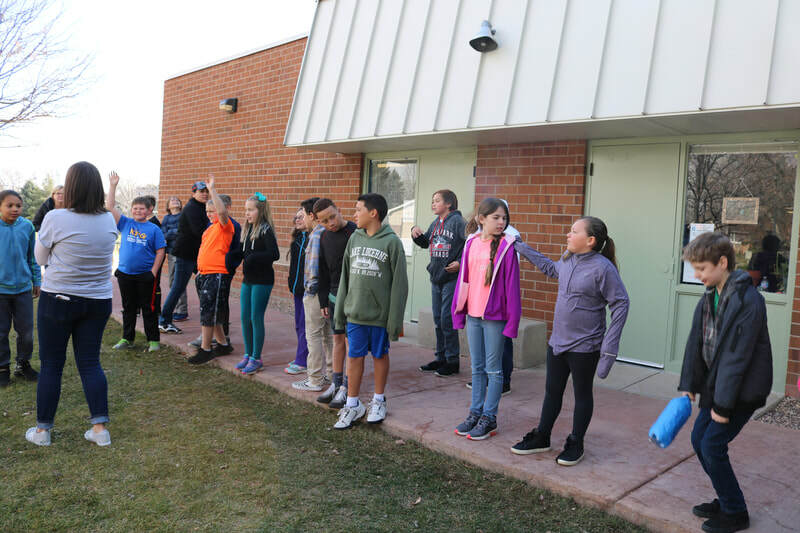 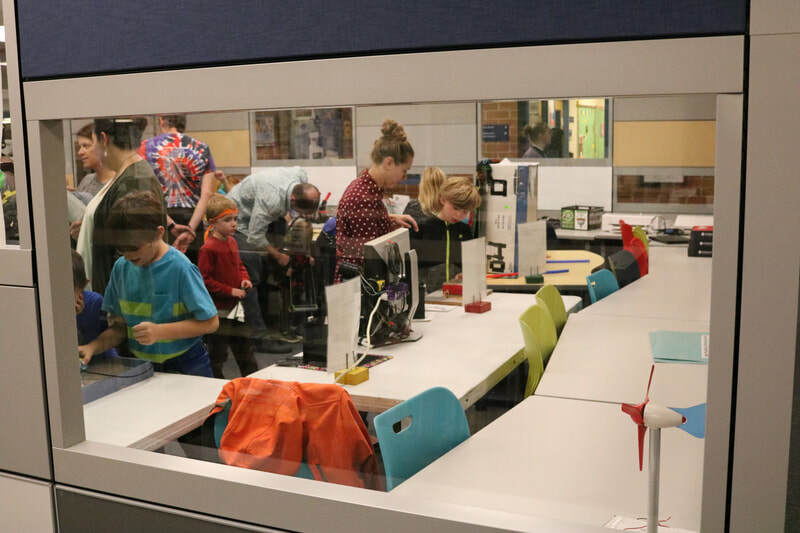 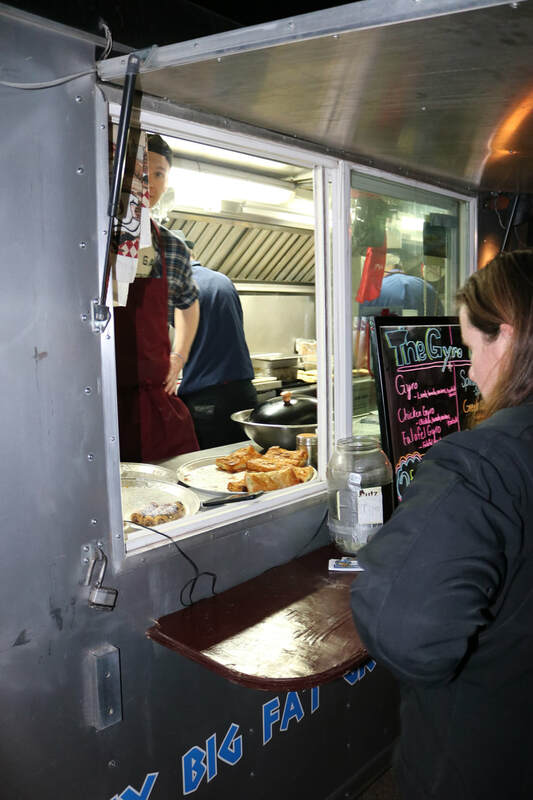 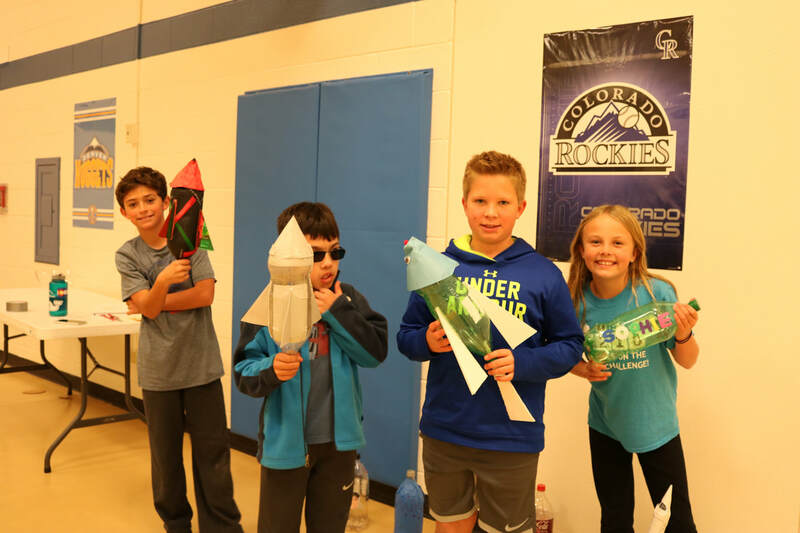 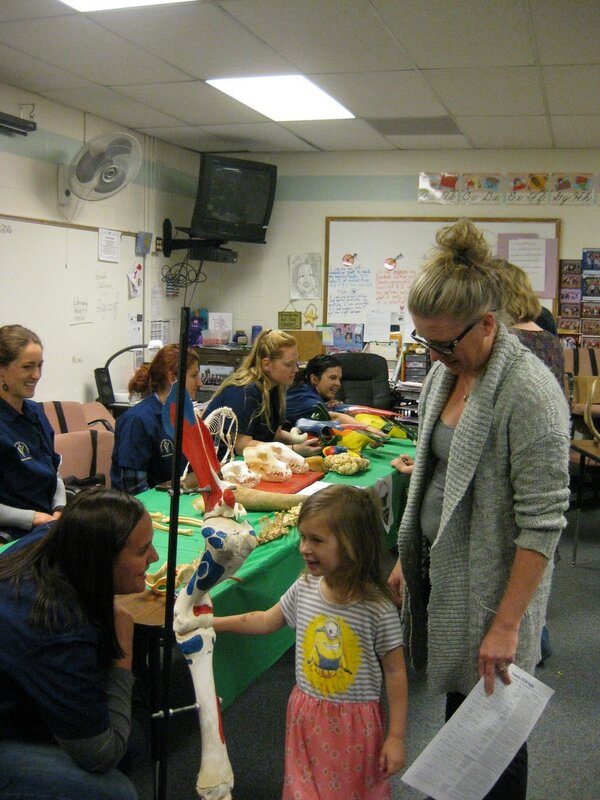 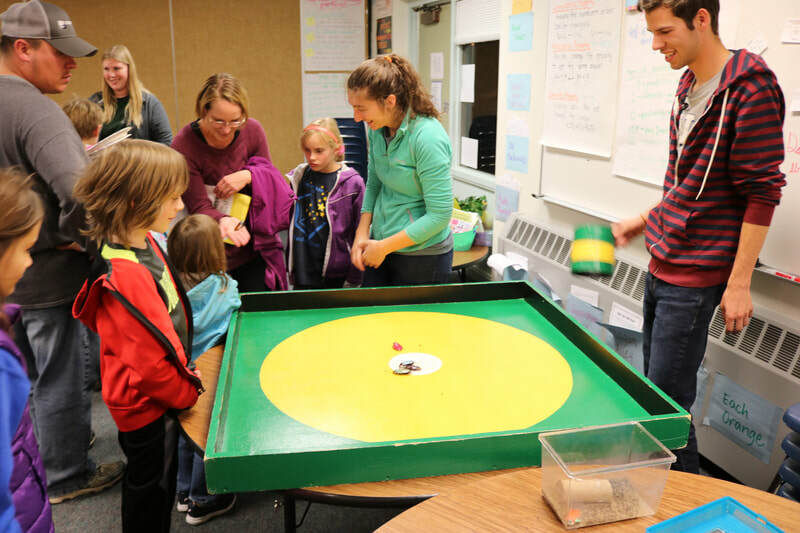 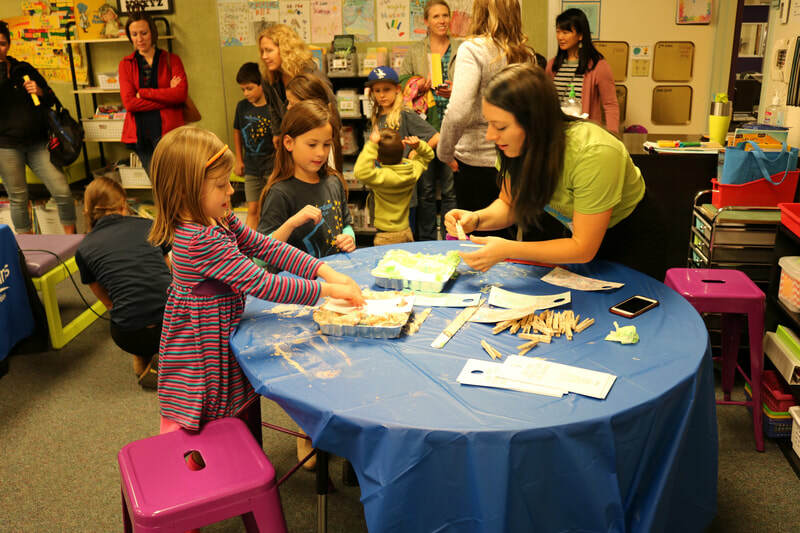 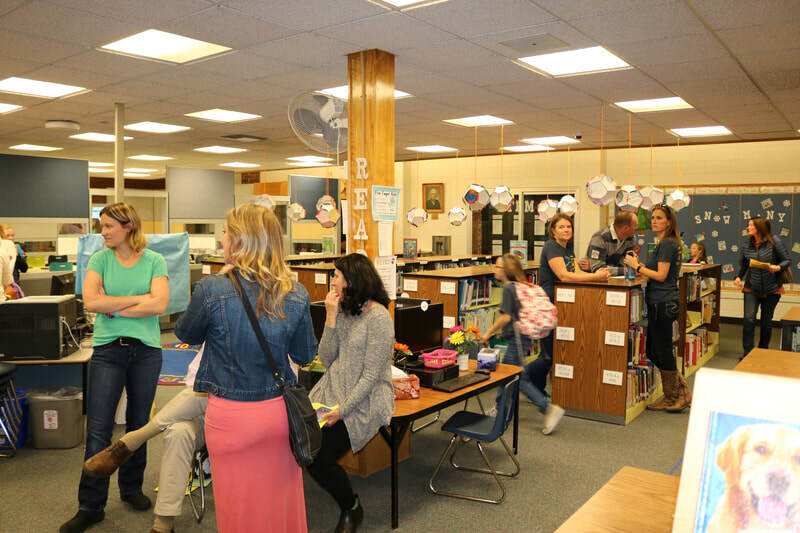 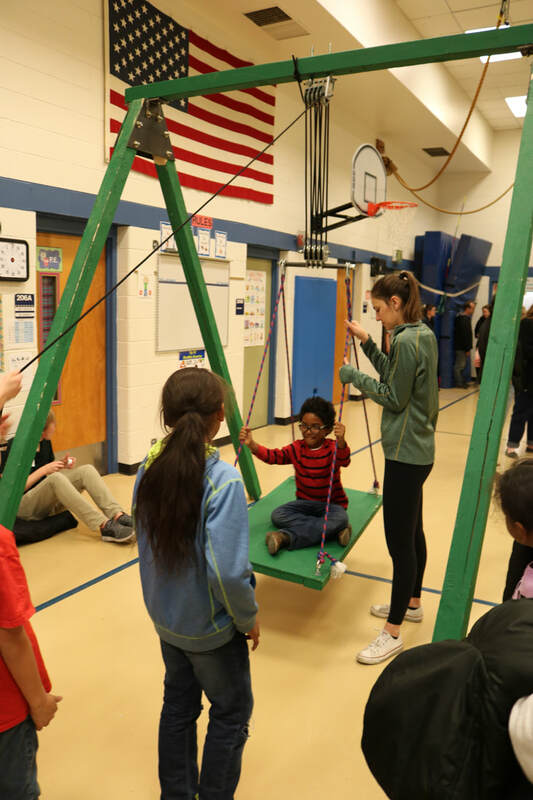 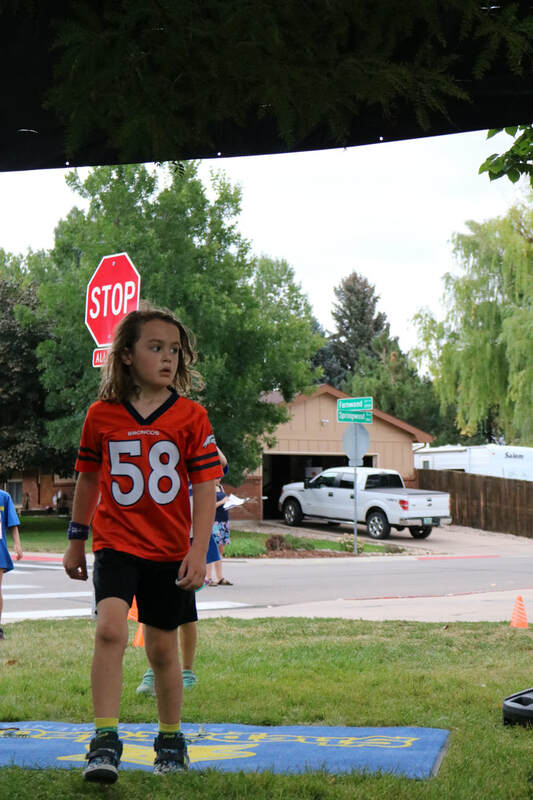 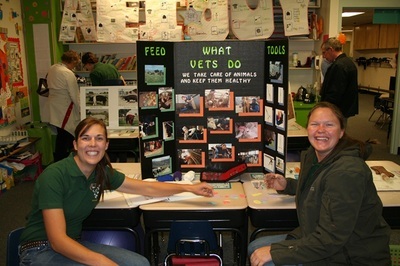 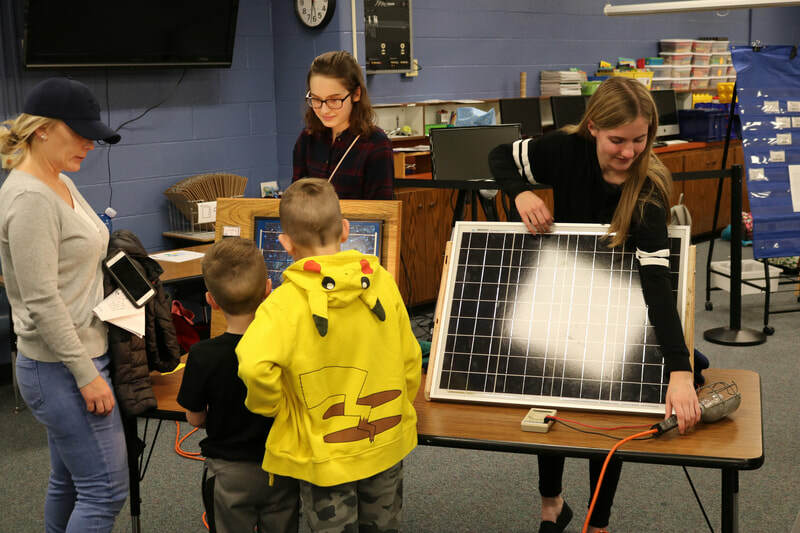 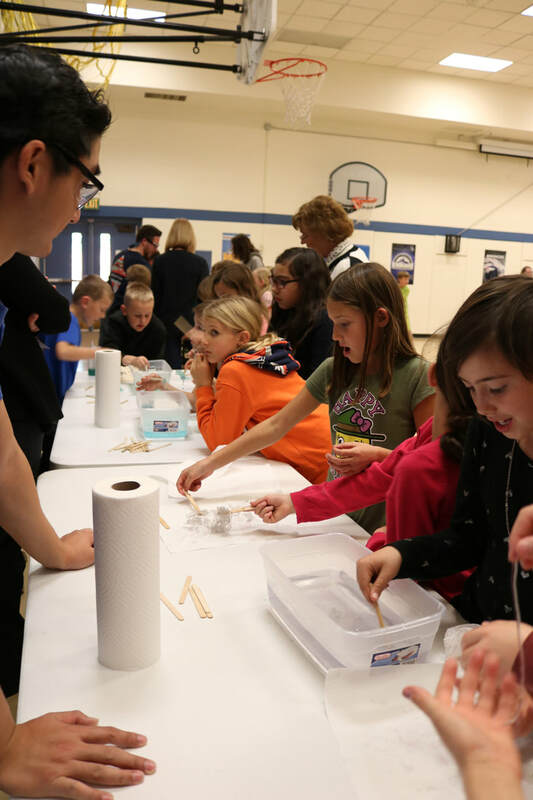 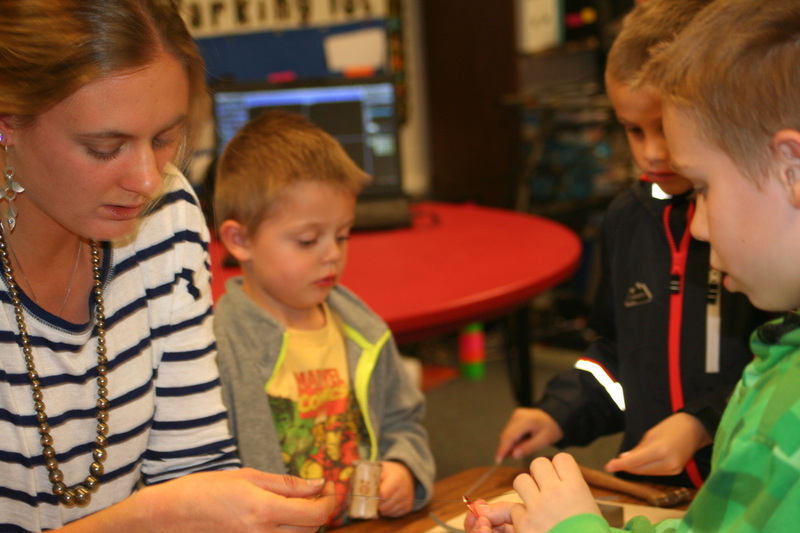 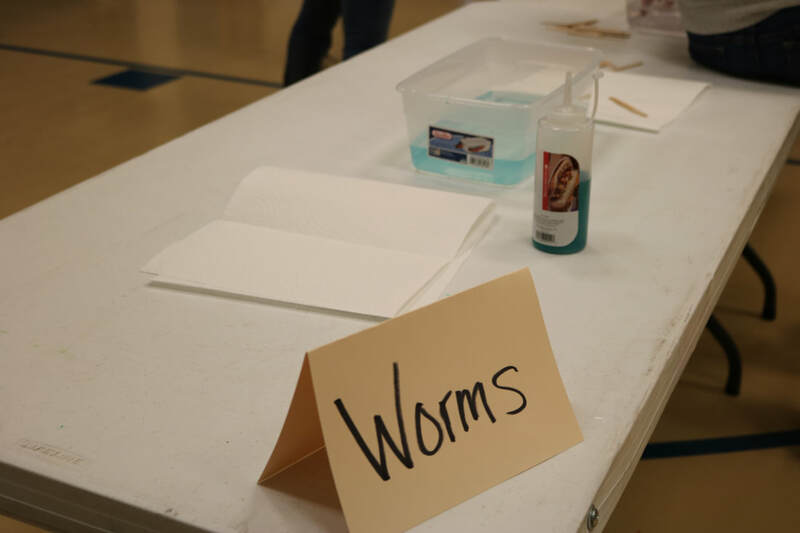 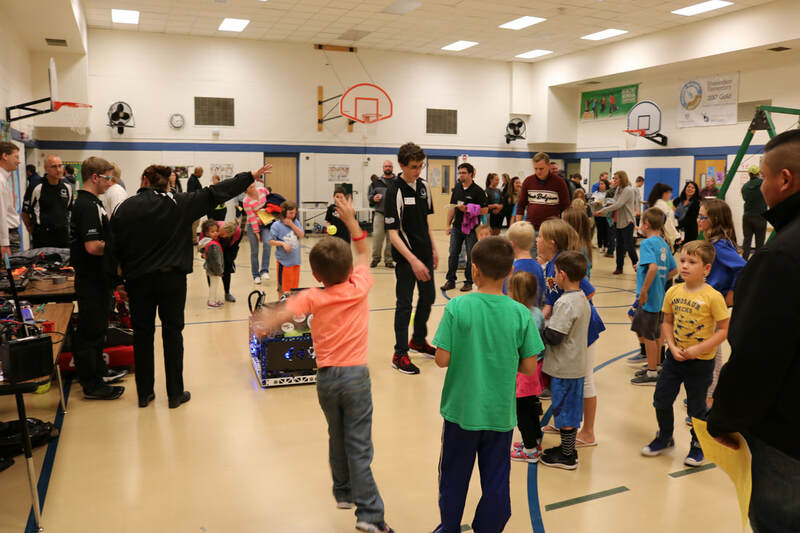 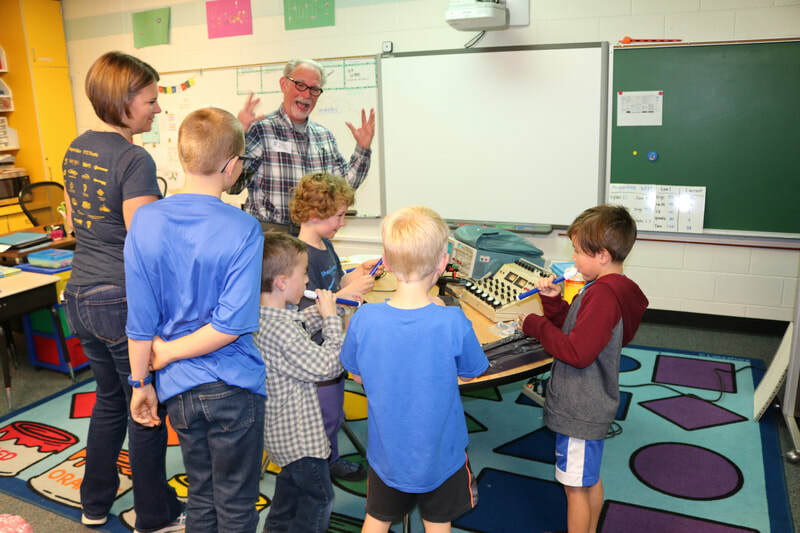 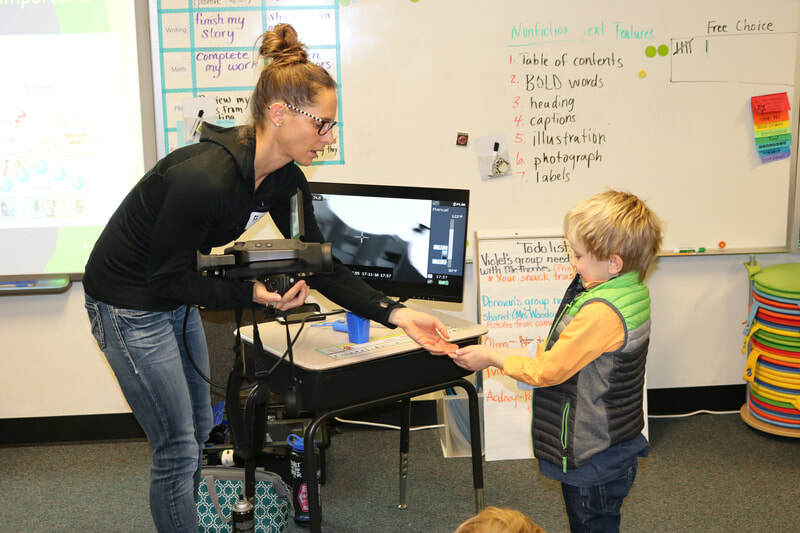 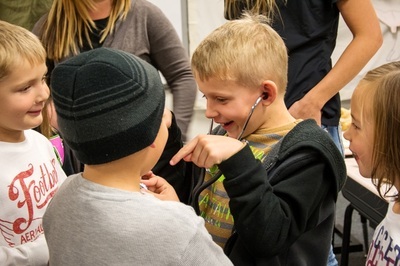 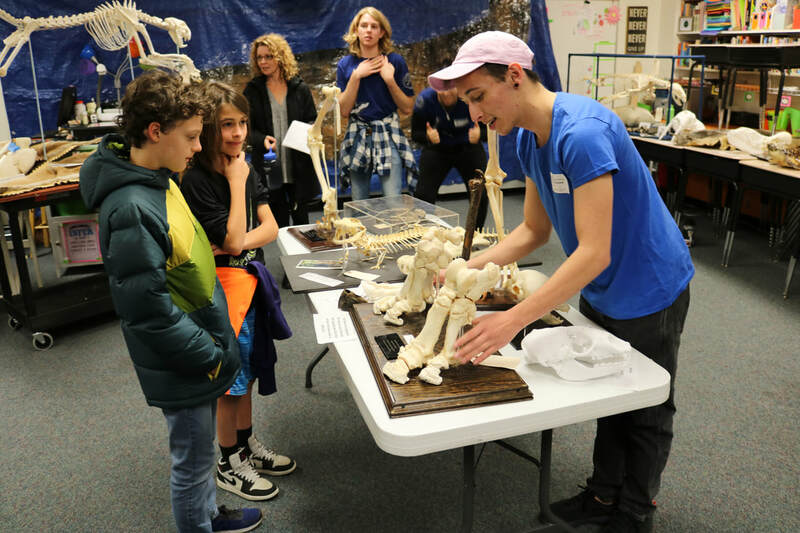 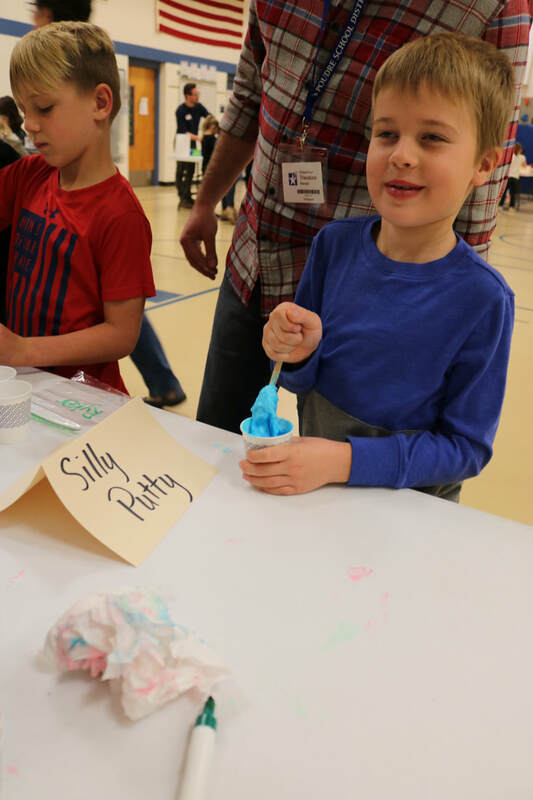 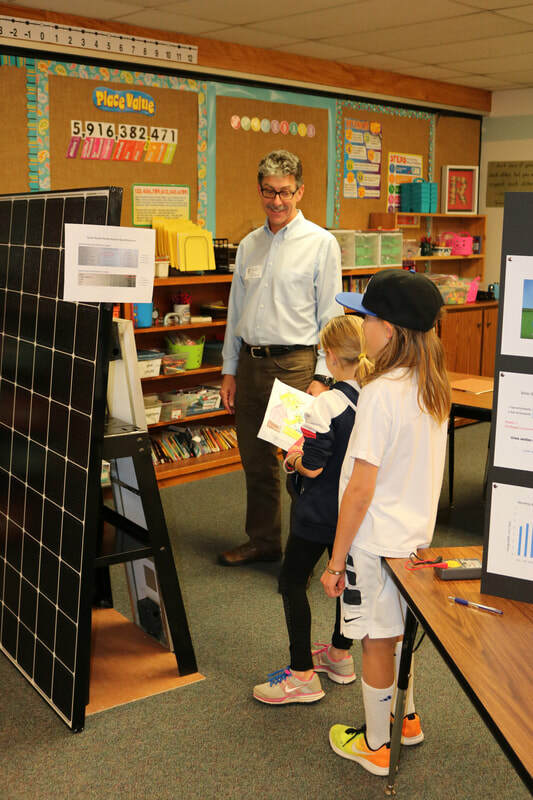 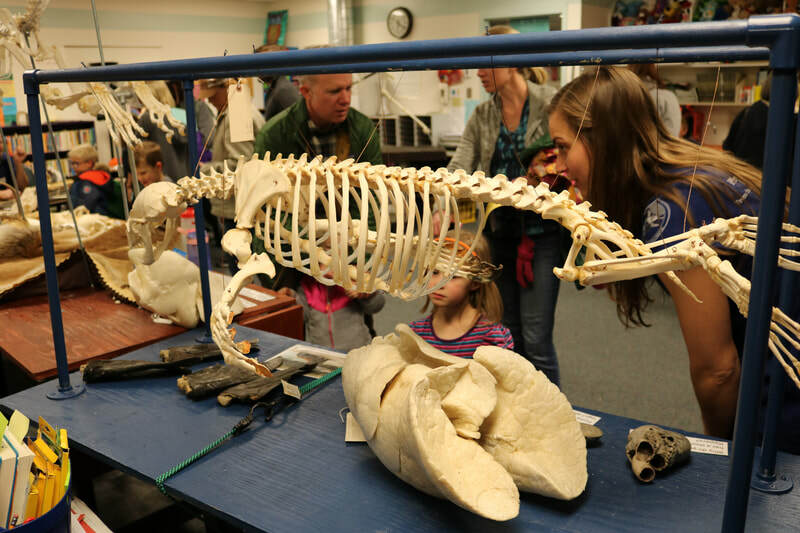 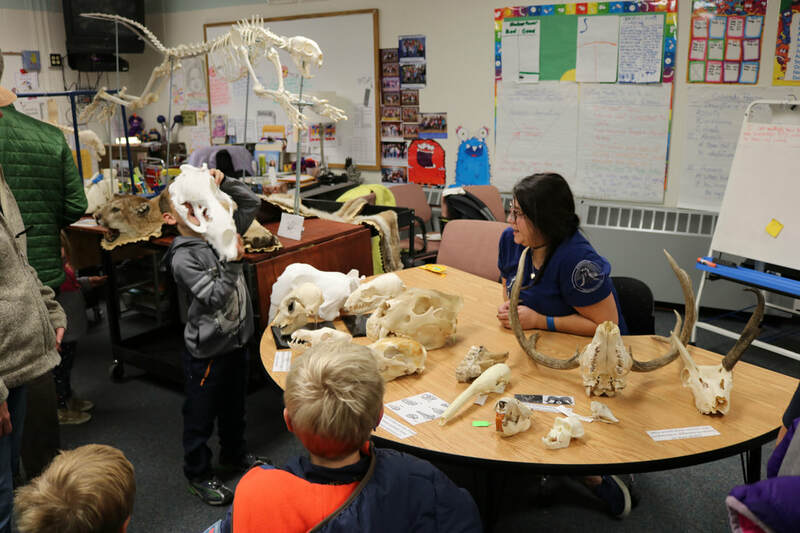 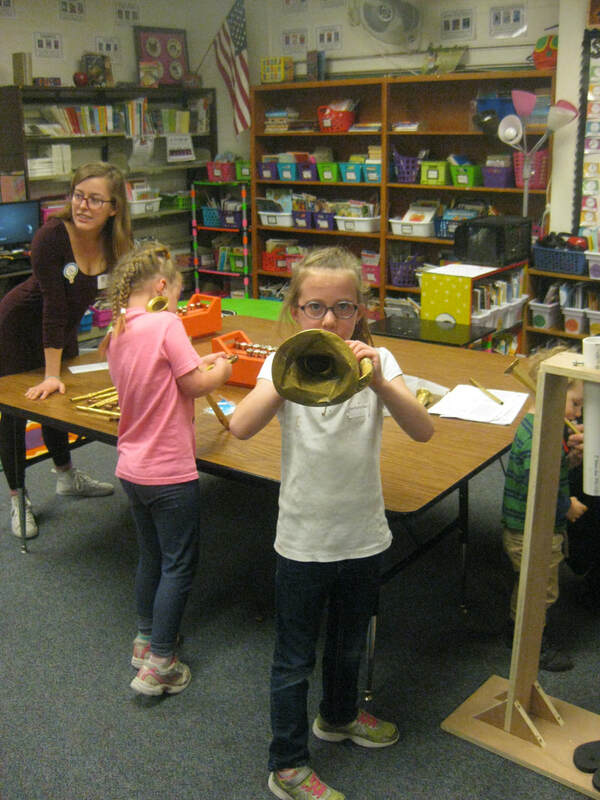 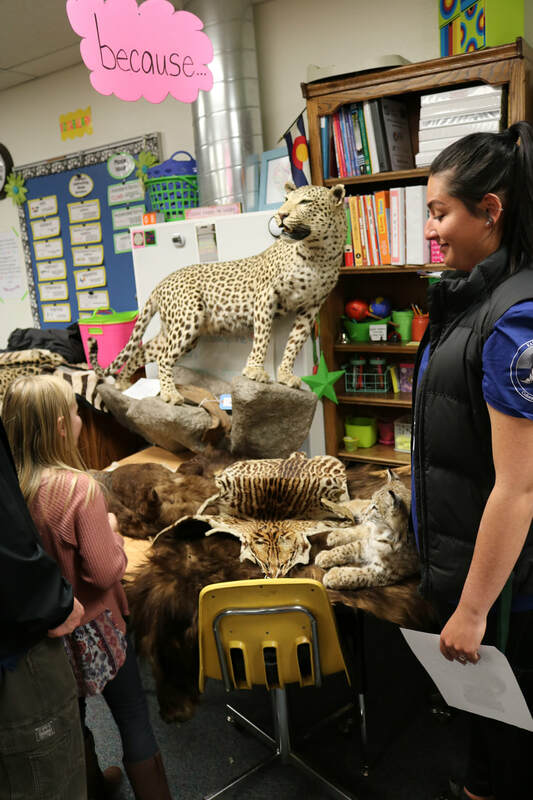 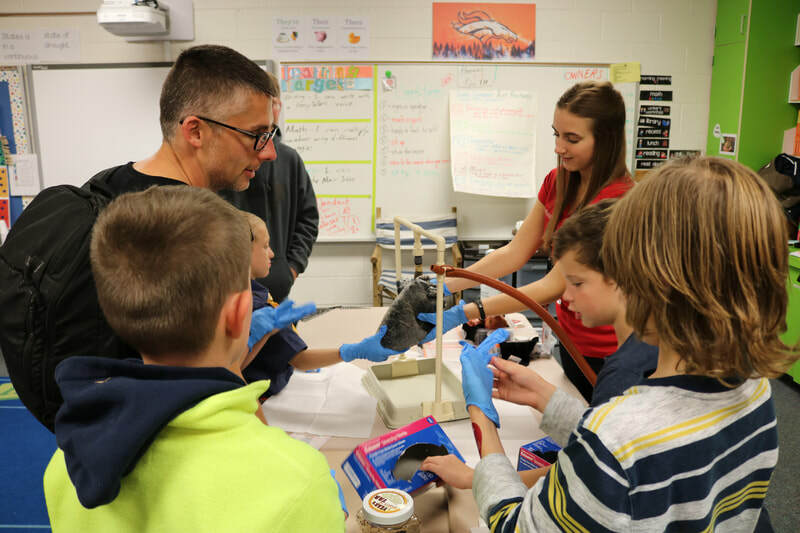 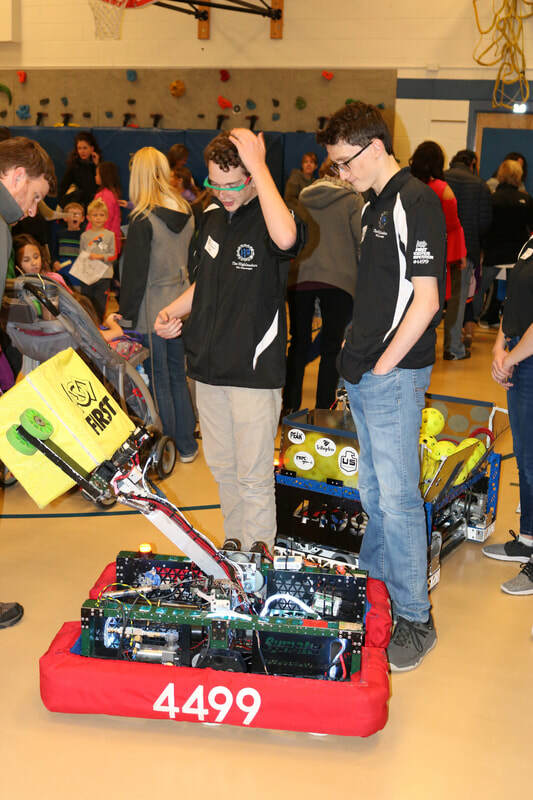 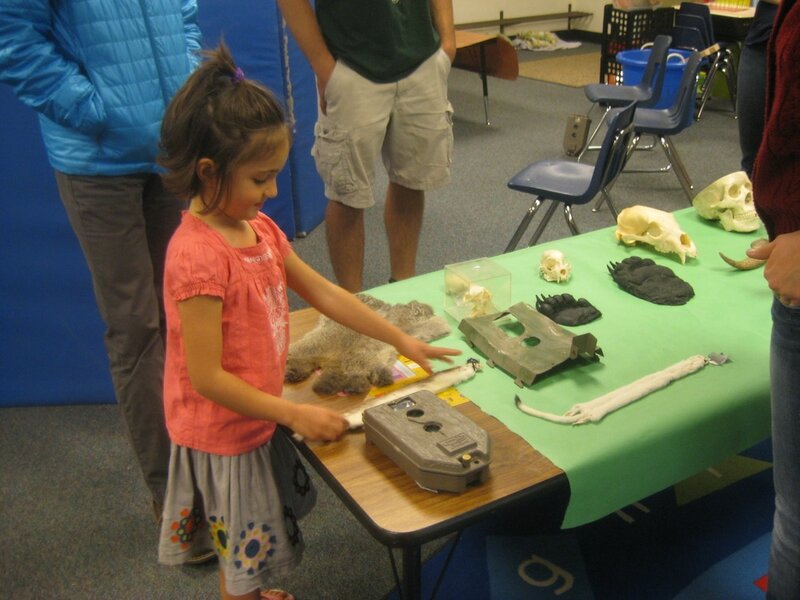 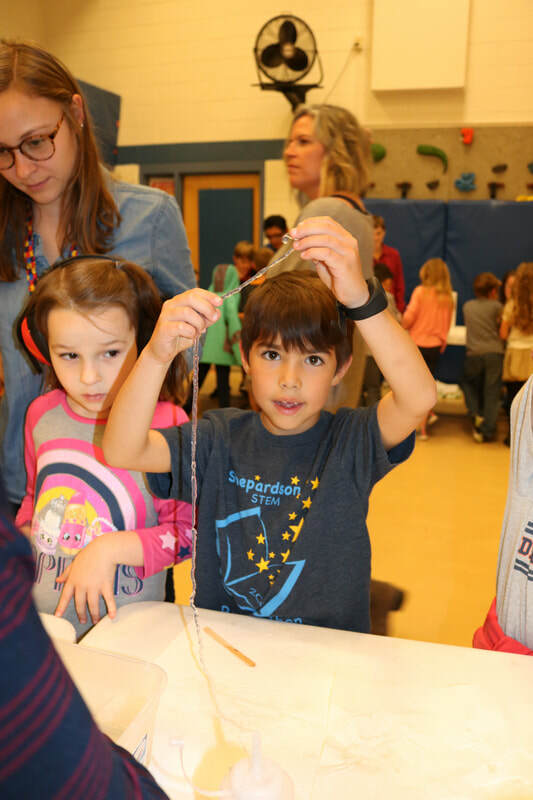 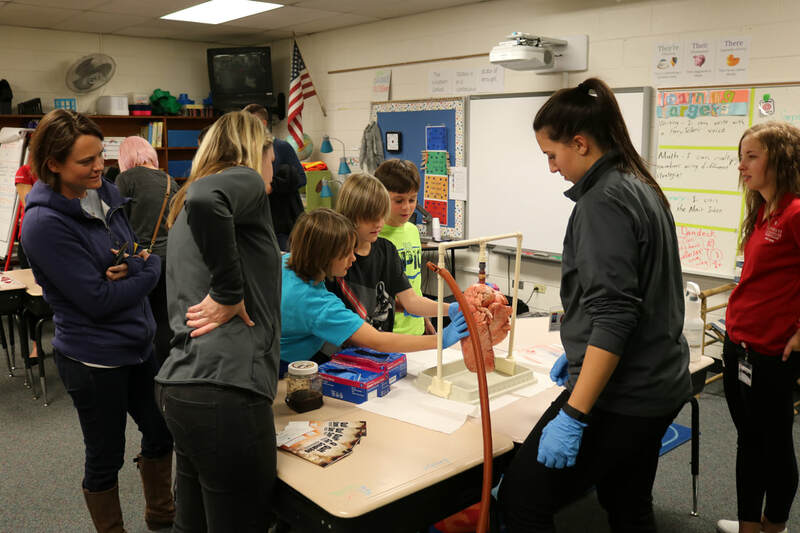 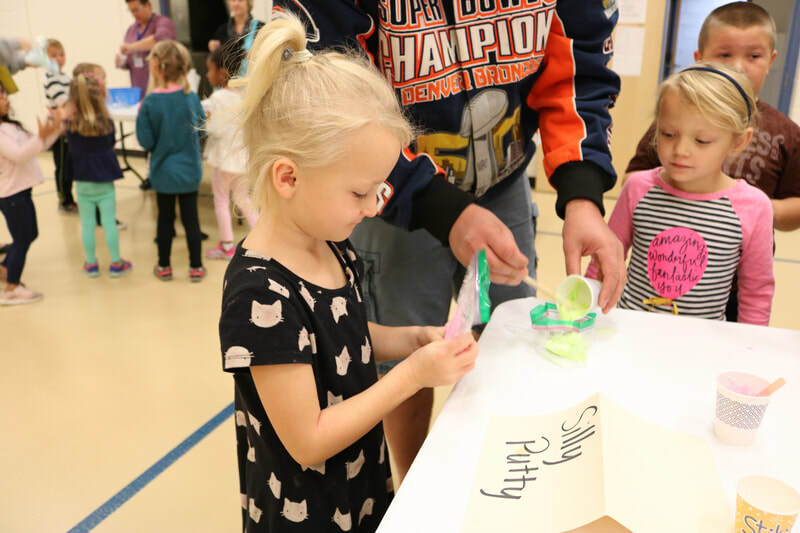 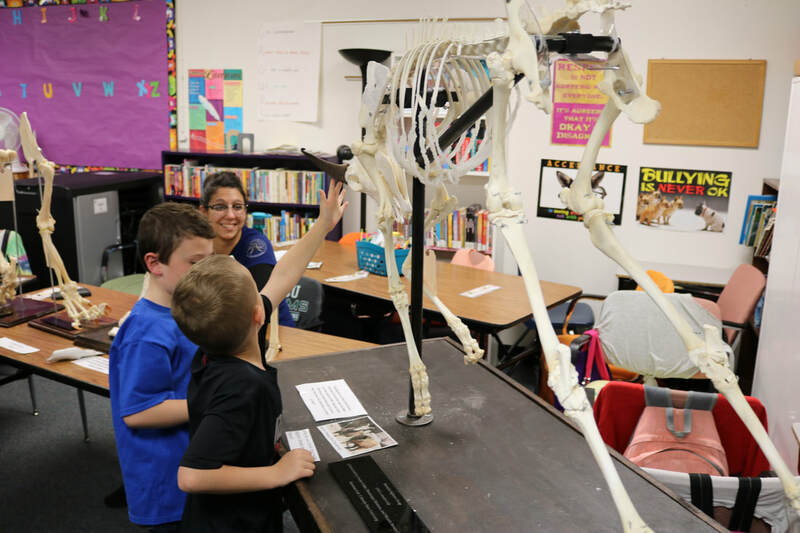 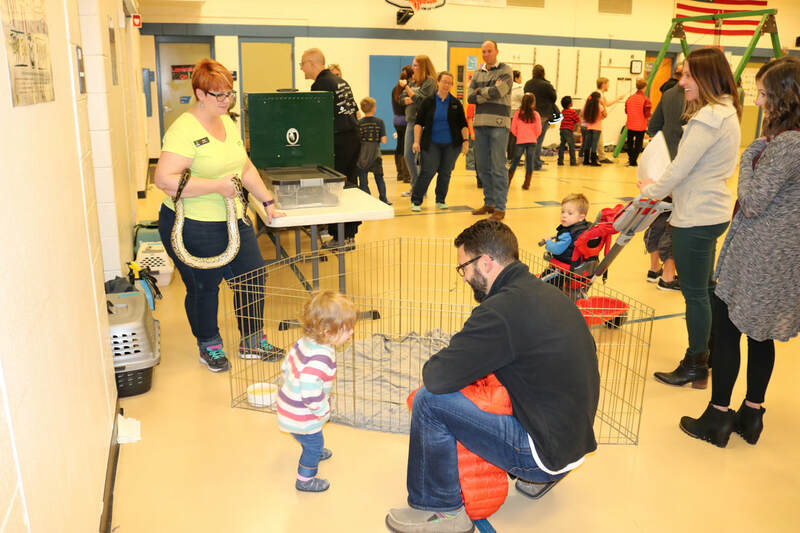 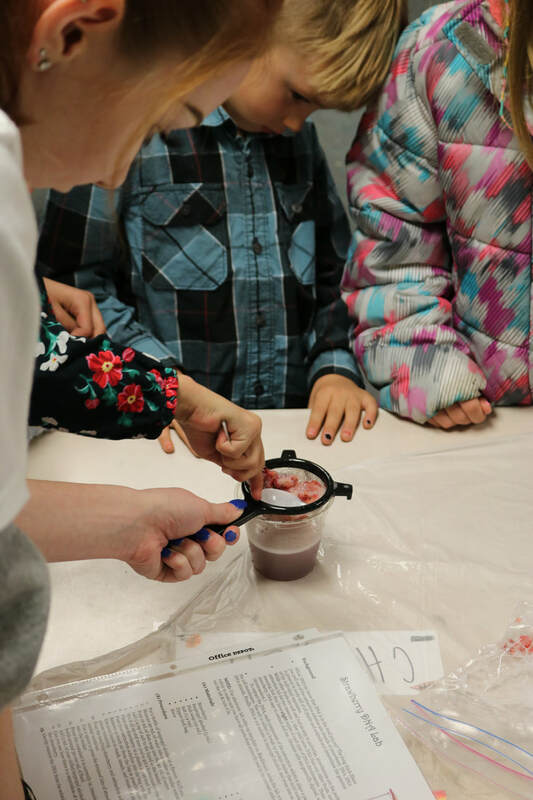 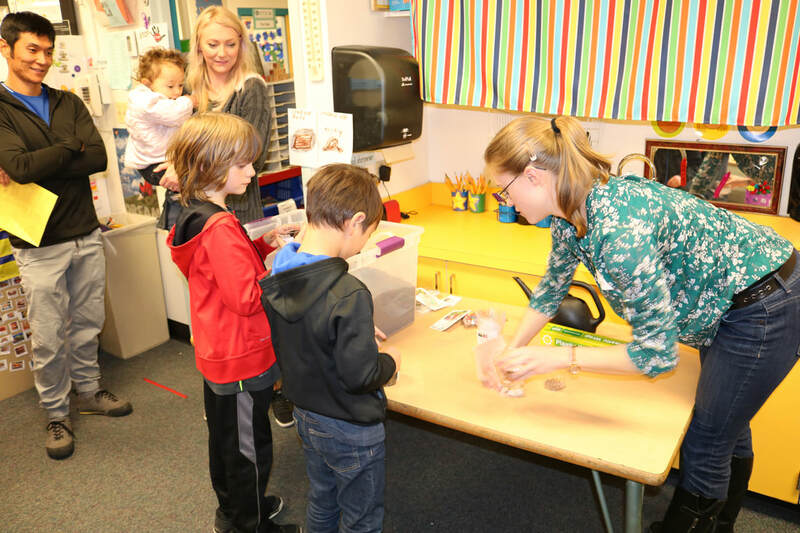 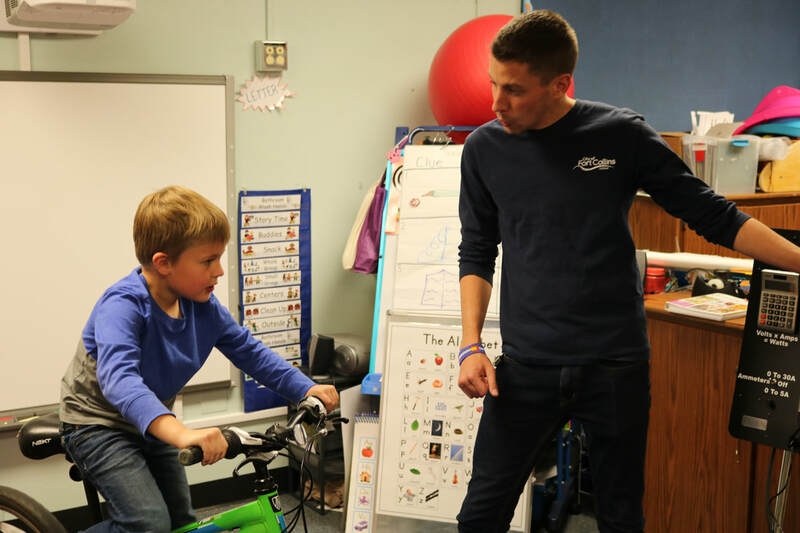 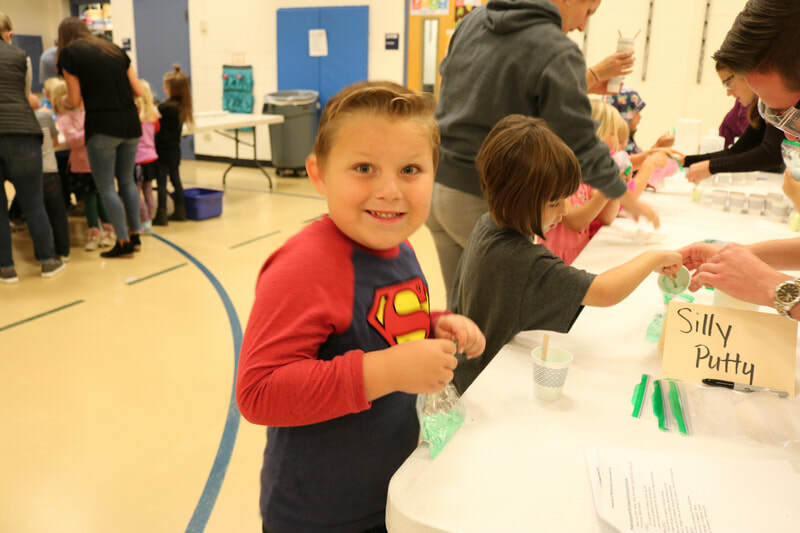 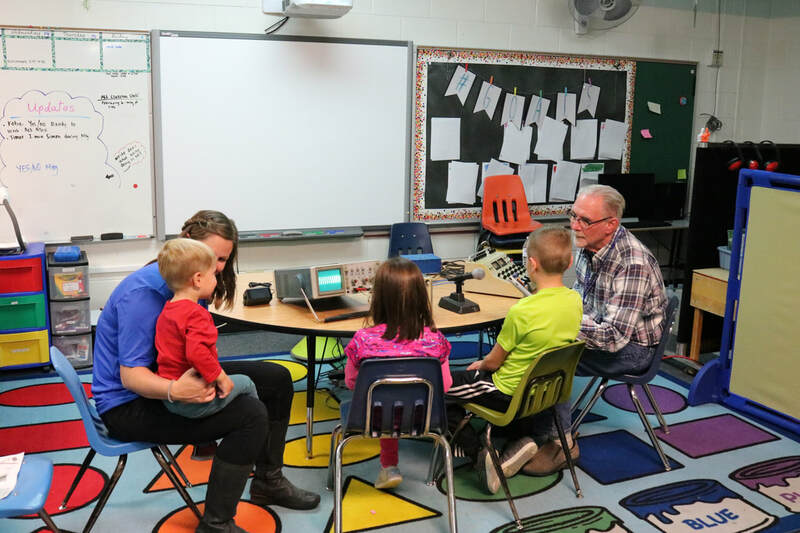 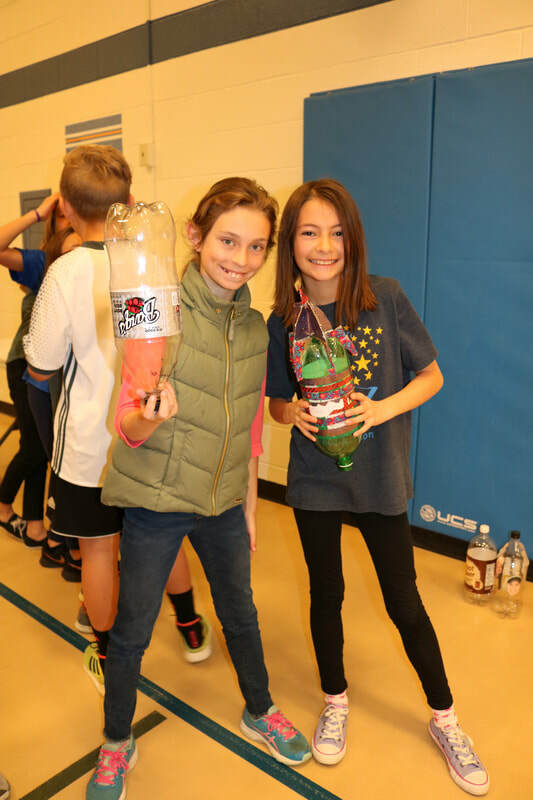 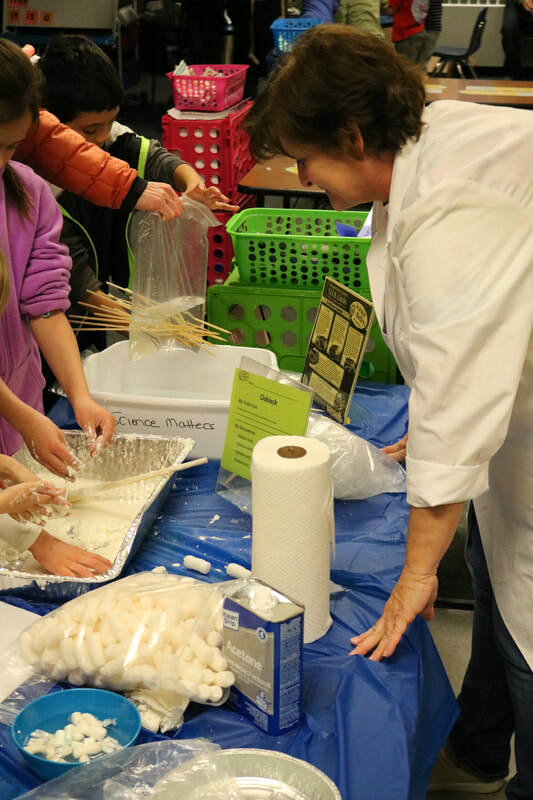 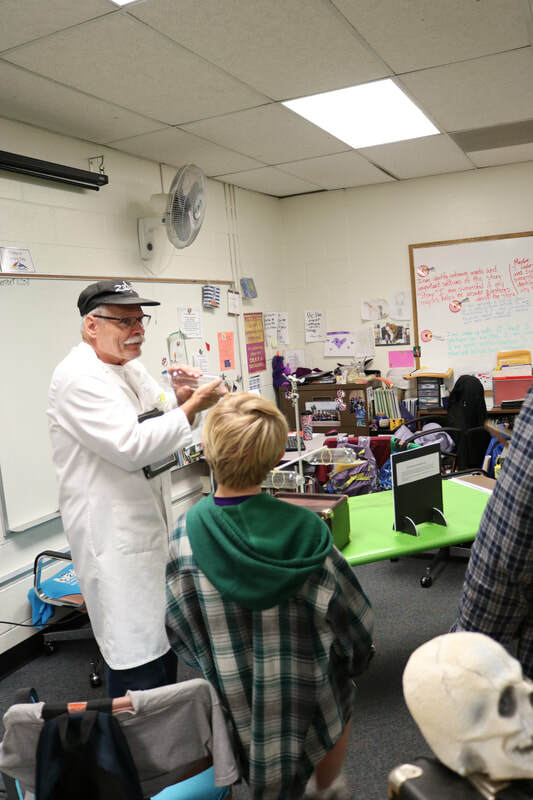 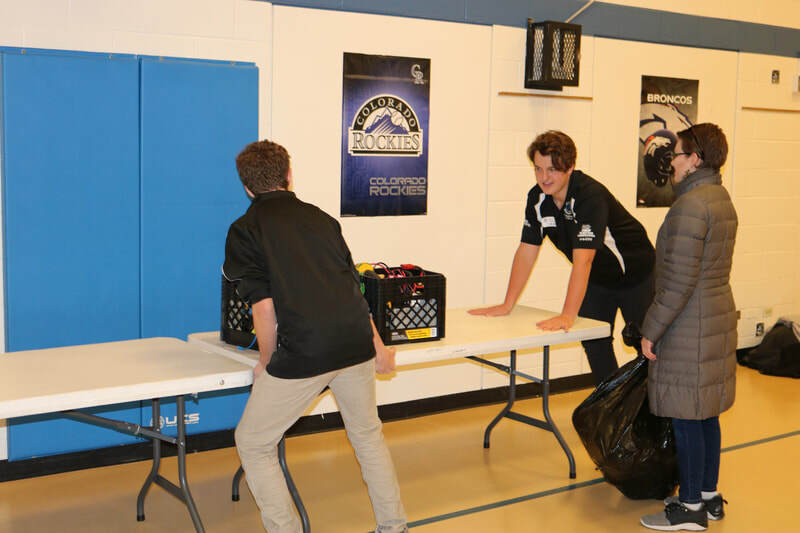 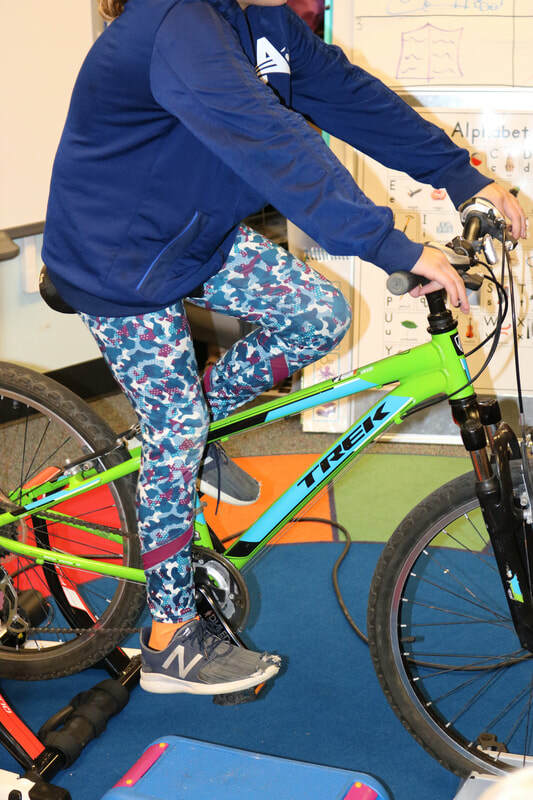 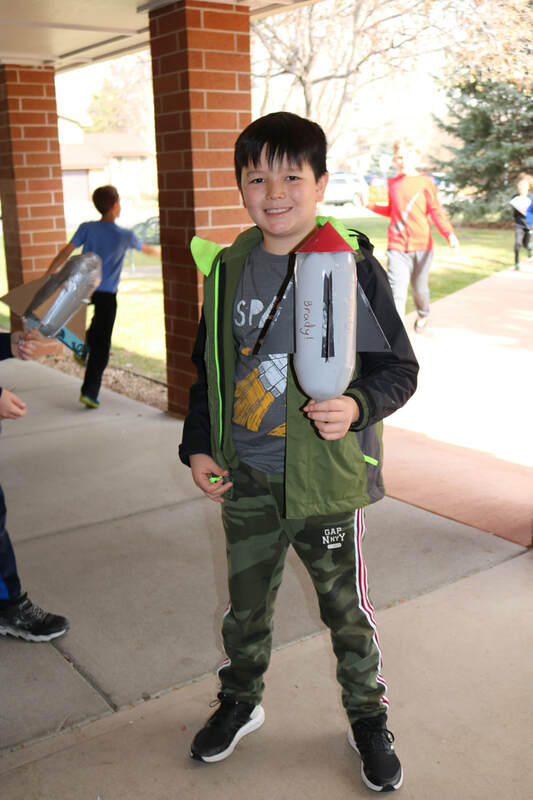 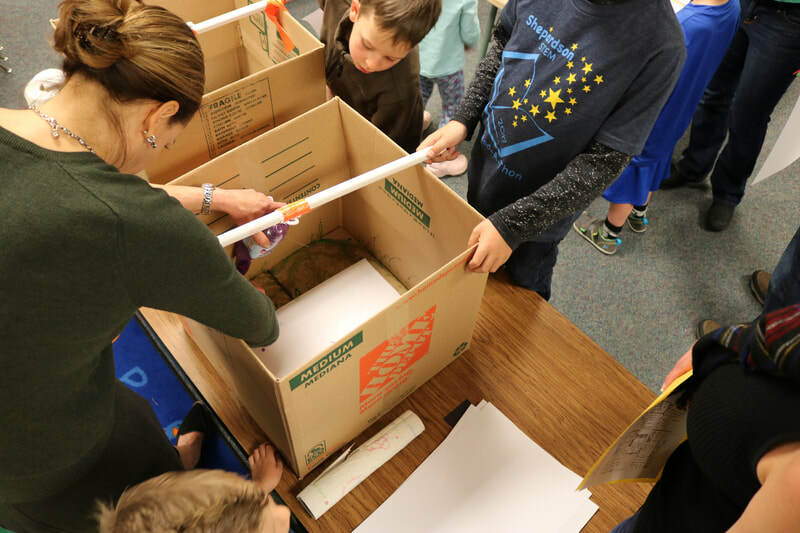 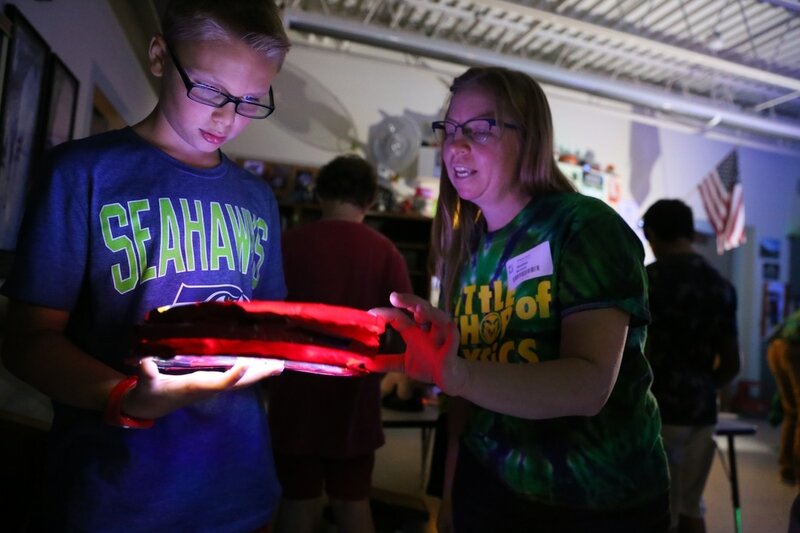 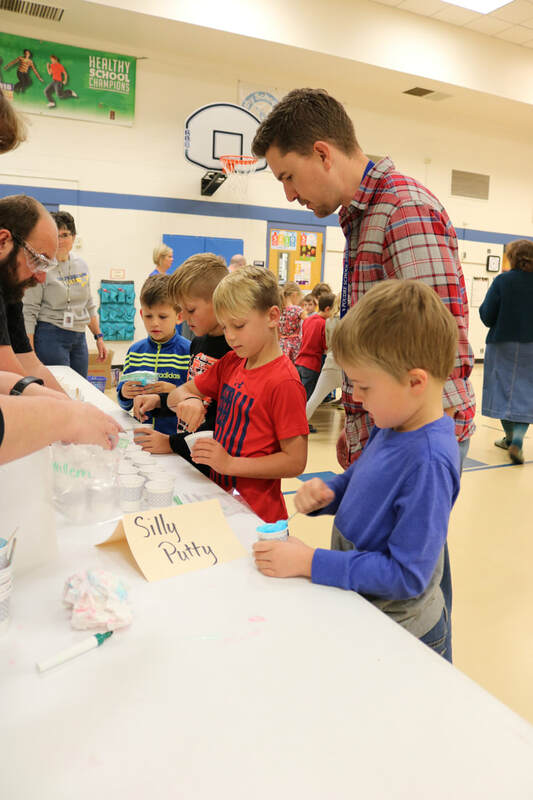 There were demonstrations and hand-on activities to introduce Shepardson students and their families to an amazing variety of STEM topics provided by CSU organizations and a variety of community organizations. 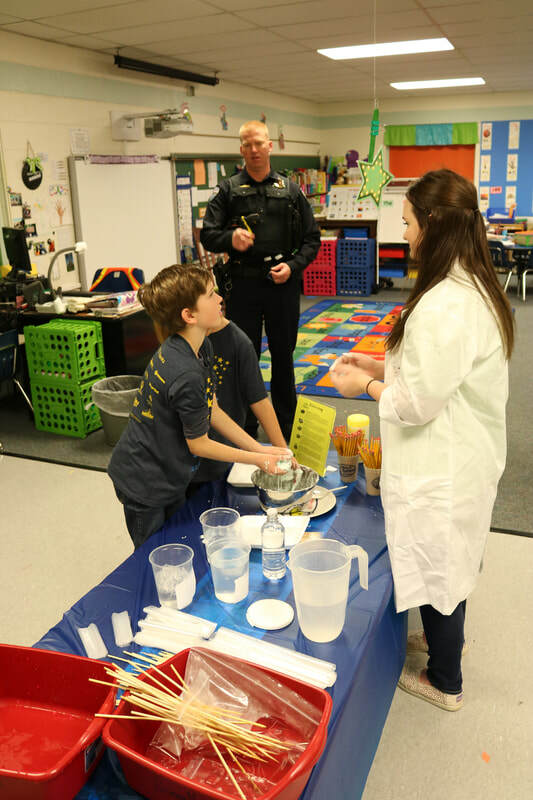 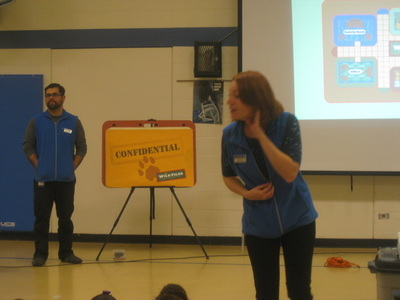 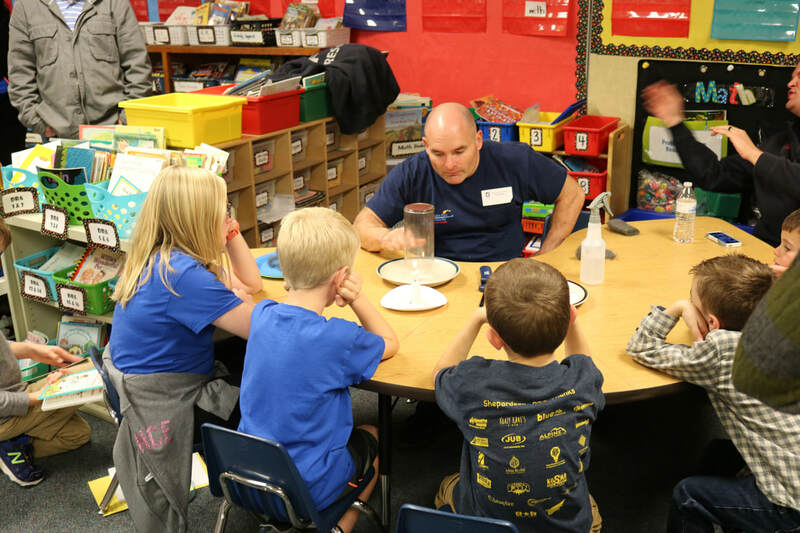 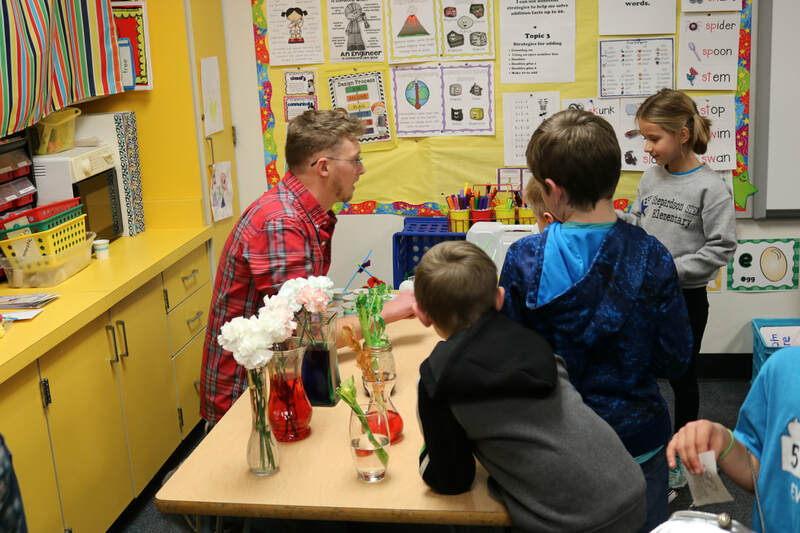 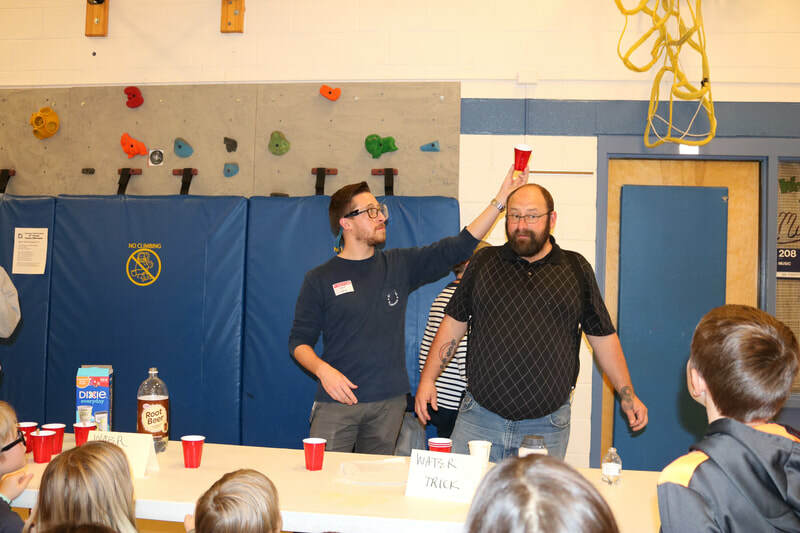 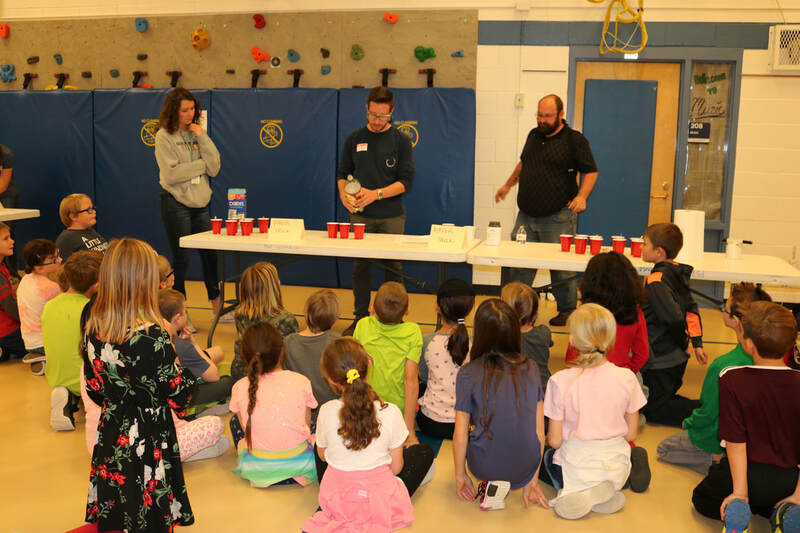 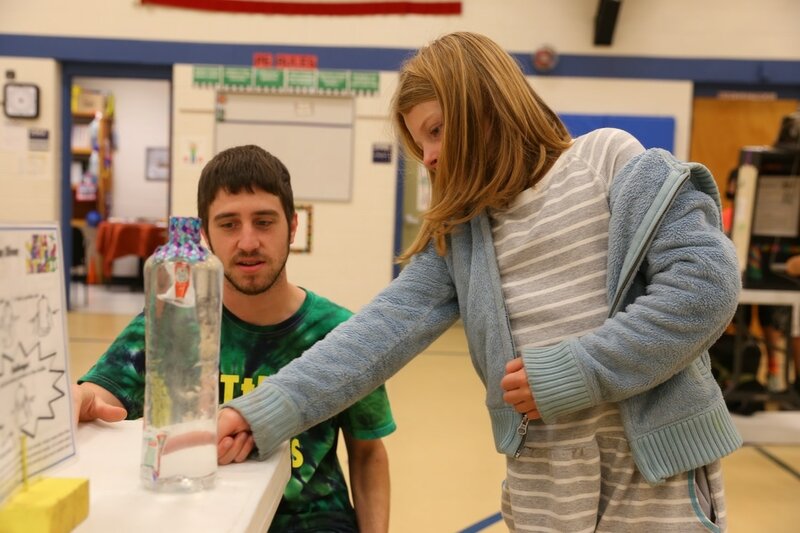 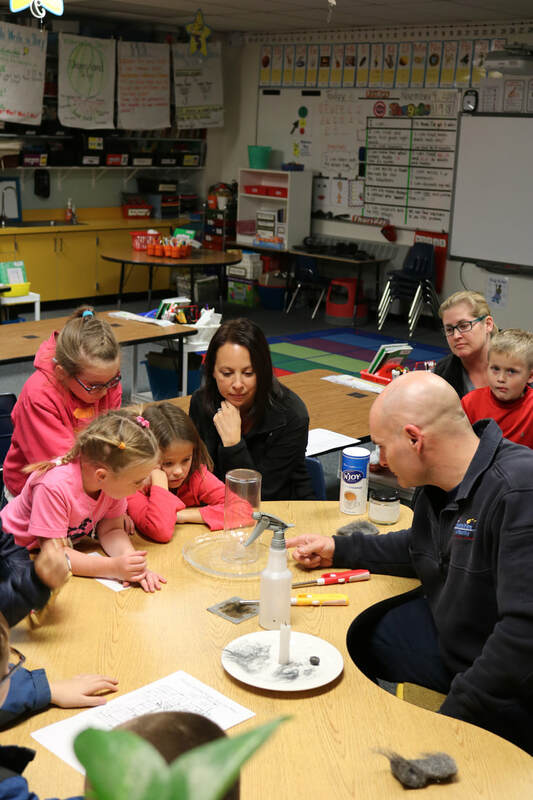 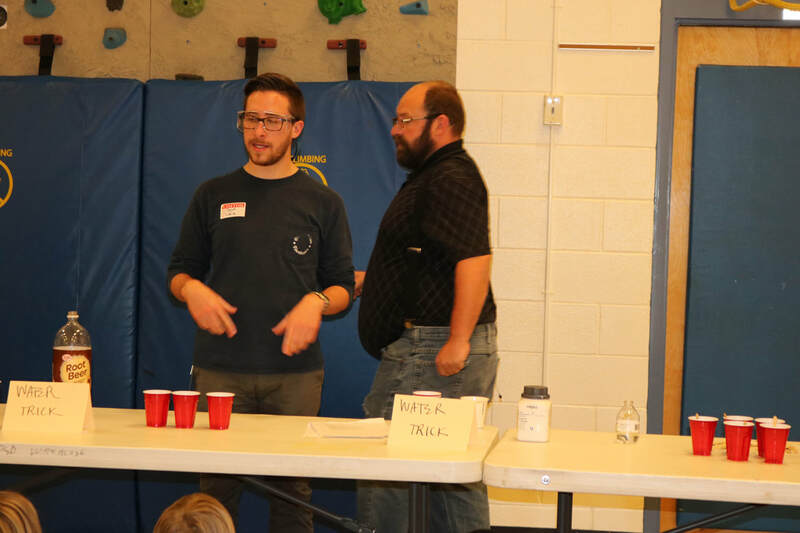 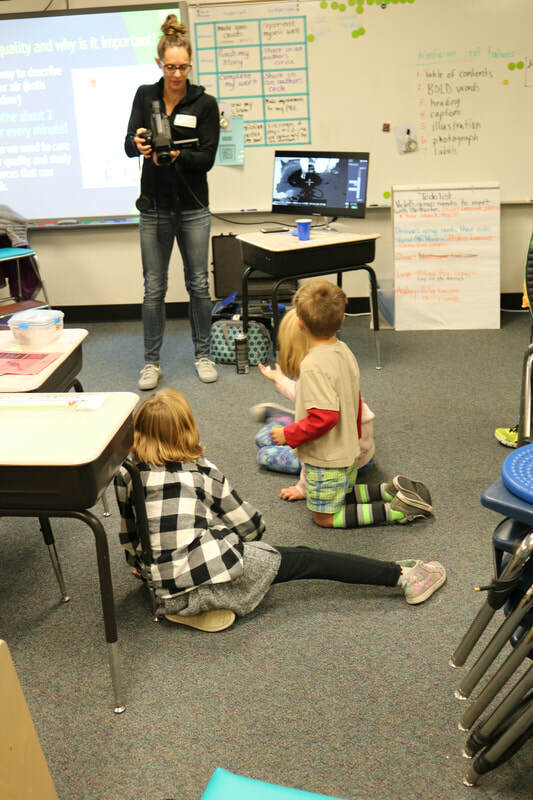 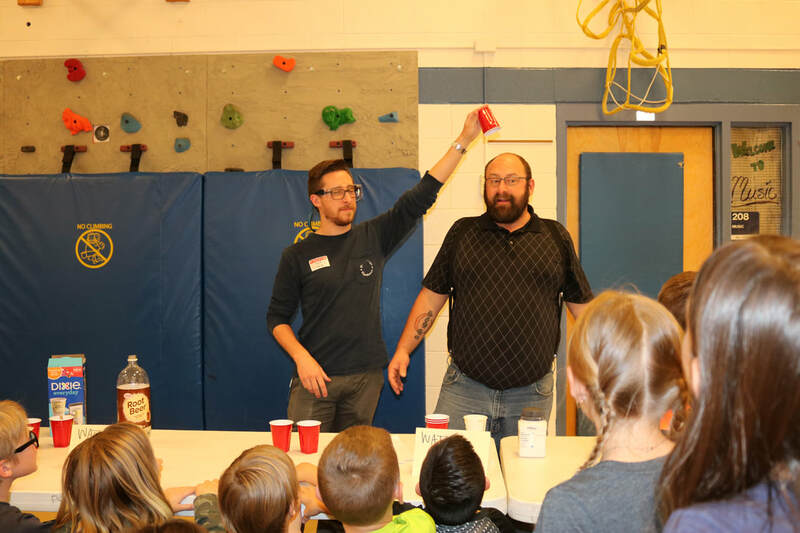 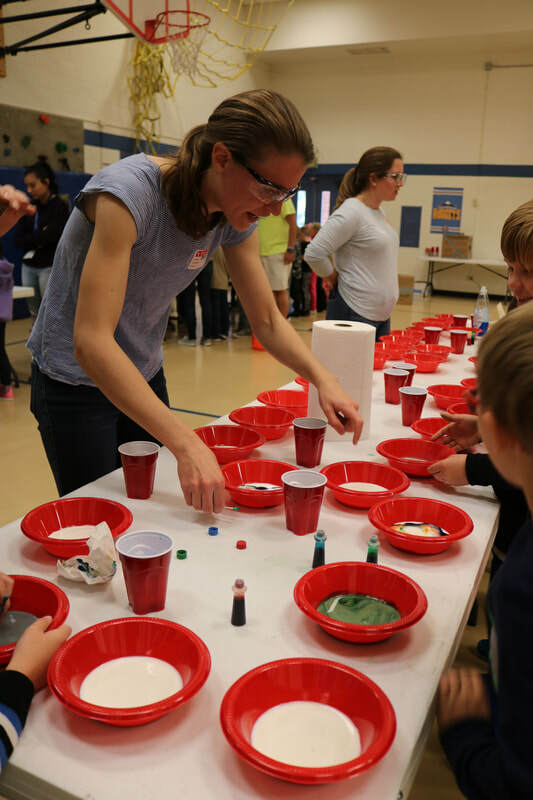 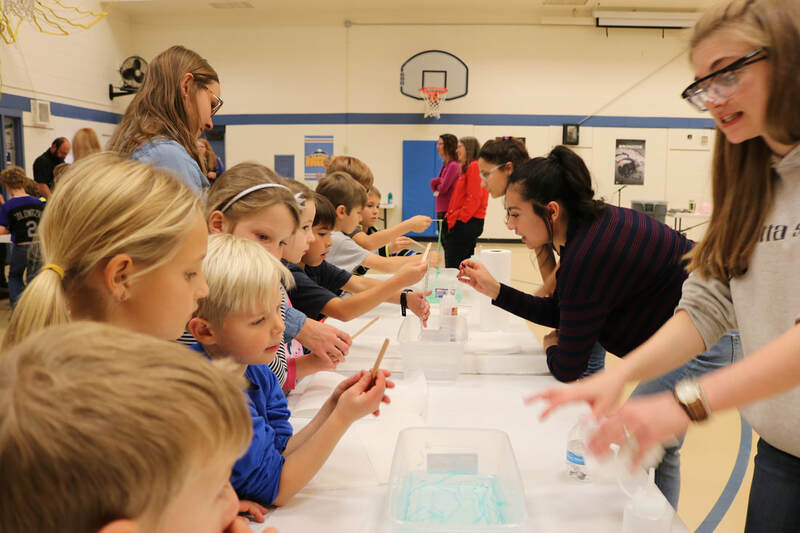 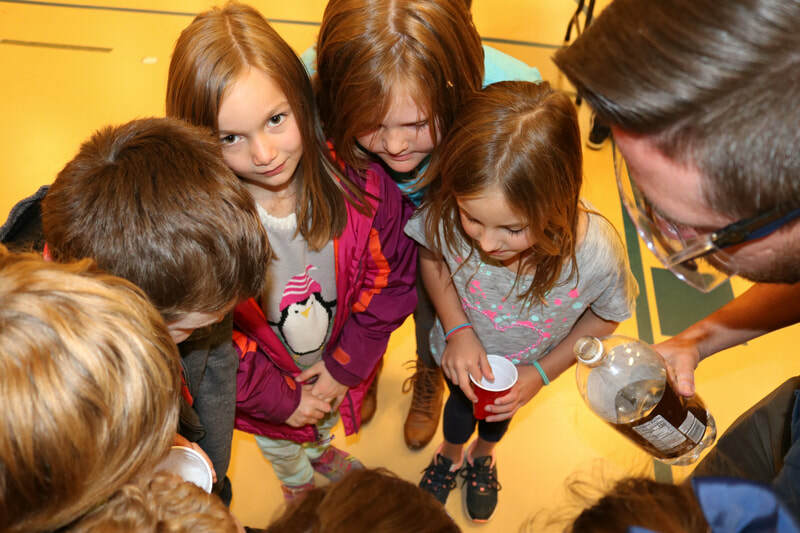 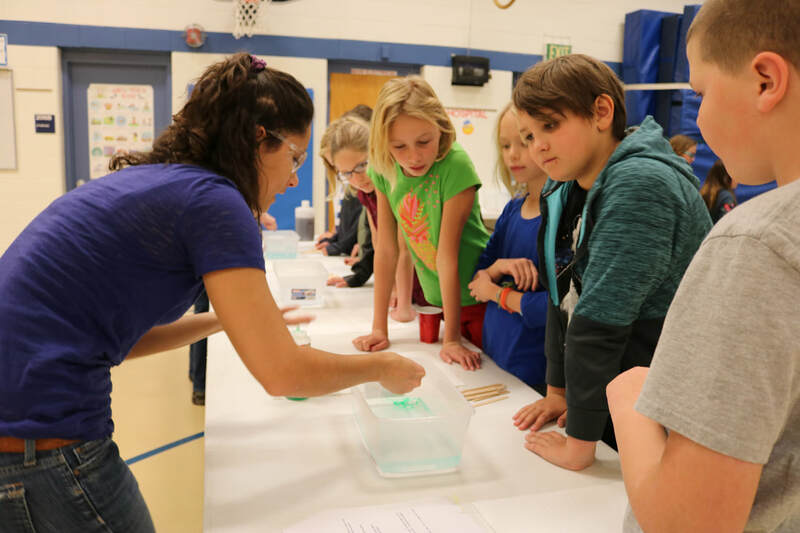 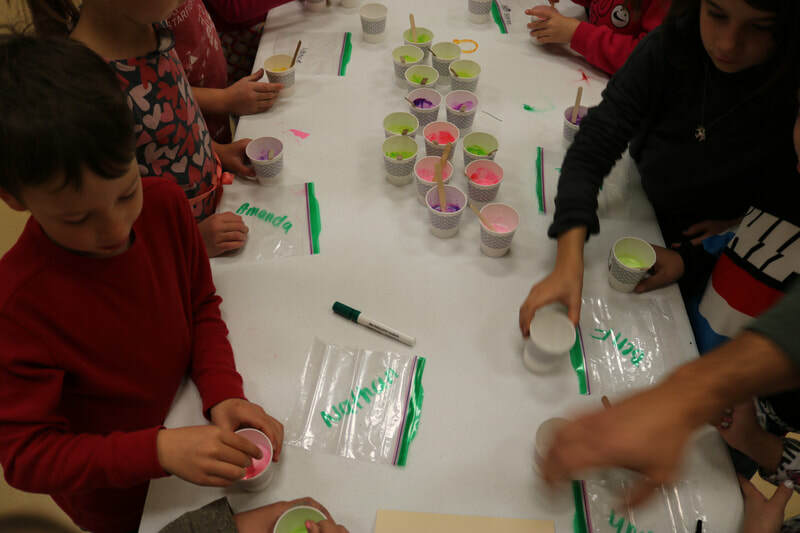 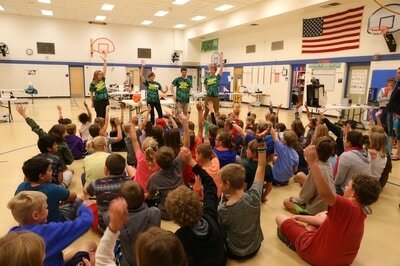 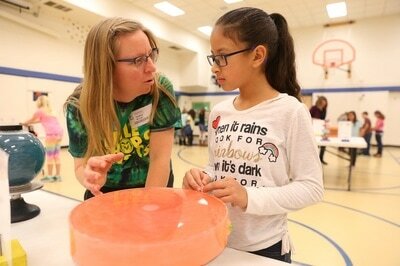 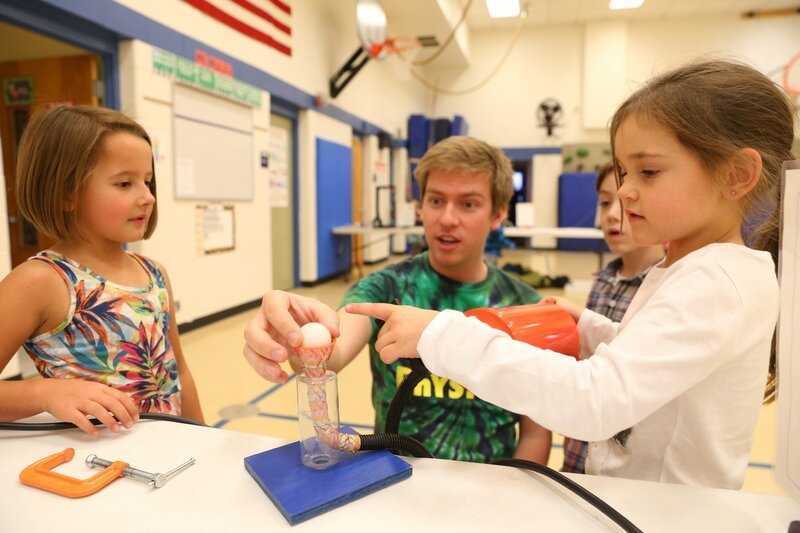 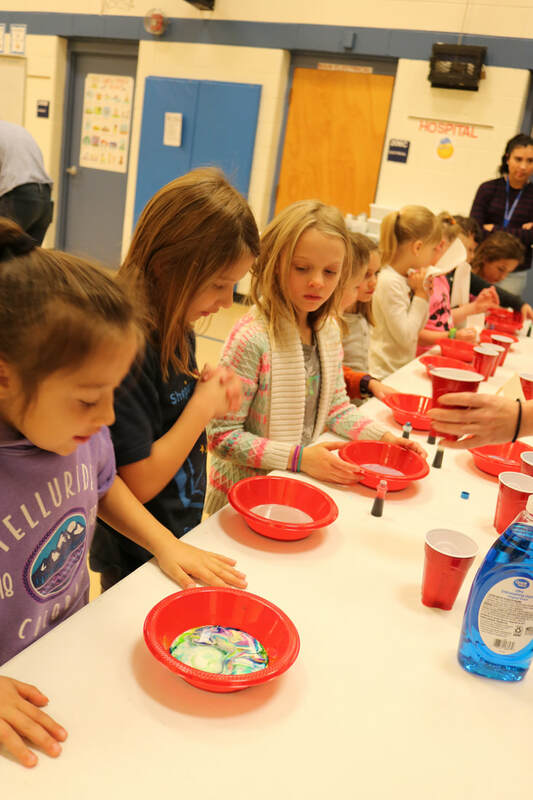 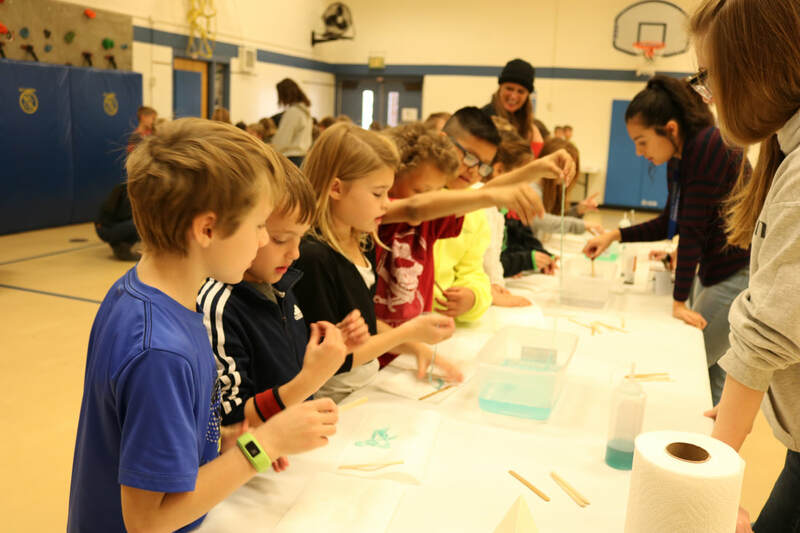 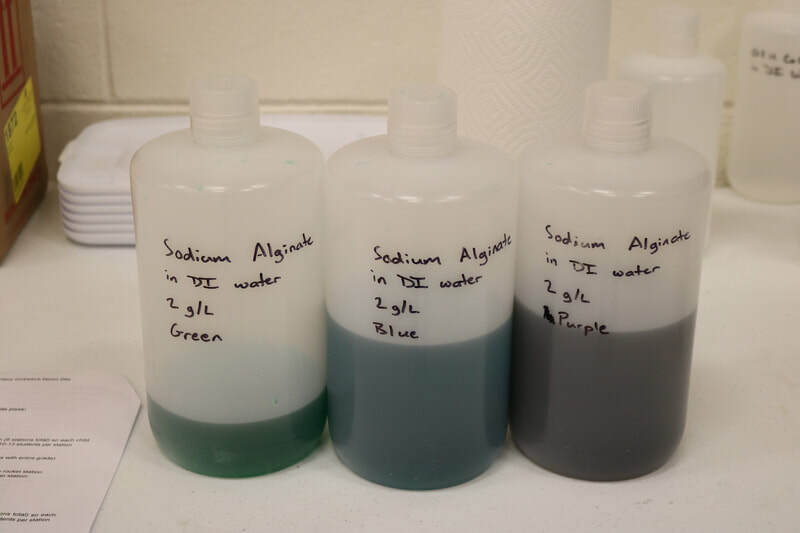 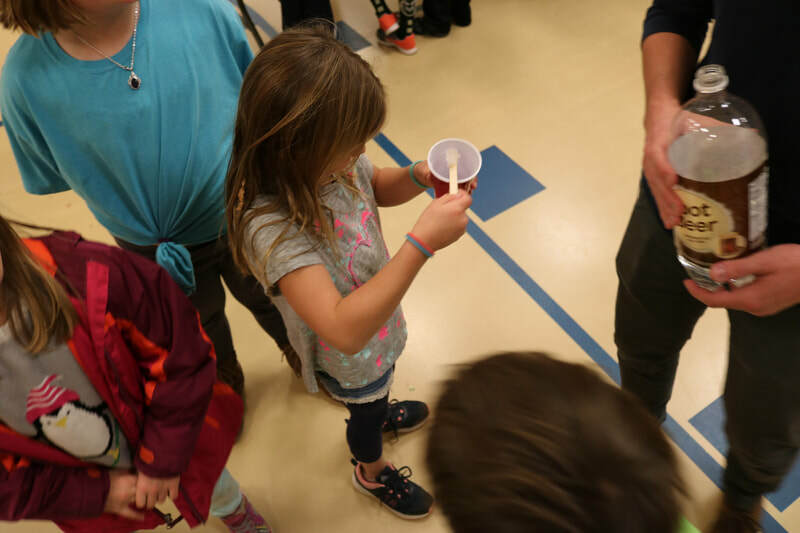 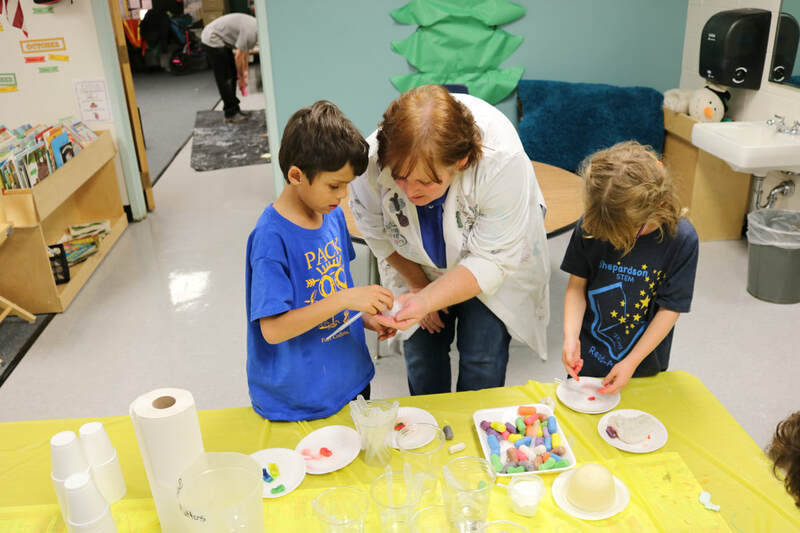 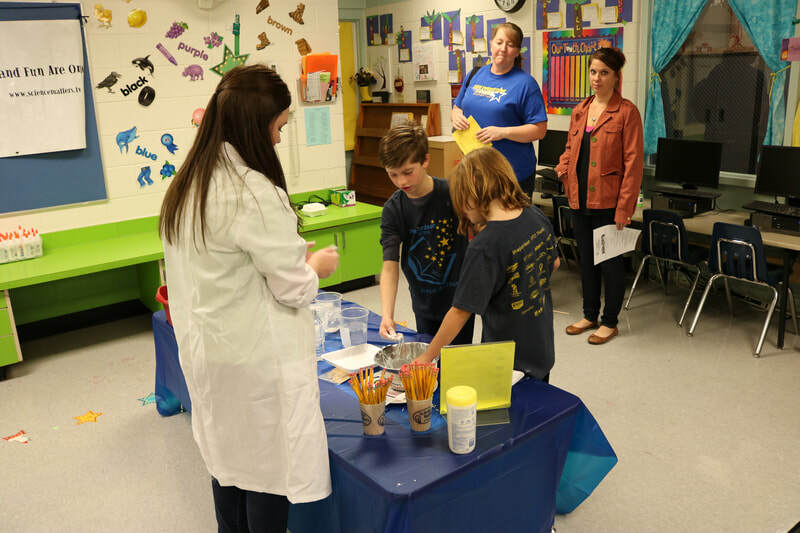 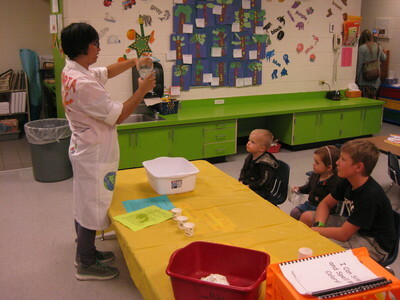 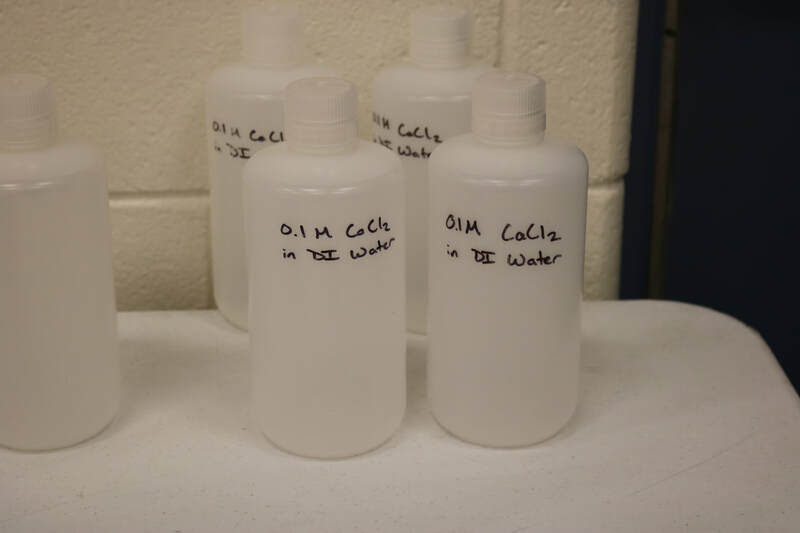 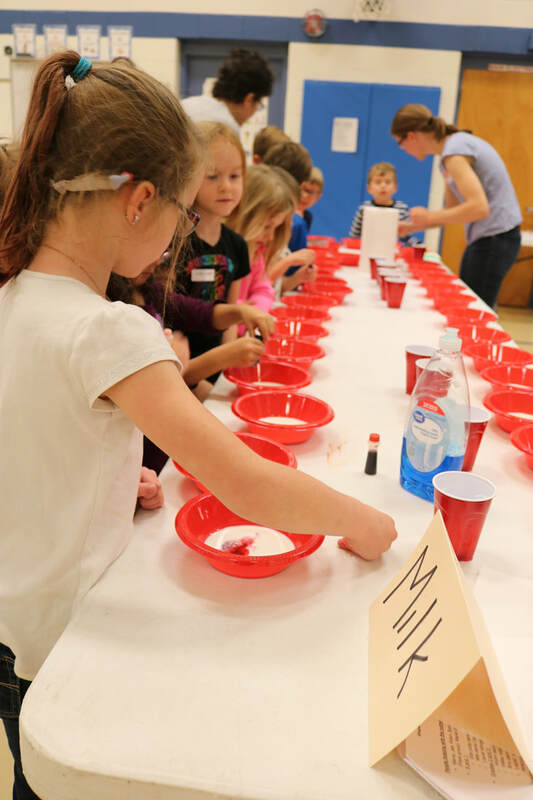 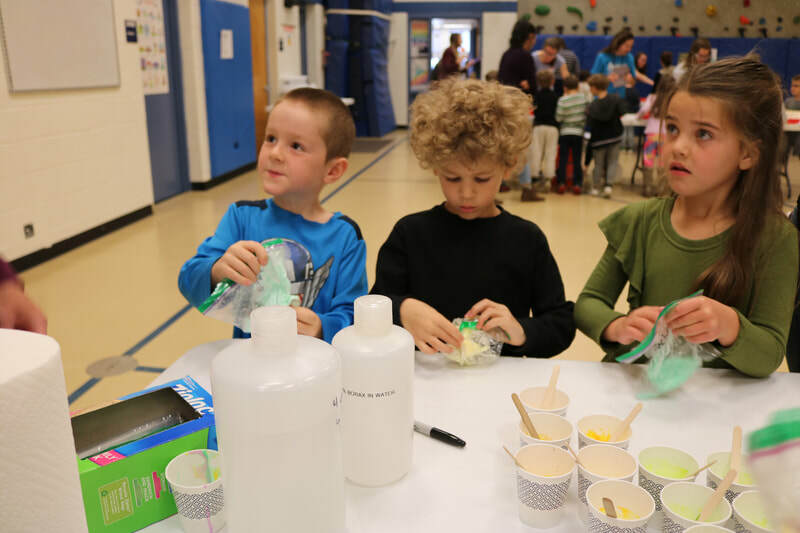 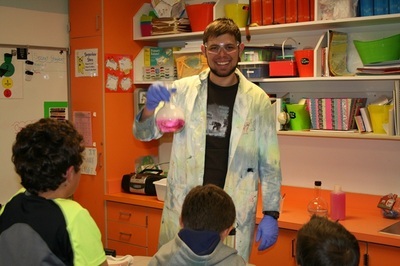 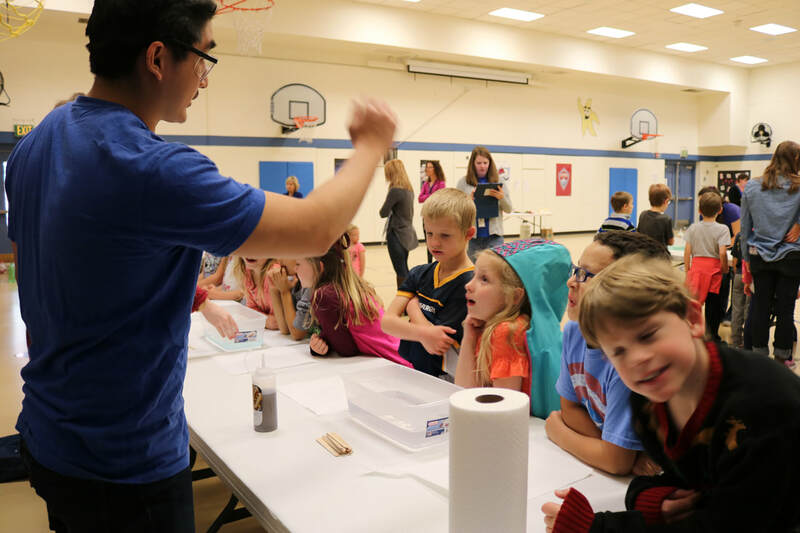 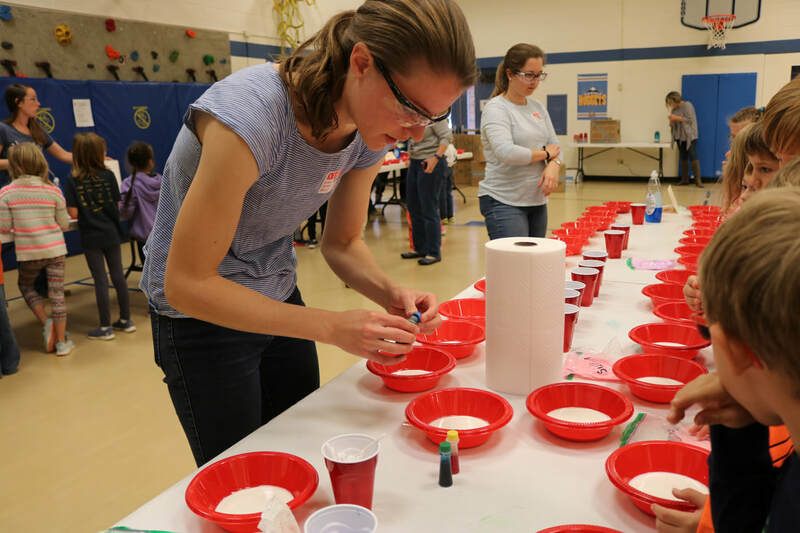 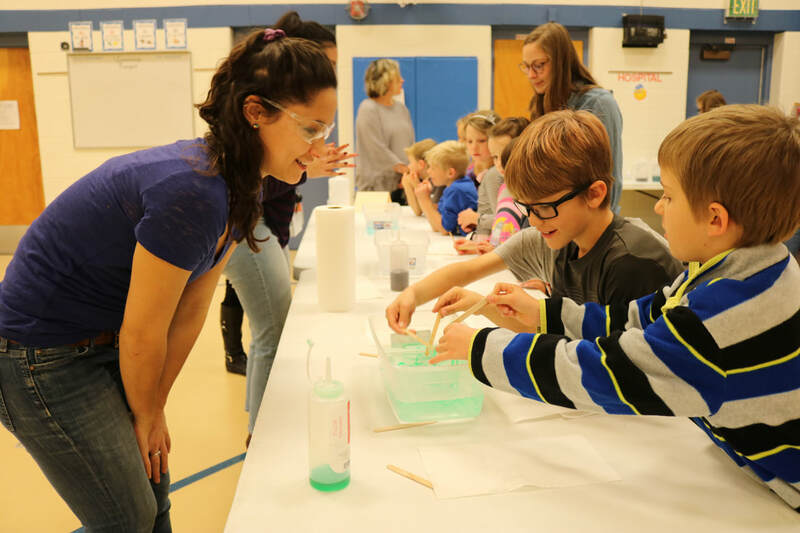 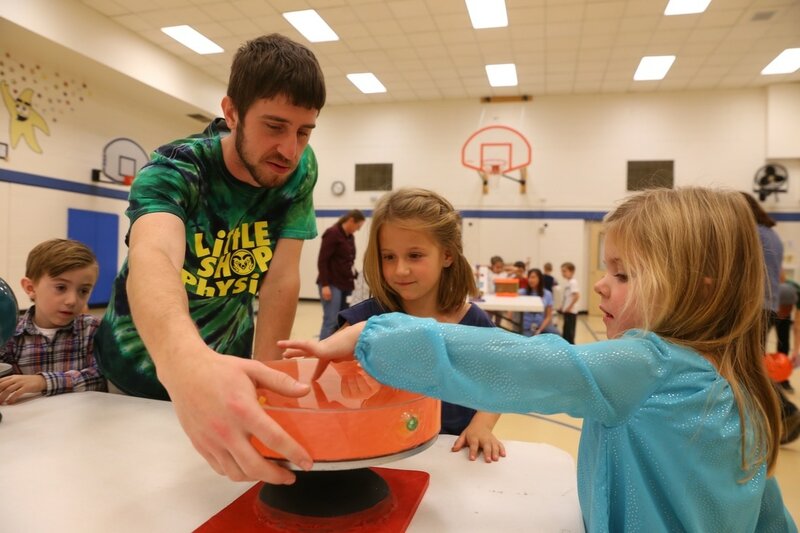 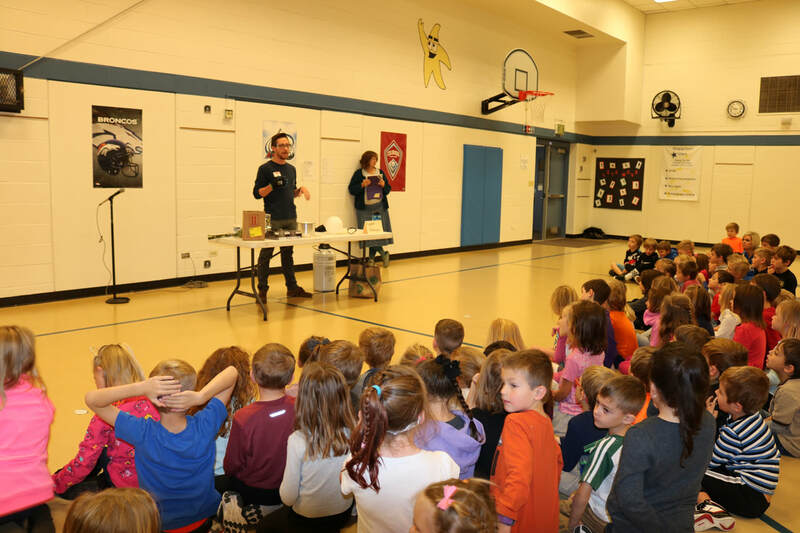 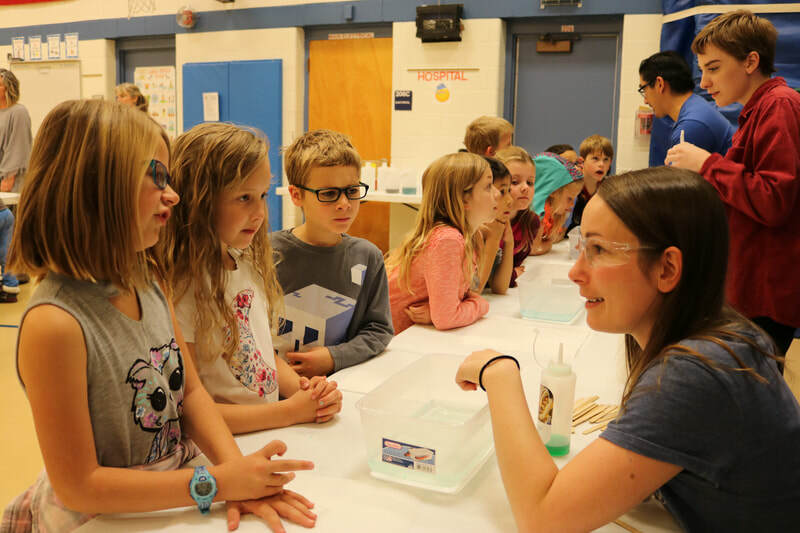 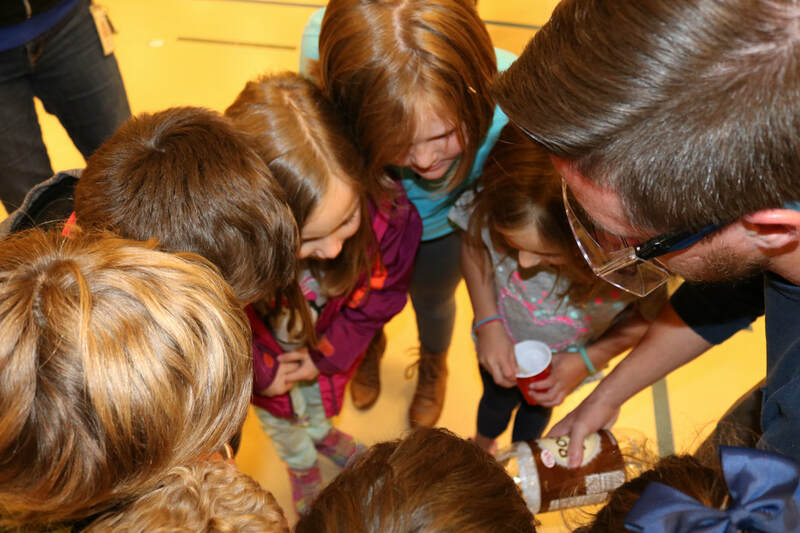 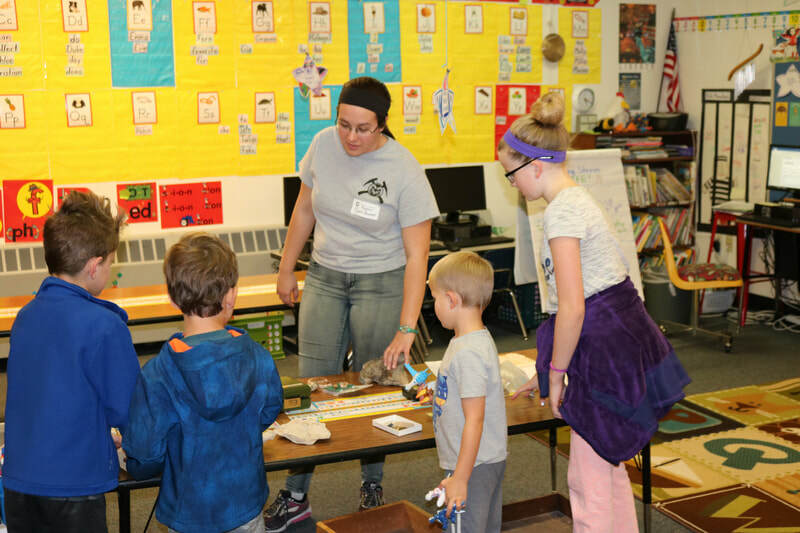 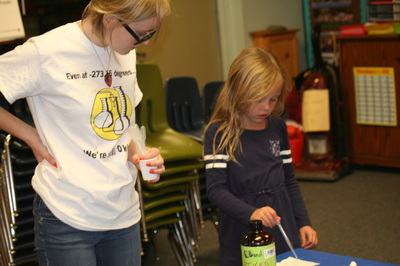 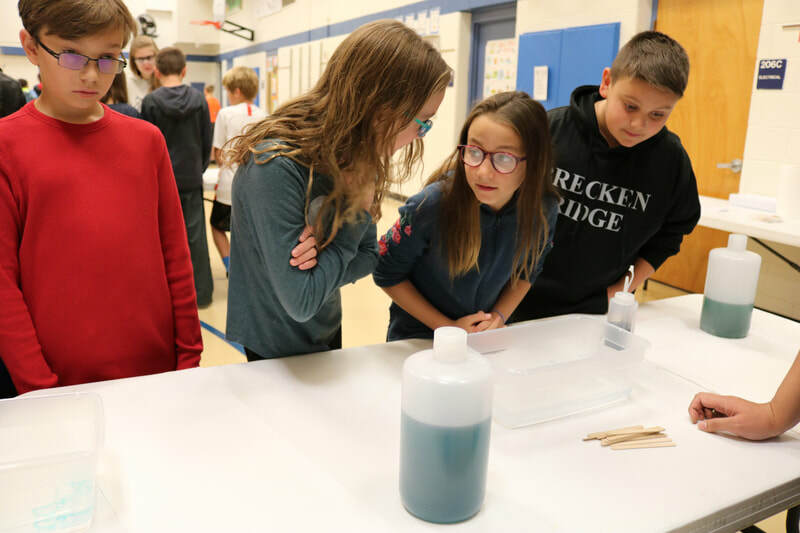 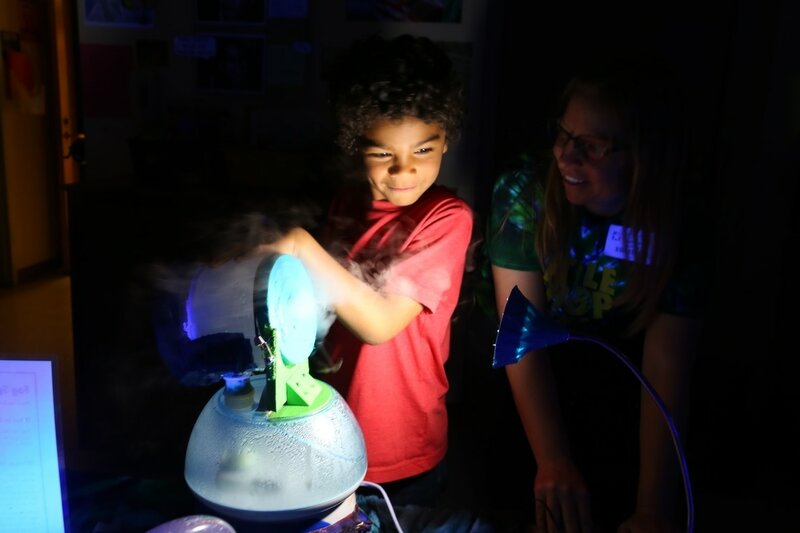 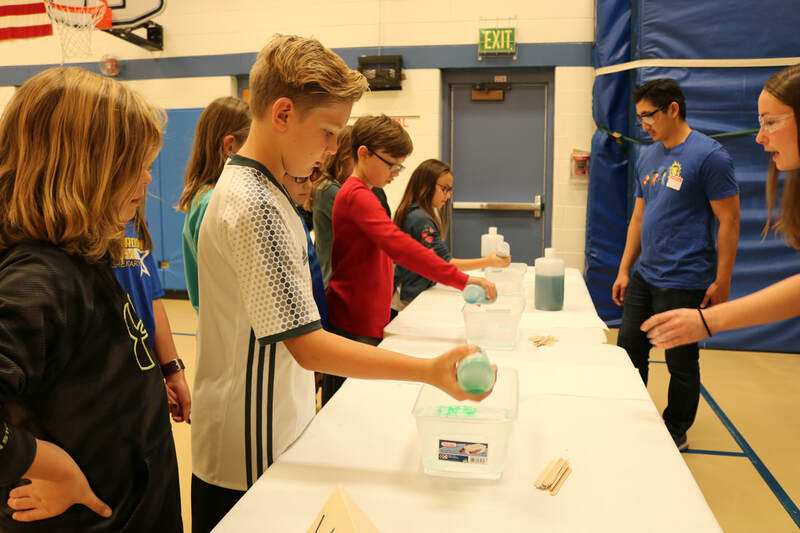 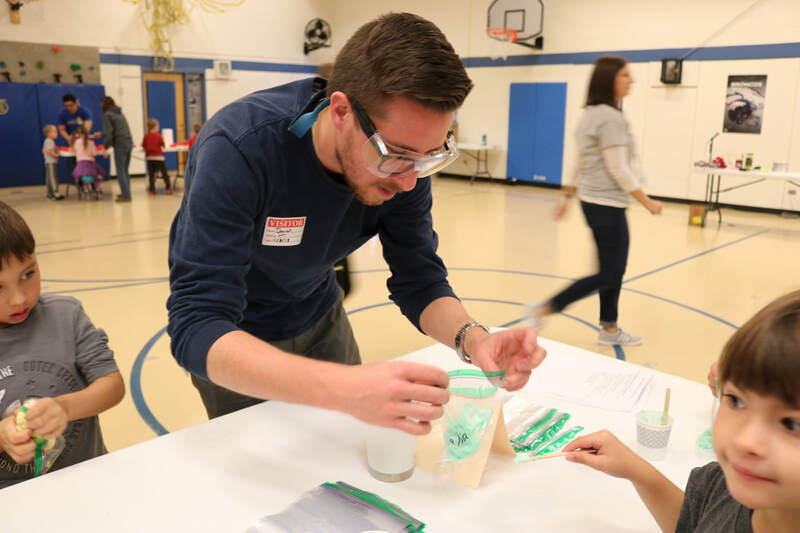 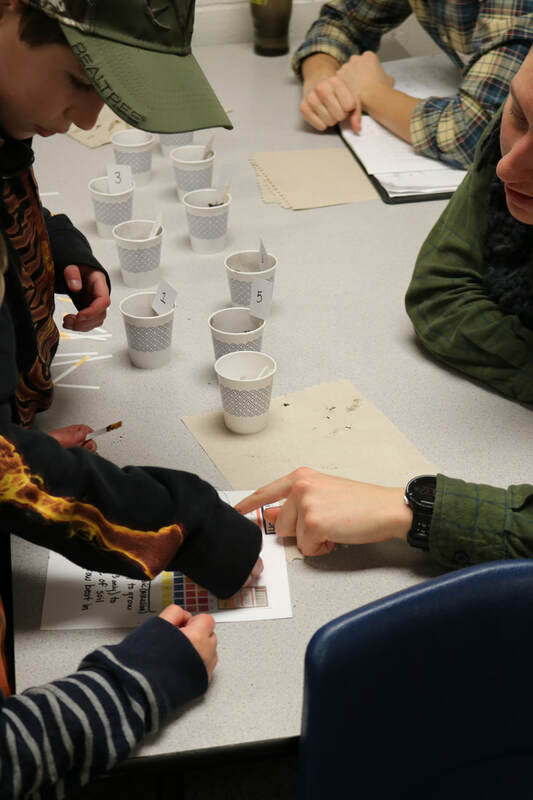 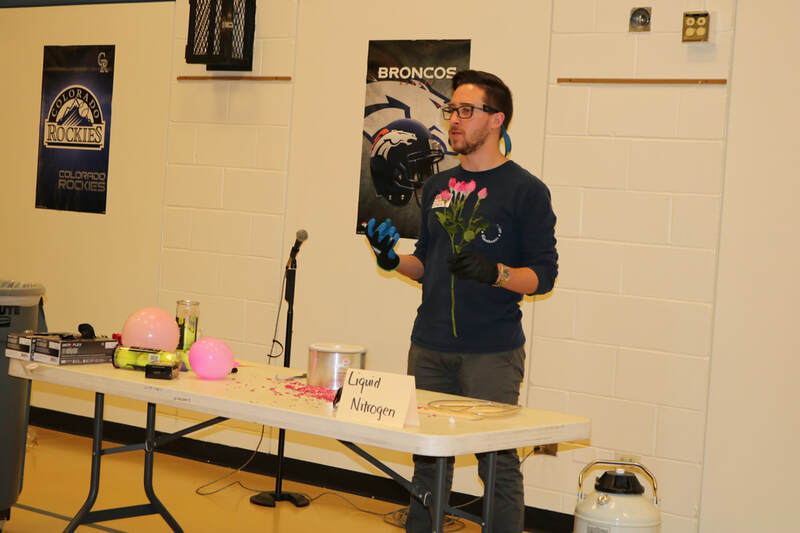 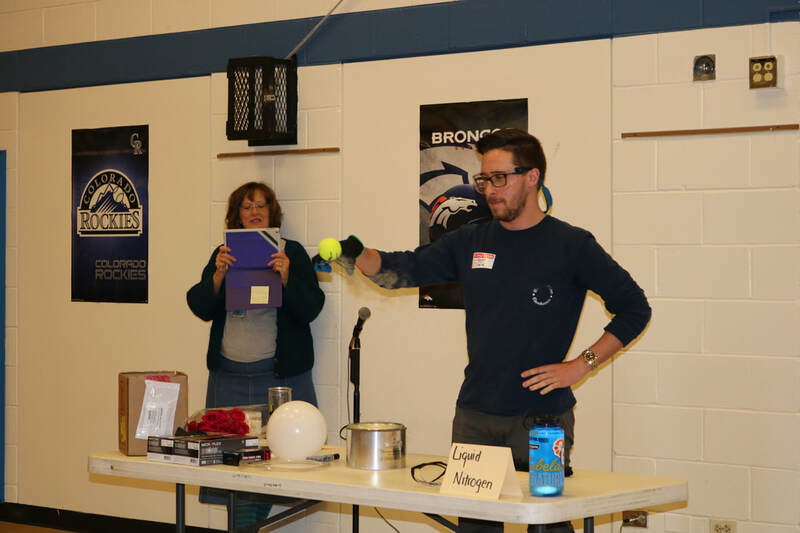 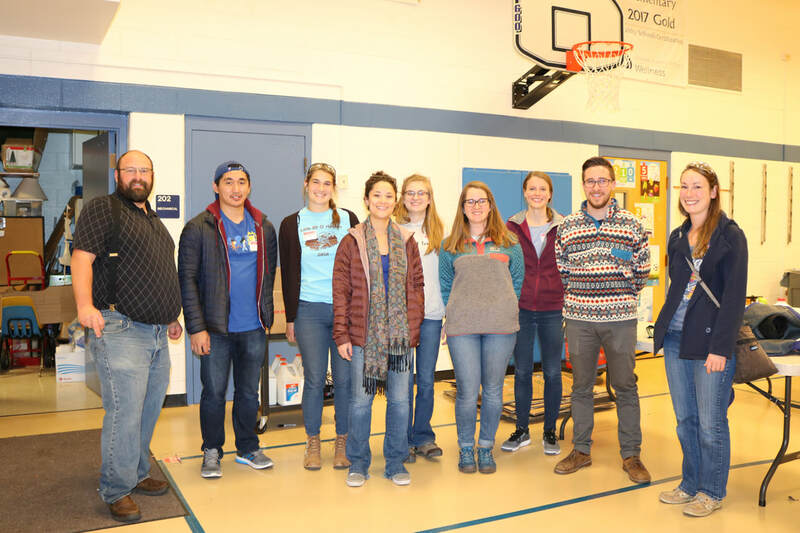 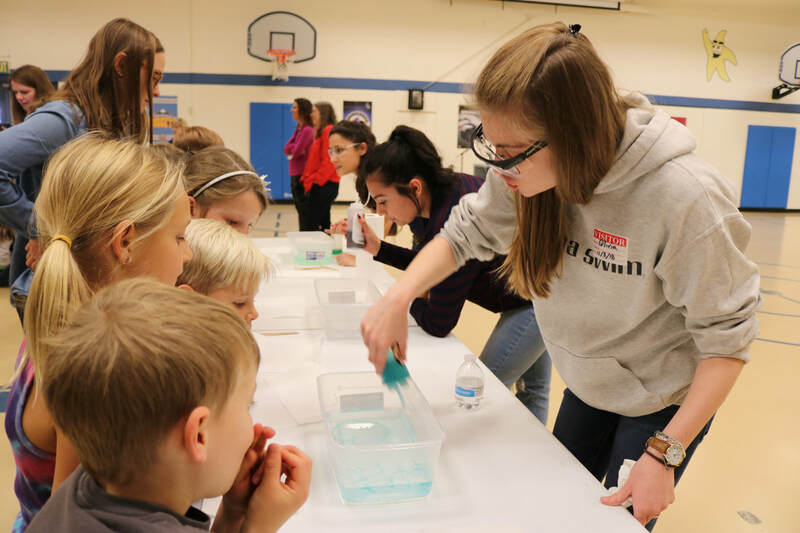 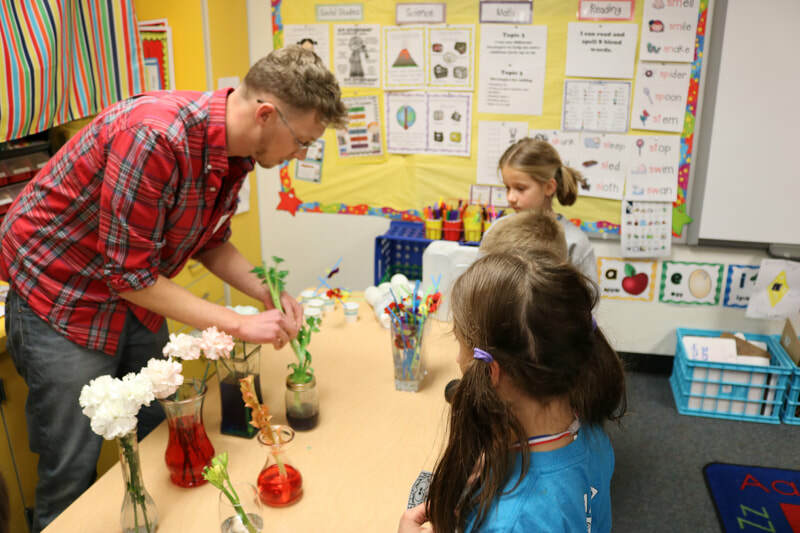 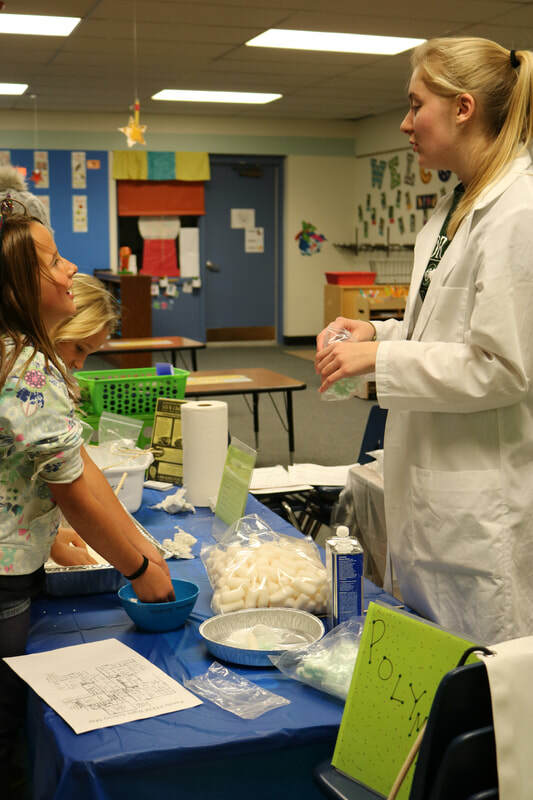 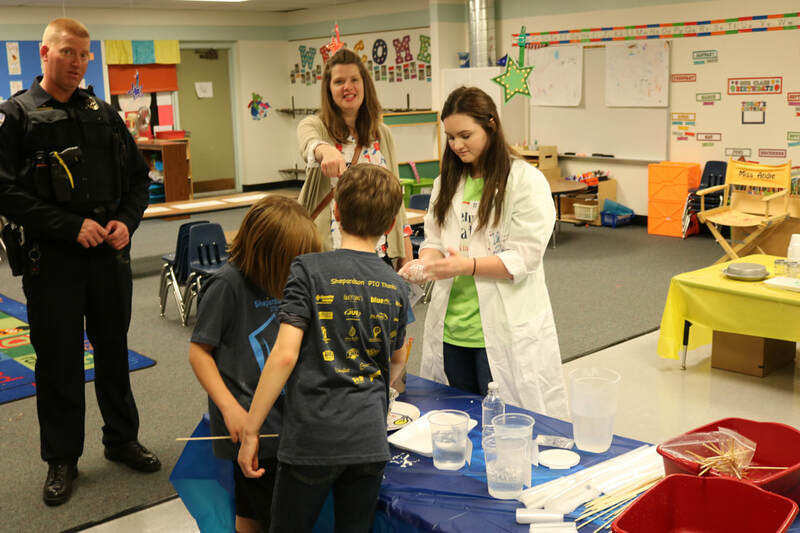 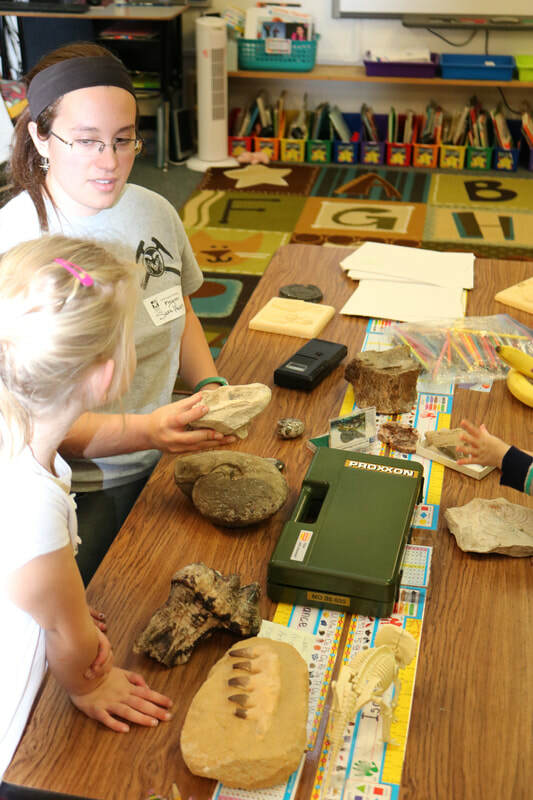 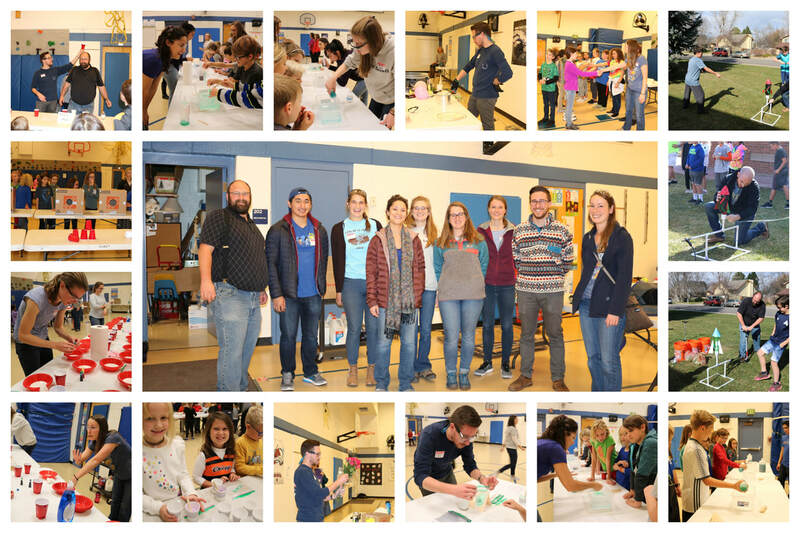 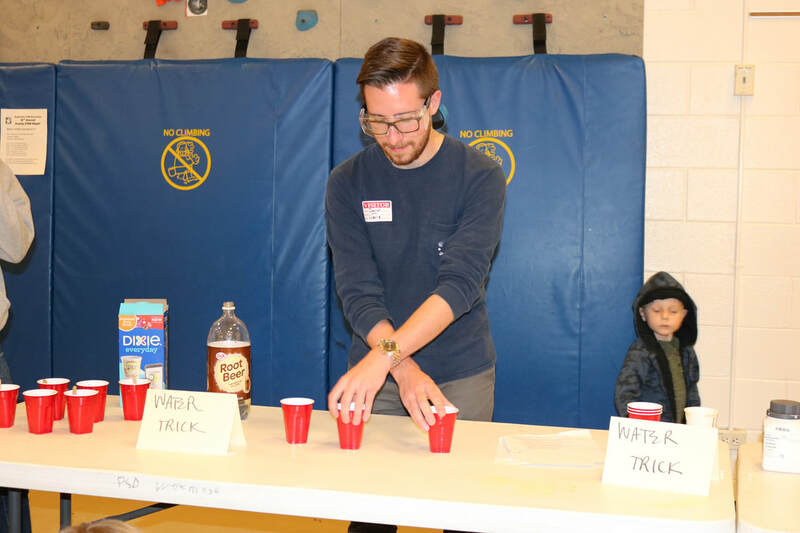 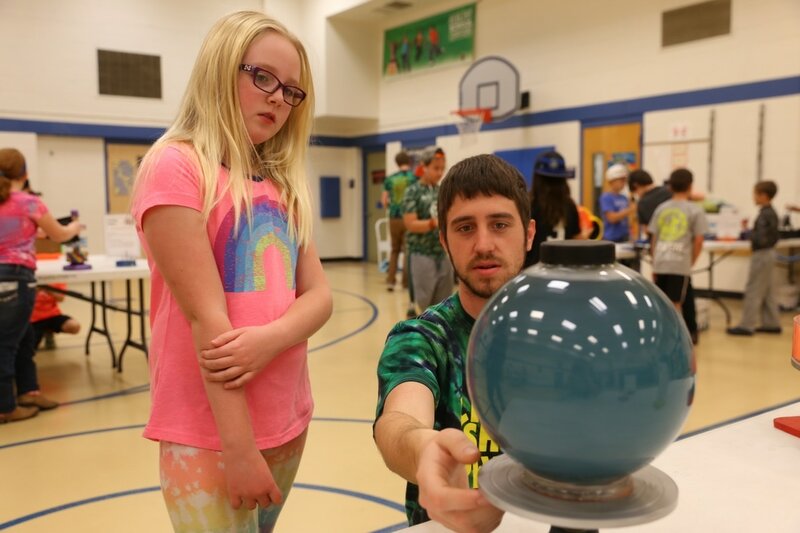 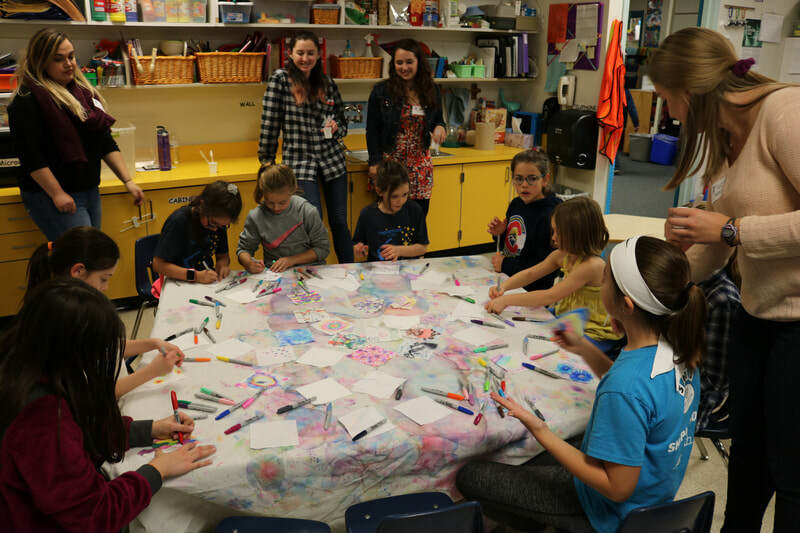 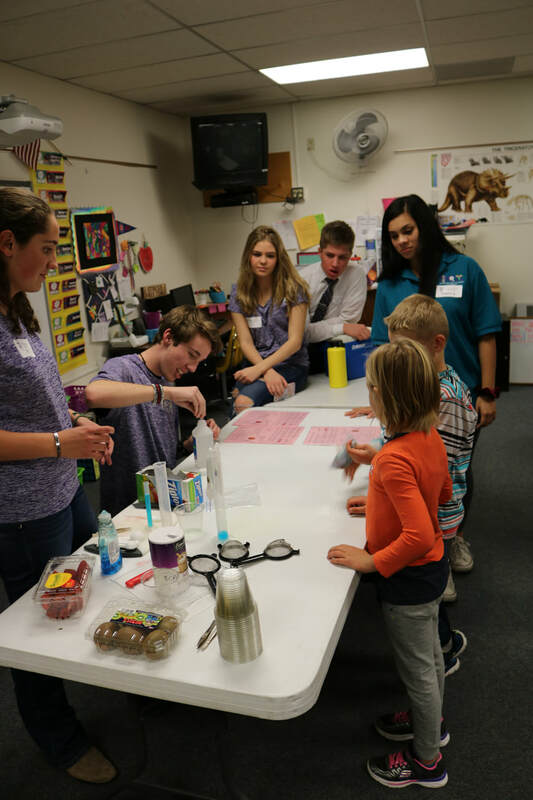 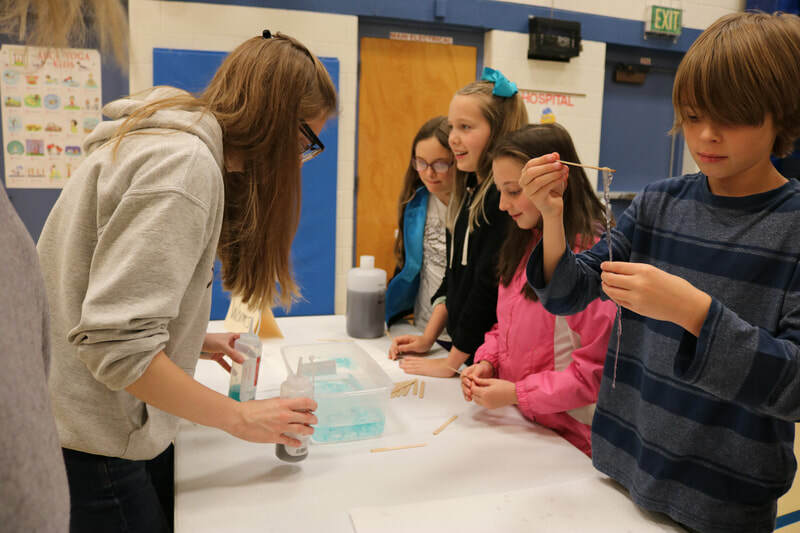 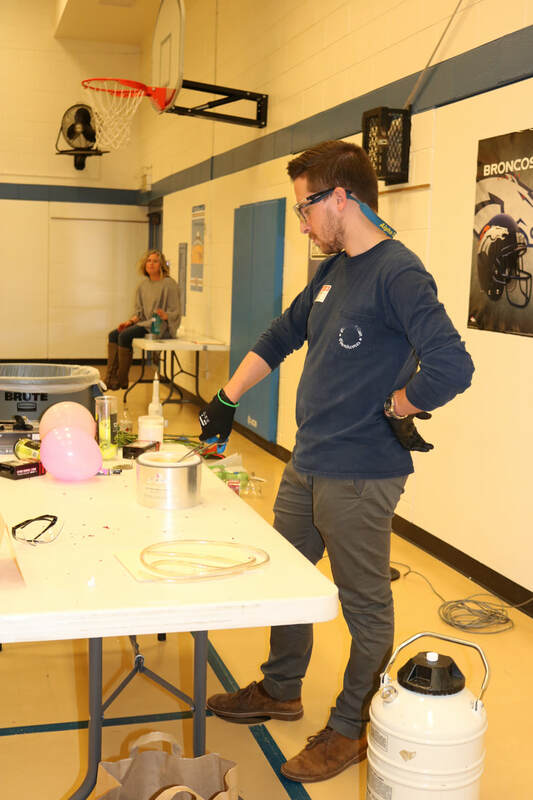 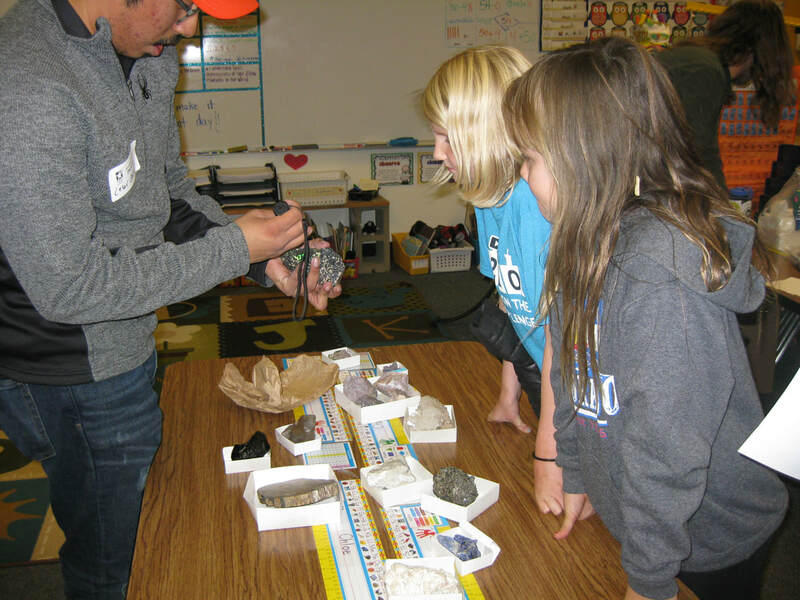 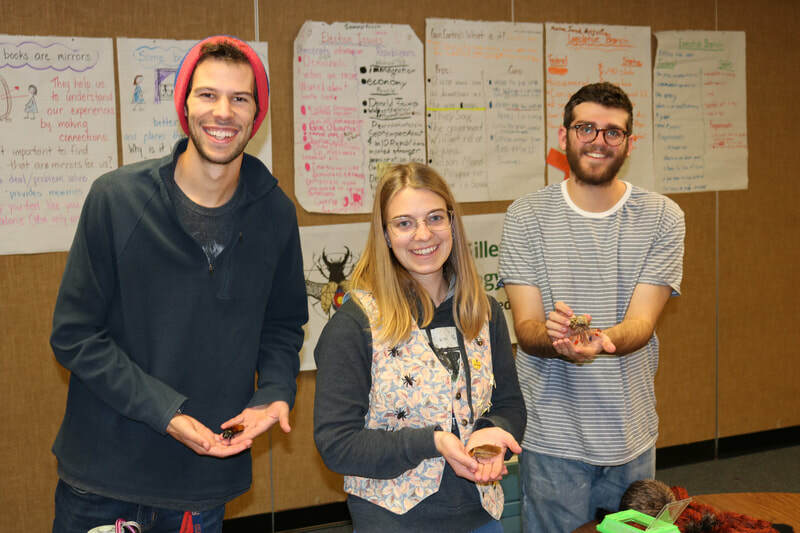 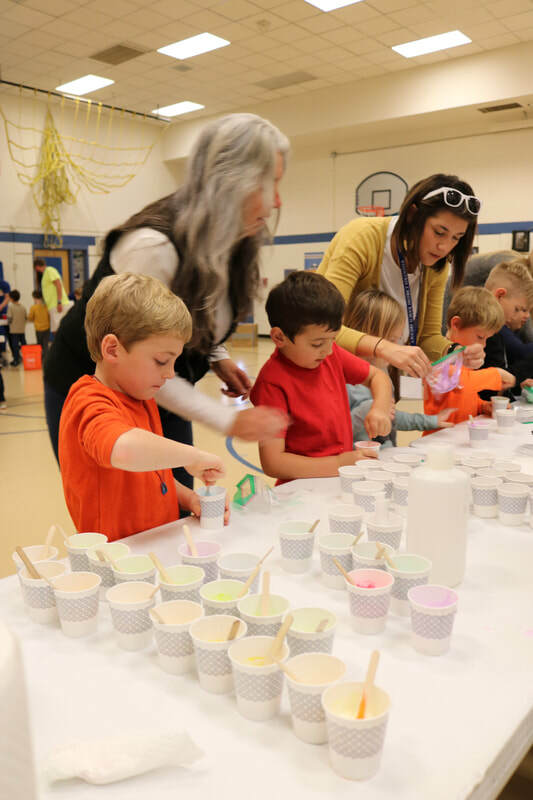 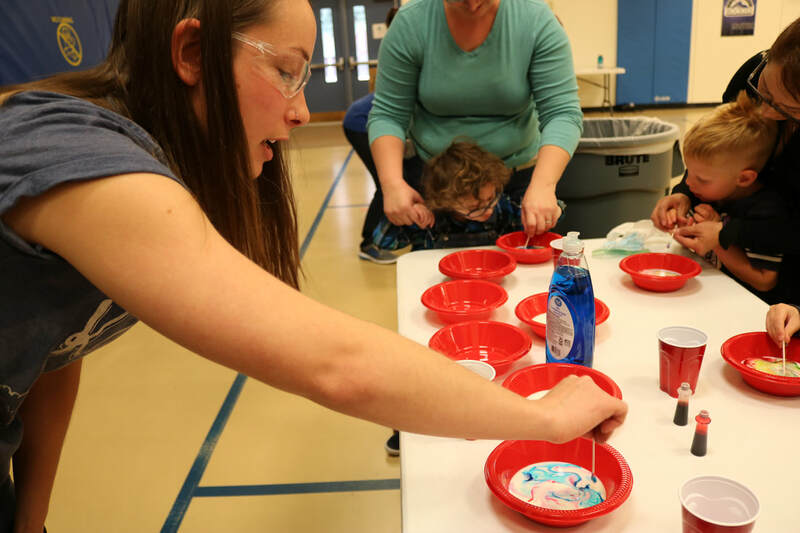 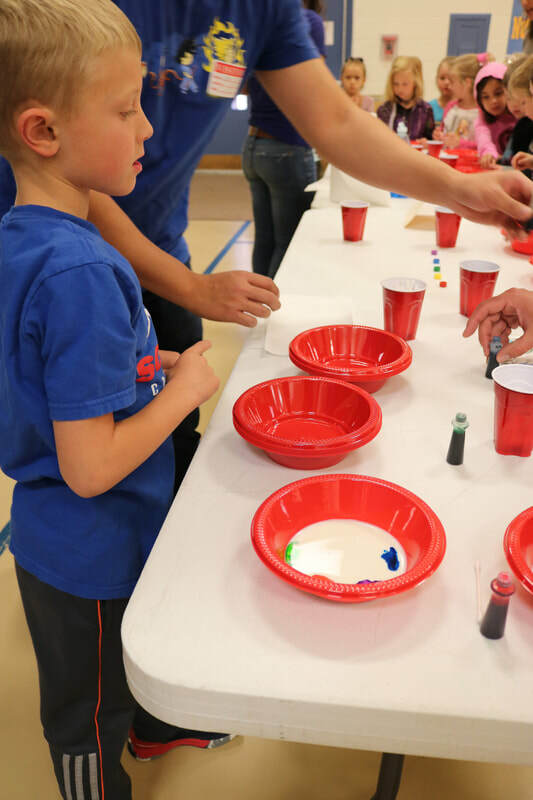 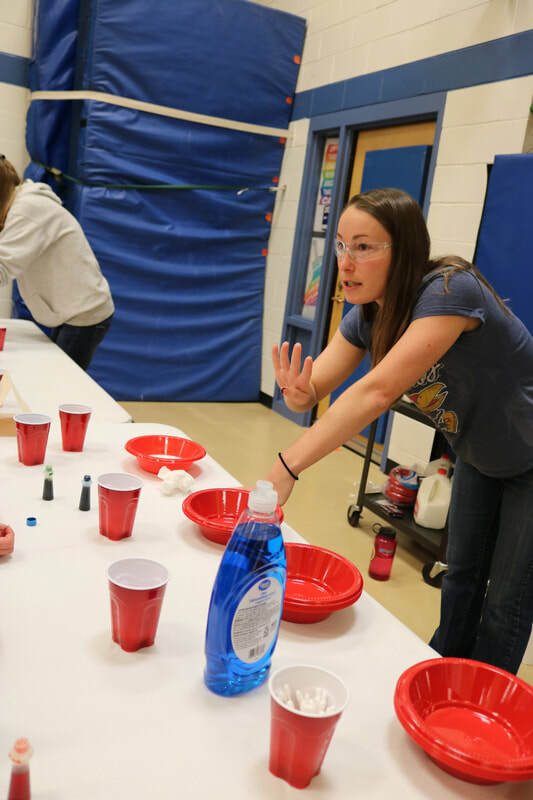 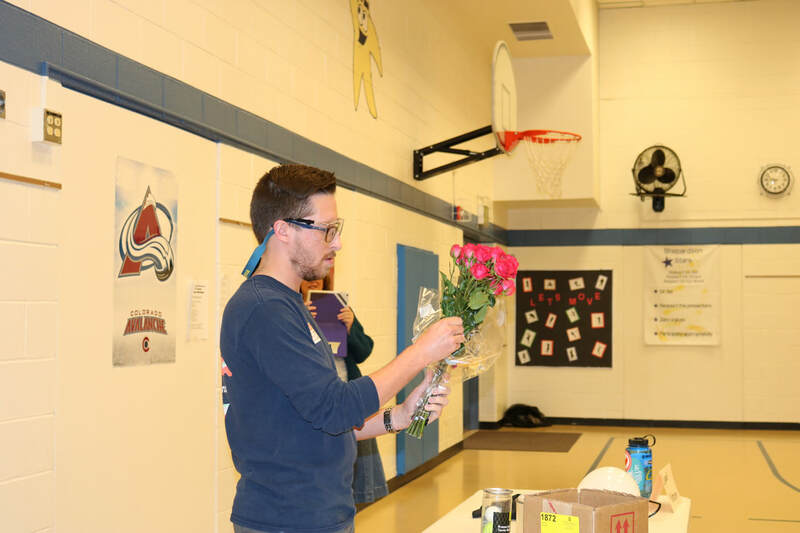 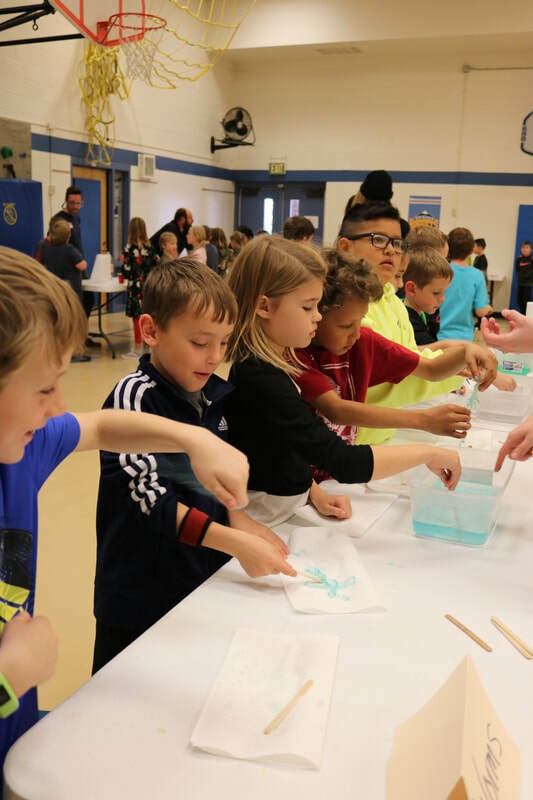 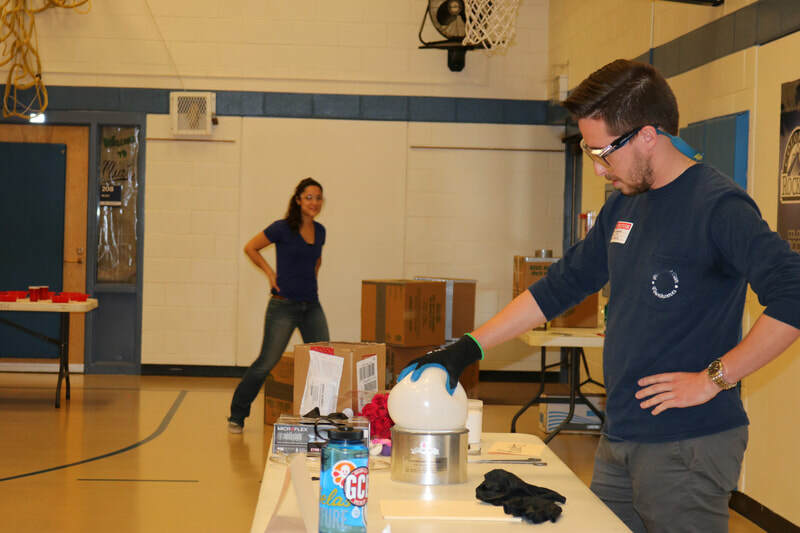 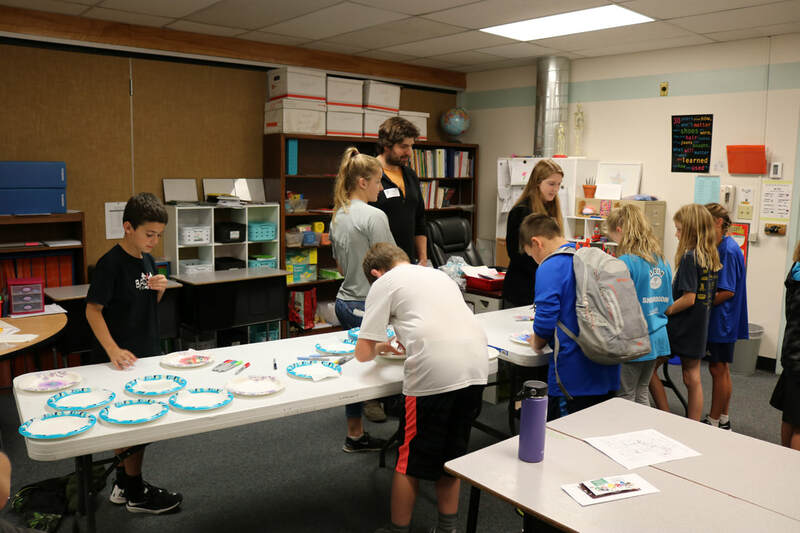 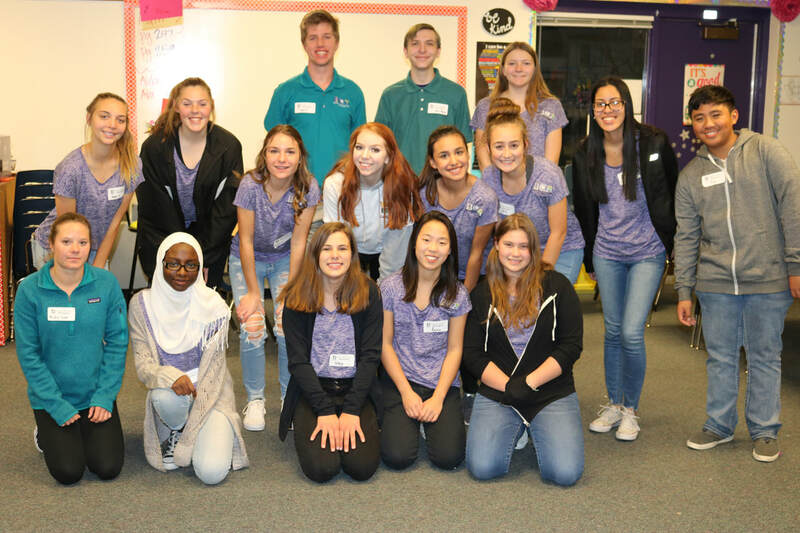 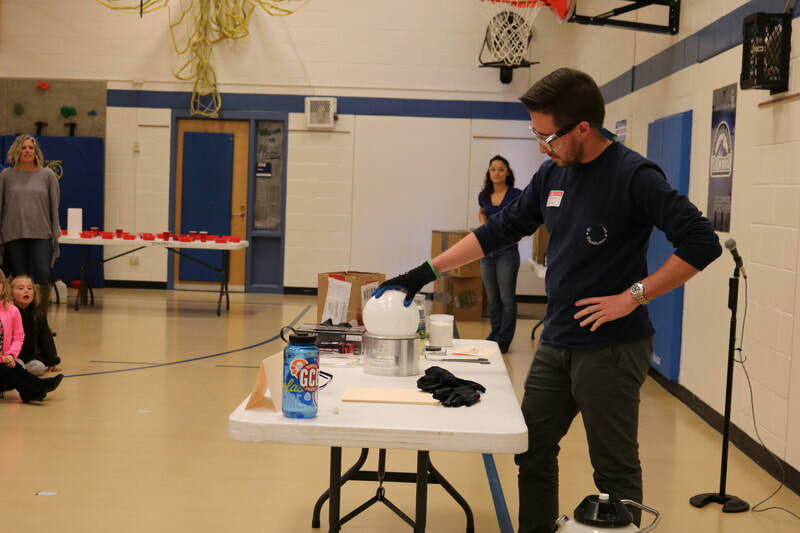 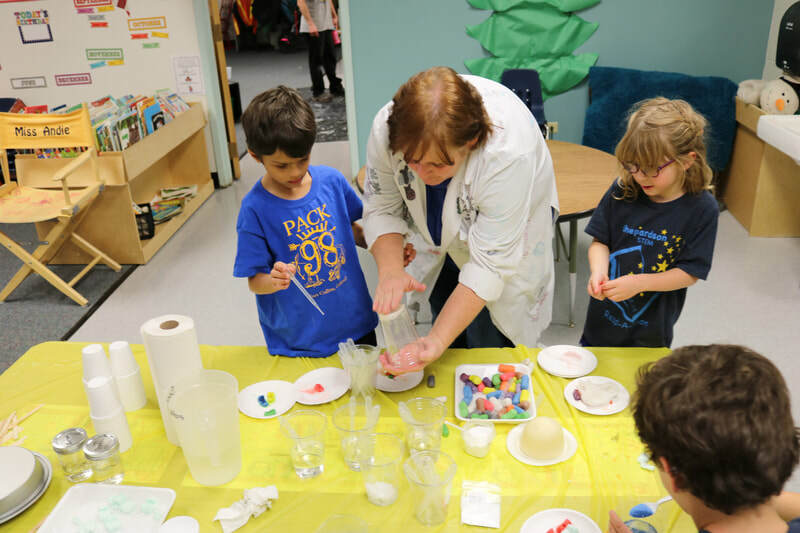 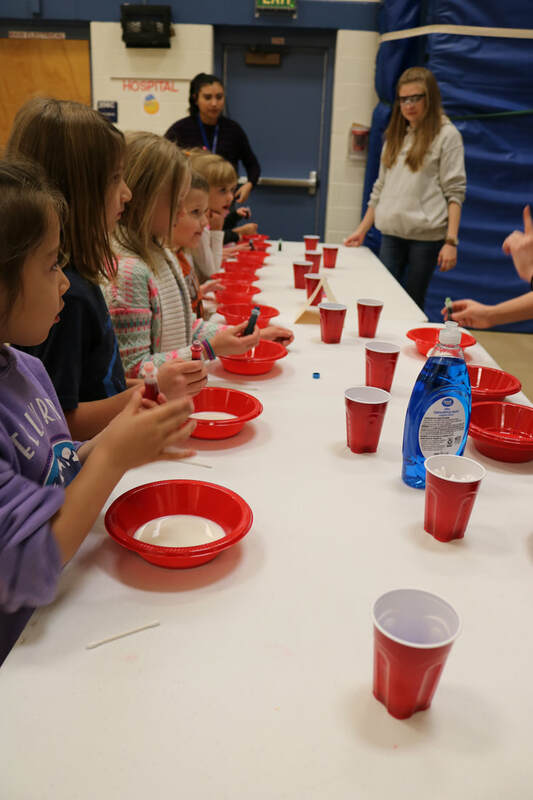 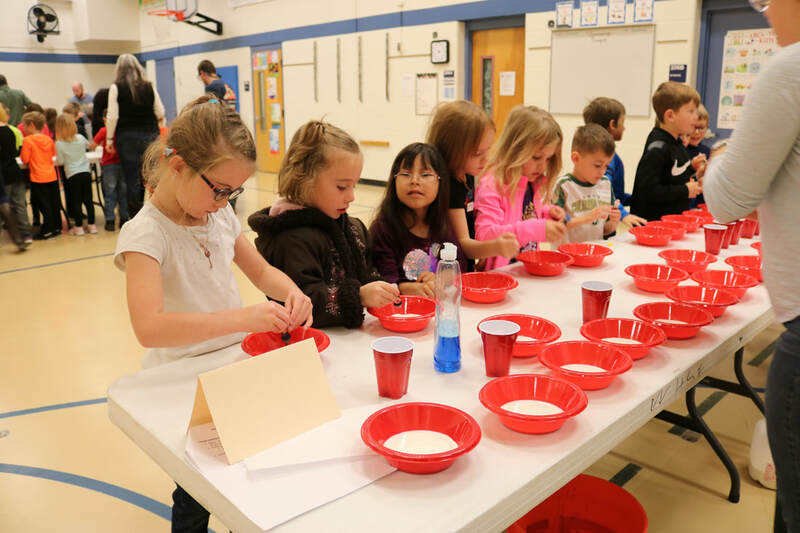 The highlight of this year's event was a day full of "Science Magic" presented by CSU Chemistry Graduate students, who provided hands on chemistry-related activities for Shepardson students. 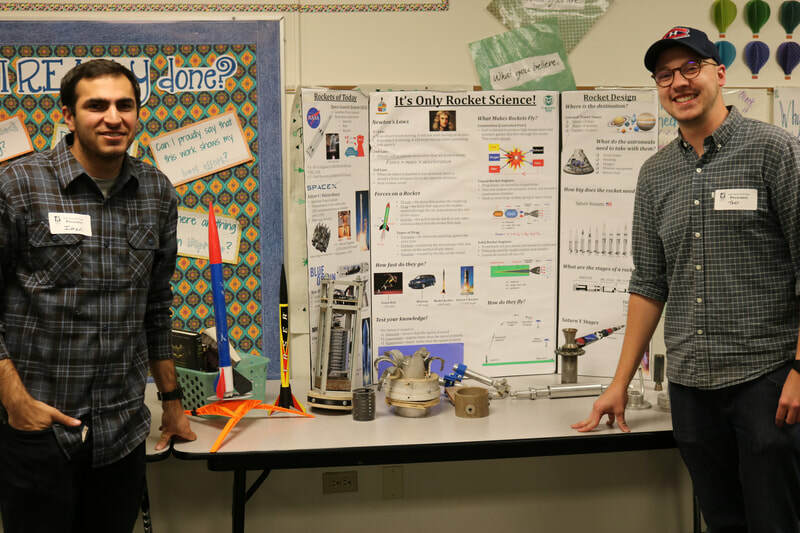 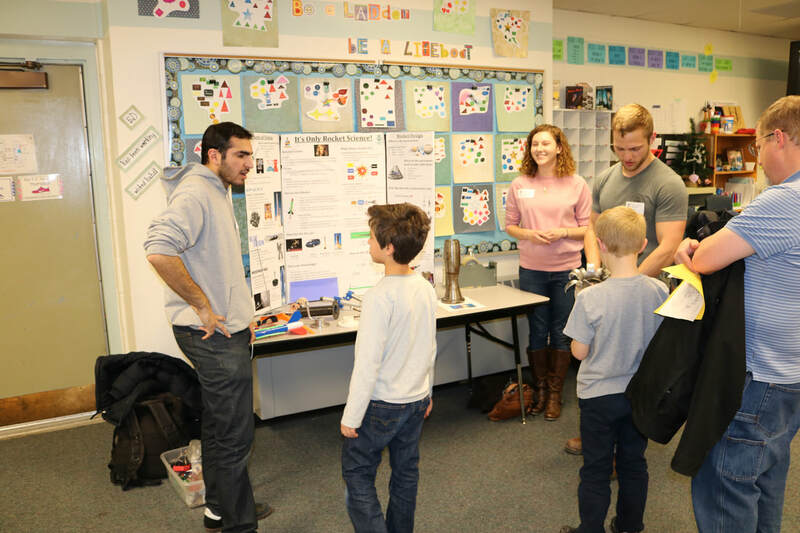 ​We appreciate all of our 2018 STEM Night Presenters and the CSU Chemistry Graduate Students! 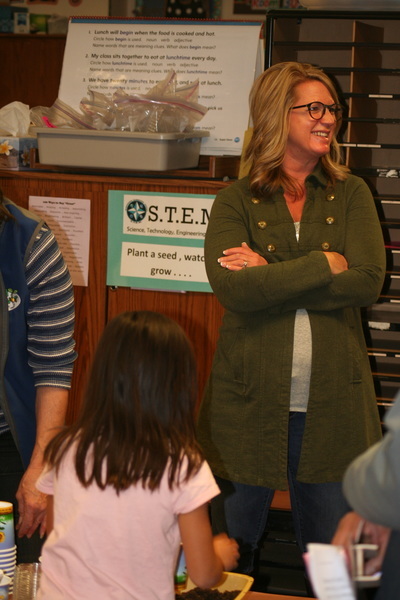 Thanks for making the 2018 Family STEM Night a huge success! 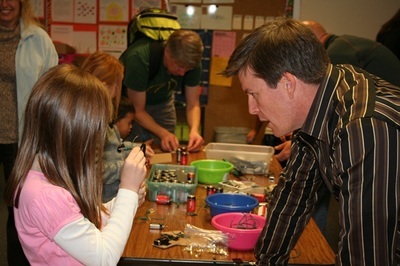 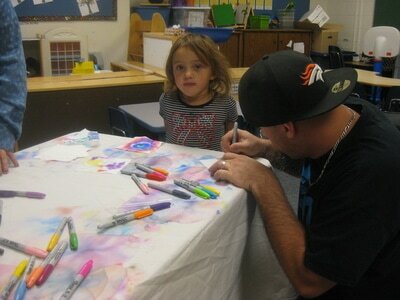 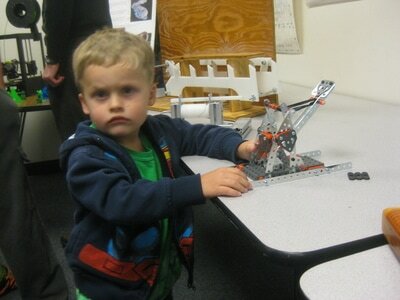 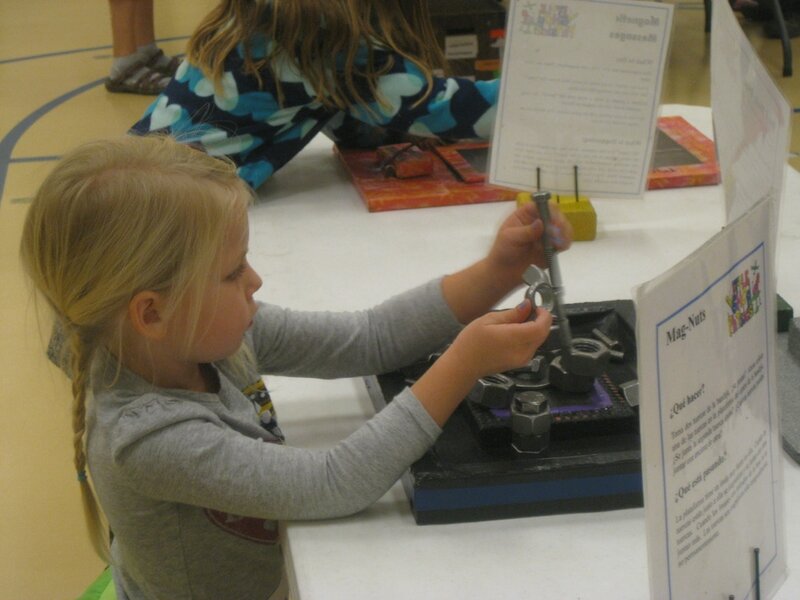 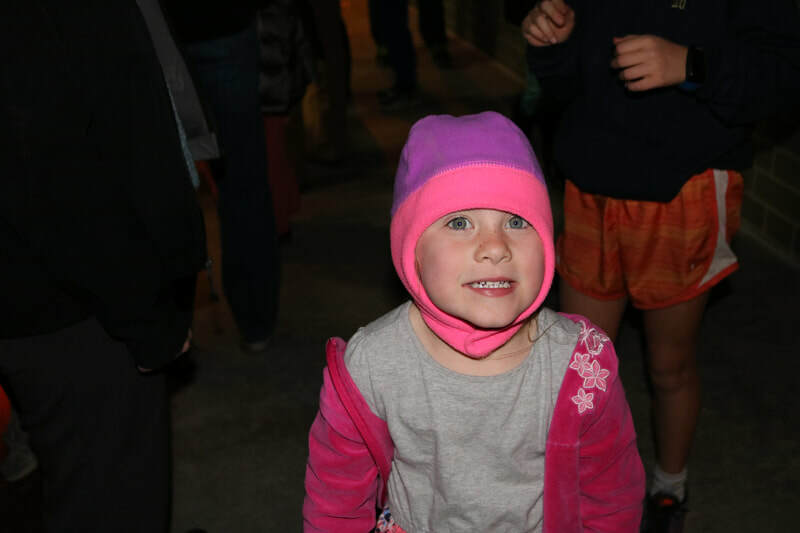 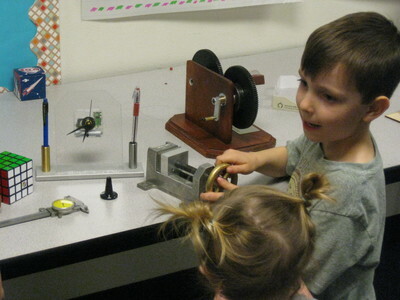 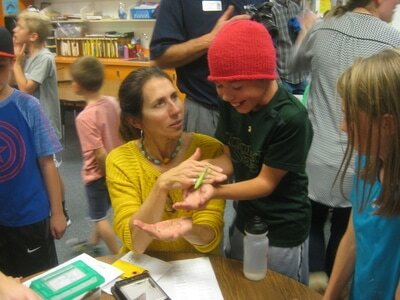 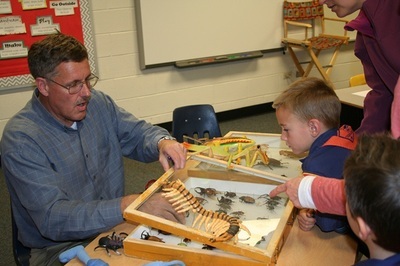 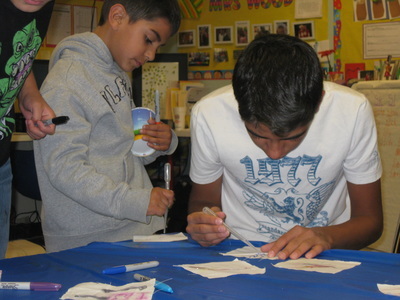 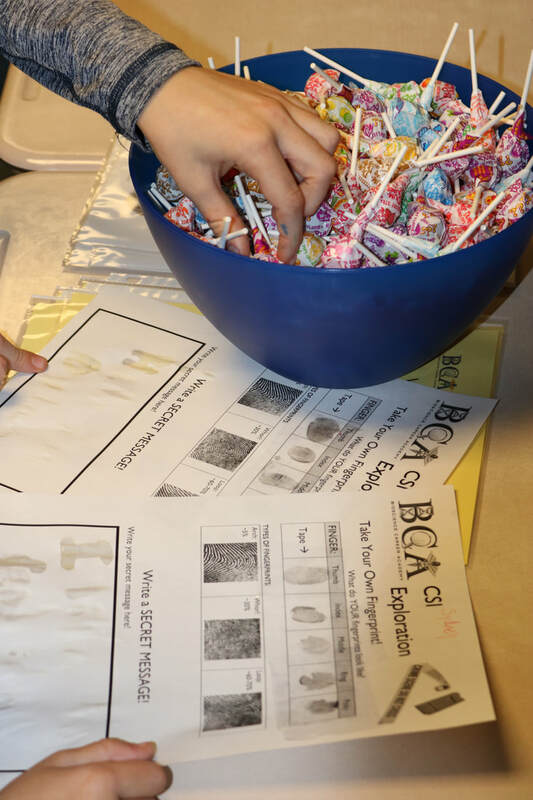 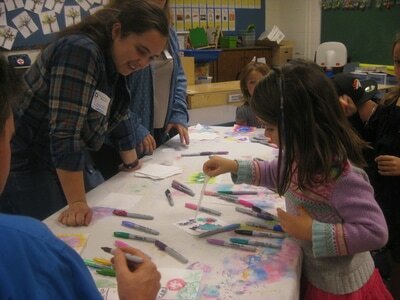 We hope you enjoy a gallery of photos from this year's Family STEM Night! 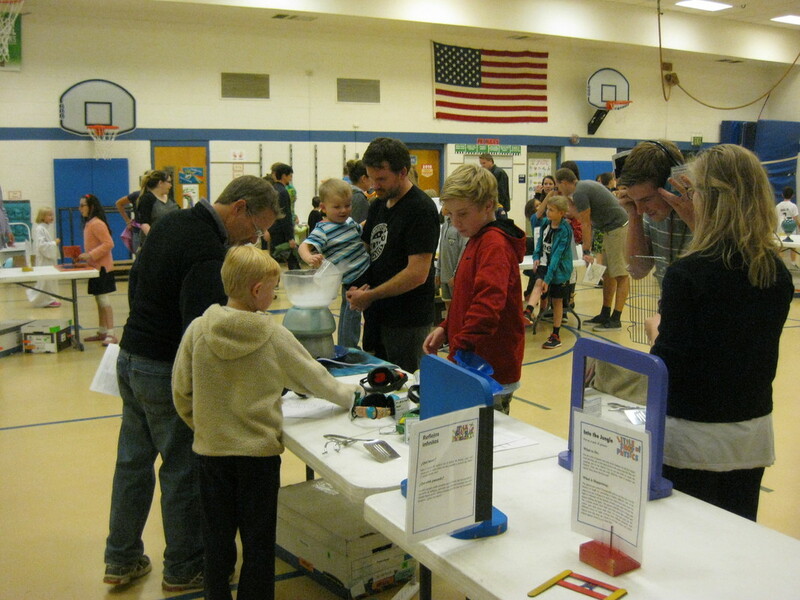 A huge thank you to all of our fantastic STEM Night Presenters! 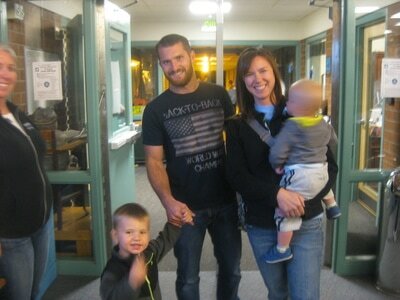 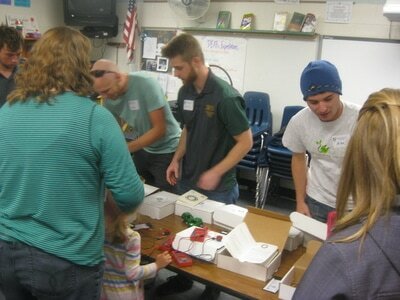 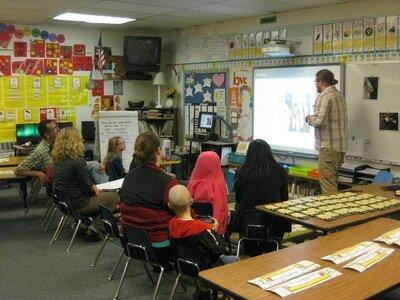 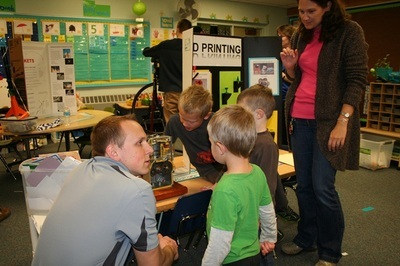 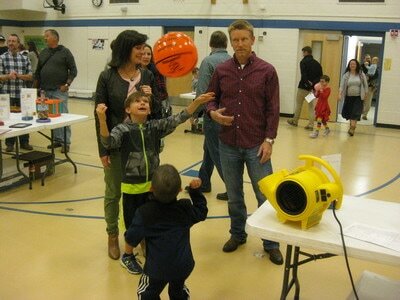 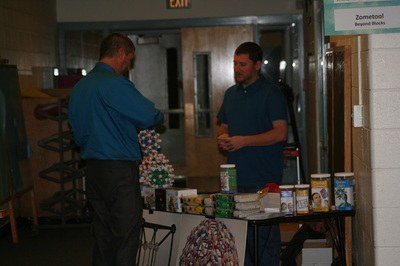 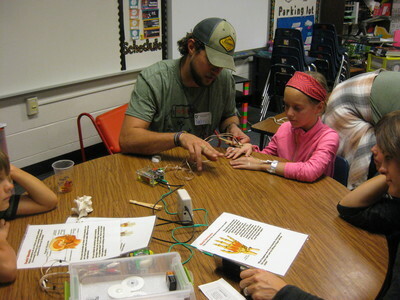 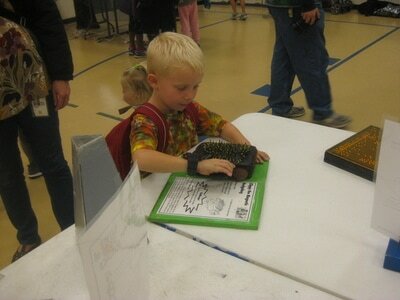 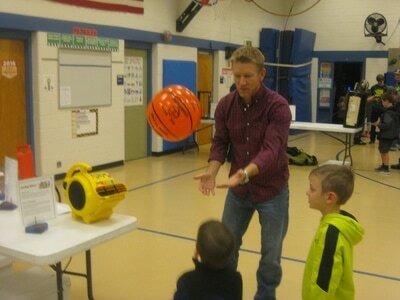 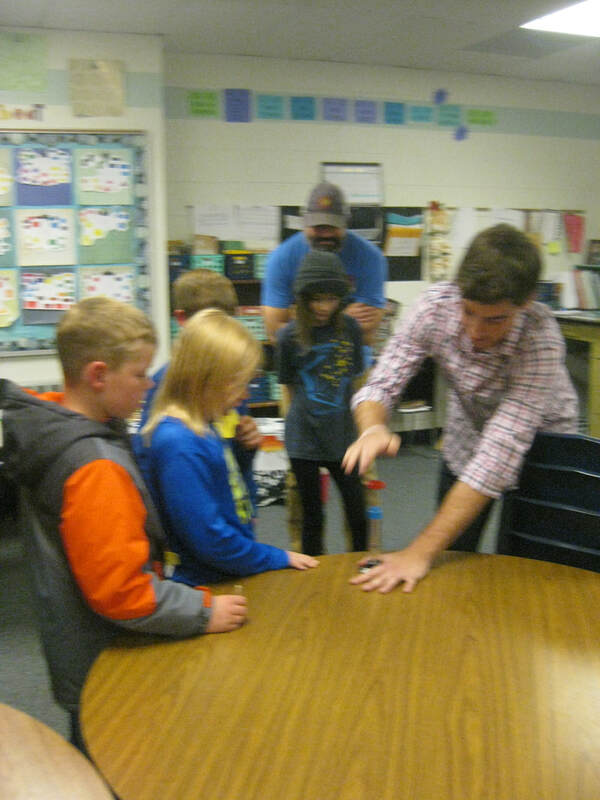 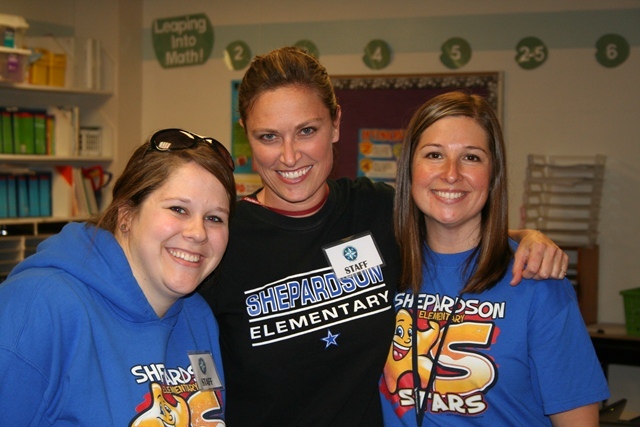 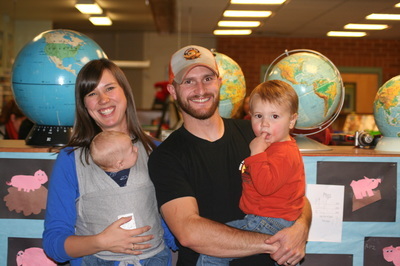 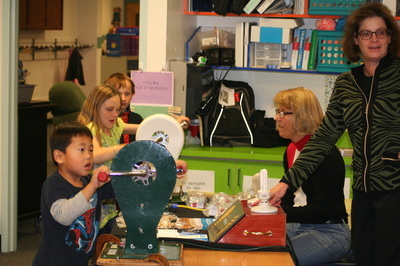 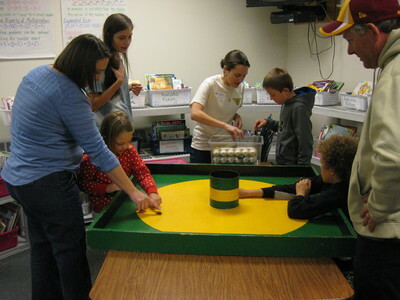 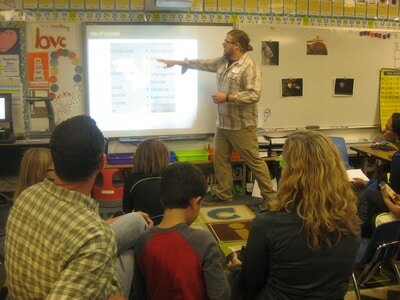 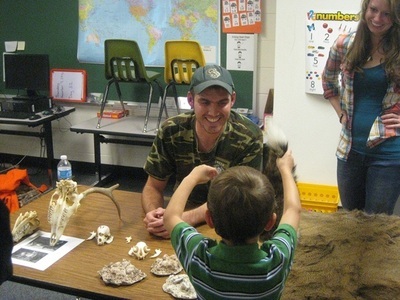 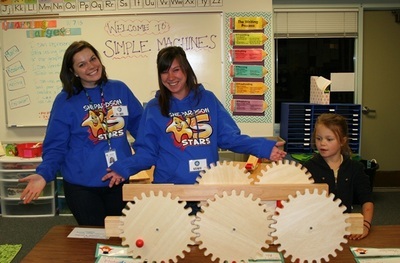 Thanks for making the 10th Annual Shepardson Family STEM Night a HUGE success! 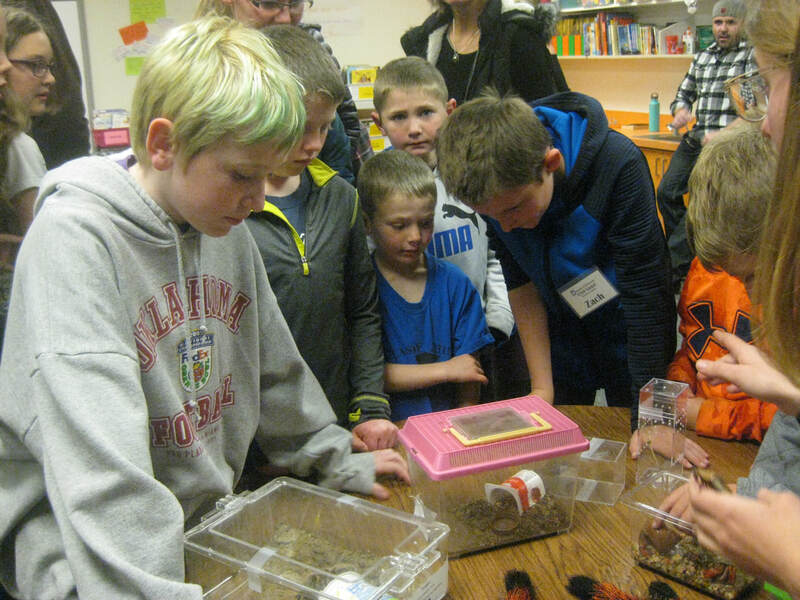 How does a guppy survive in a dangerous world? 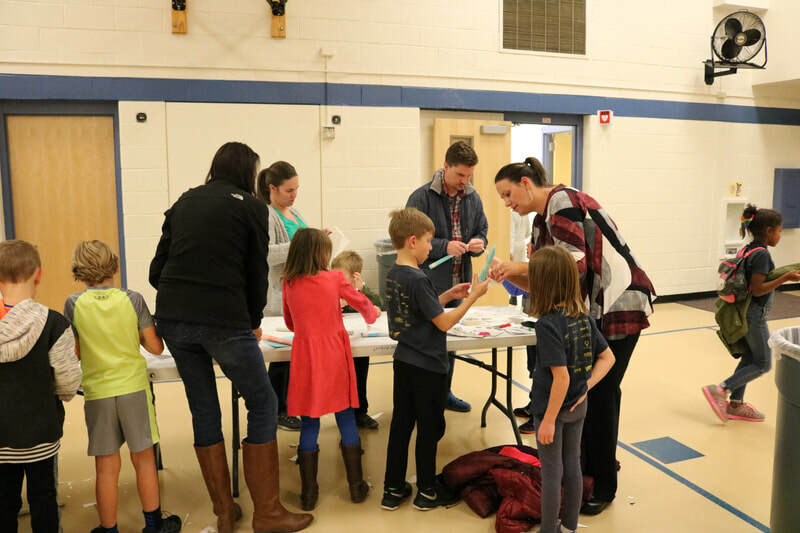 The 9th Annual Shepardson Family STEM Night was held on Thursday, November 16, 2017. 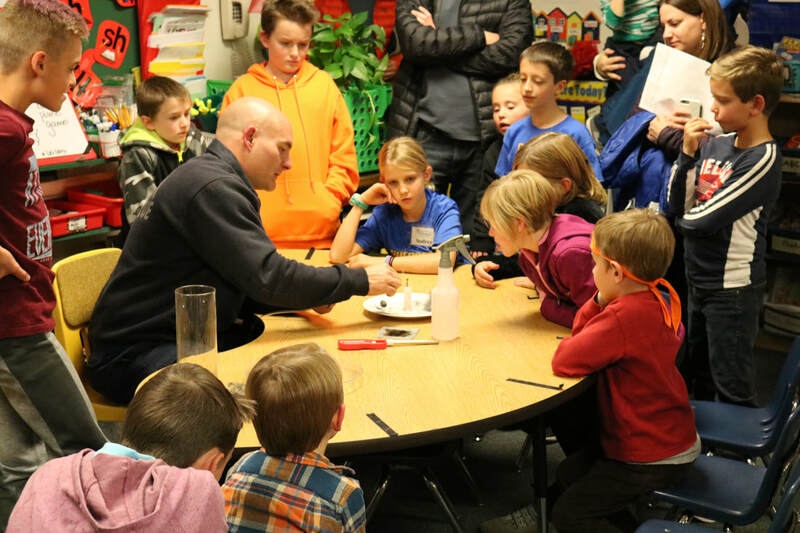 Shepardson STEM Elementary was filled with fascinating and interactive presentations that provided an evening of STEM learning and fun for our school and community. 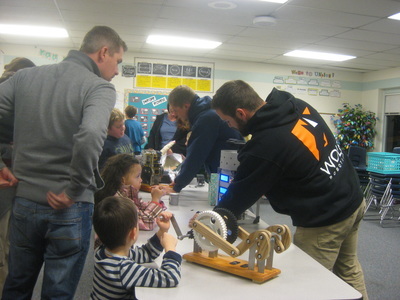 There were demonstrations and hand-on activities to introduce Shepardson students and their families to an amazing variety of STEM topics provided by CSU organizations and a variety of community organizations. 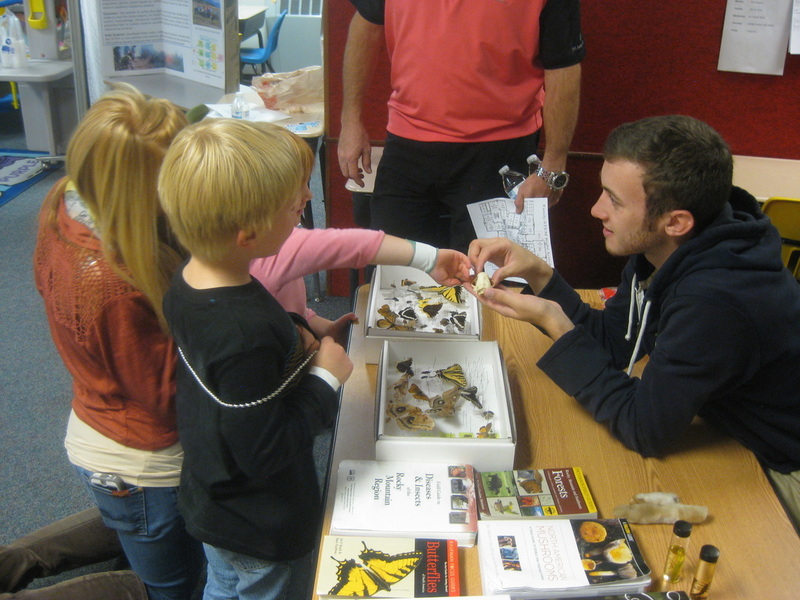 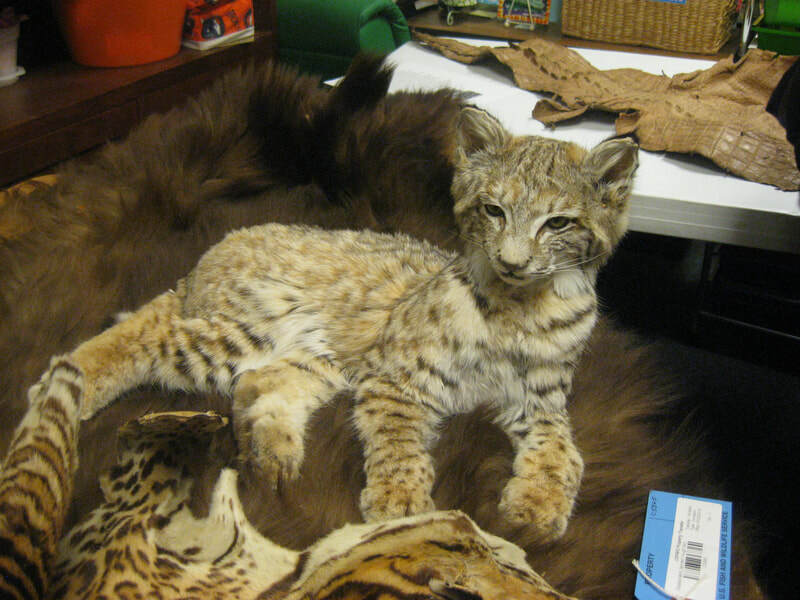 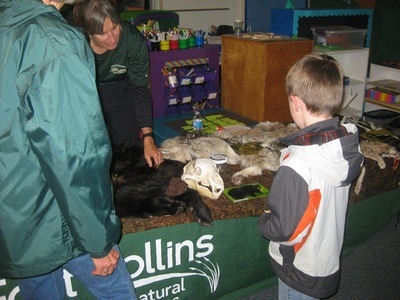 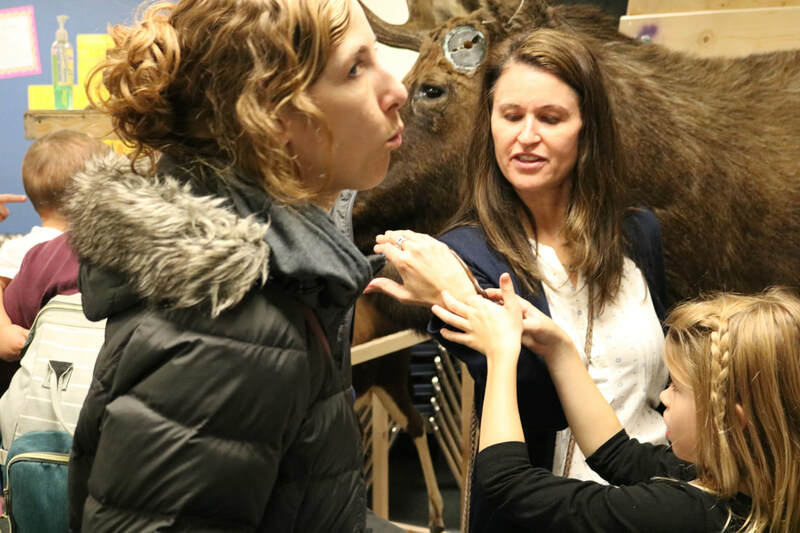 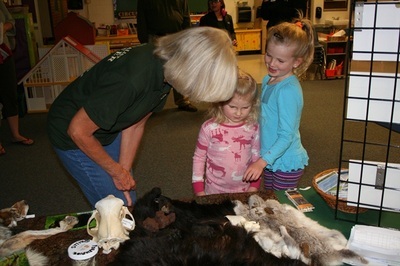 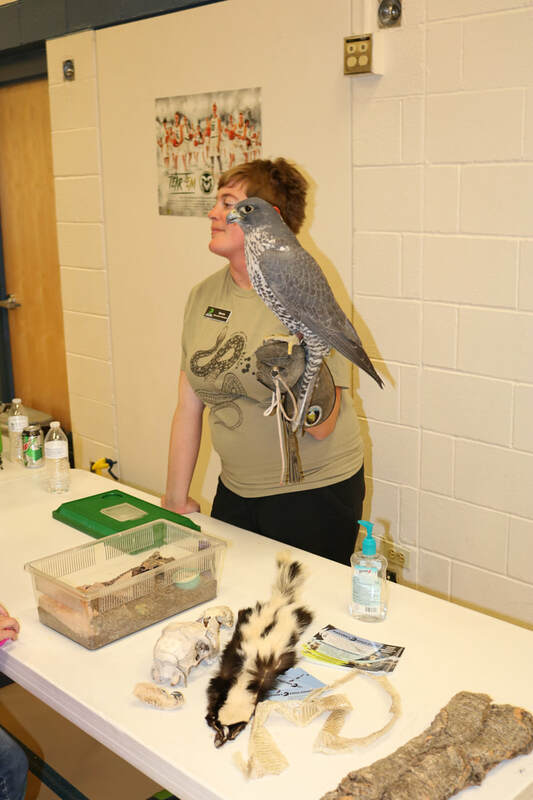 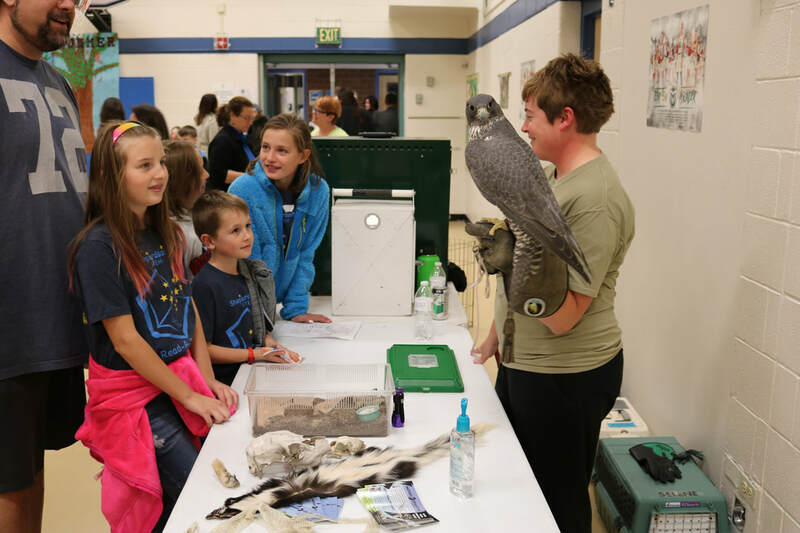 The highlight of this year's event was a visit by Nature's Educators for all-day fun and learning as well as throughout the evening. 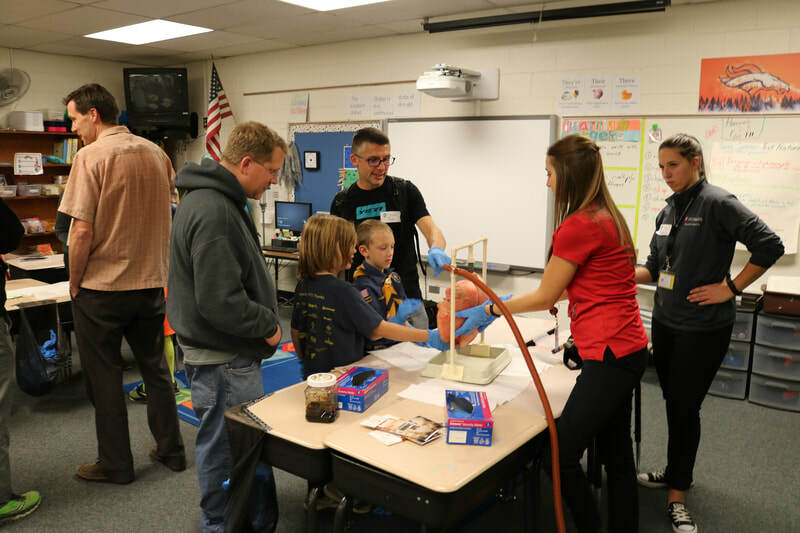 We appreciate all of our 2017 STEM Night Presenters! 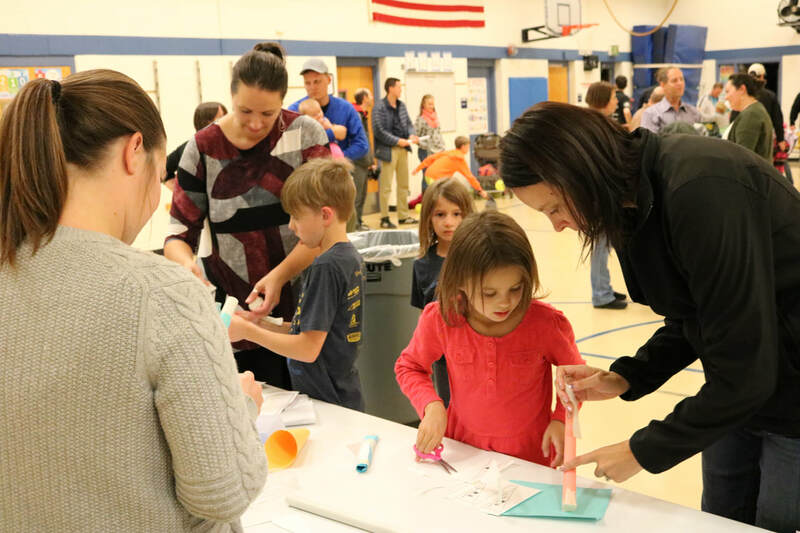 Thanks for making the 2017 Family STEM Night a huge success! 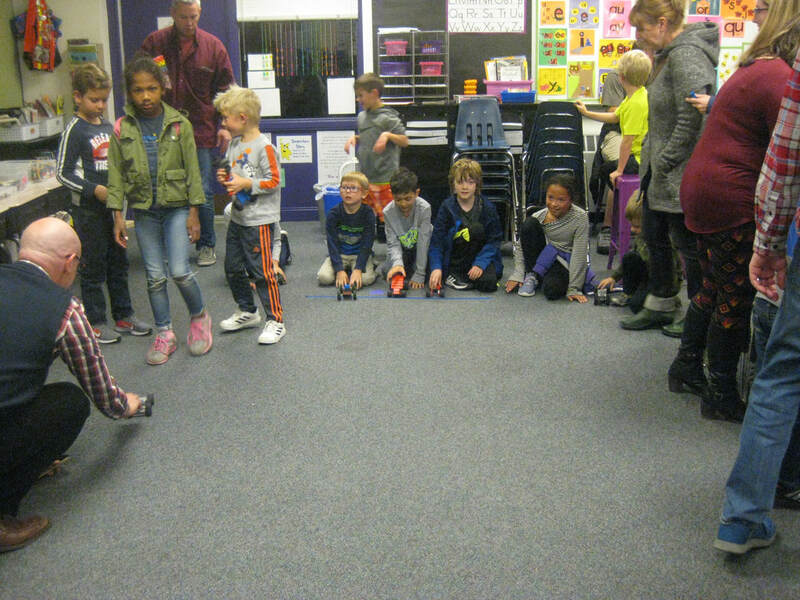 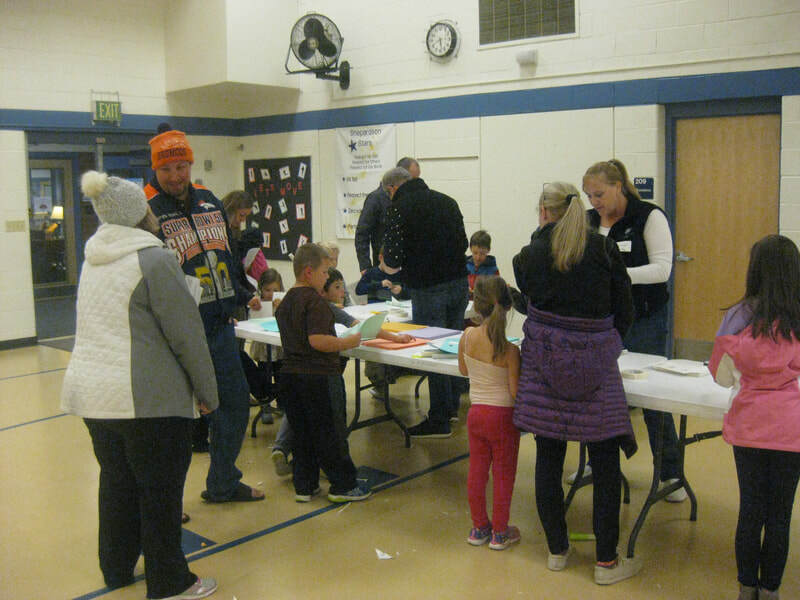 The 8th Annual Shepardson Family STEM Night was held on Thursday, November 10, 2016. 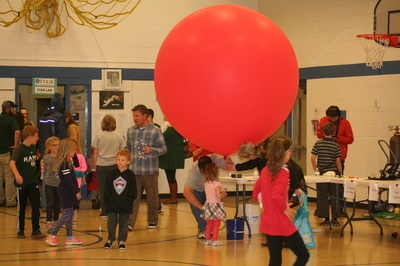 Shepardson STEM Elementary was filled with fascinating and interactive presentations that provided an evening of STEM learning and fun for our school and community. 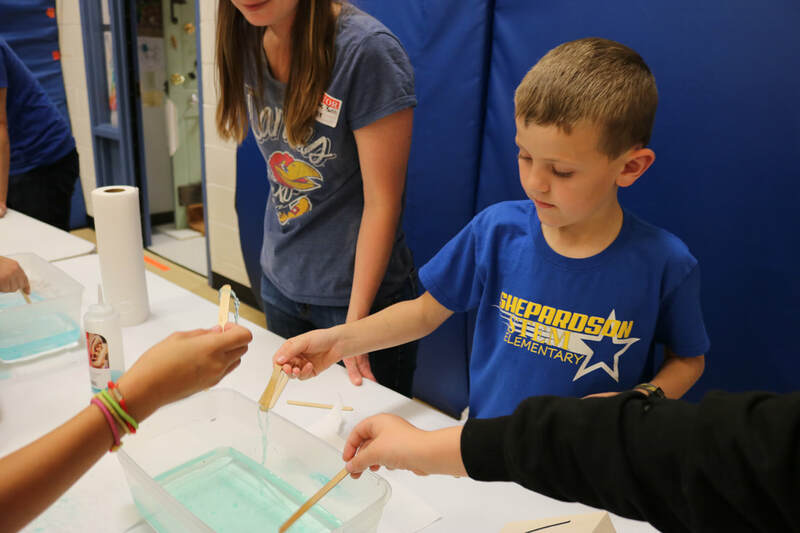 There were demonstrations and hand-on activities to introduce Shepardson students and their families to an amazing variety of STEM topics provided by CSU organizations and a variety of community organizations. 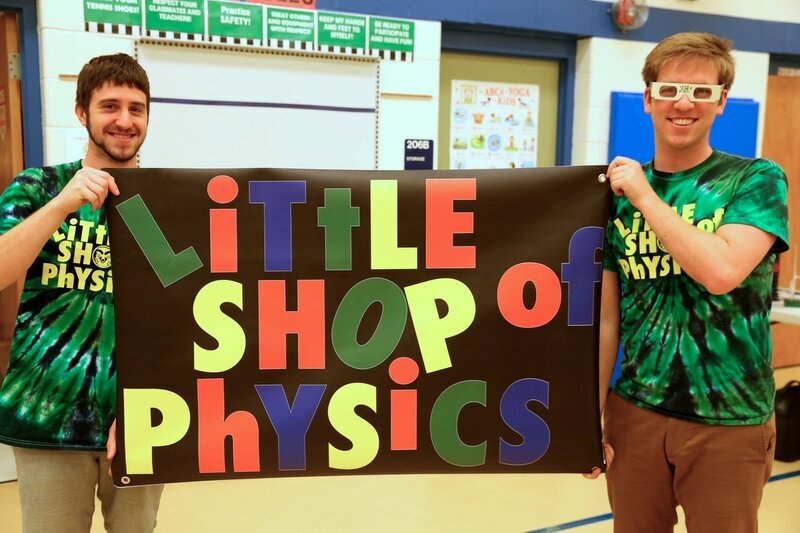 The highlight of this year's event was a visit by the Little Shop of Physics for all-day fun and learning as well as throughout the evening. 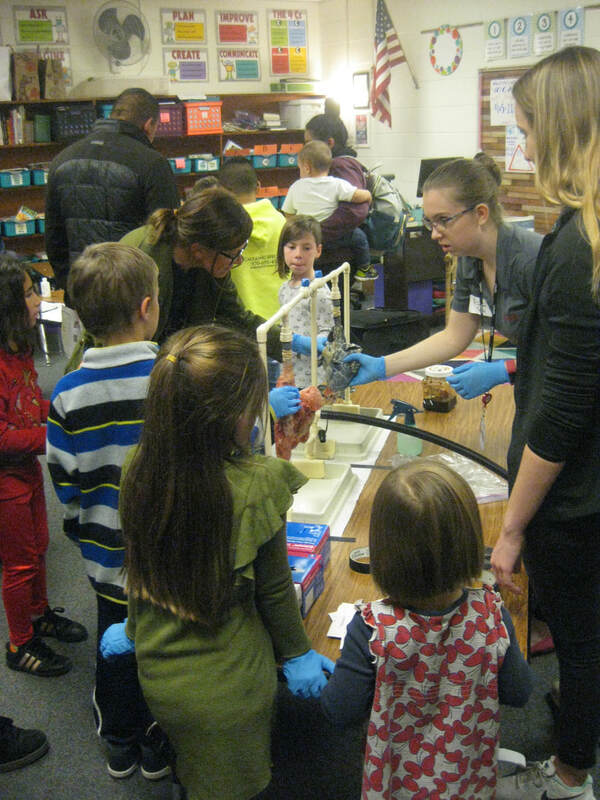 We appreciate all of our 2016 STEM Night Presenters! 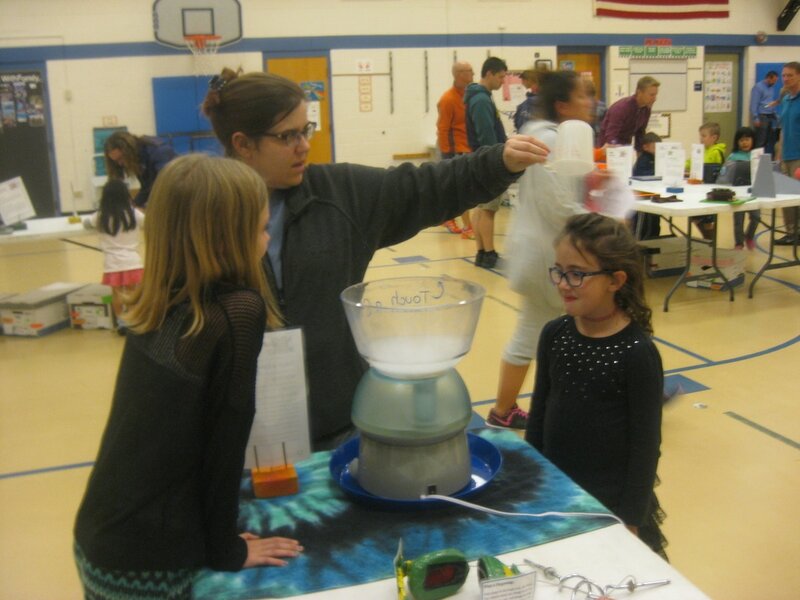 Thanks for making the 2016 Family STEM Night a huge success! 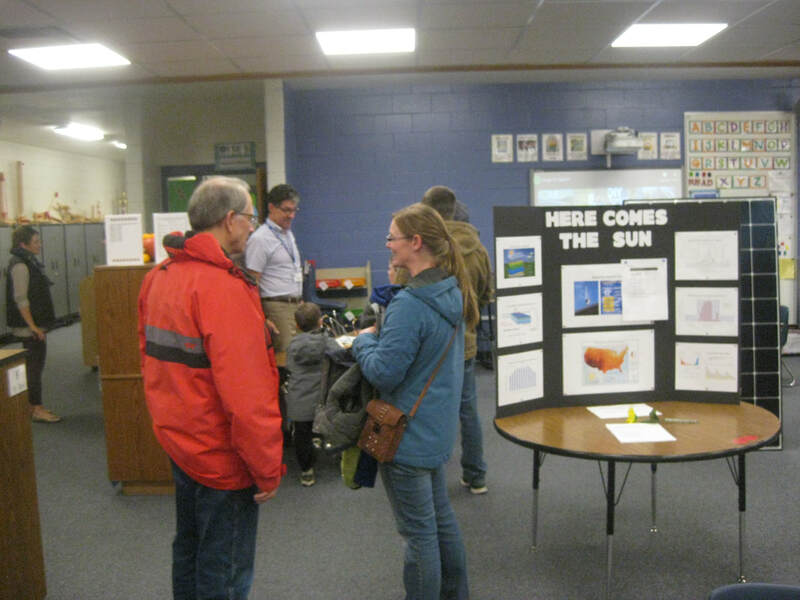 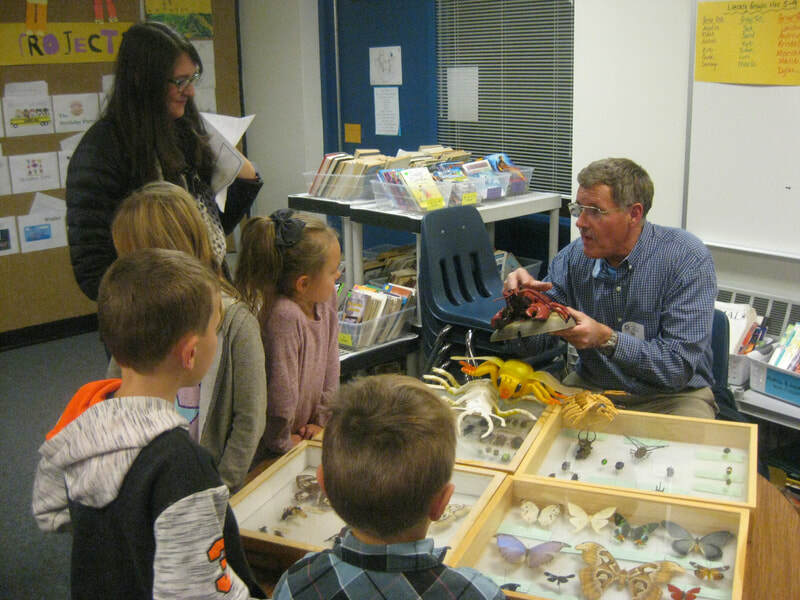 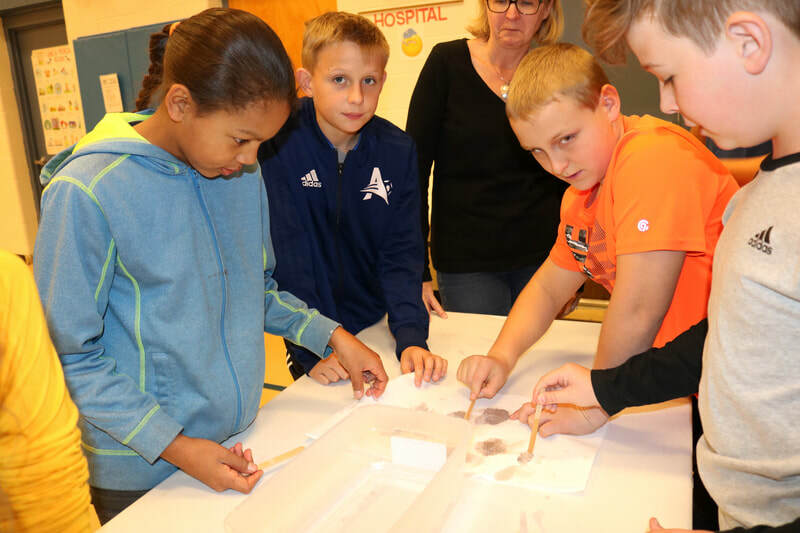 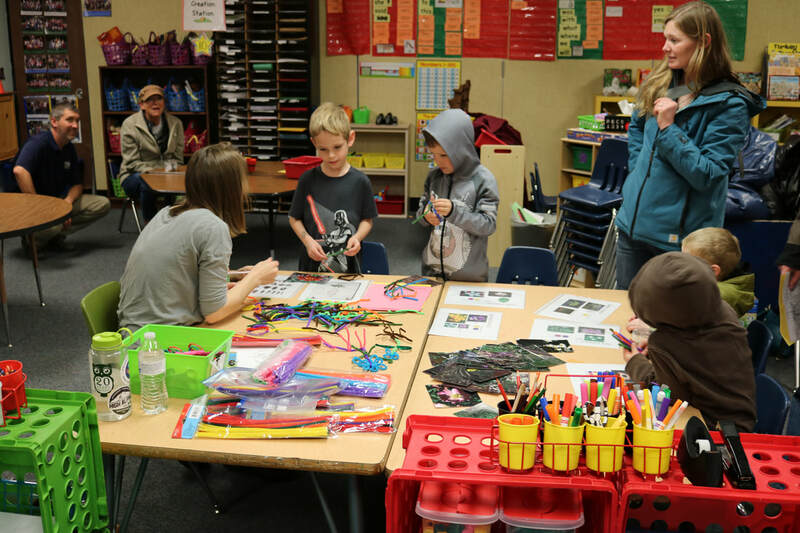 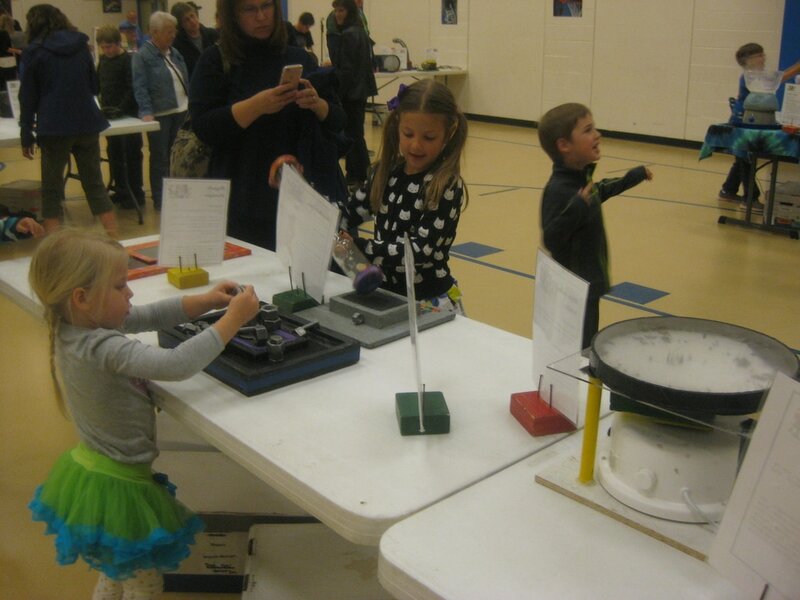 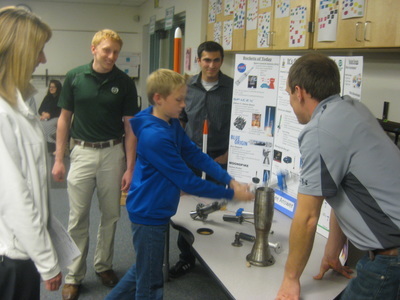 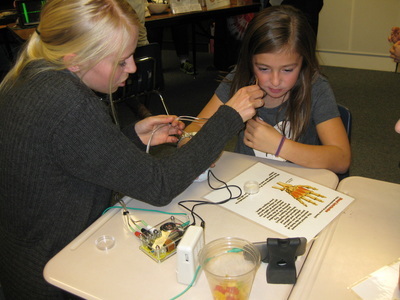 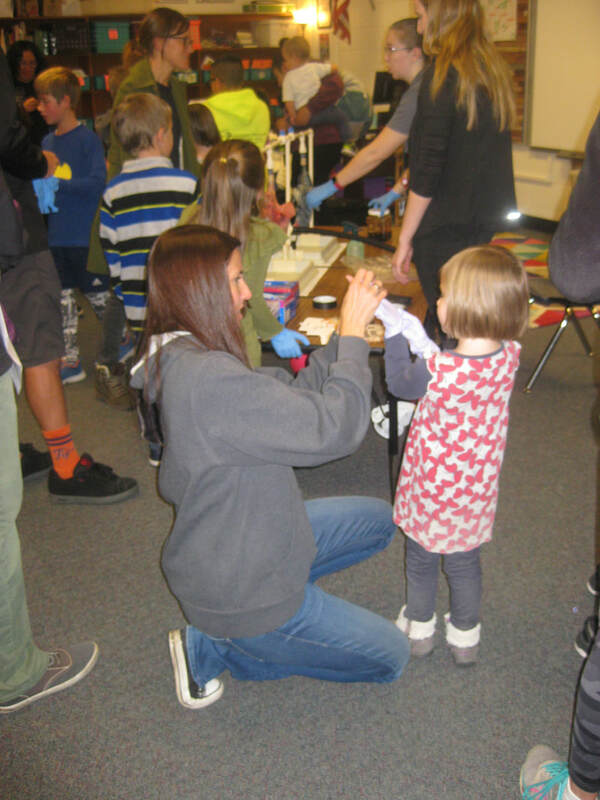 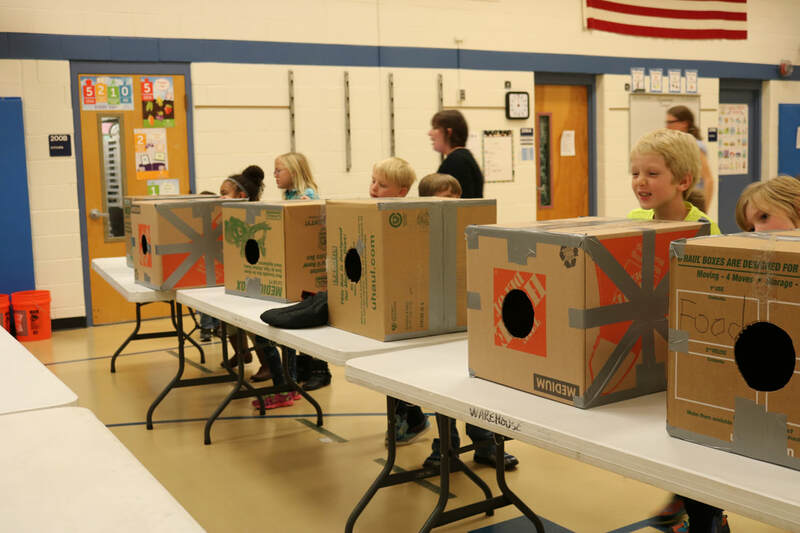 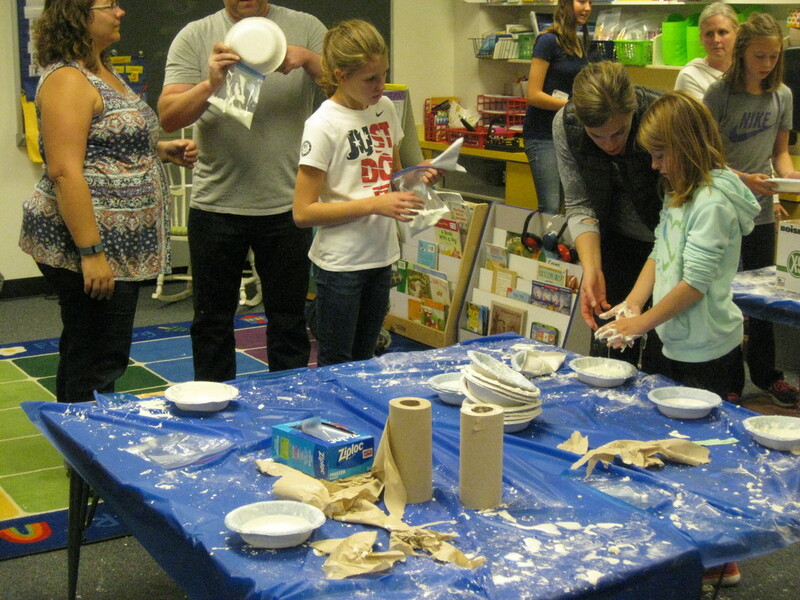 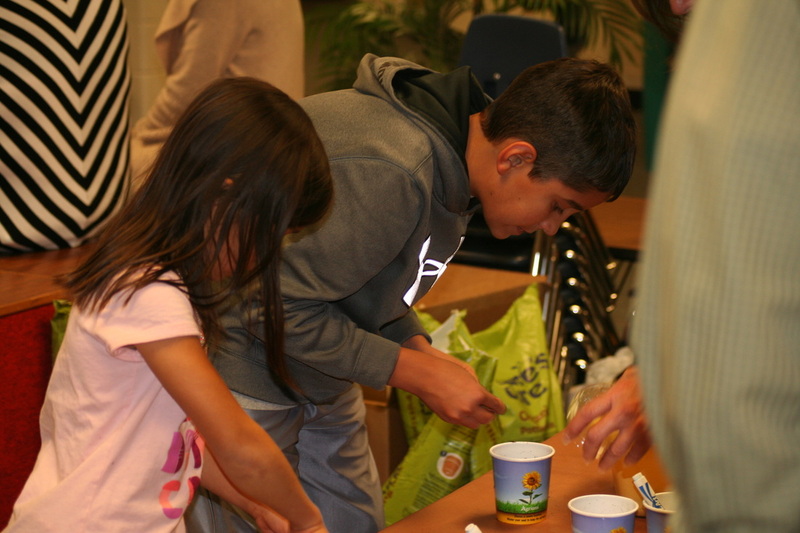 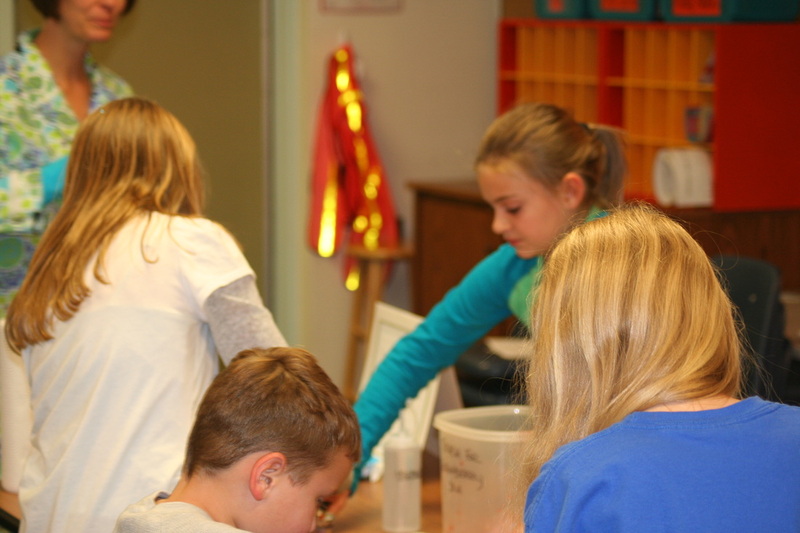 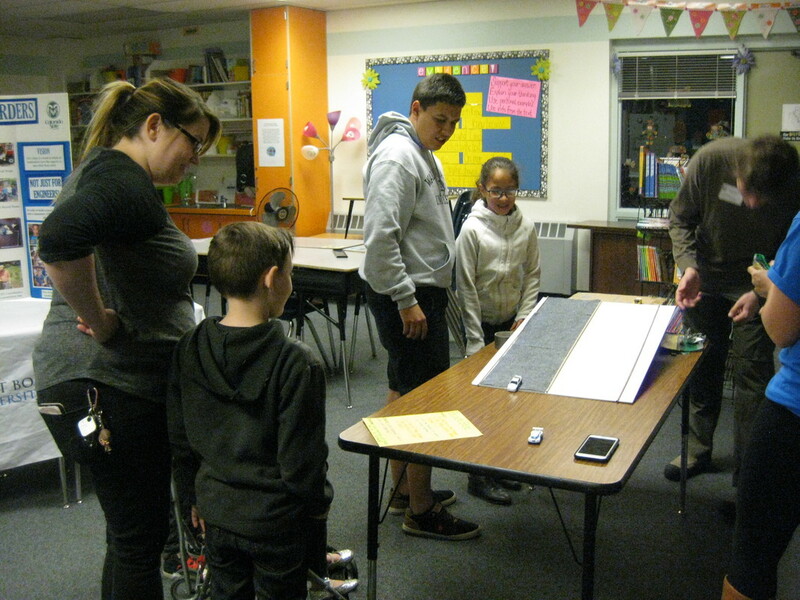 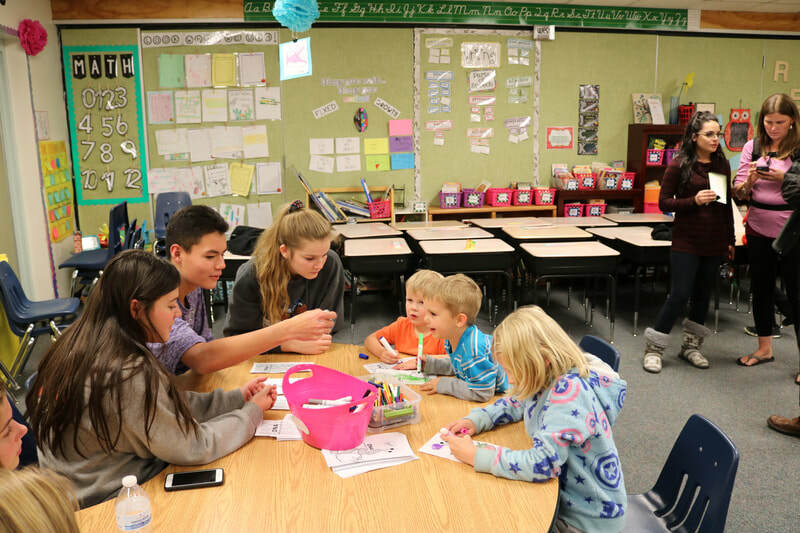 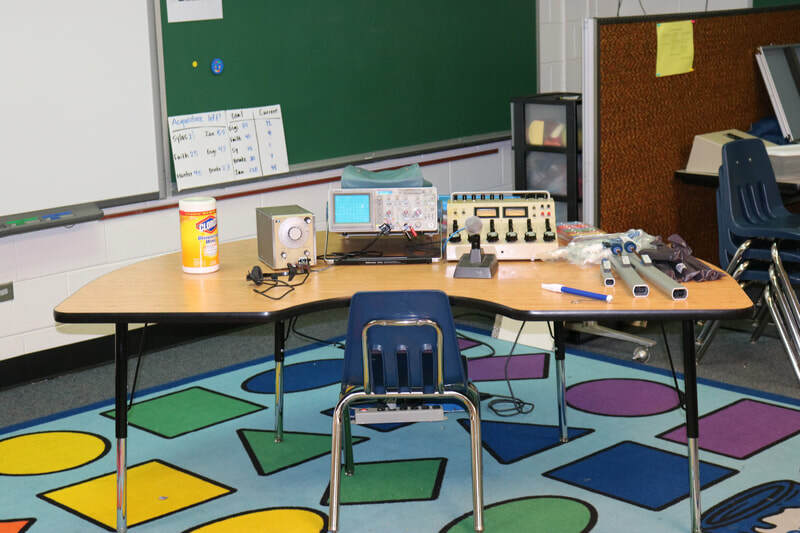 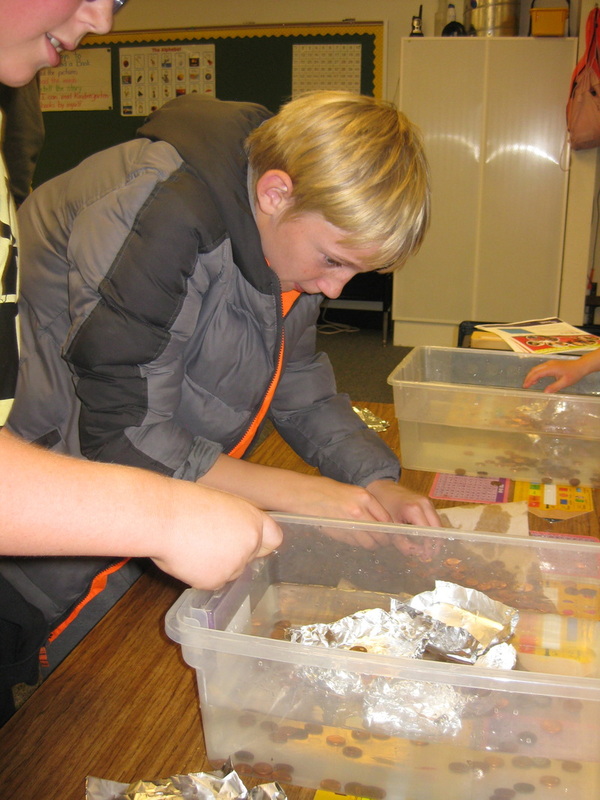 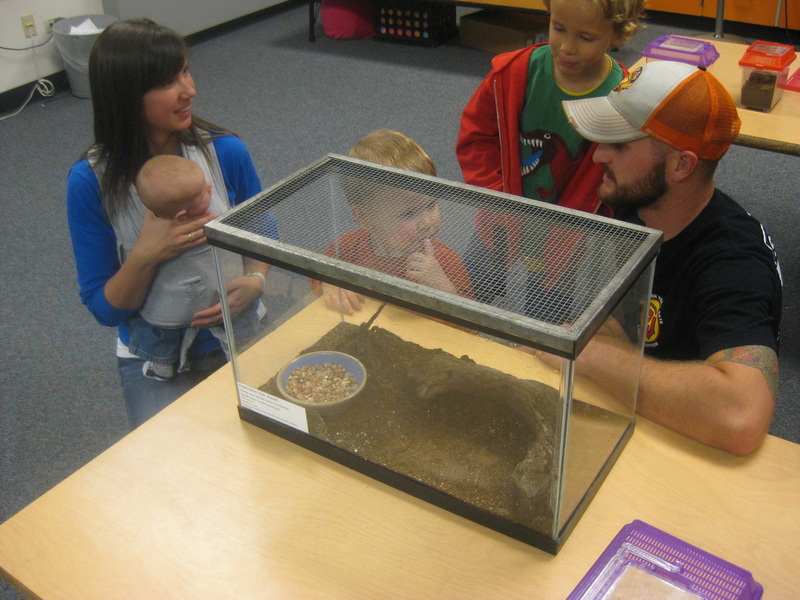 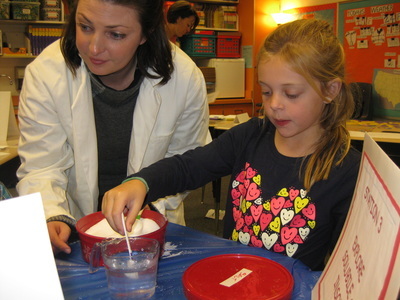 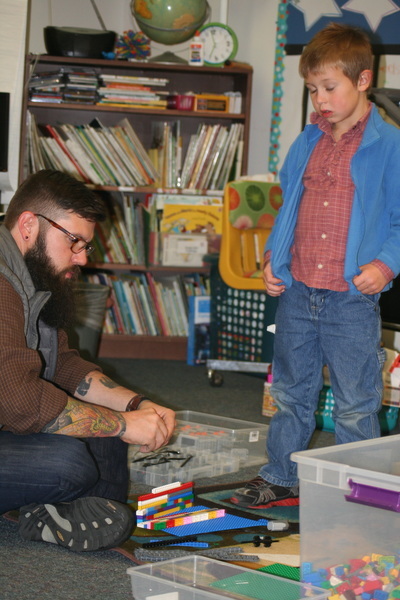 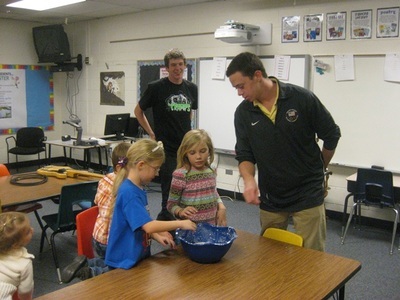 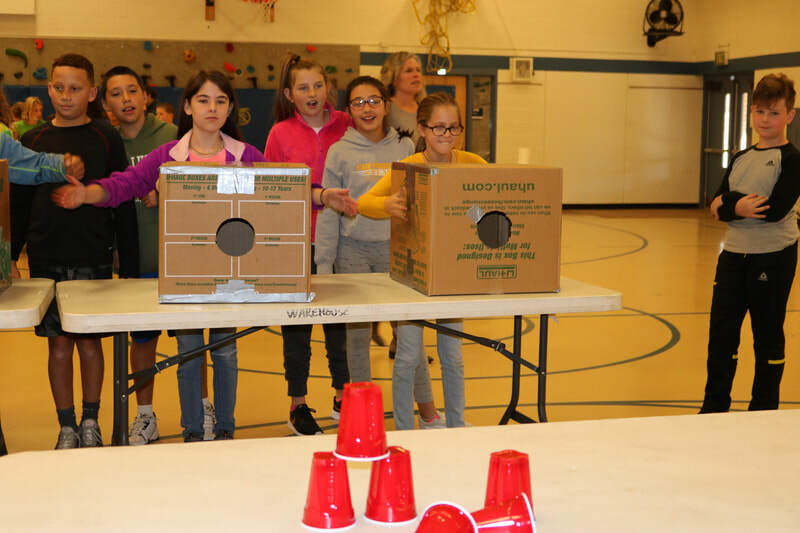 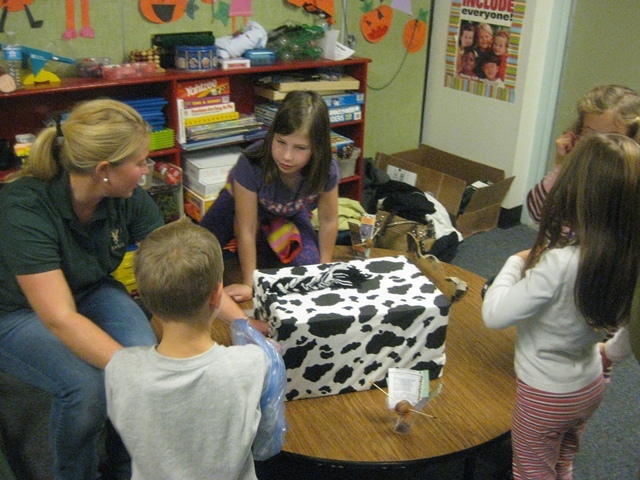 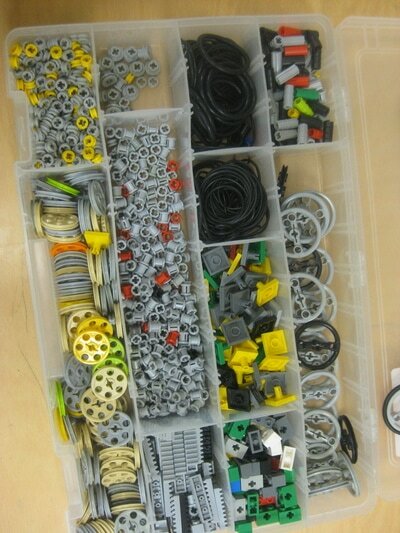 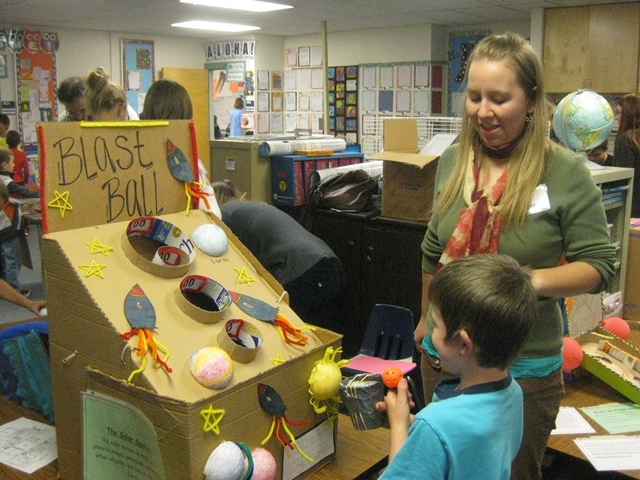 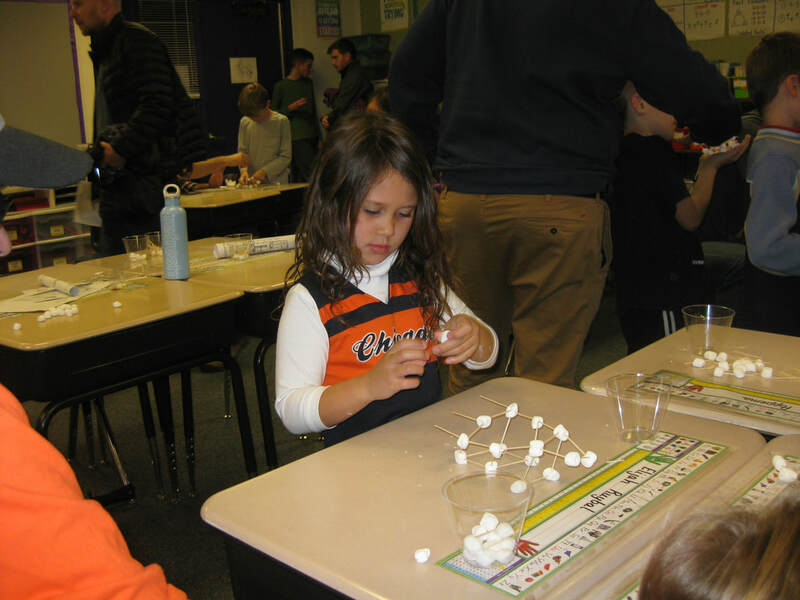 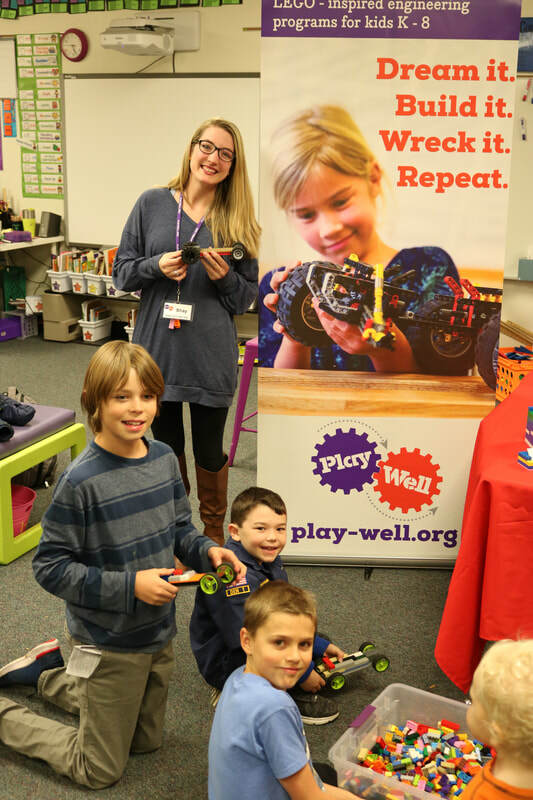 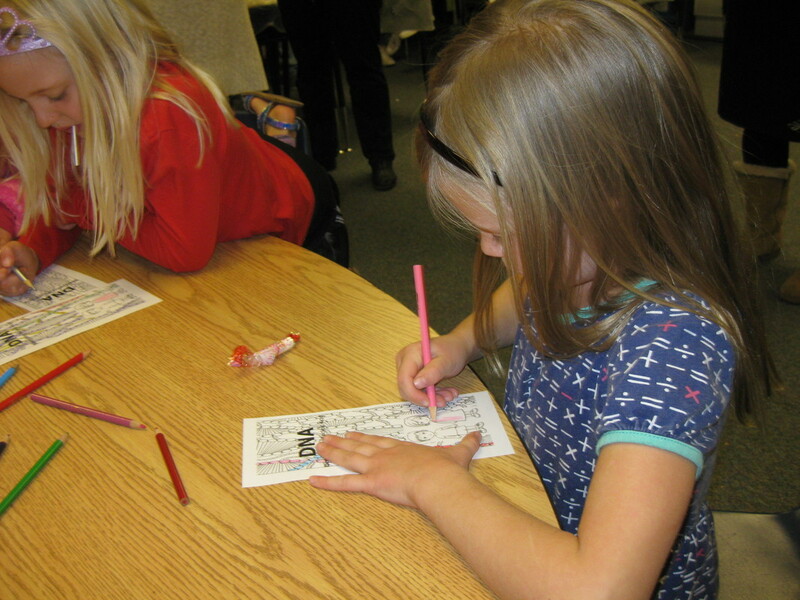 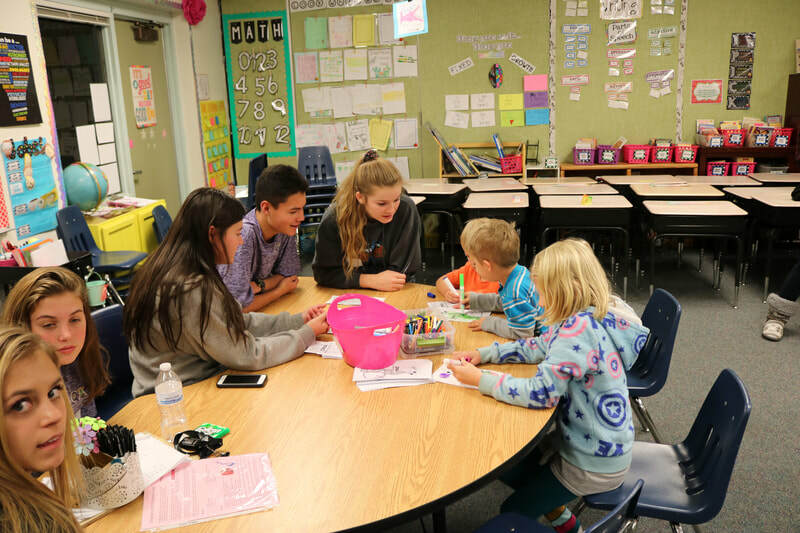 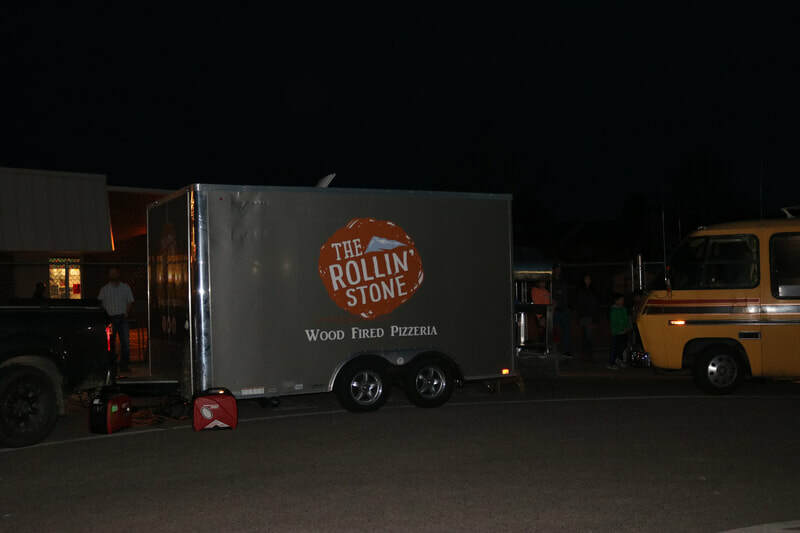 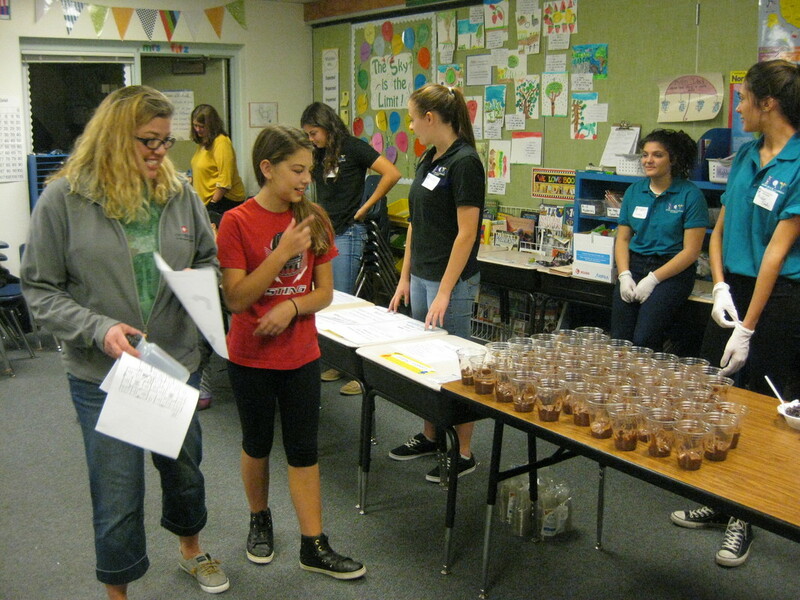 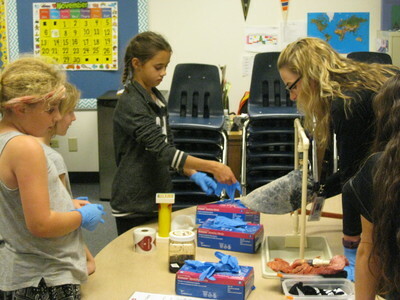 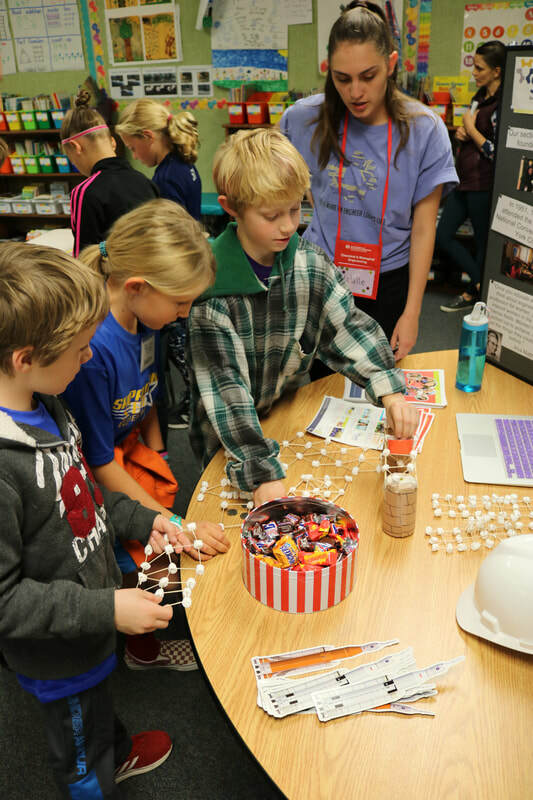 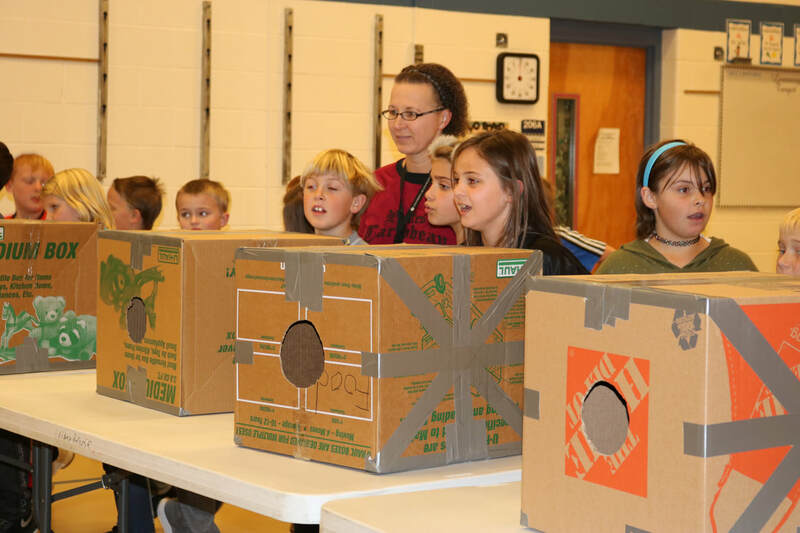 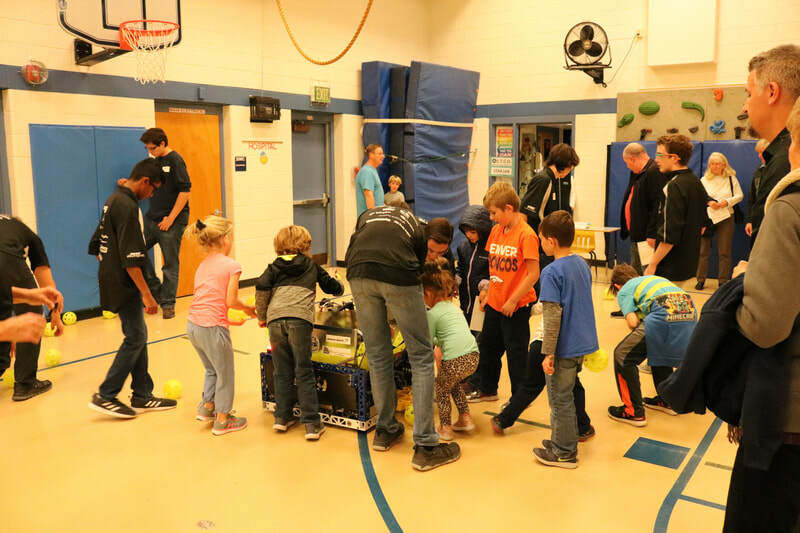 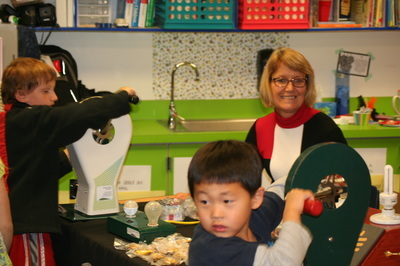 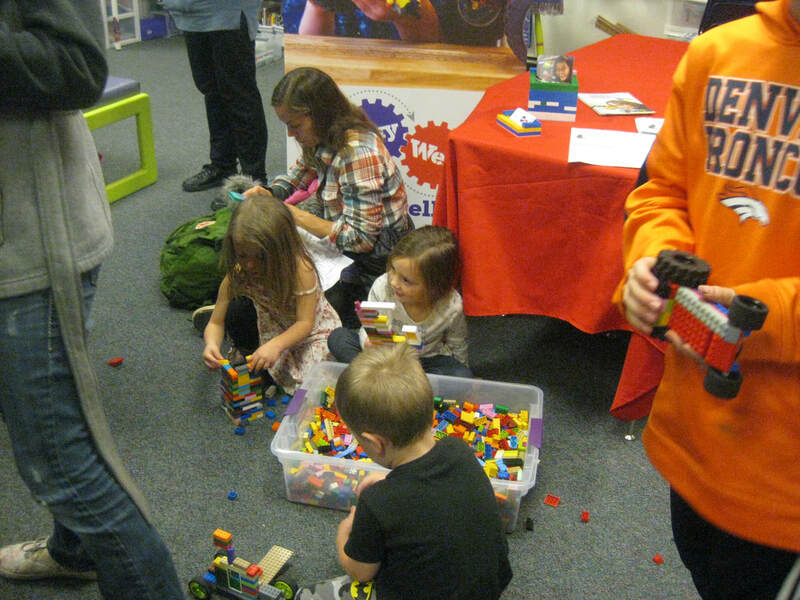 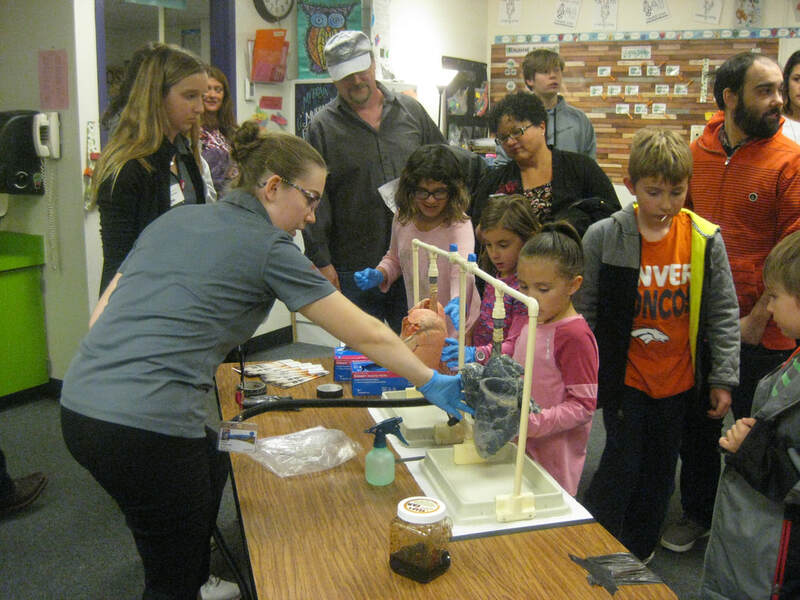 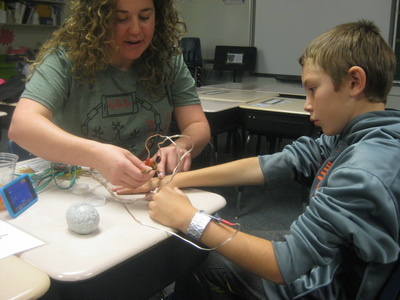 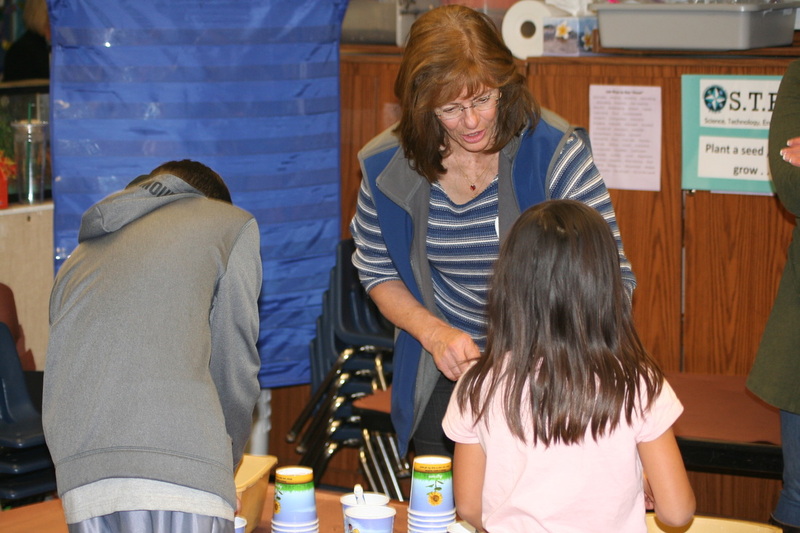 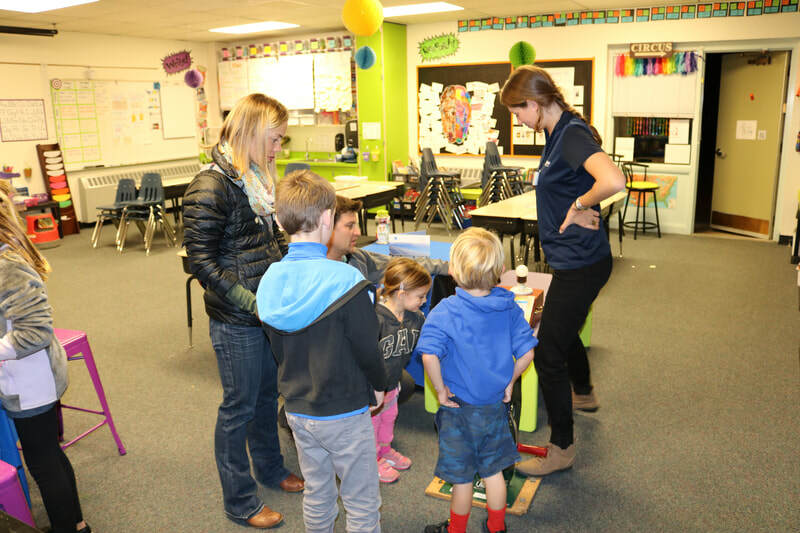 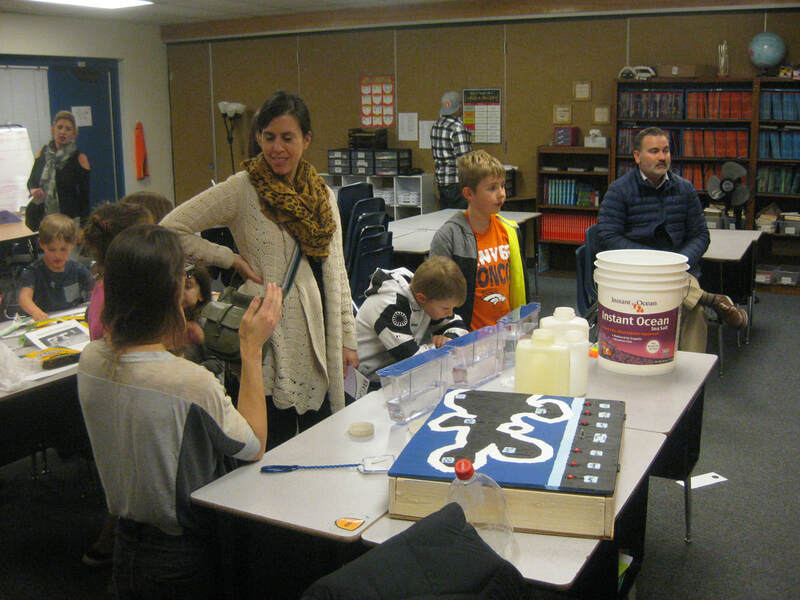 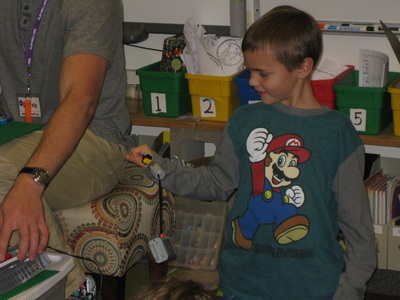 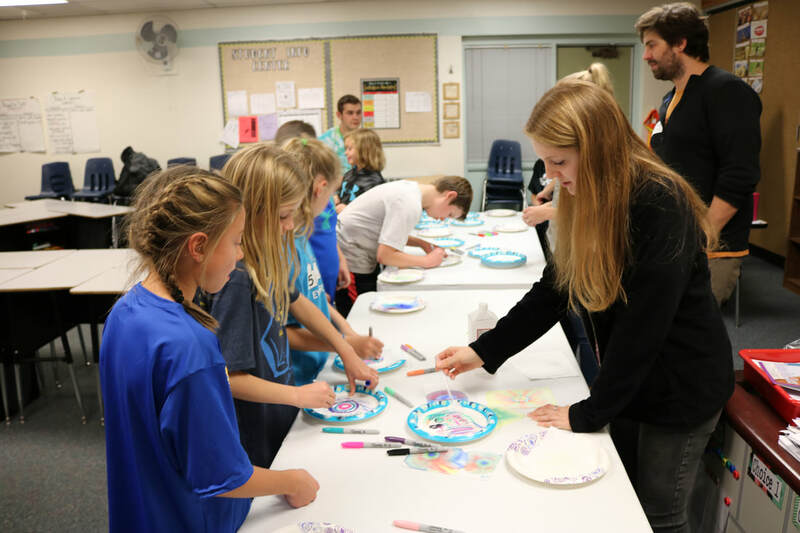 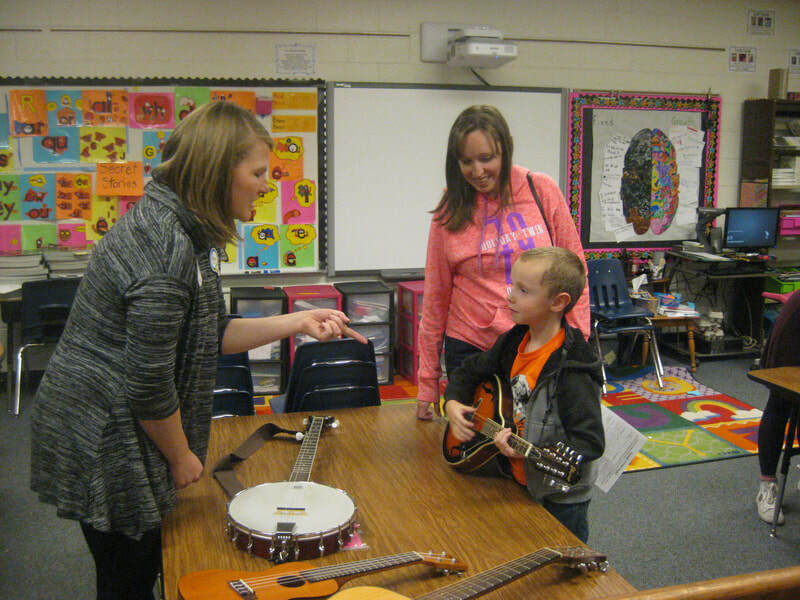 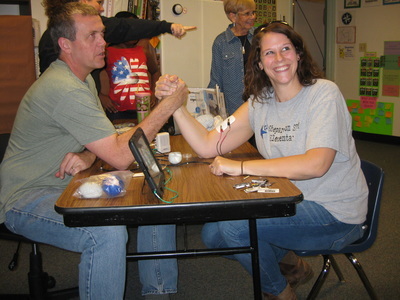 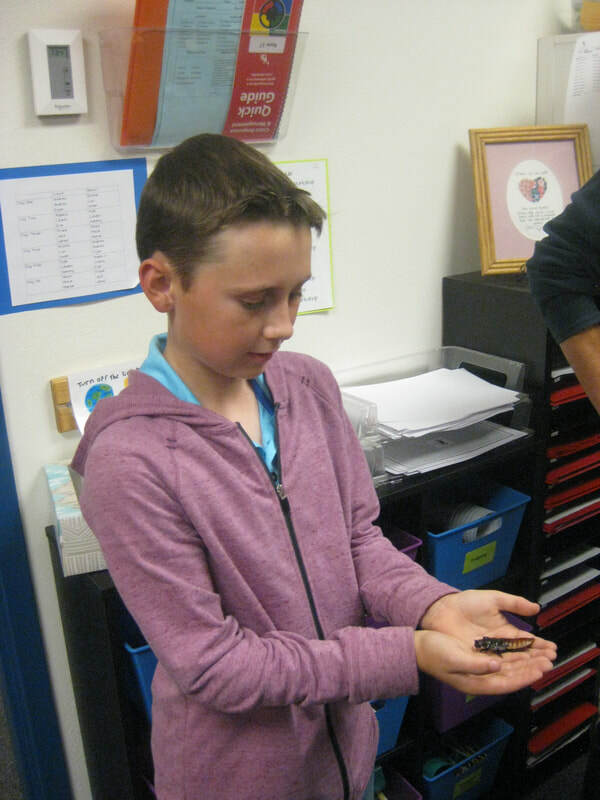 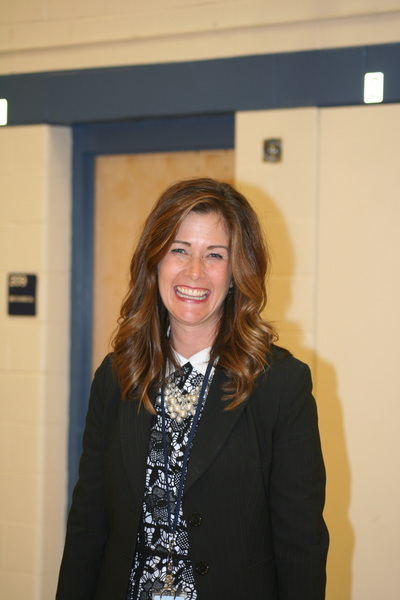 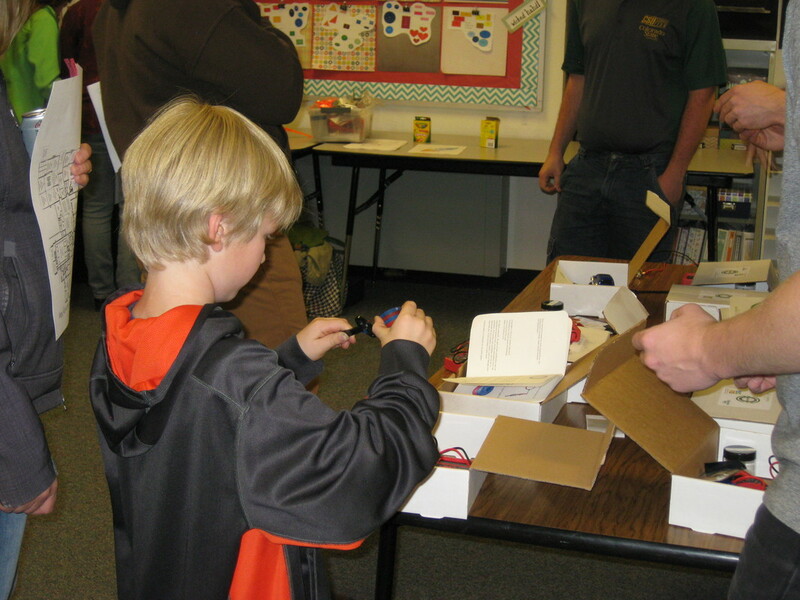 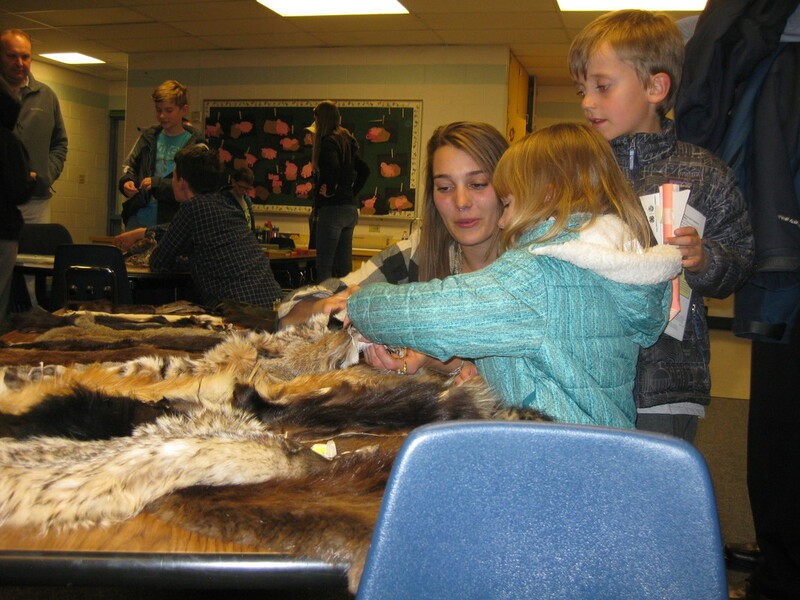 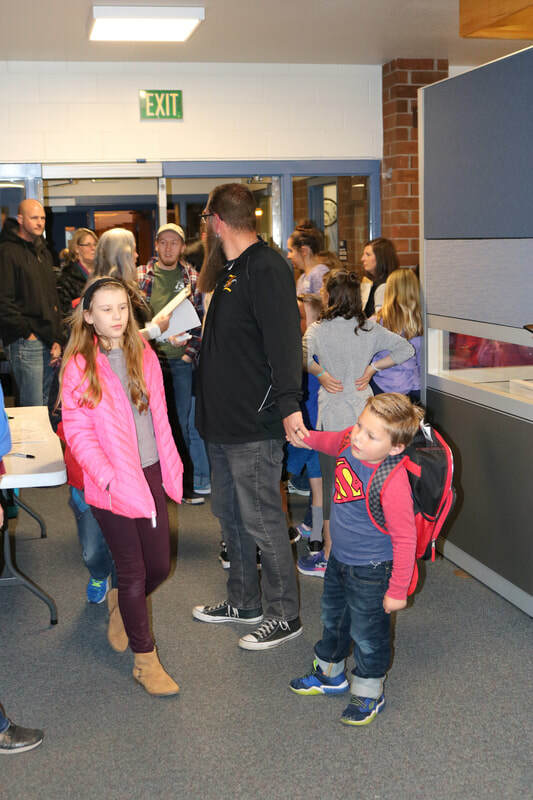 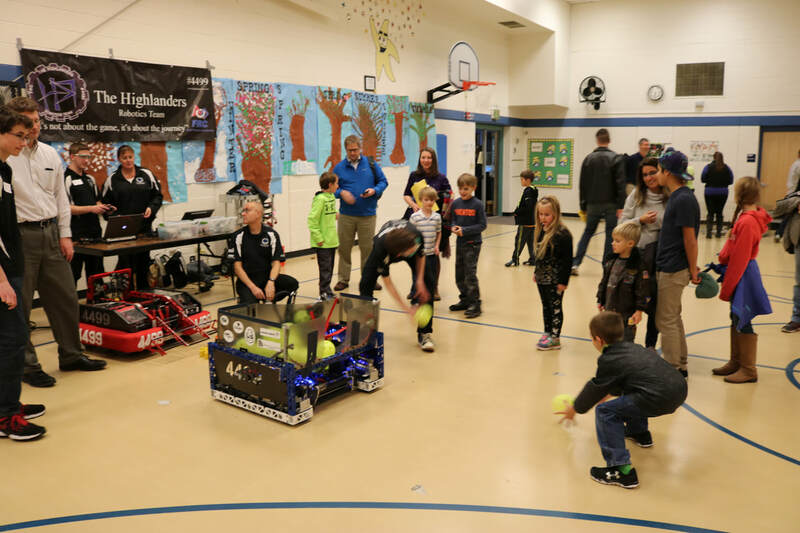 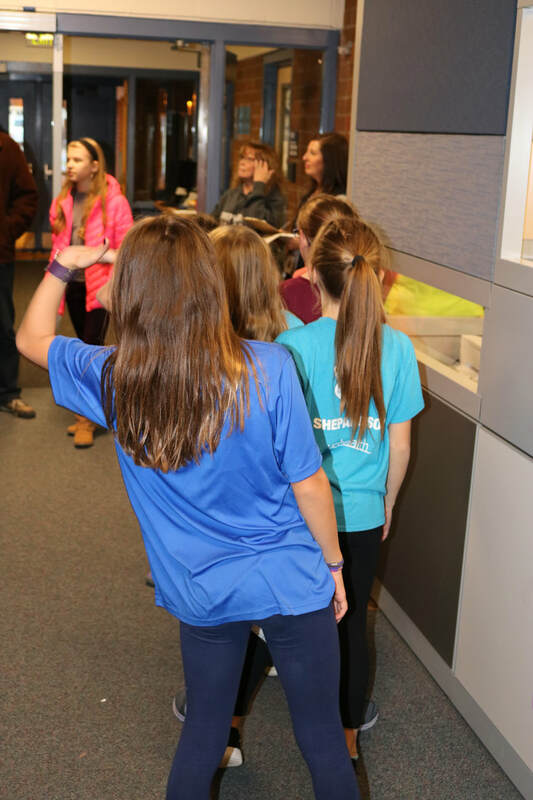 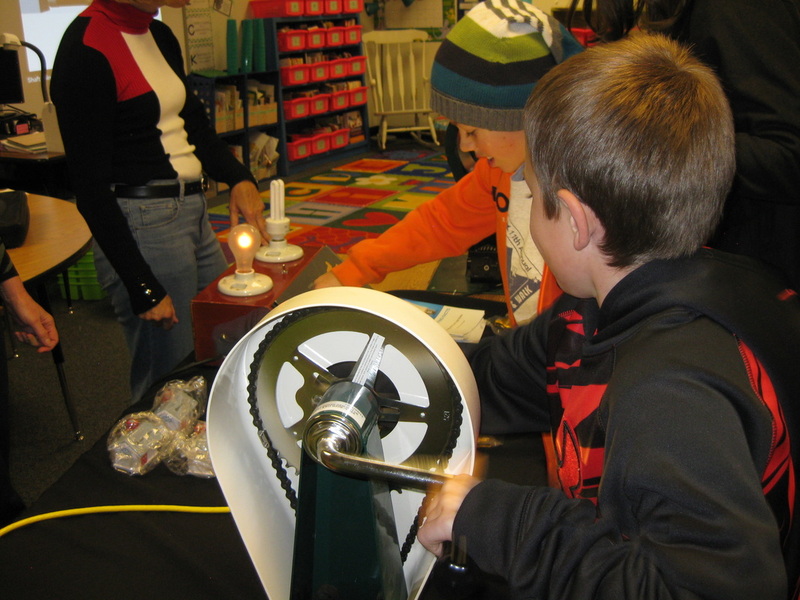 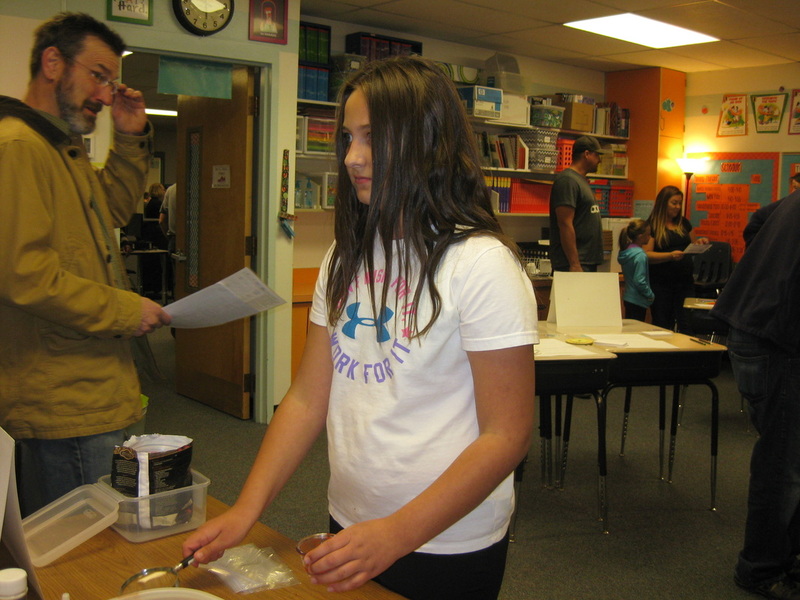 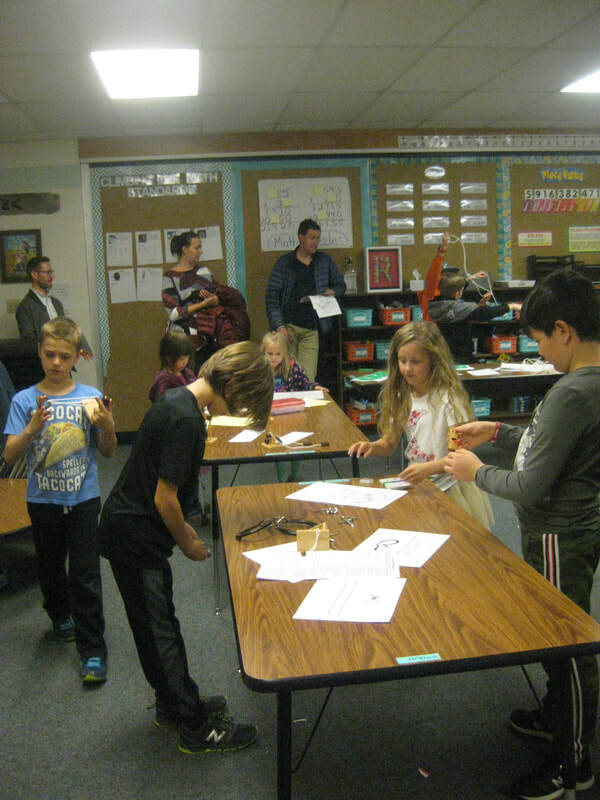 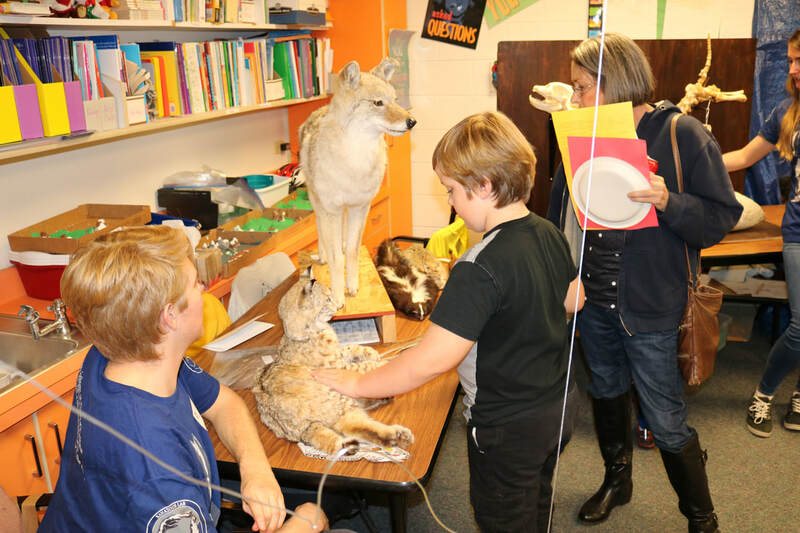 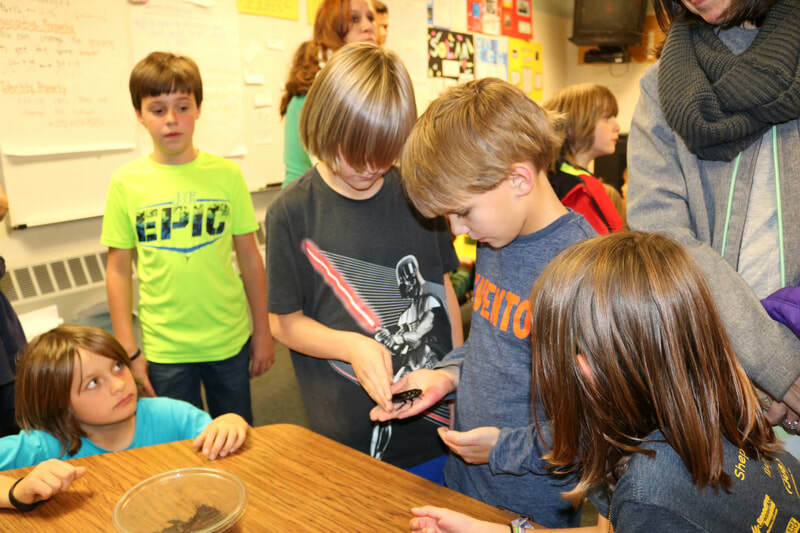 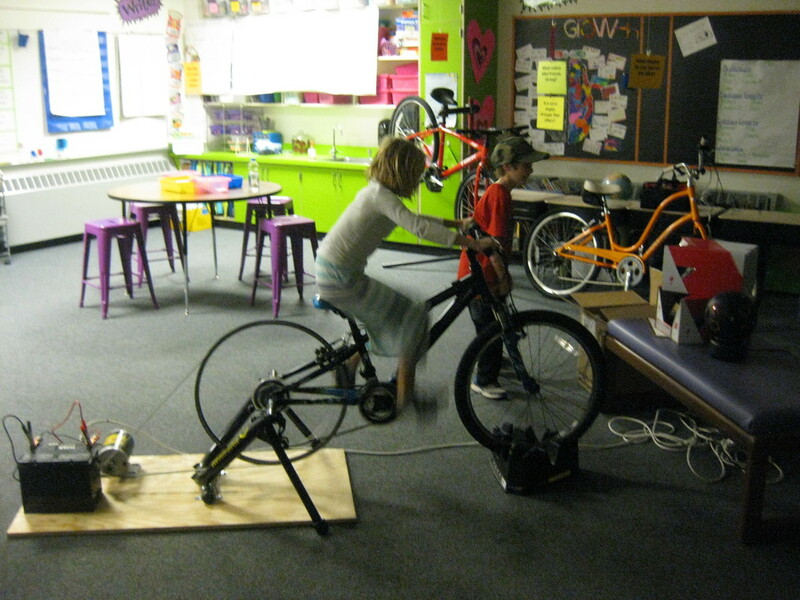 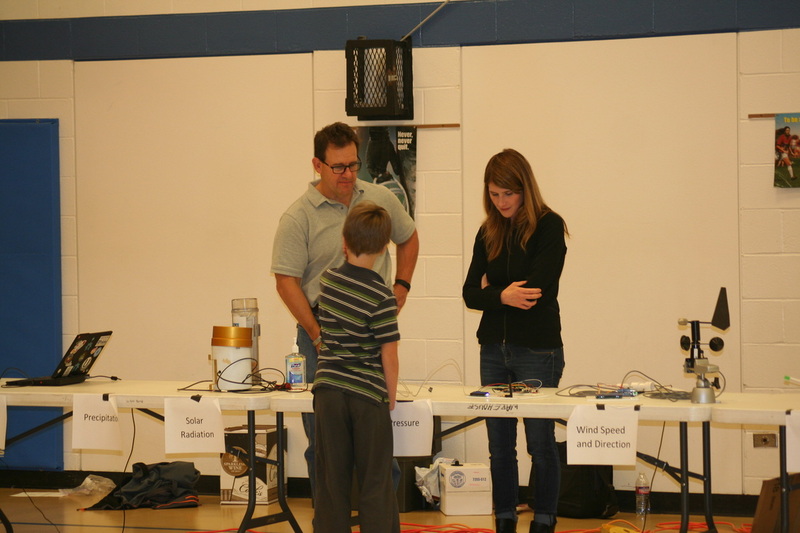 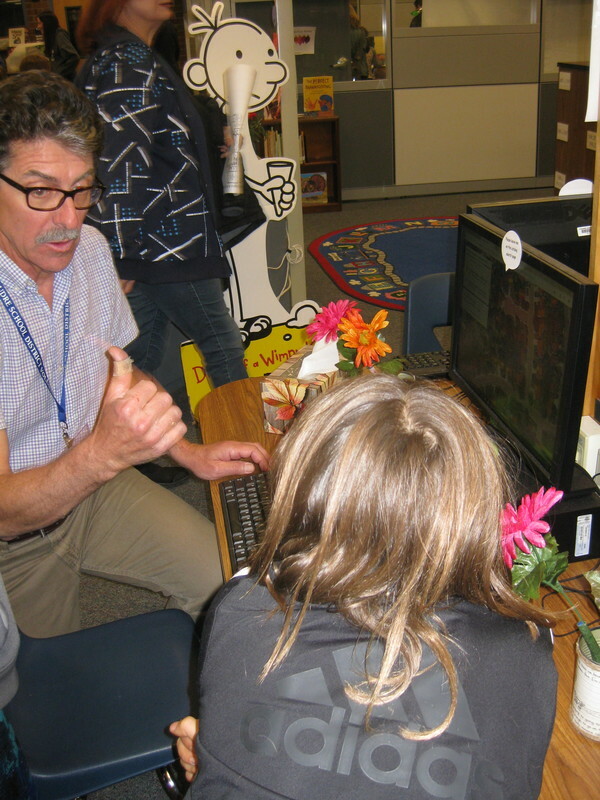 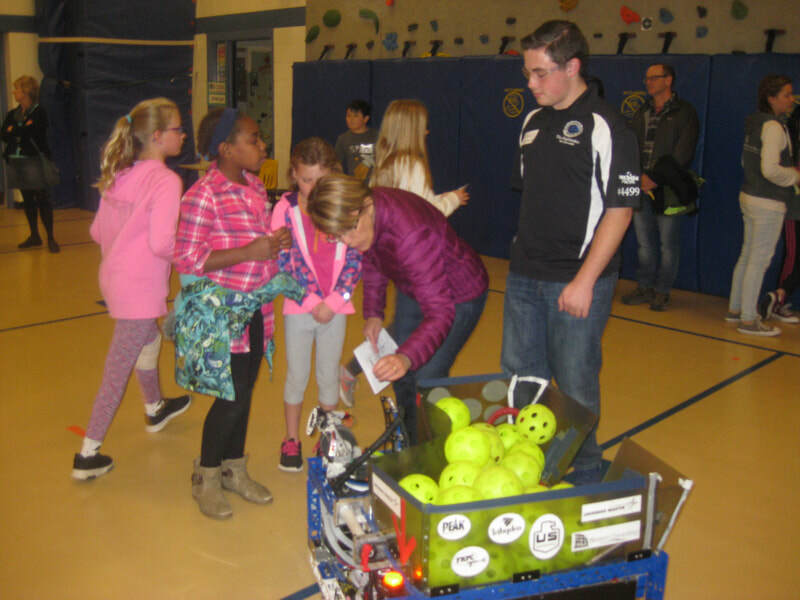 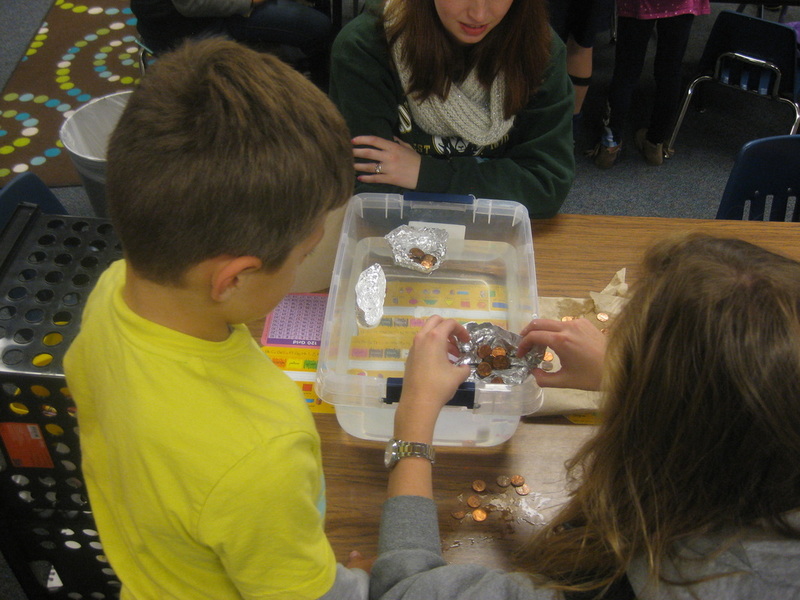 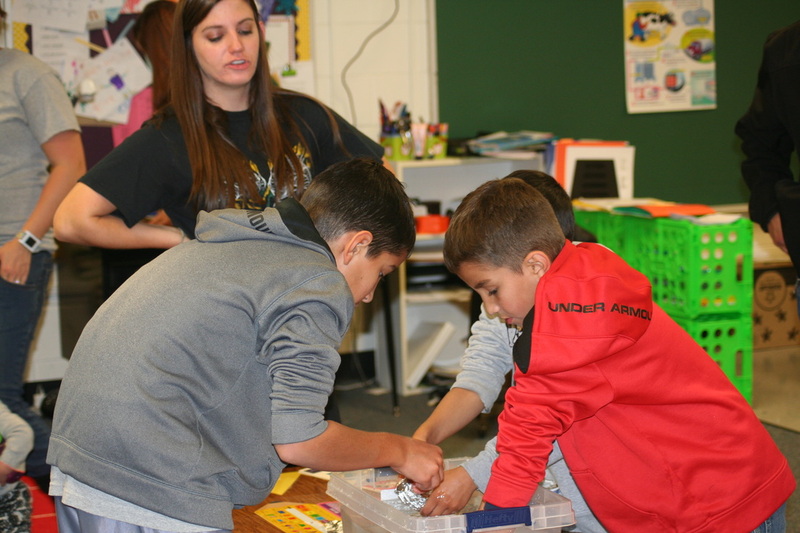 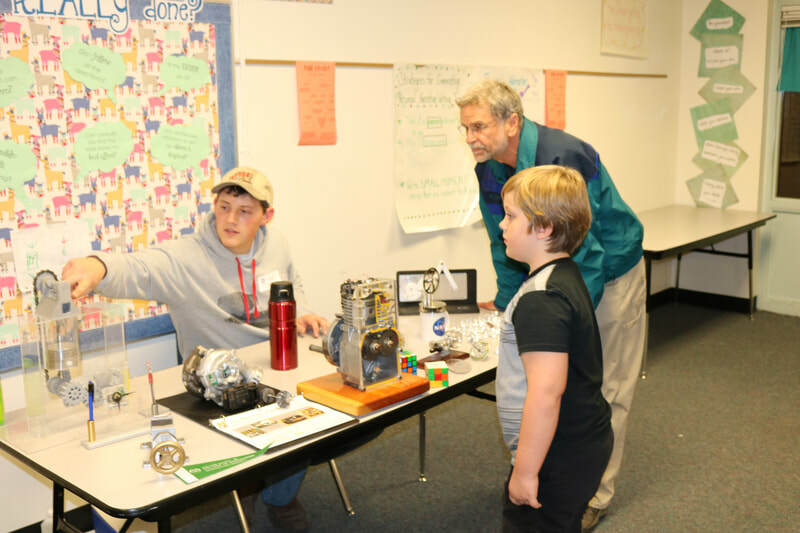 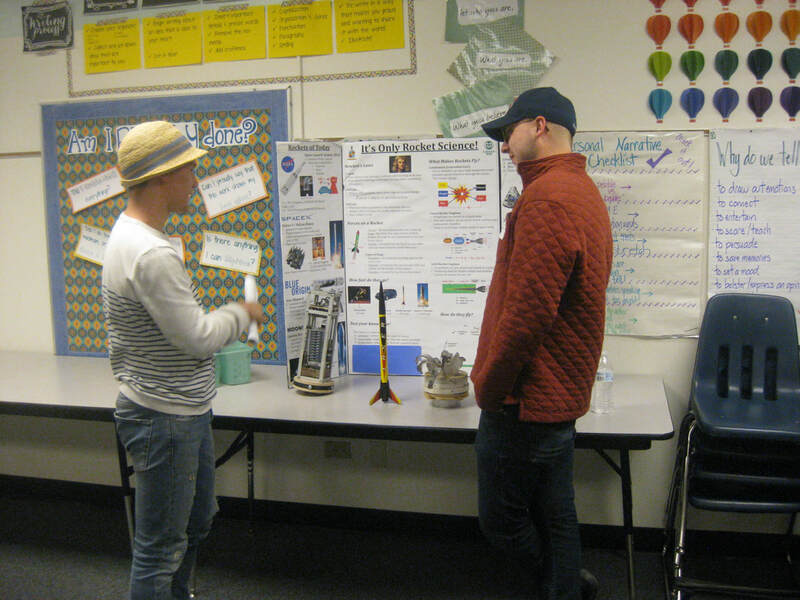 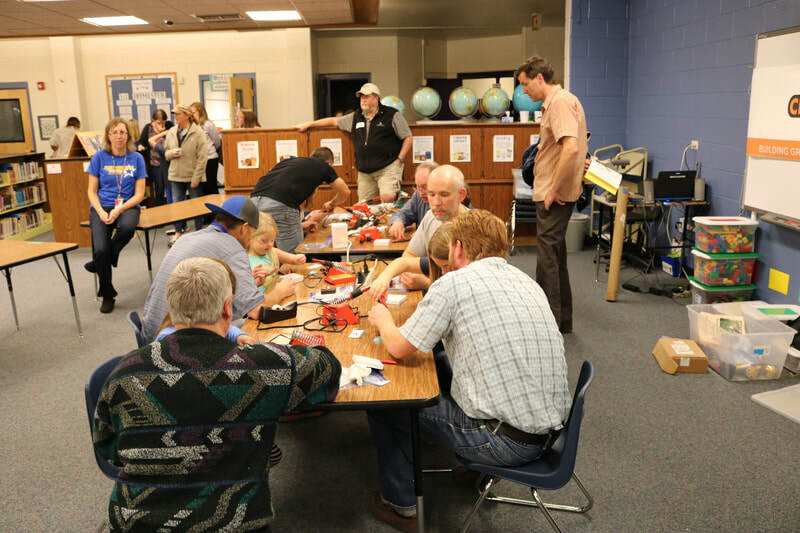 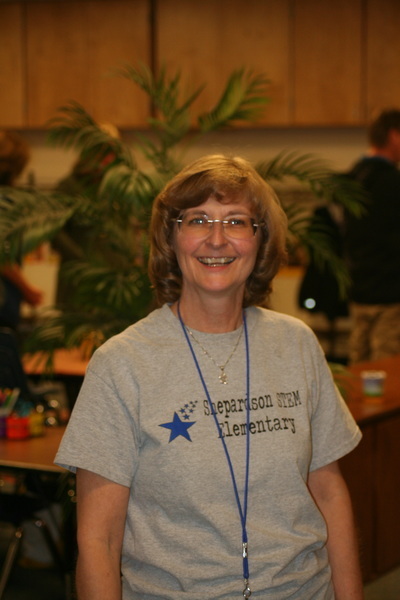 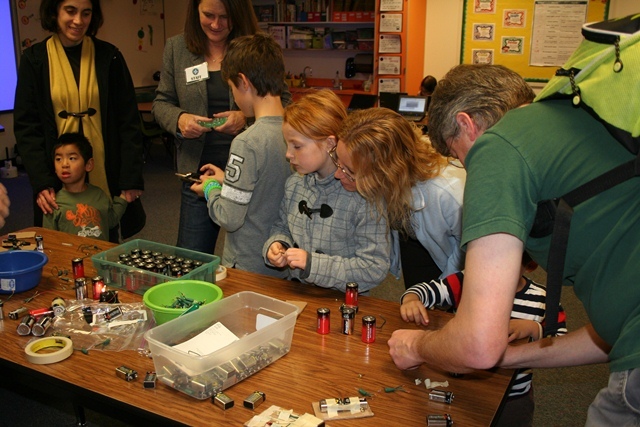 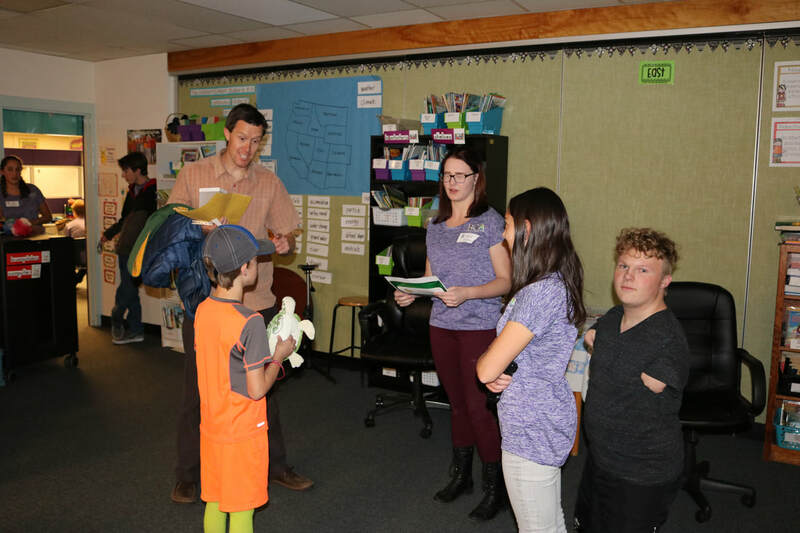 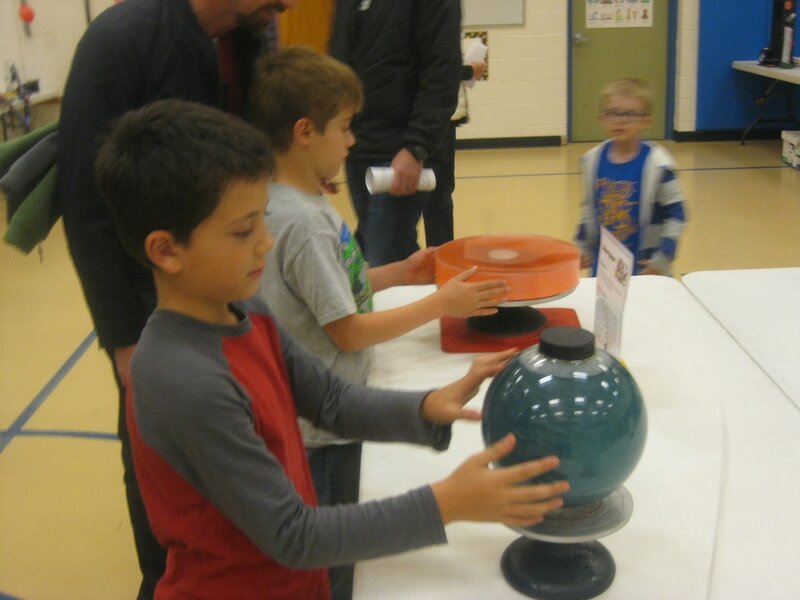 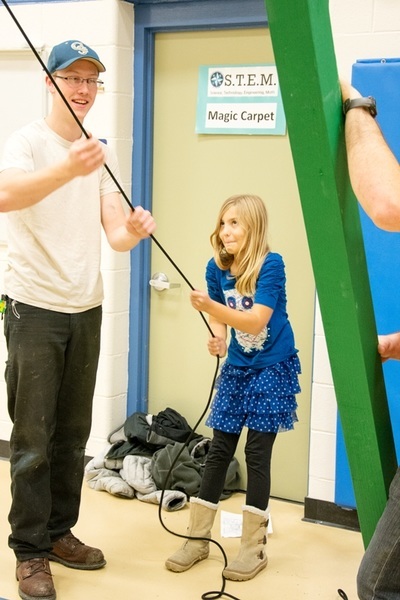 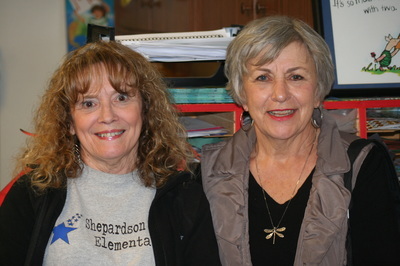 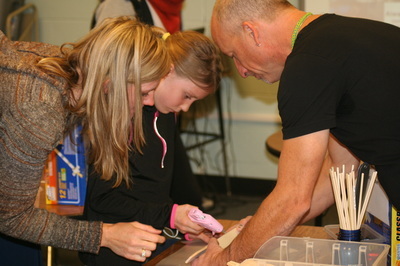 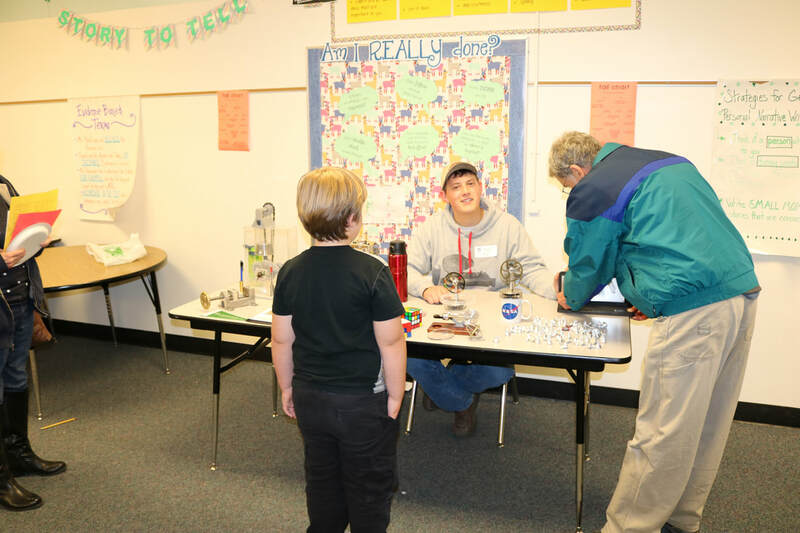 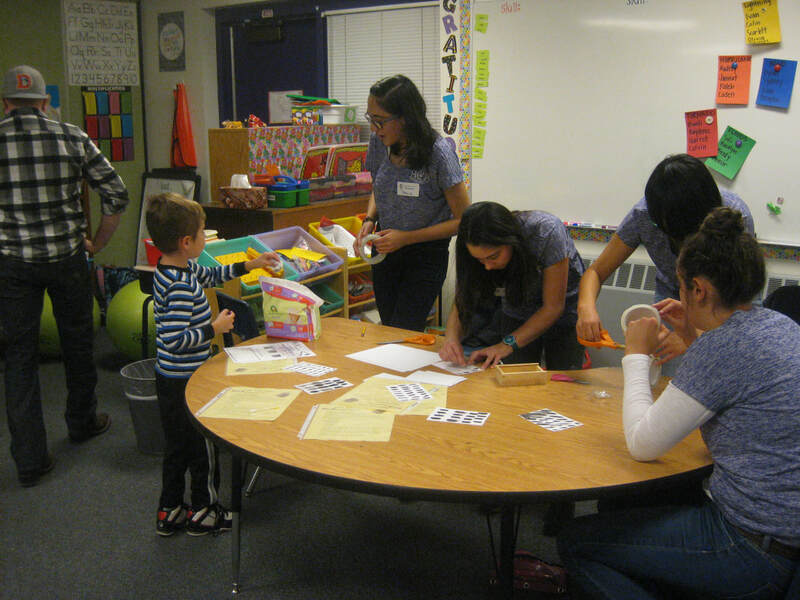 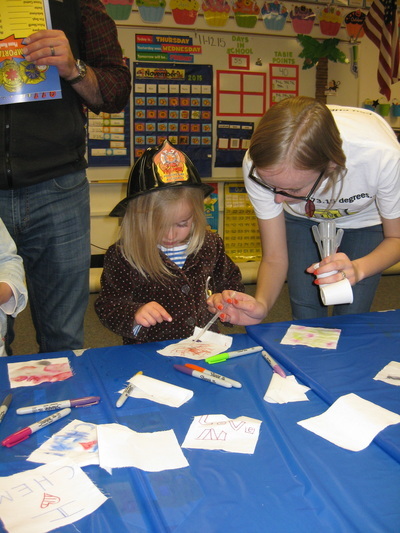 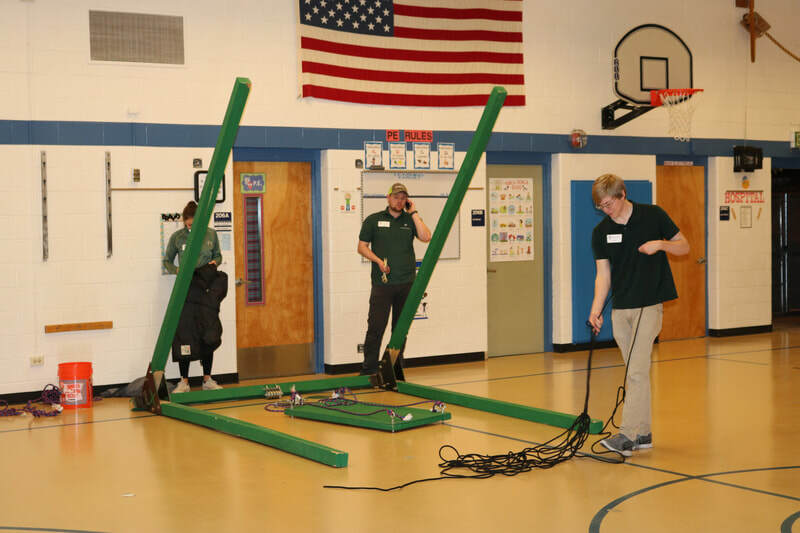 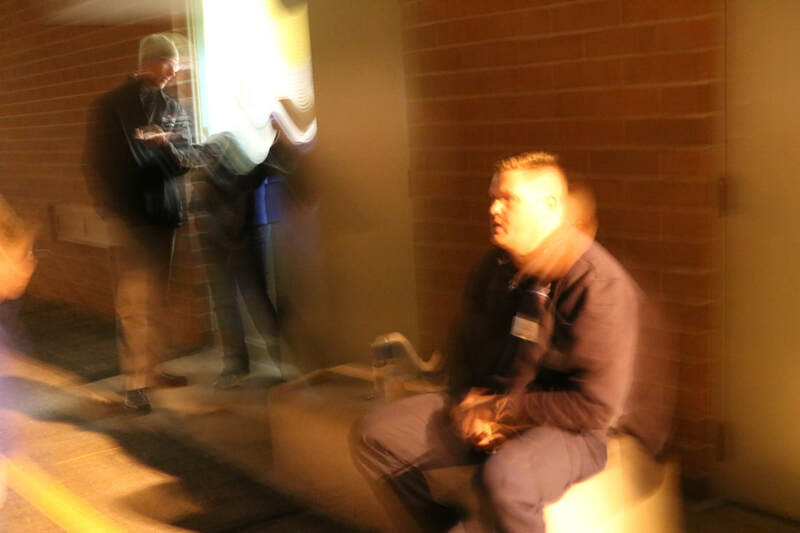 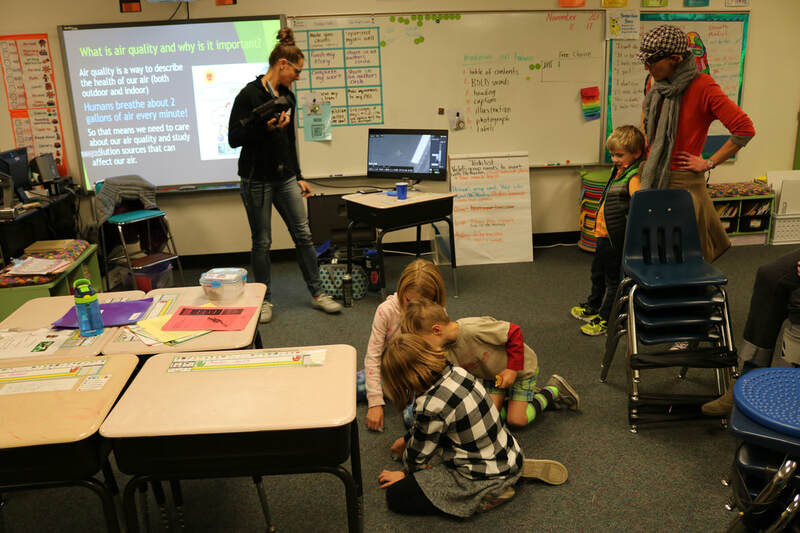 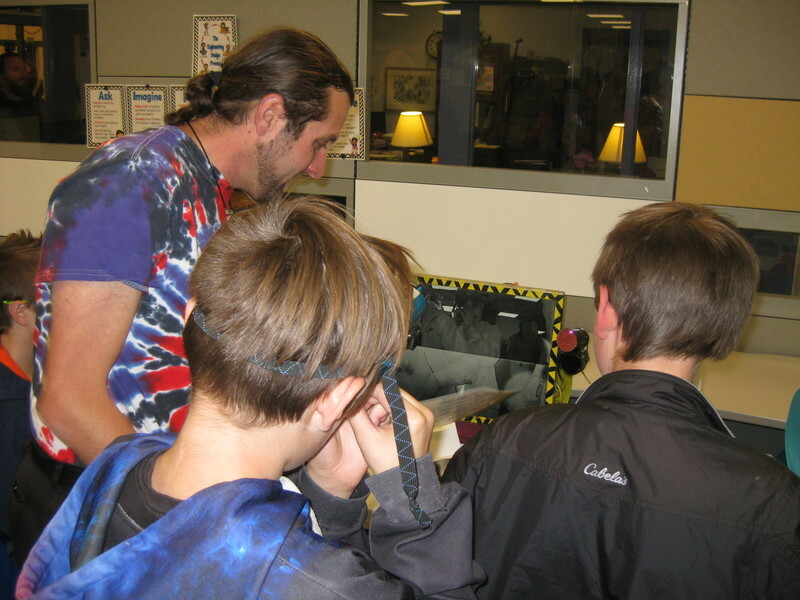 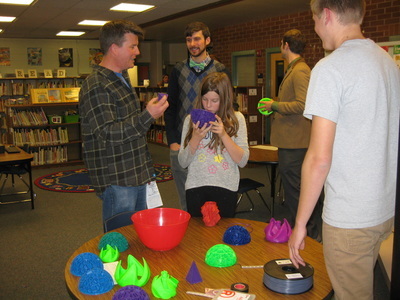 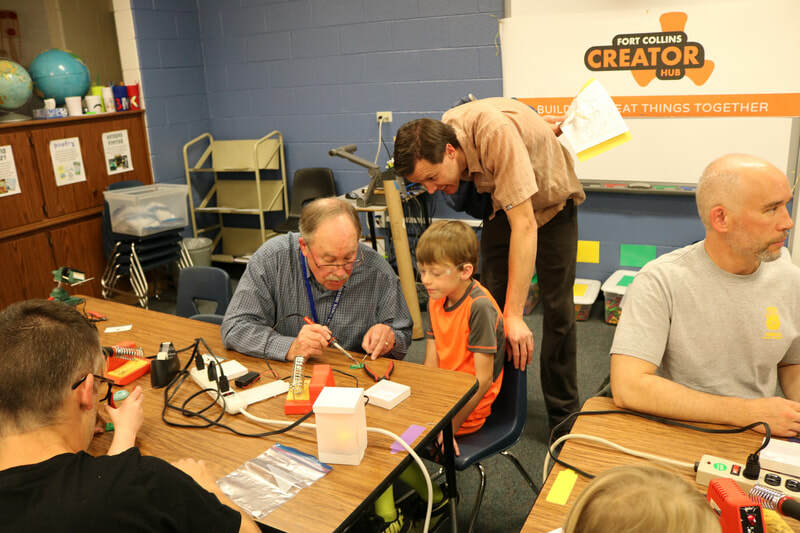 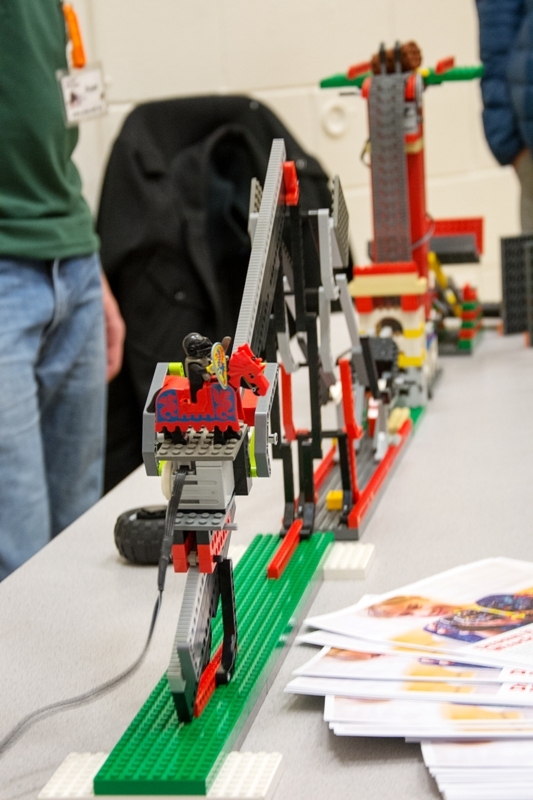 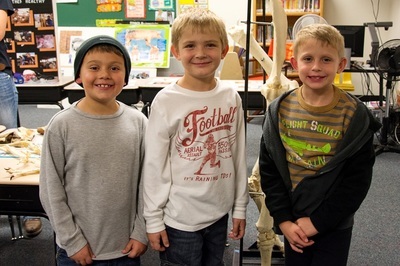 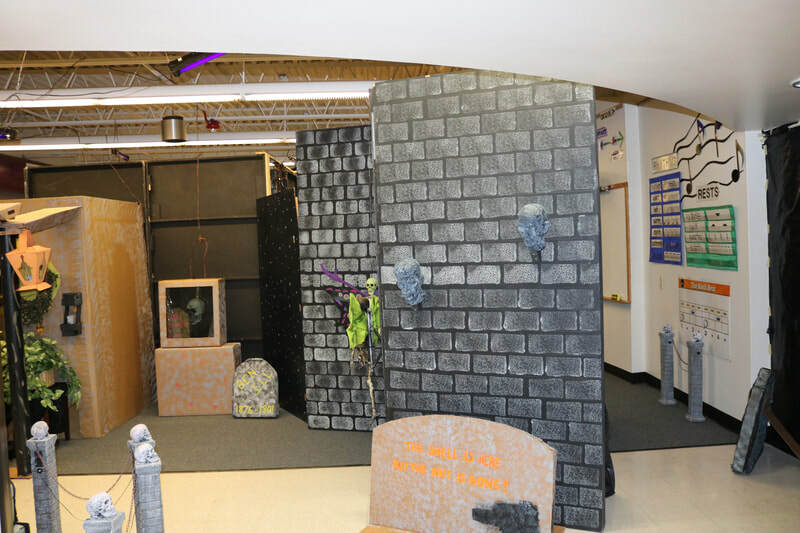 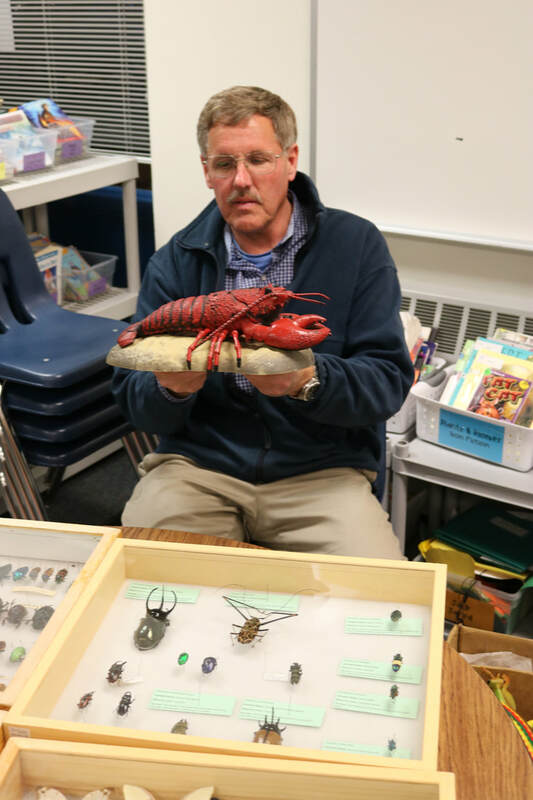 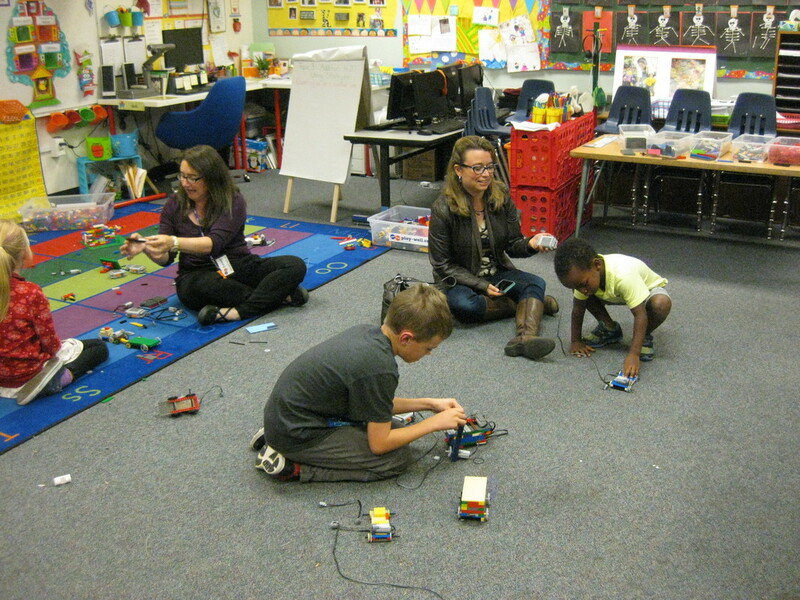 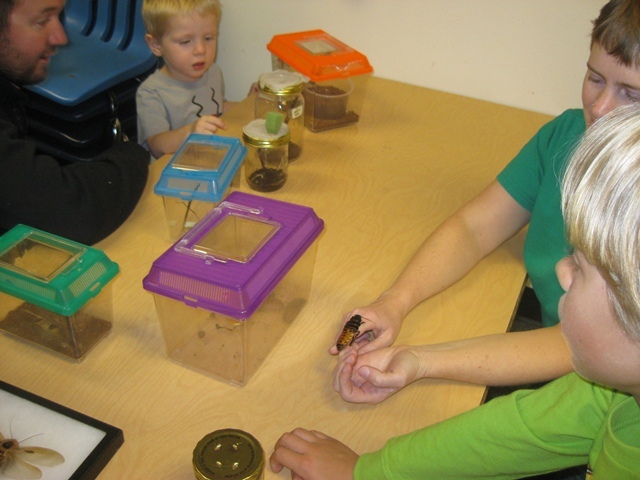 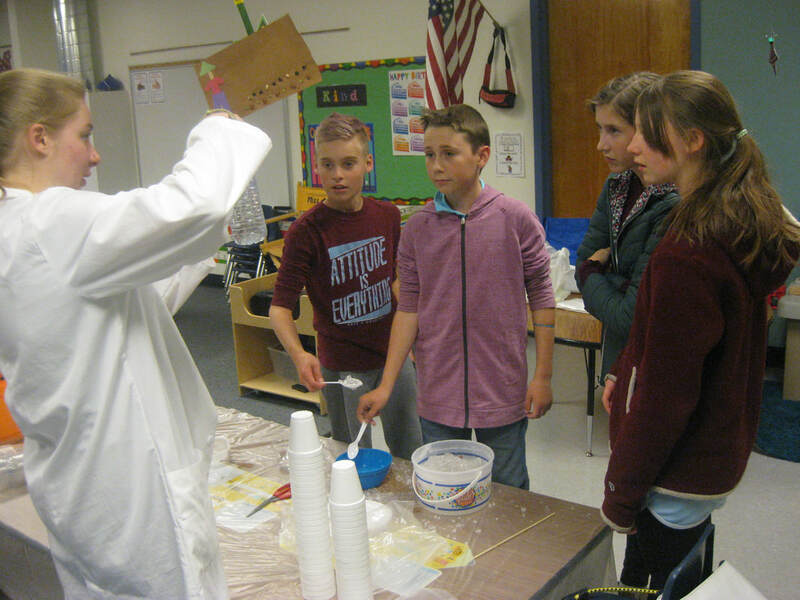 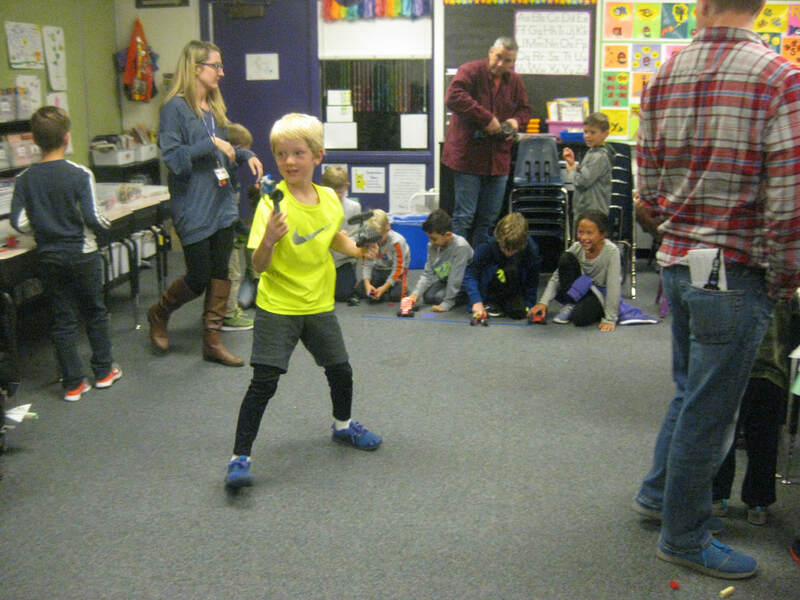 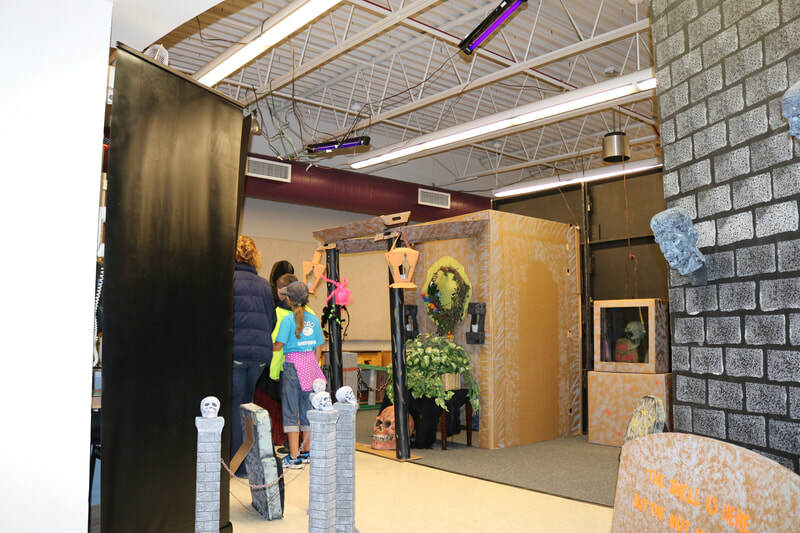 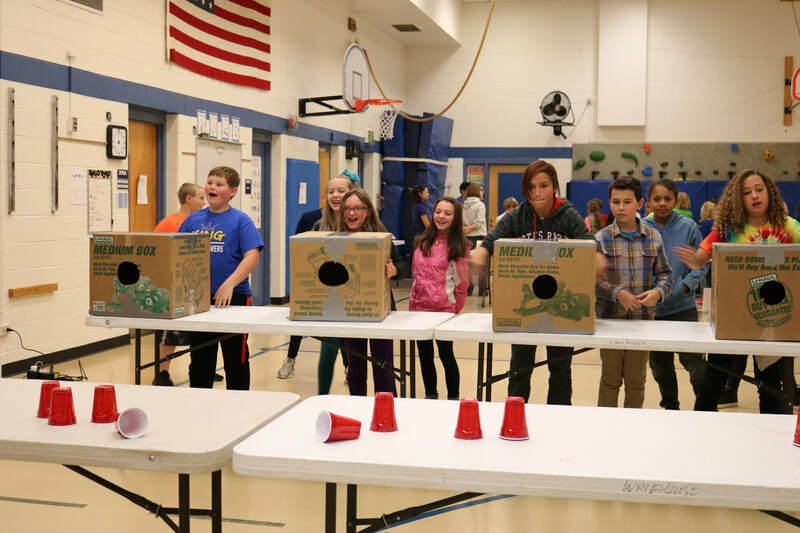 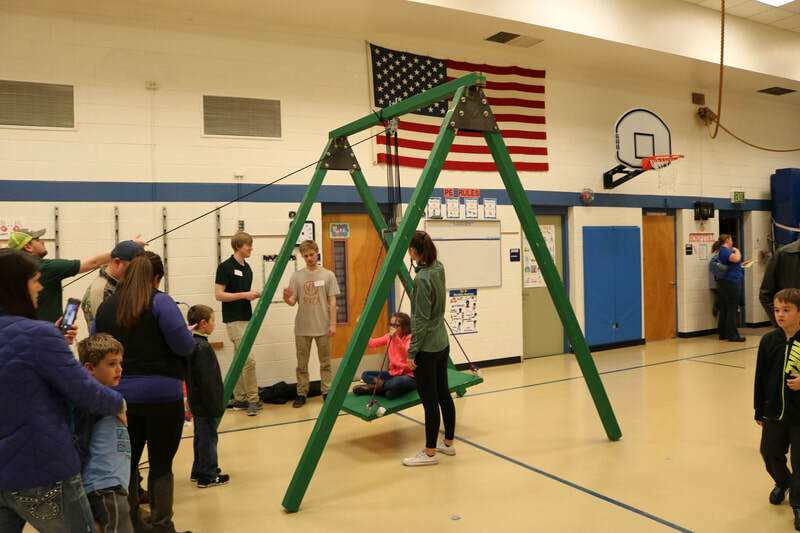 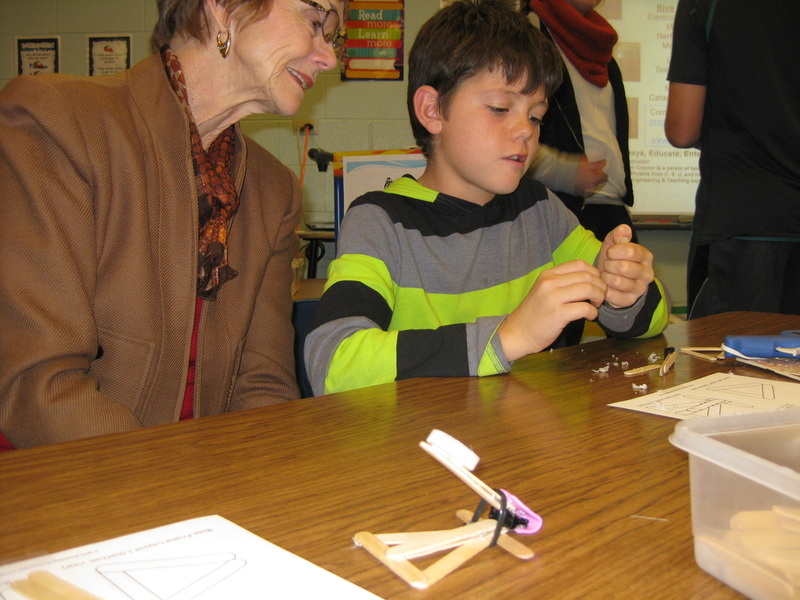 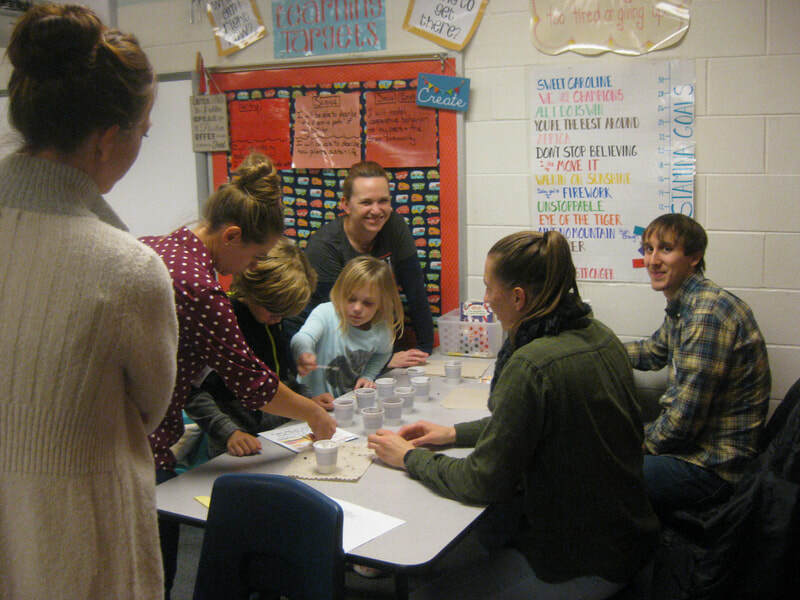 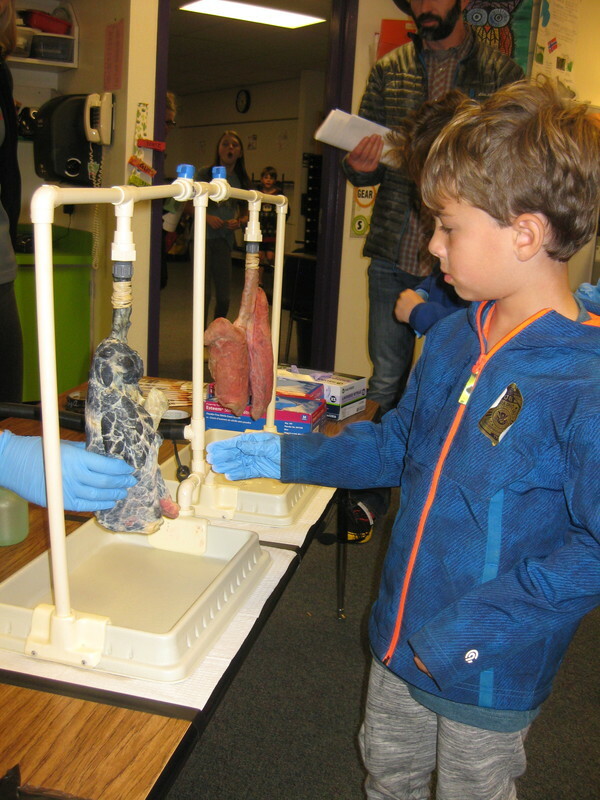 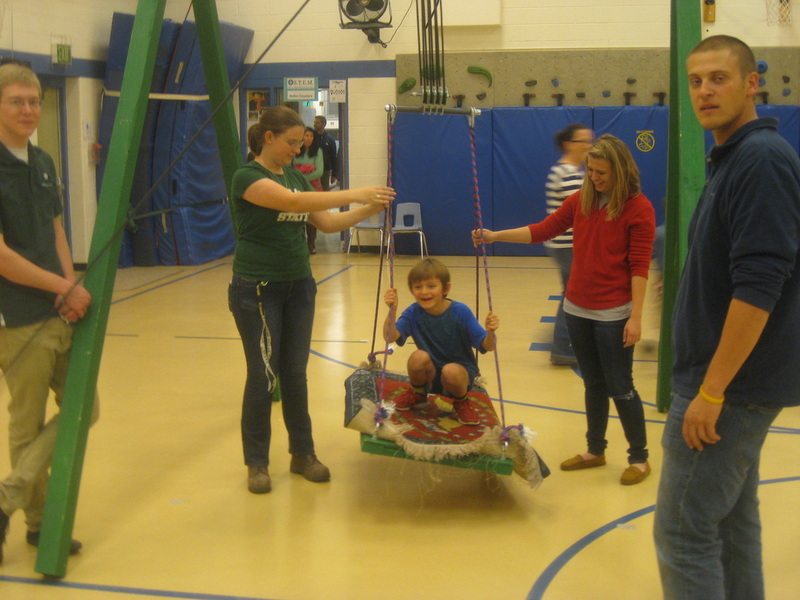 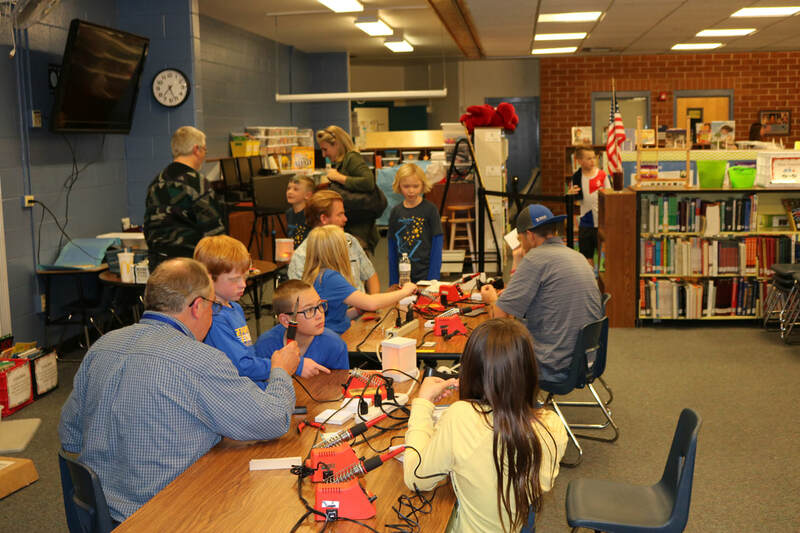 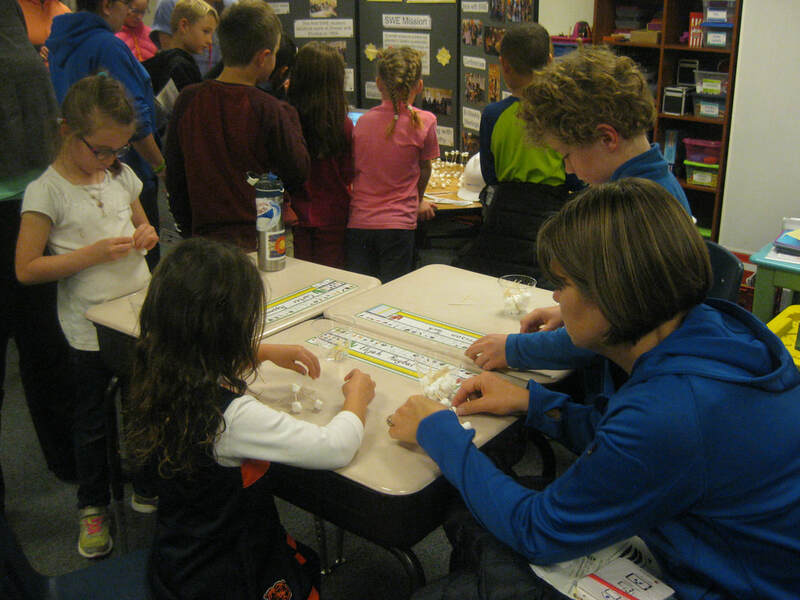 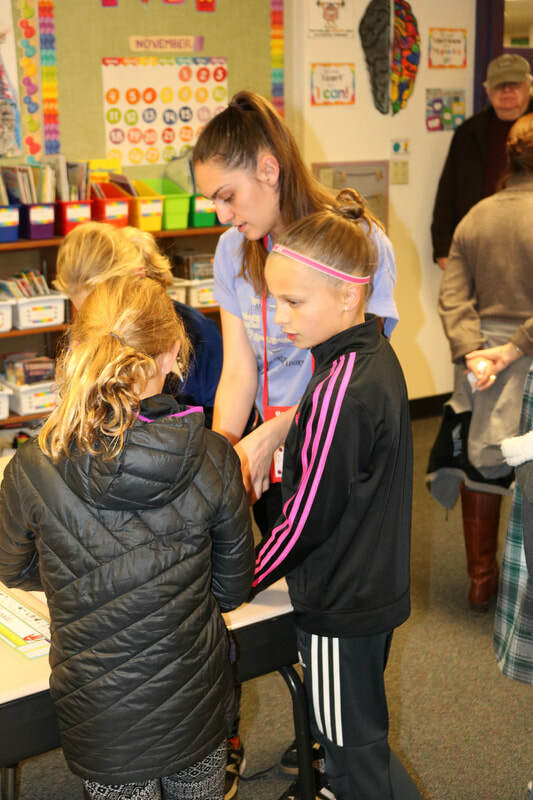 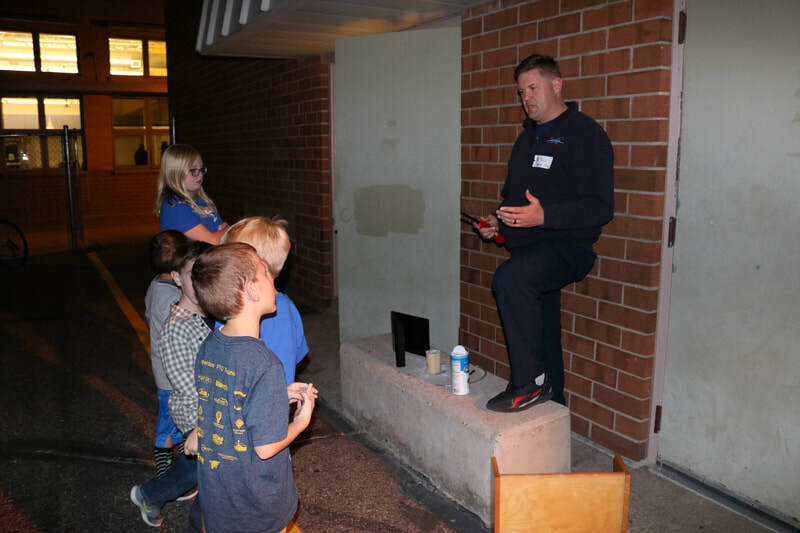 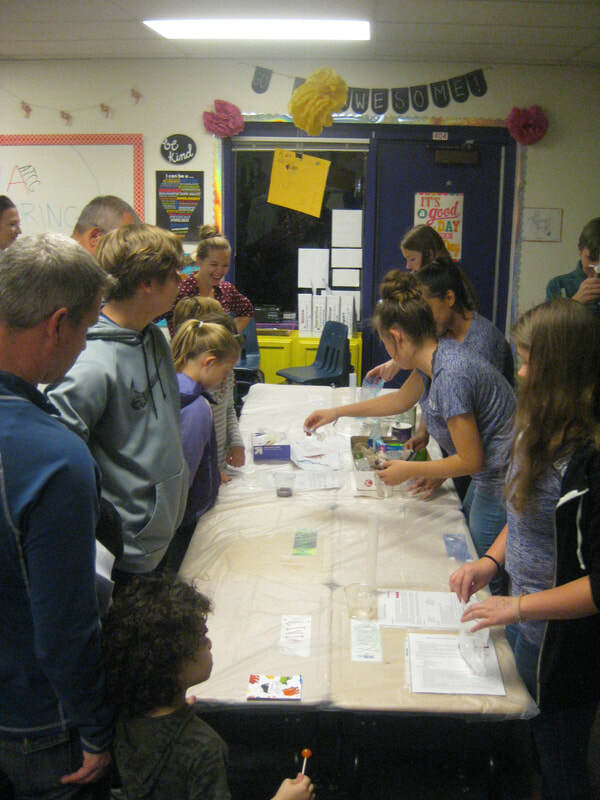 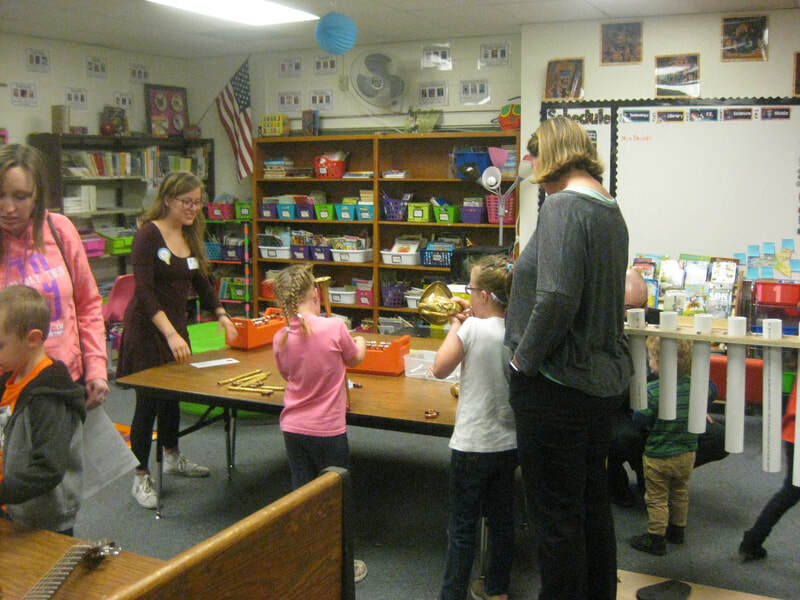 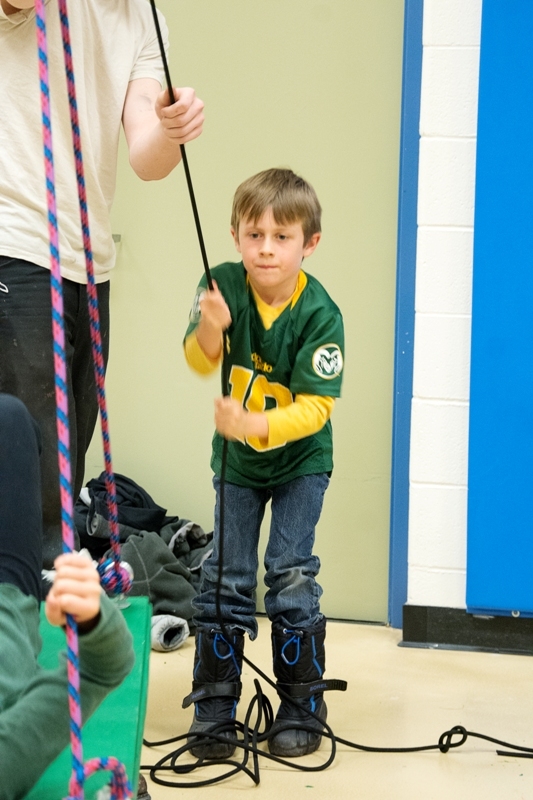 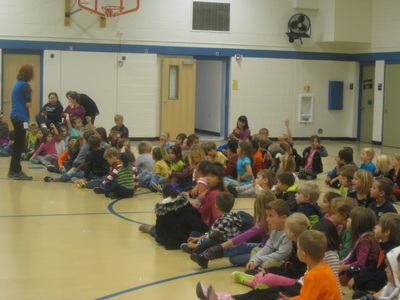 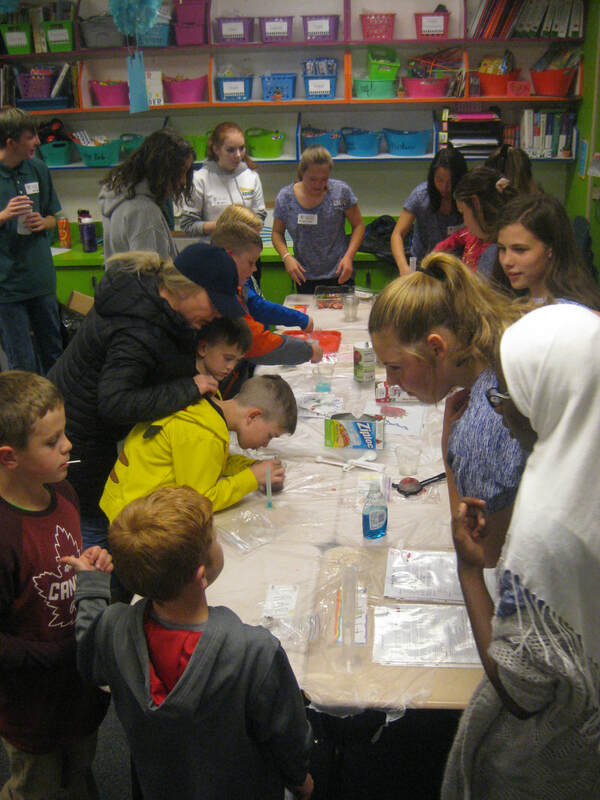 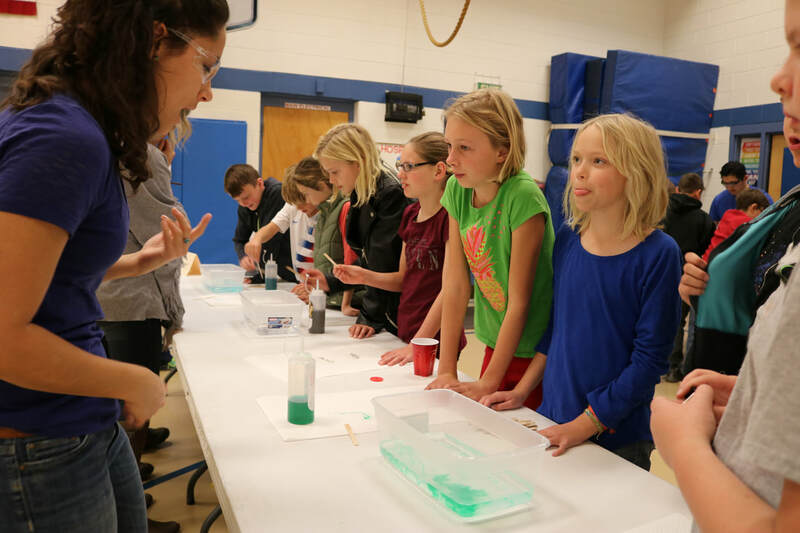 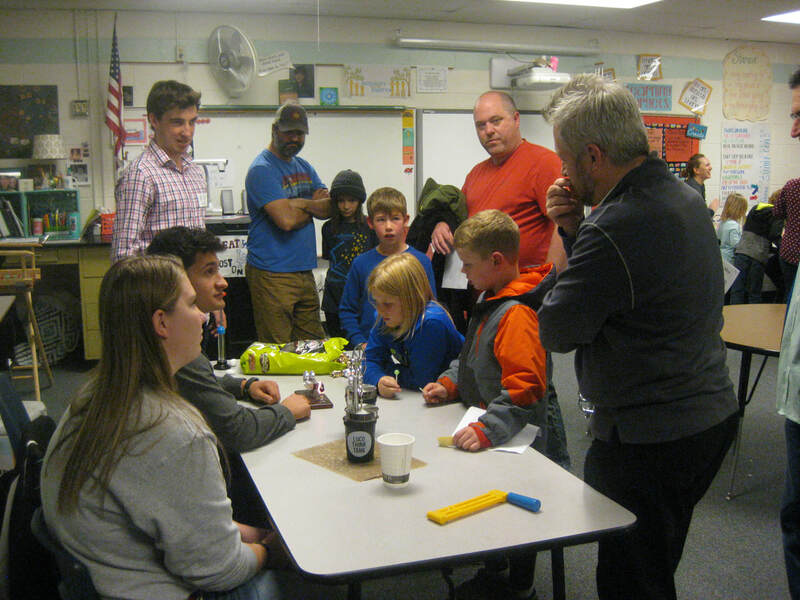 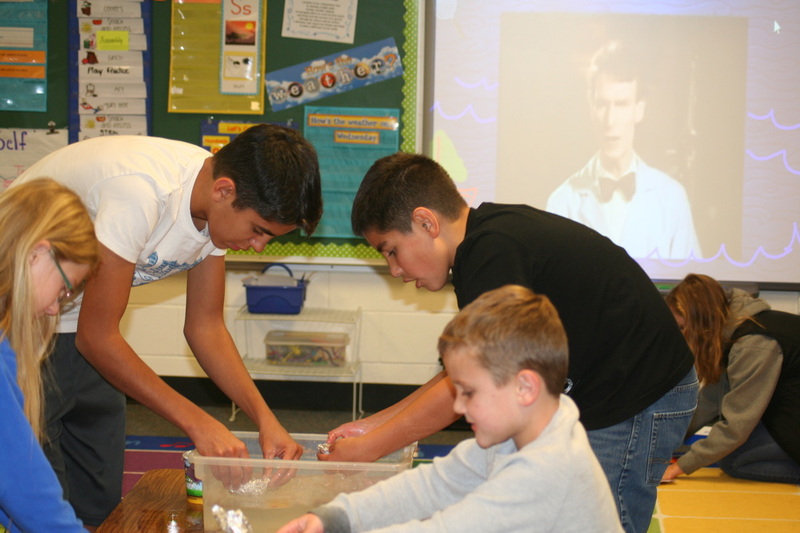 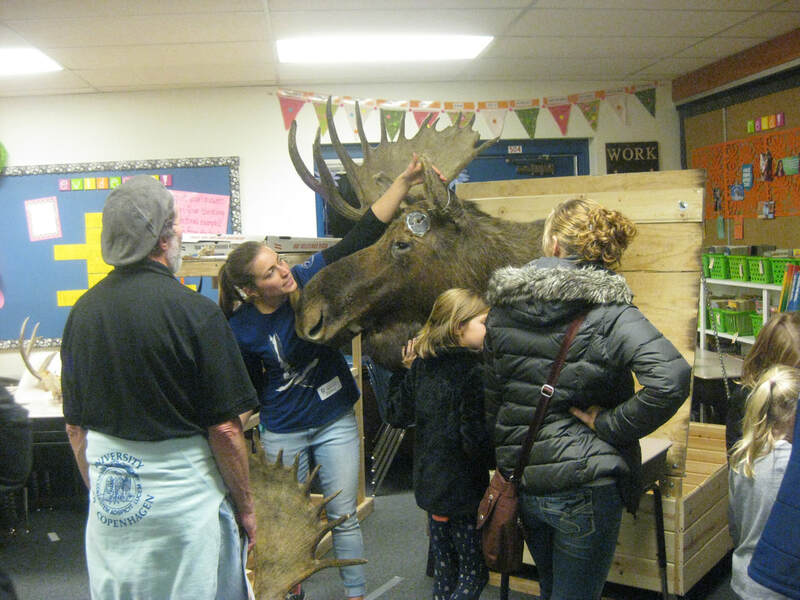 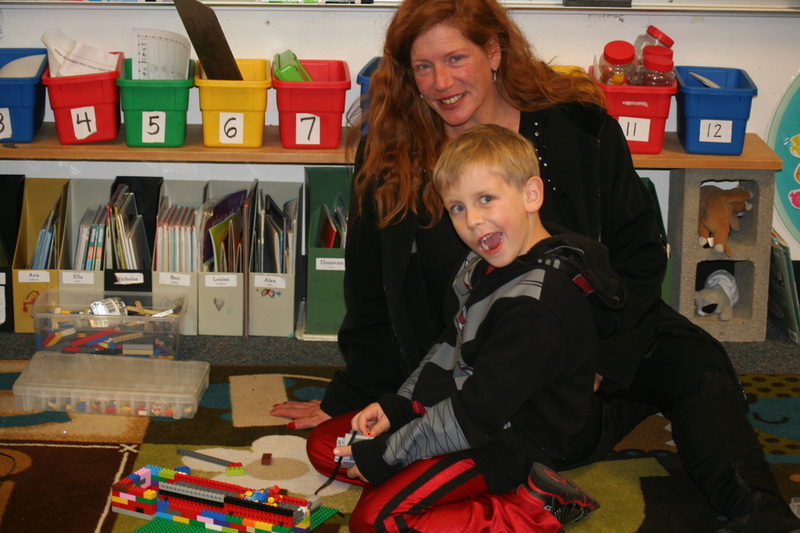 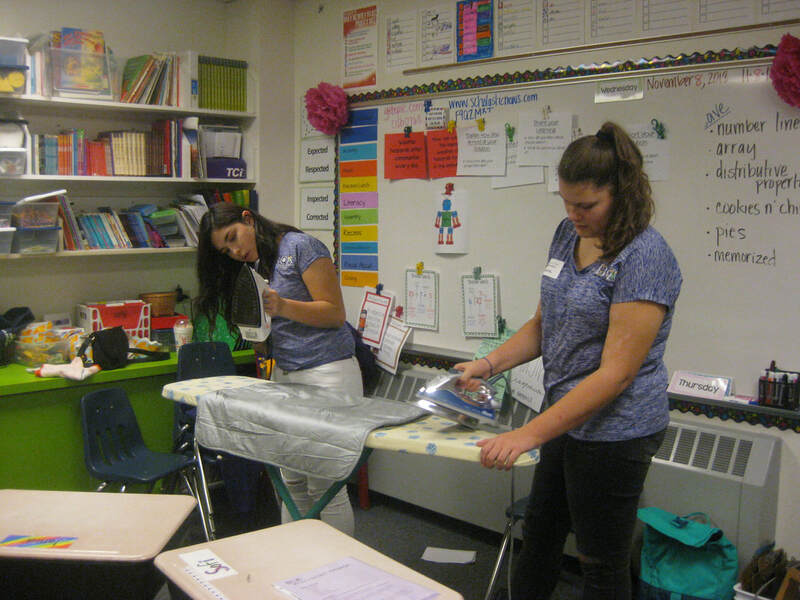 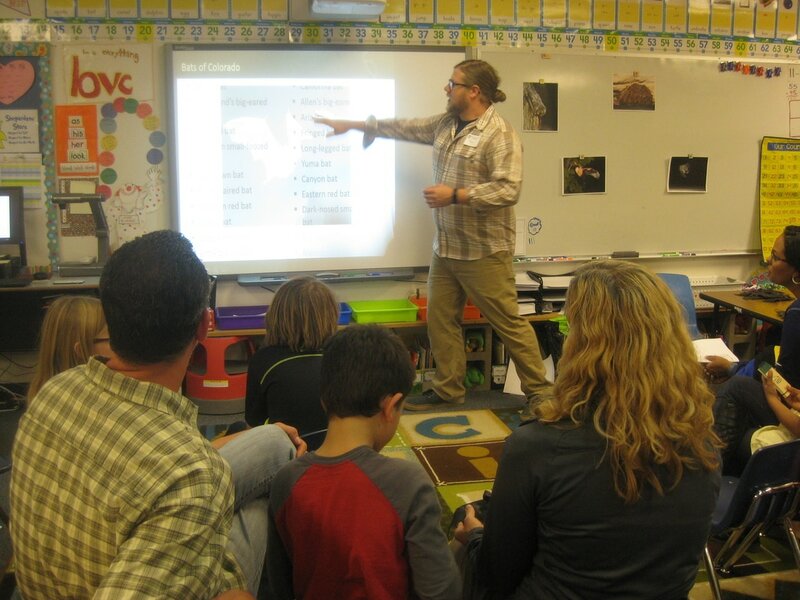 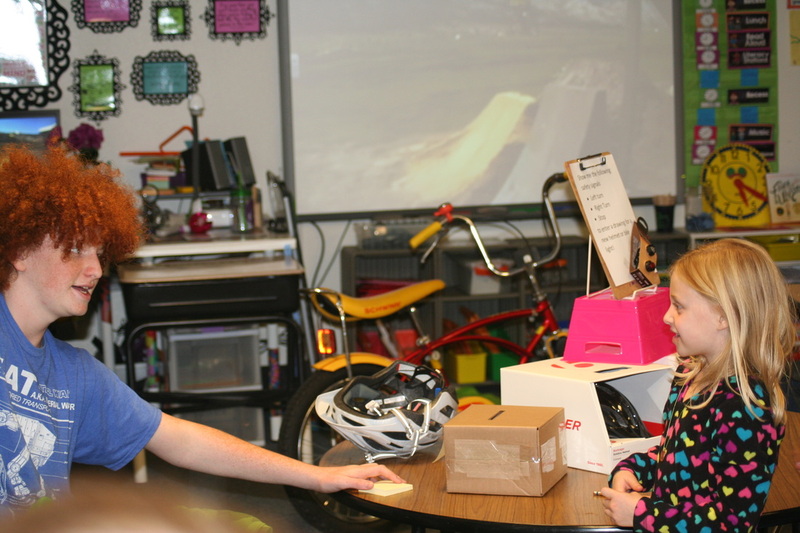 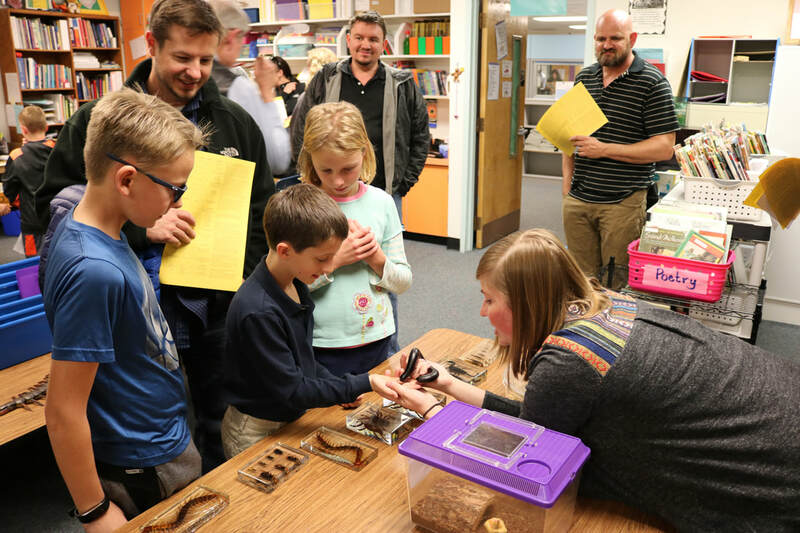 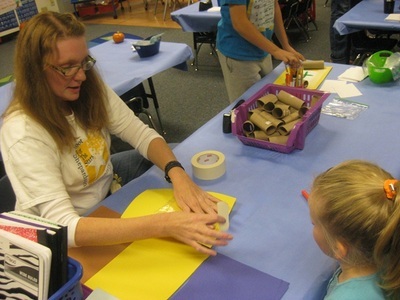 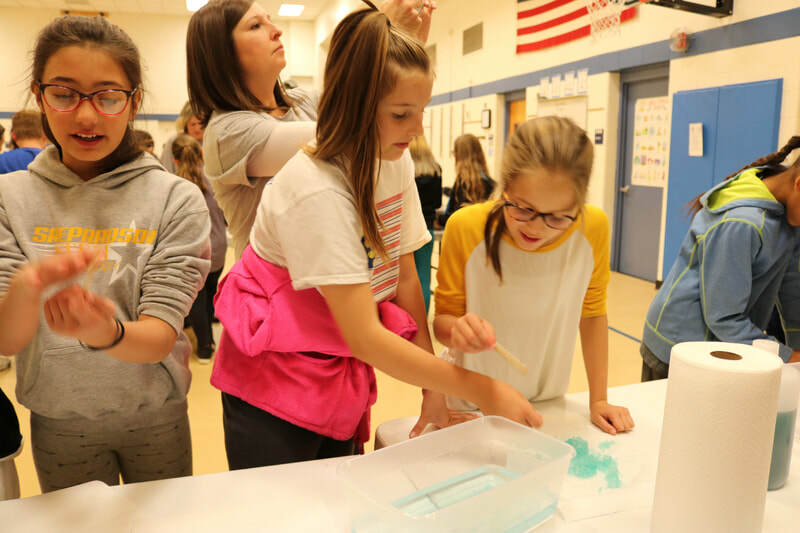 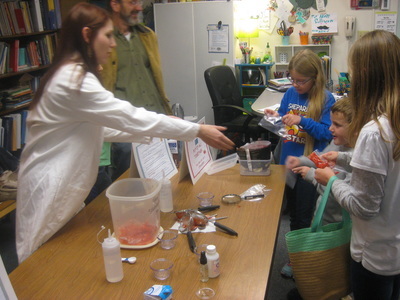 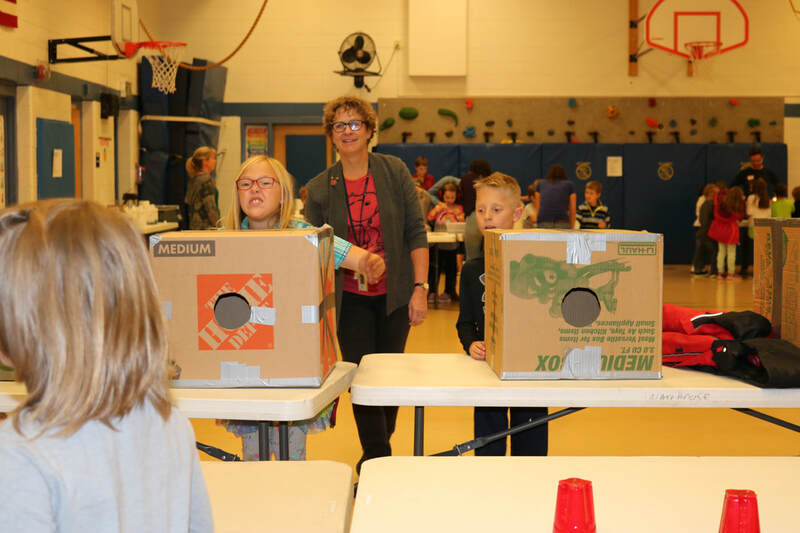 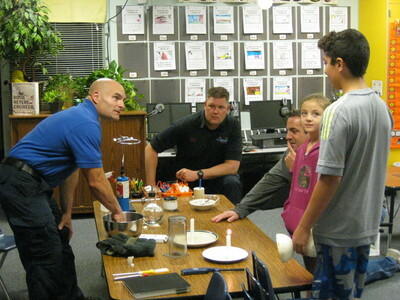 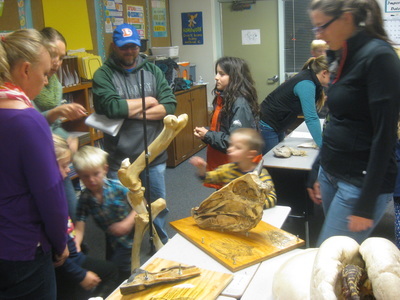 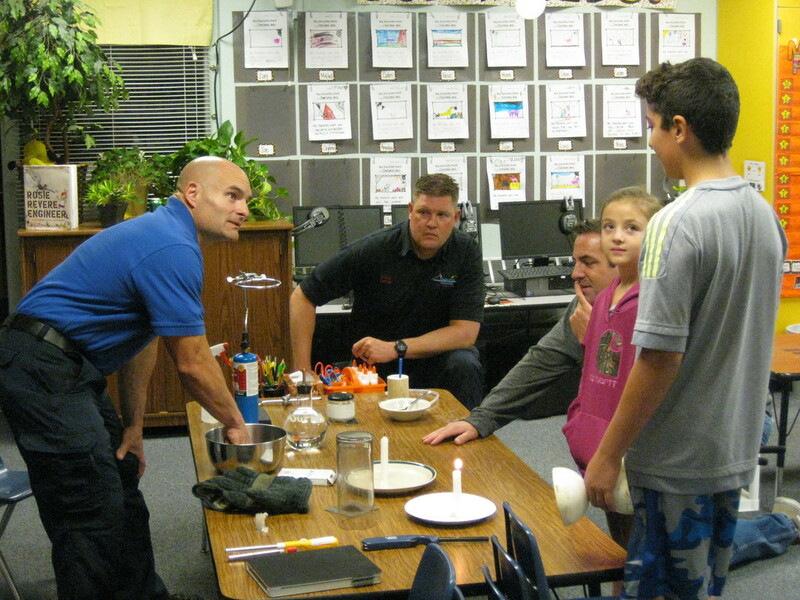 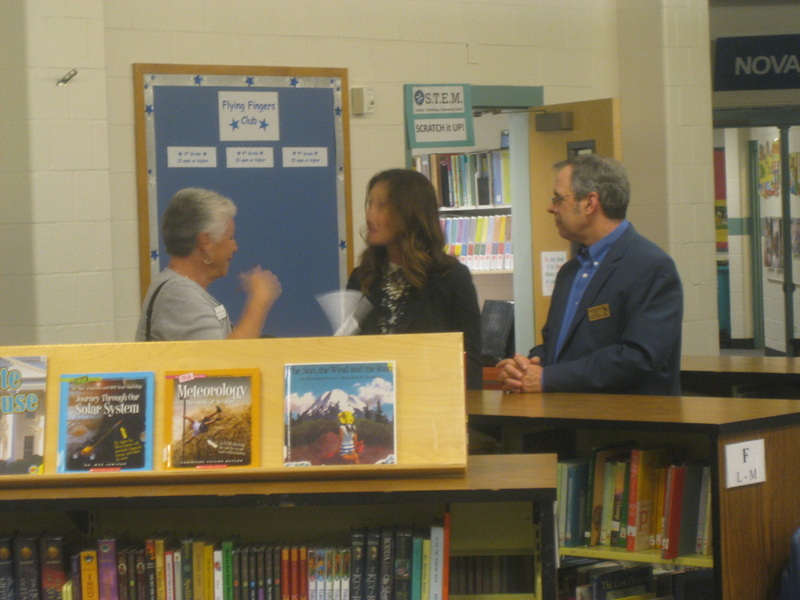 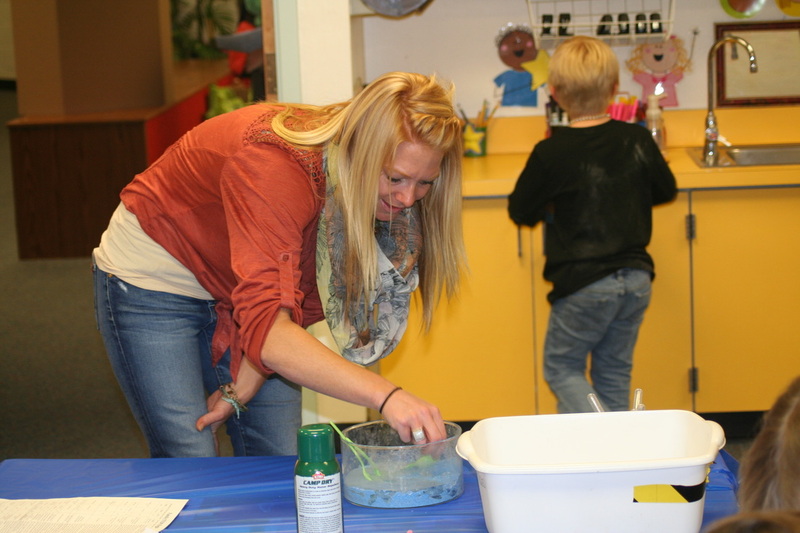 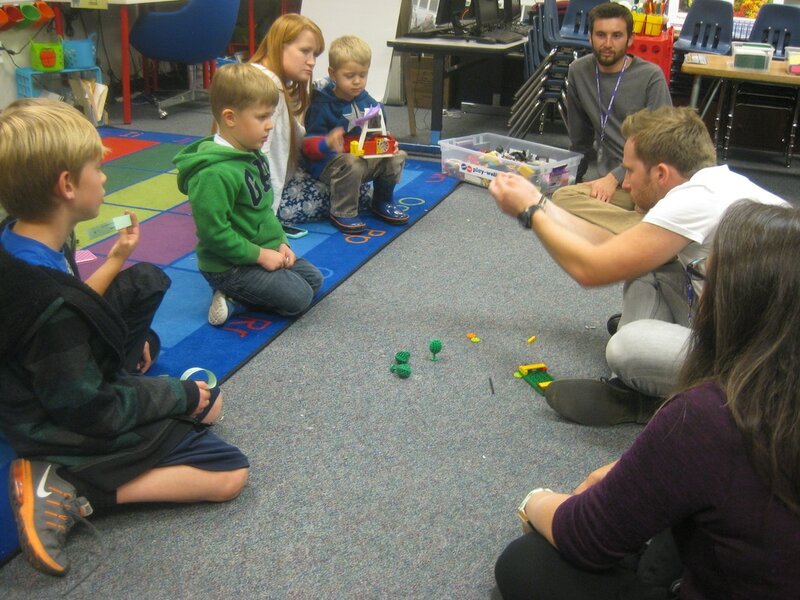 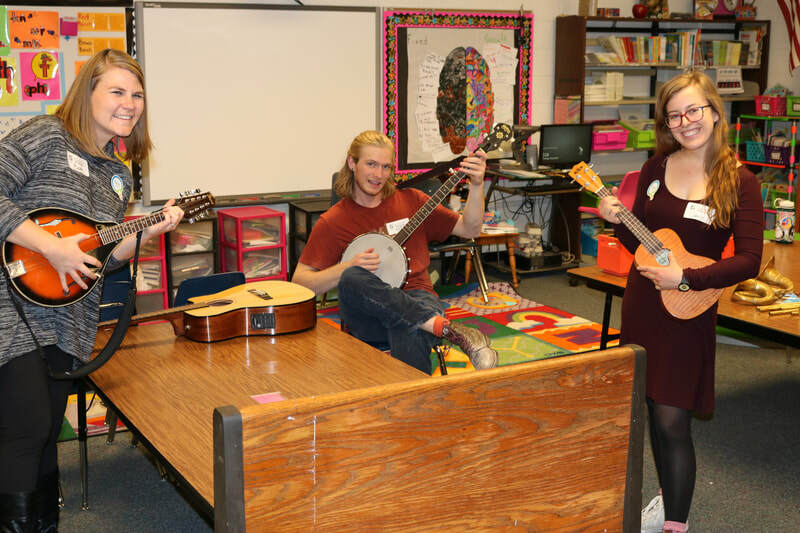 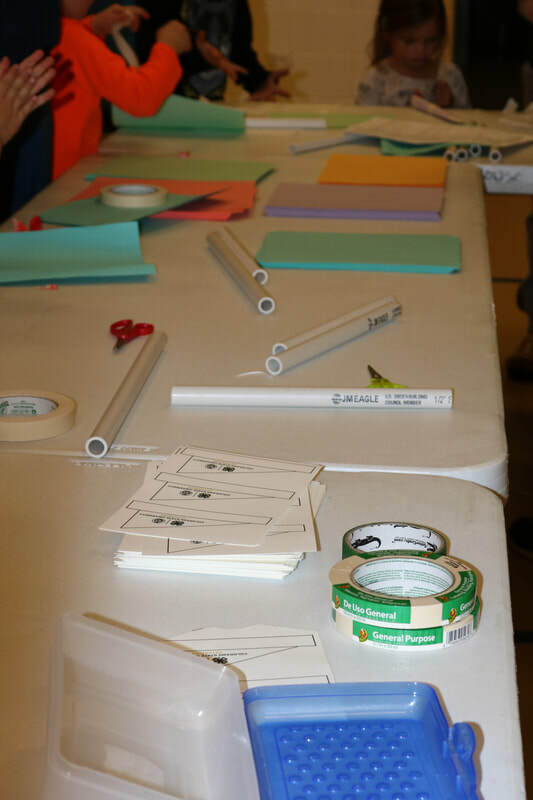 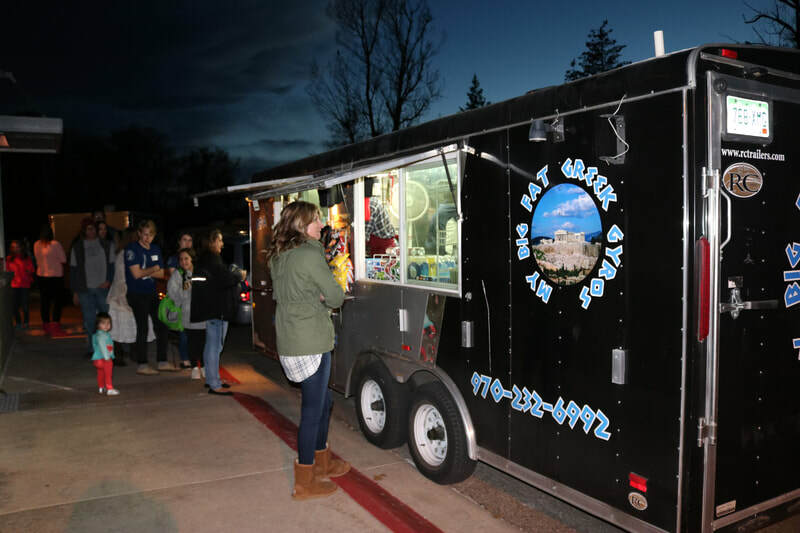 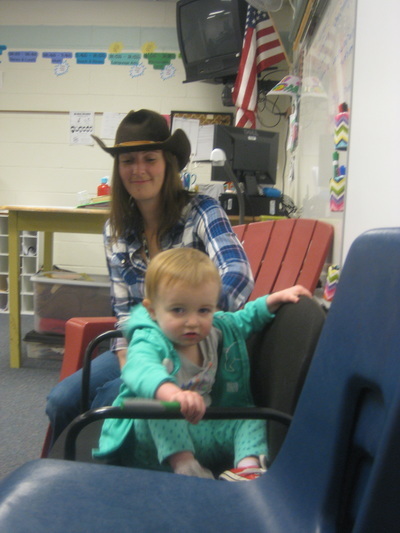 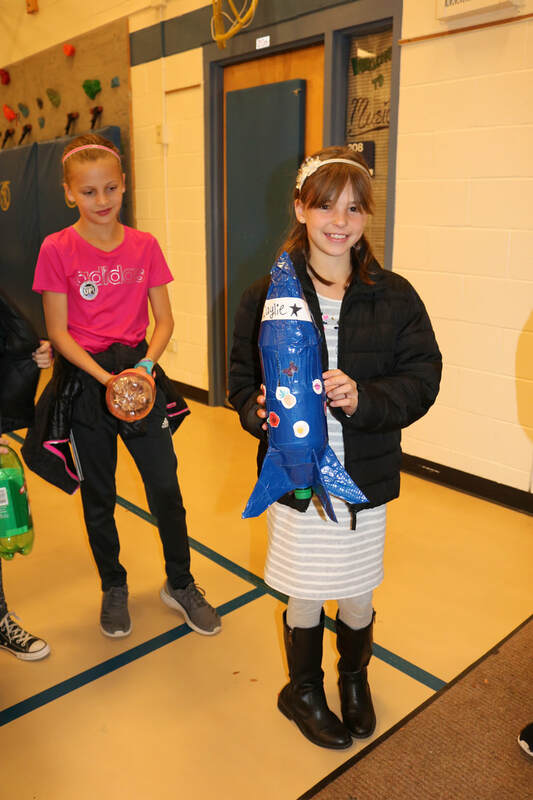 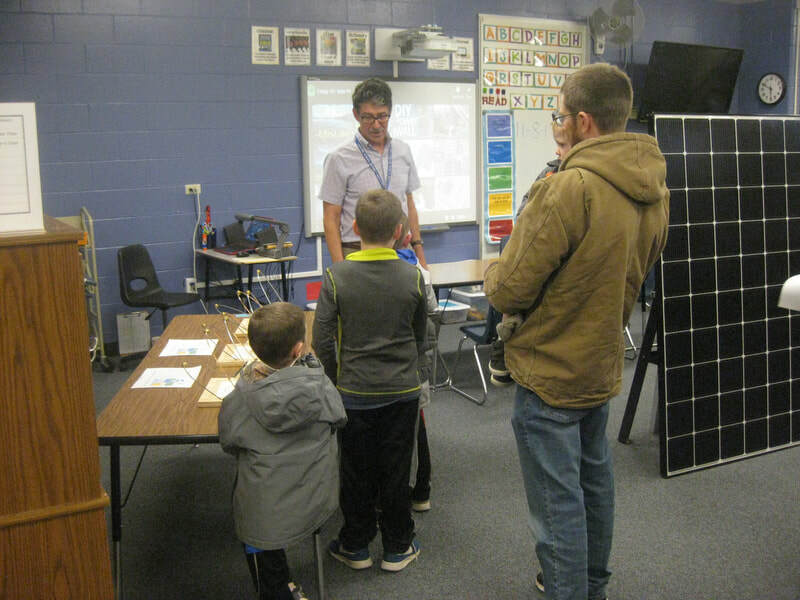 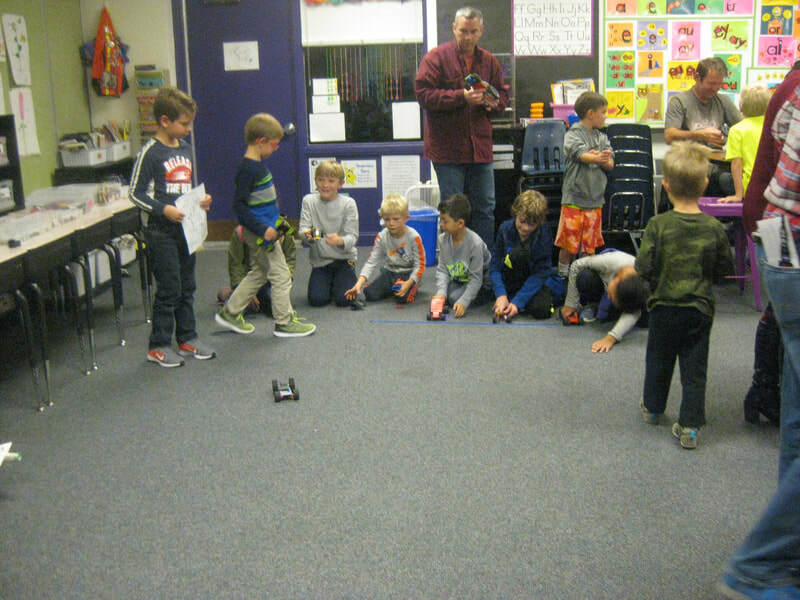 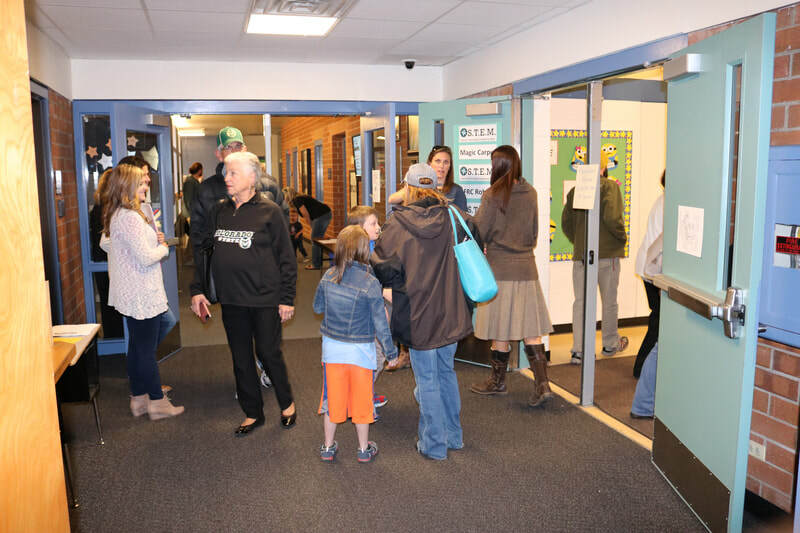 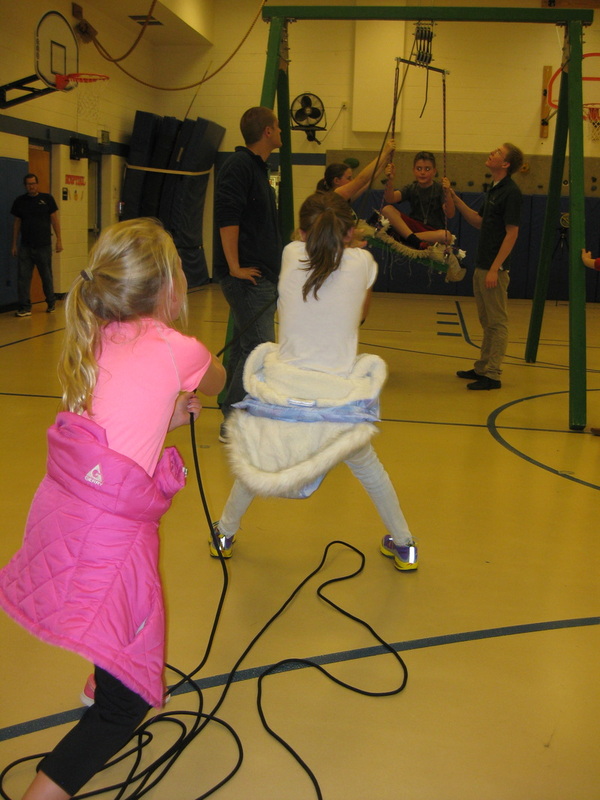 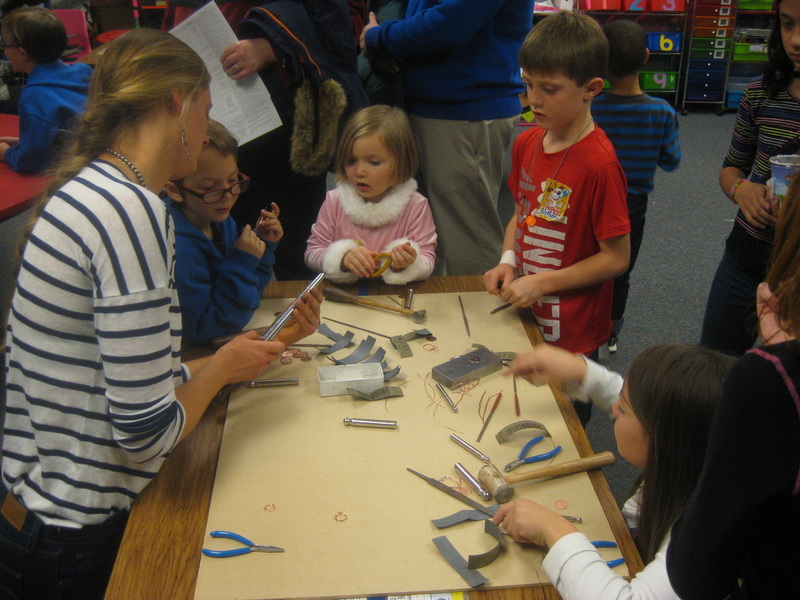 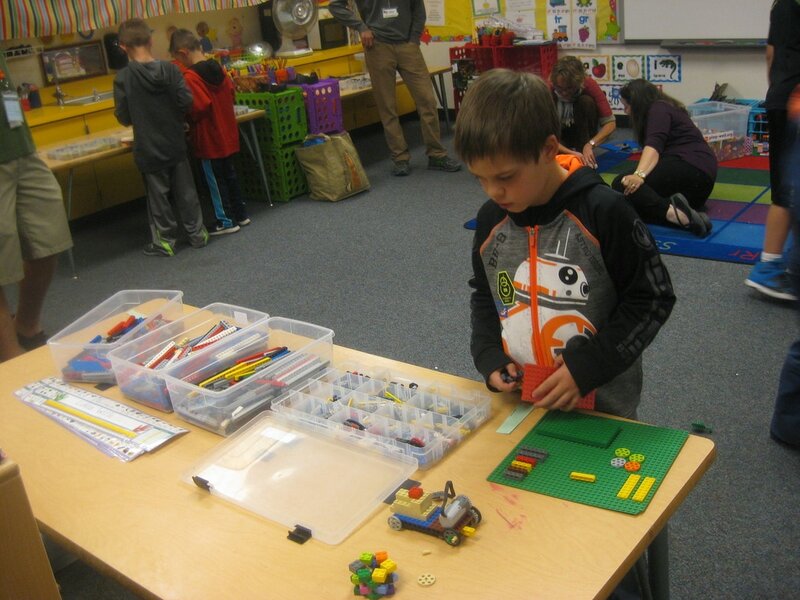 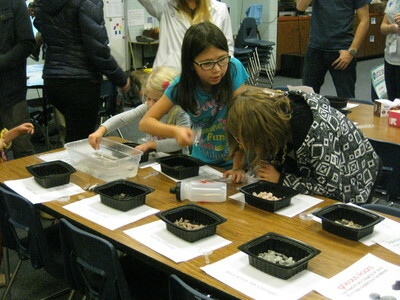 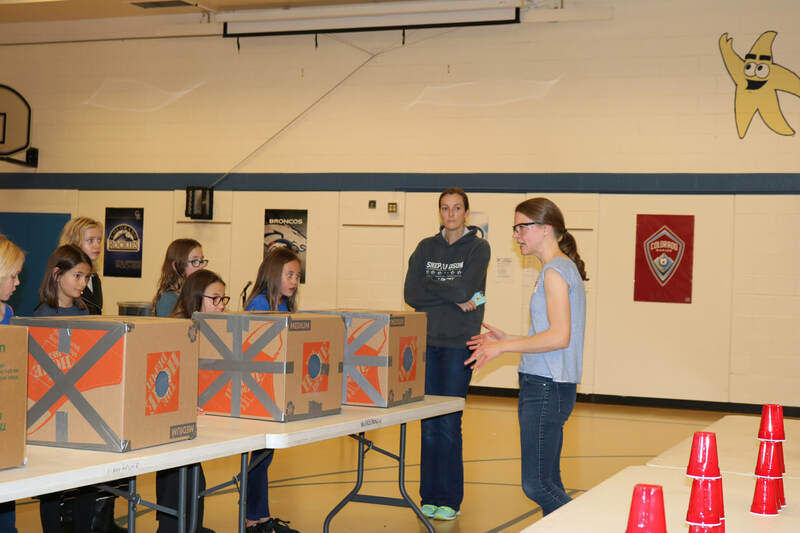 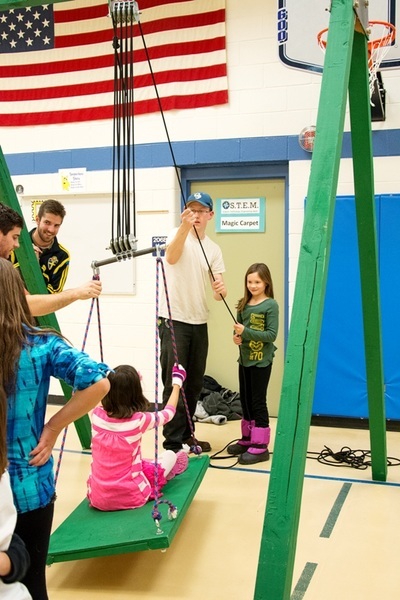 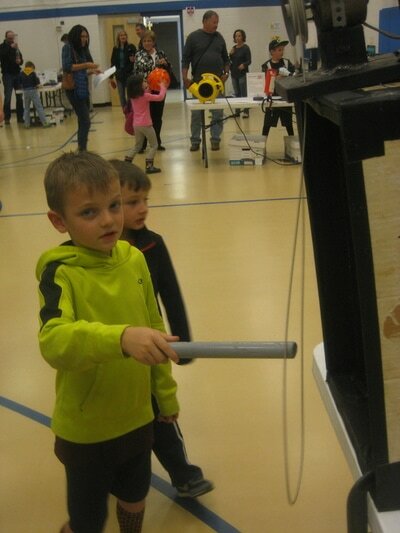 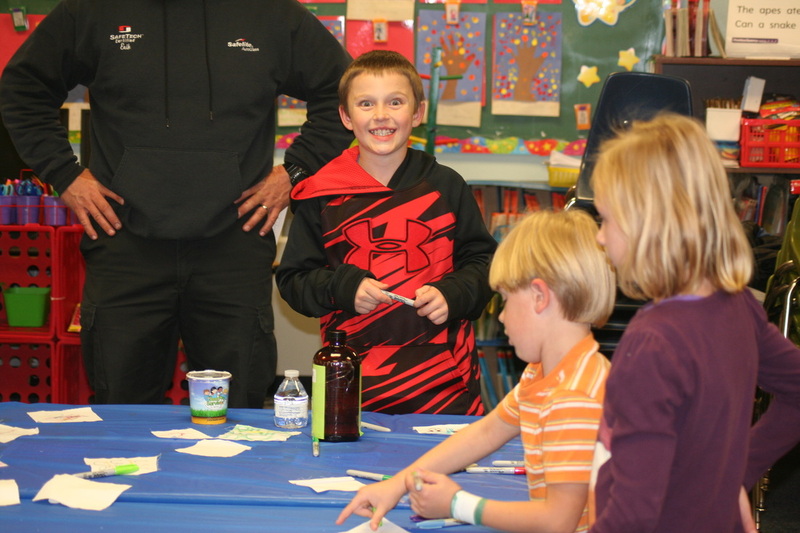 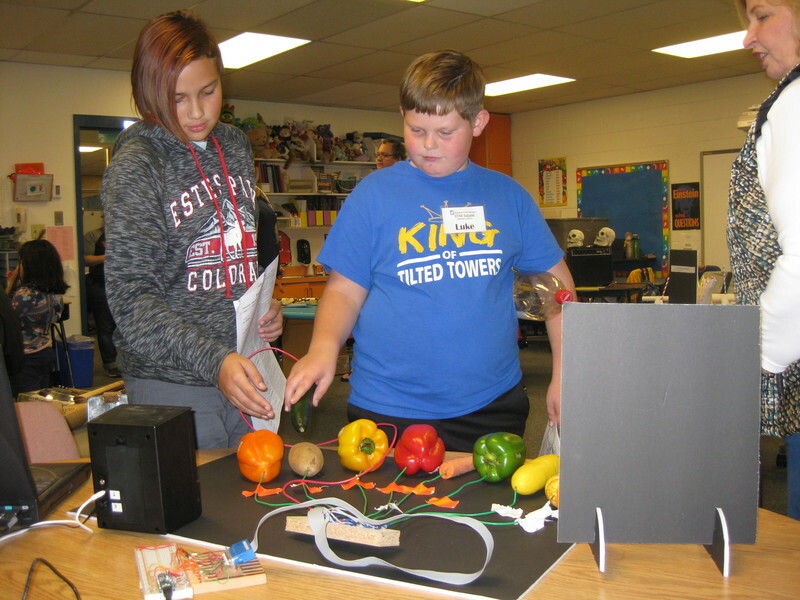 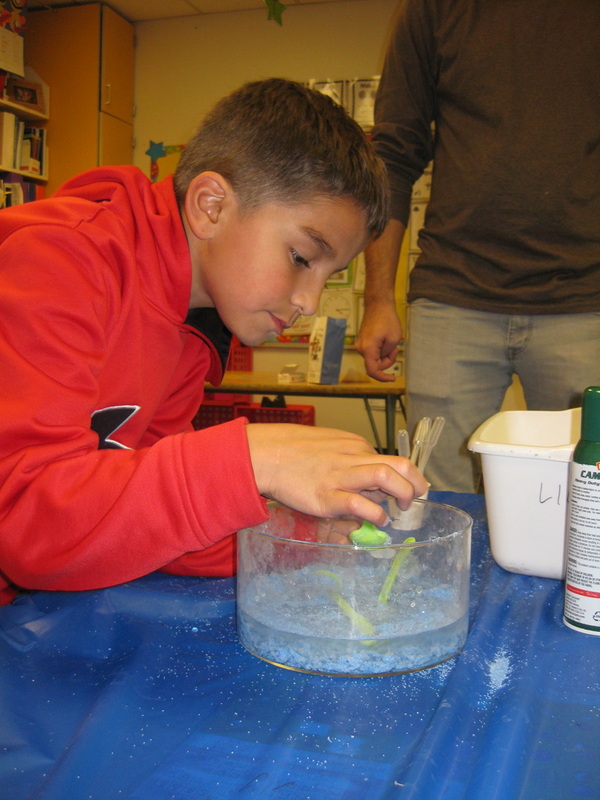 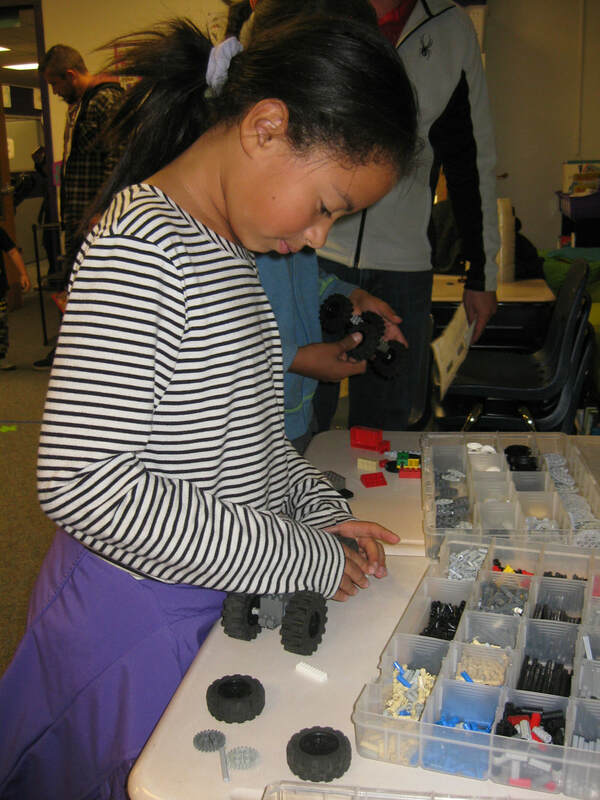 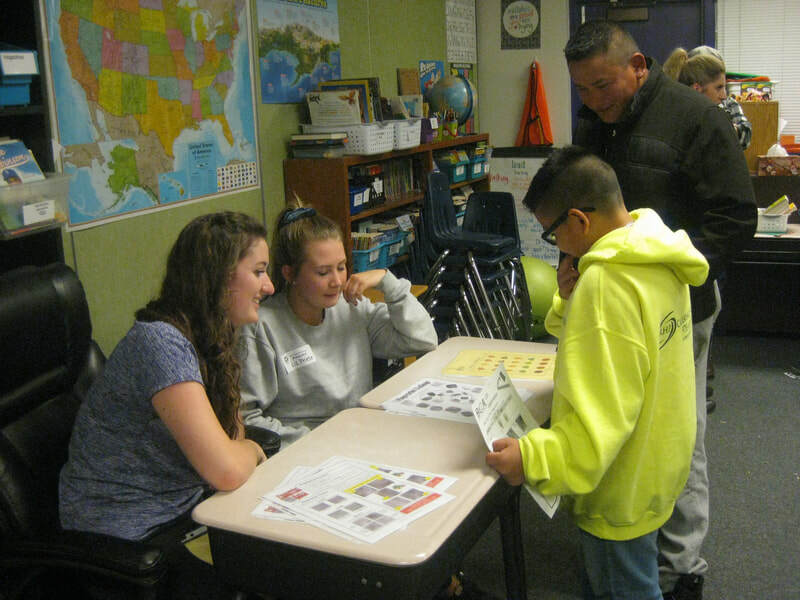 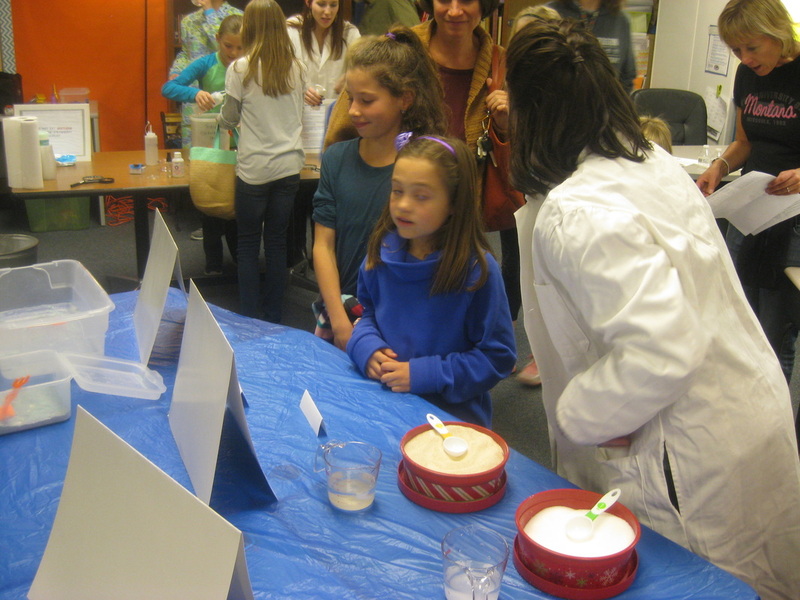 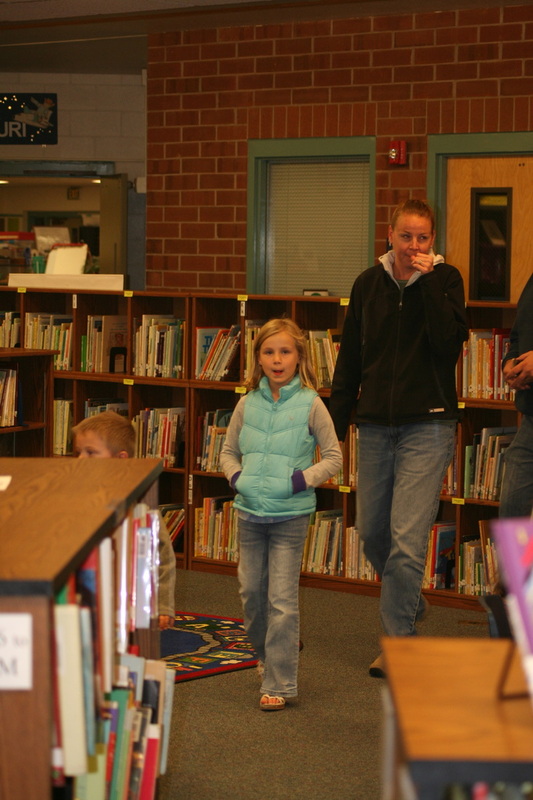 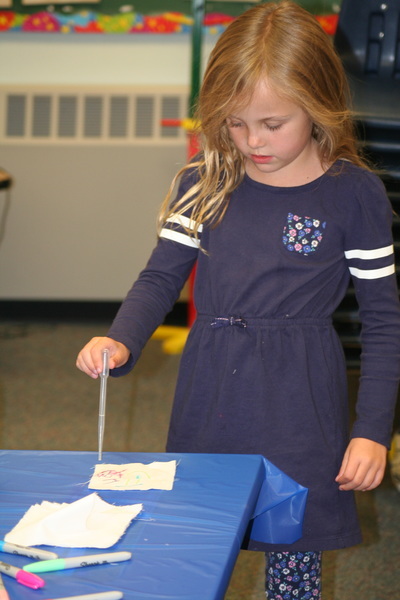 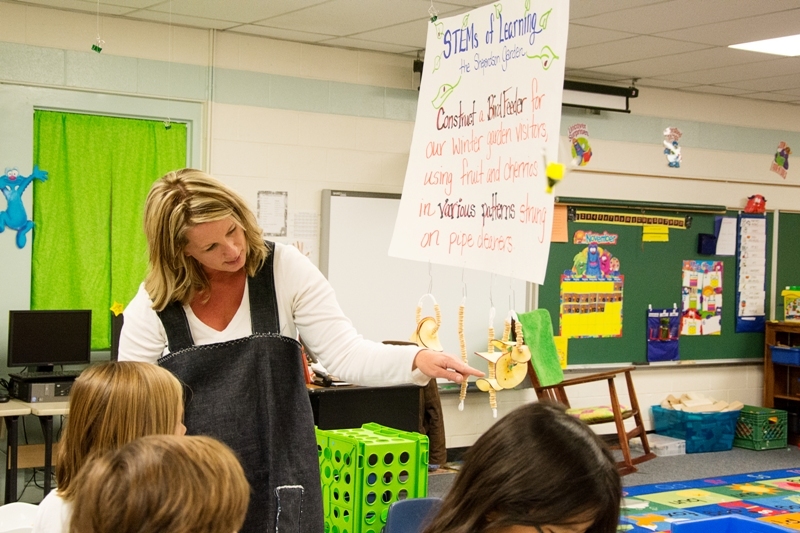 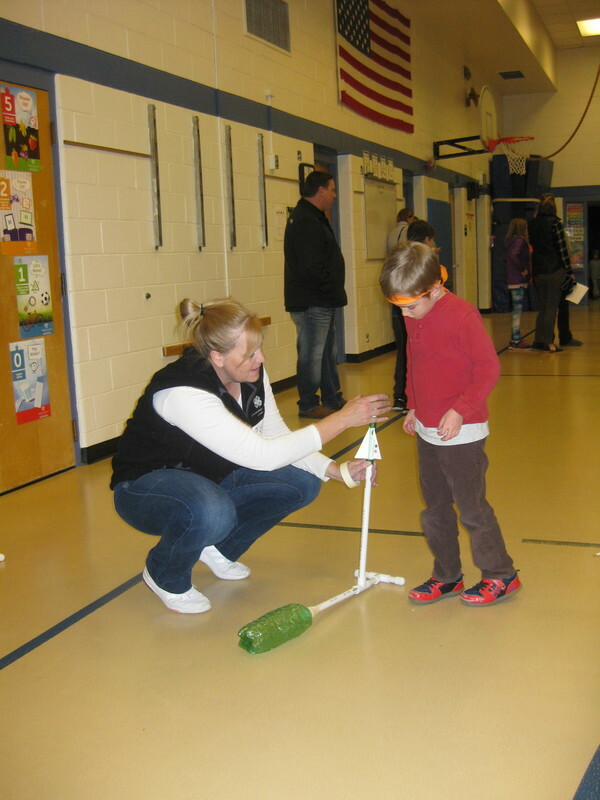 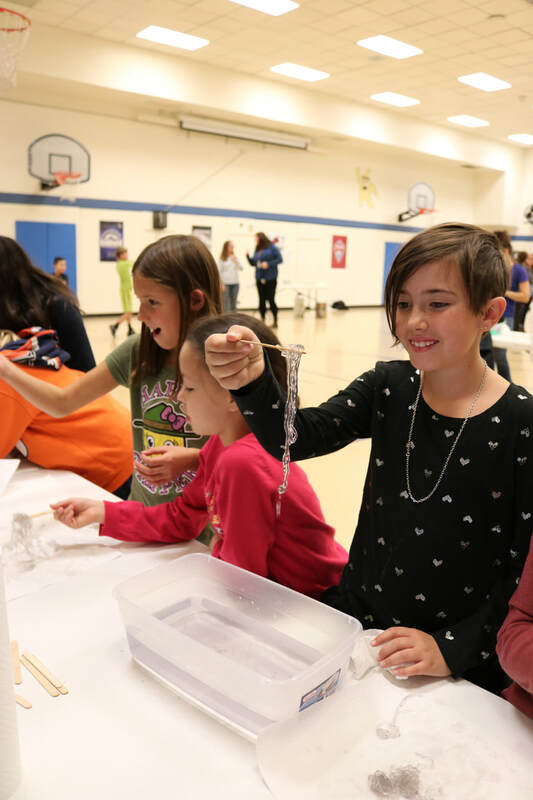 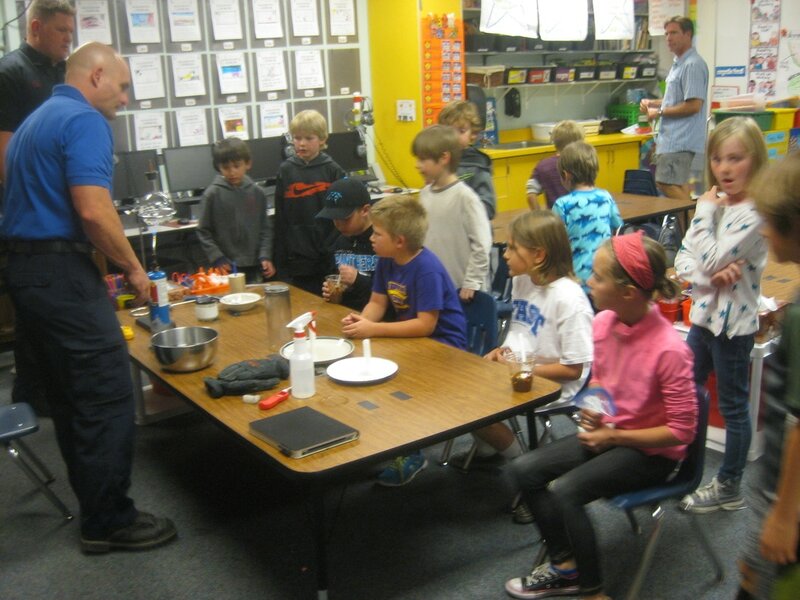 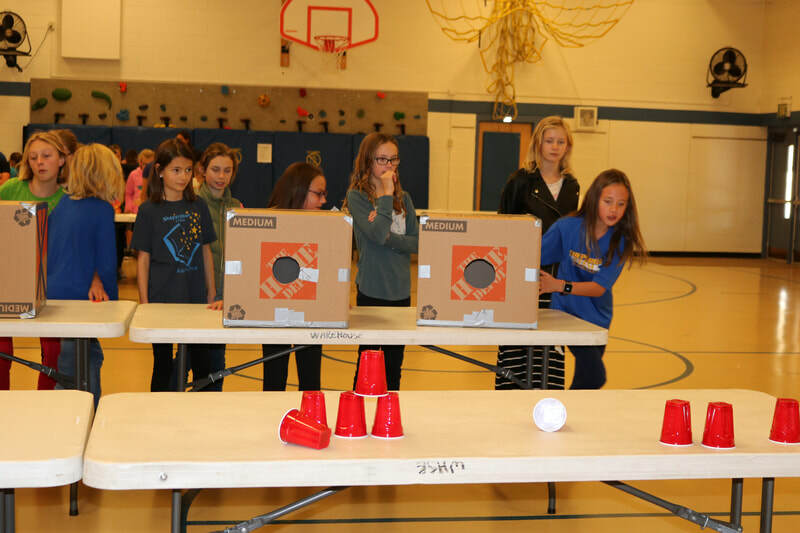 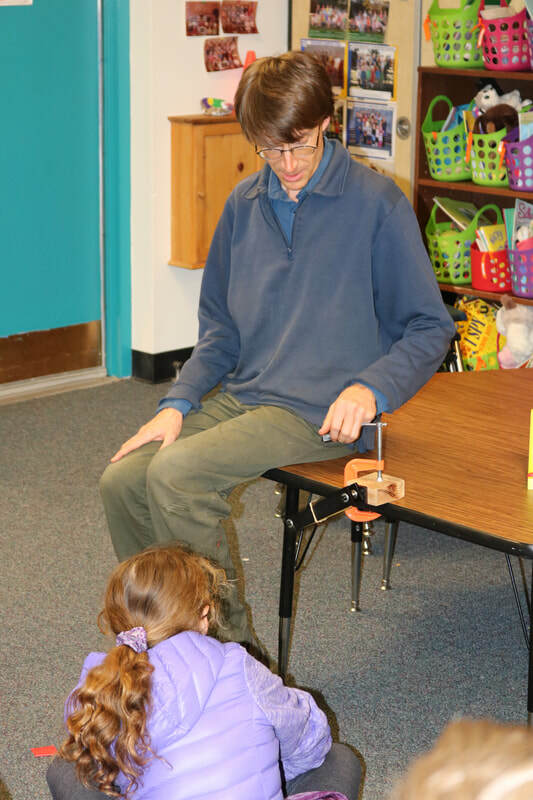 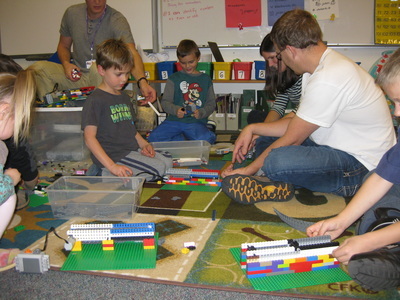 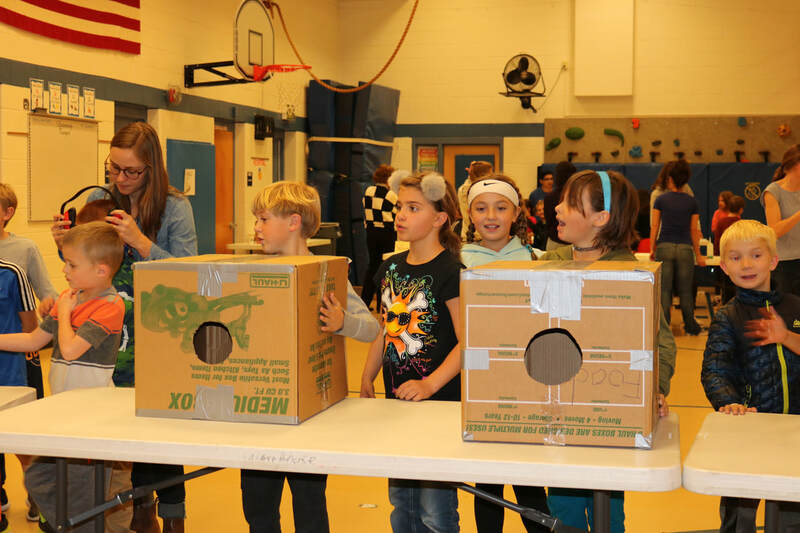 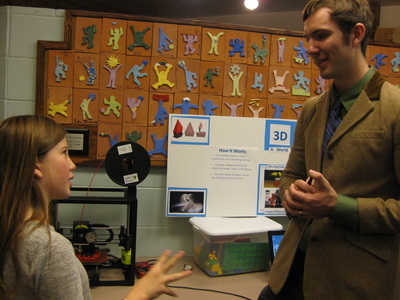 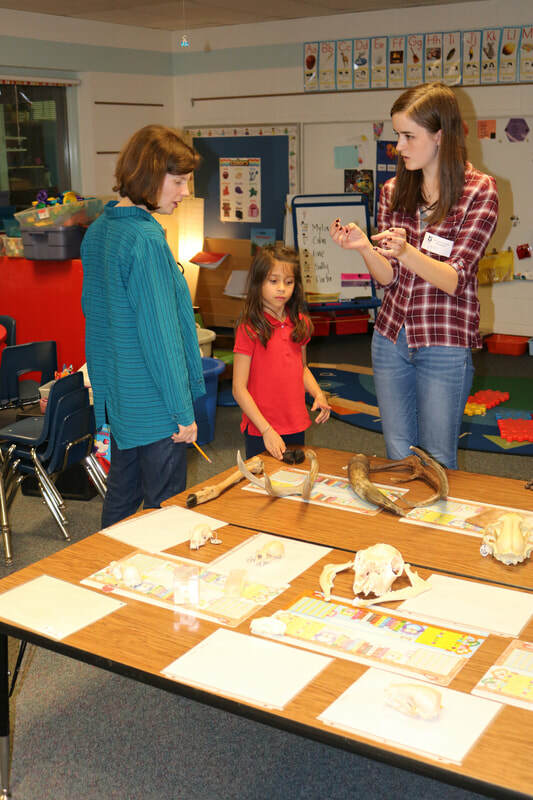 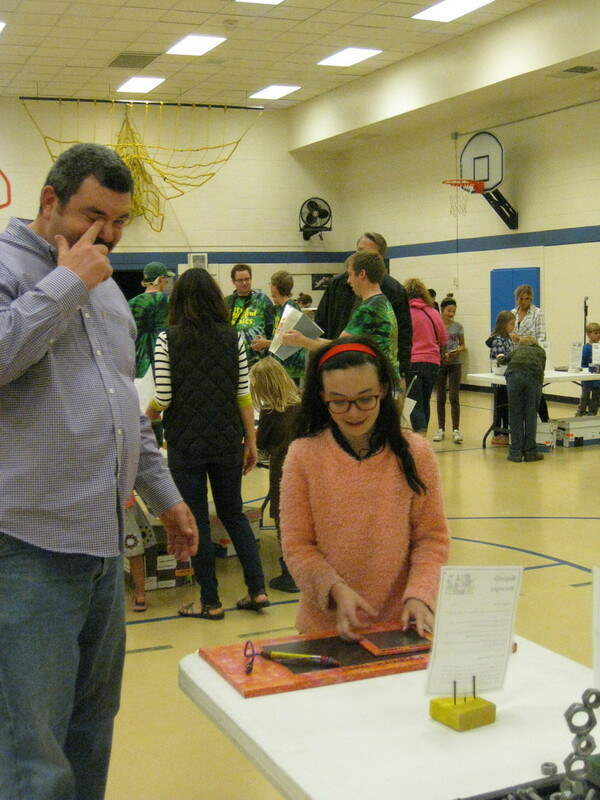 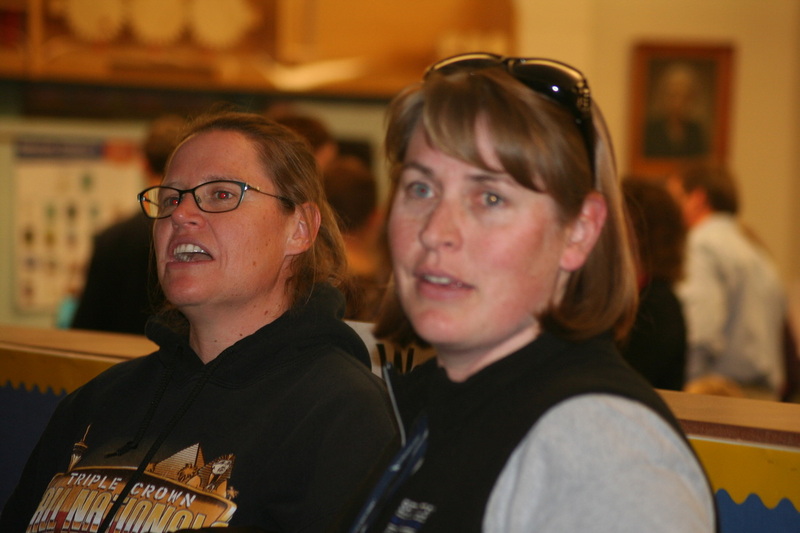 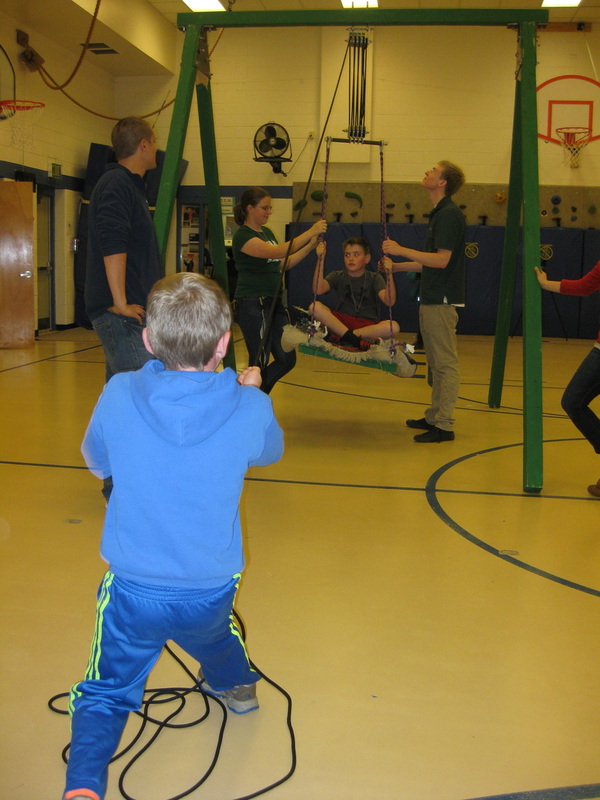 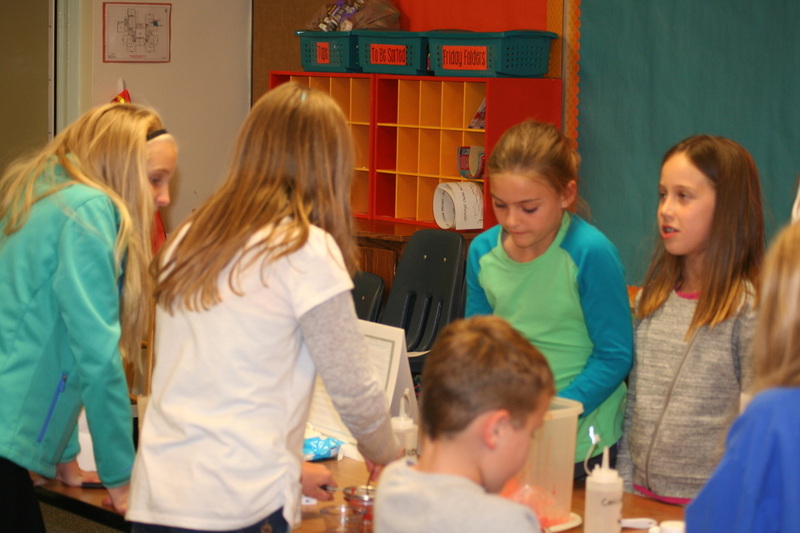 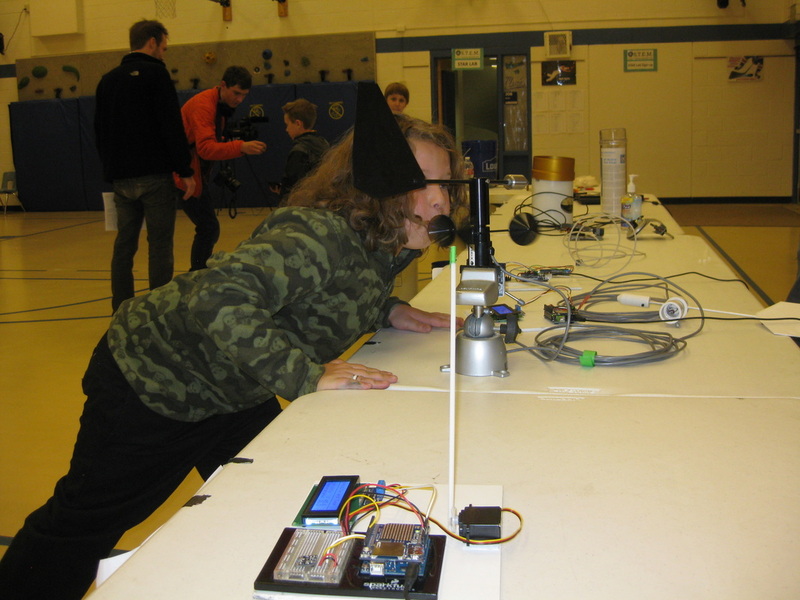 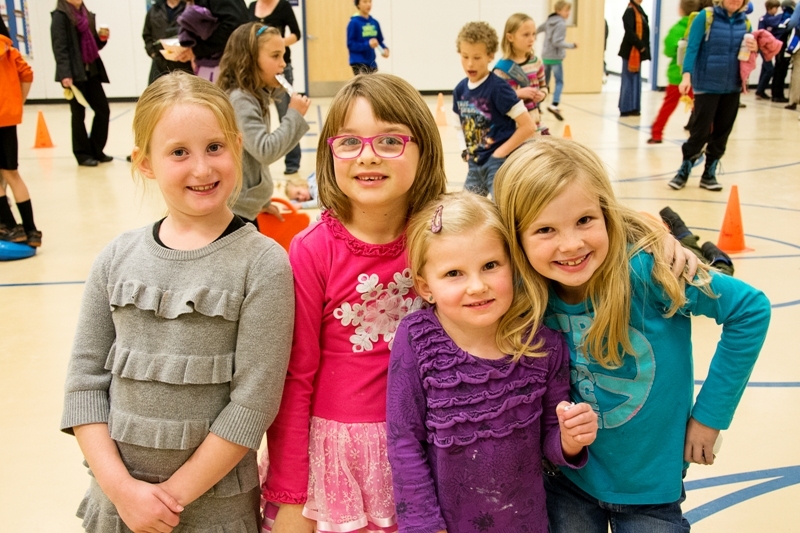 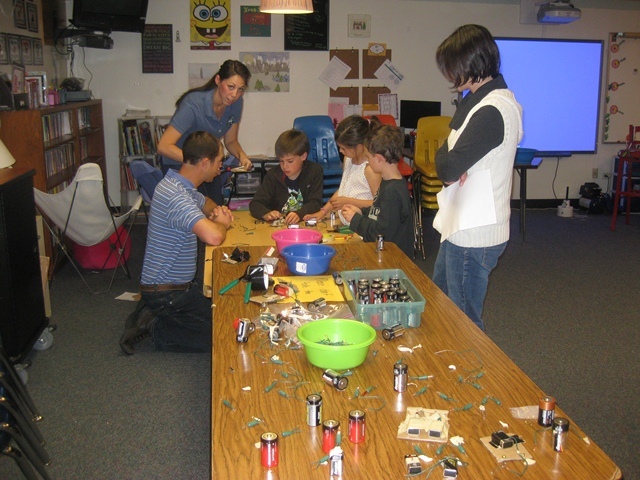 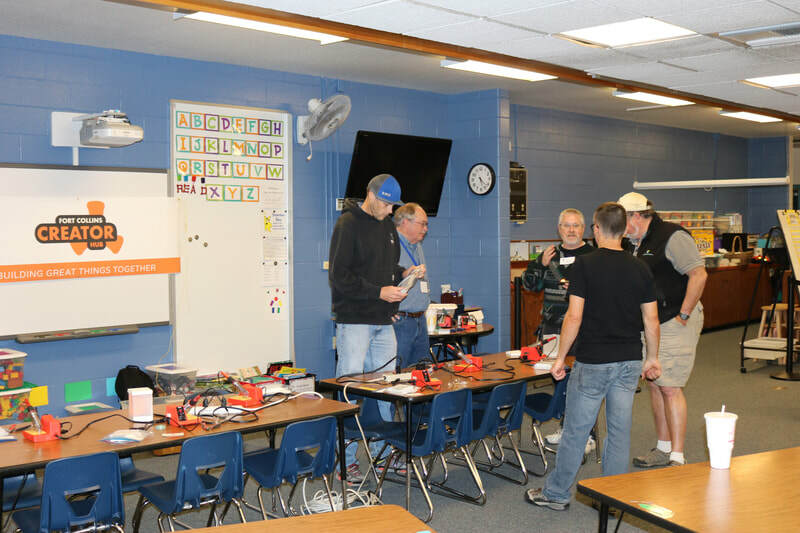 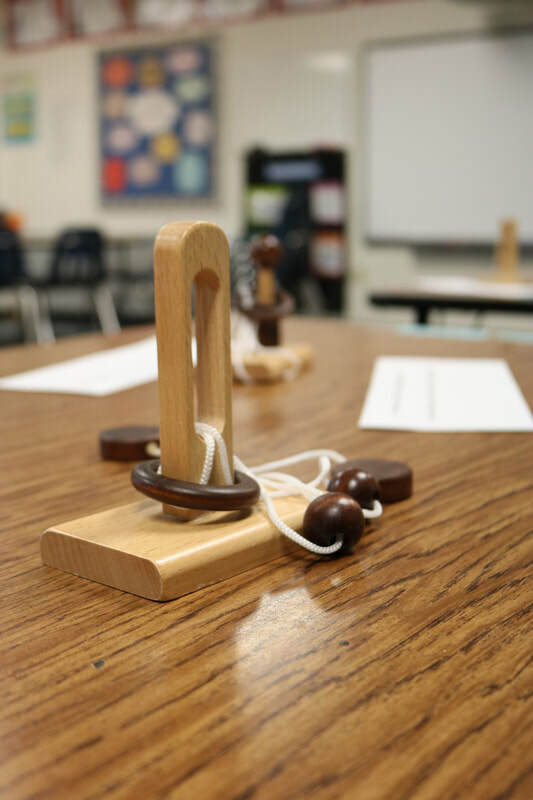 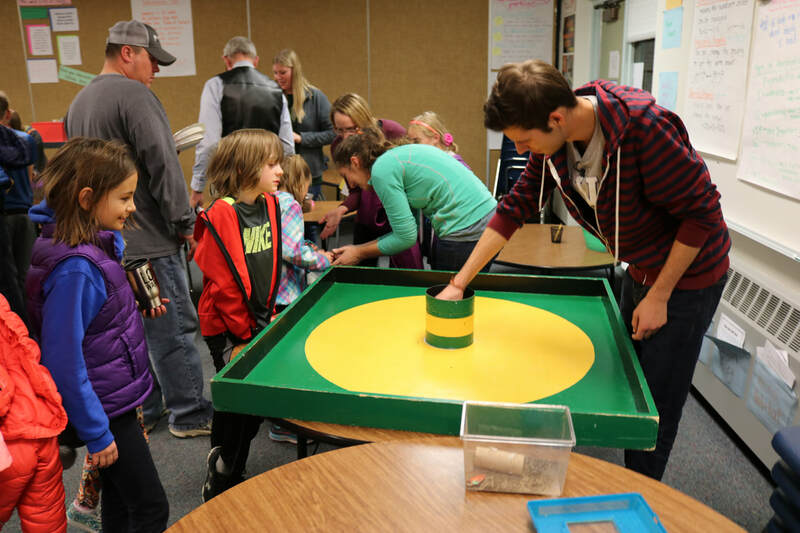 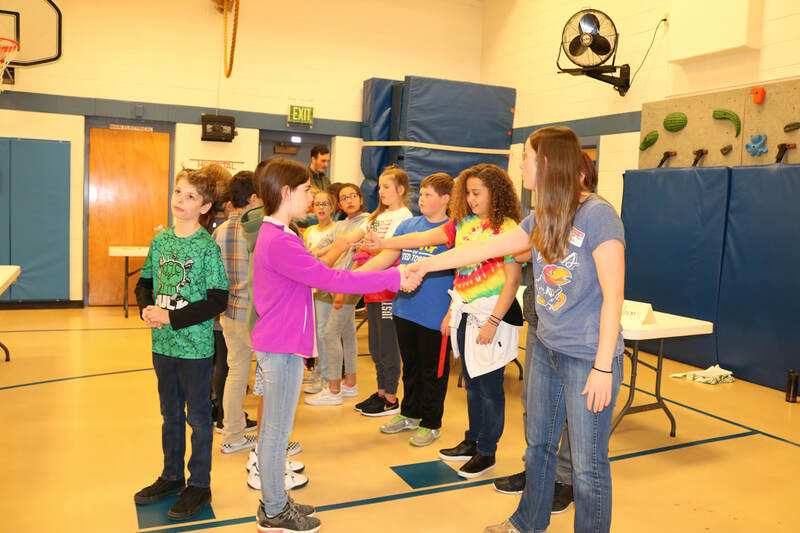 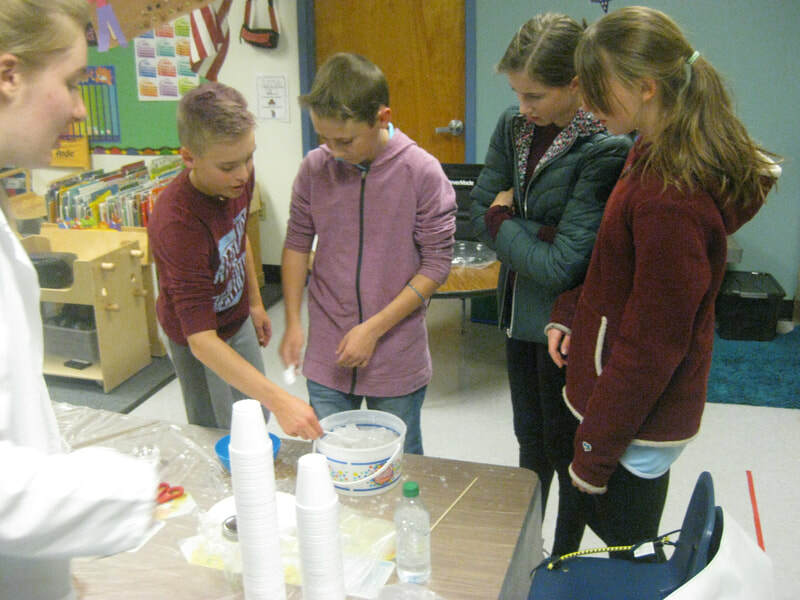 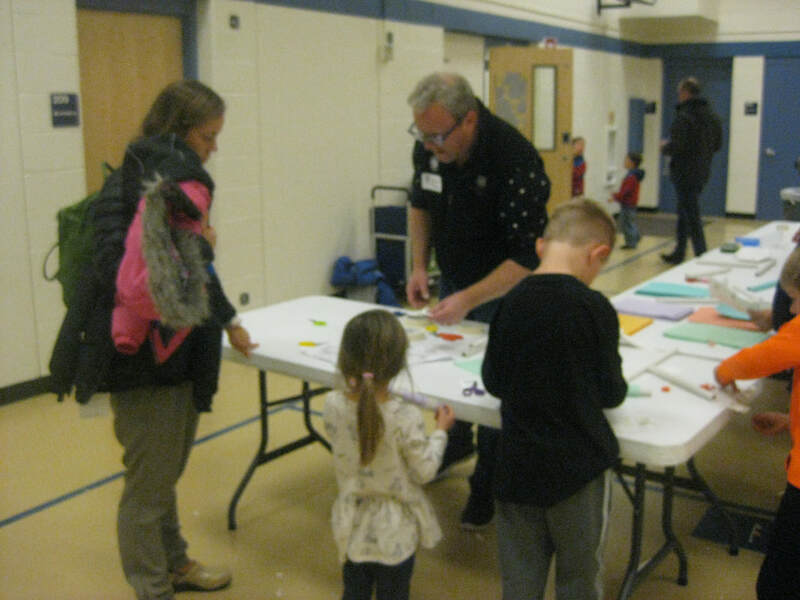 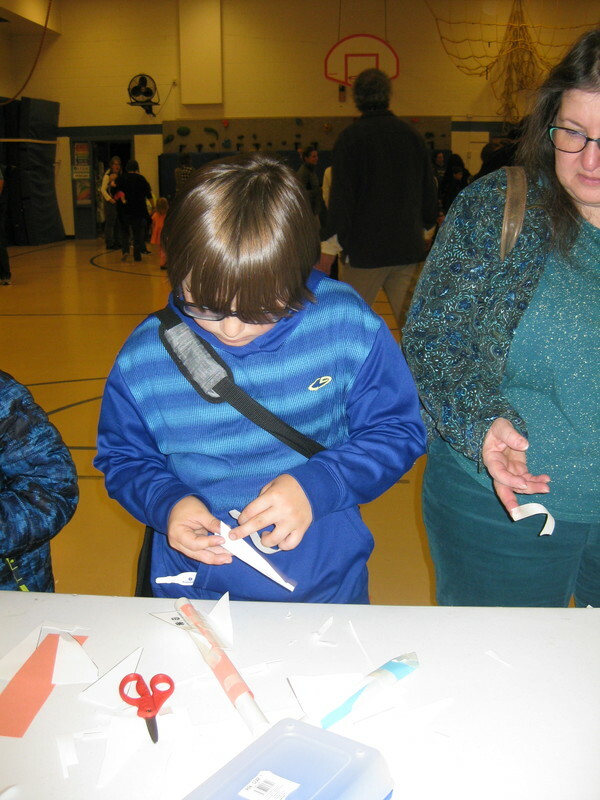 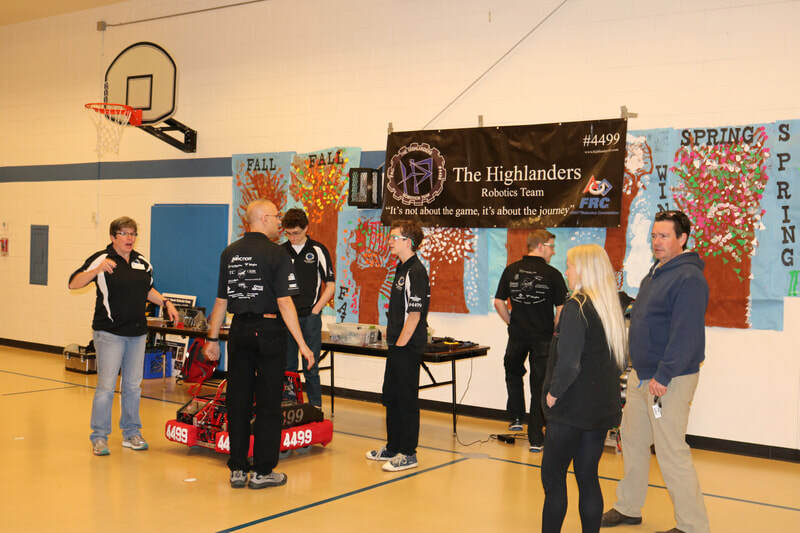 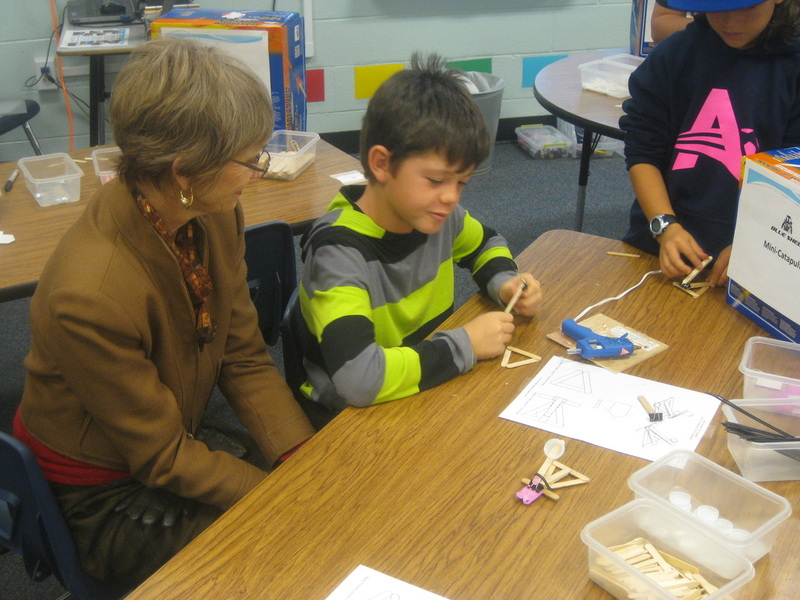 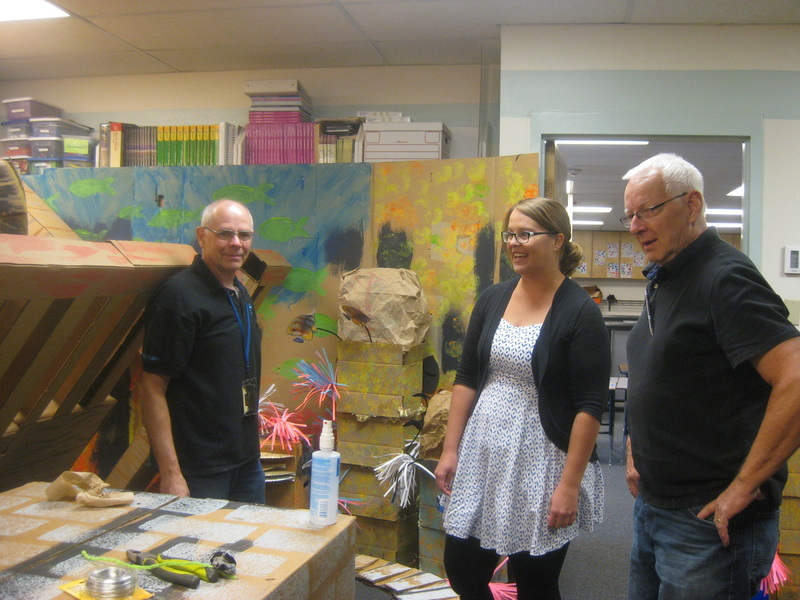 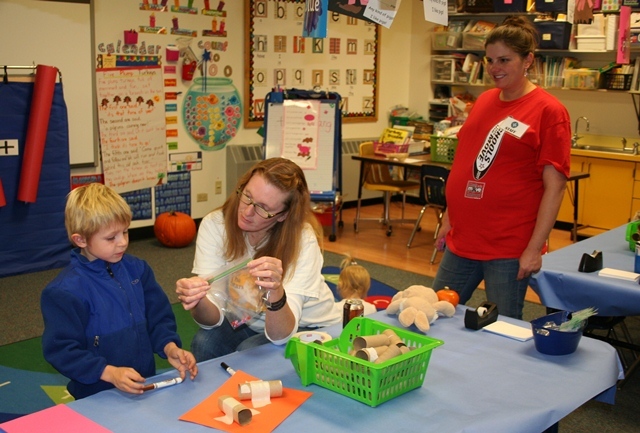 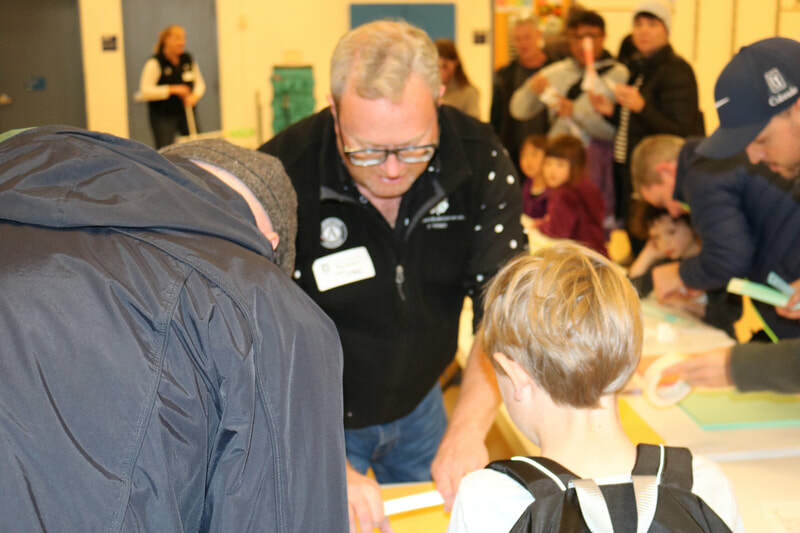 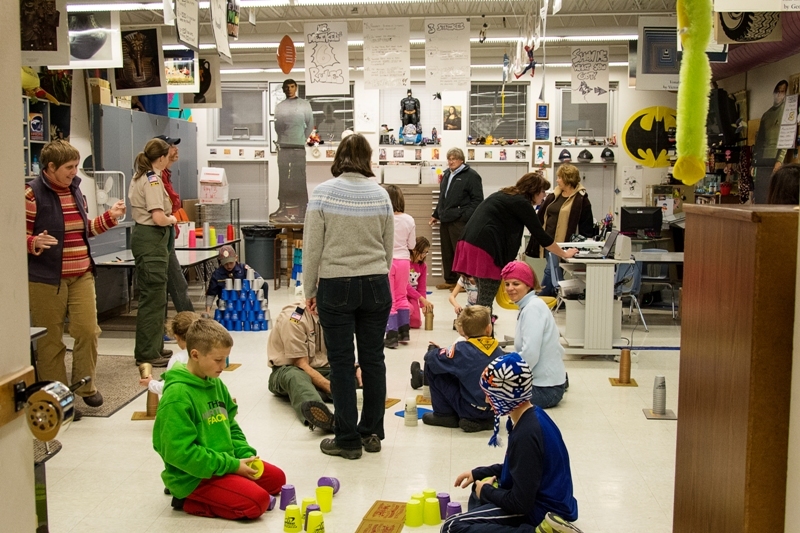 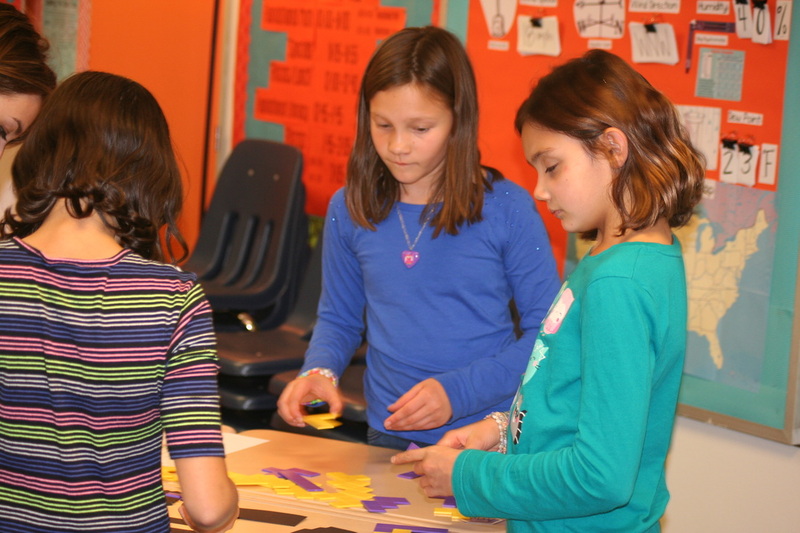 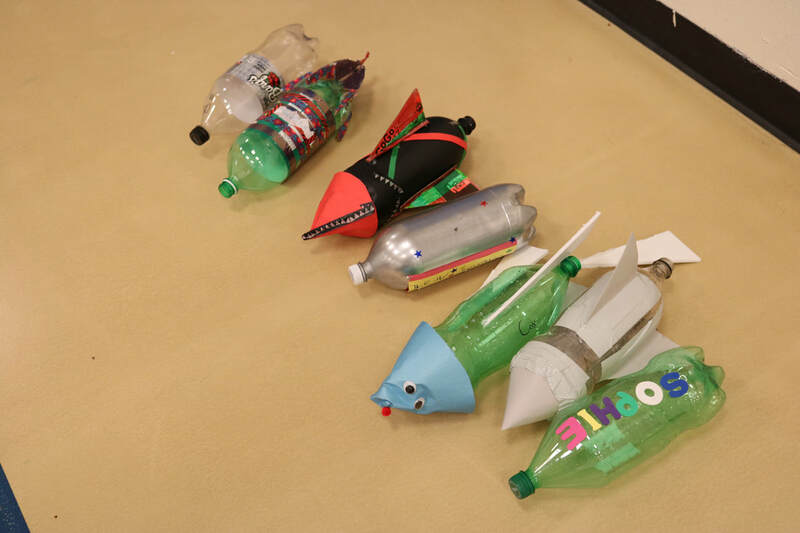 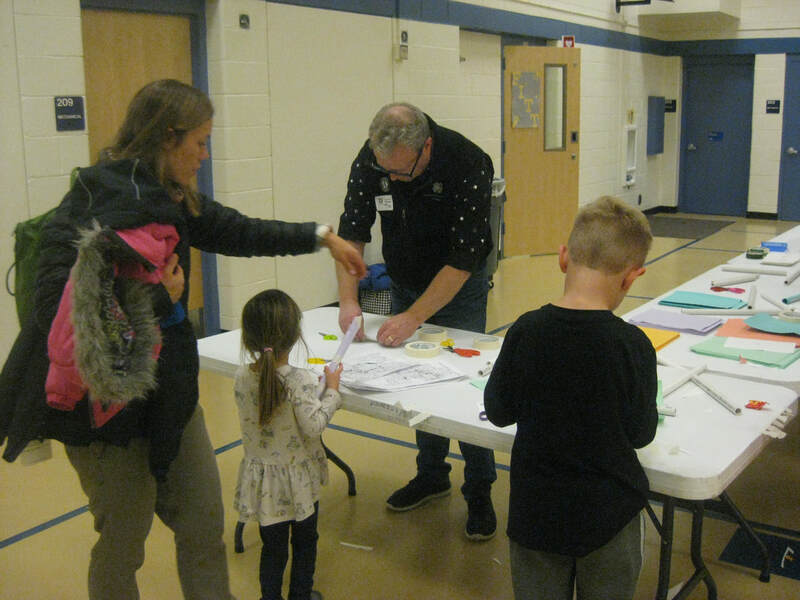 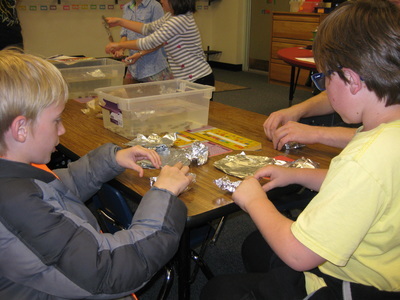 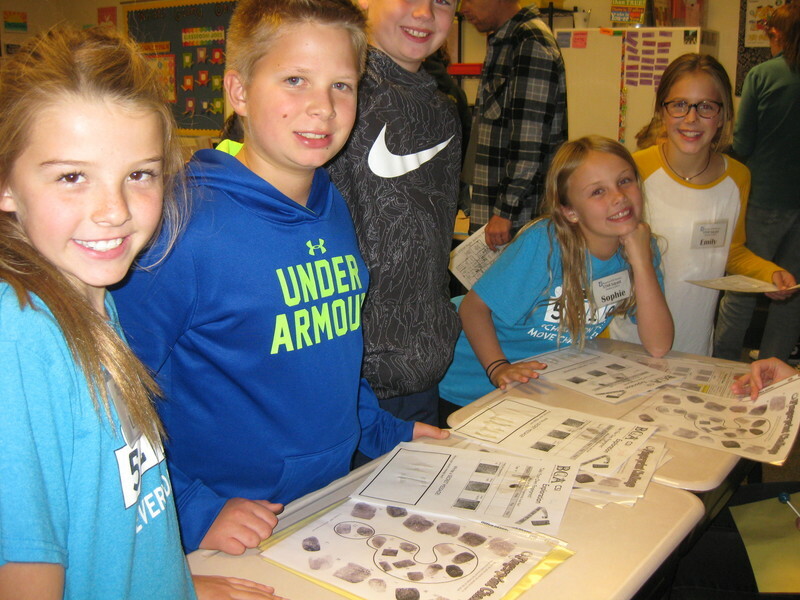 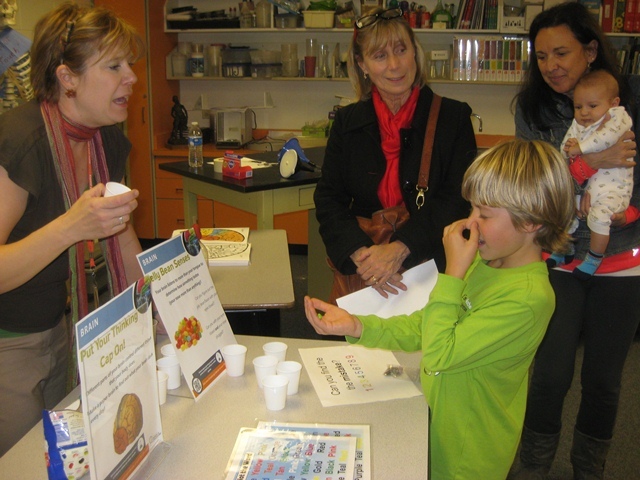 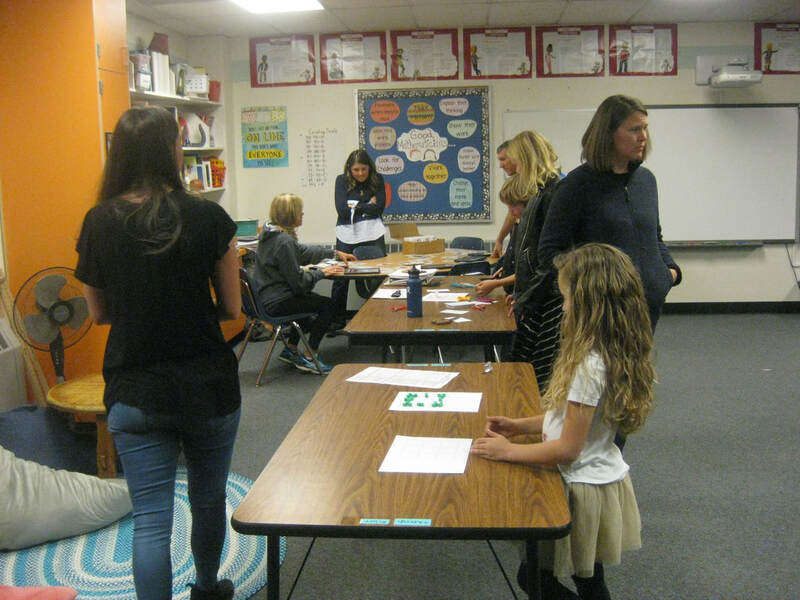 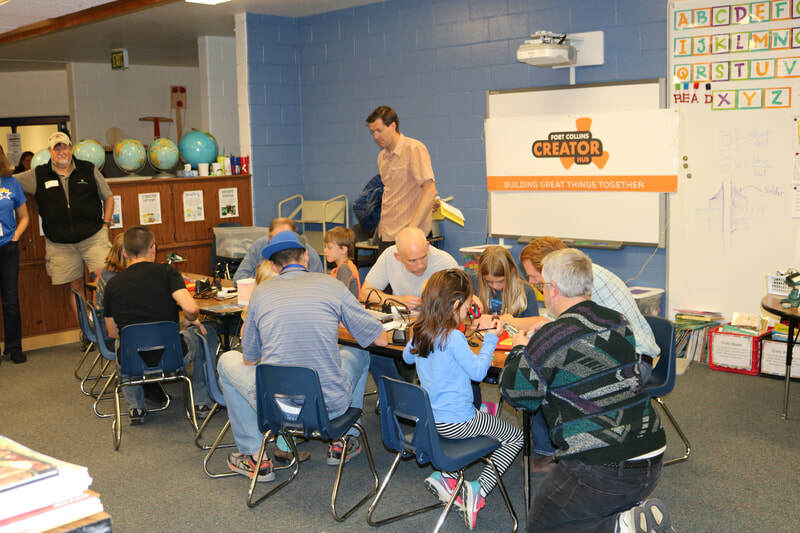 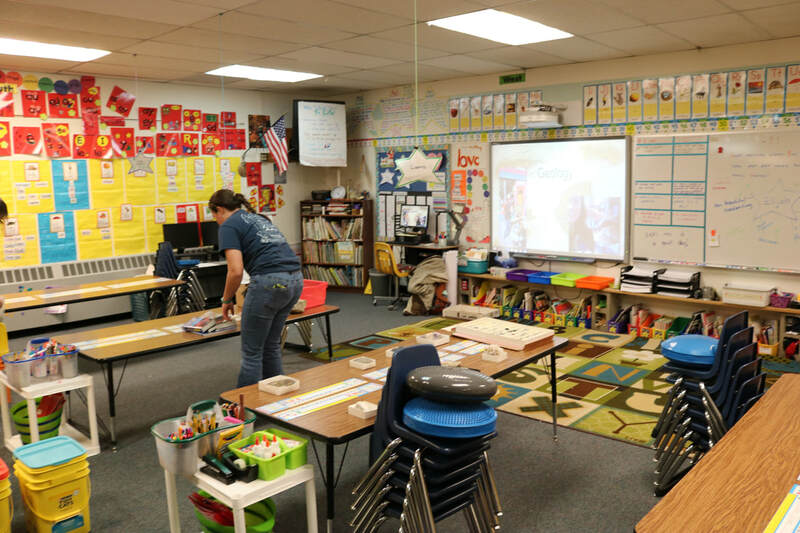 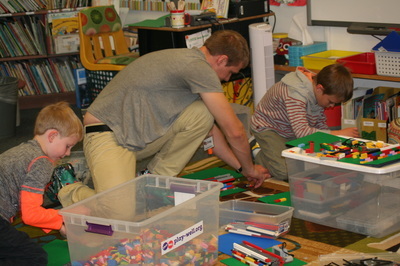 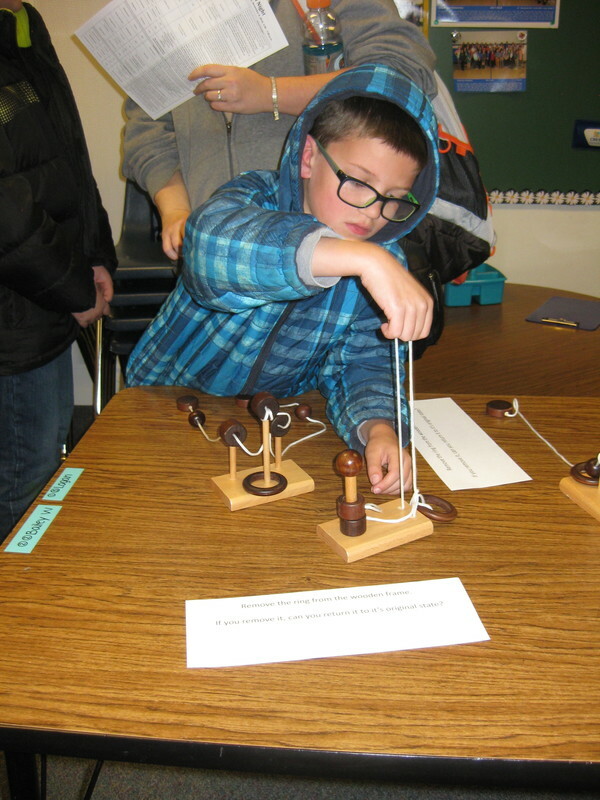 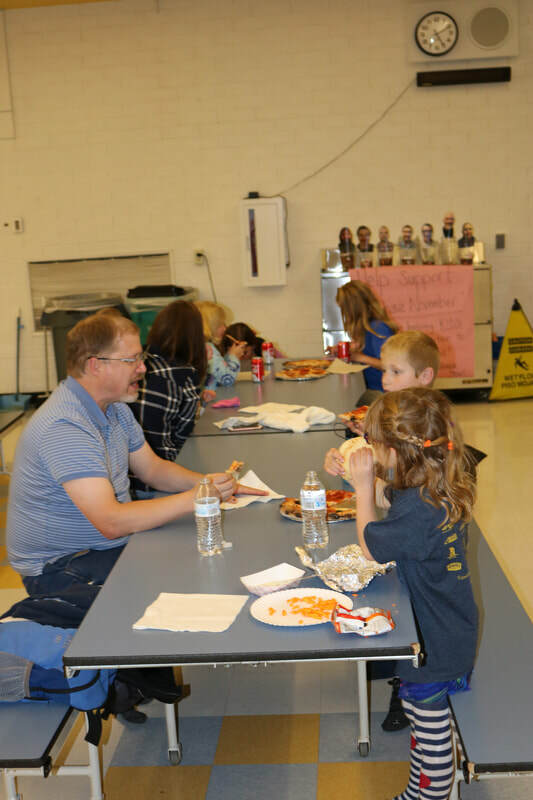 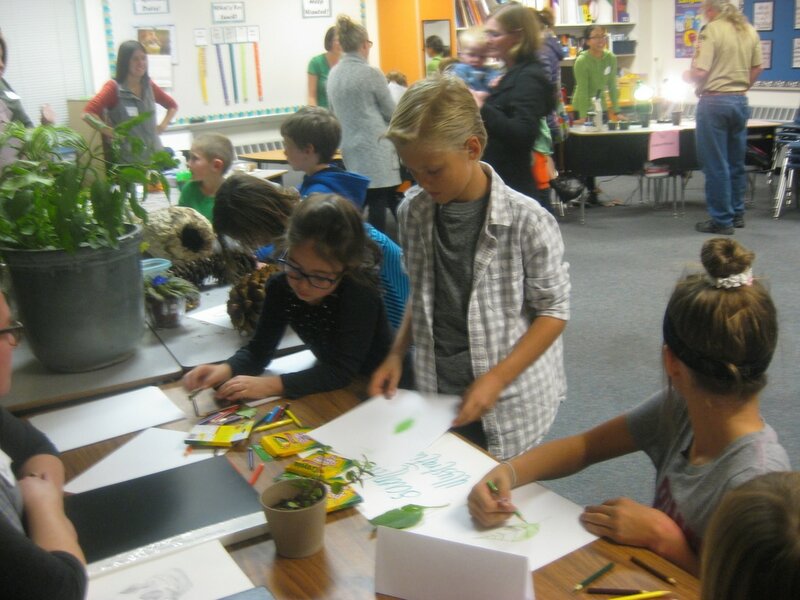 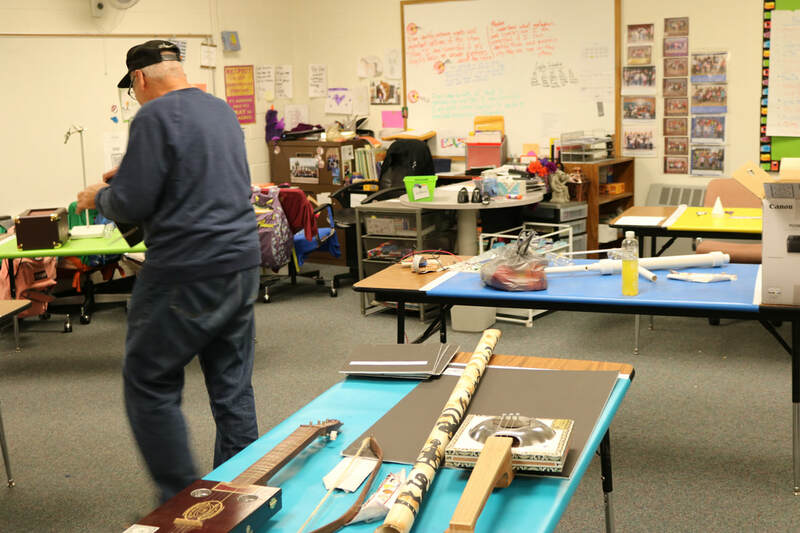 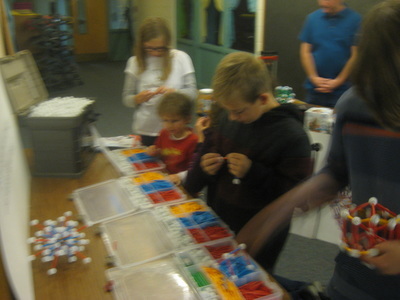 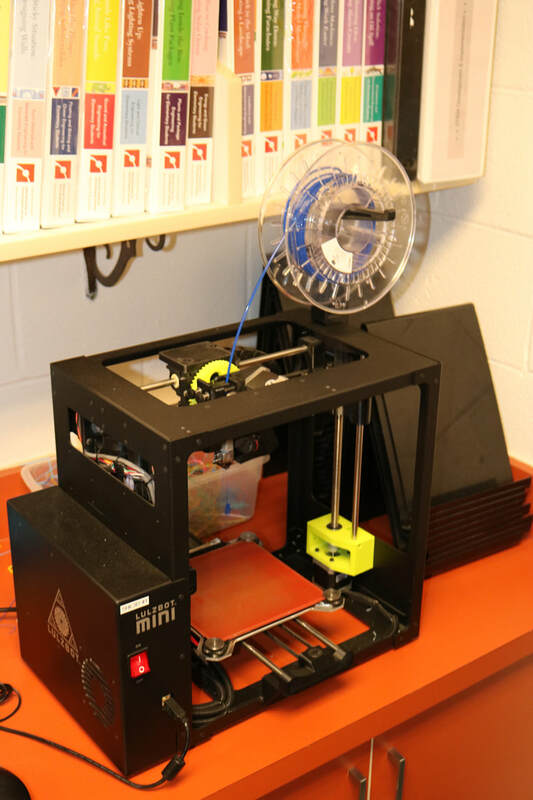 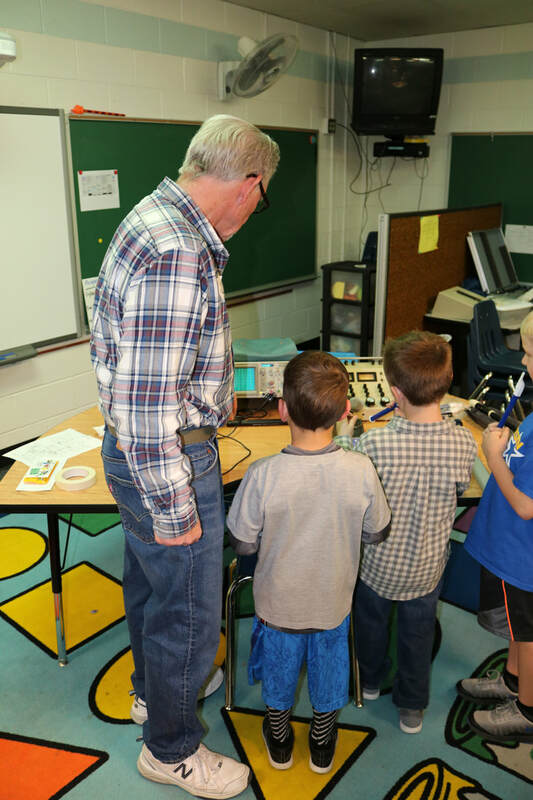 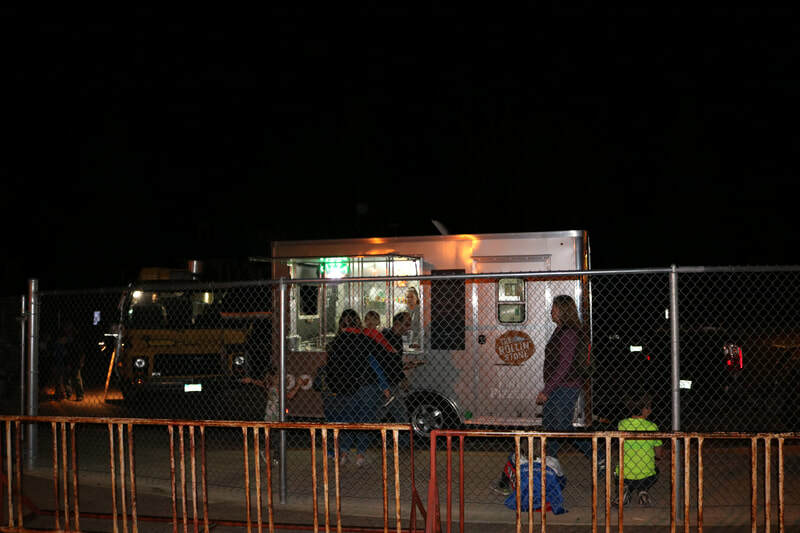 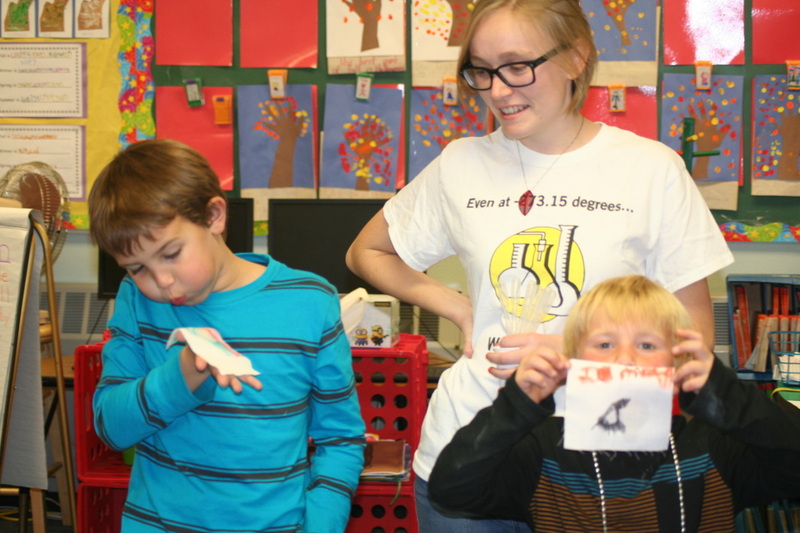 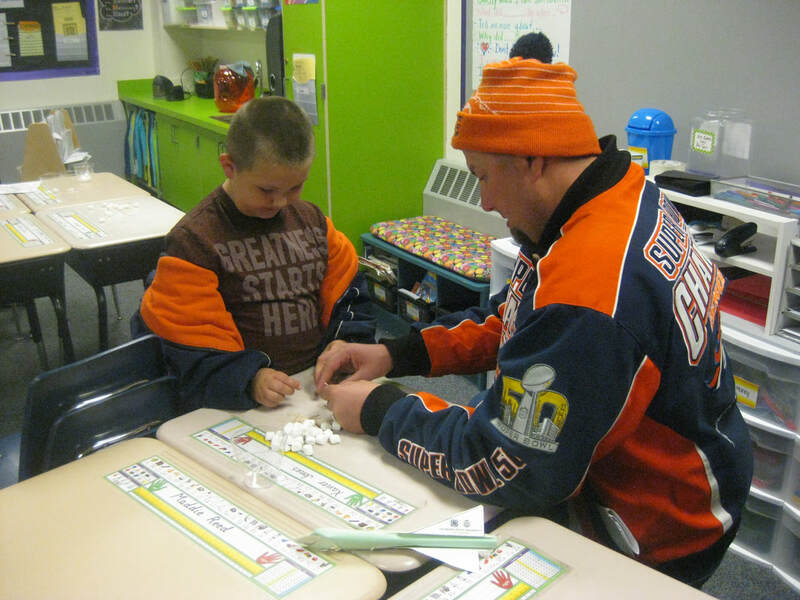 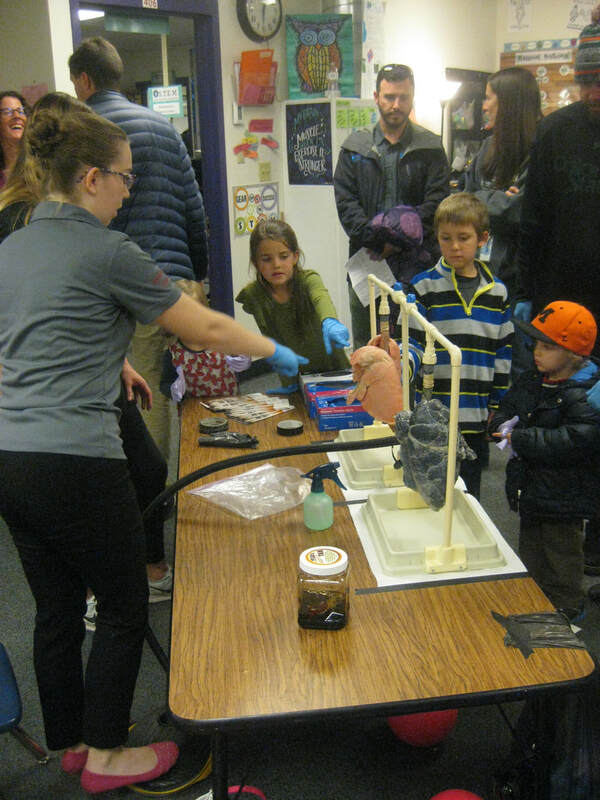 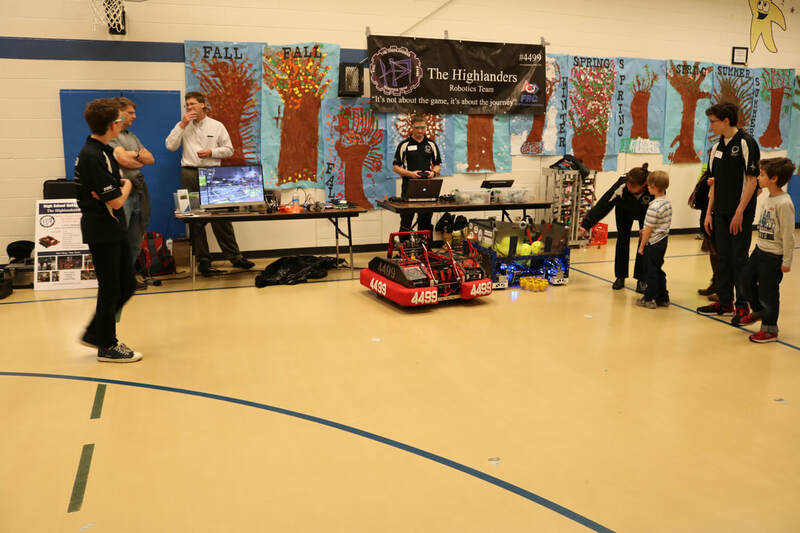 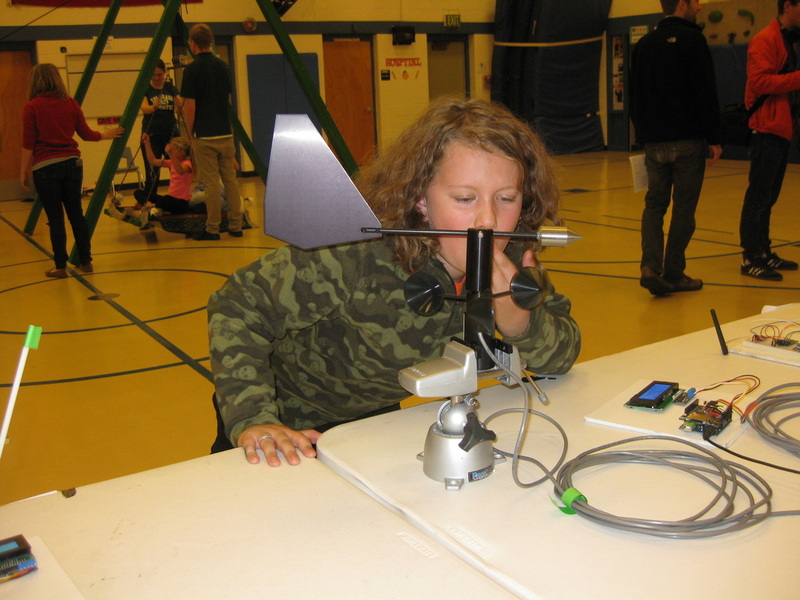 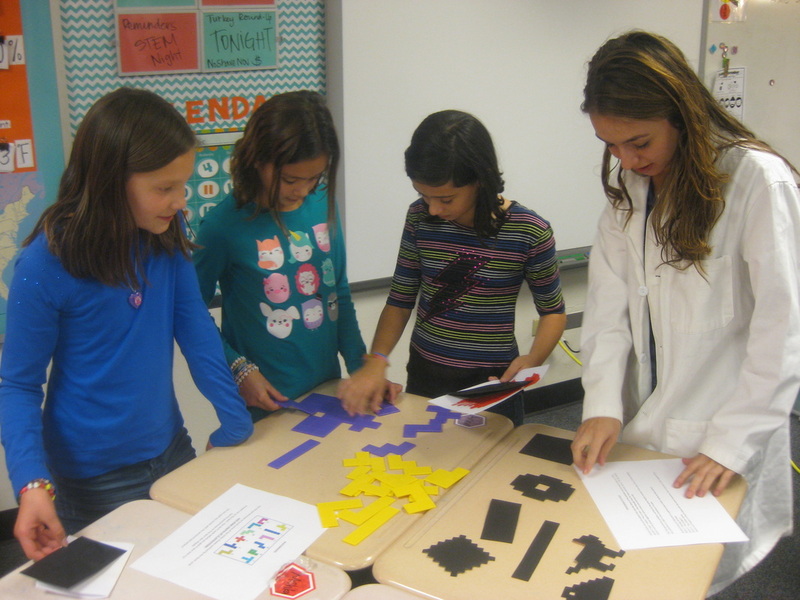 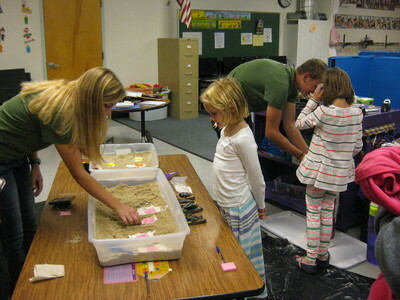 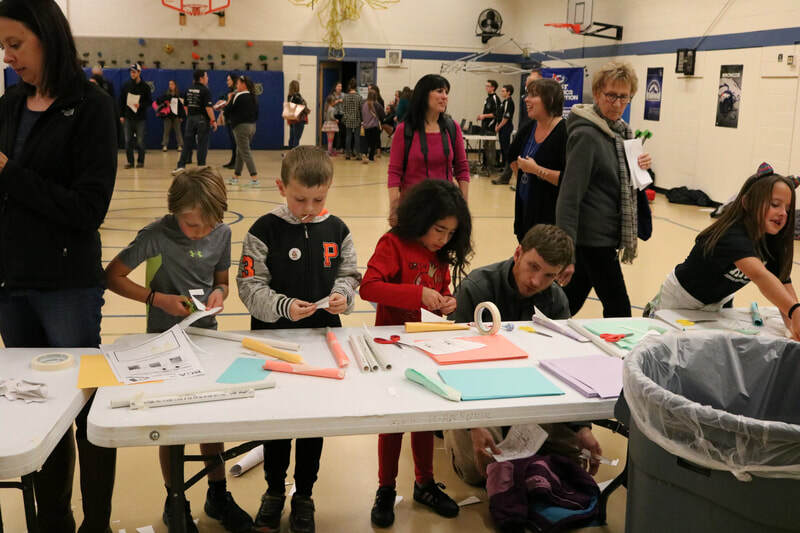 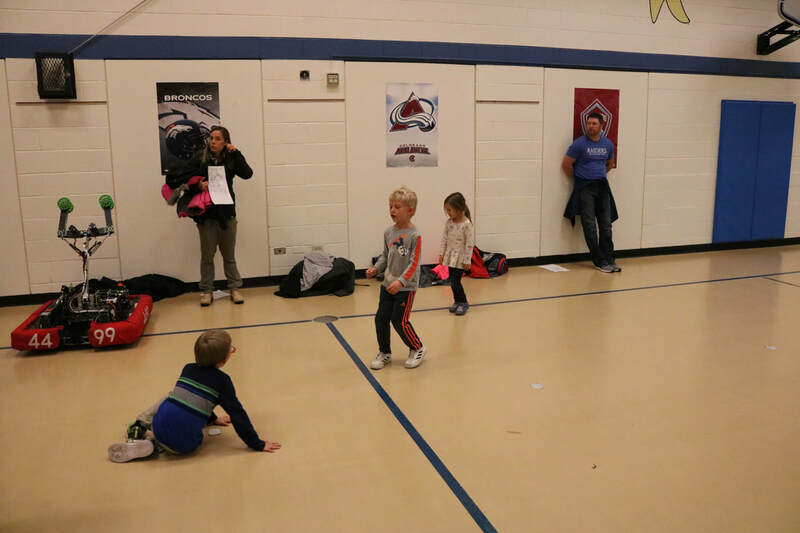 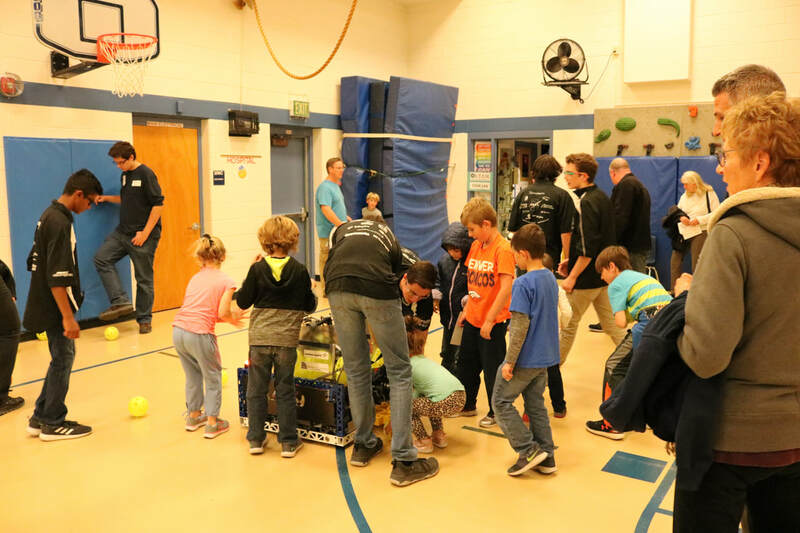 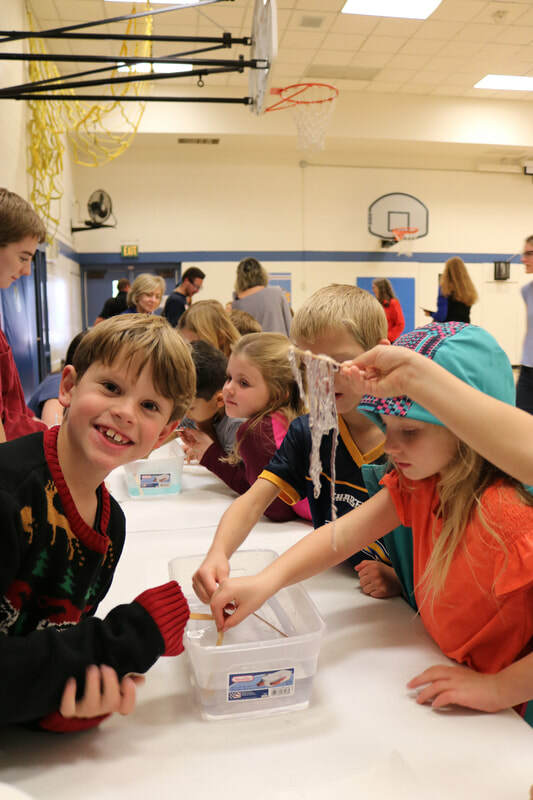 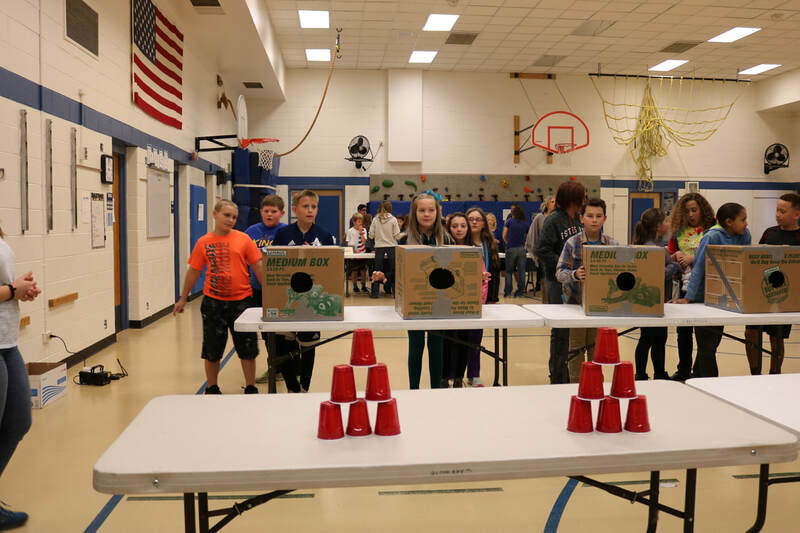 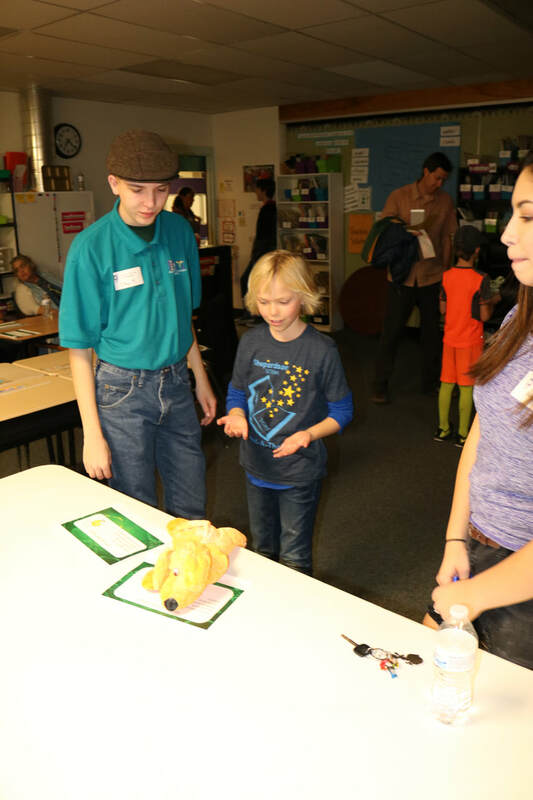 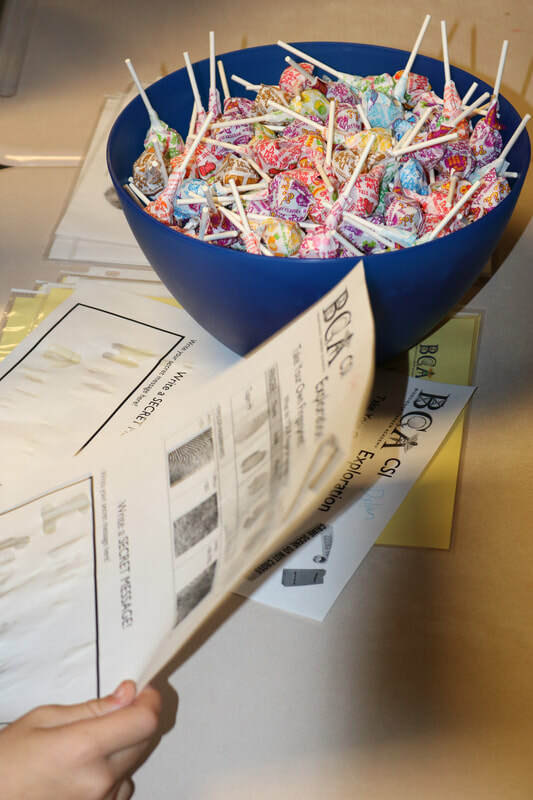 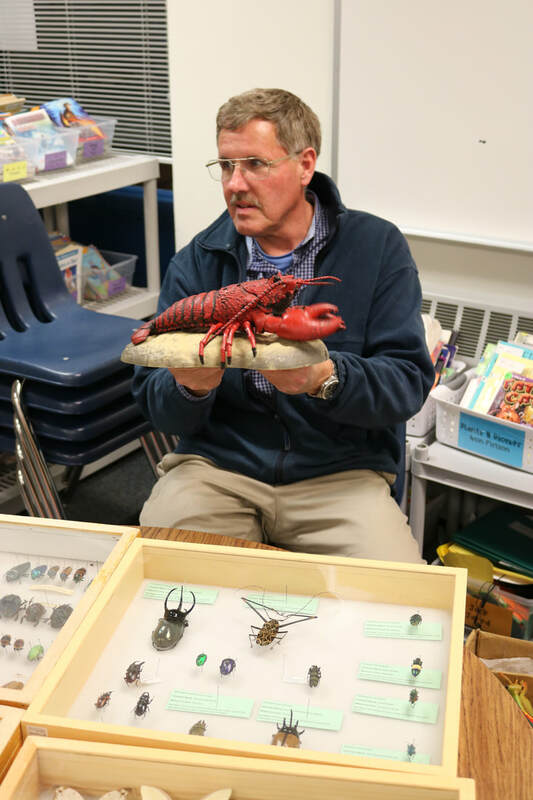 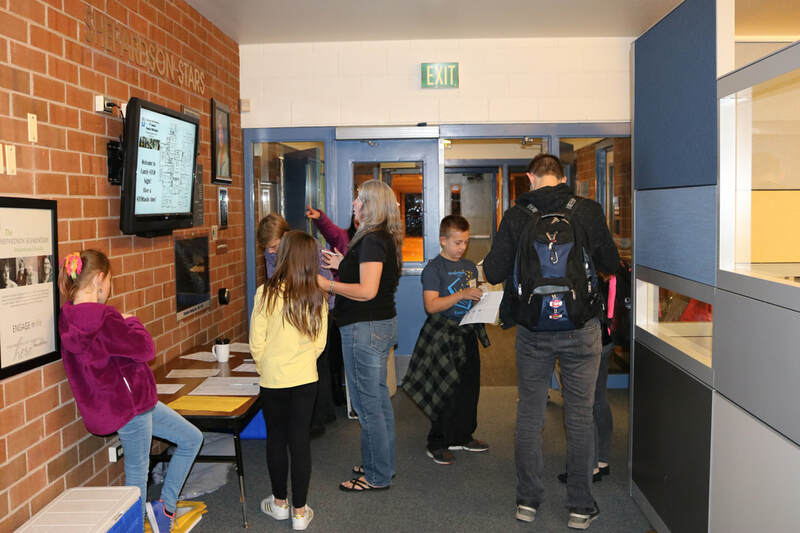 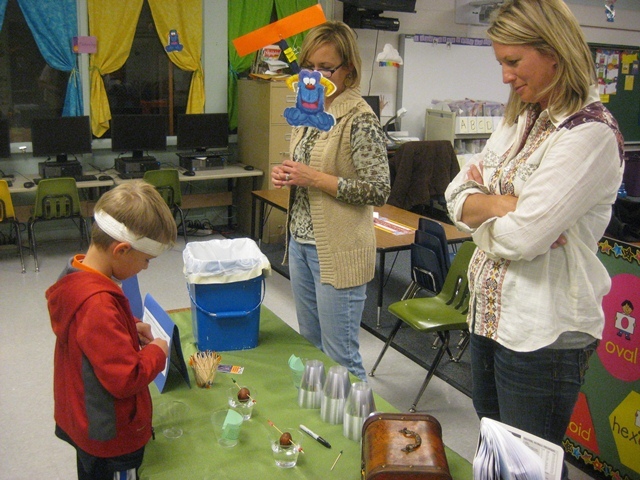 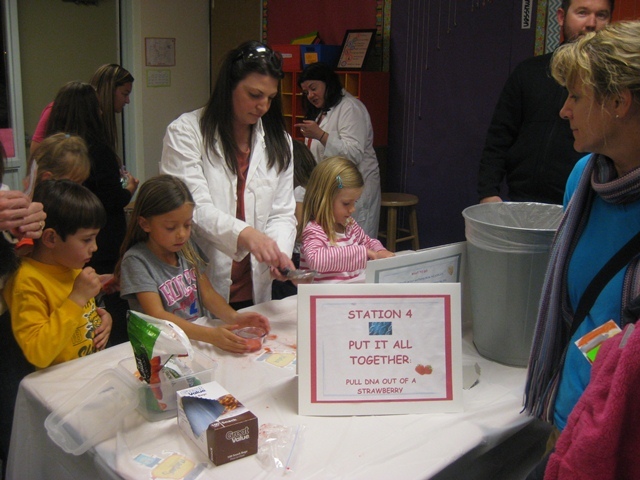 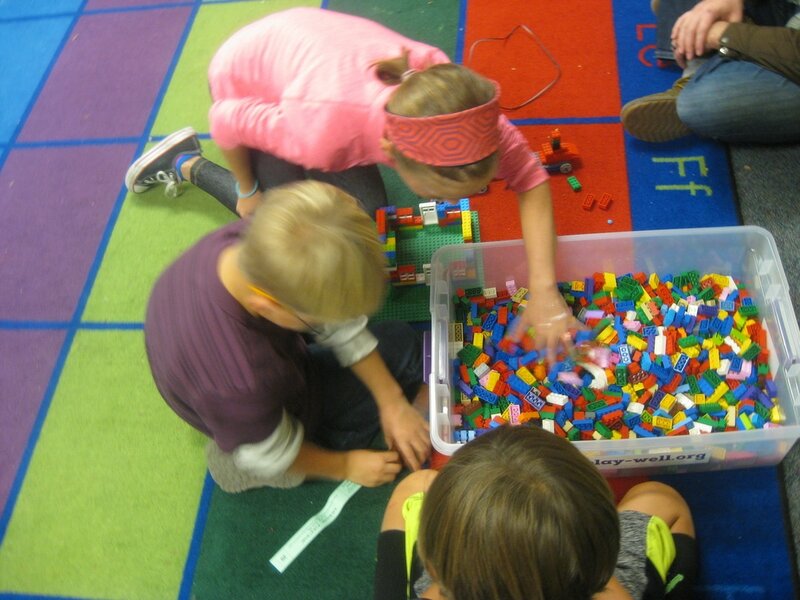 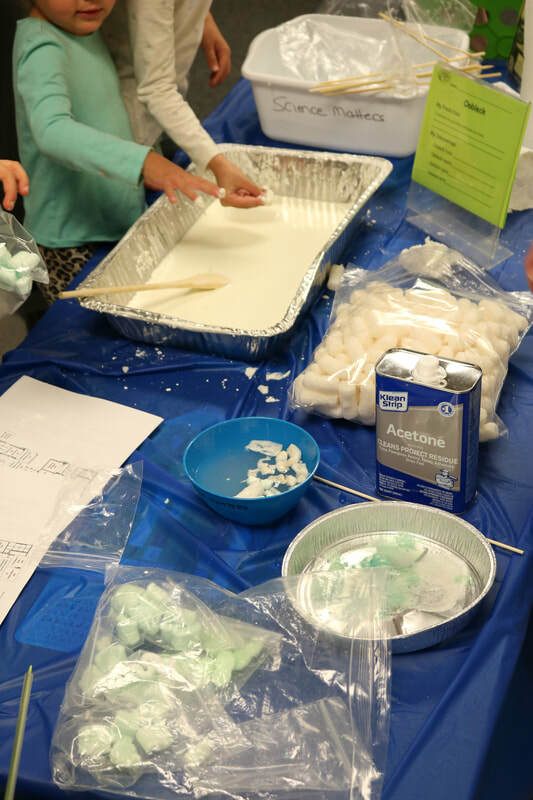 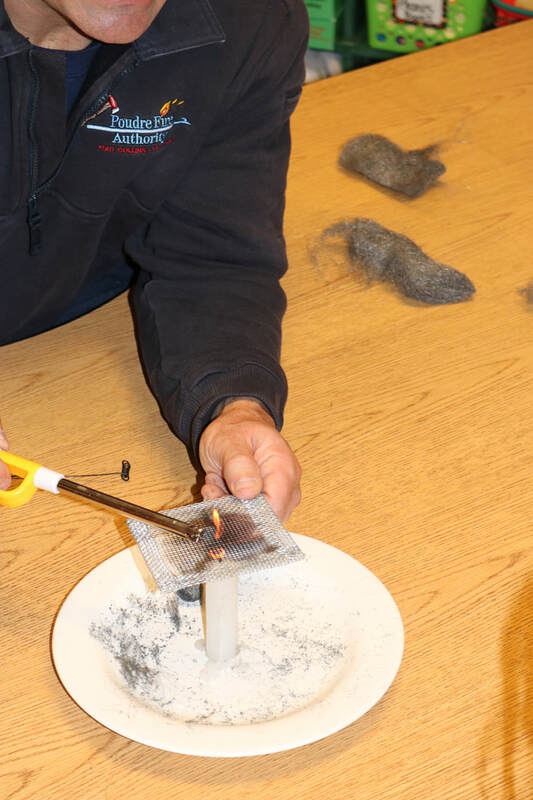 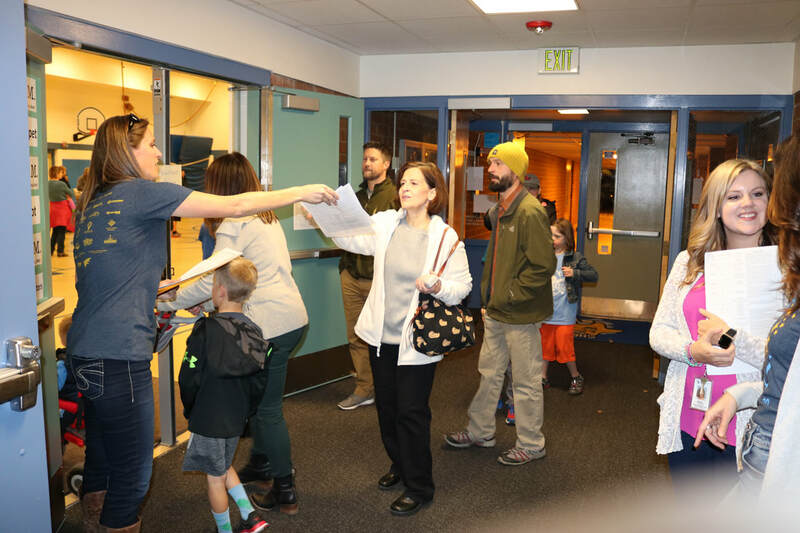 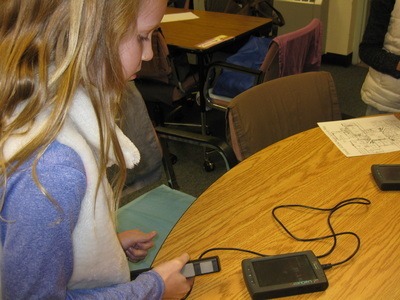 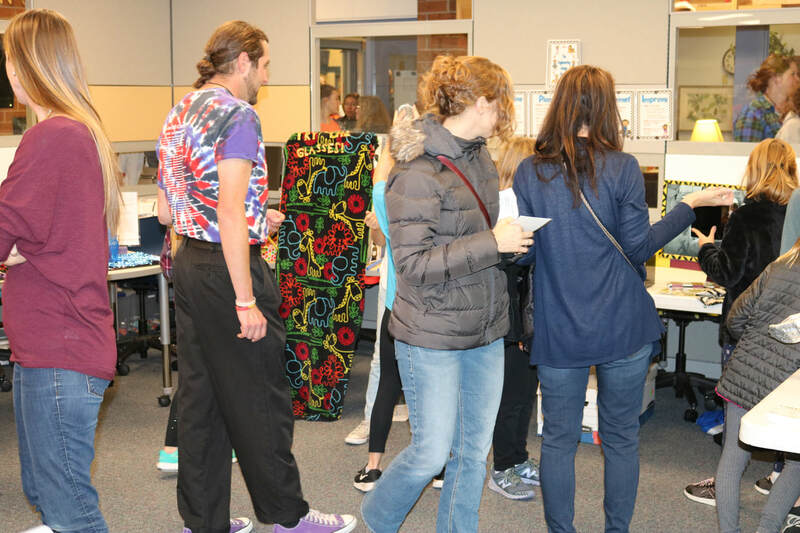 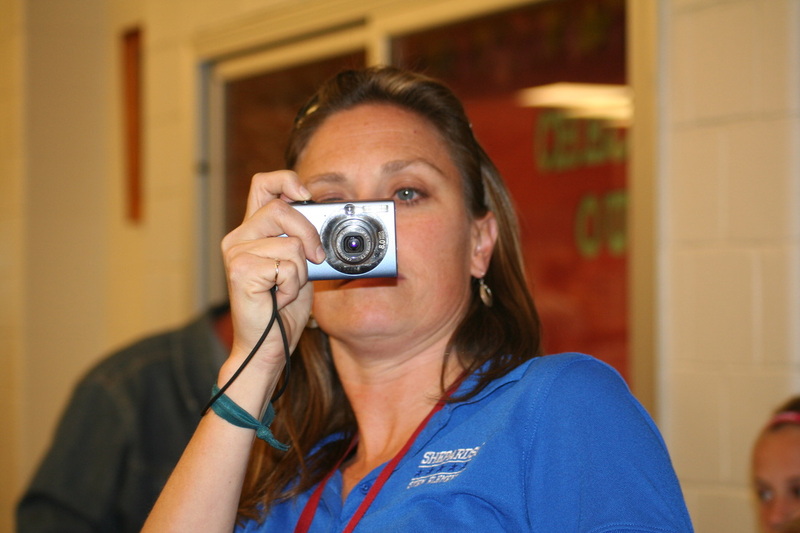 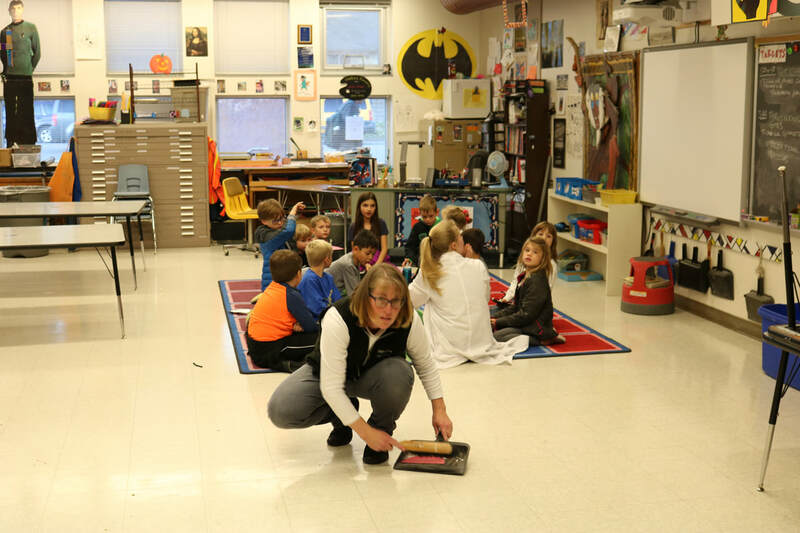 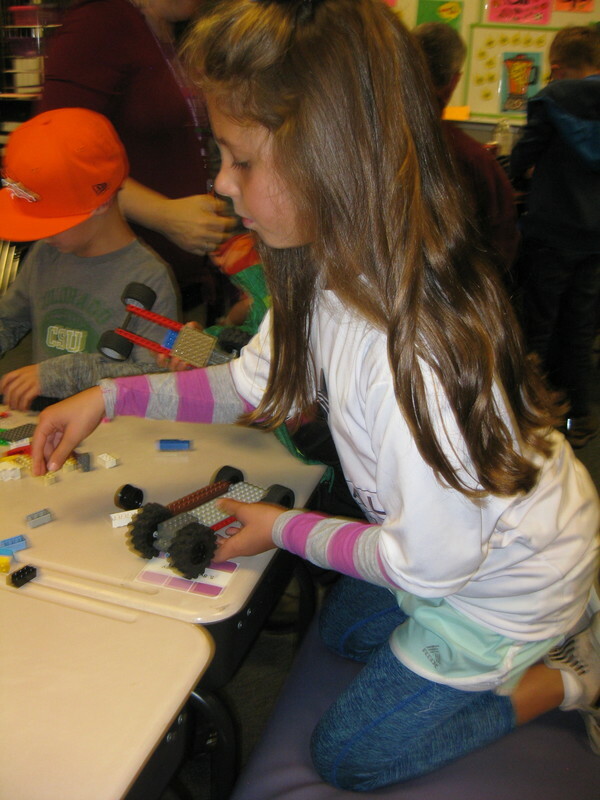 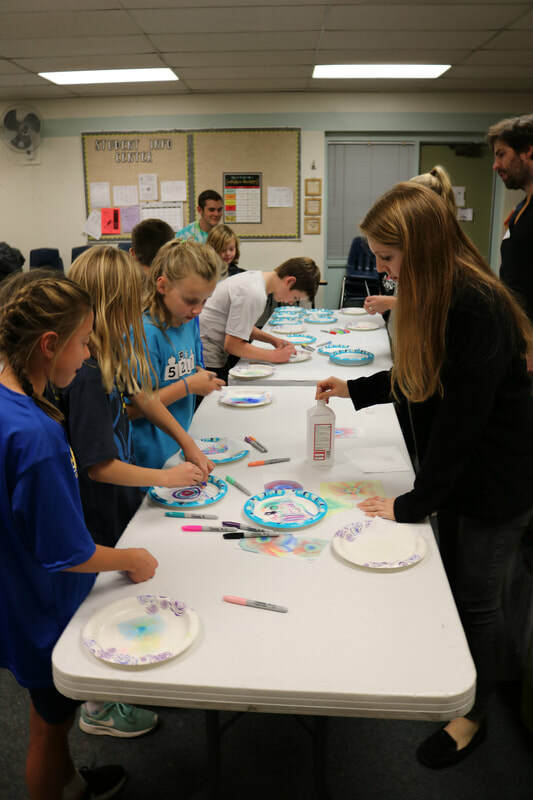 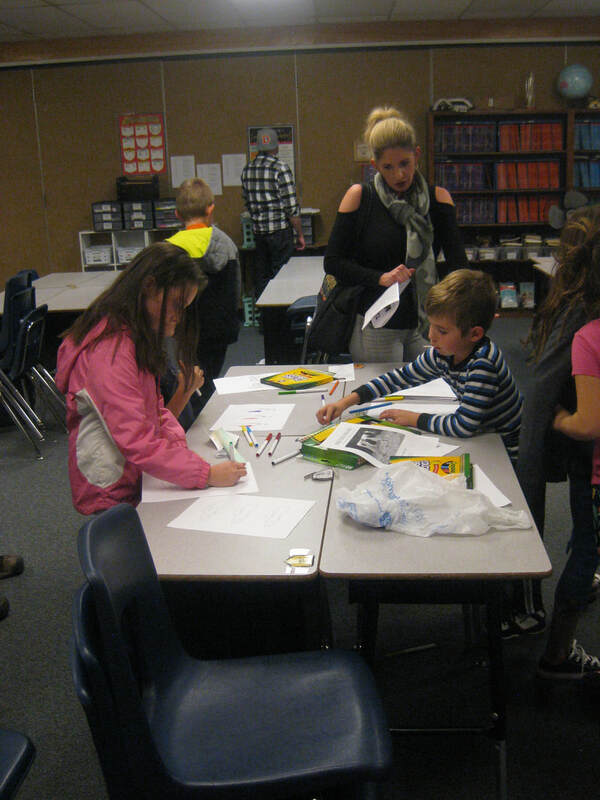 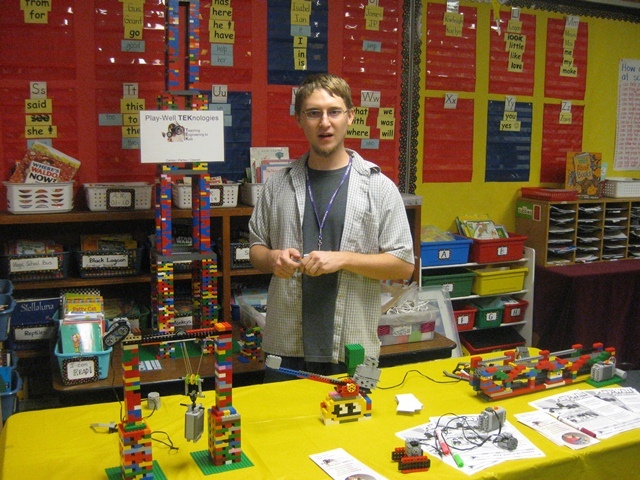 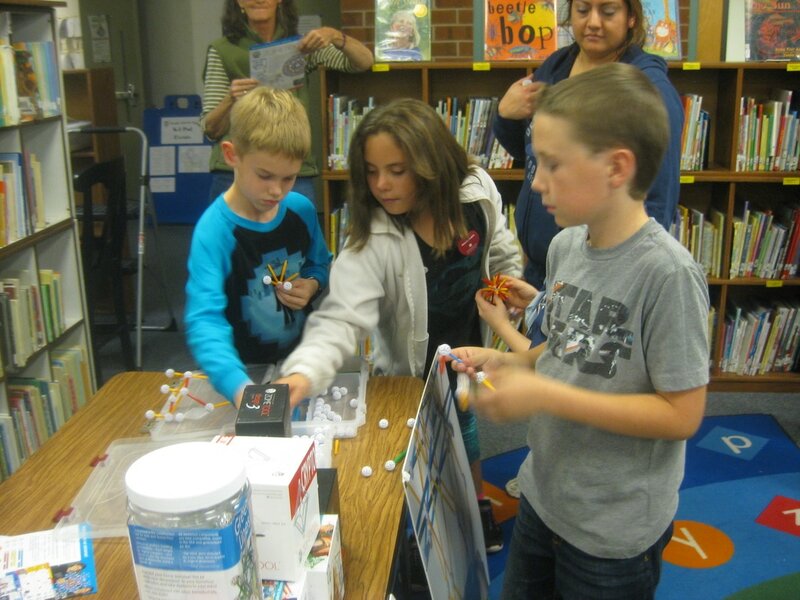 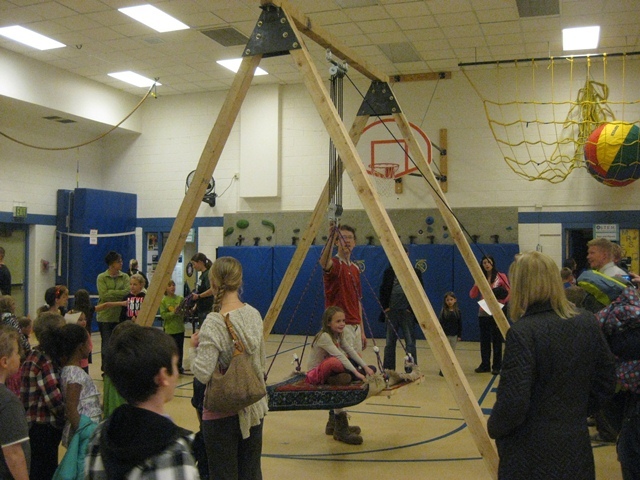 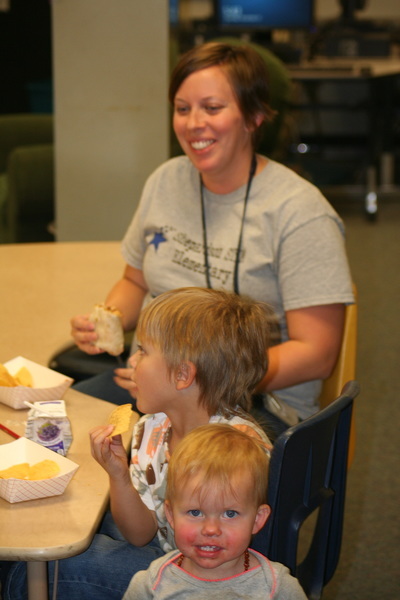 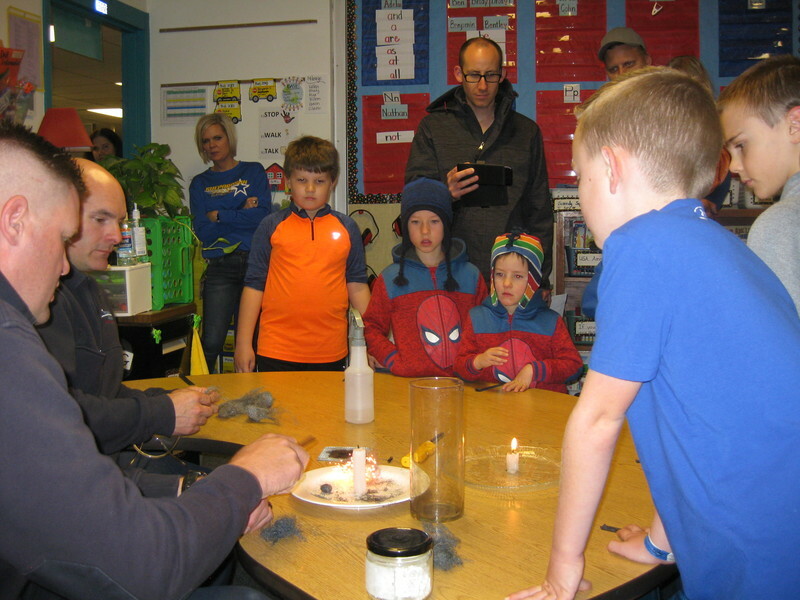 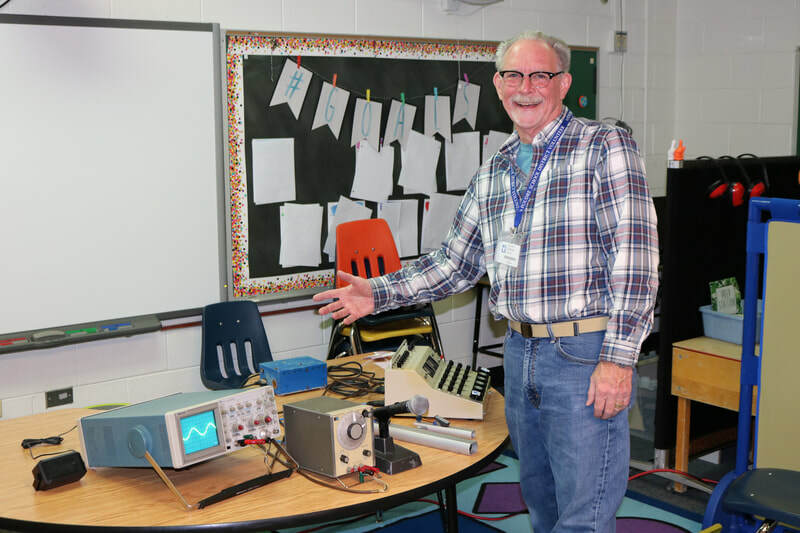 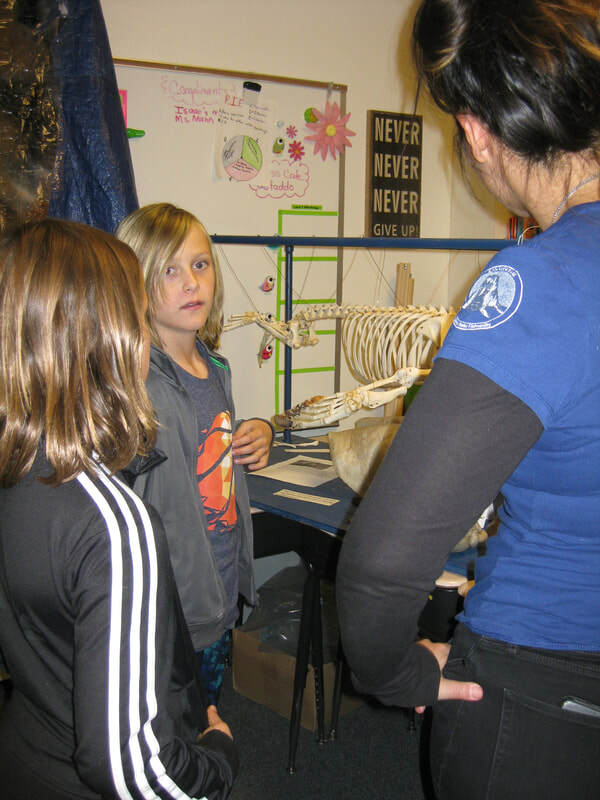 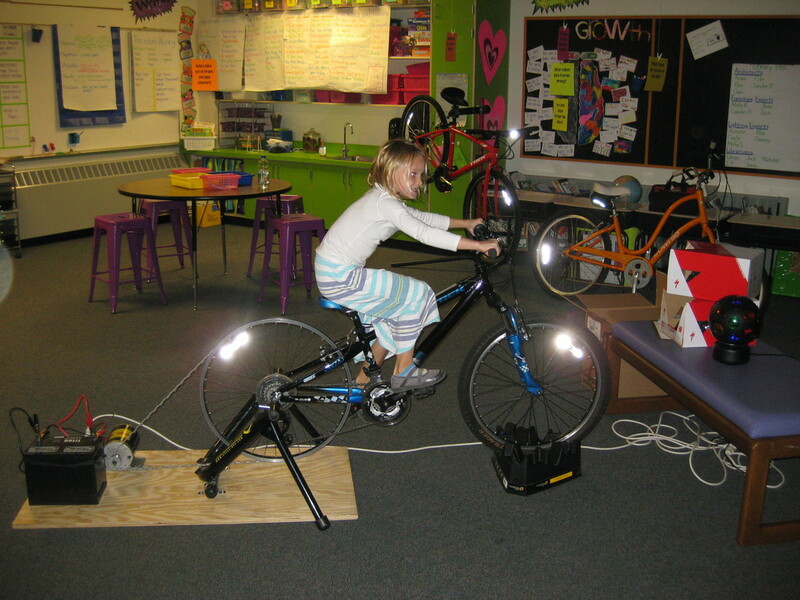 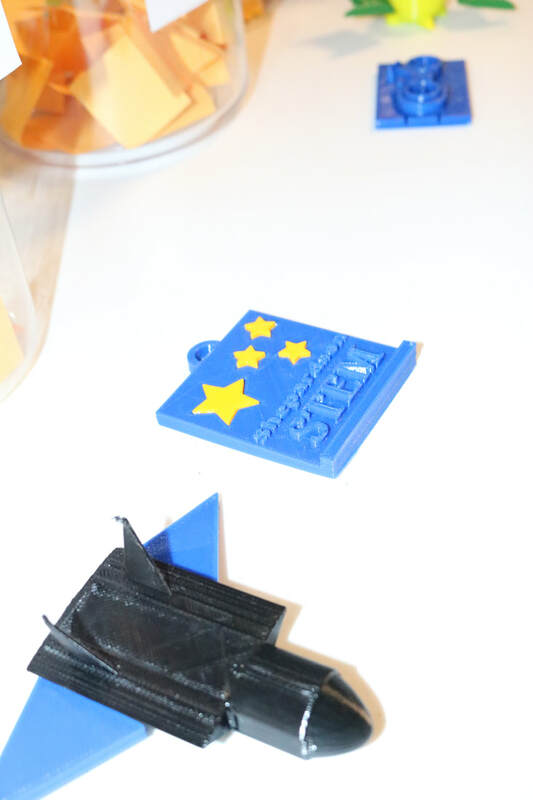 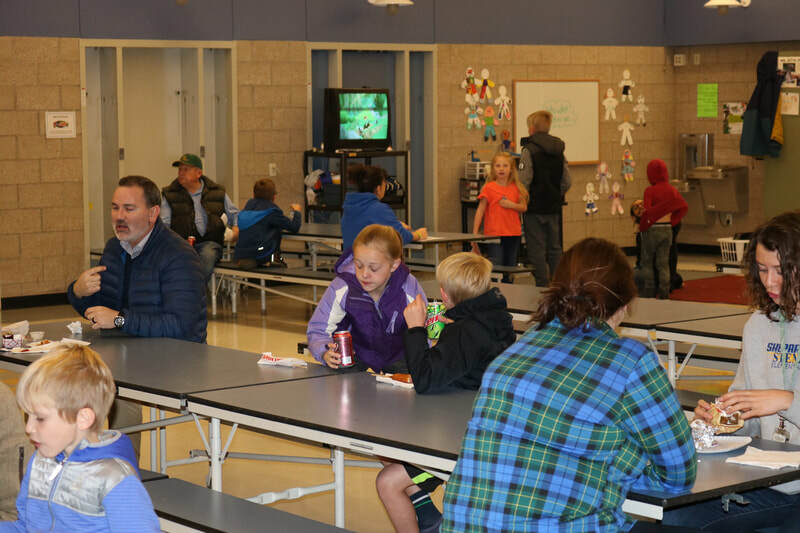 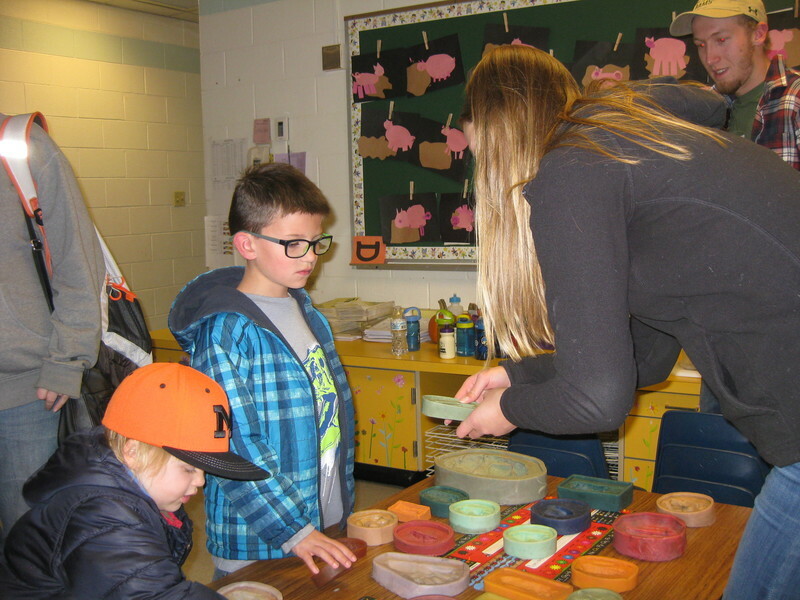 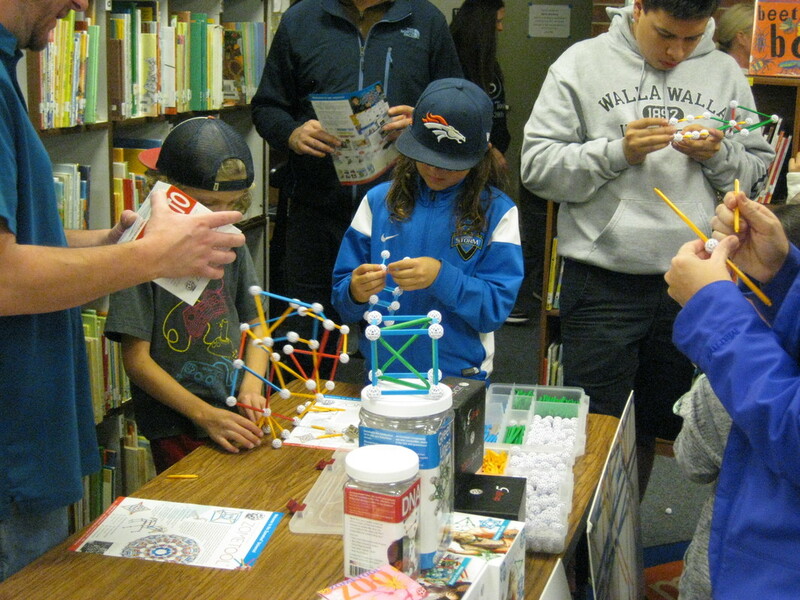 The 7th Annual Shepardson Family STEM Night was held on November 12, 2015. 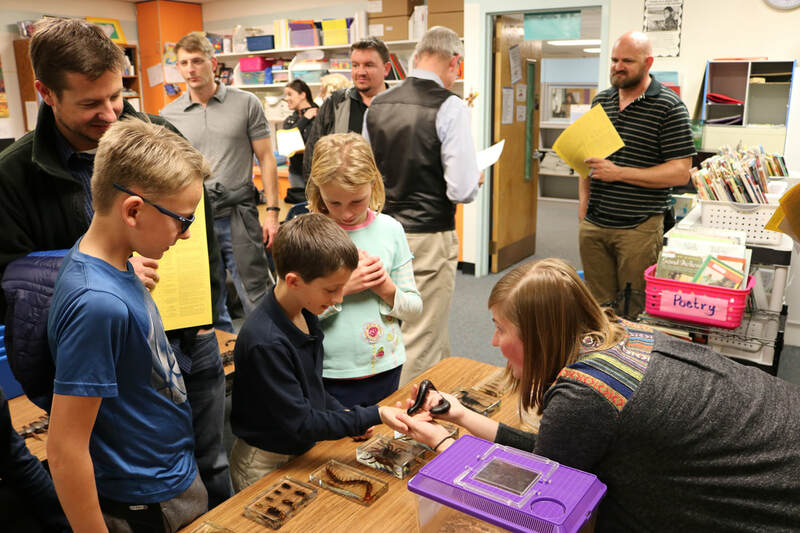 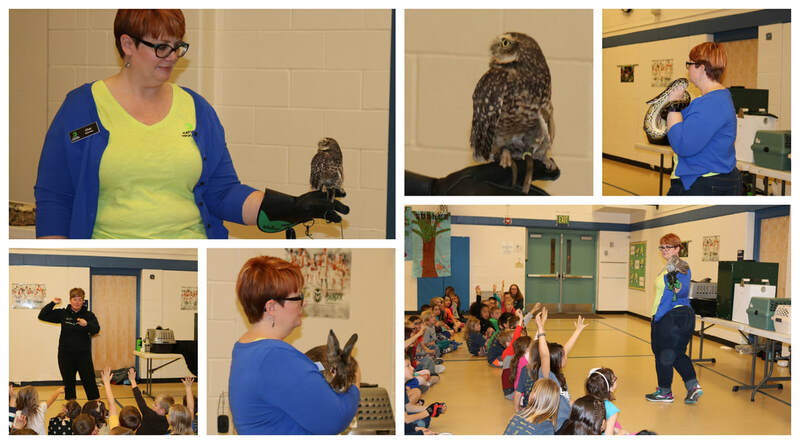 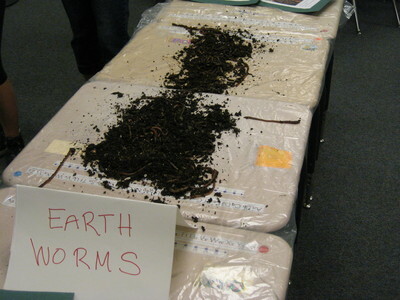 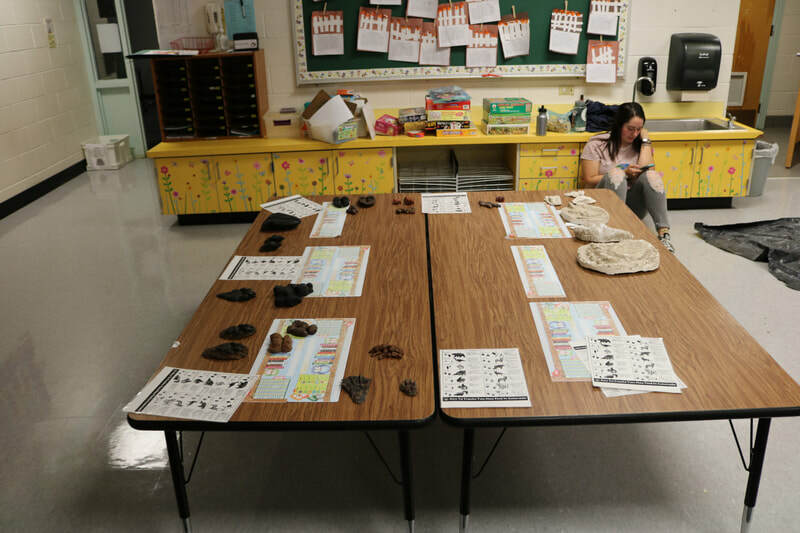 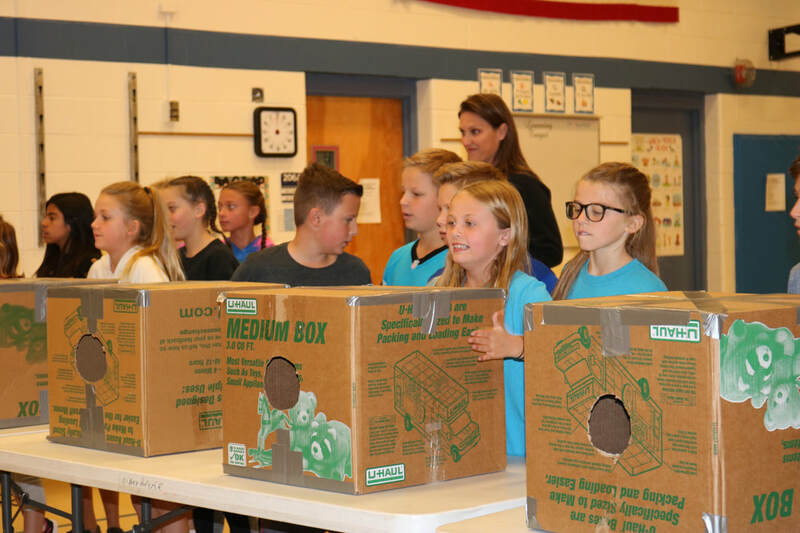 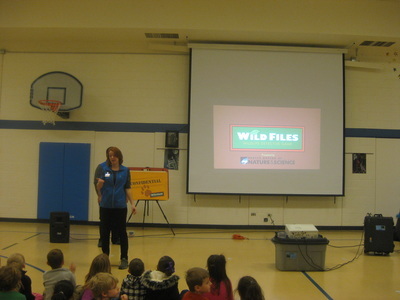 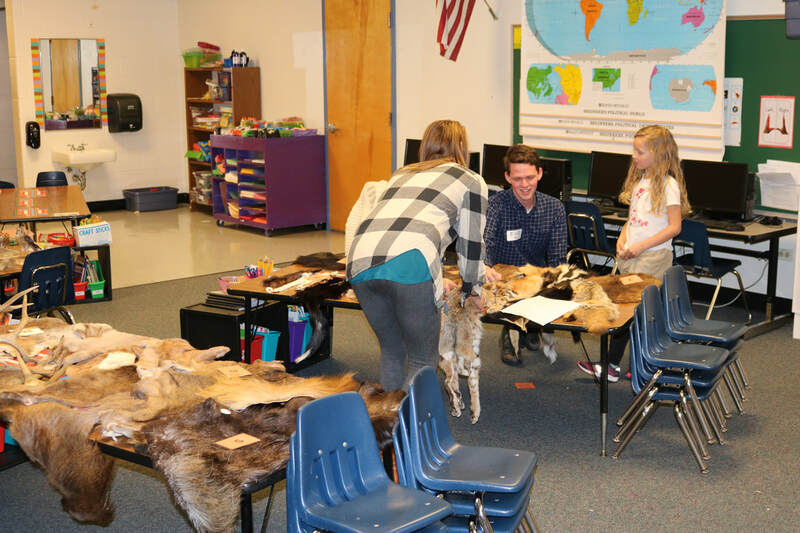 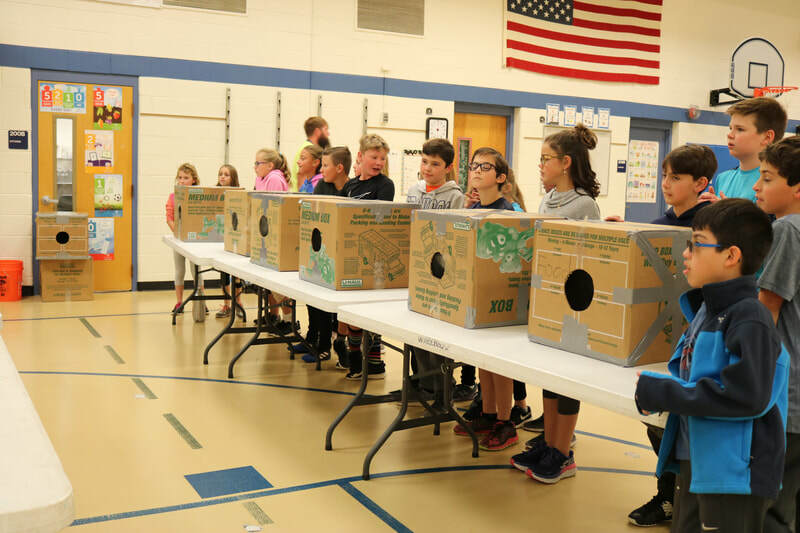 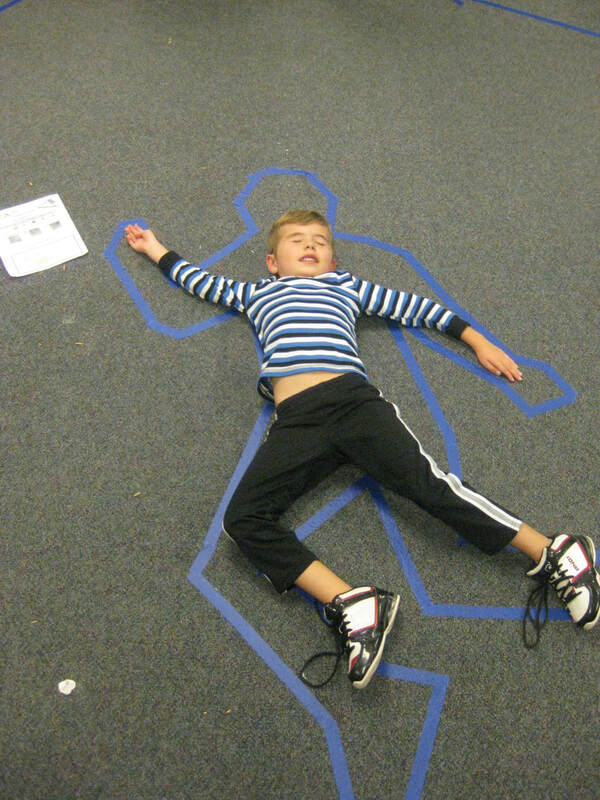 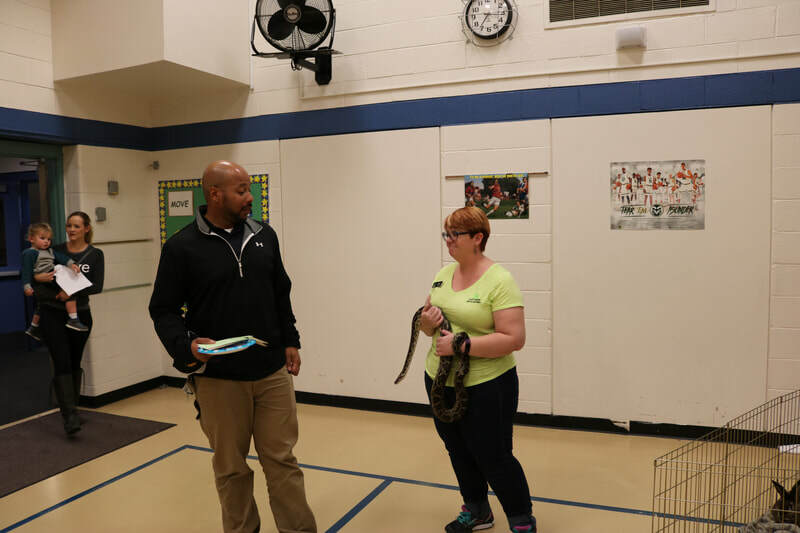 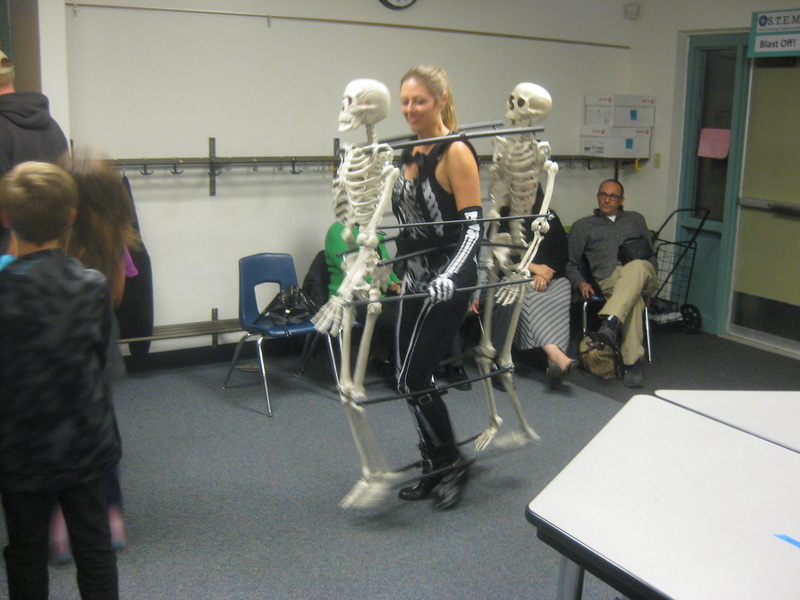 Shepardson STEM Elementary was filled with fascinating and interactive presentations that provided an evening of STEM learning and fun. 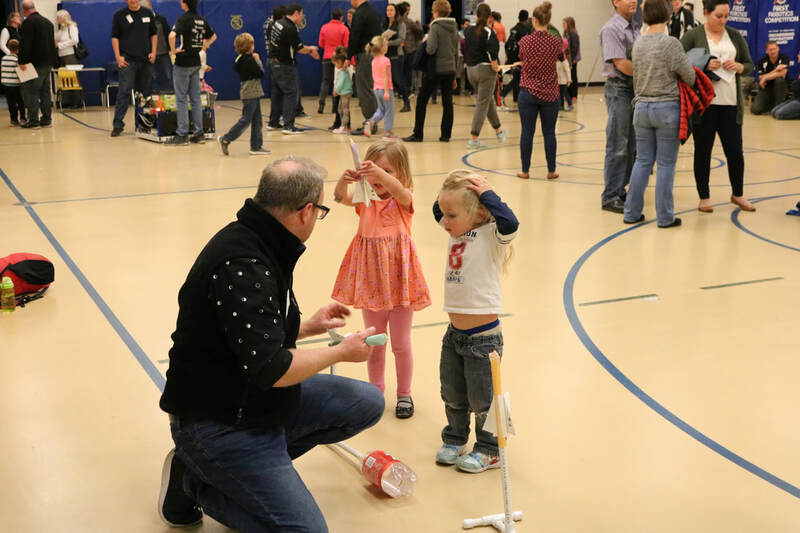 There were demonstrations and hand-on activities to introduce Shepardson students and their families to an amazing variety of STEM topics provided by CSU organizations and a variety of community organizations. 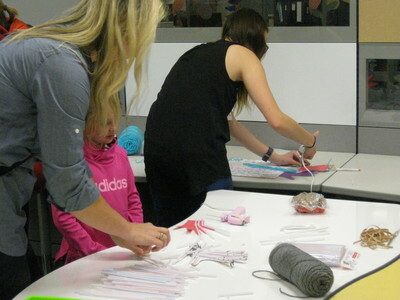 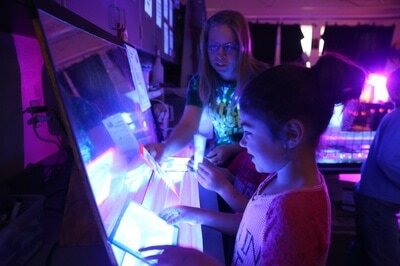 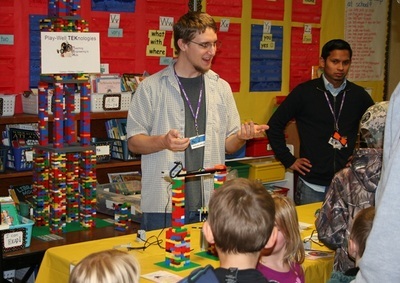 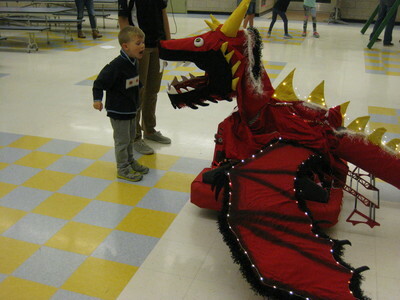 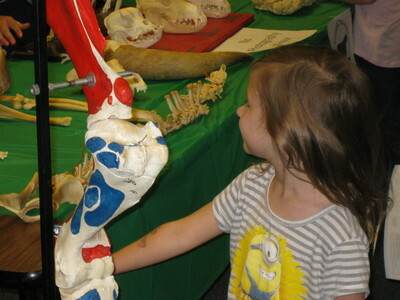 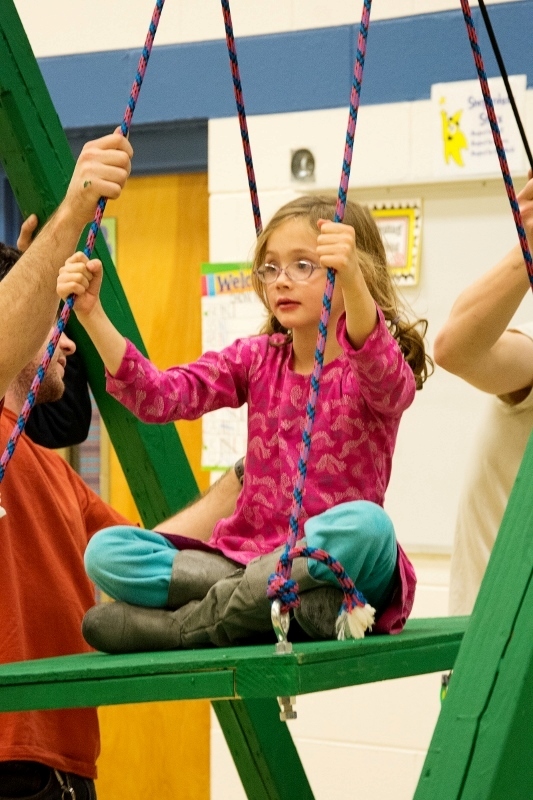 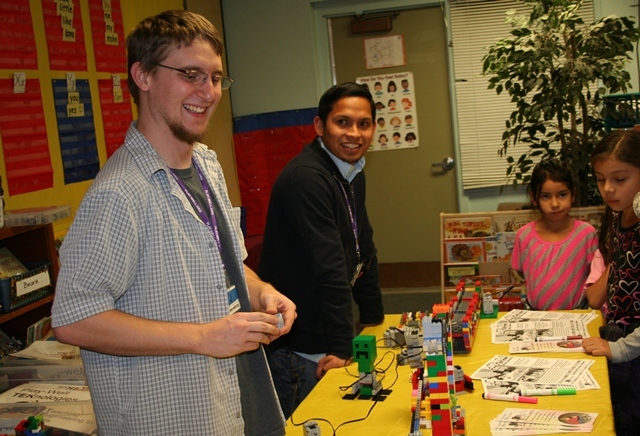 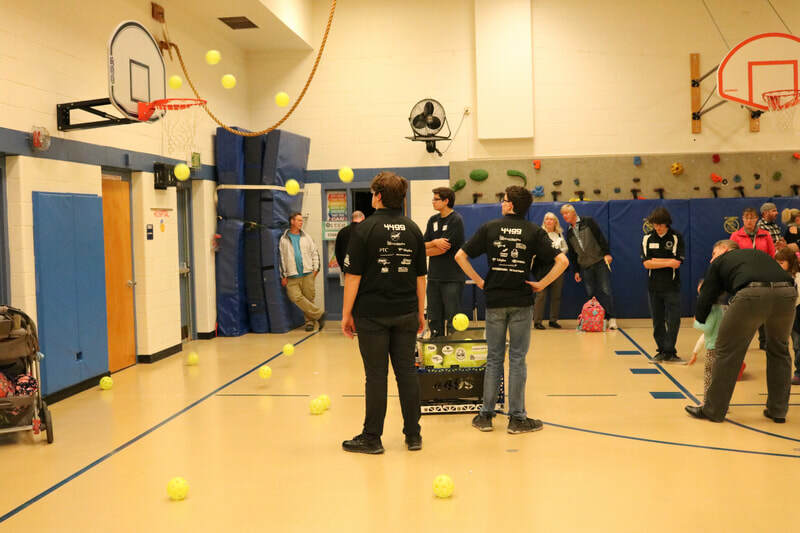 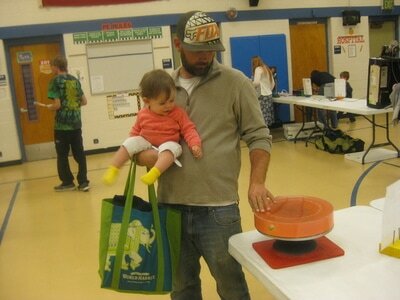 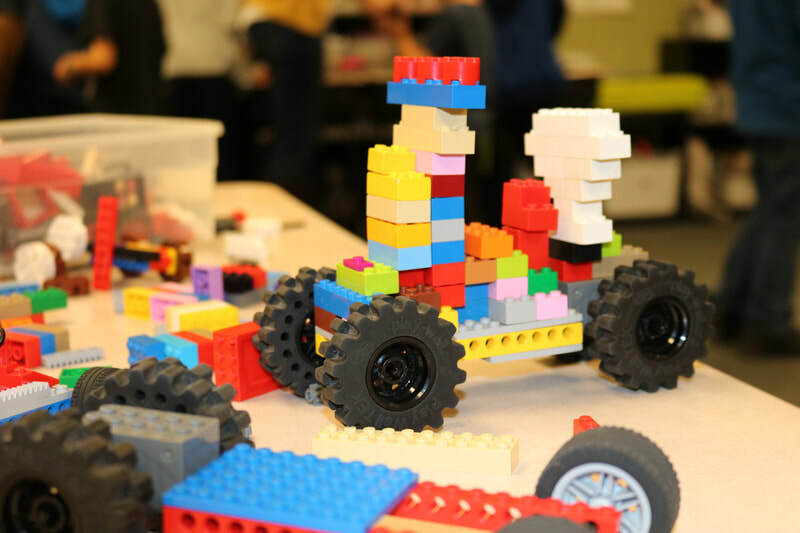 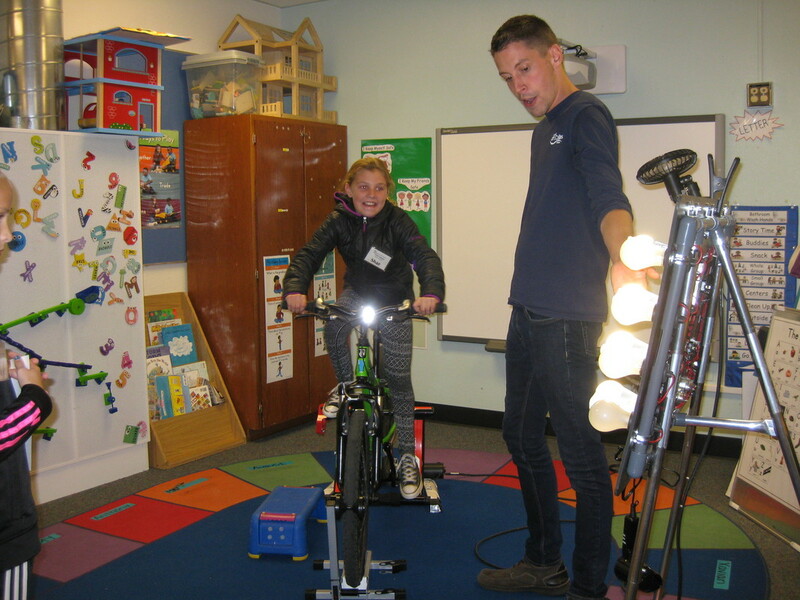 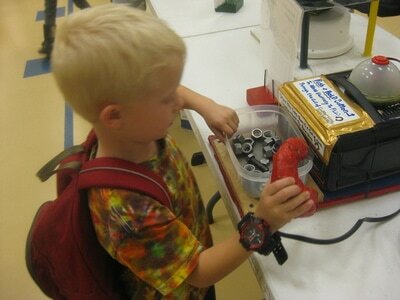 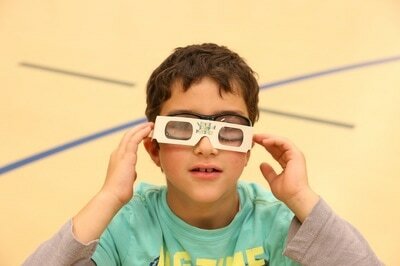 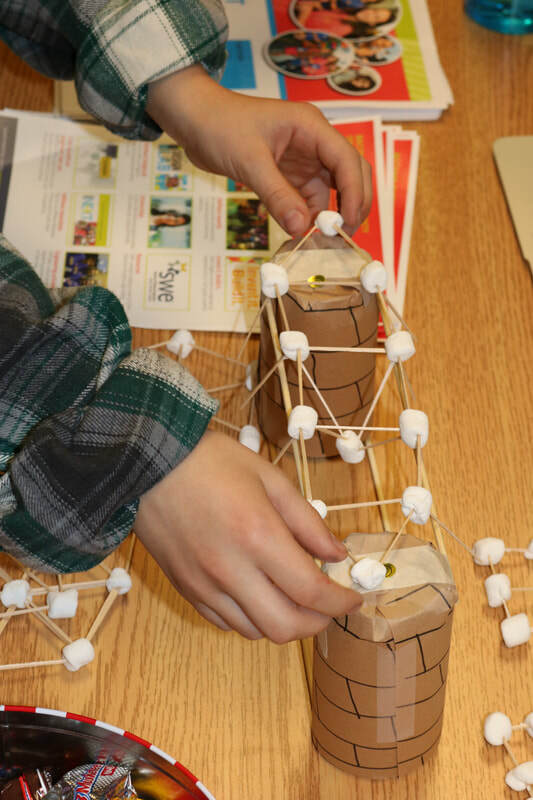 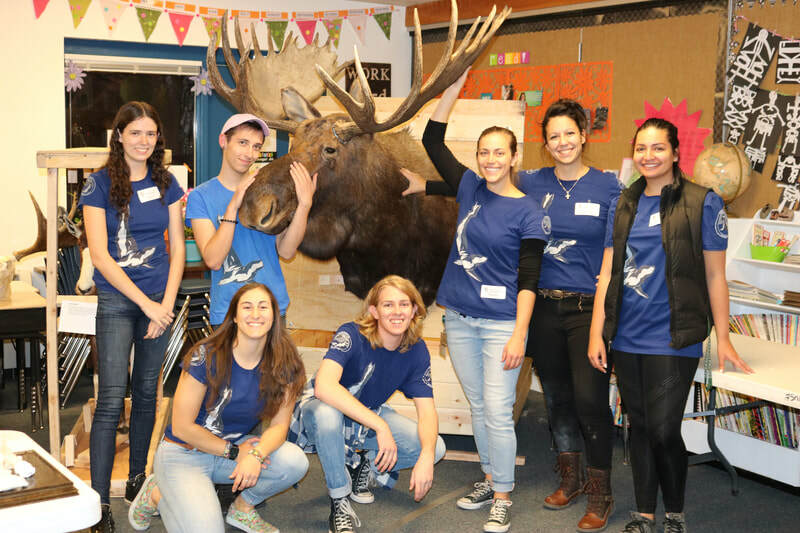 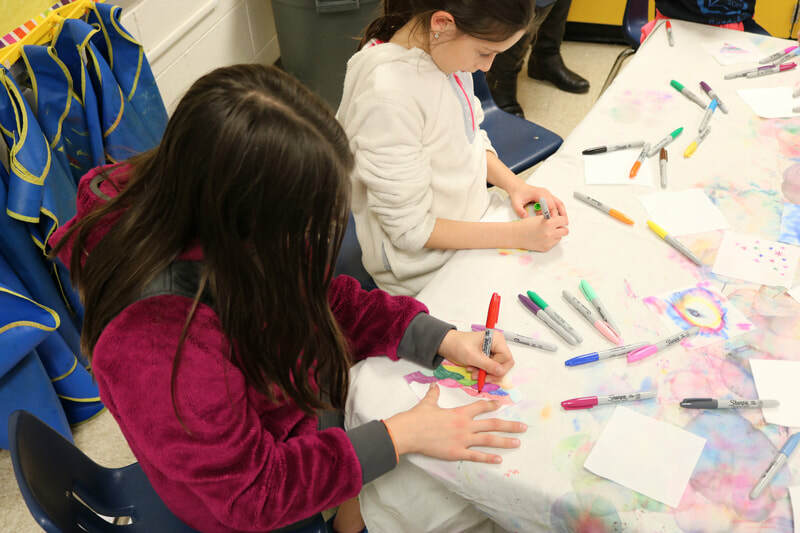 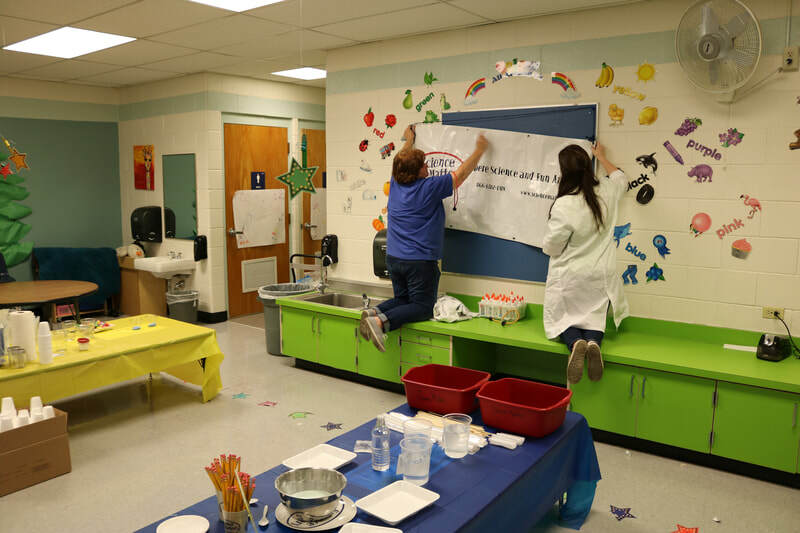 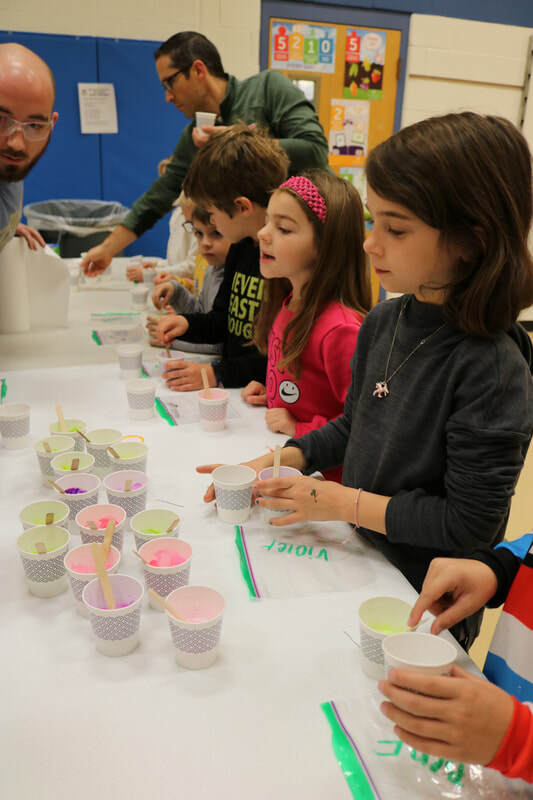 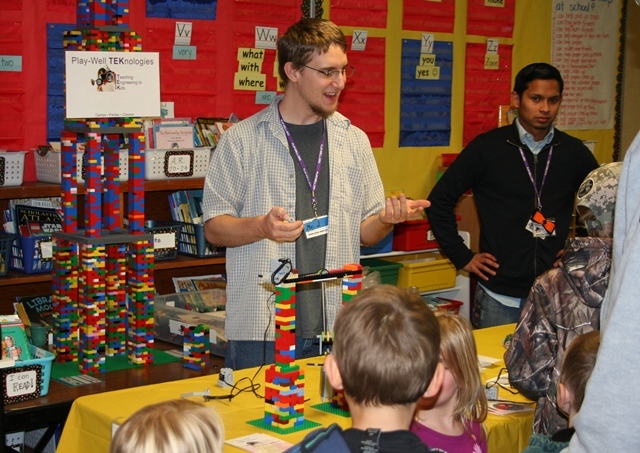 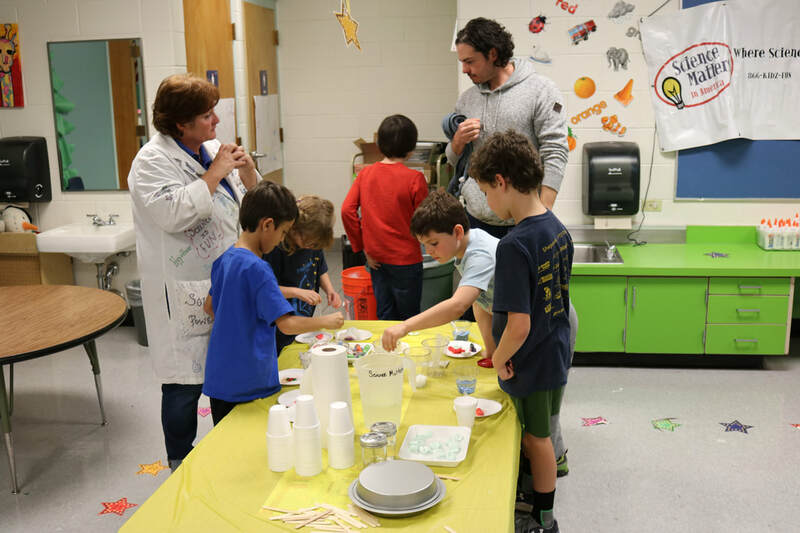 Enjoy a gallery of photos from this year's Family STEM Night! 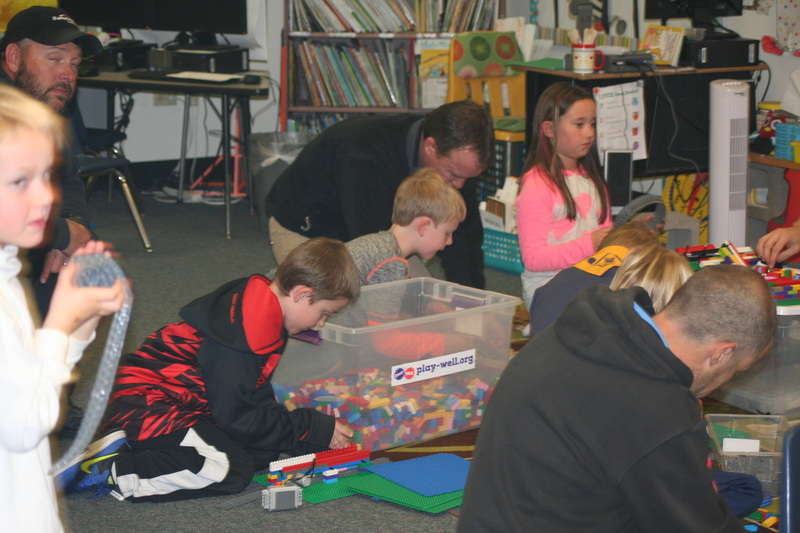 Thanks to PSD Channel 10 for producing our Family STEM Night Video. 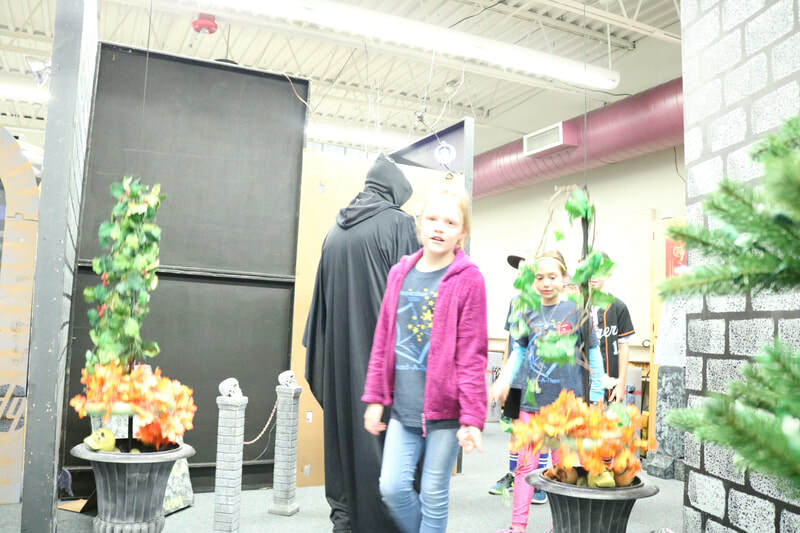 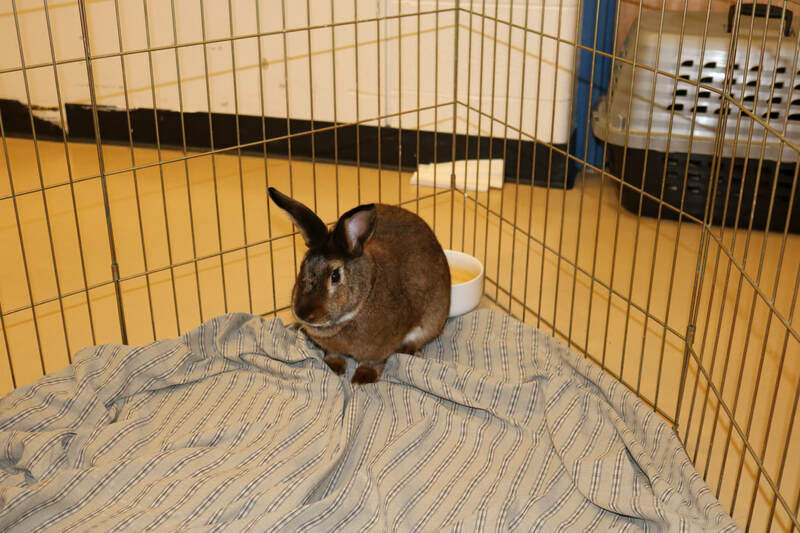 Click the link to view. 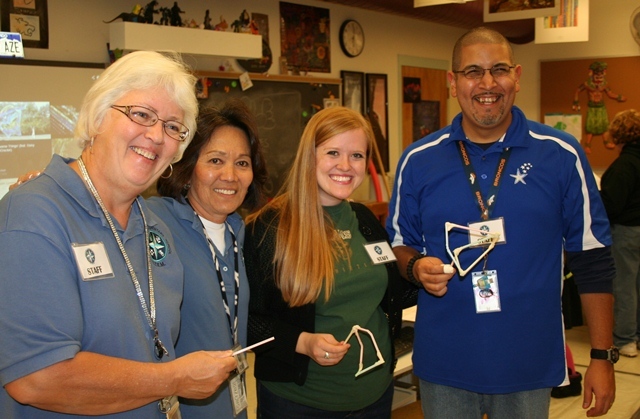 We appreciate all of our 2015 STEM Night Presenters! 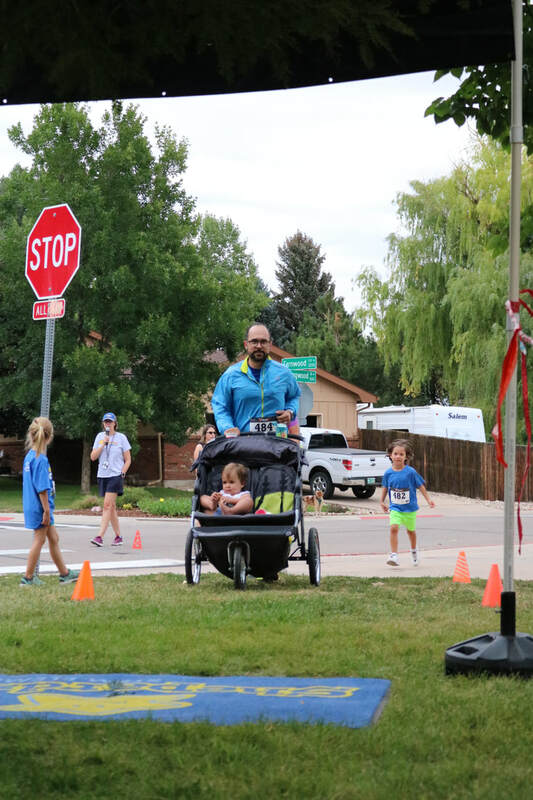 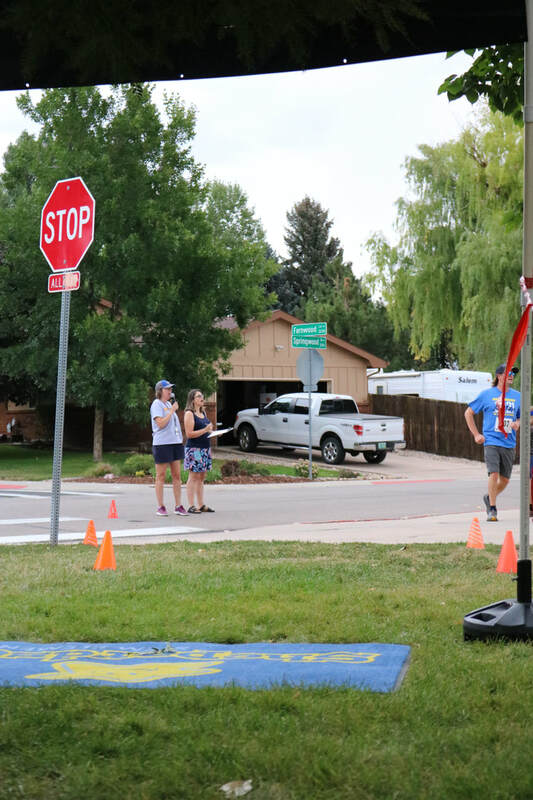 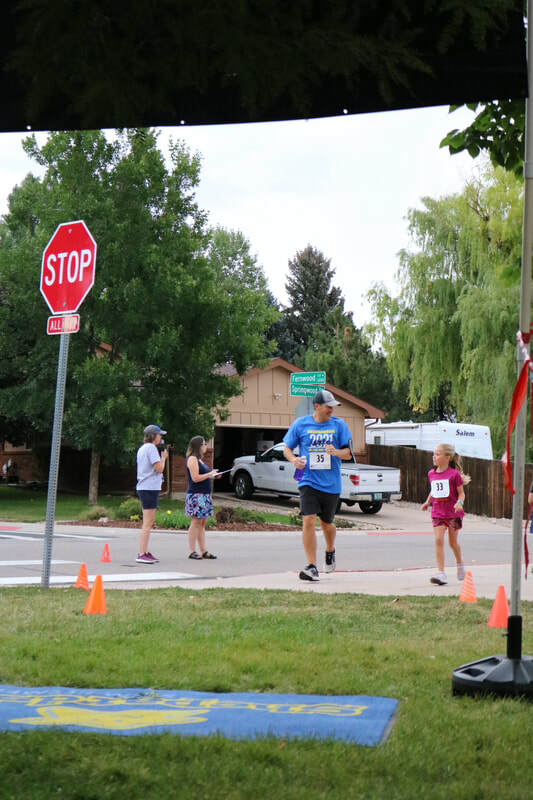 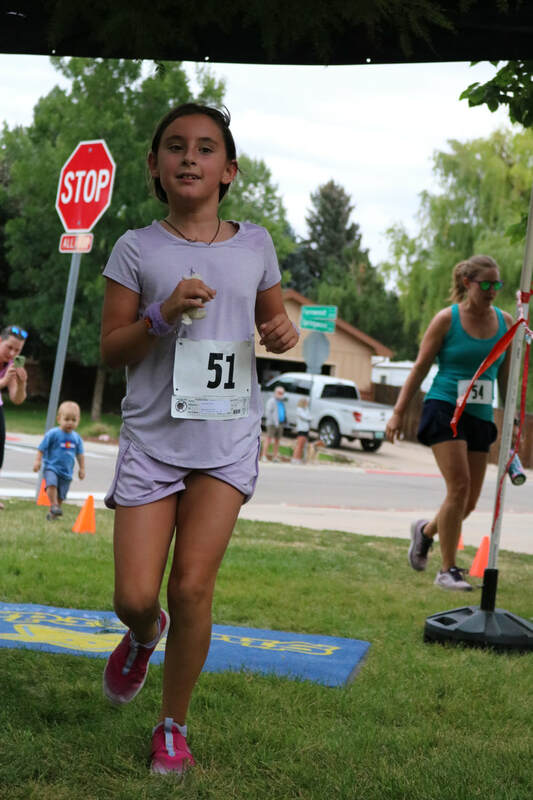 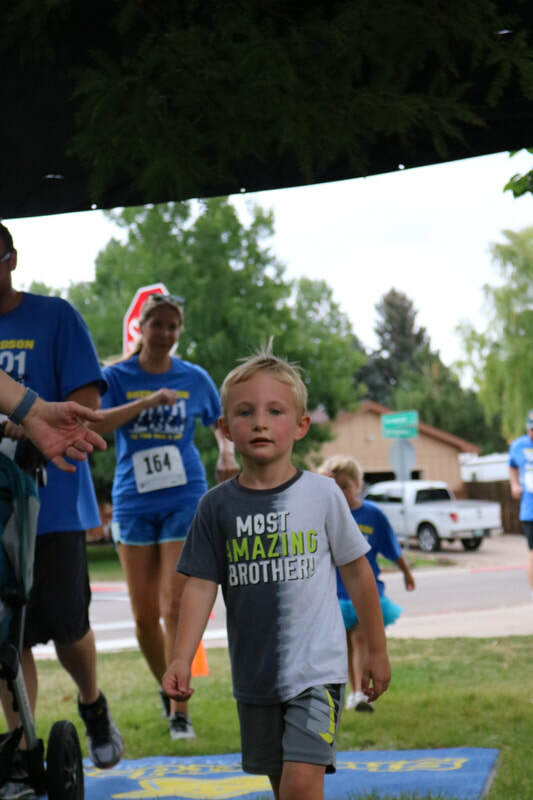 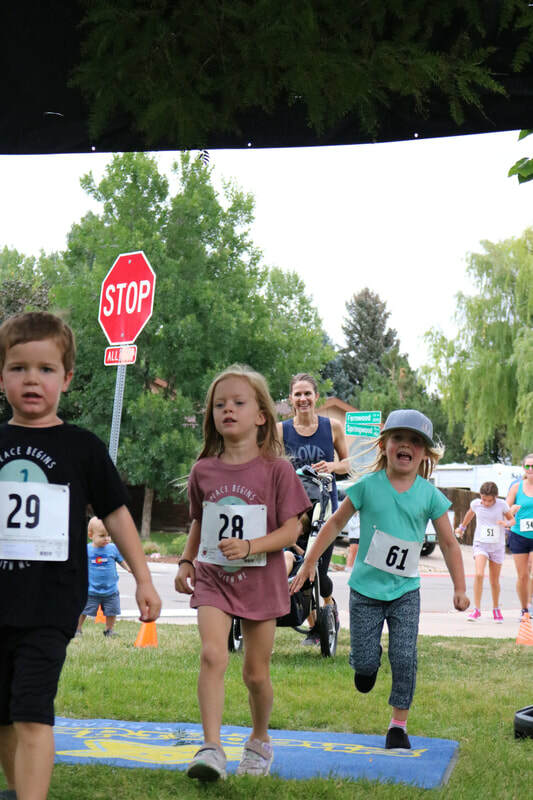 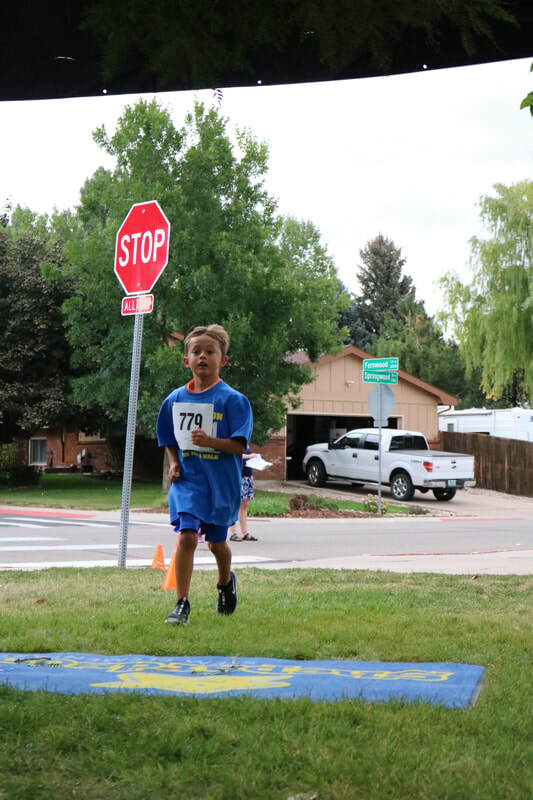 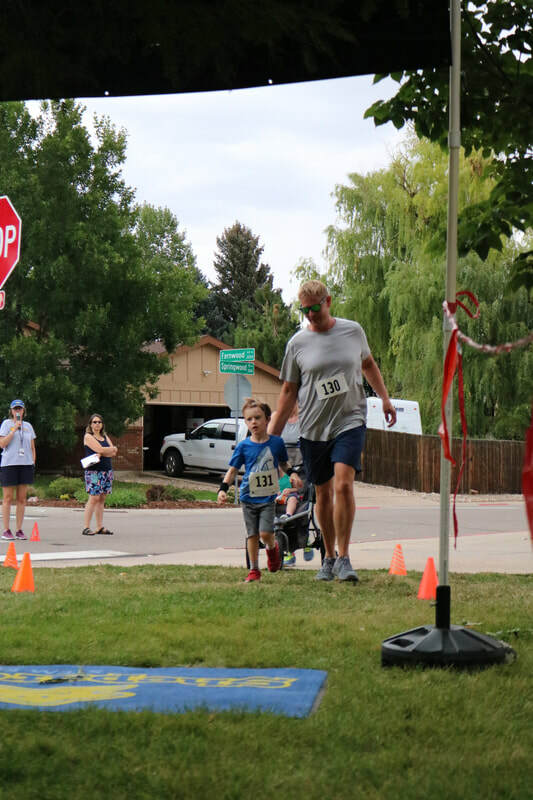 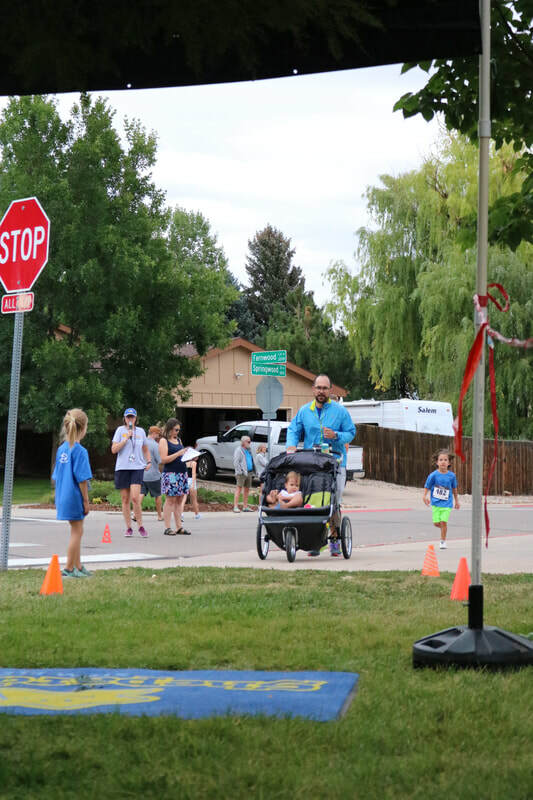 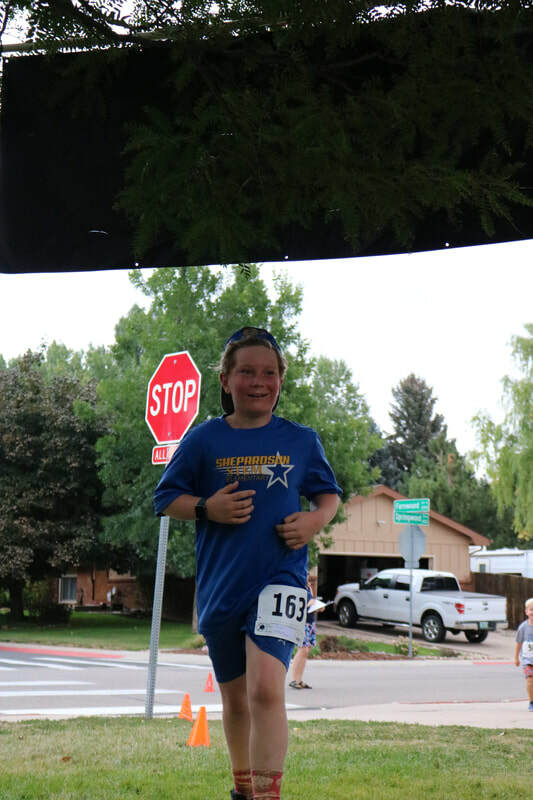 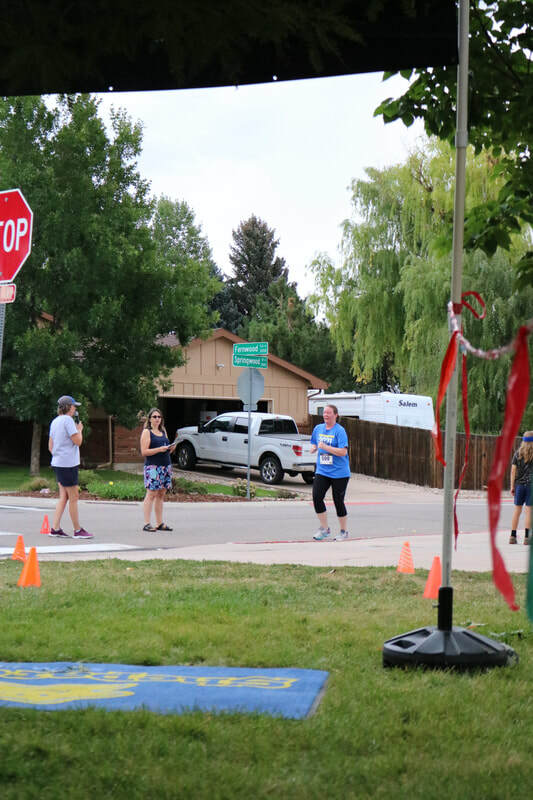 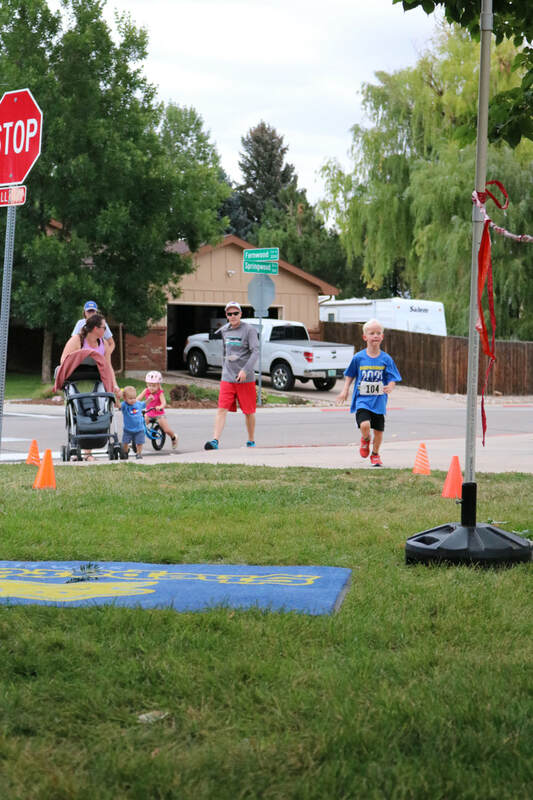 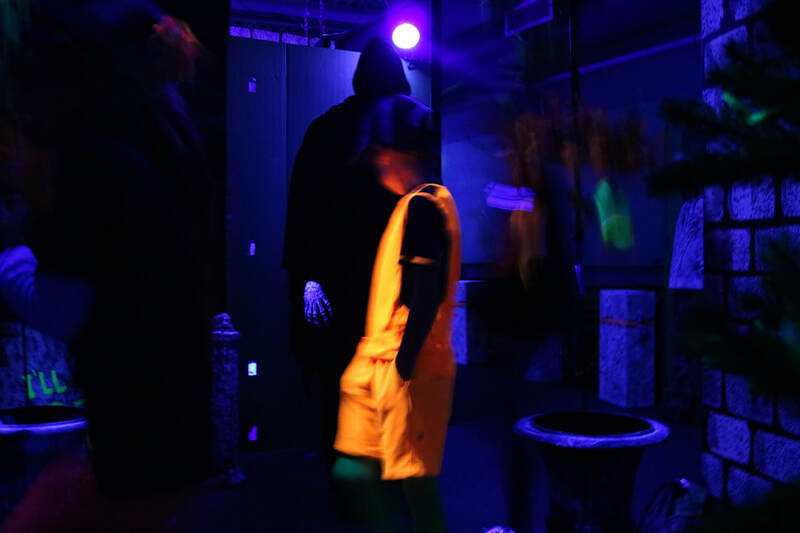 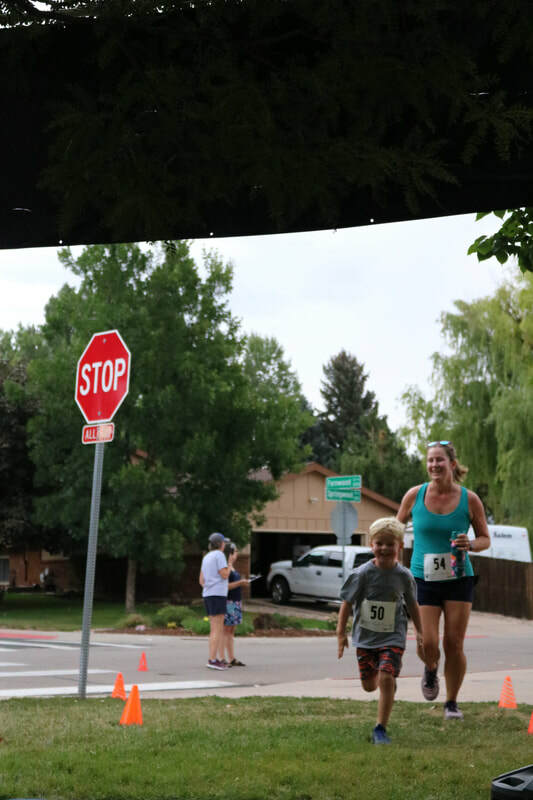 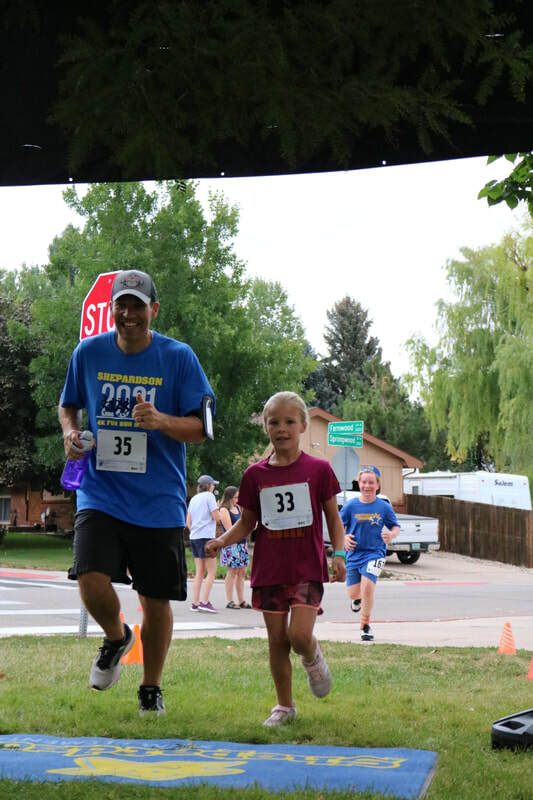 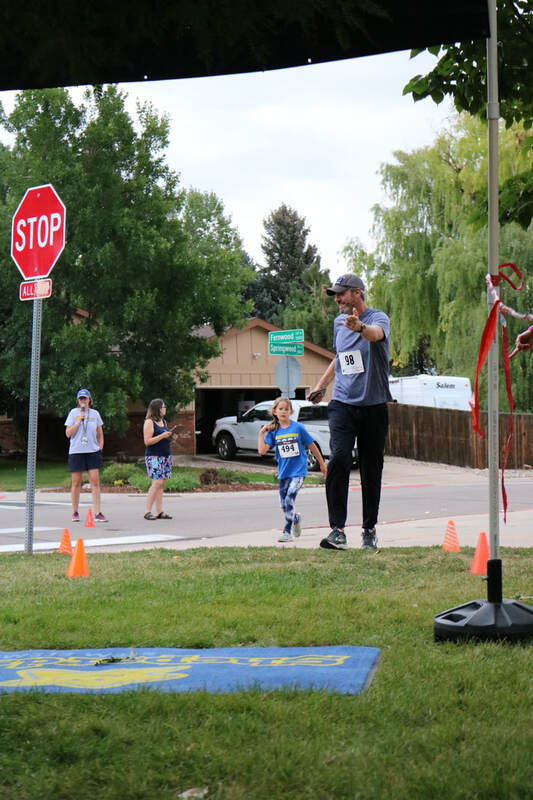 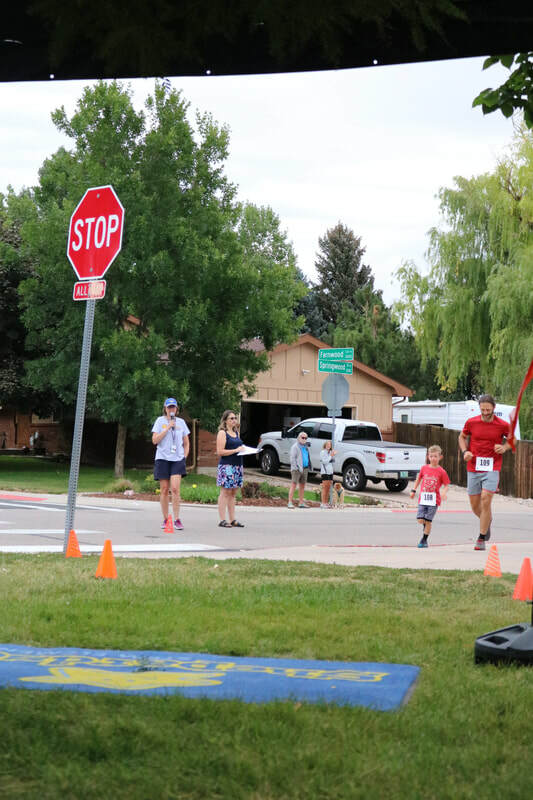 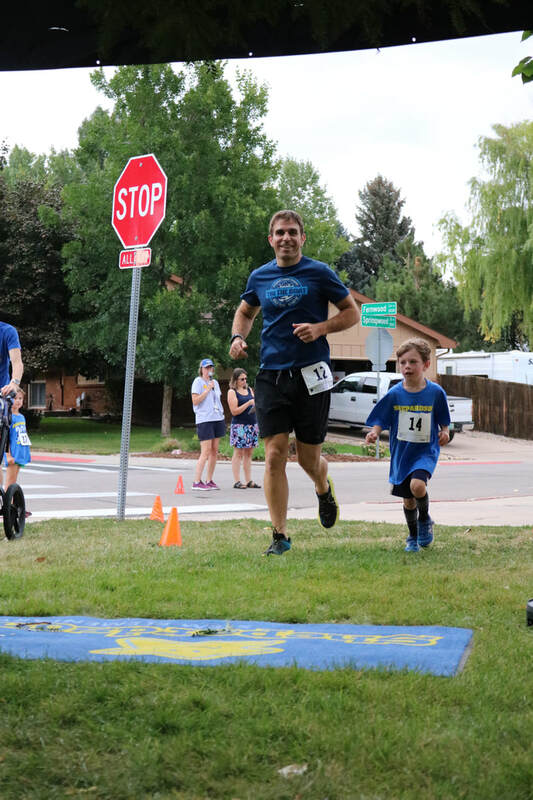 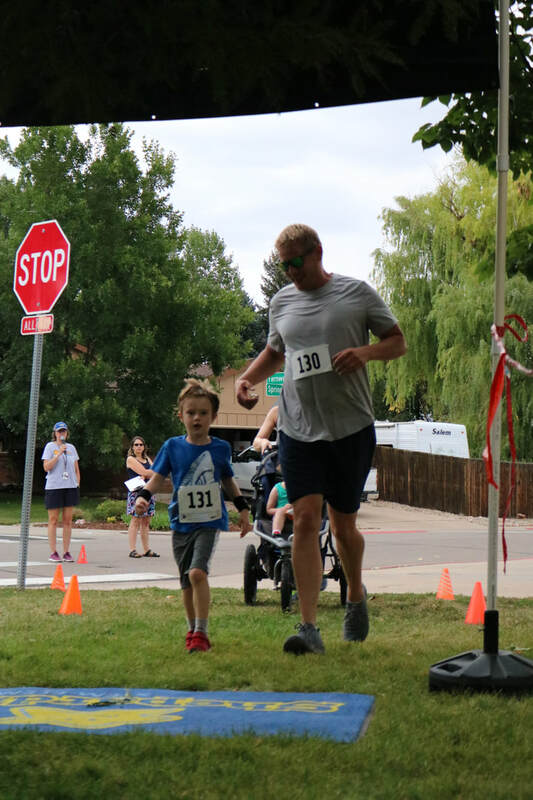 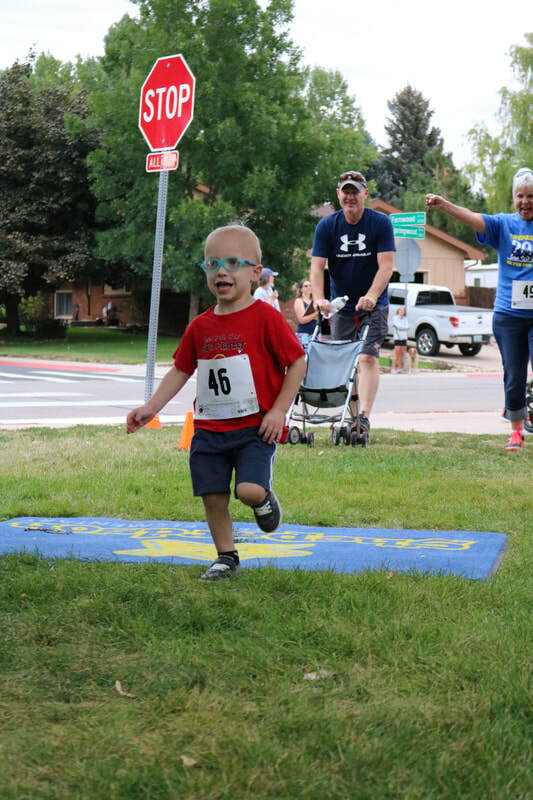 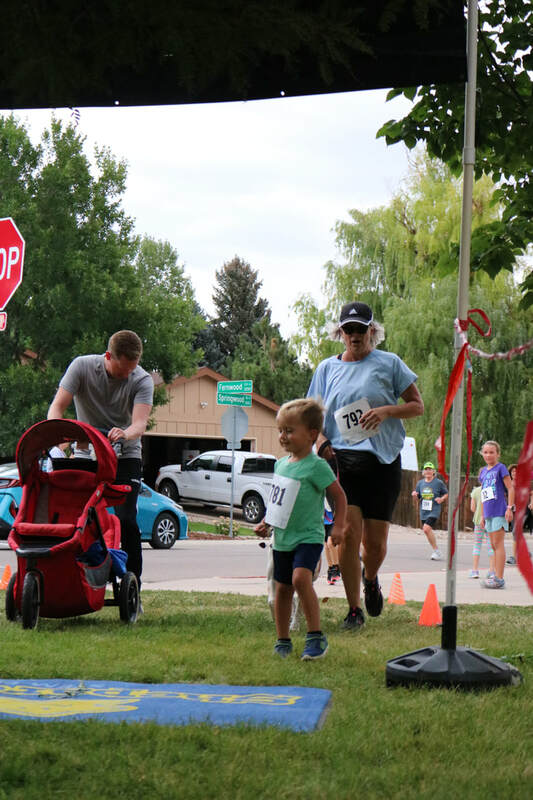 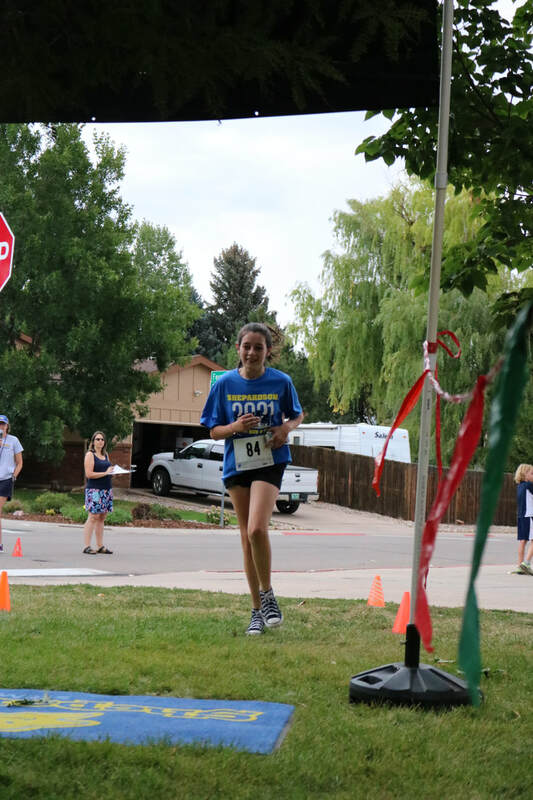 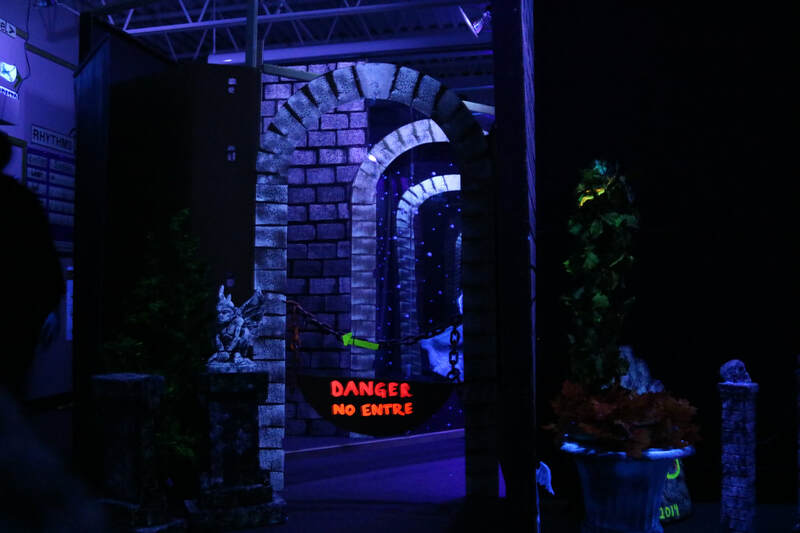 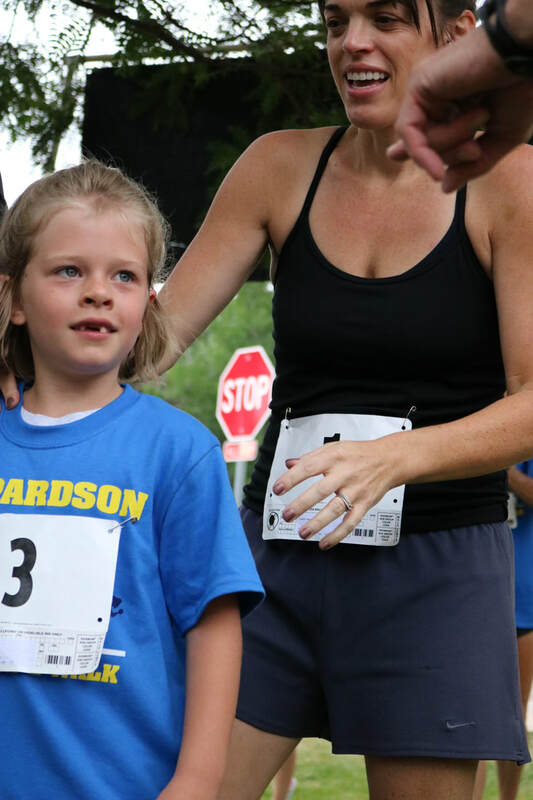 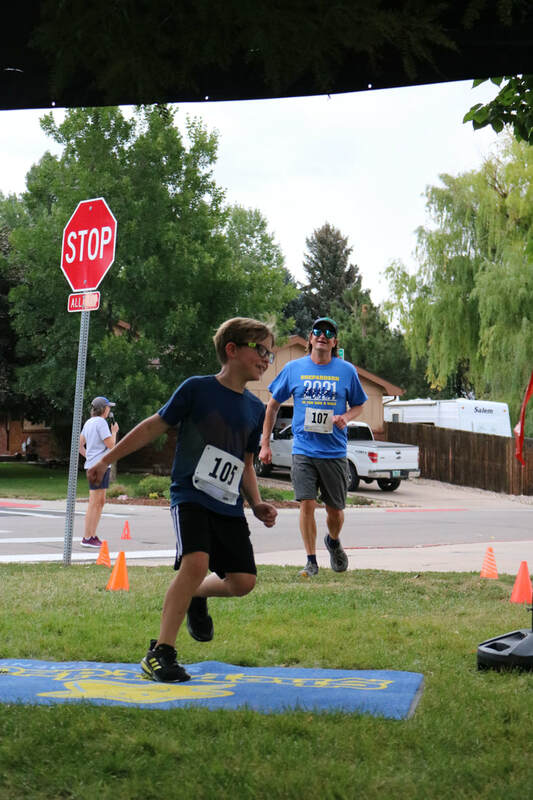 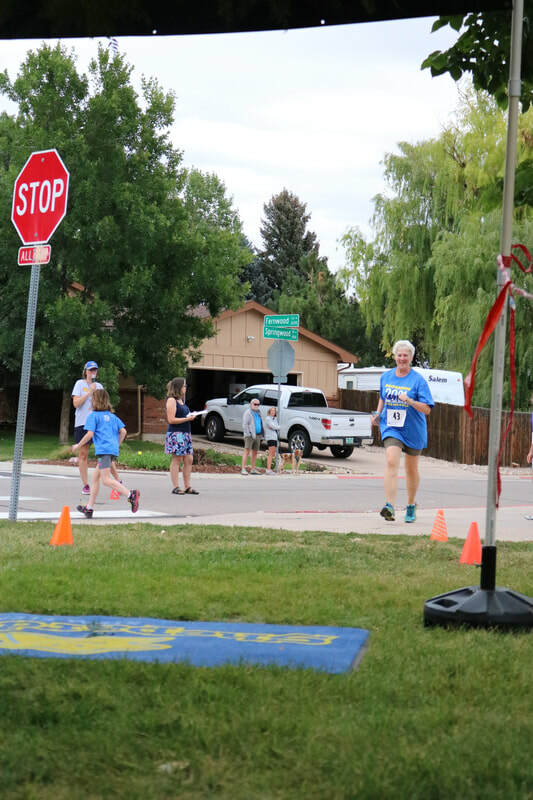 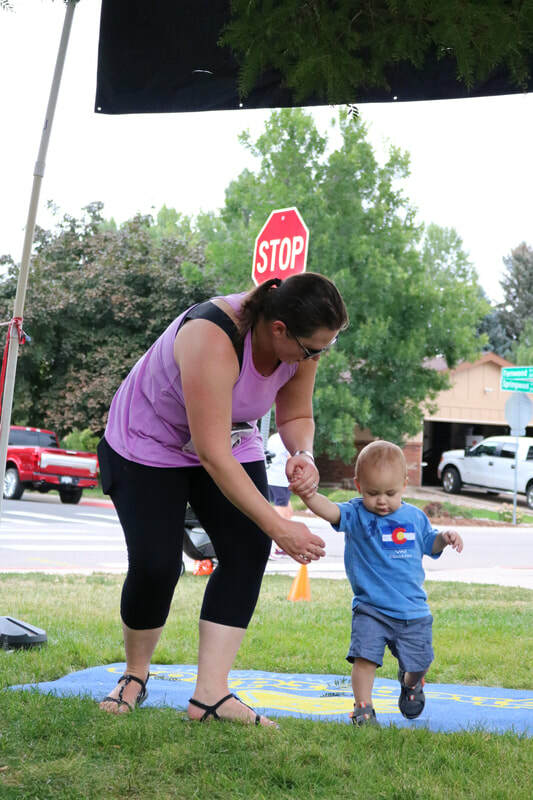 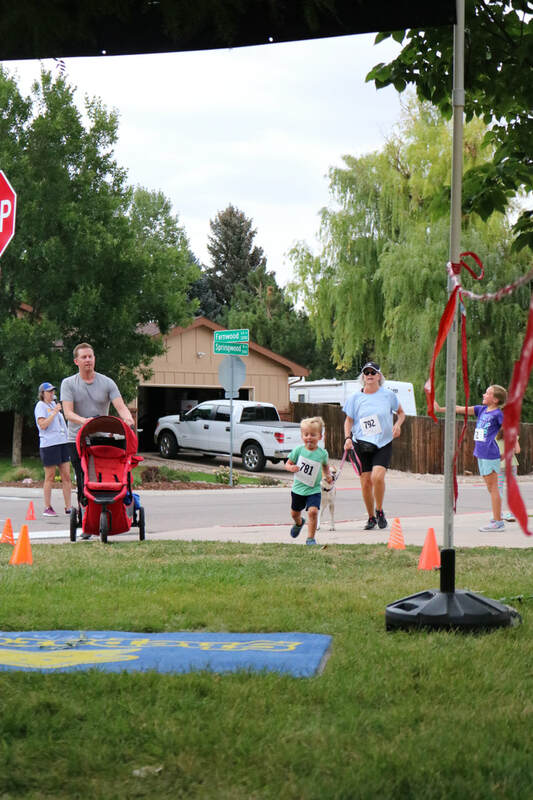 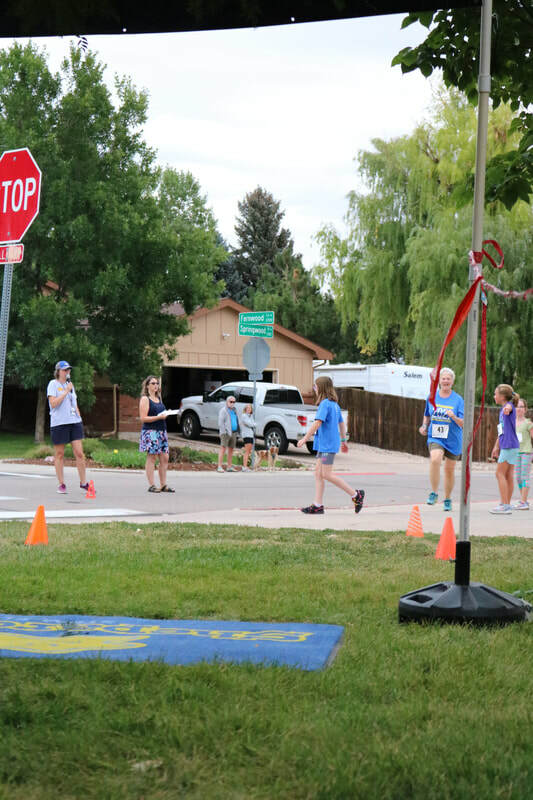 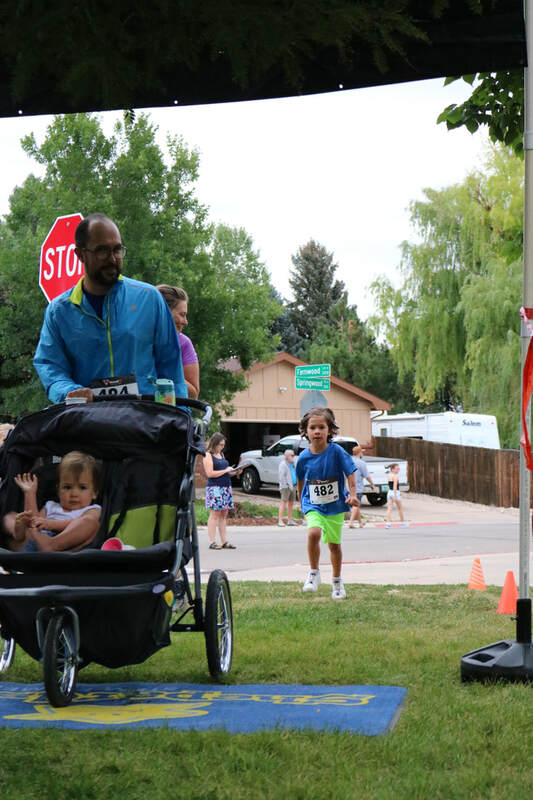 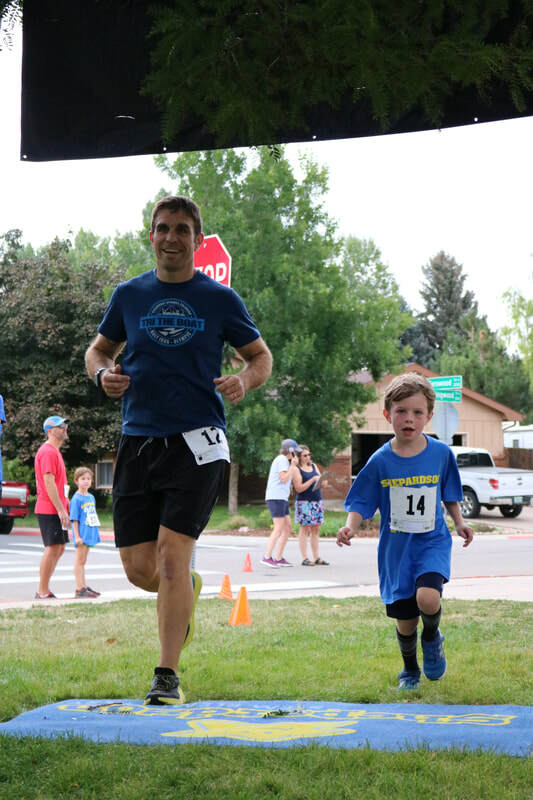 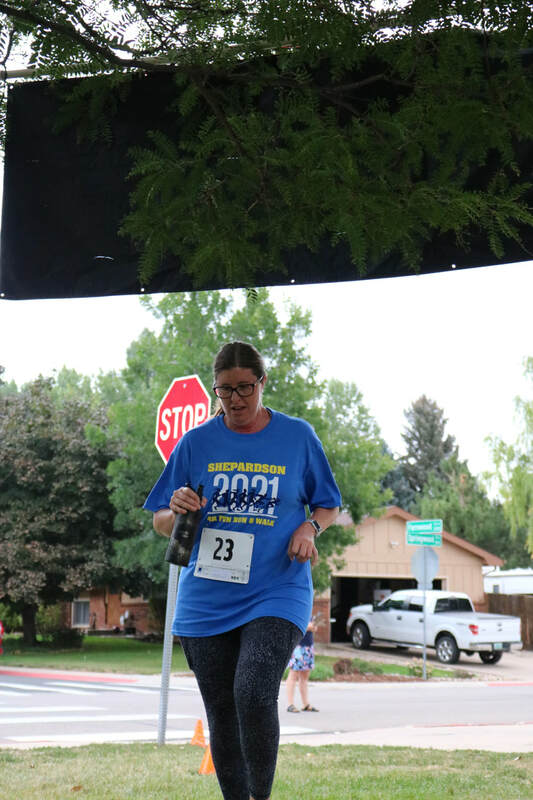 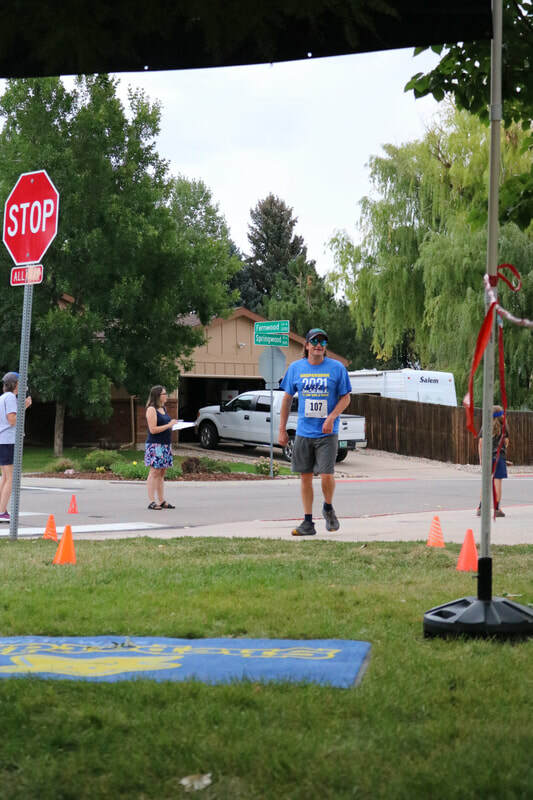 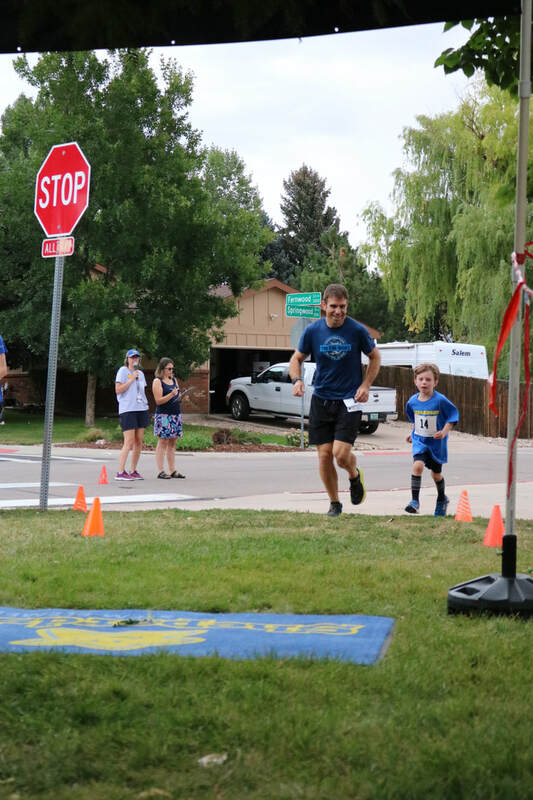 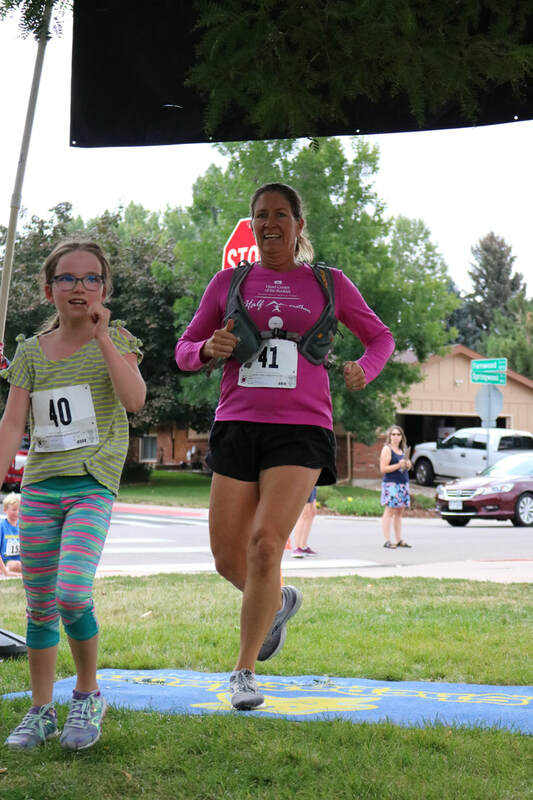 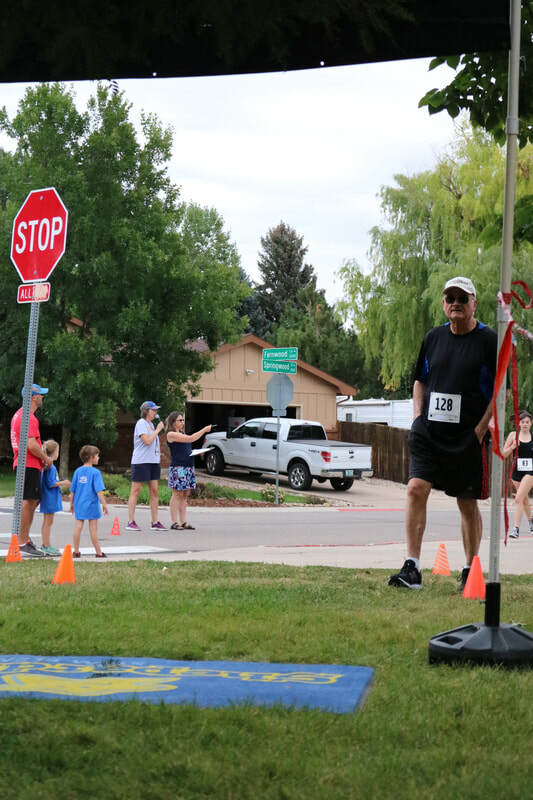 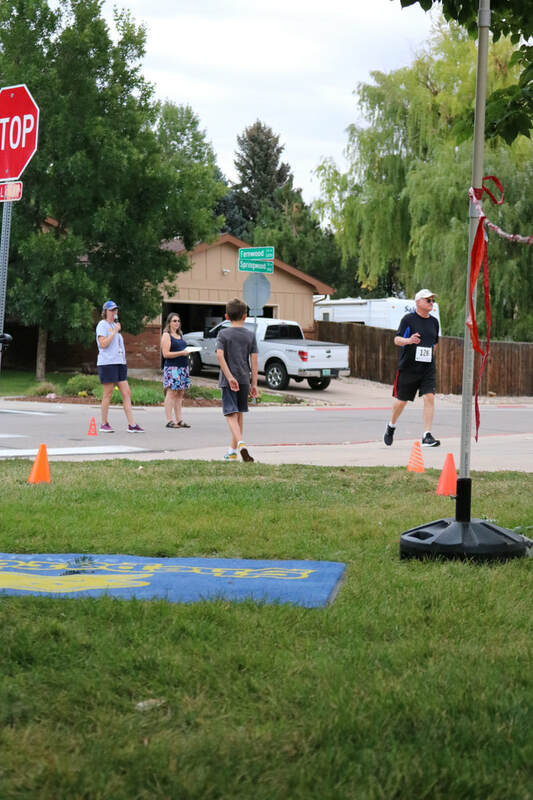 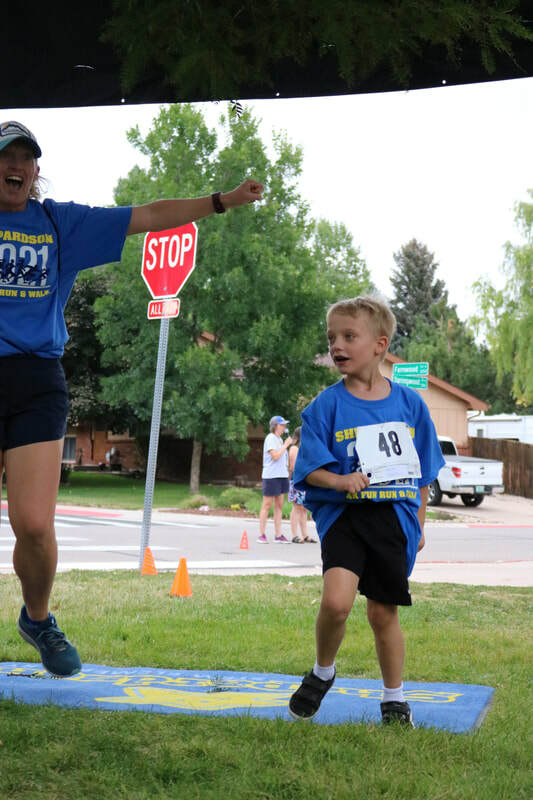 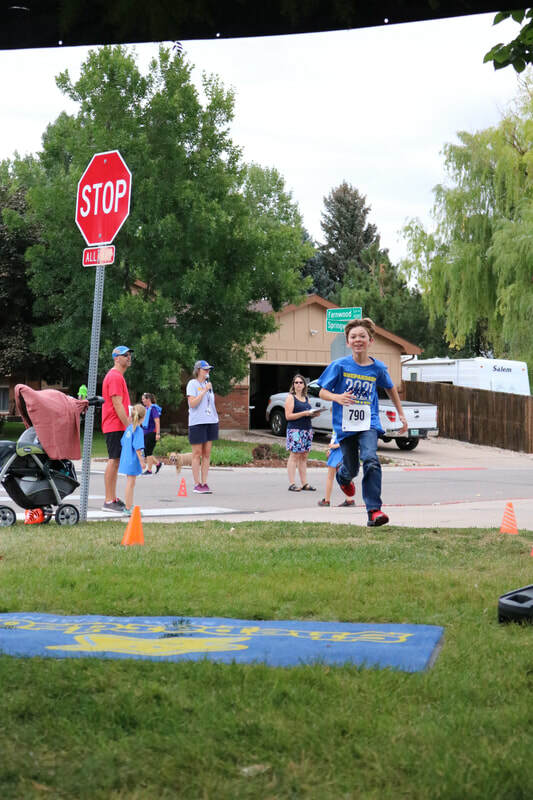 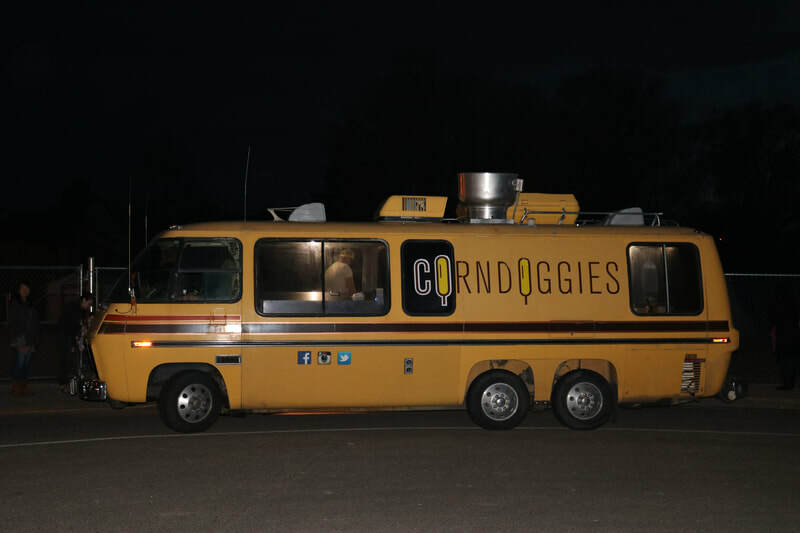 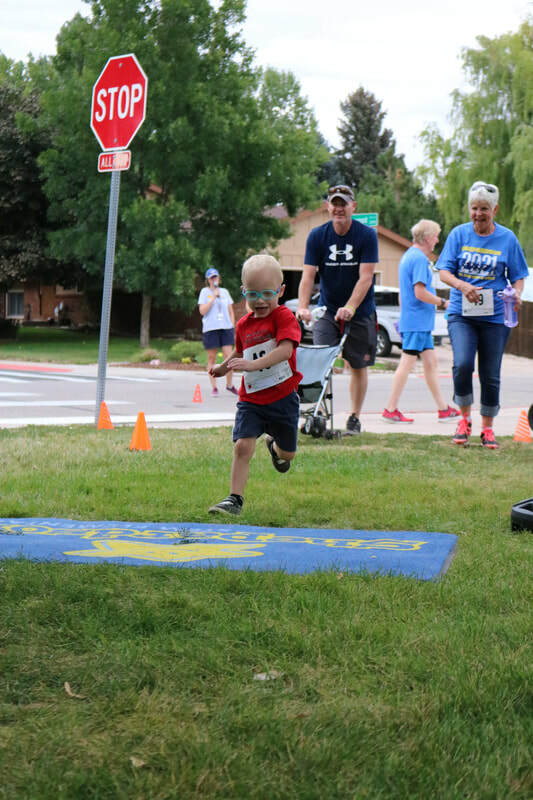 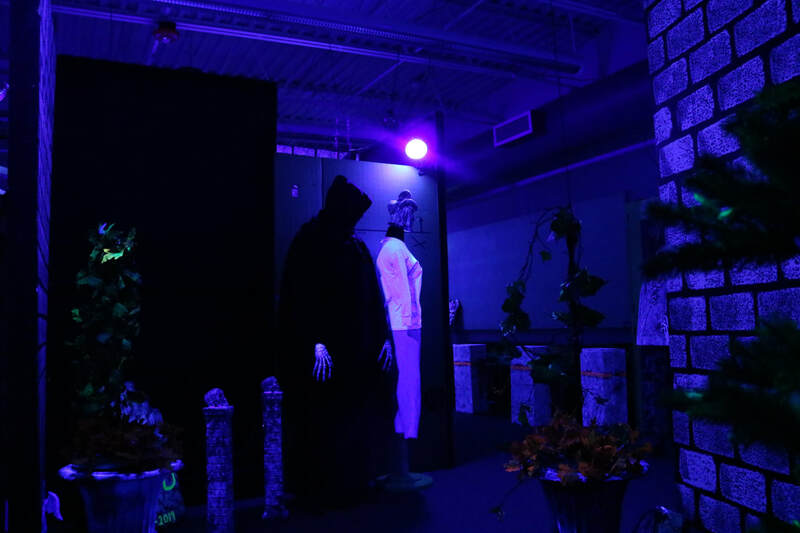 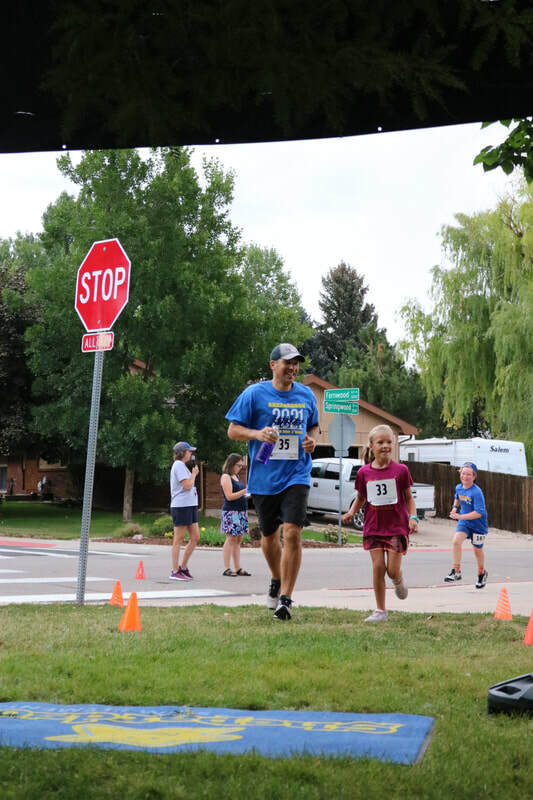 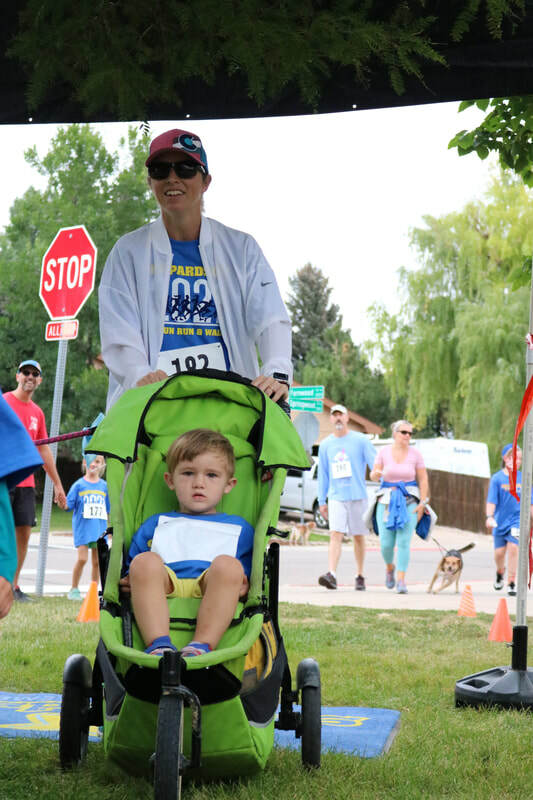 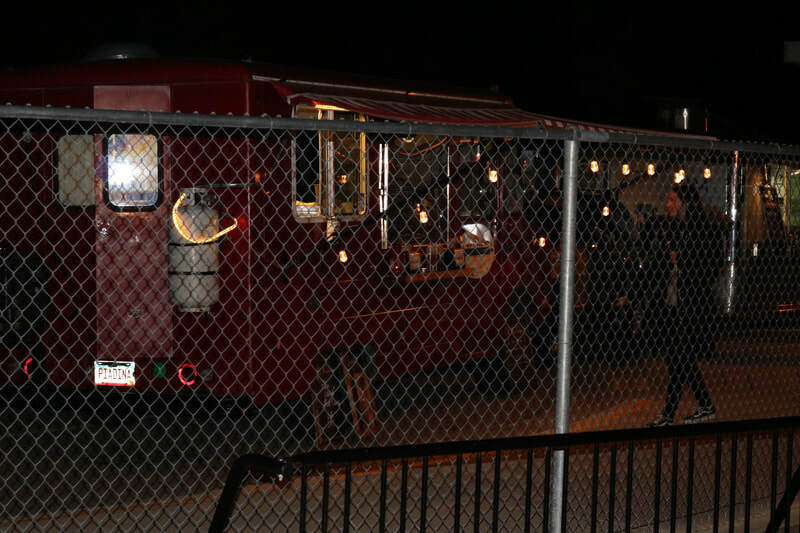 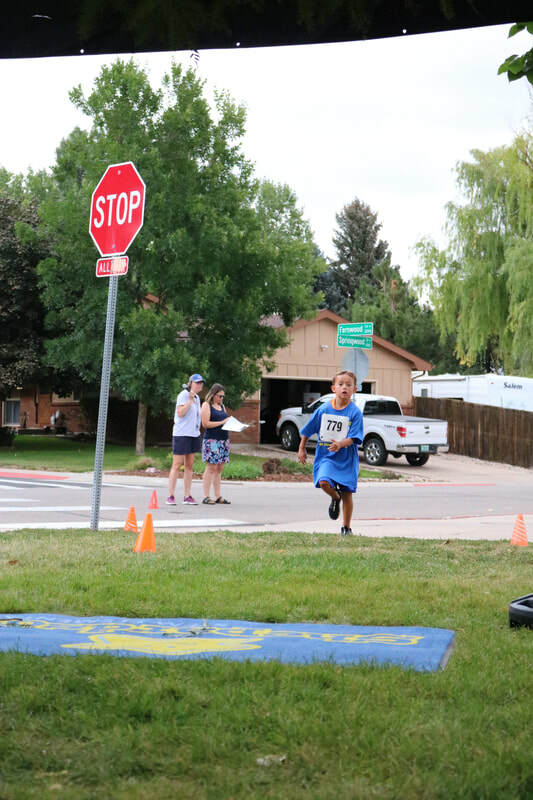 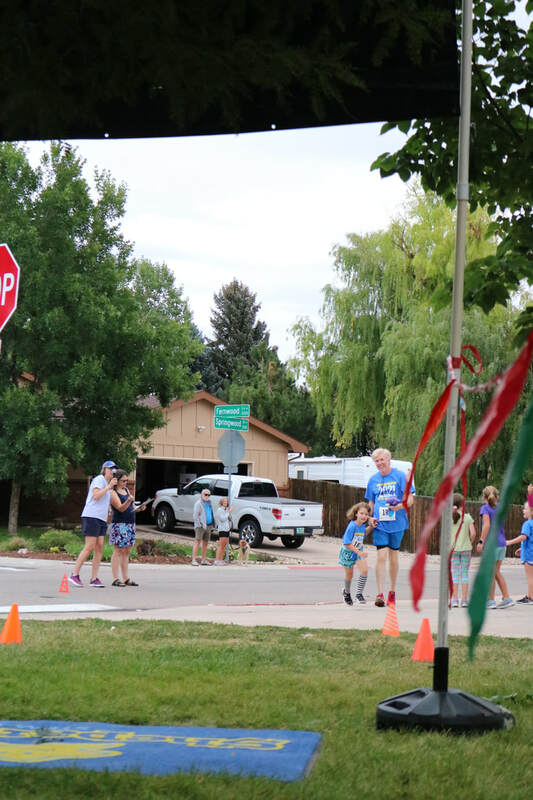 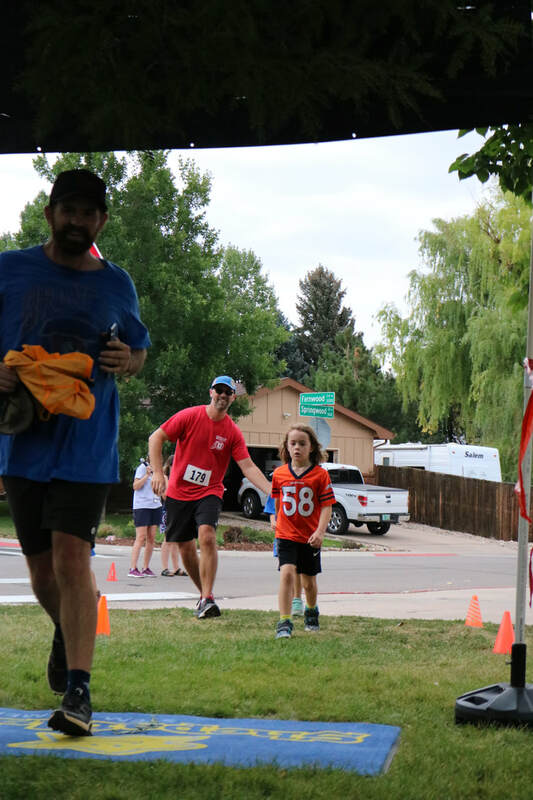 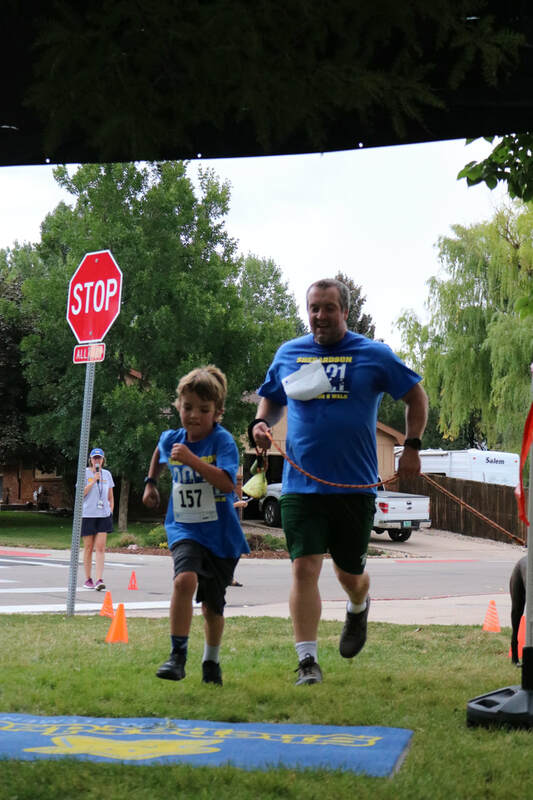 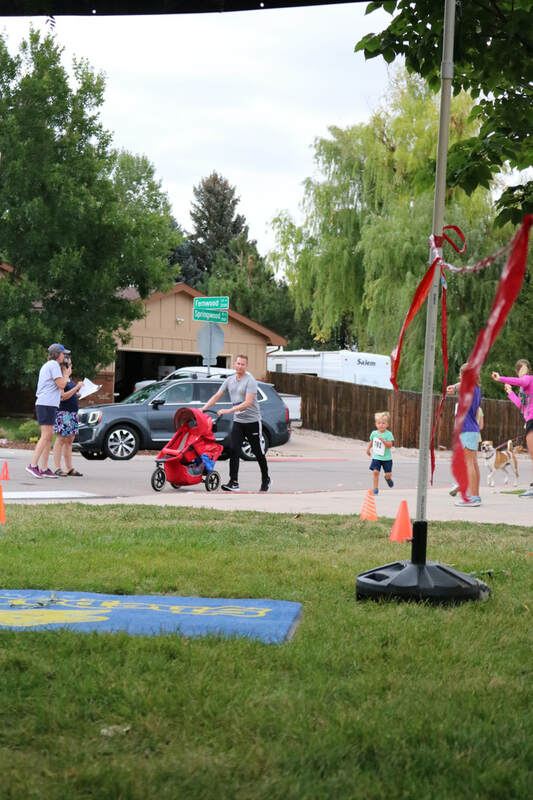 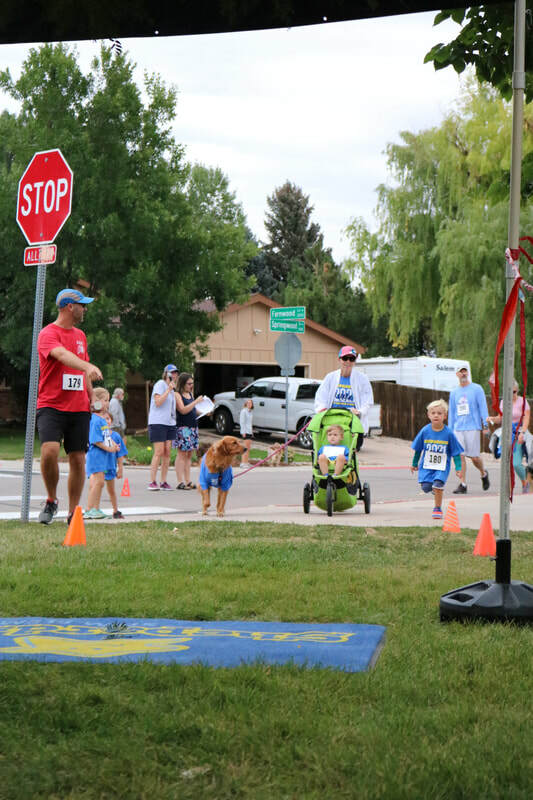 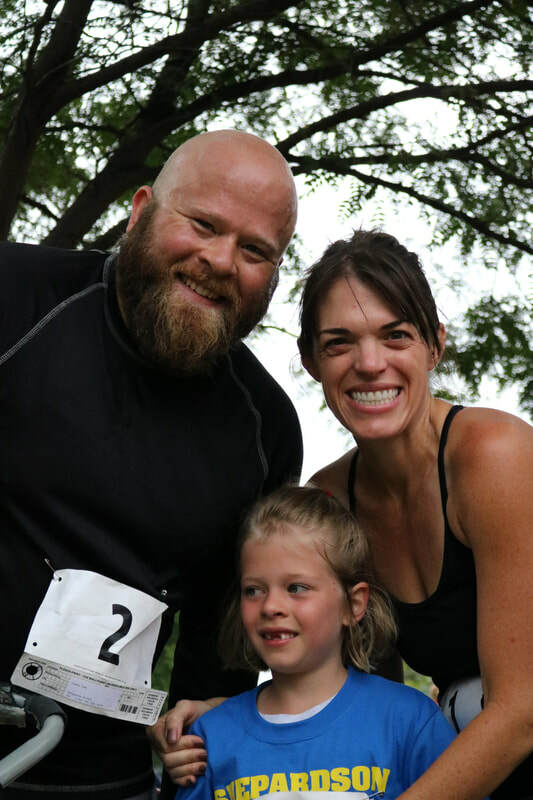 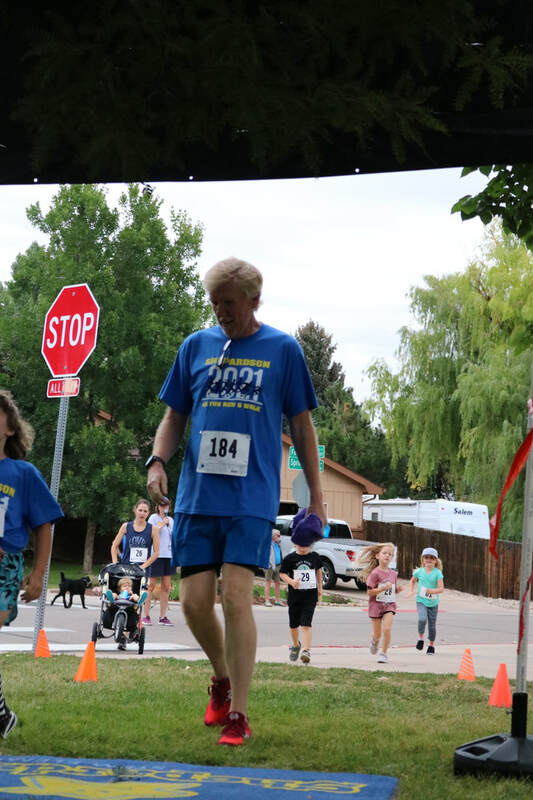 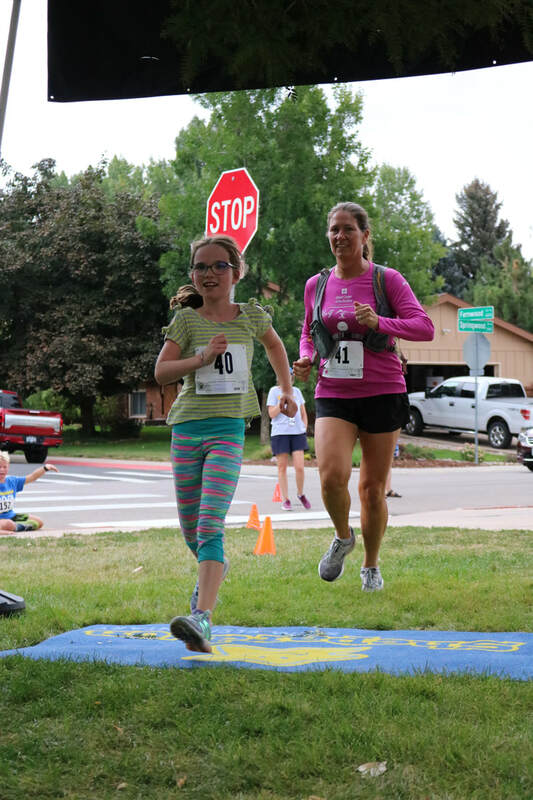 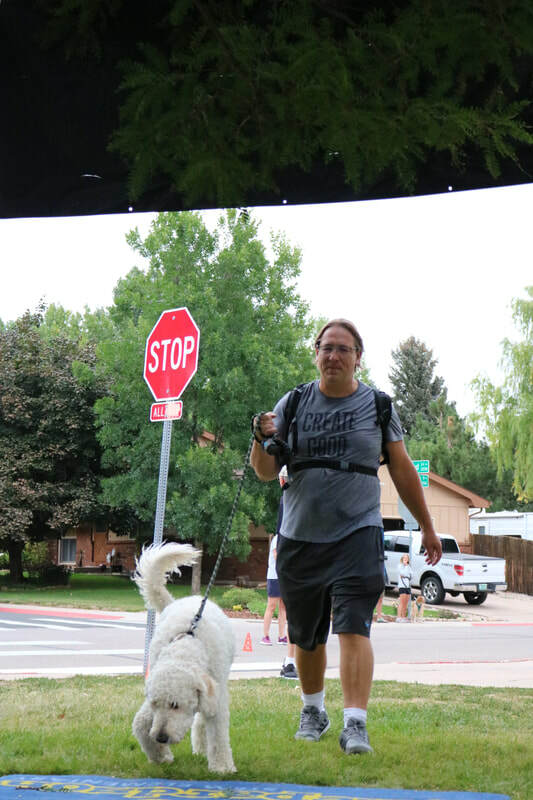 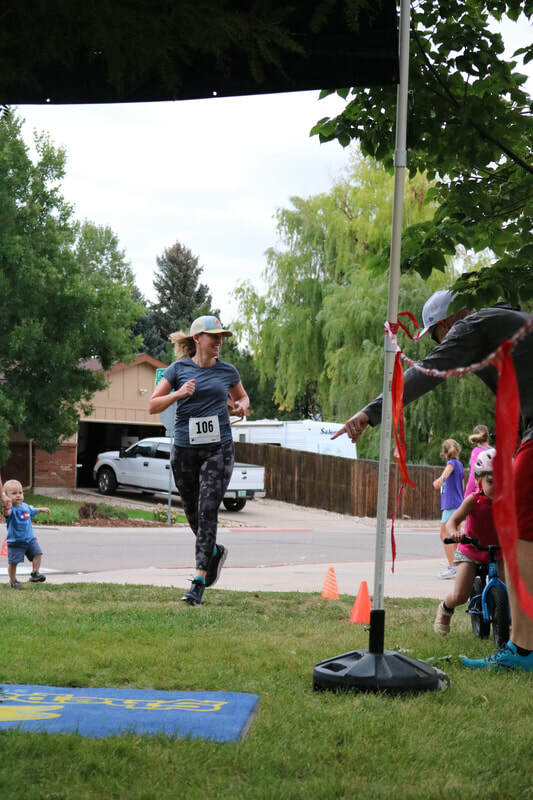 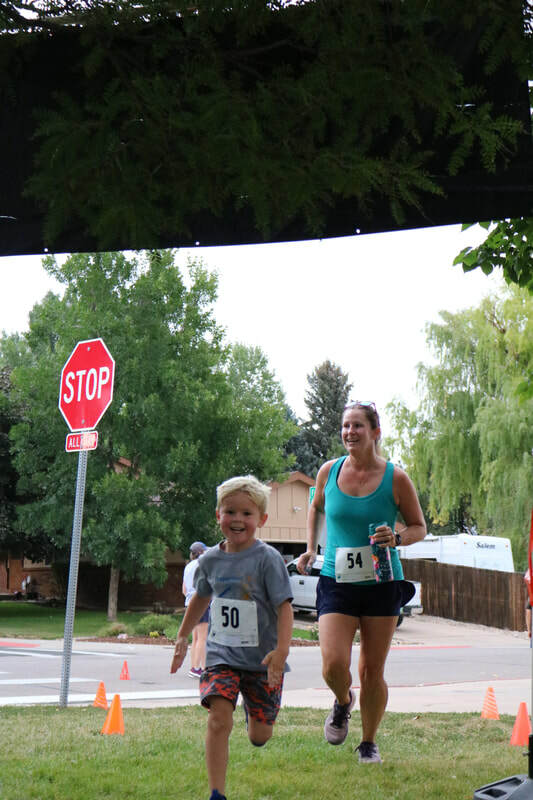 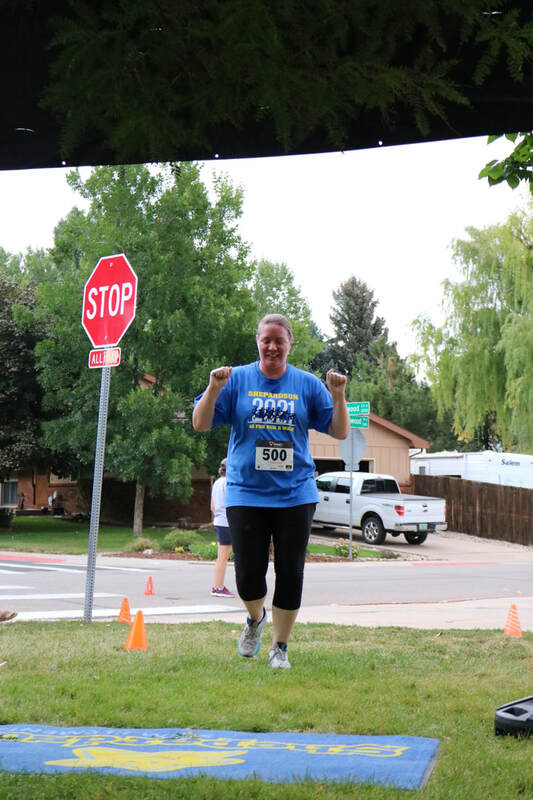 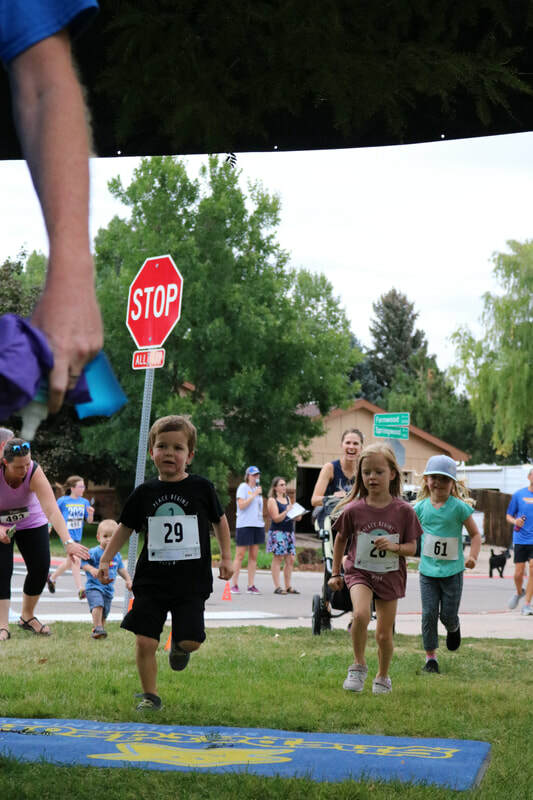 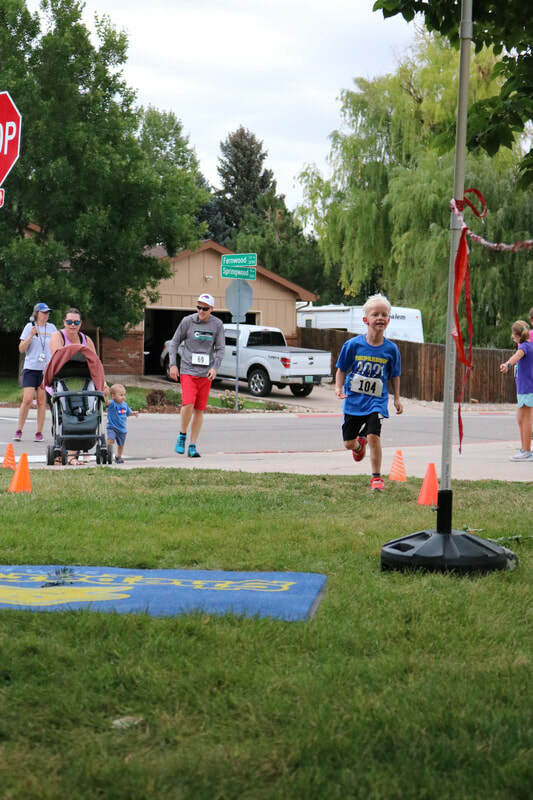 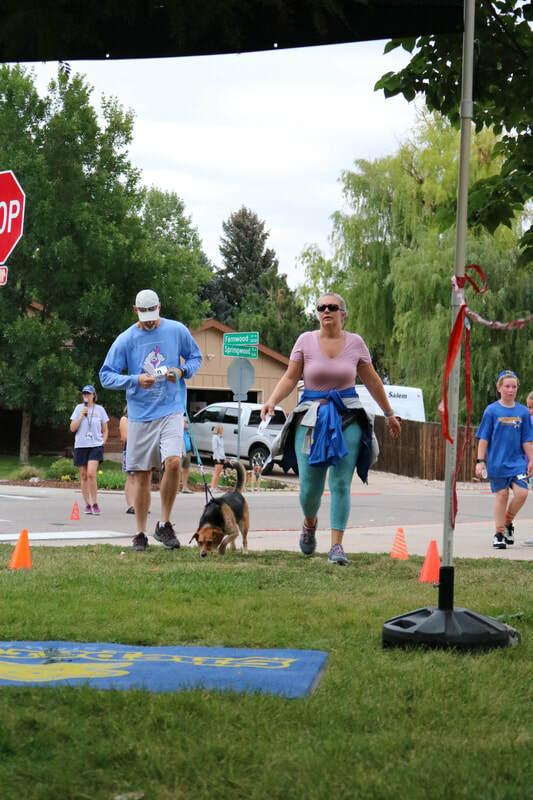 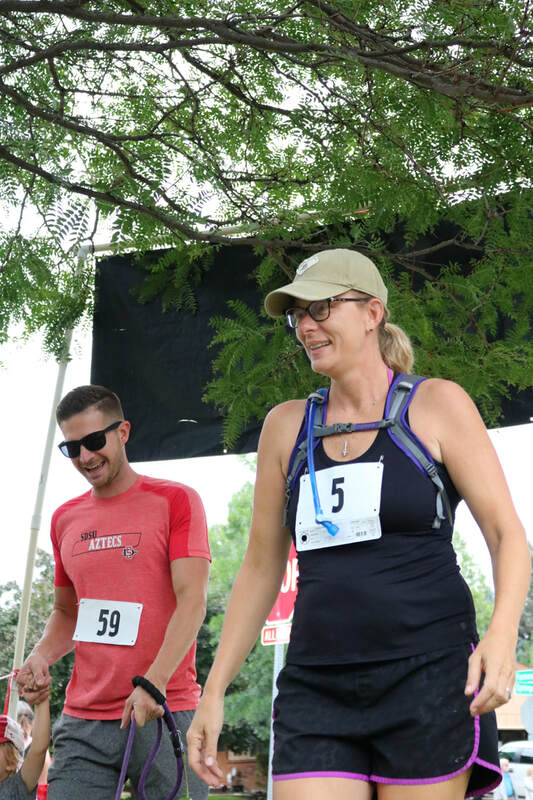 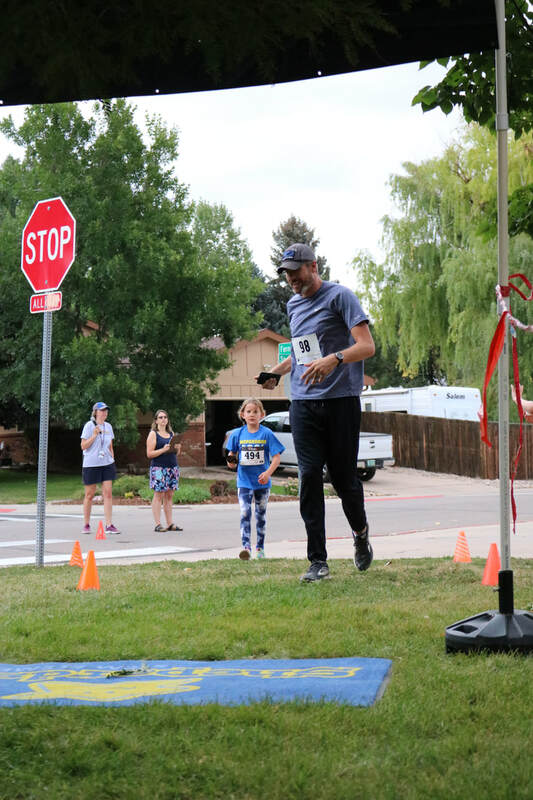 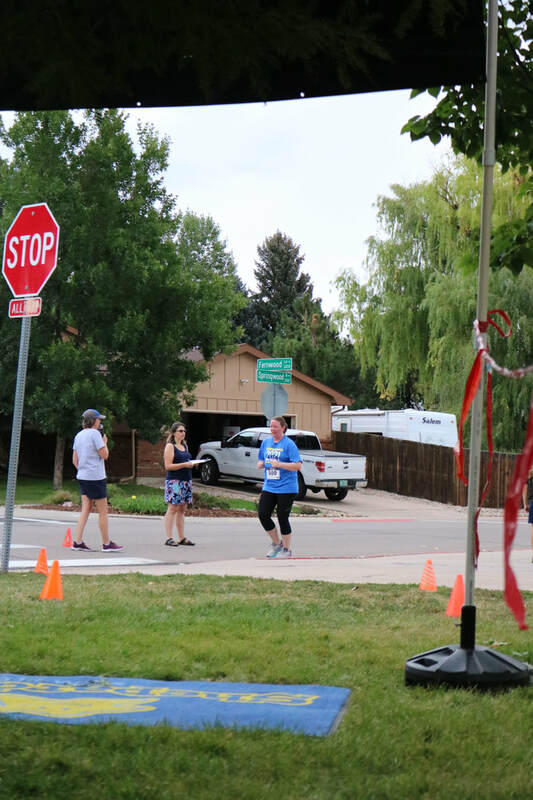 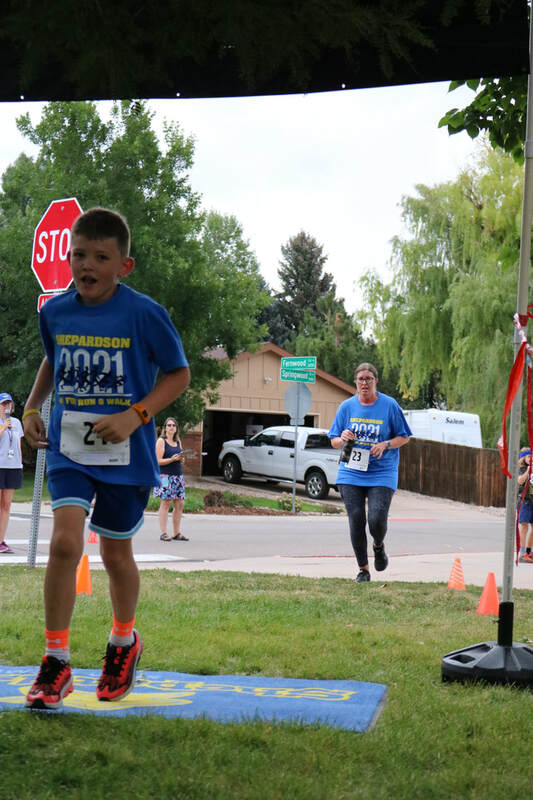 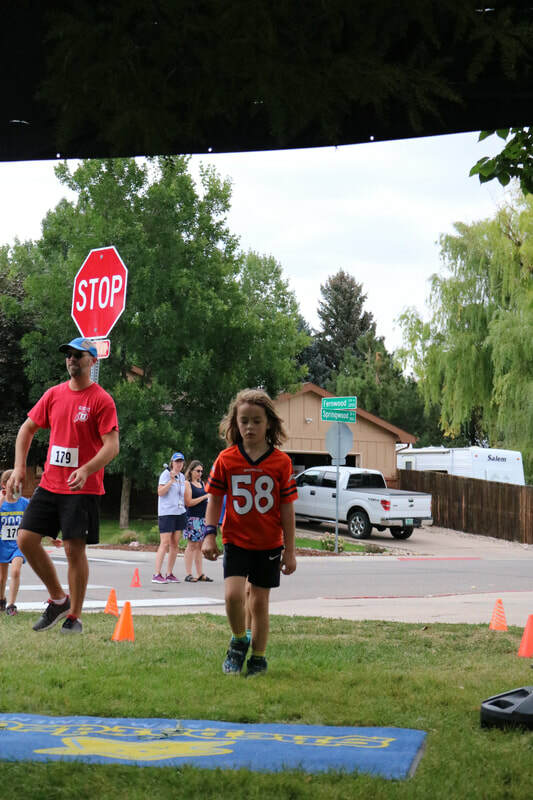 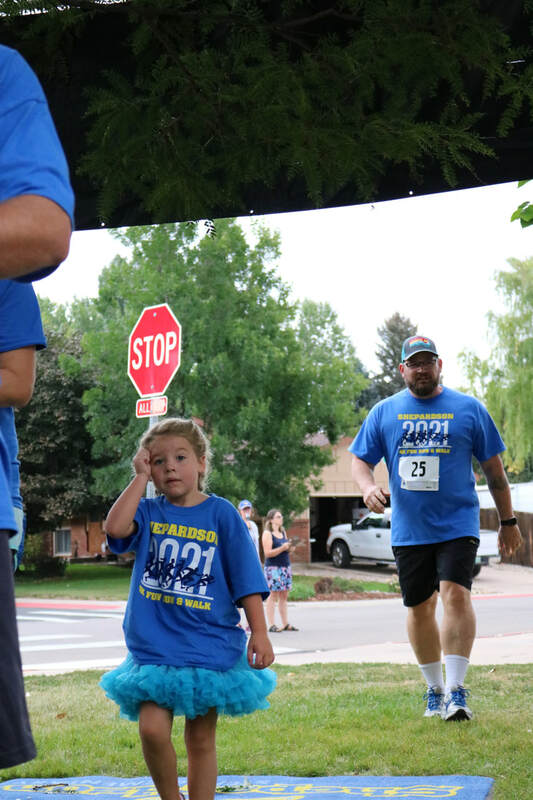 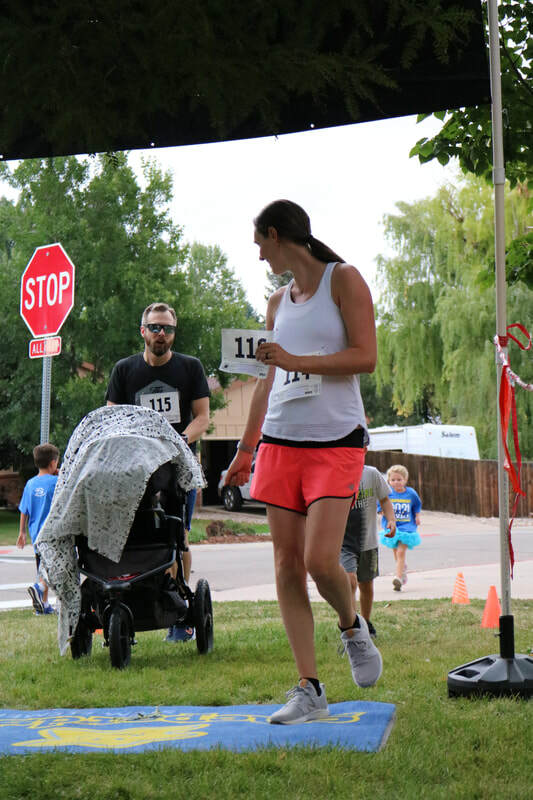 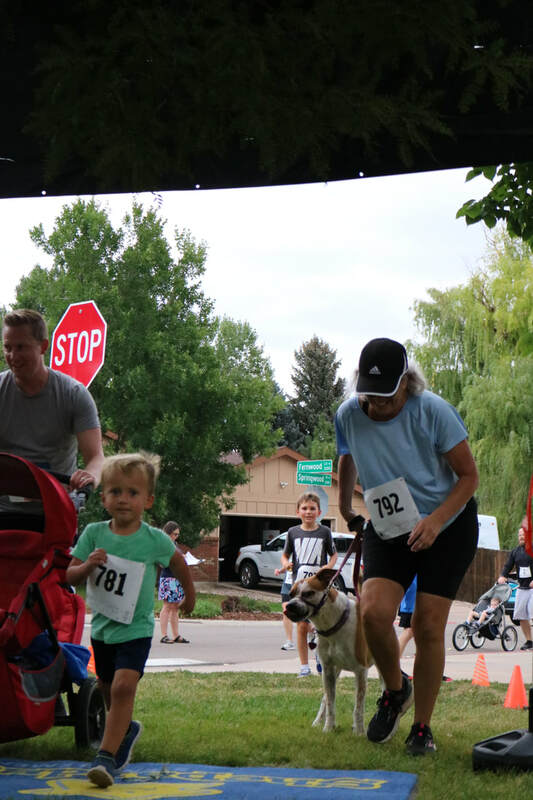 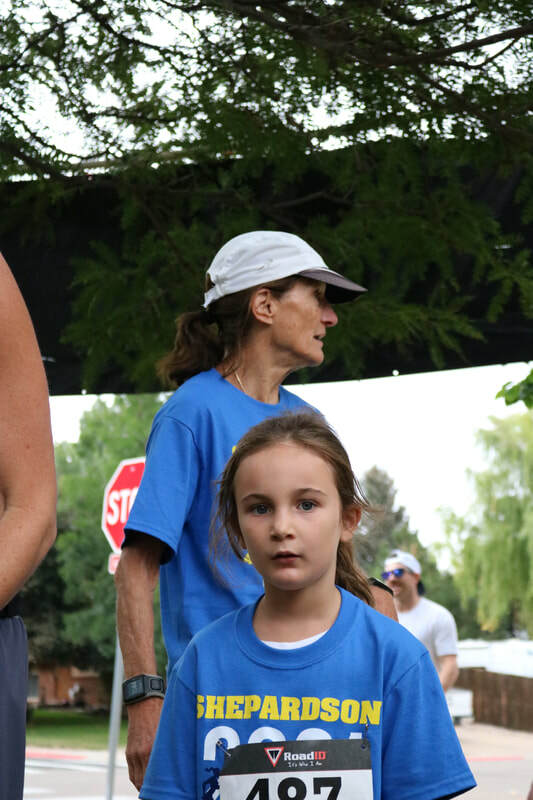 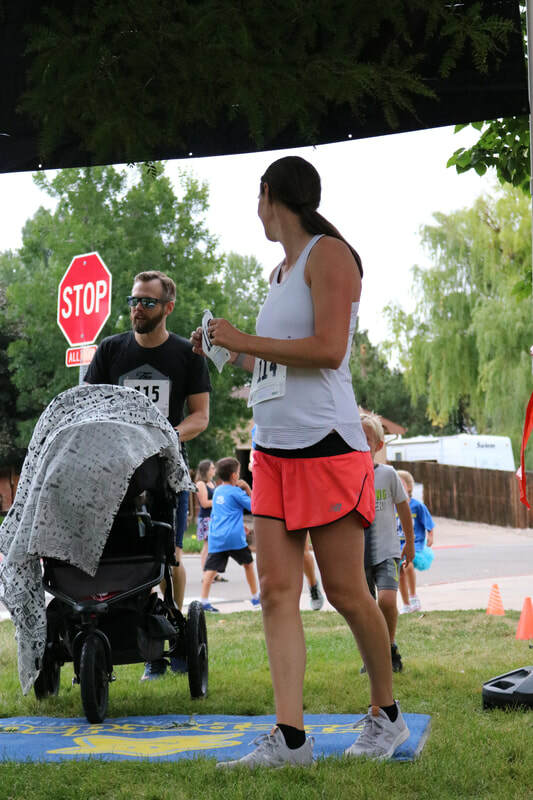 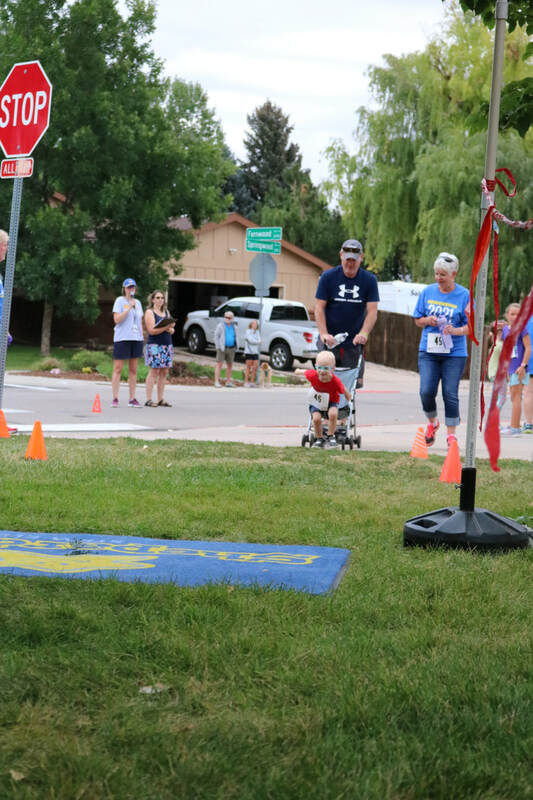 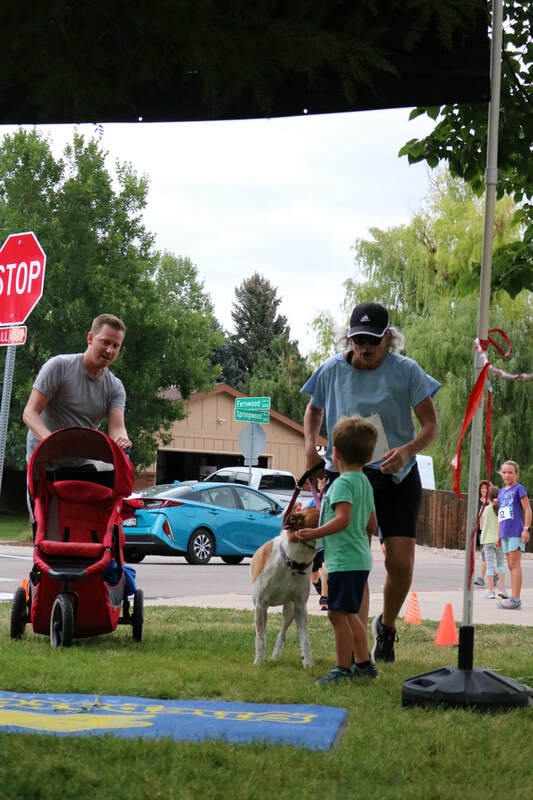 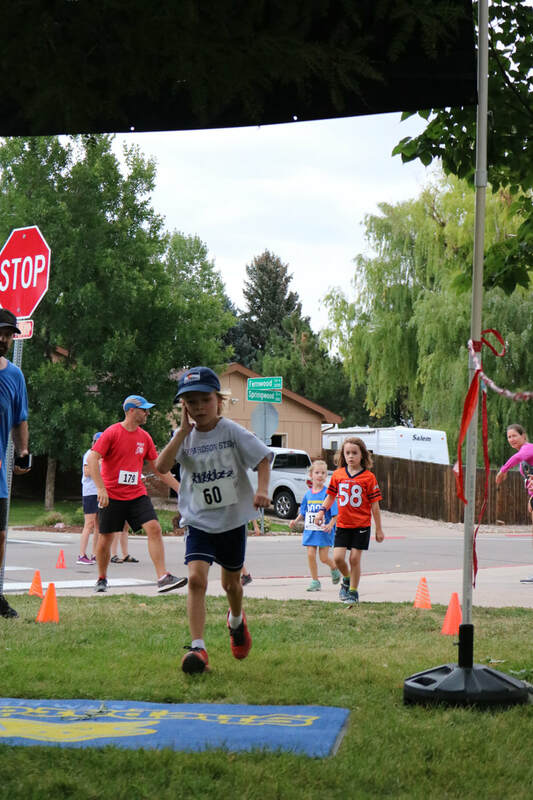 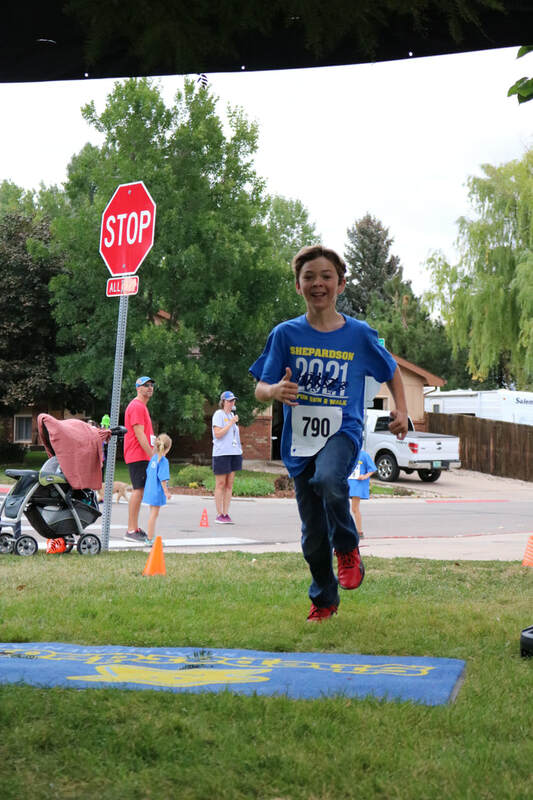 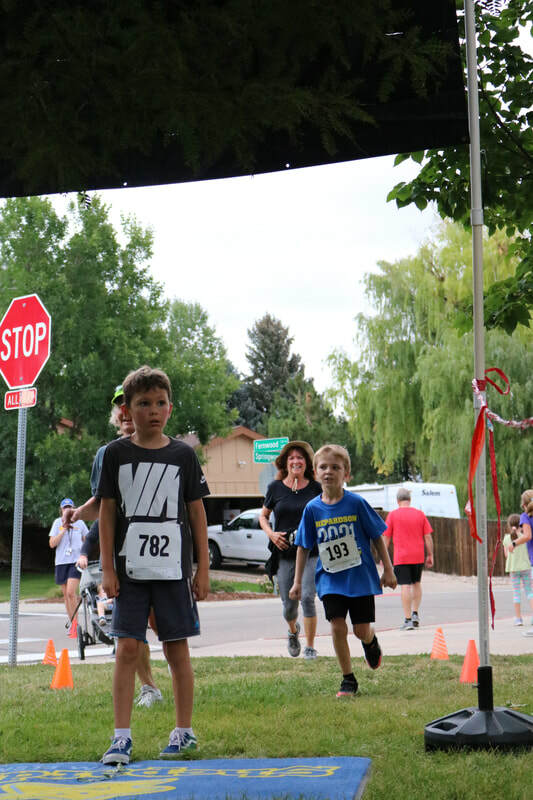 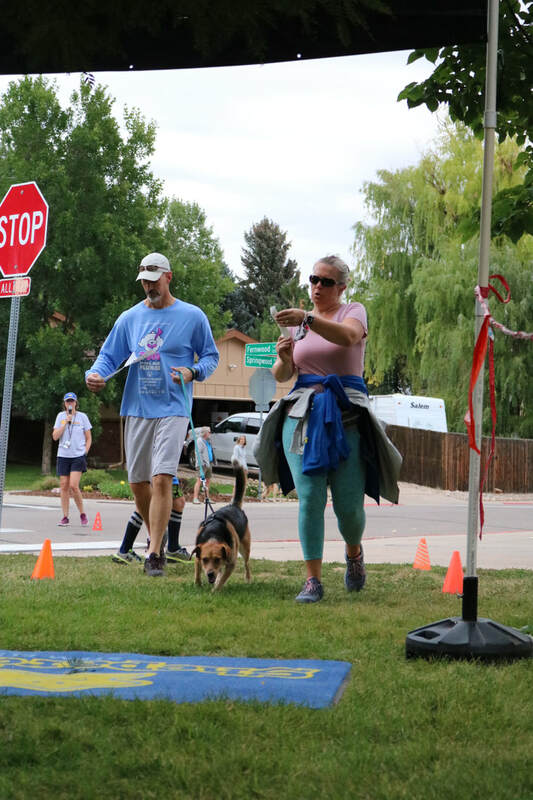 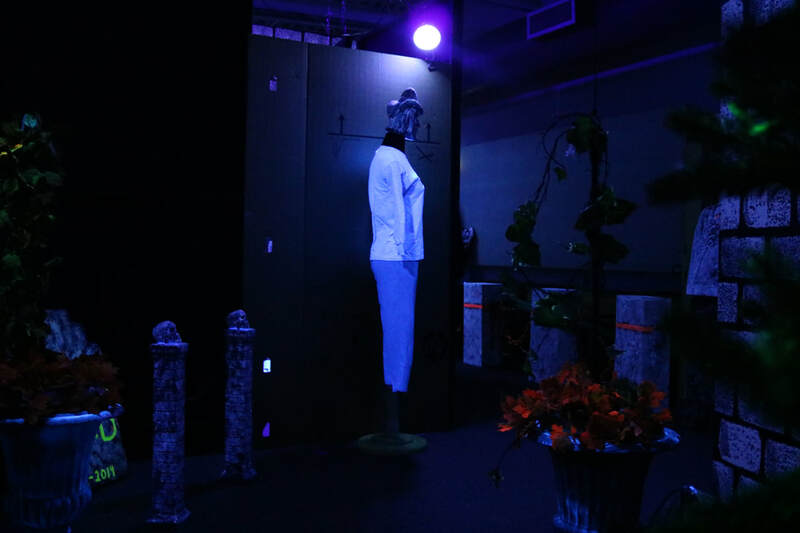 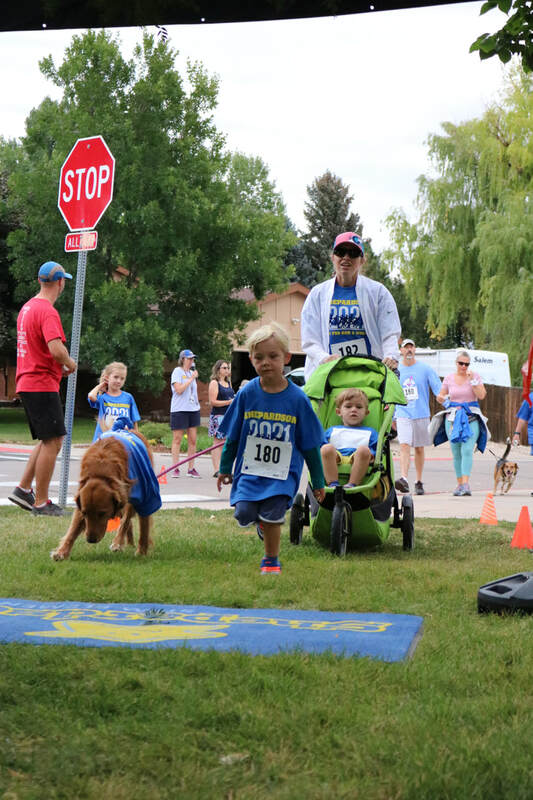 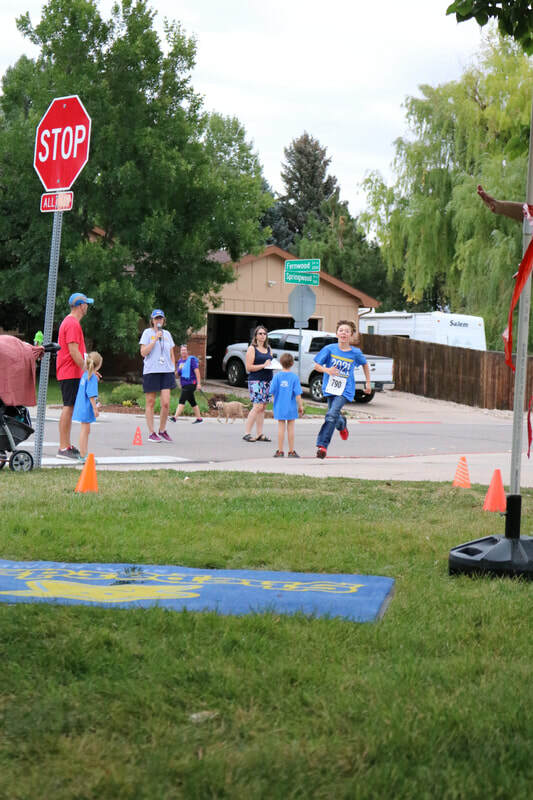 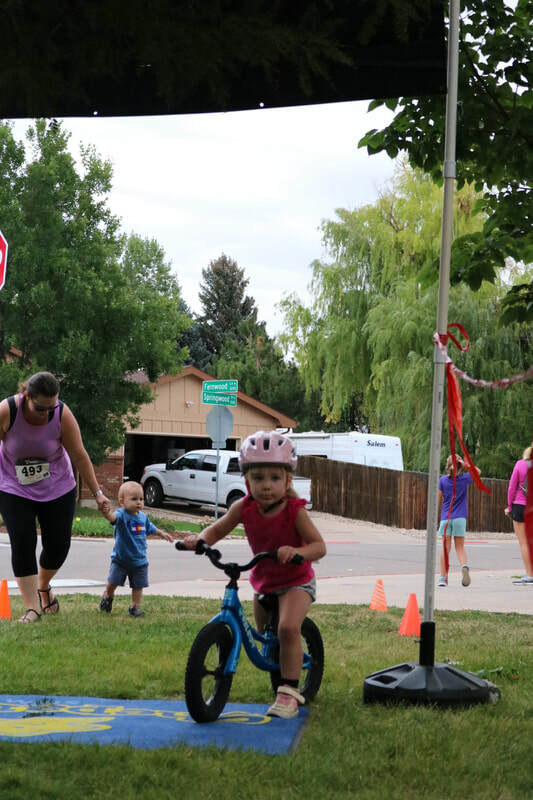 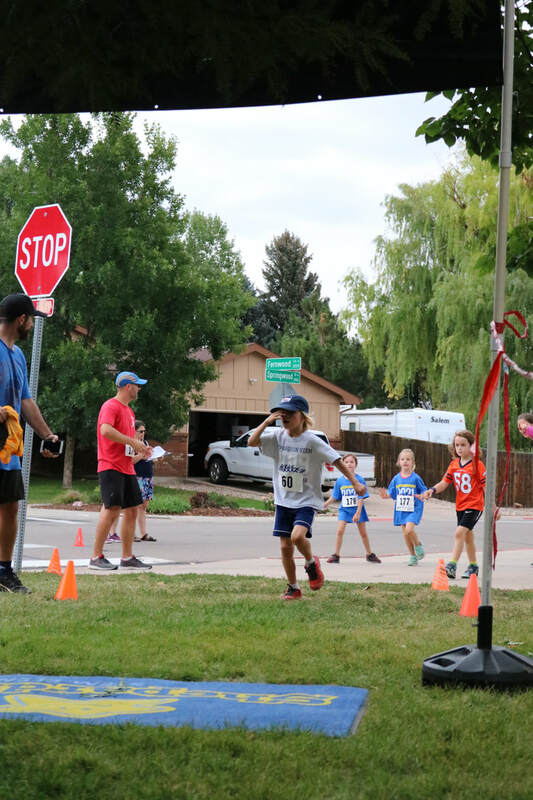 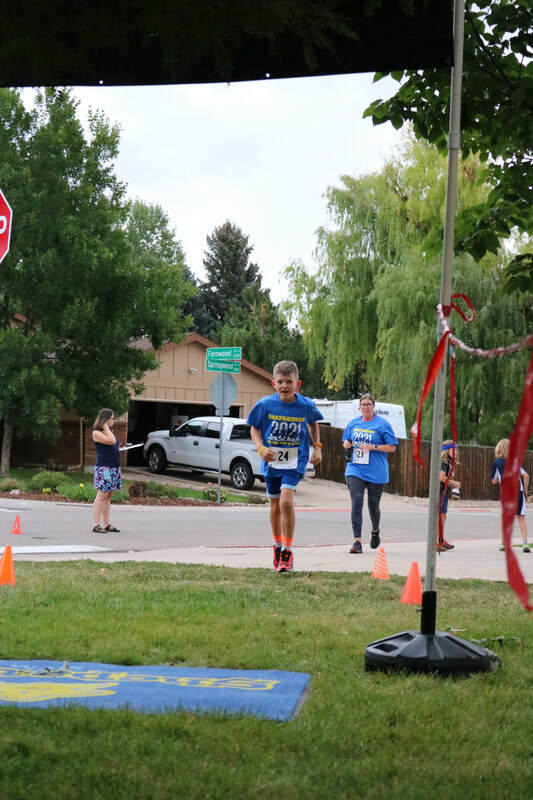 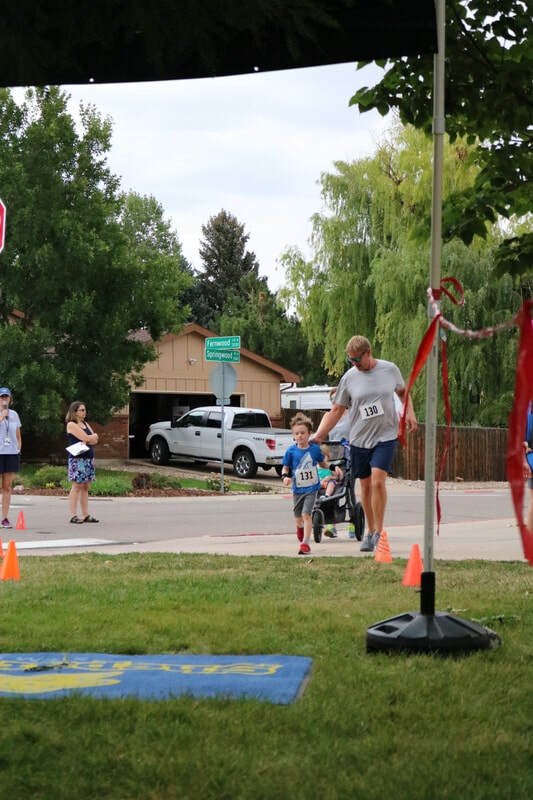 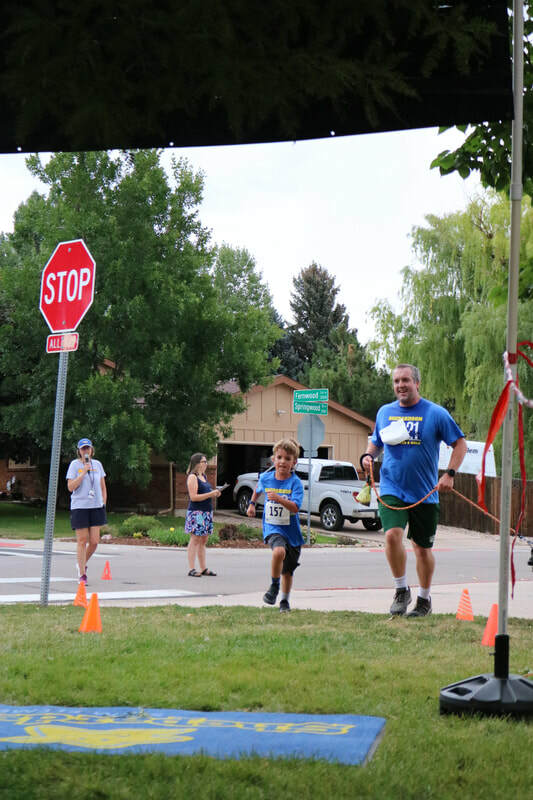 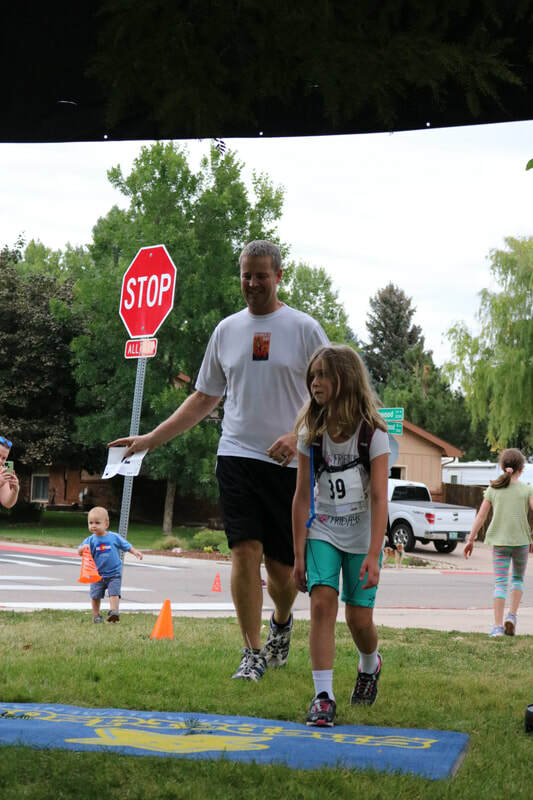 Thanks for making this year's event a huge success! 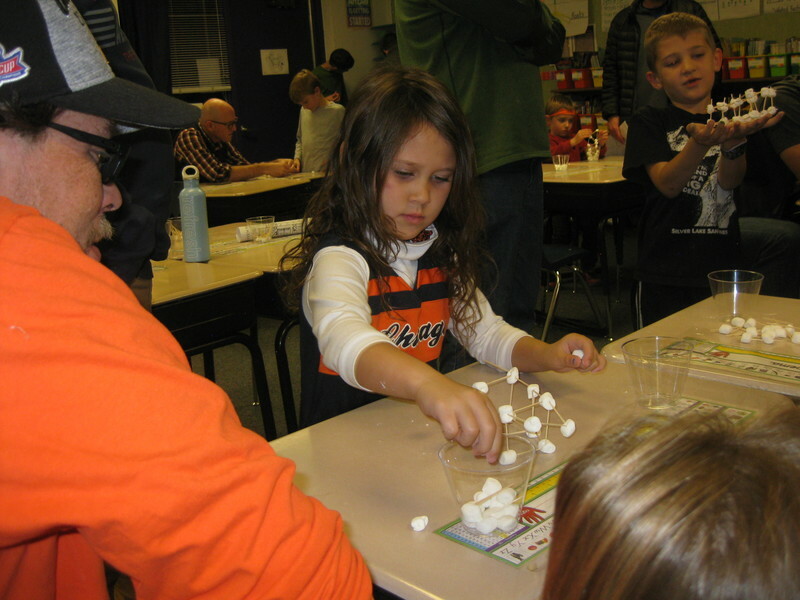 Thanks for making the 7th Annual Shepardson Family STEM Night a HUGE success! Ms. Stacy with the Base Camp Crew! 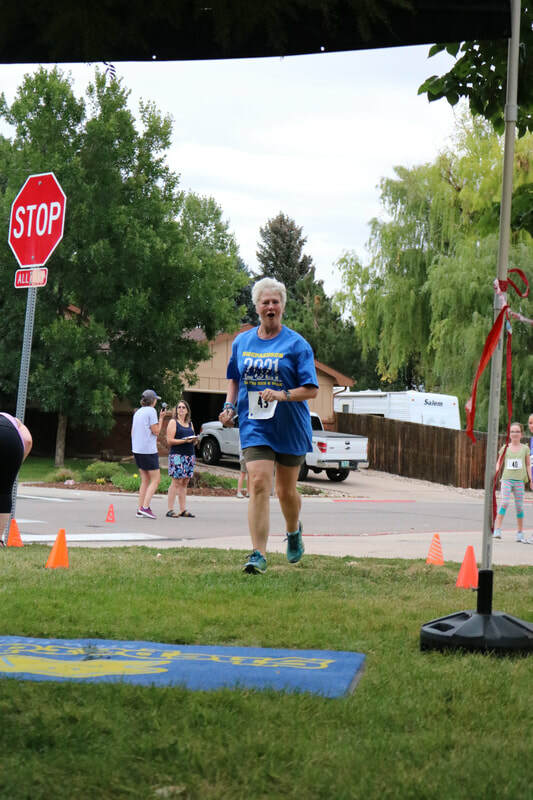 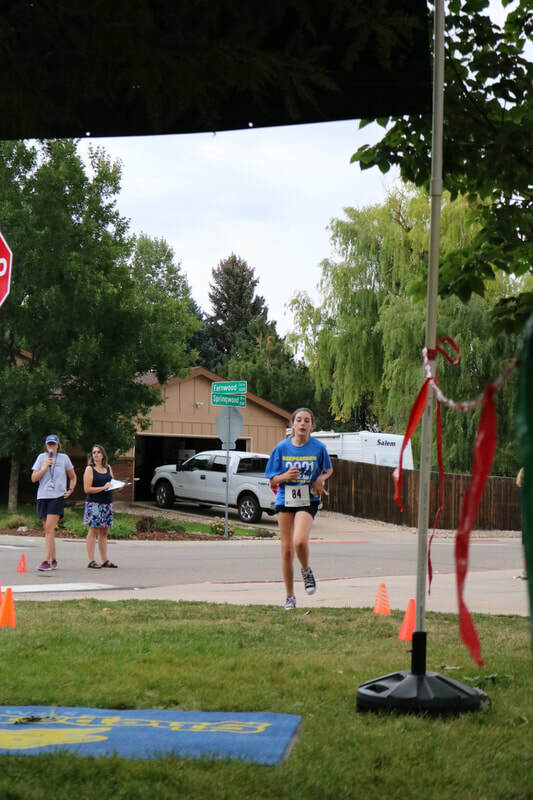 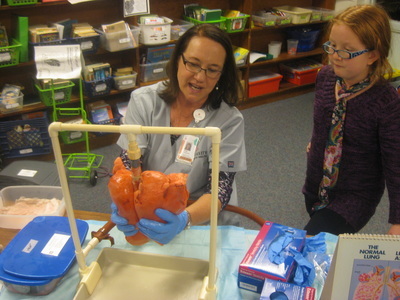 Heart and Lungs in Action! 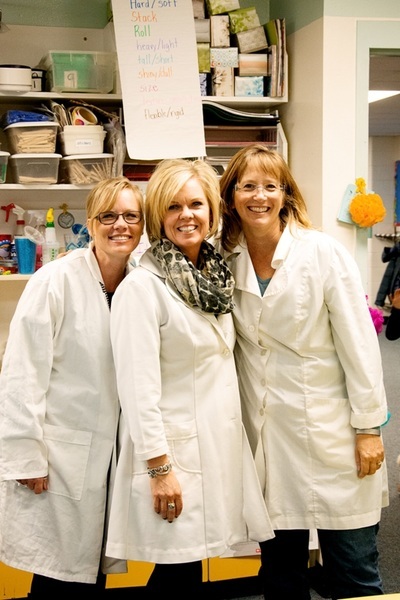 Holli Giebler and her DNA Team! 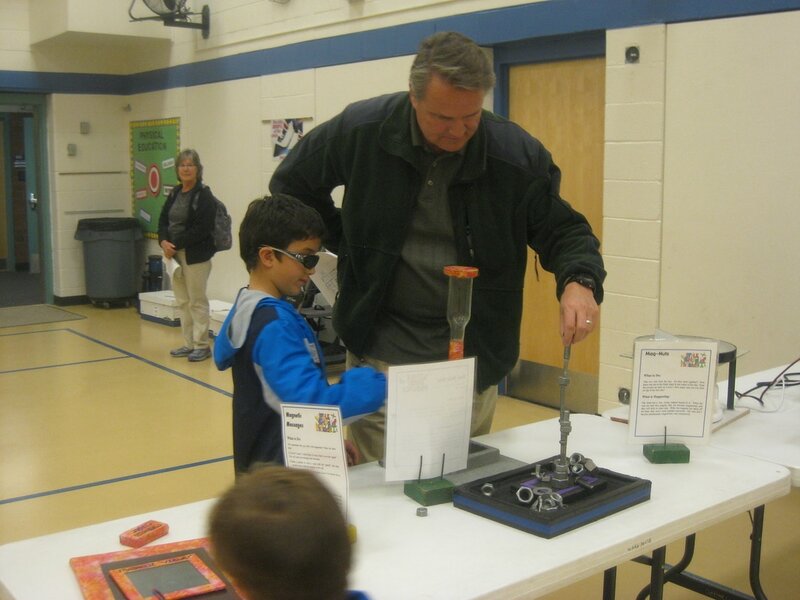 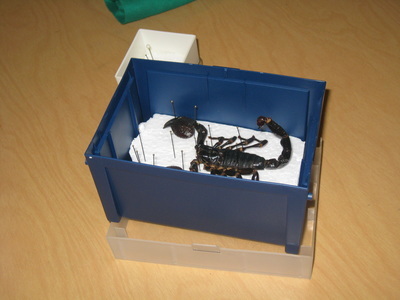 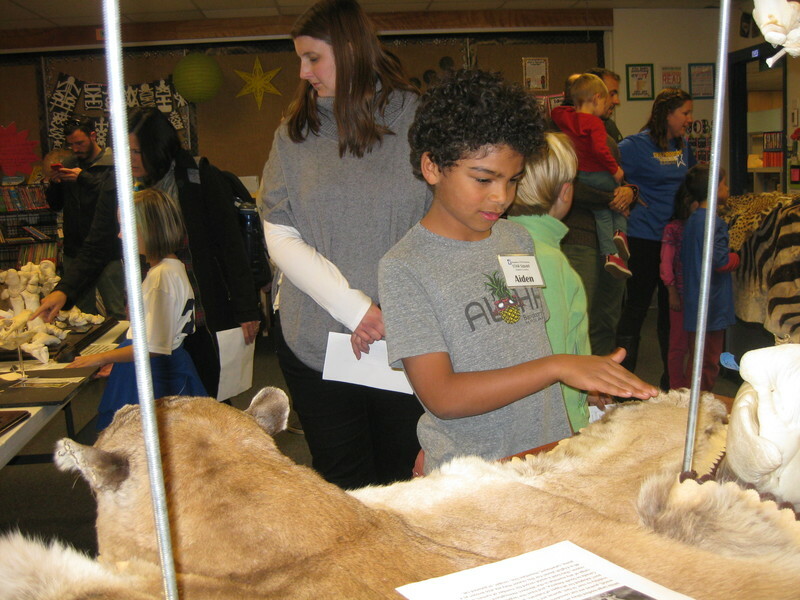 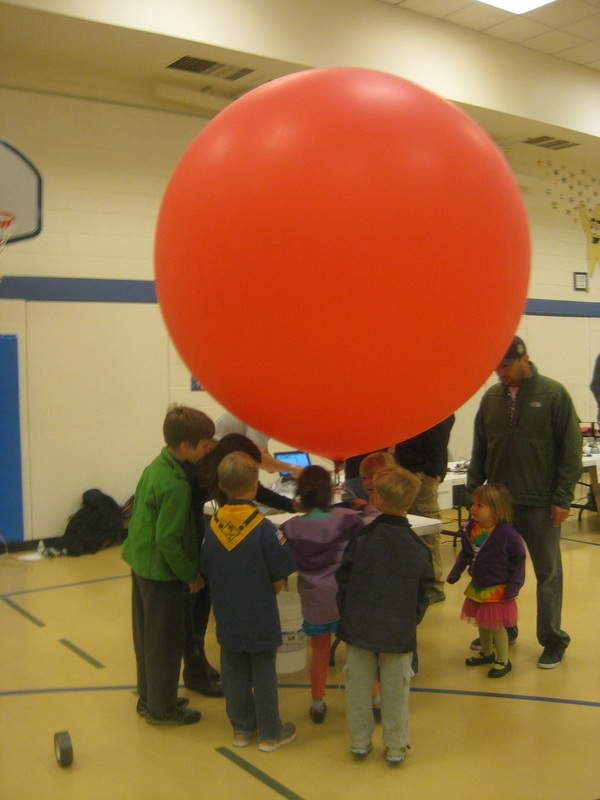 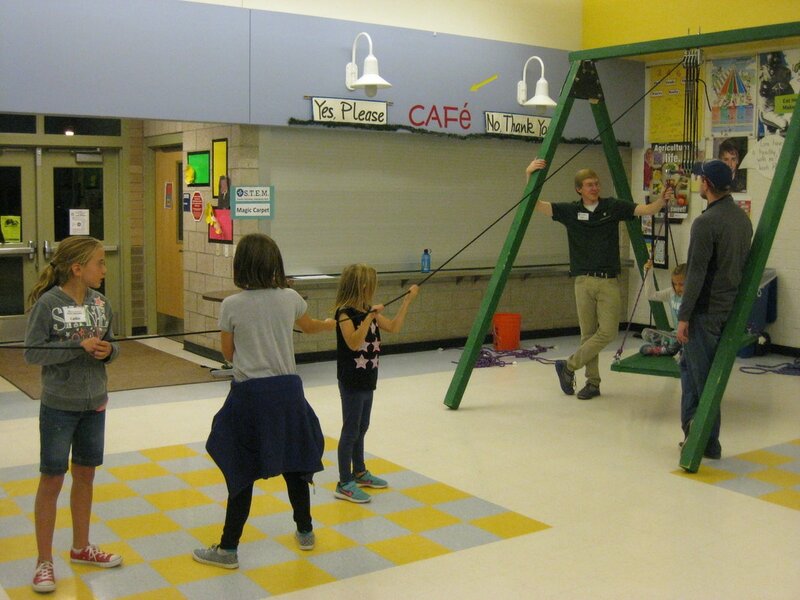 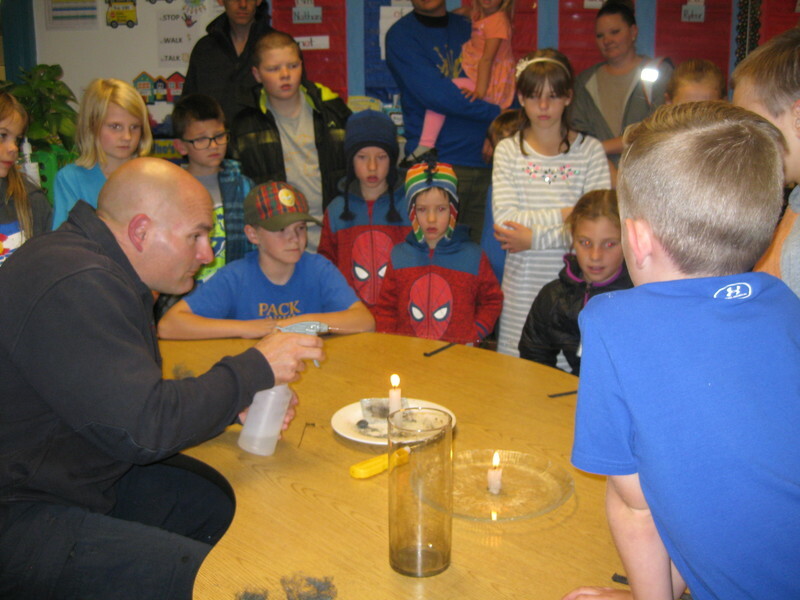 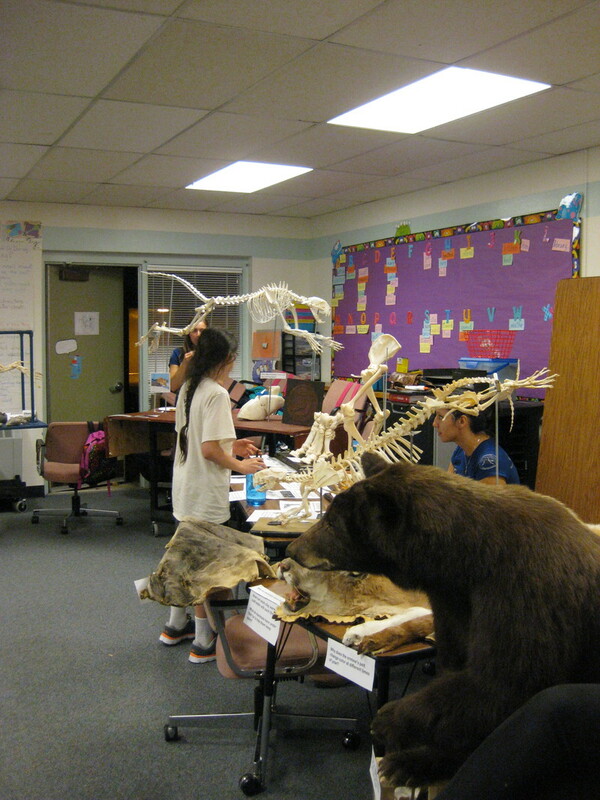 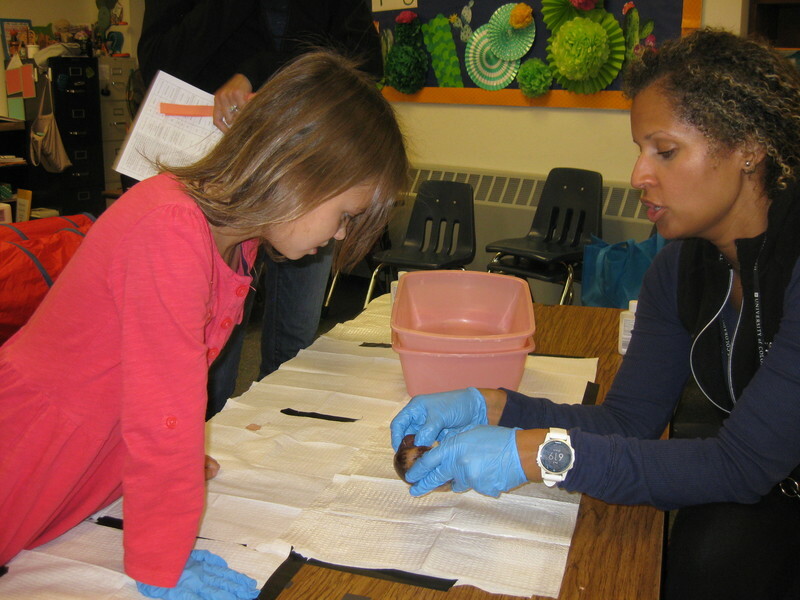 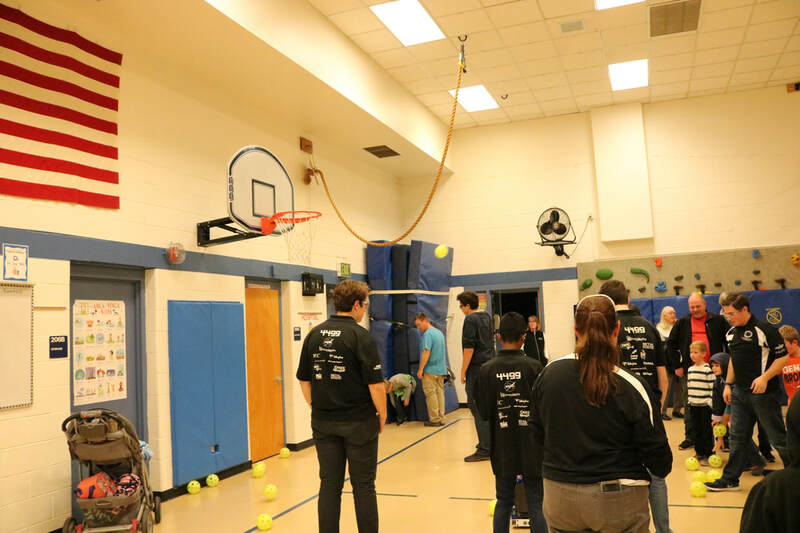 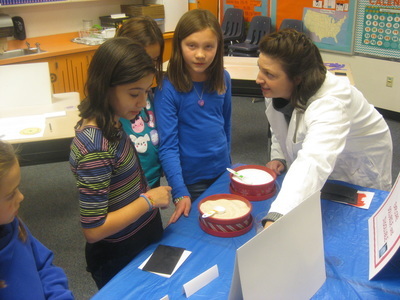 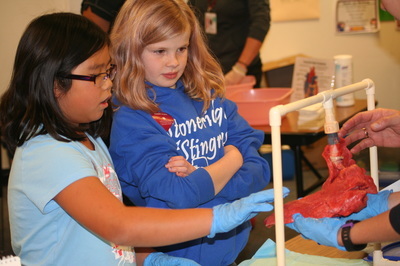 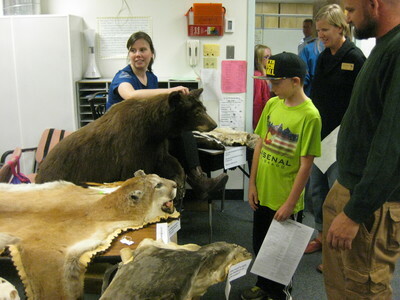 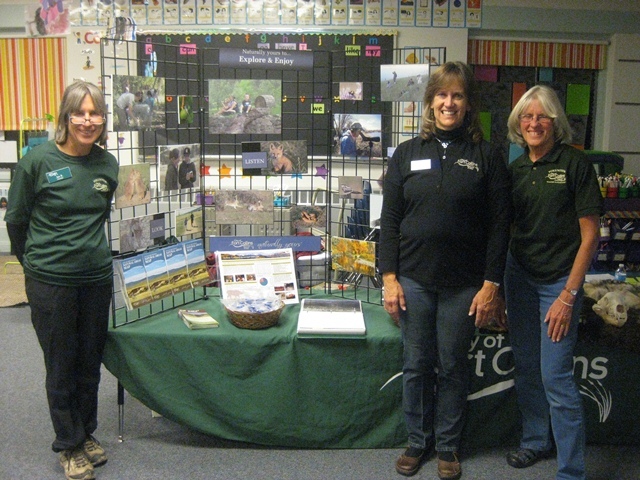 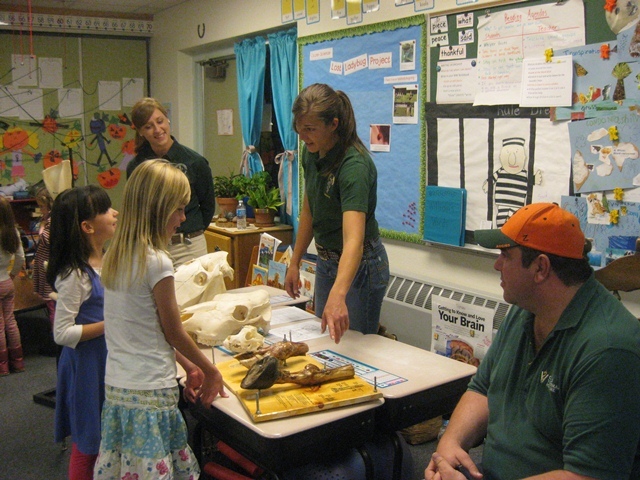 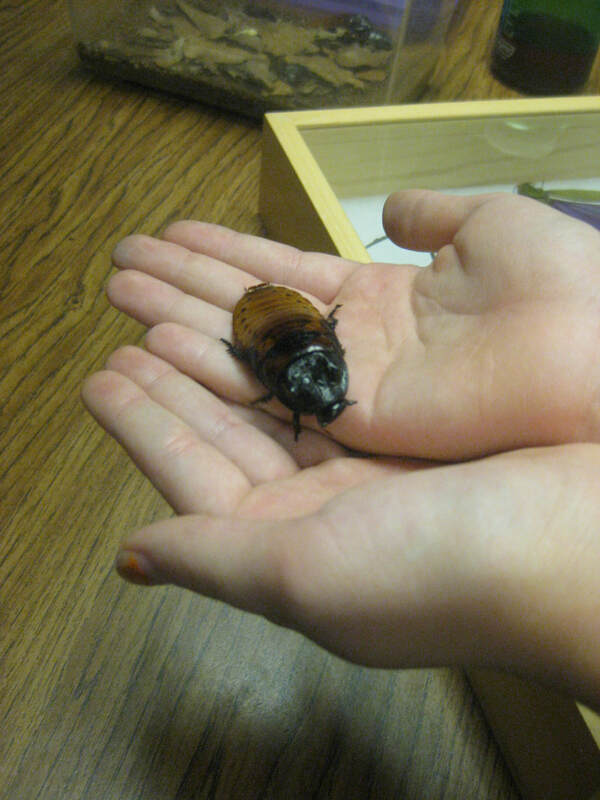 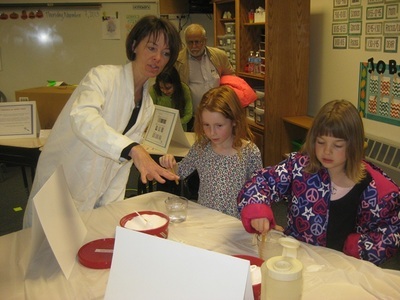 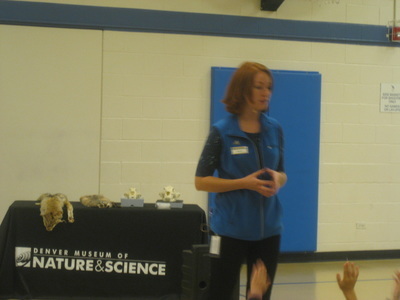 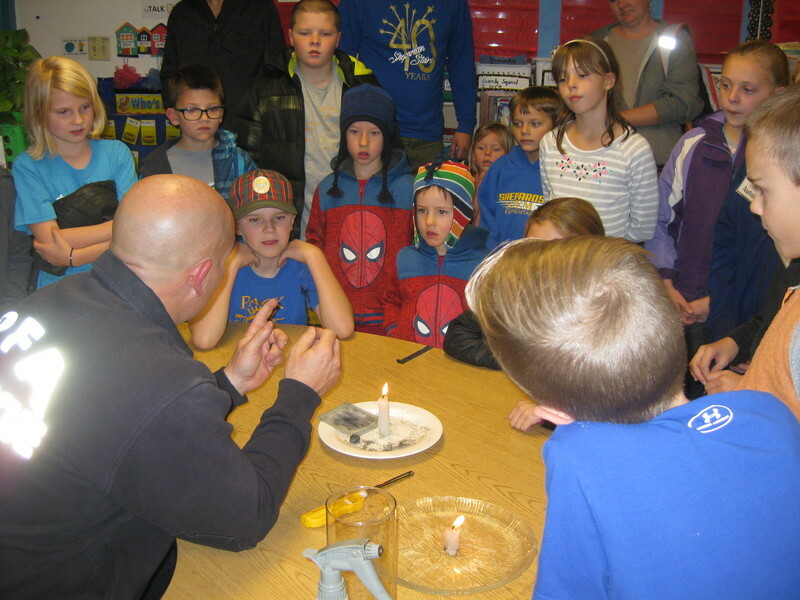 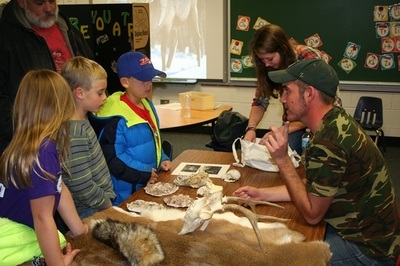 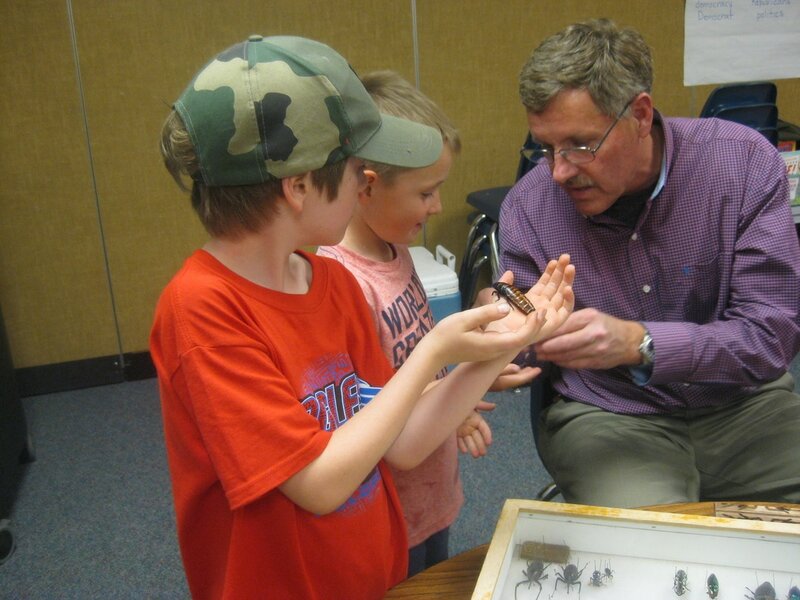 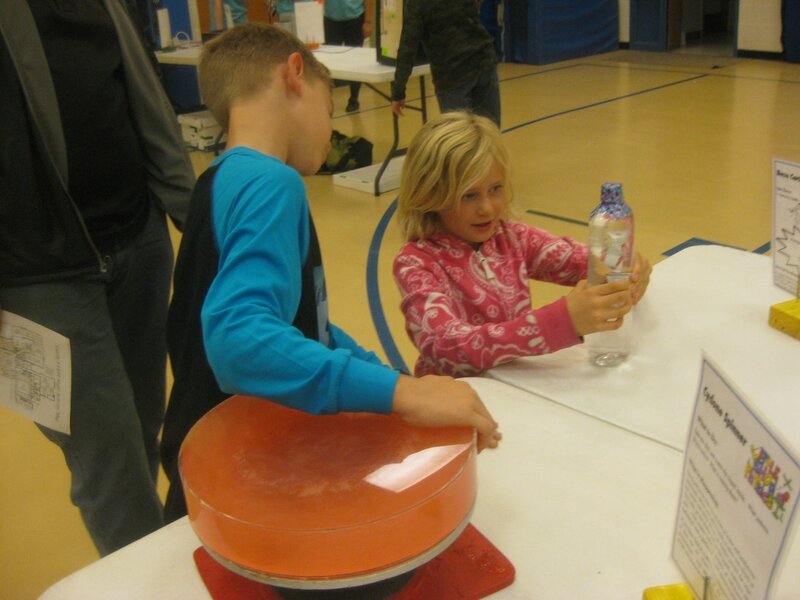 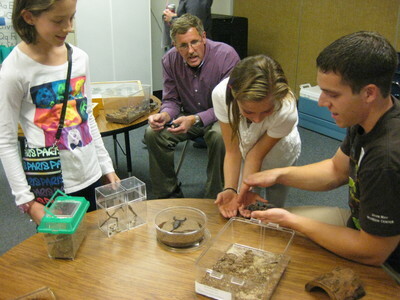 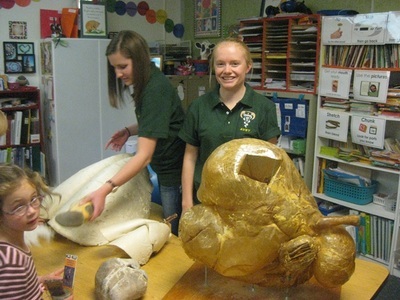 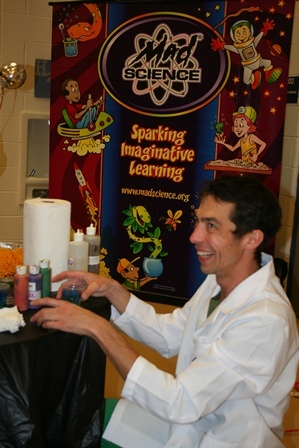 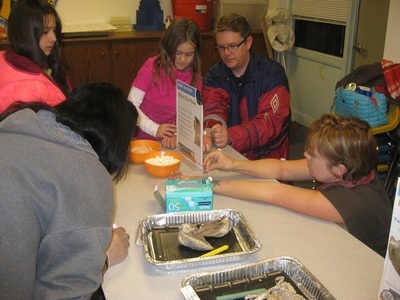 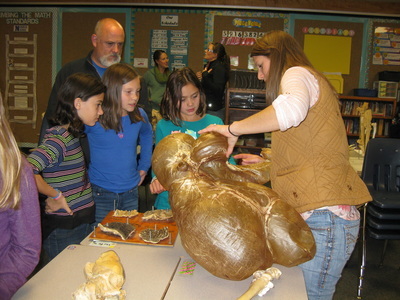 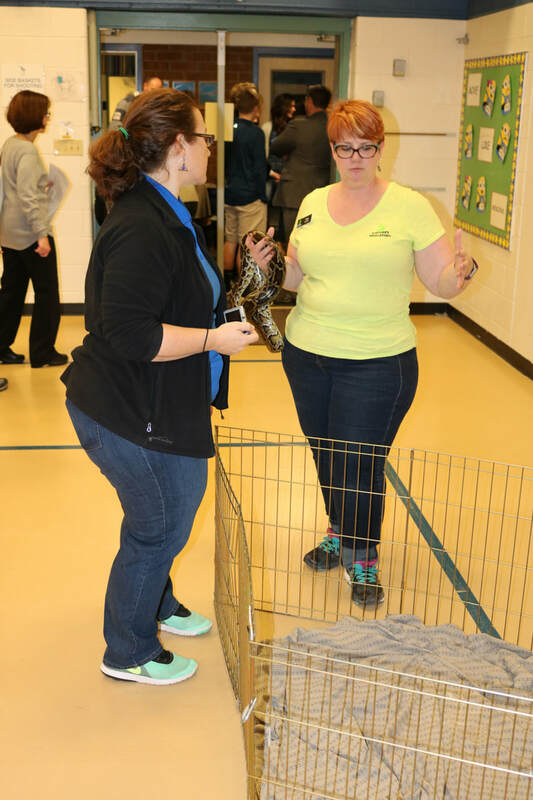 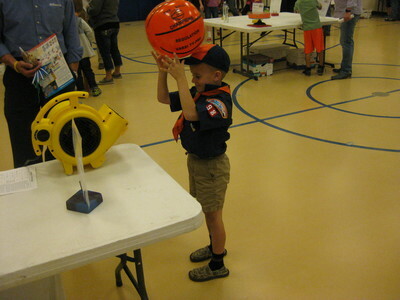 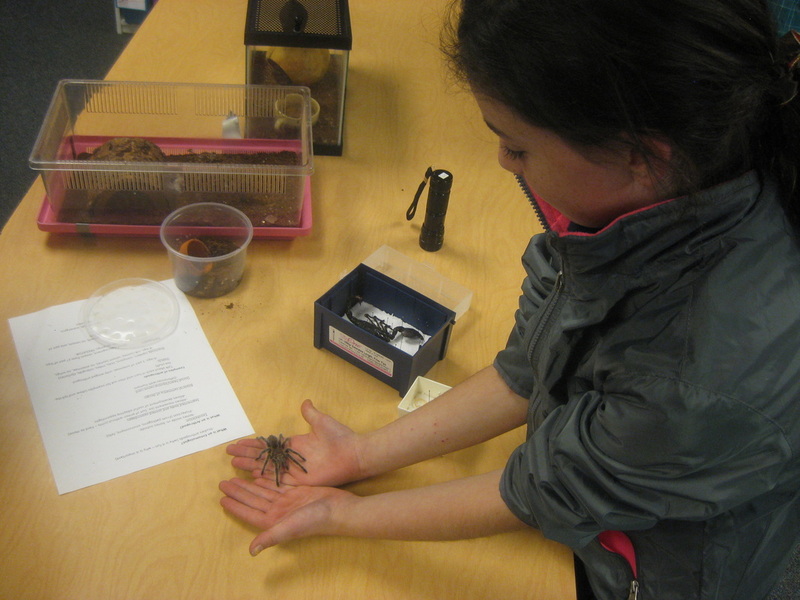 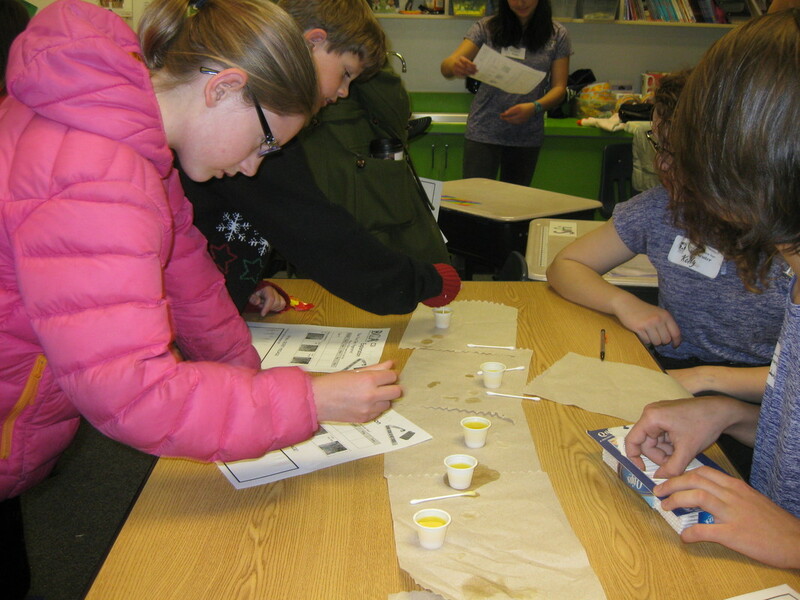 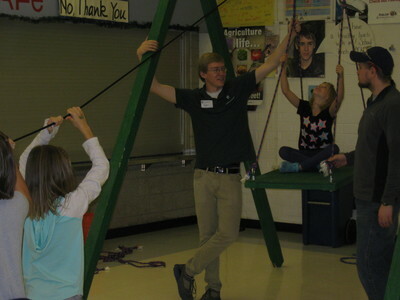 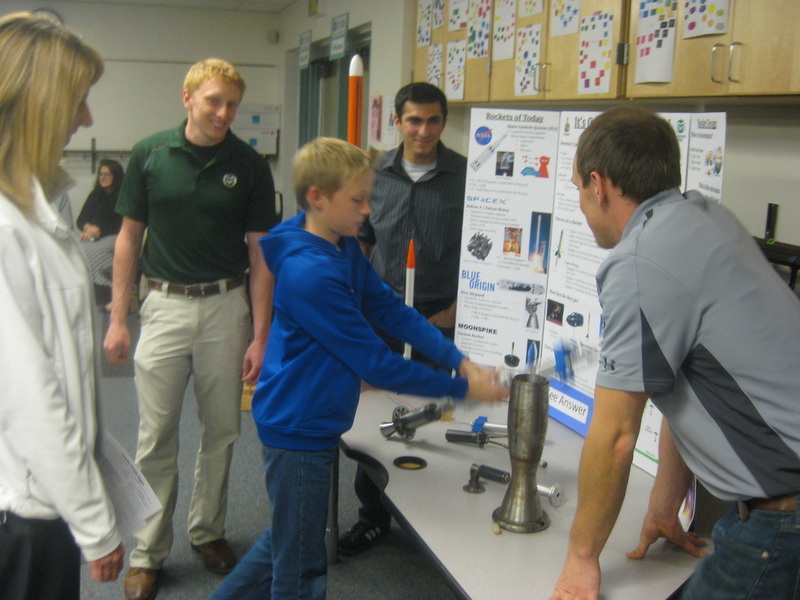 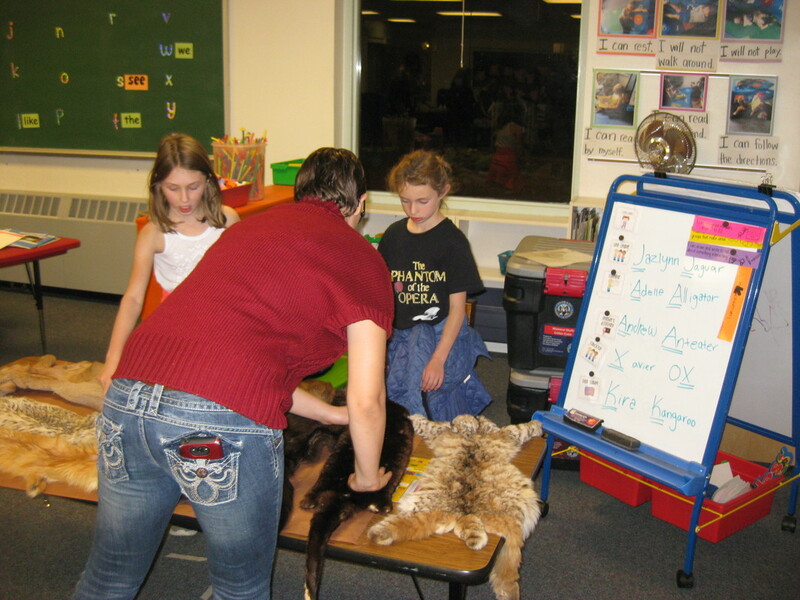 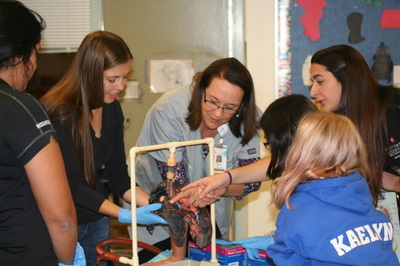 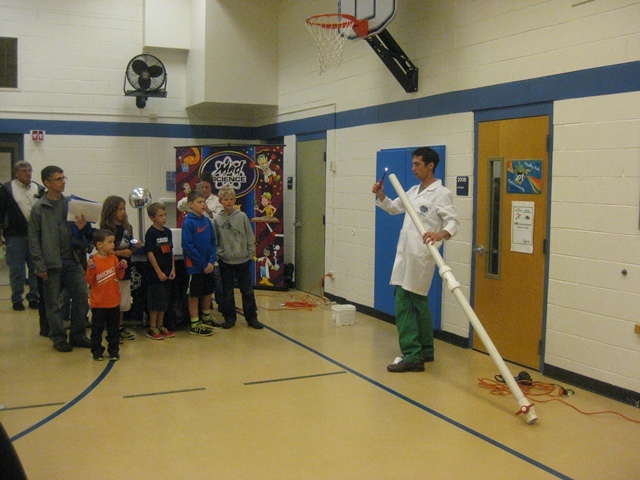 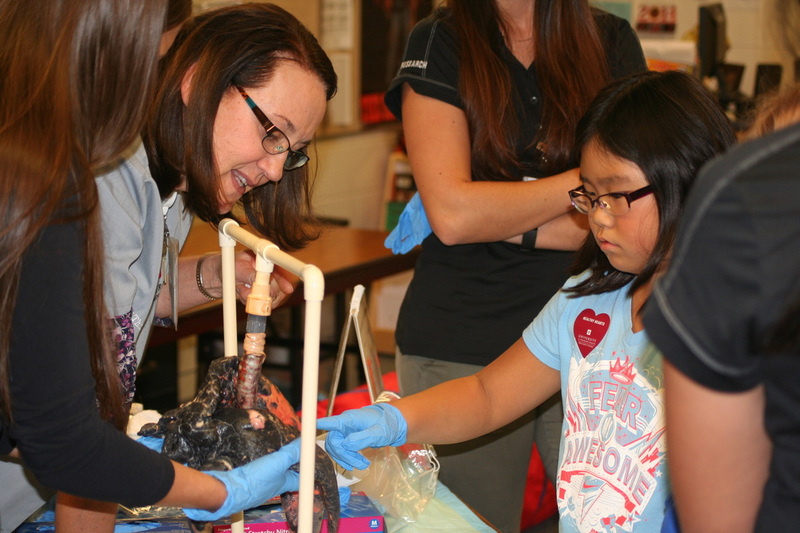 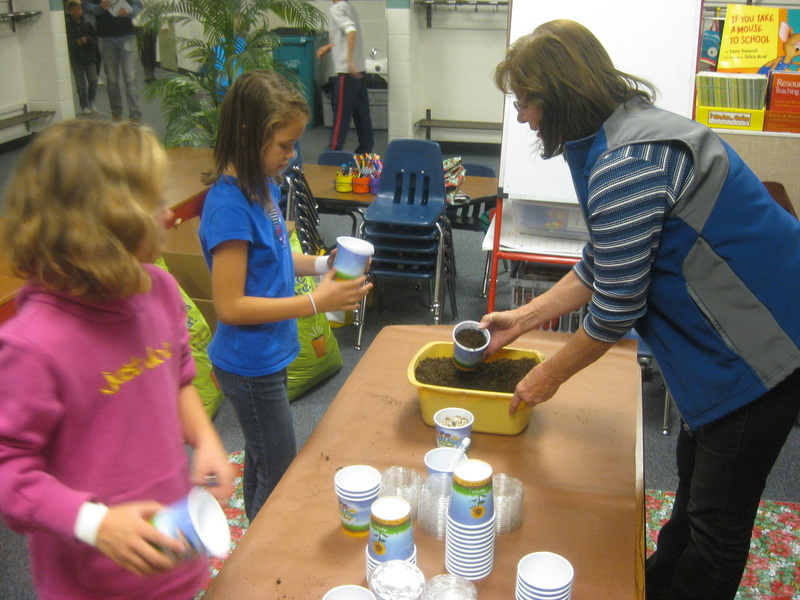 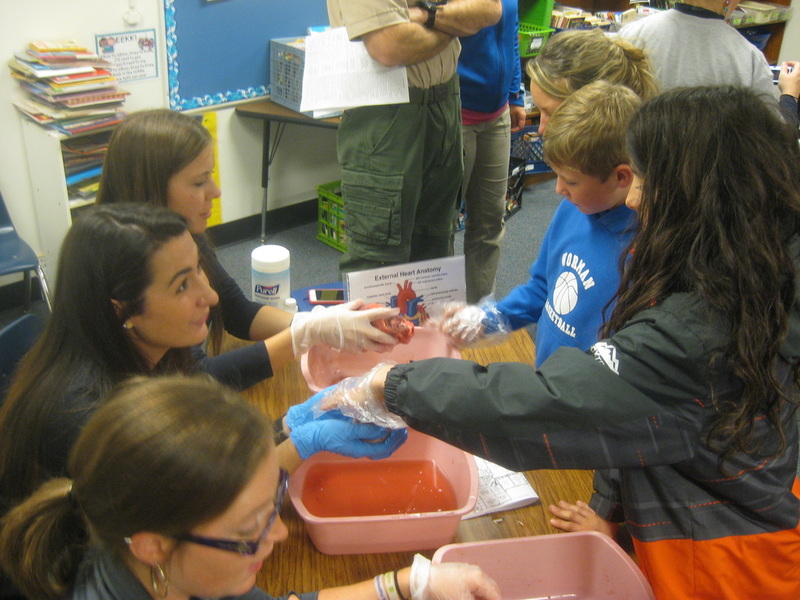 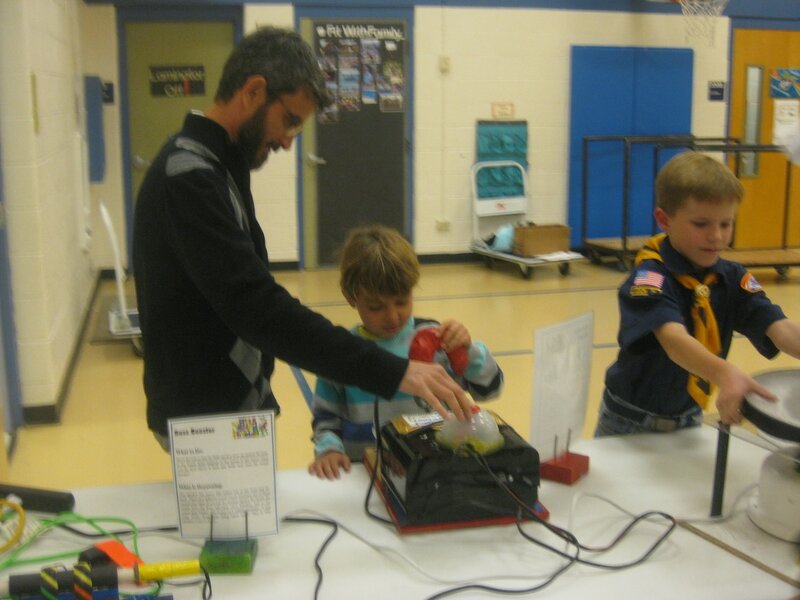 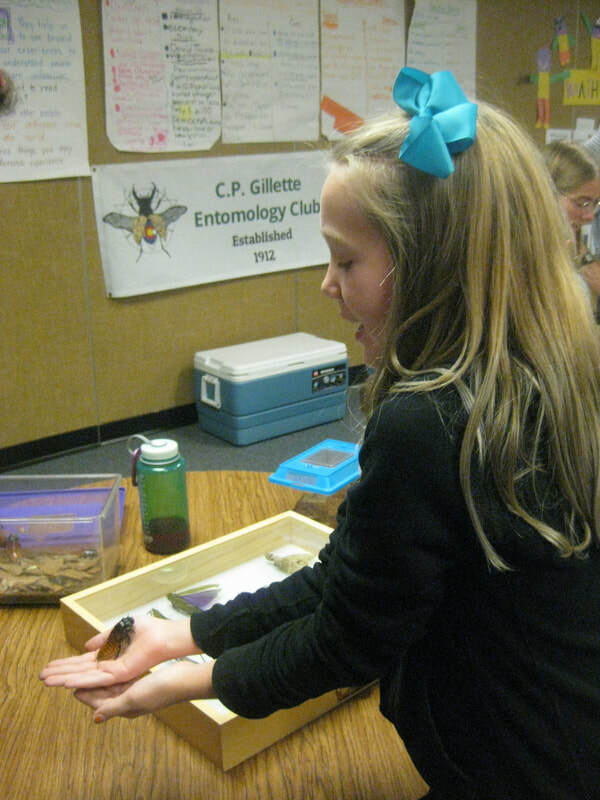 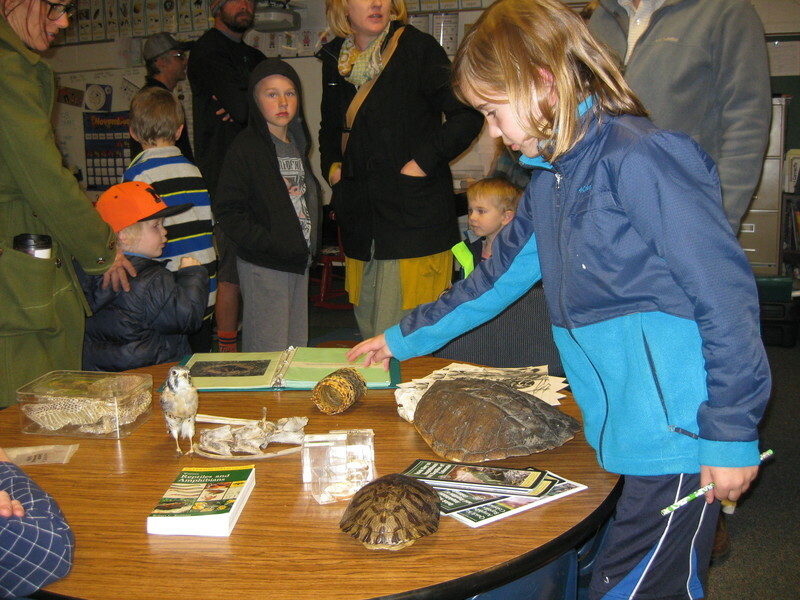 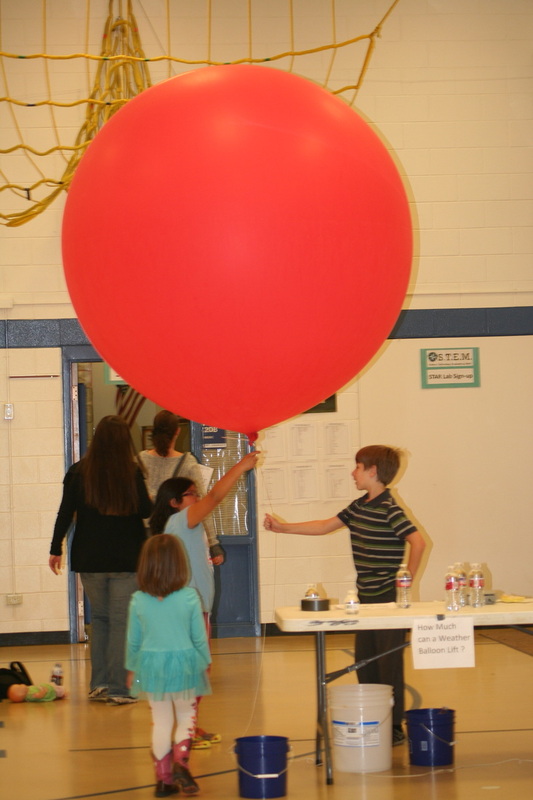 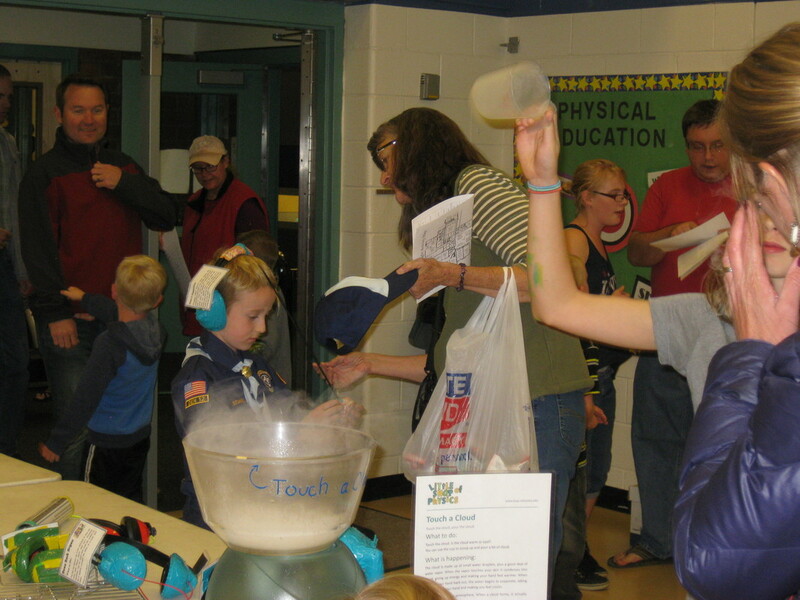 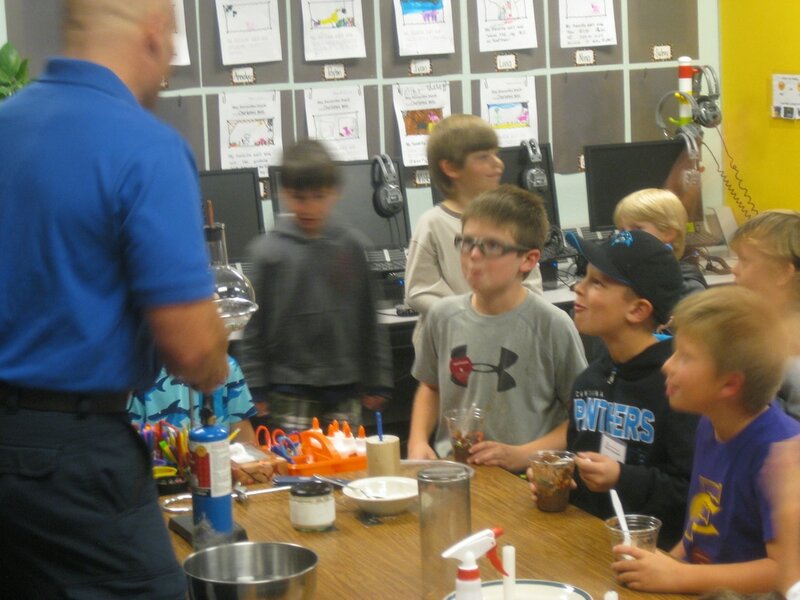 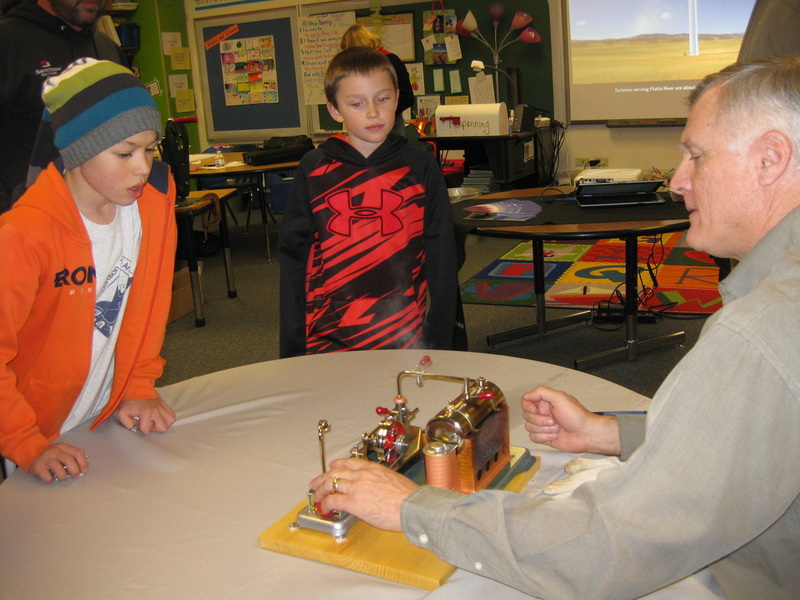 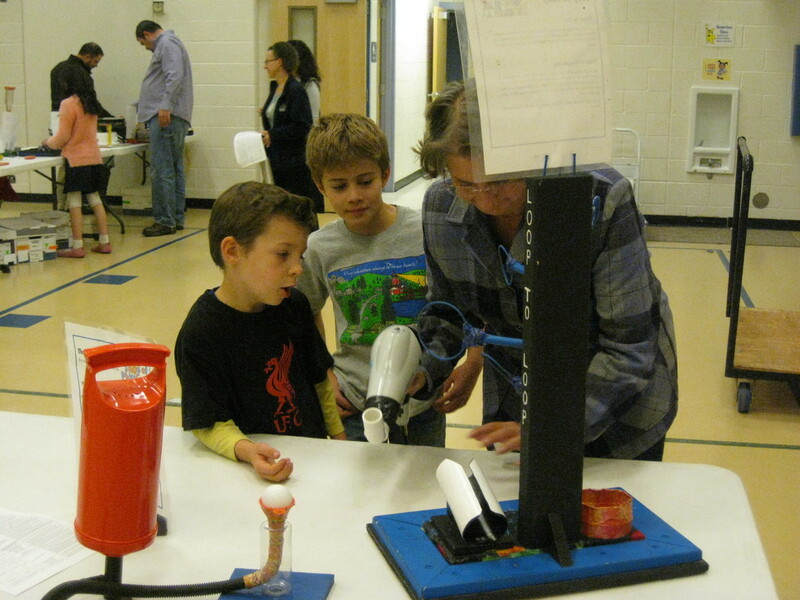 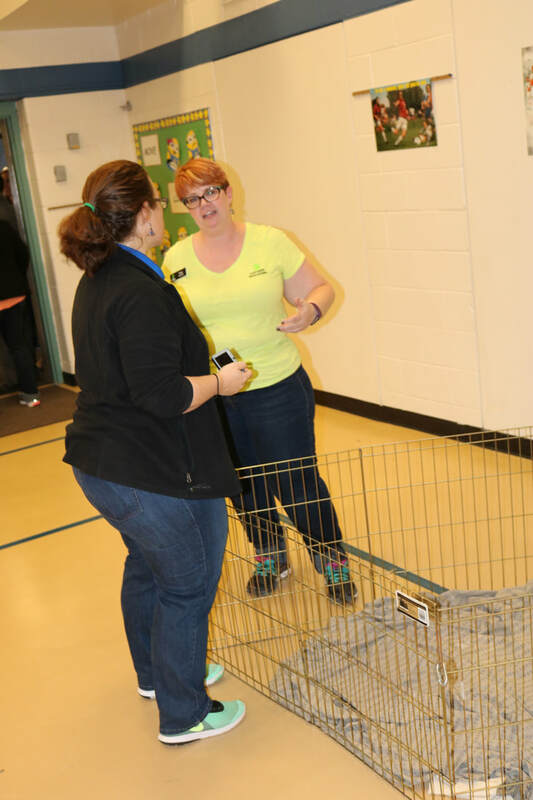 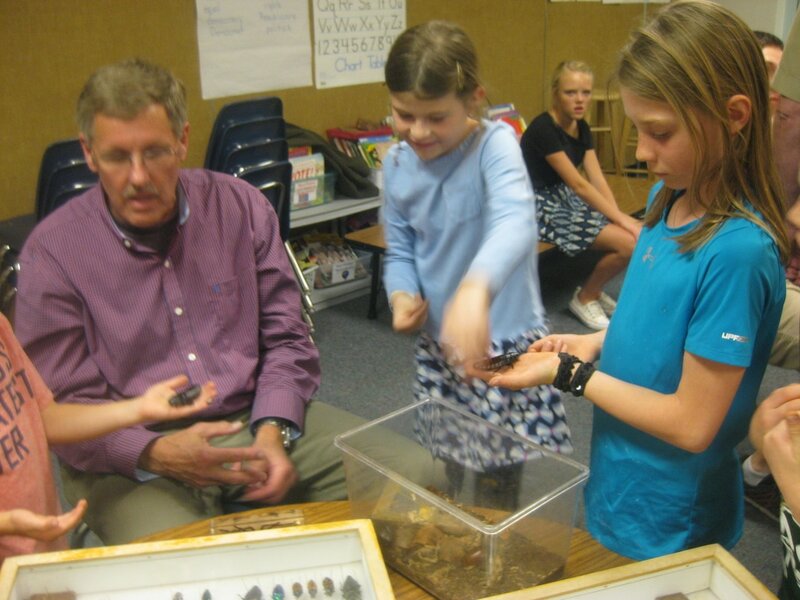 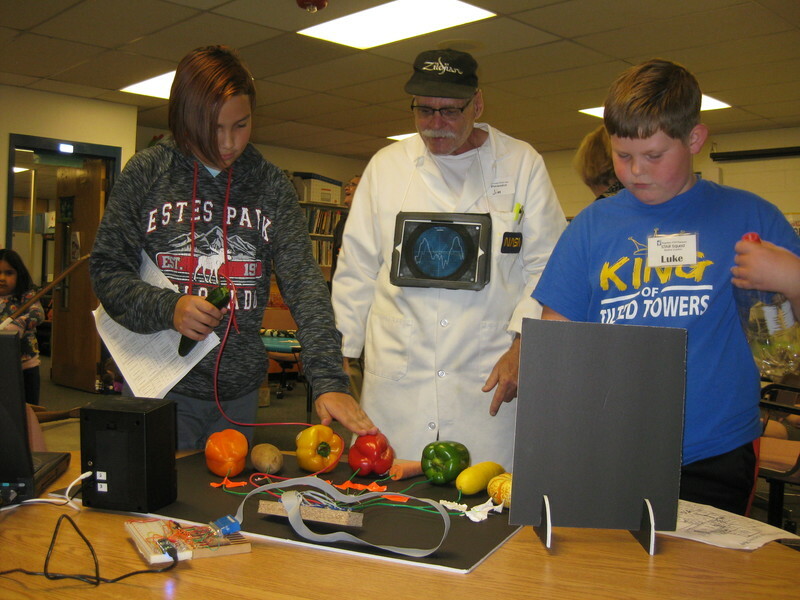 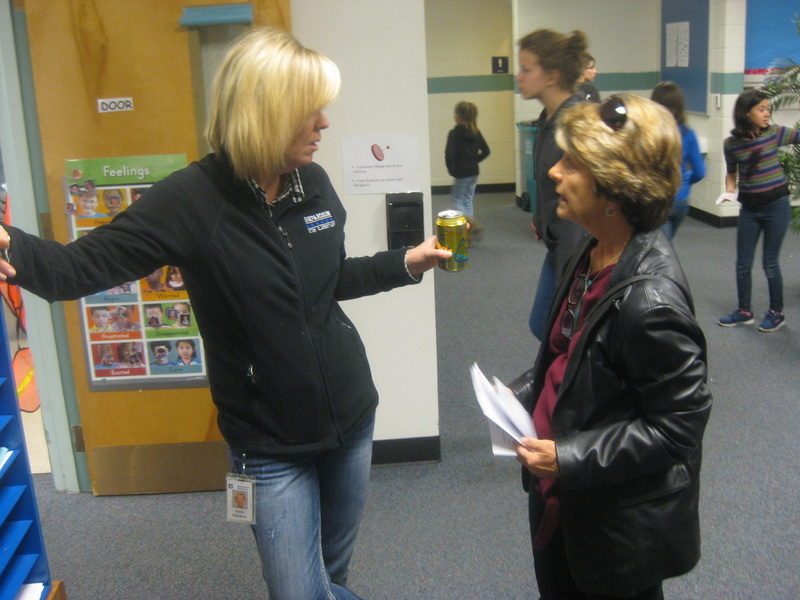 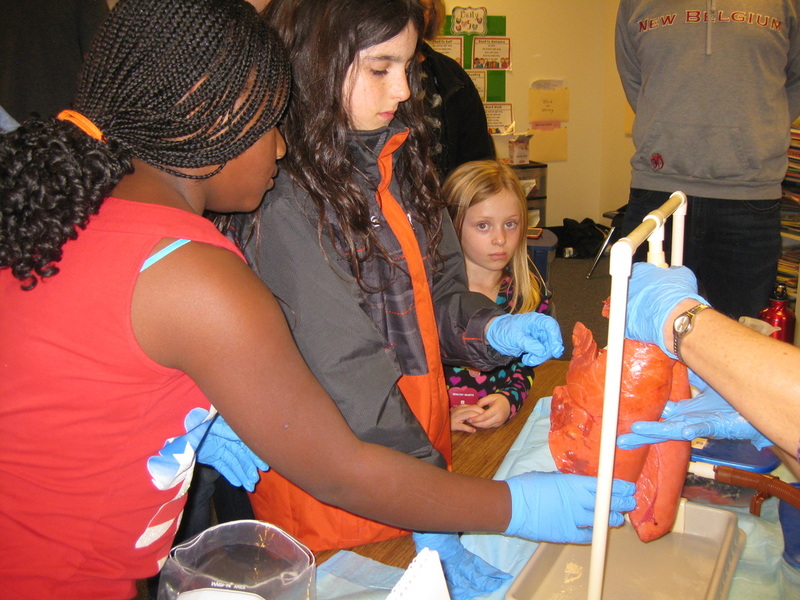 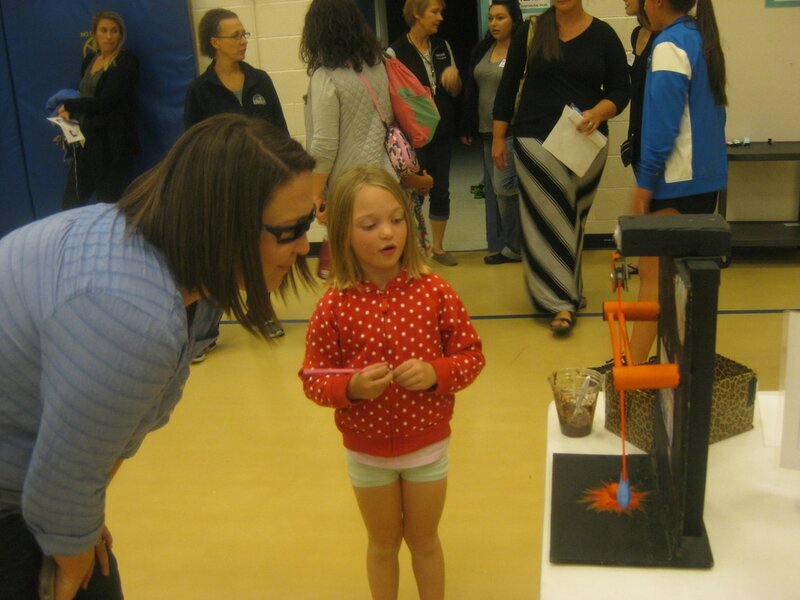 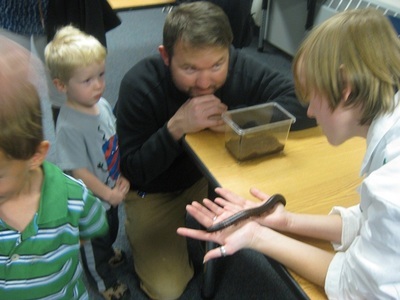 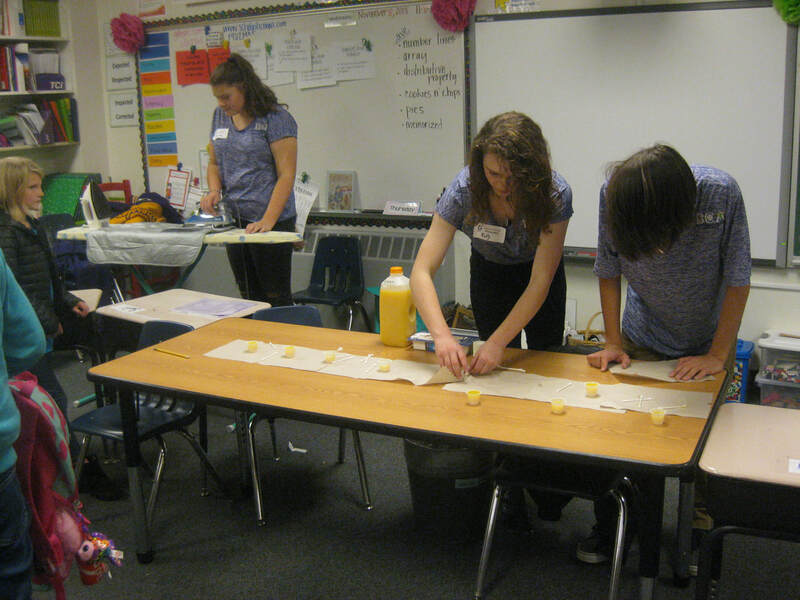 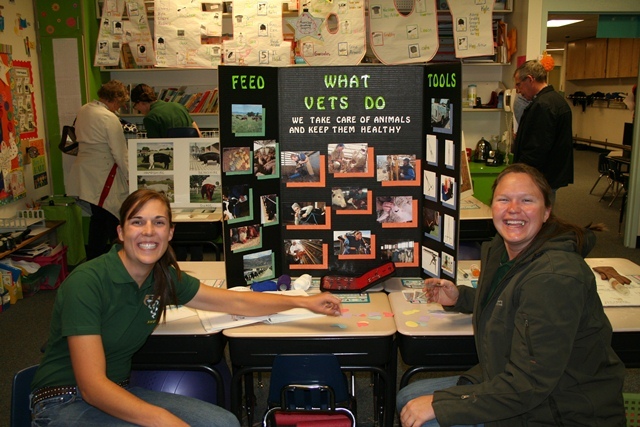 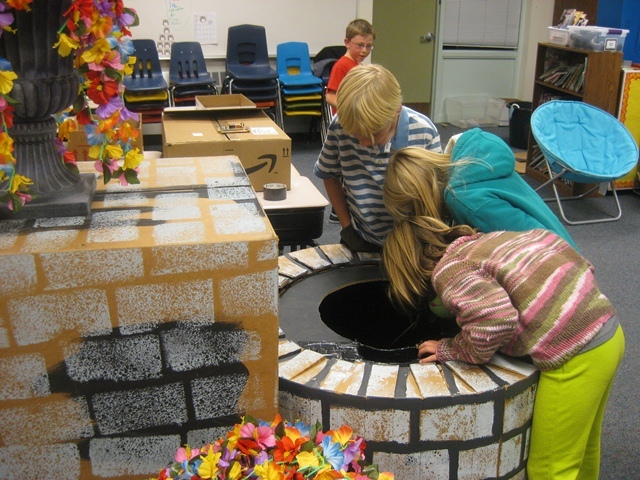 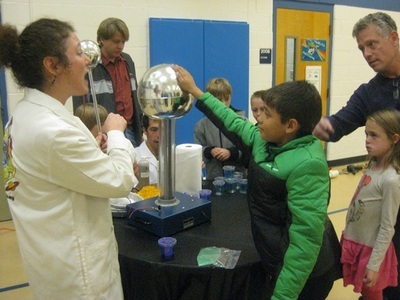 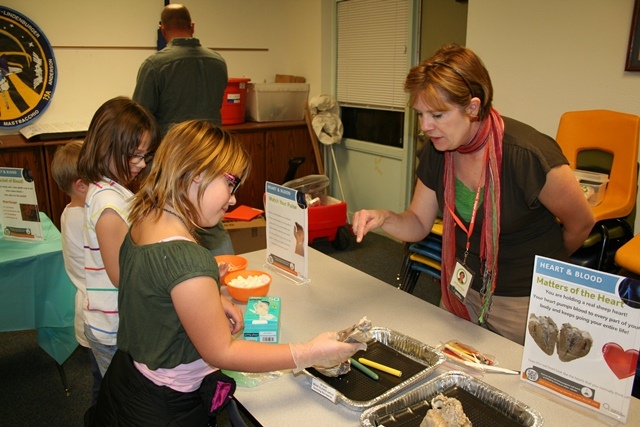 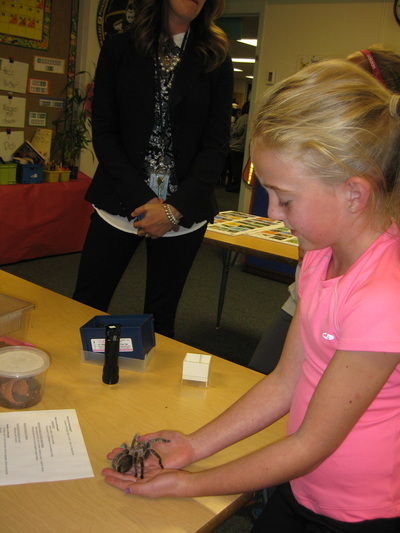 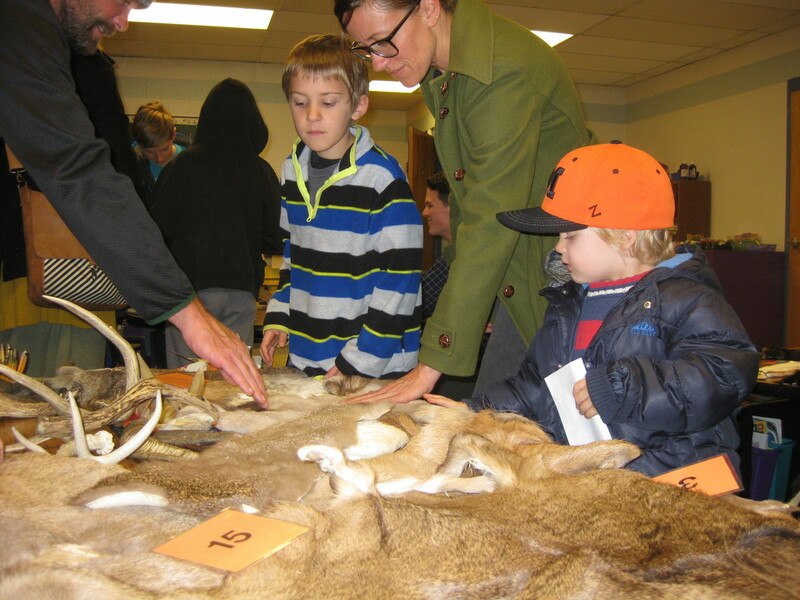 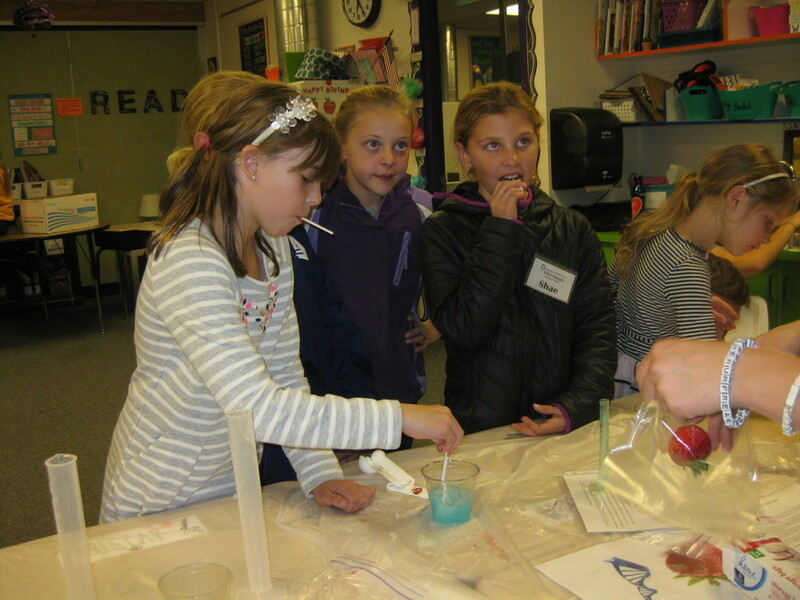 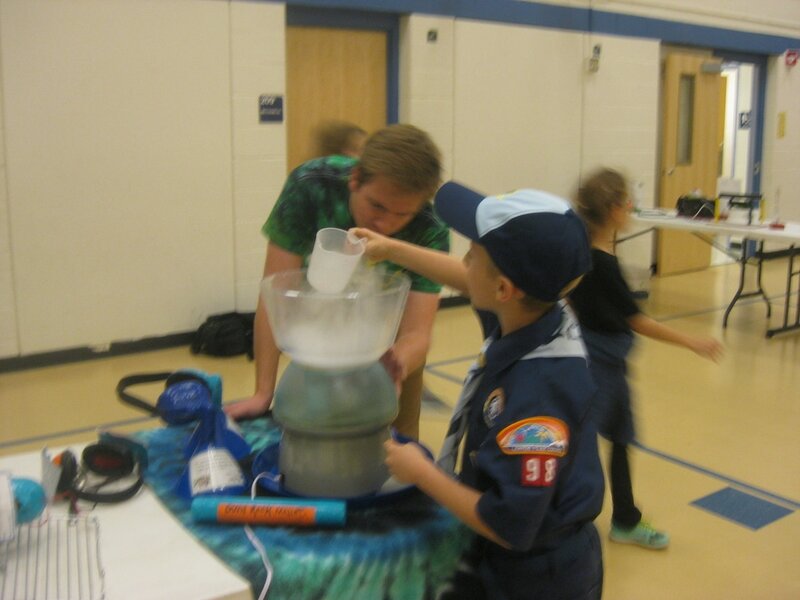 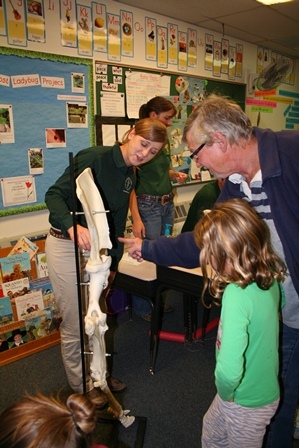 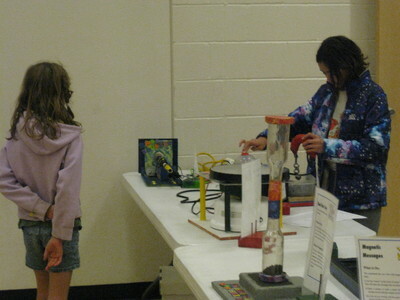 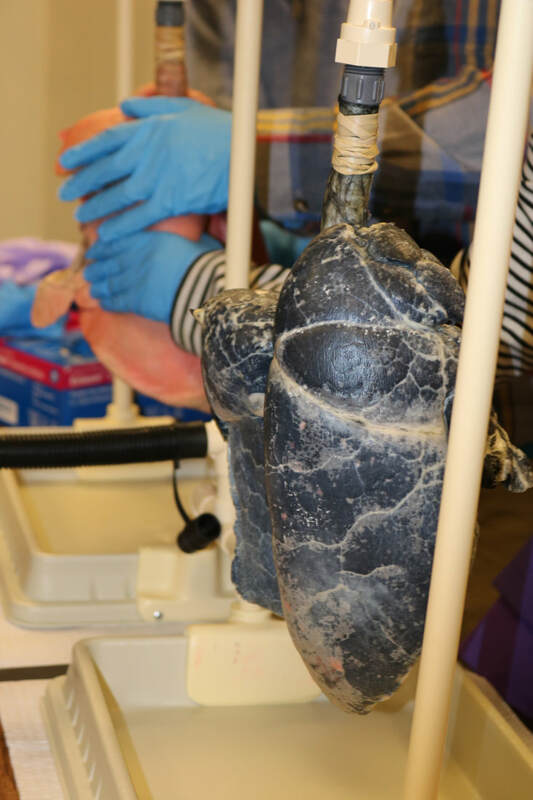 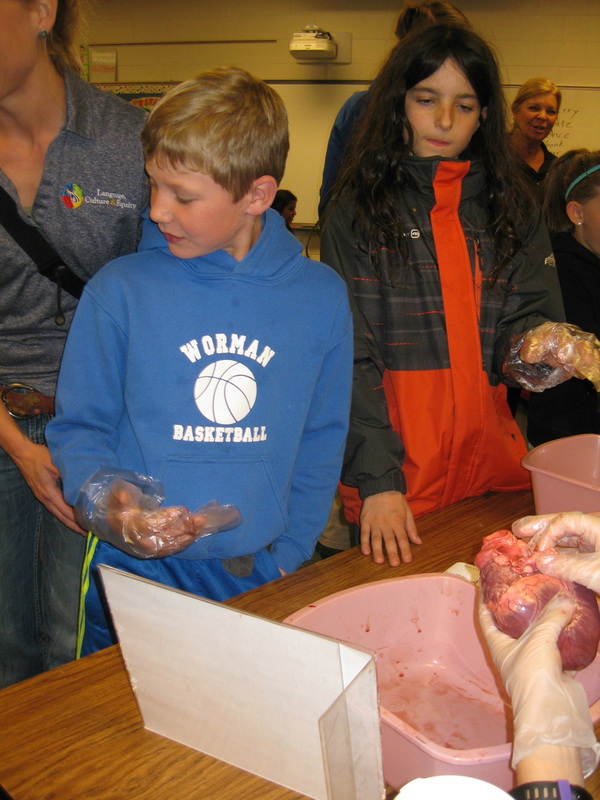 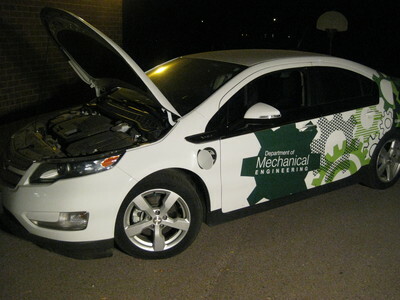 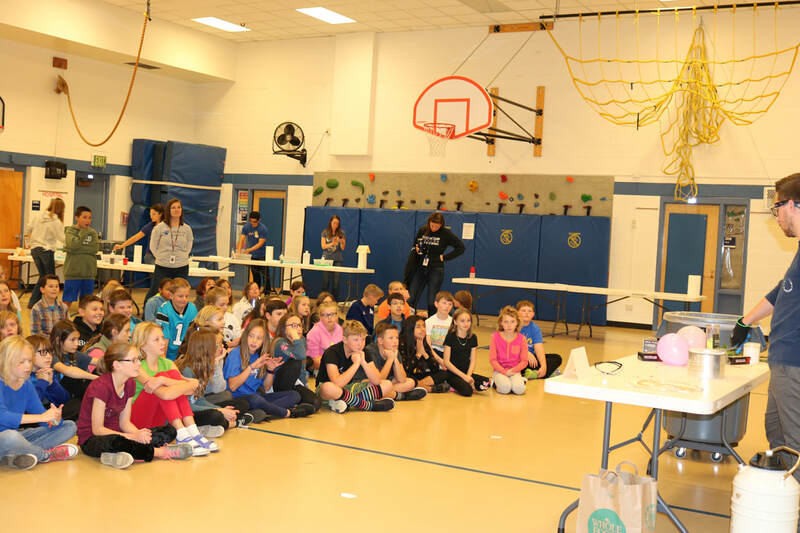 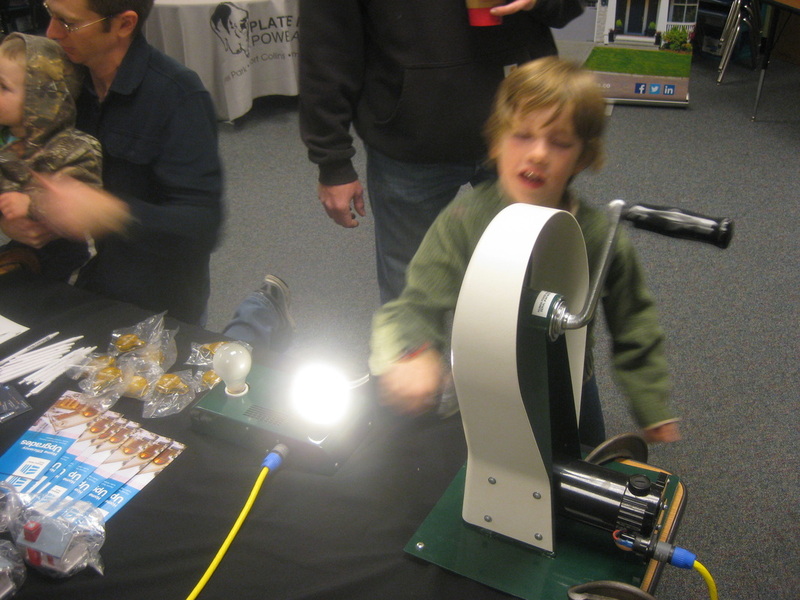 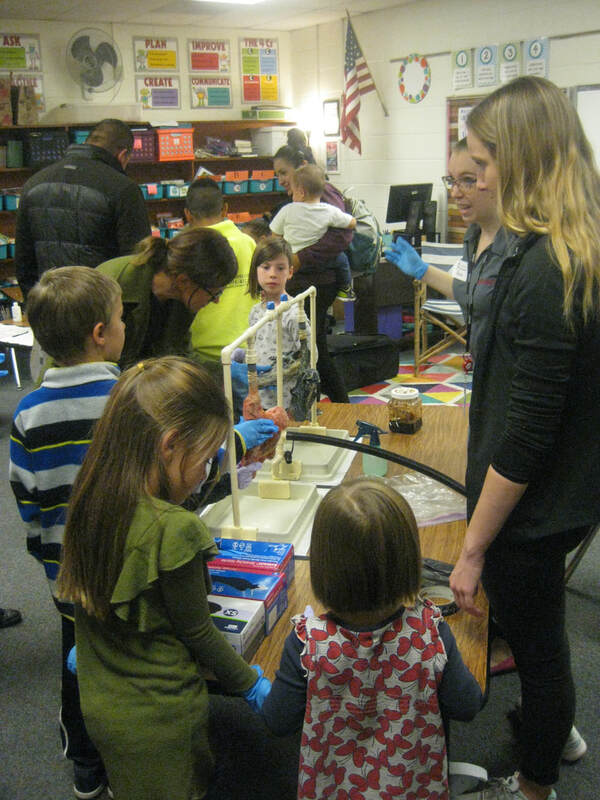 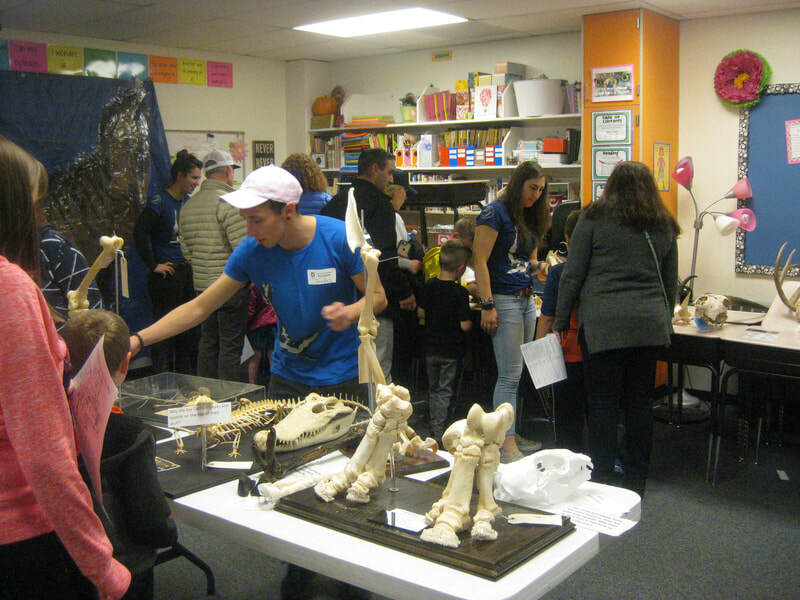 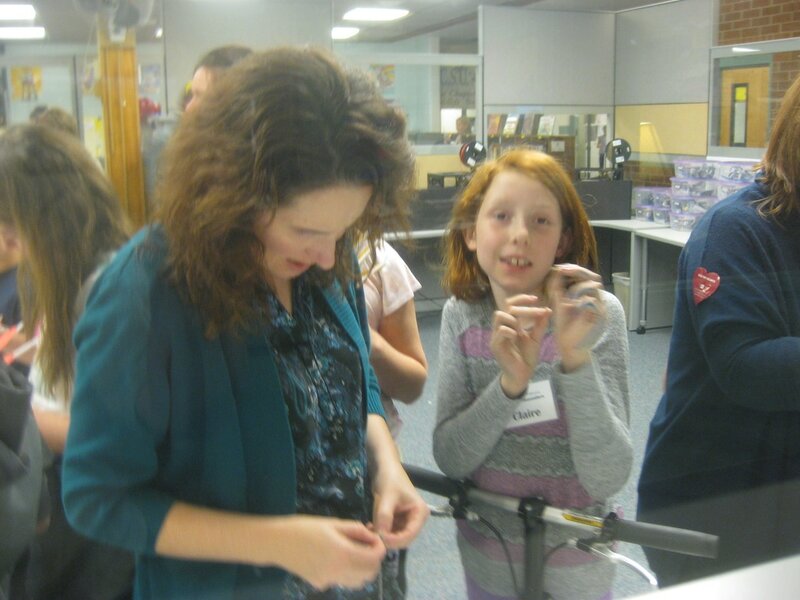 STEM Night 2014 was our 6th Annual event and the Shepardson was filled with fascinating and interactive STEM Night fun and learning. 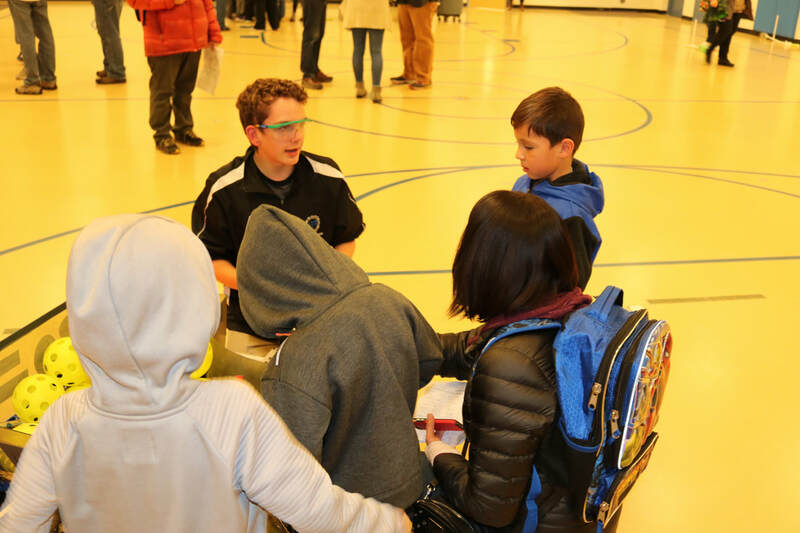 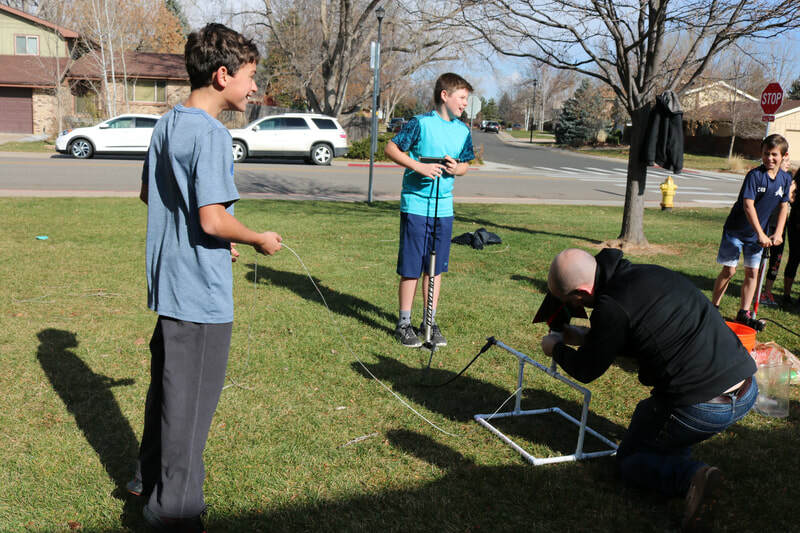 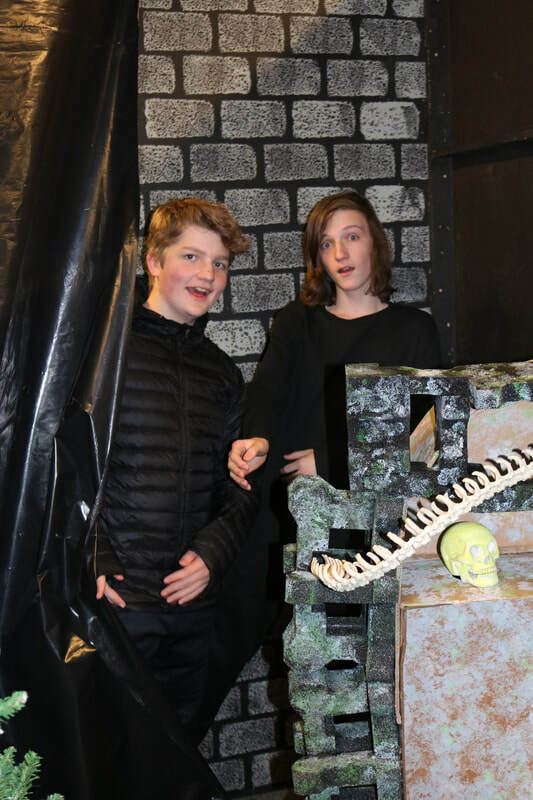 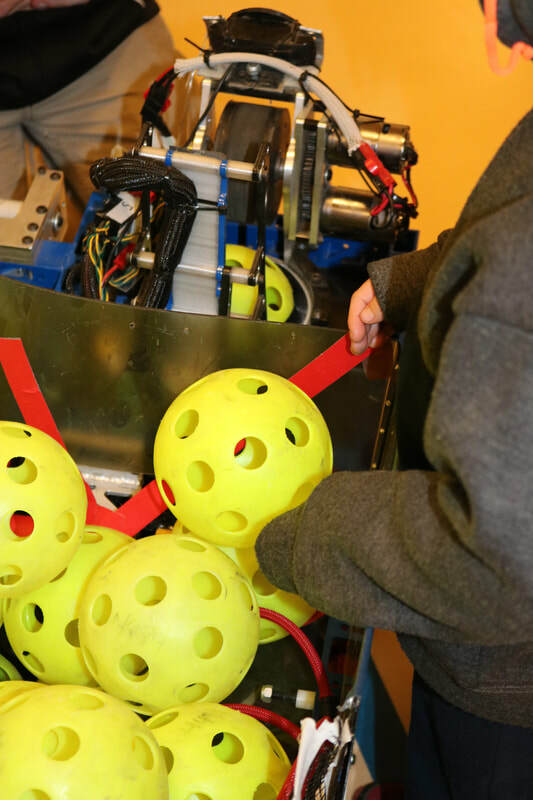 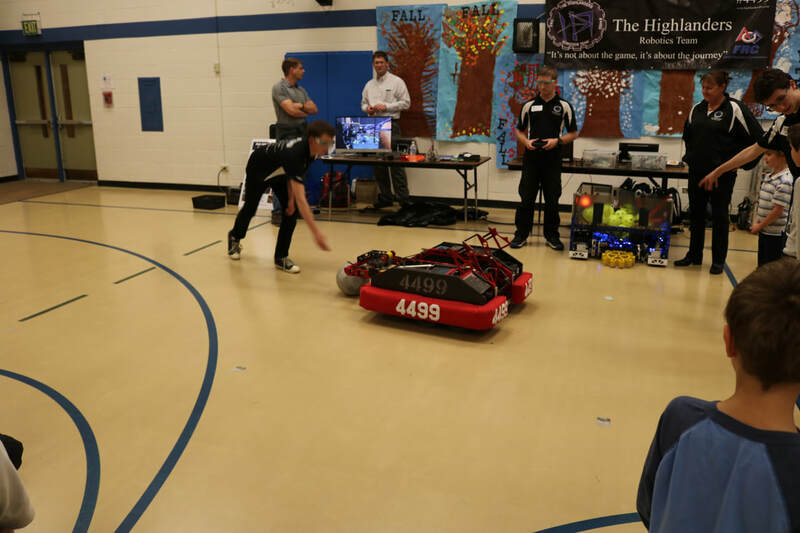 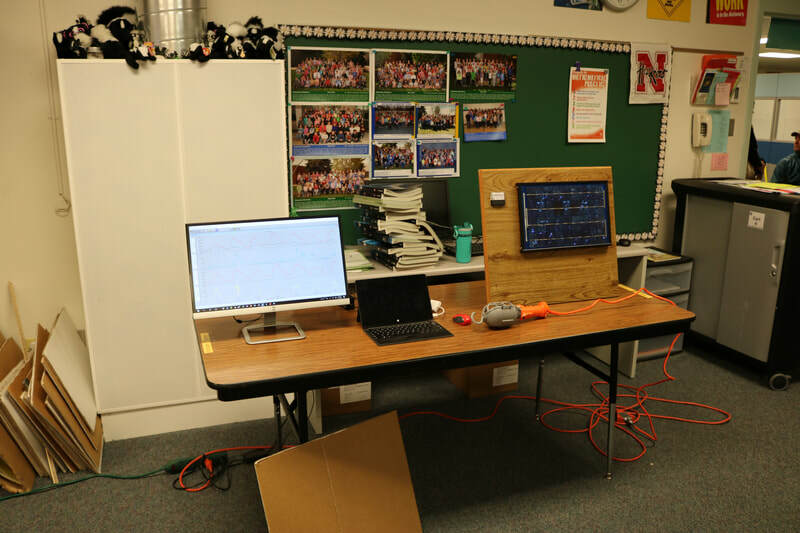 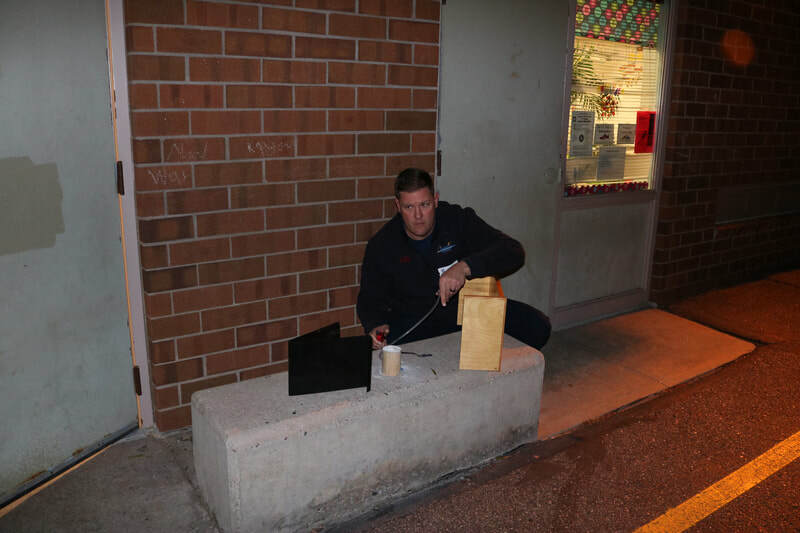 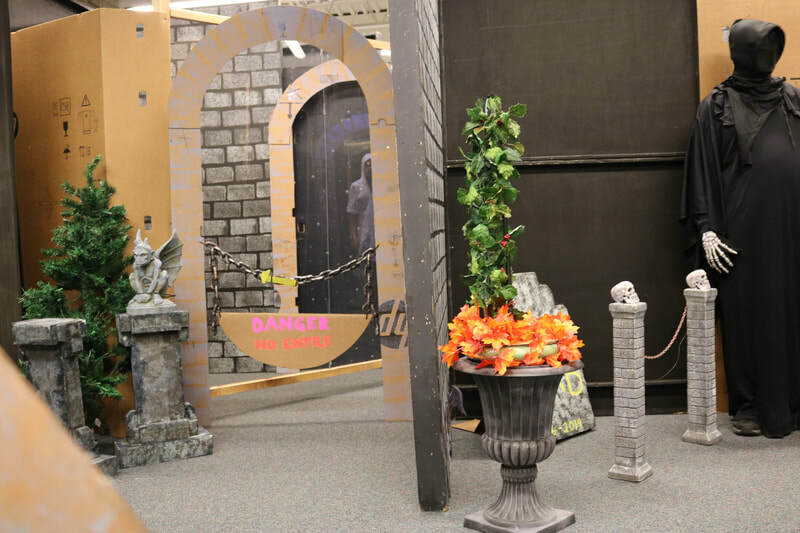 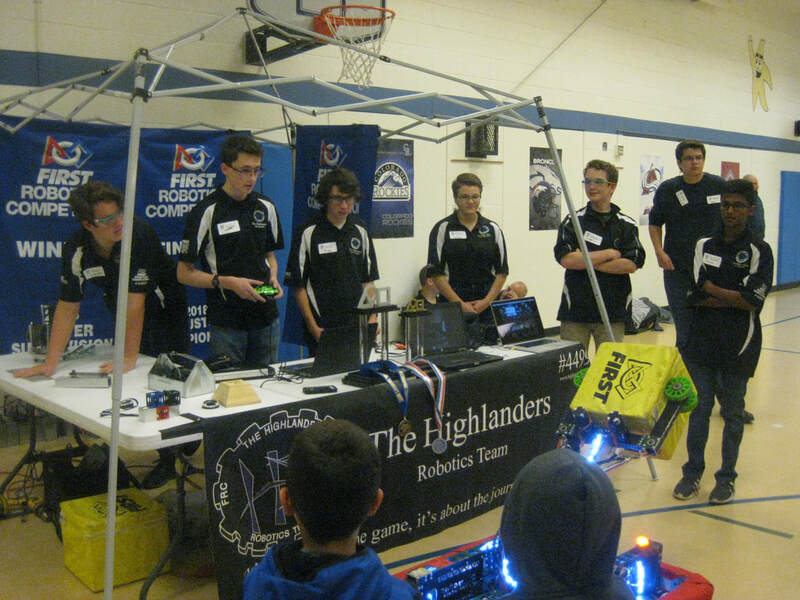 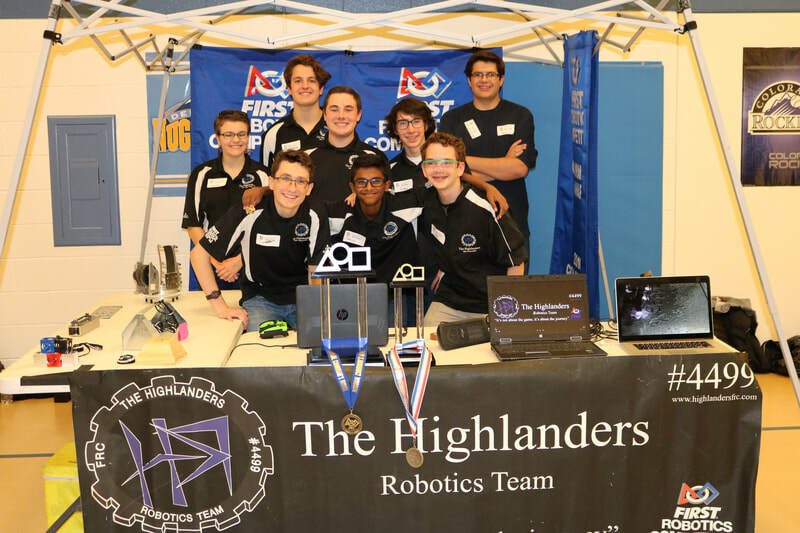 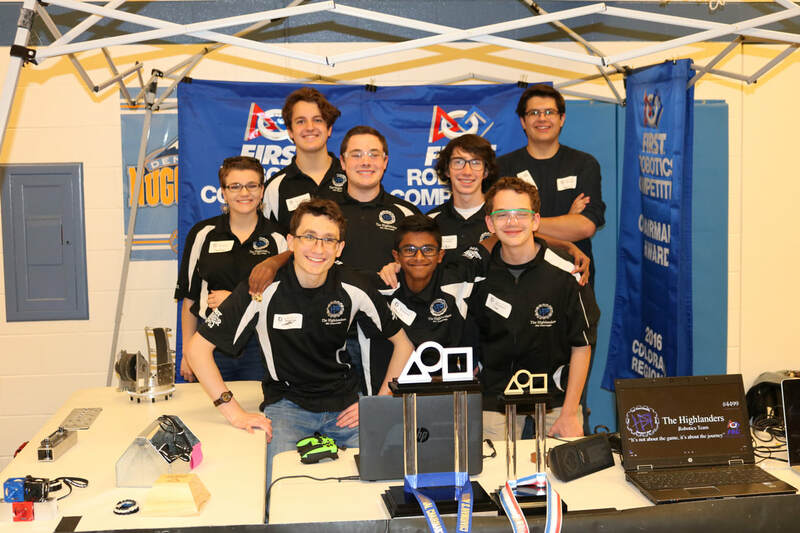 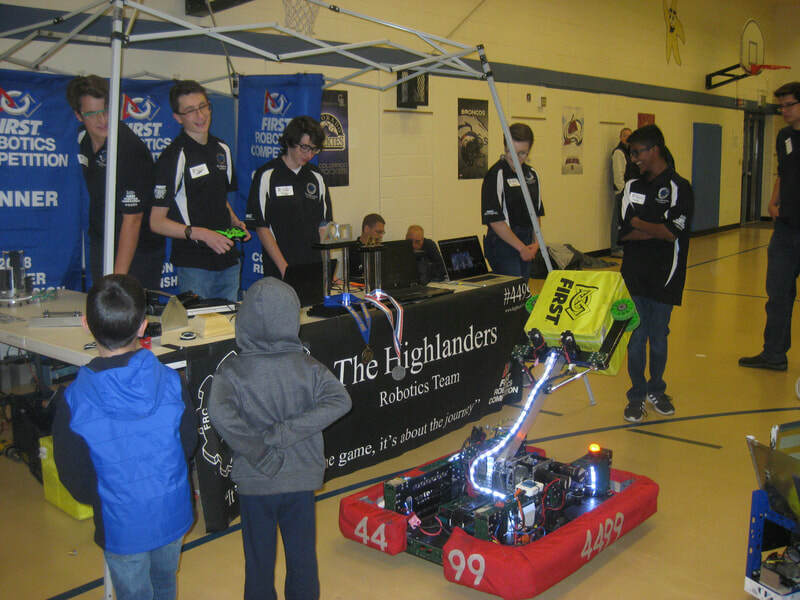 There were demonstrations and hands-on activities in electronics, engineering, chemistry, and a huge variety of activities for our students and their families to enjoy throughout the school. 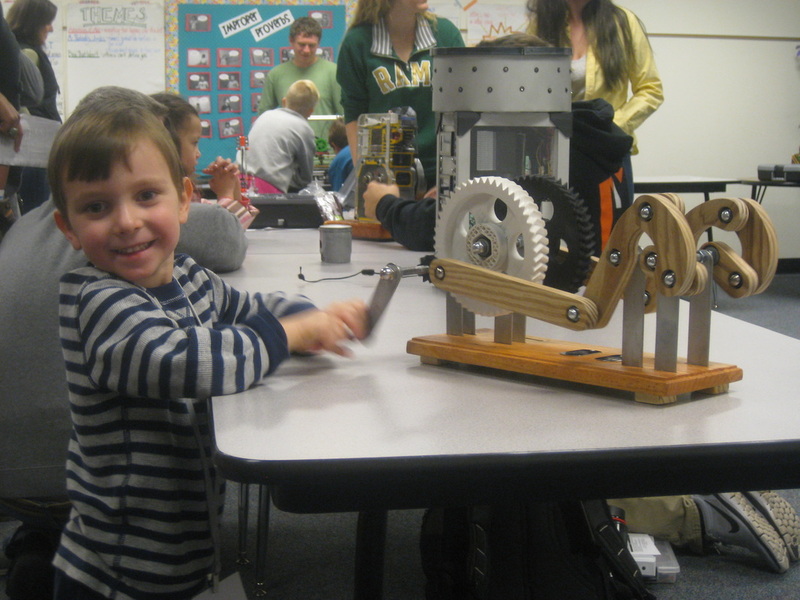 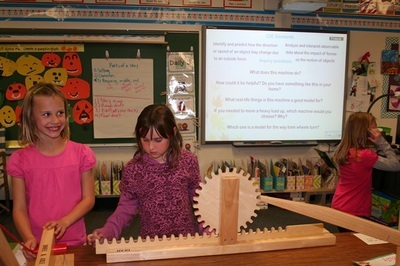 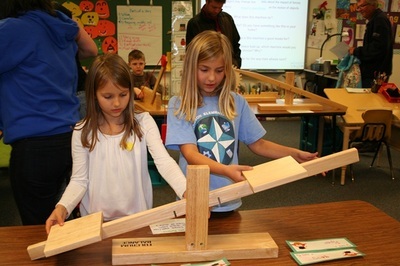 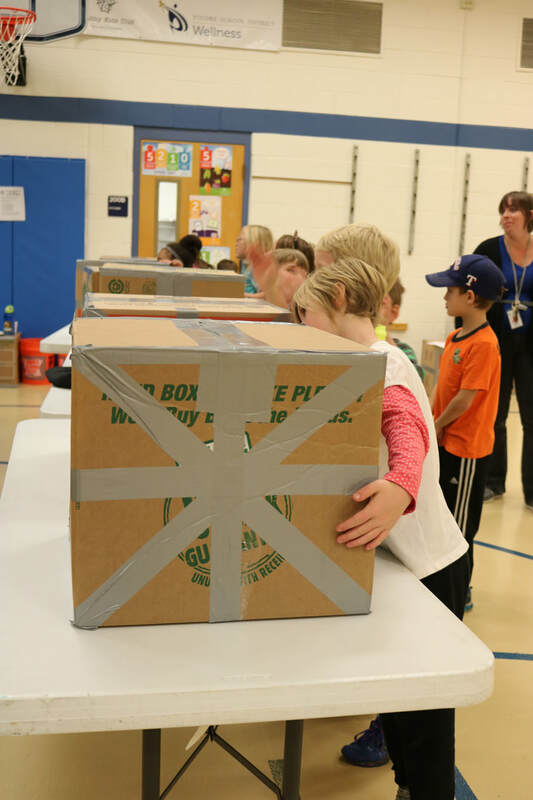 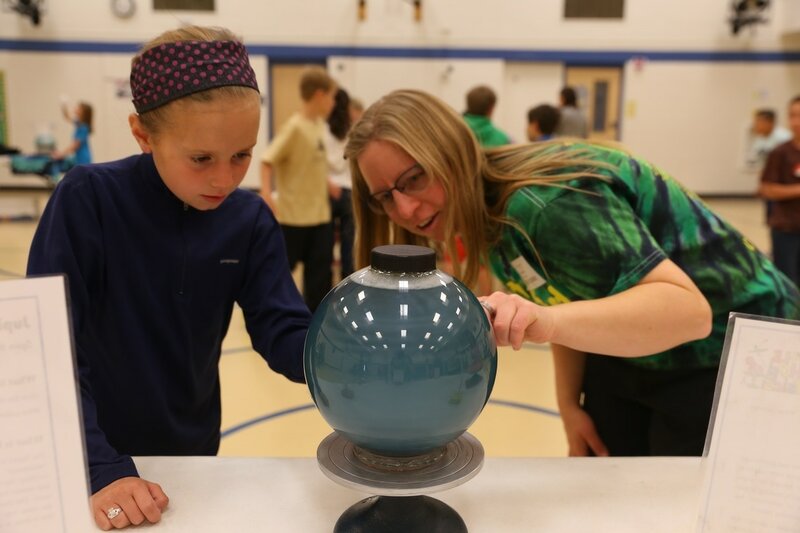 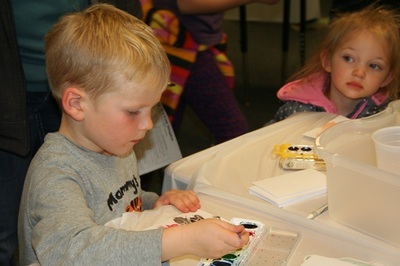 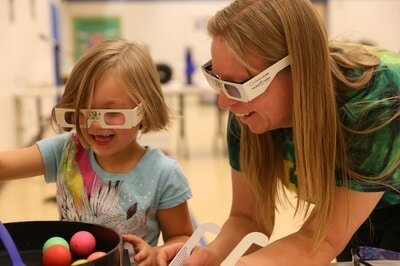 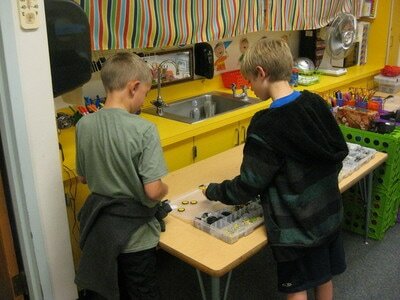 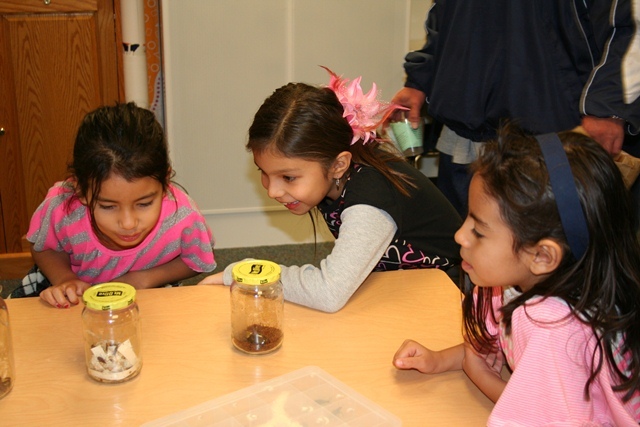 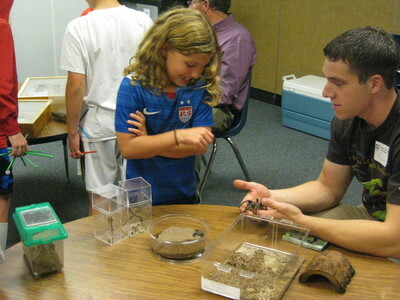 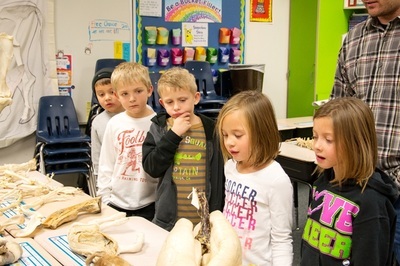 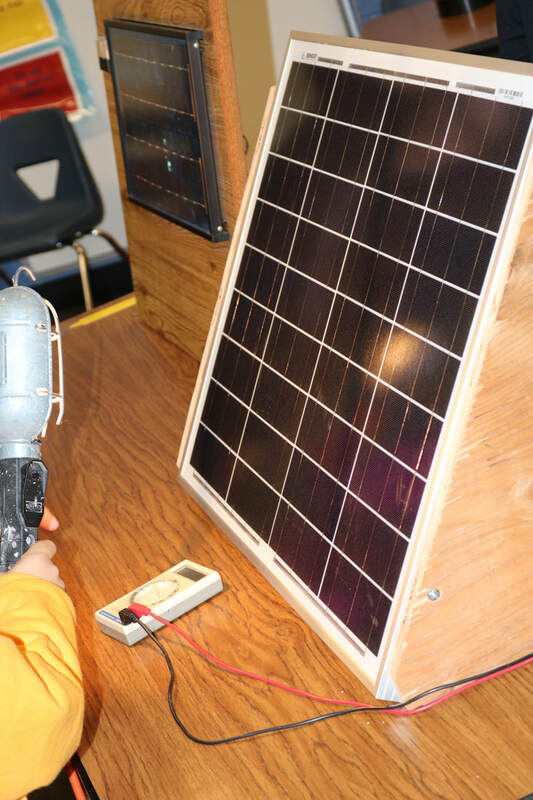 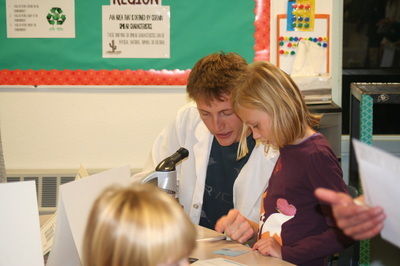 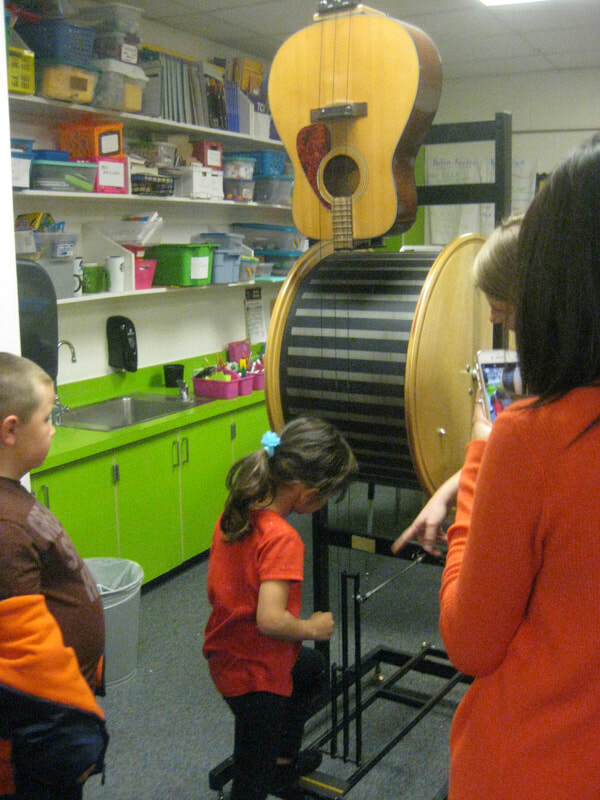 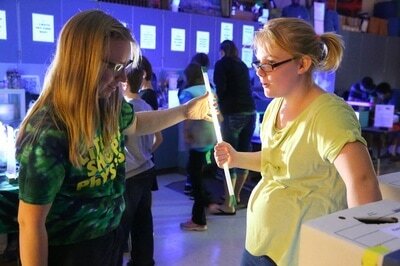 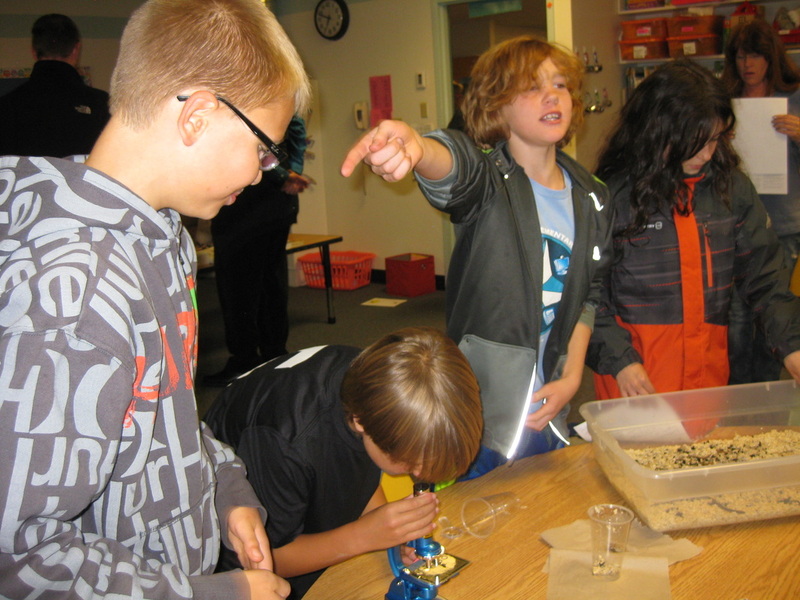 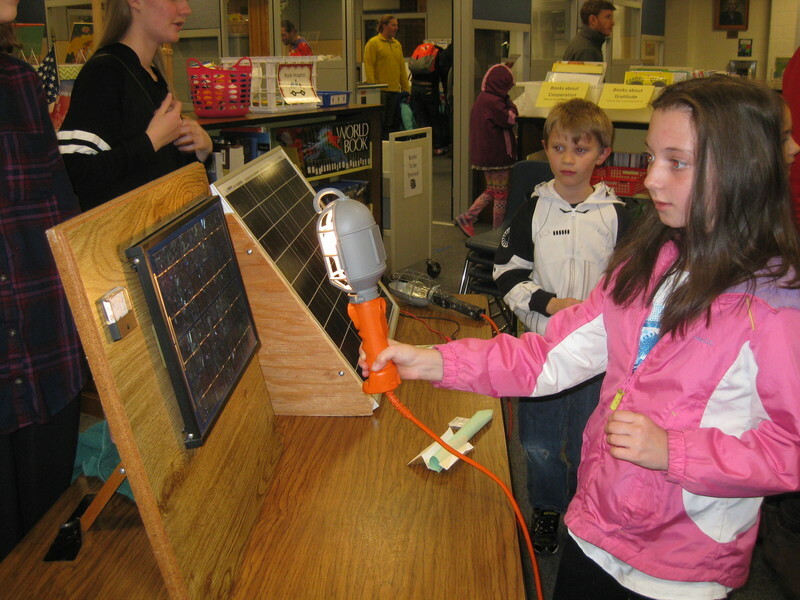 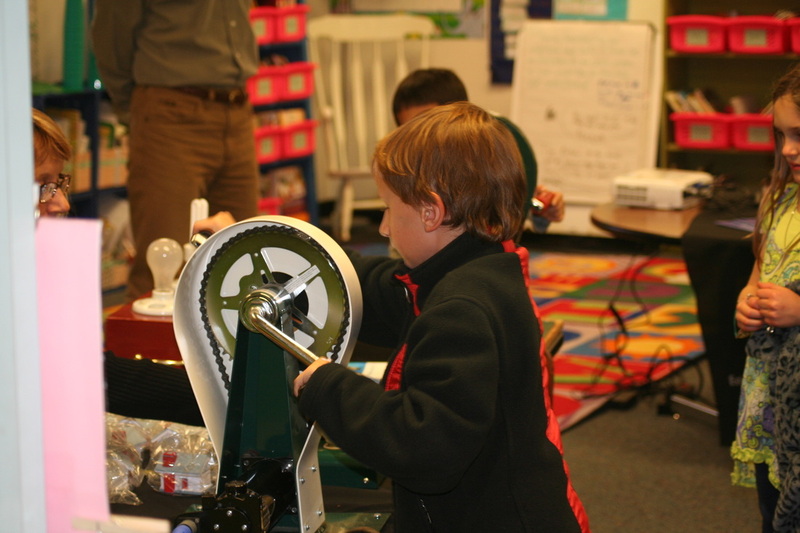 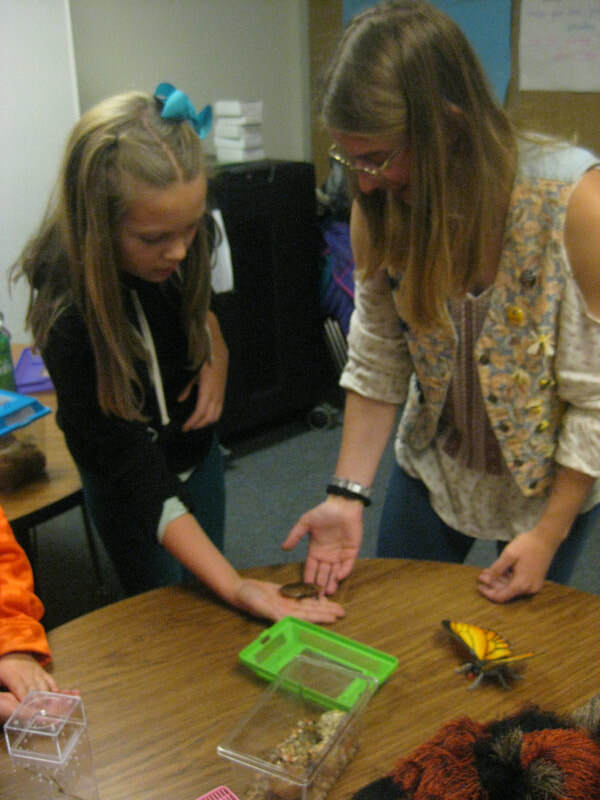 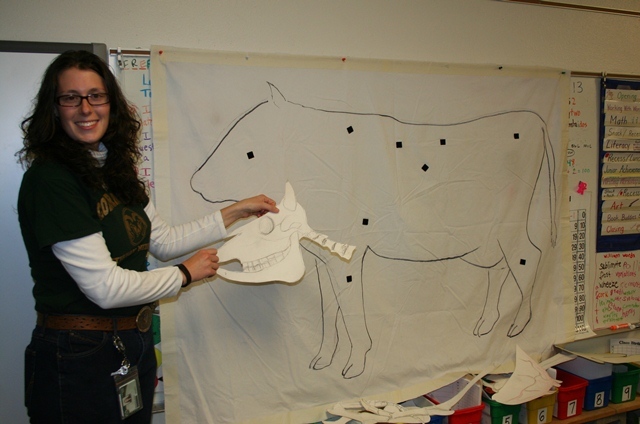 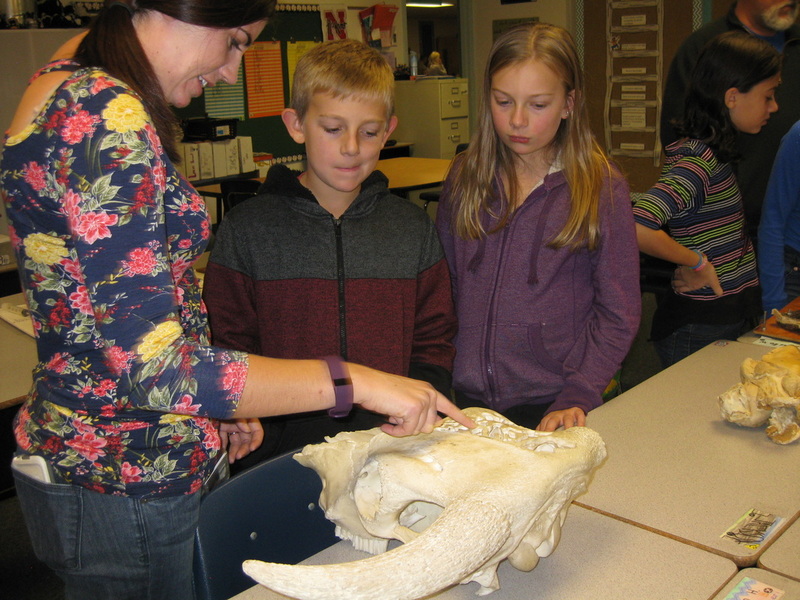 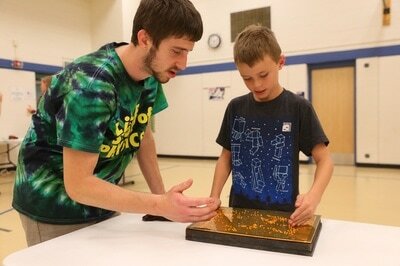 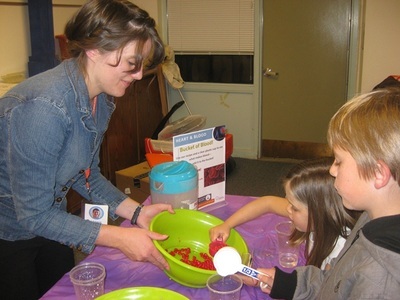 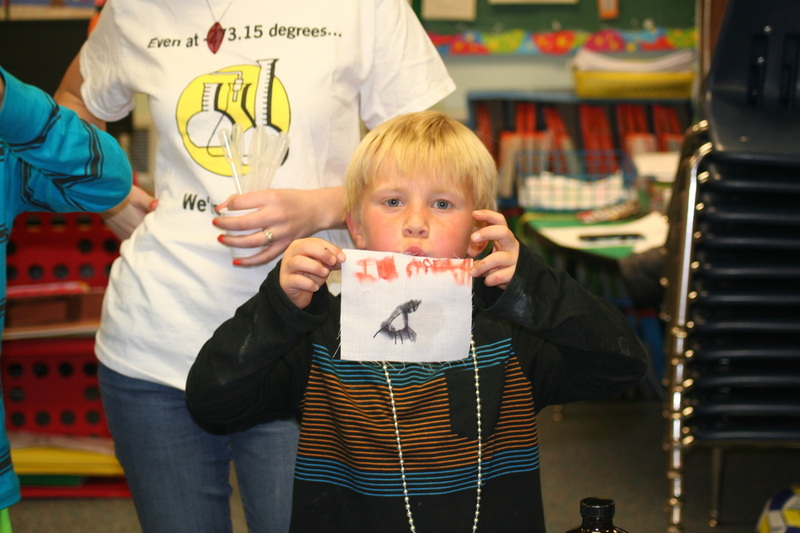 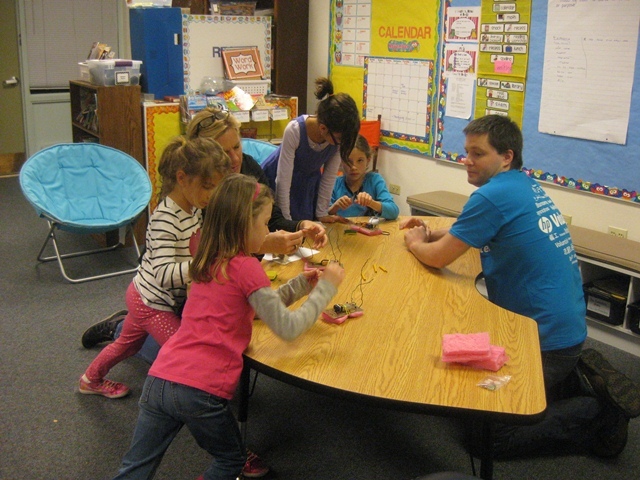 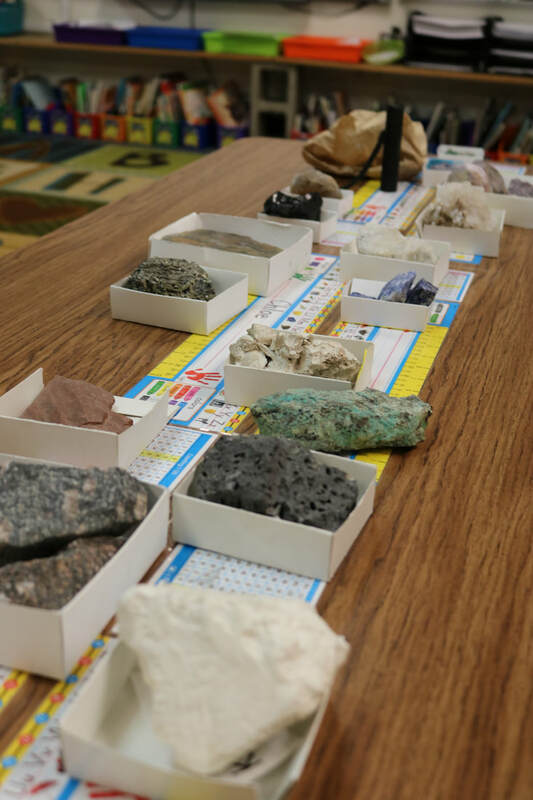 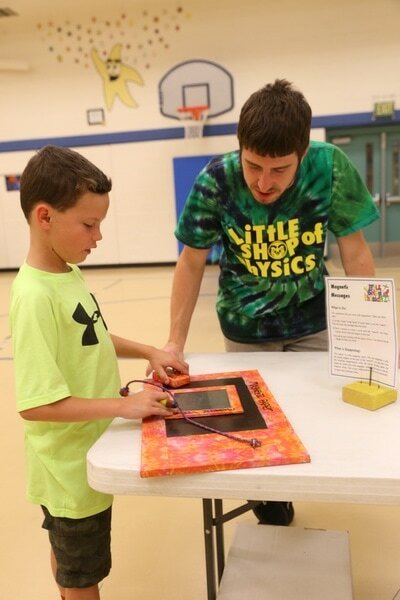 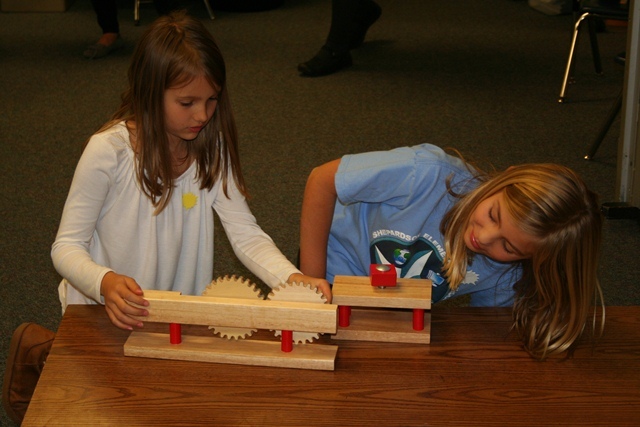 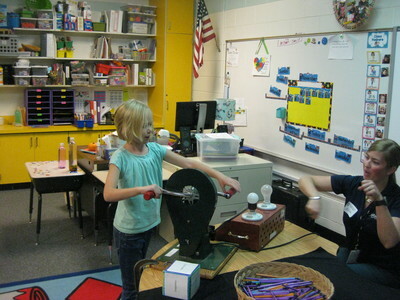 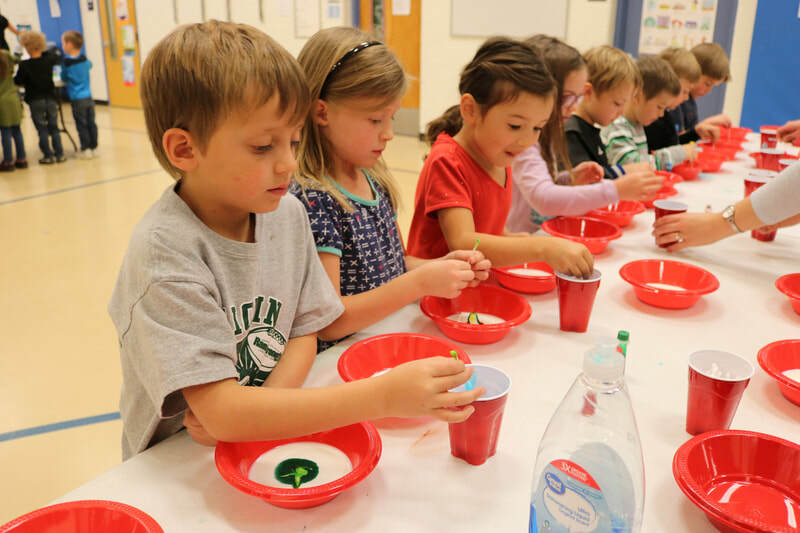 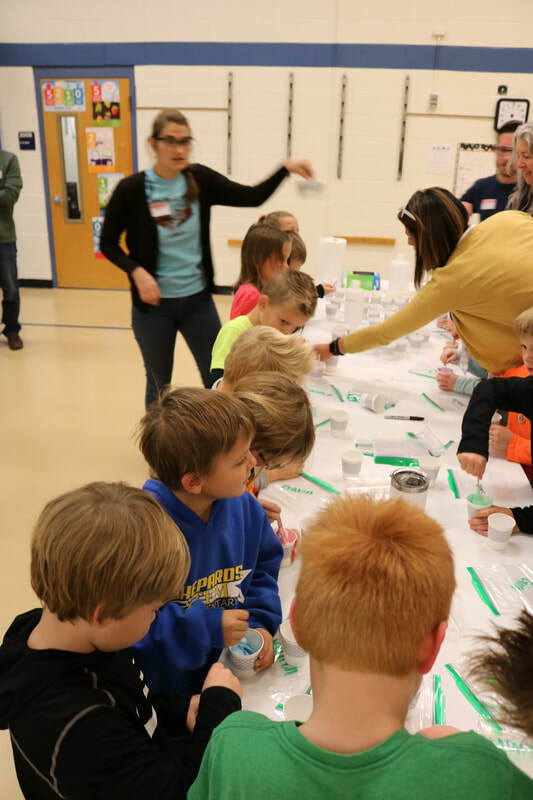 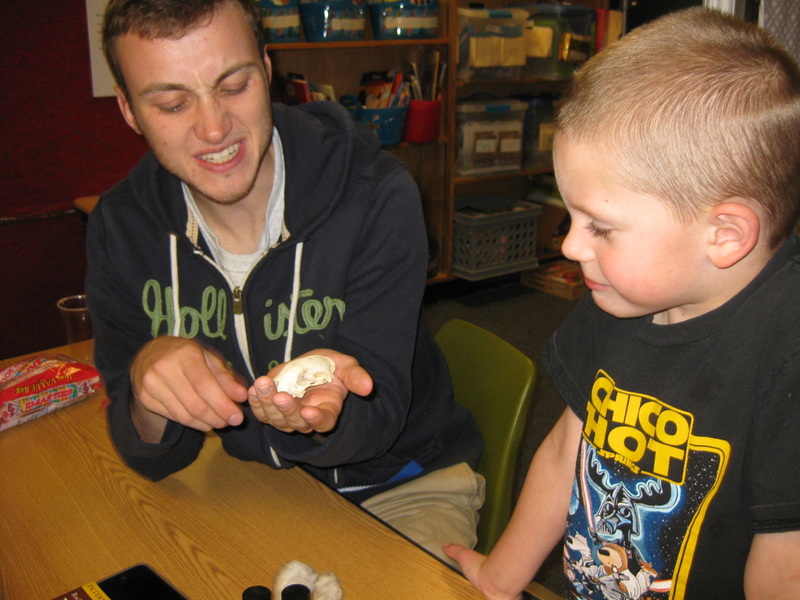 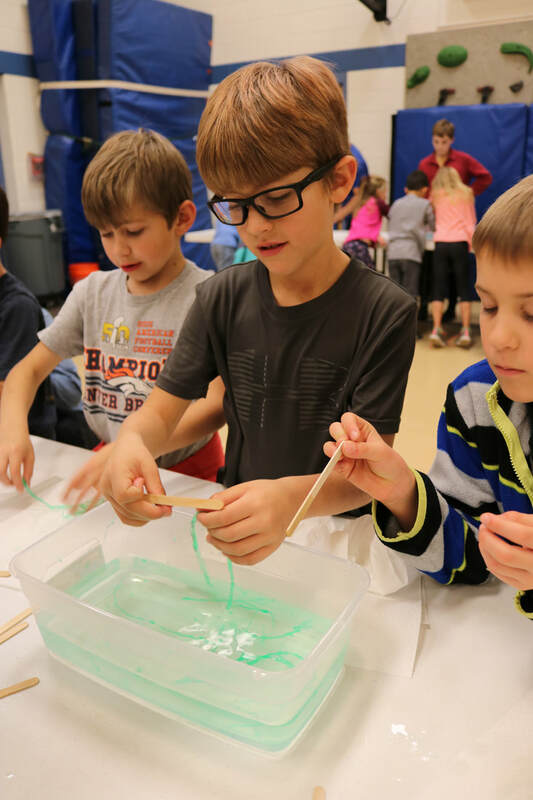 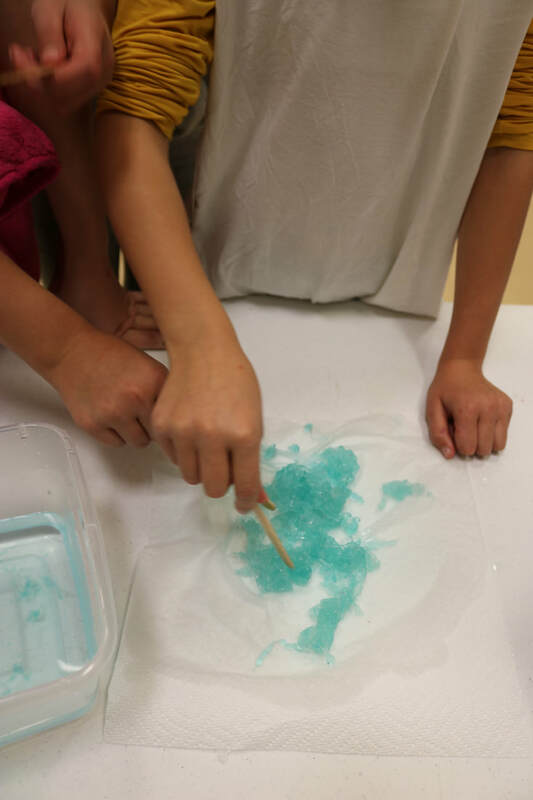 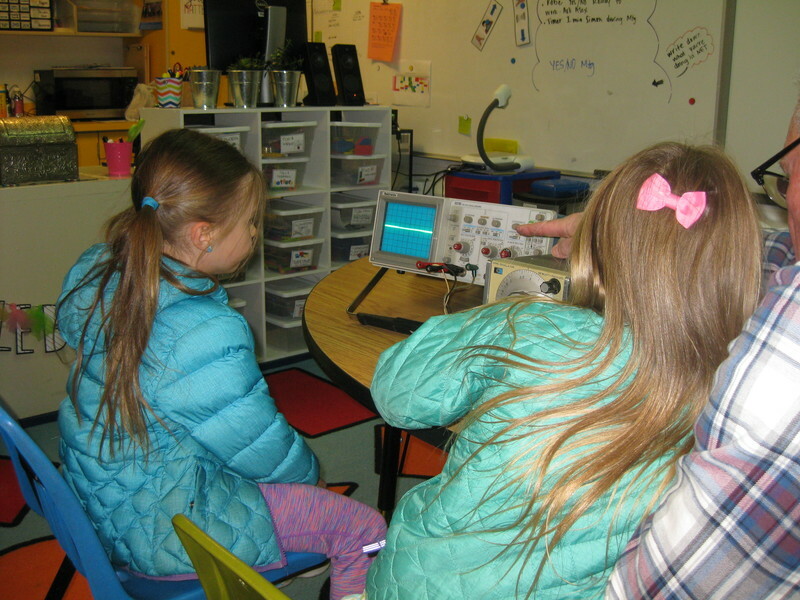 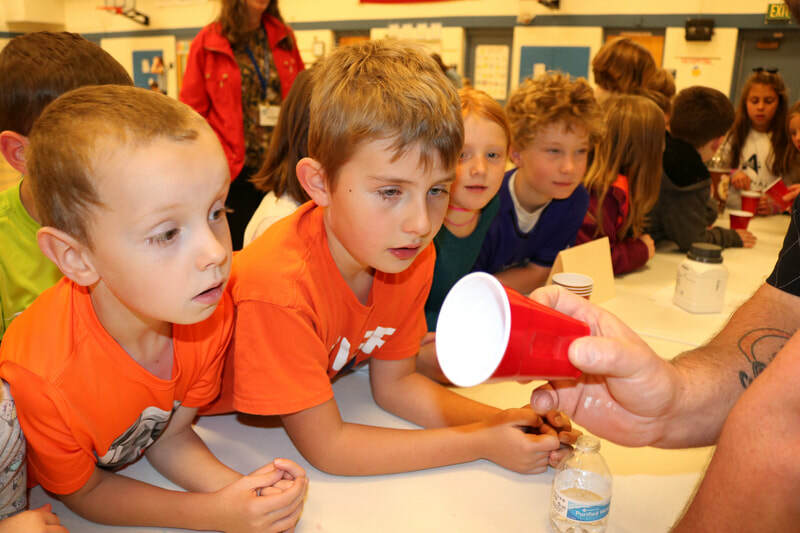 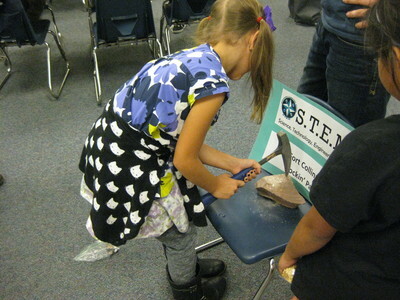 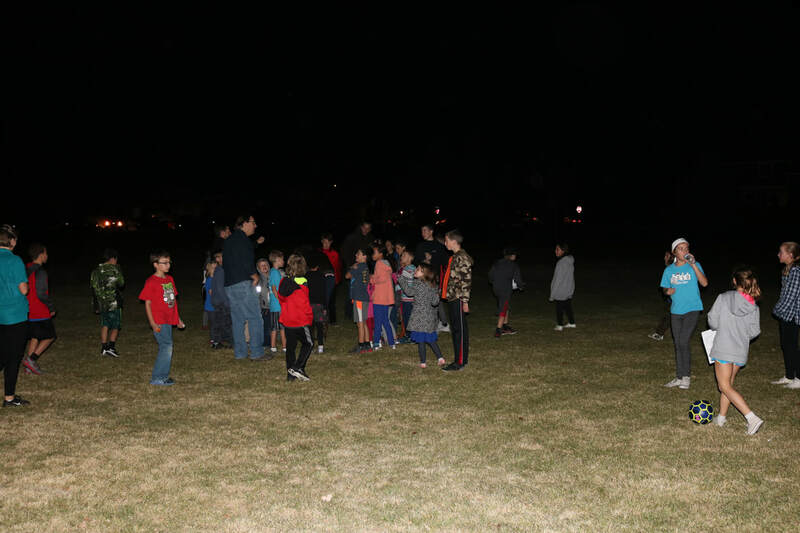 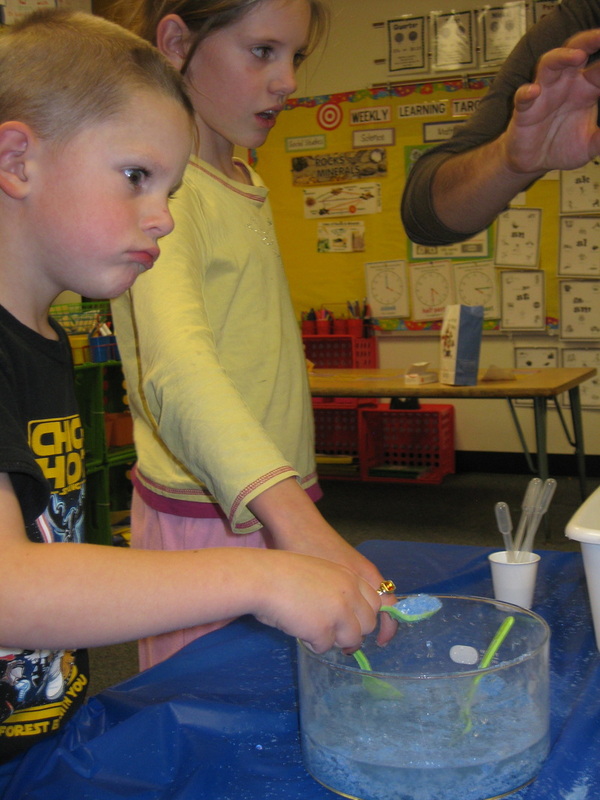 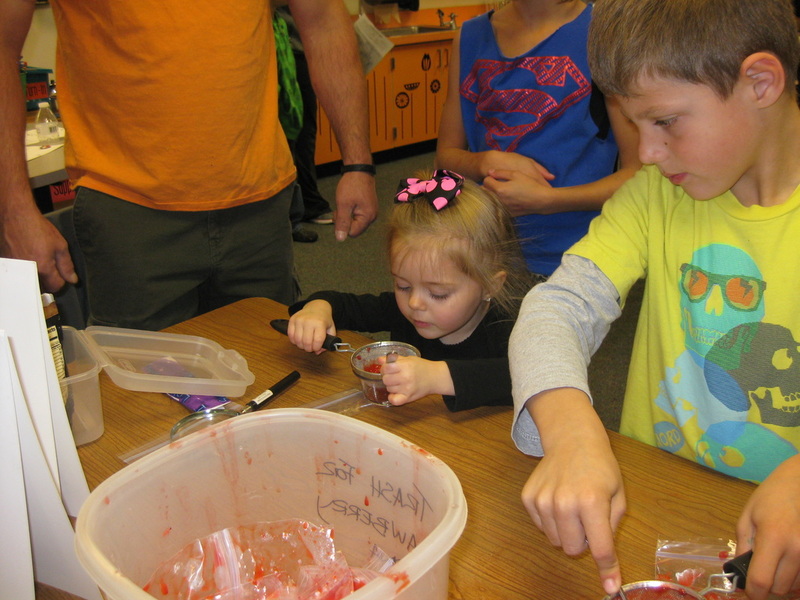 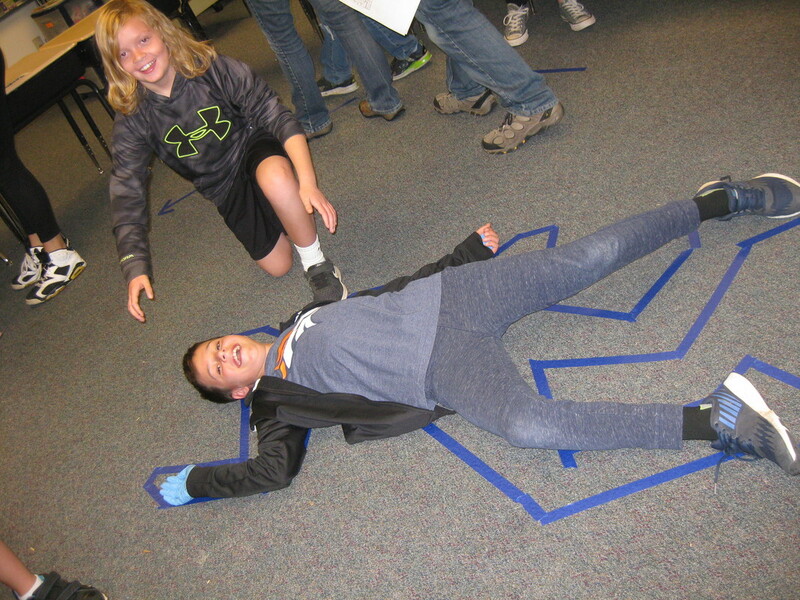 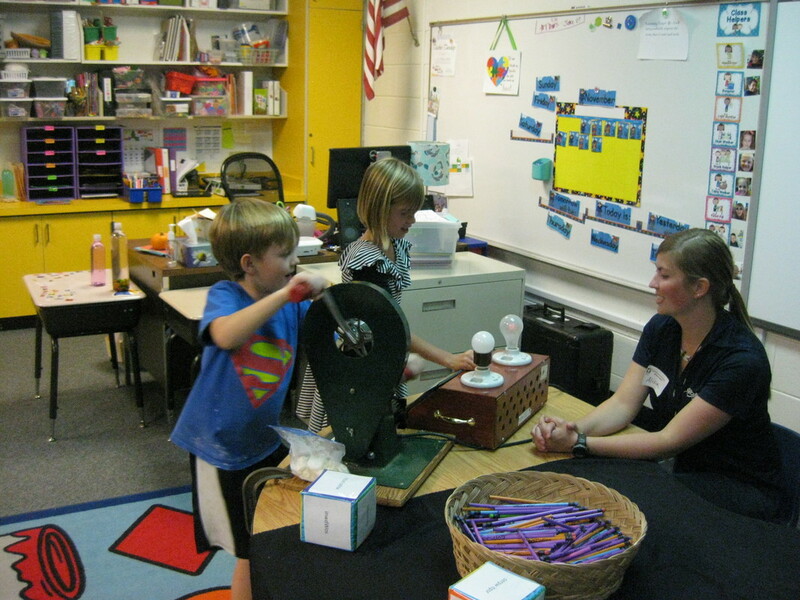 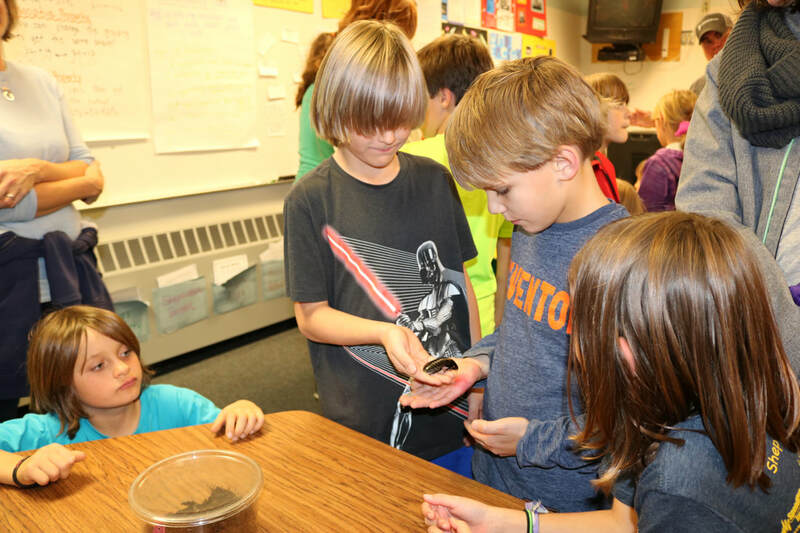 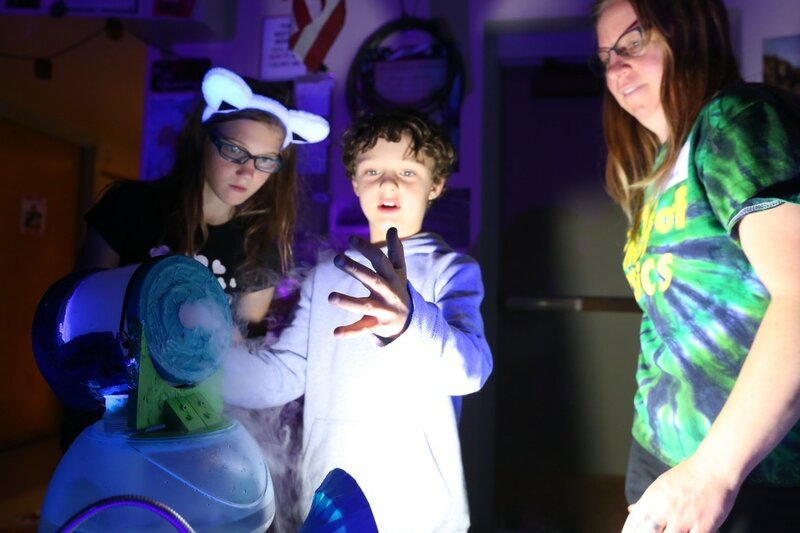 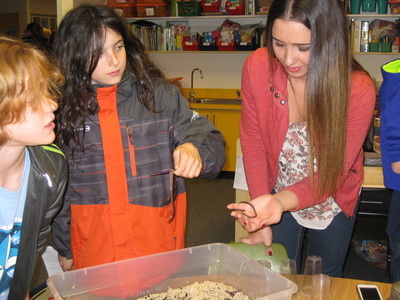 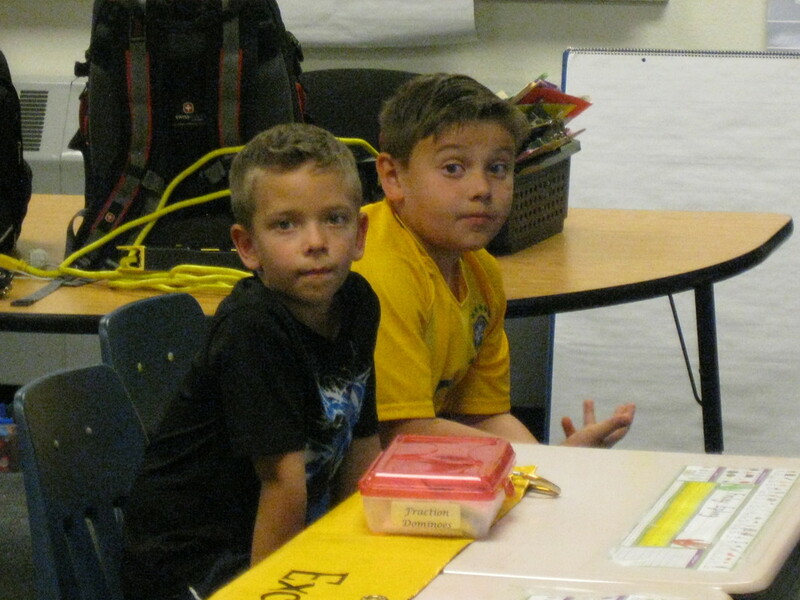 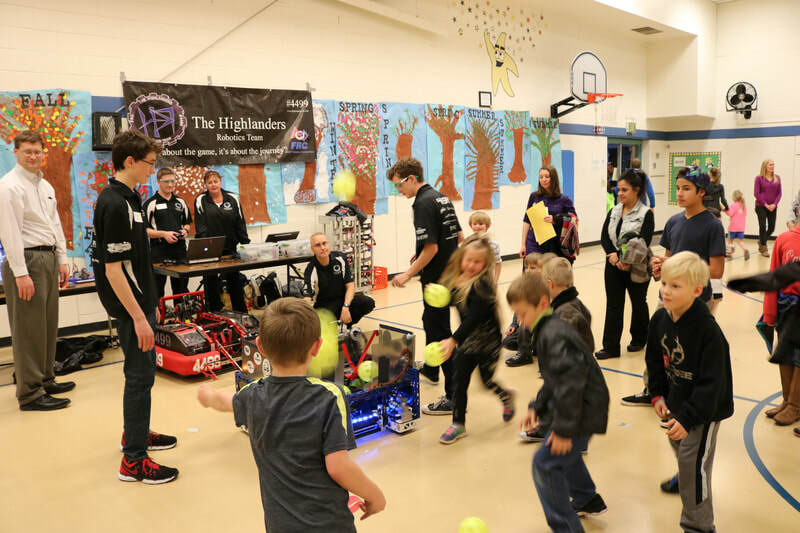 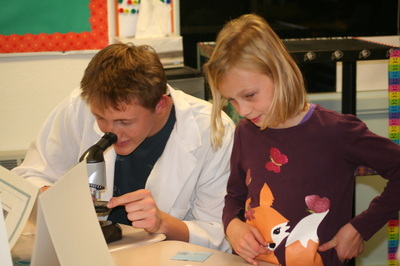 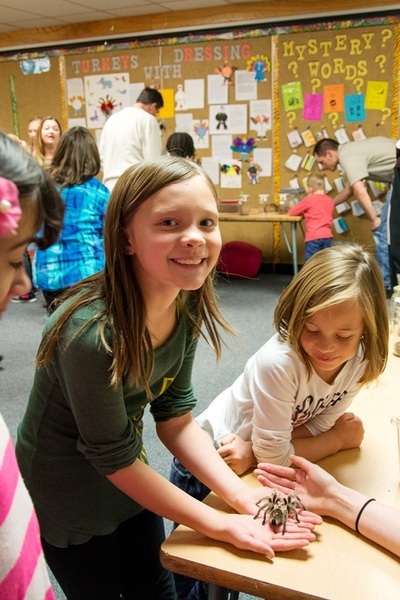 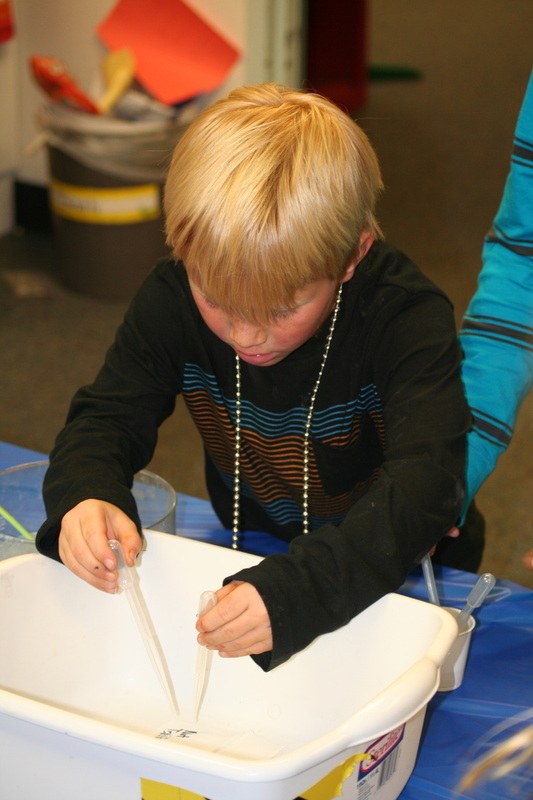 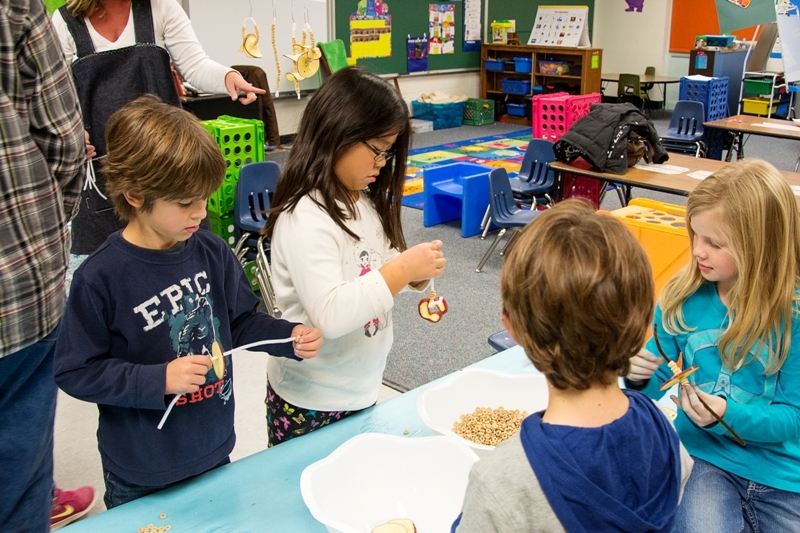 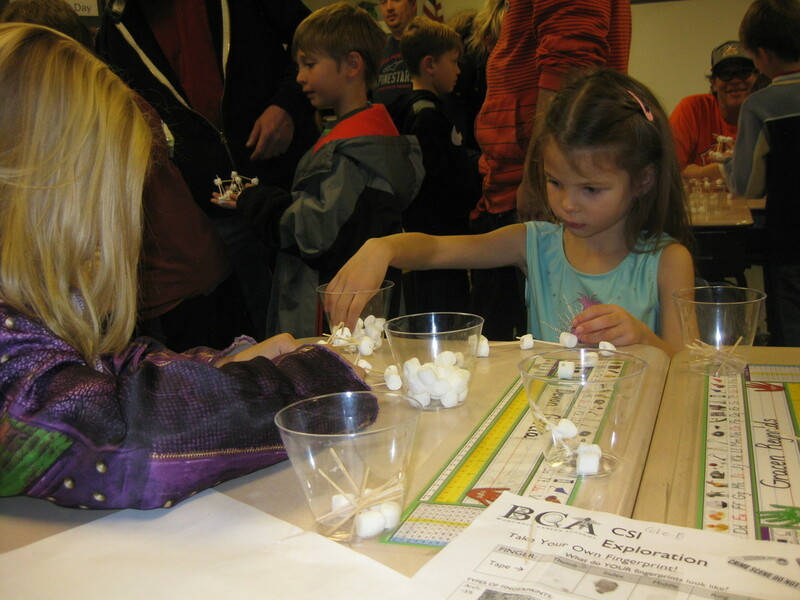 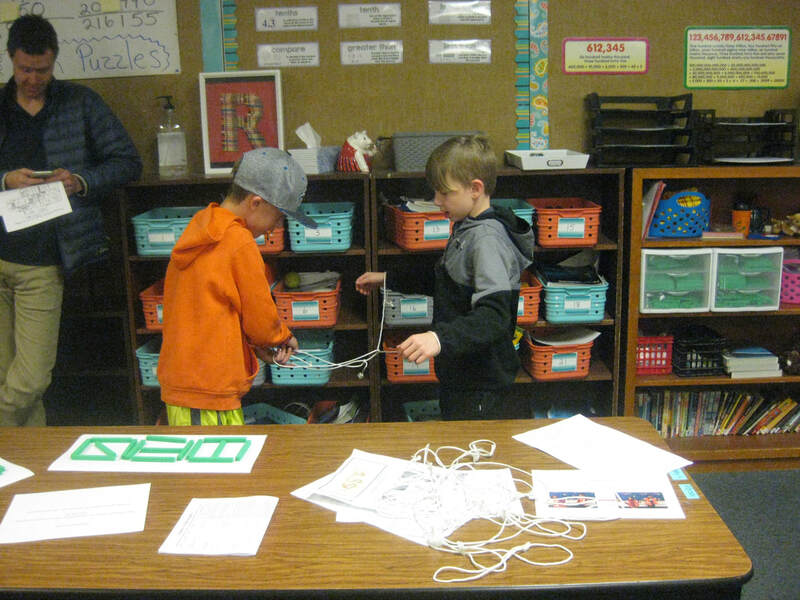 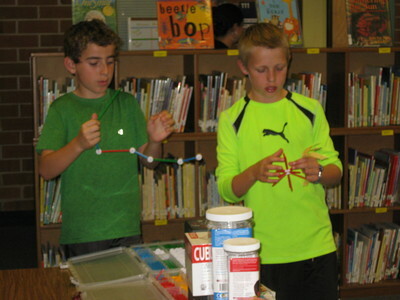 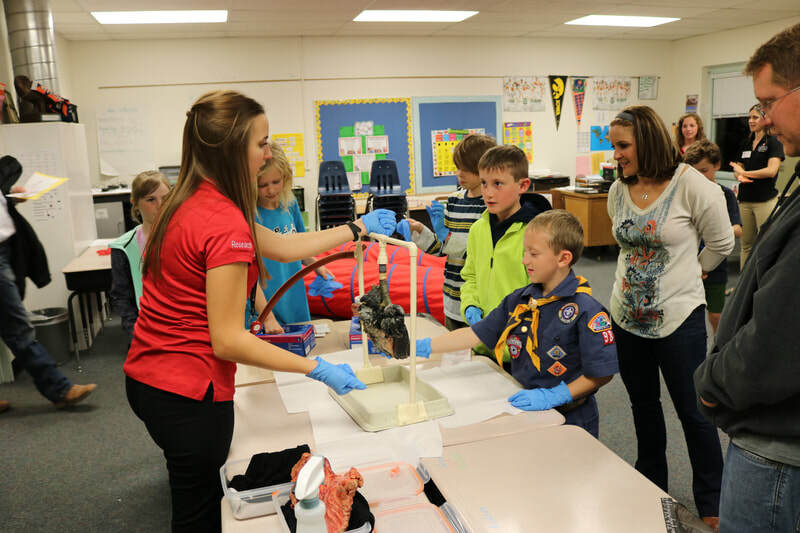 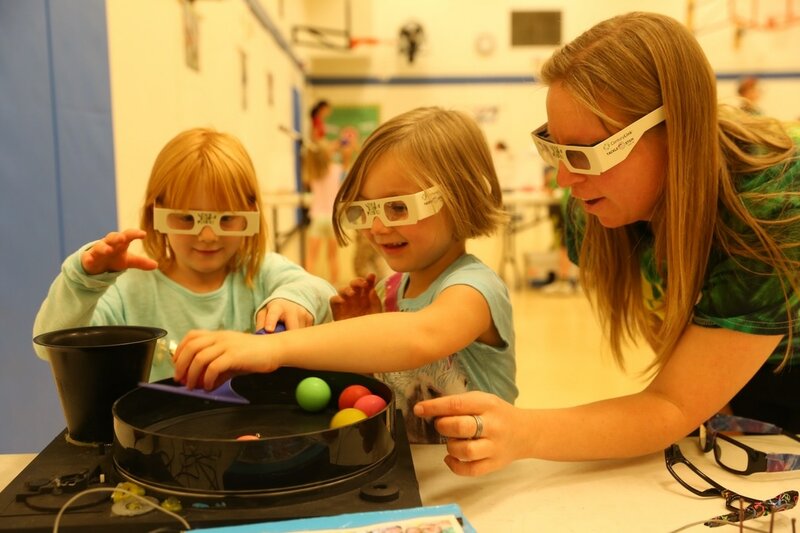 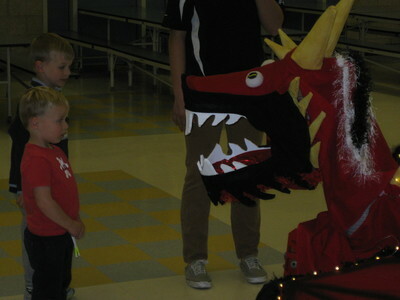 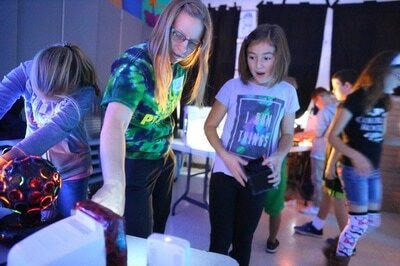 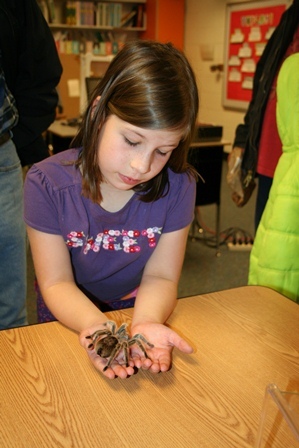 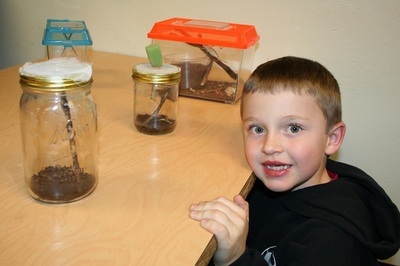 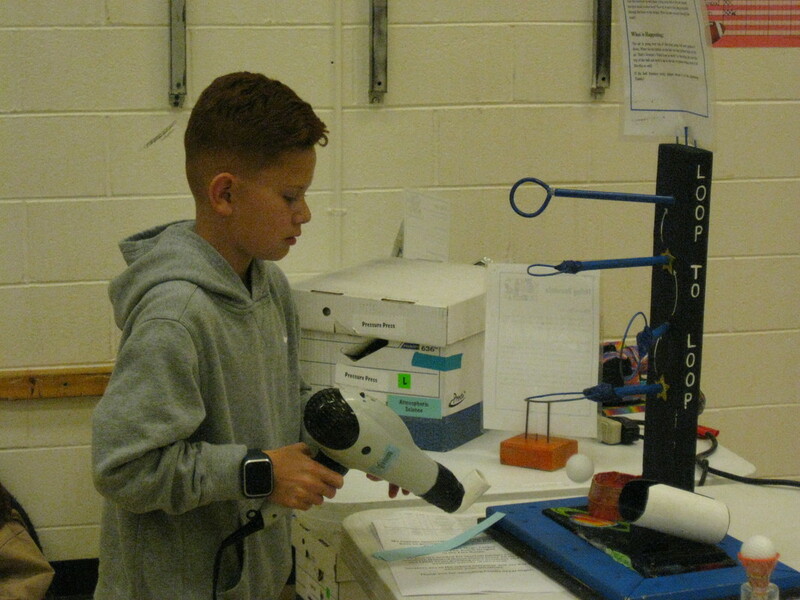 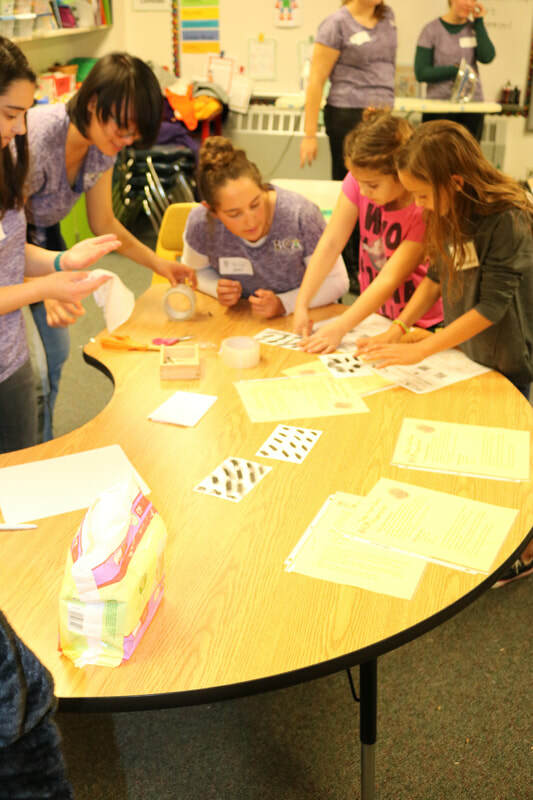 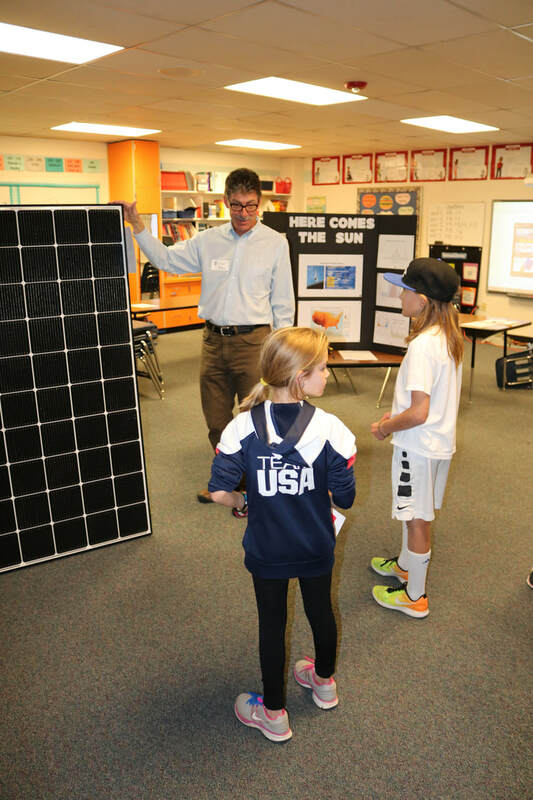 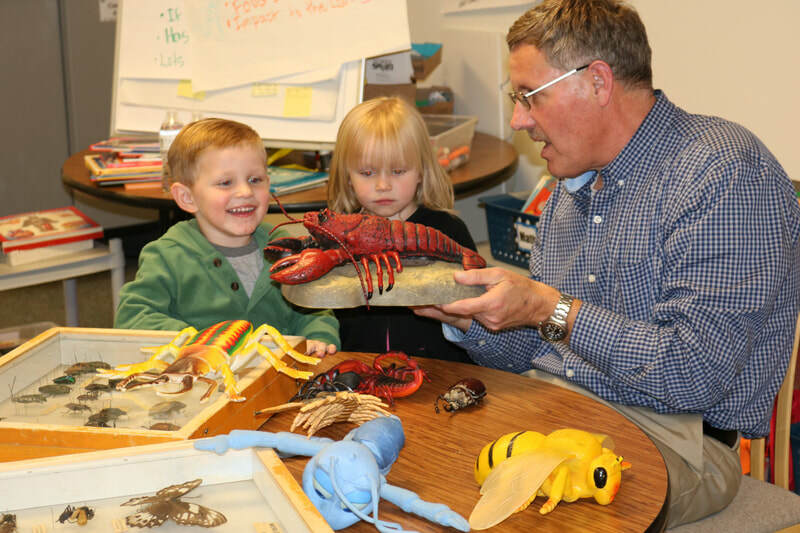 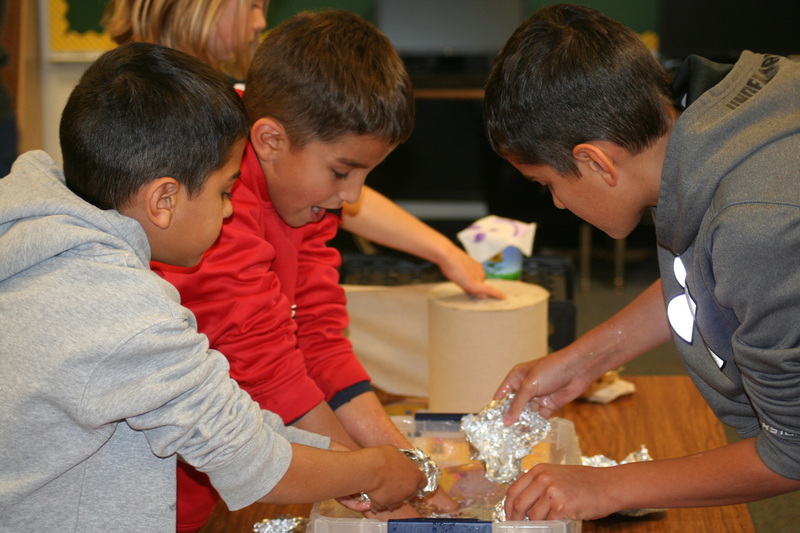 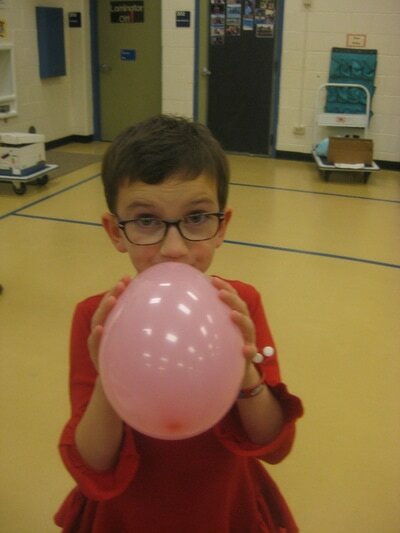 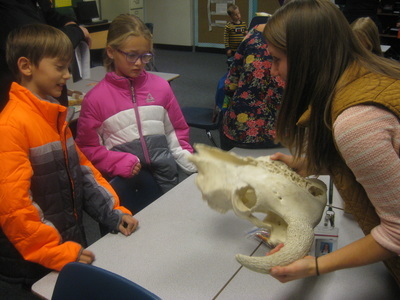 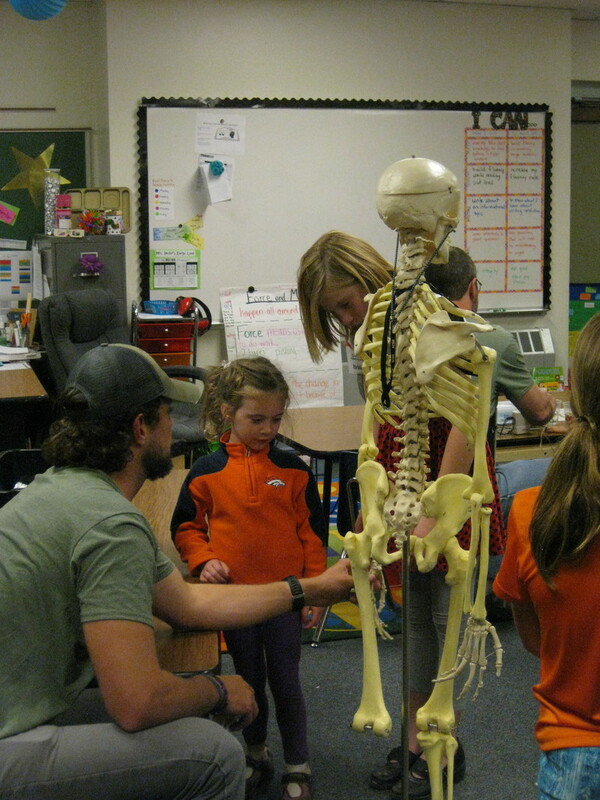 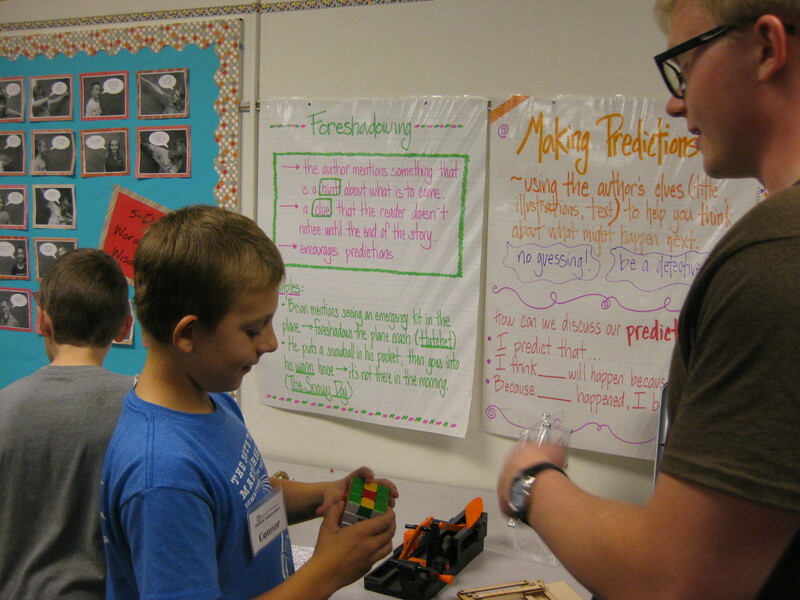 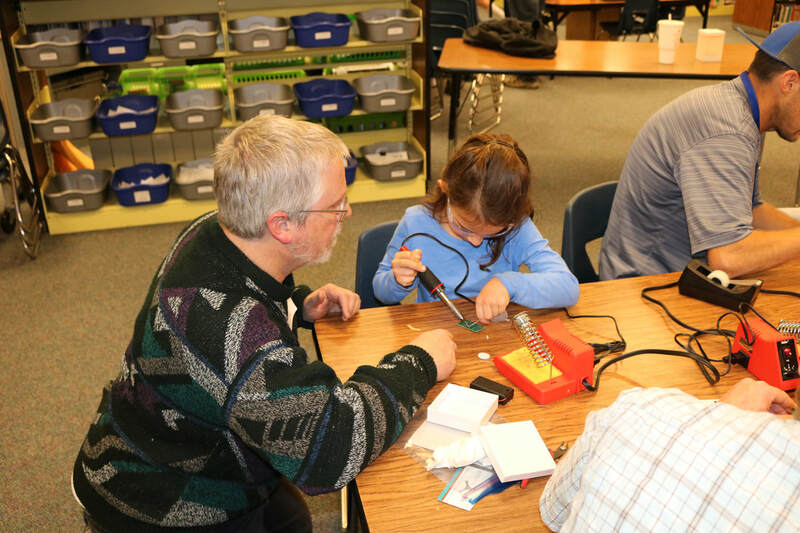 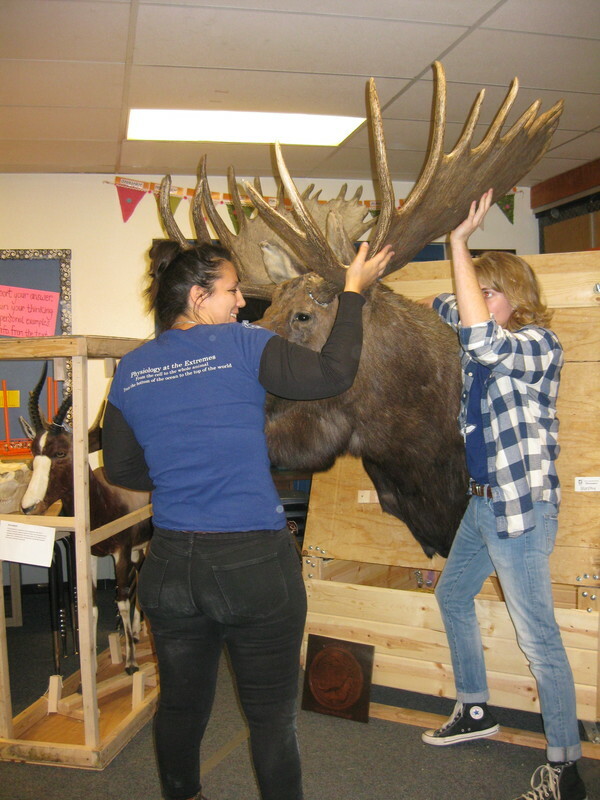 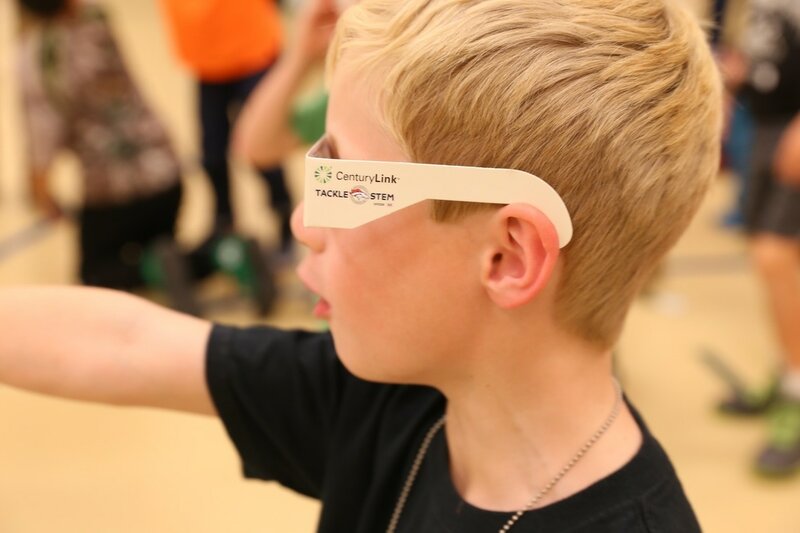 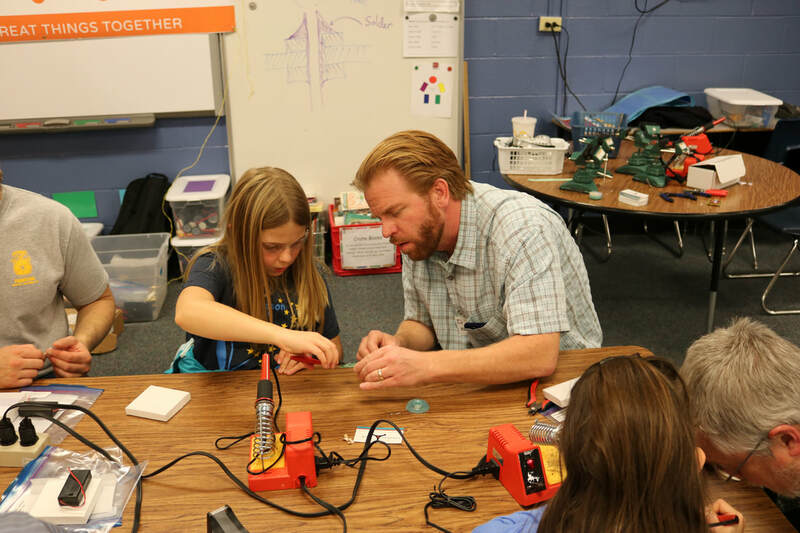 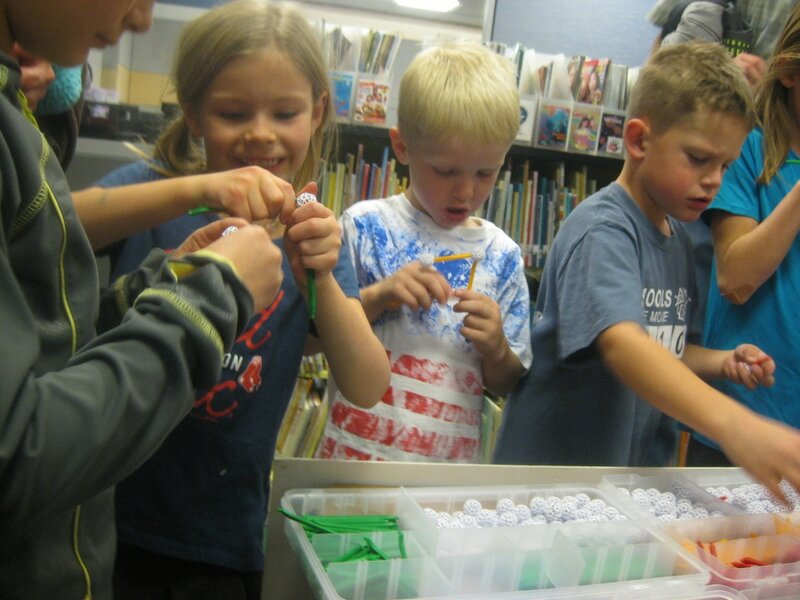 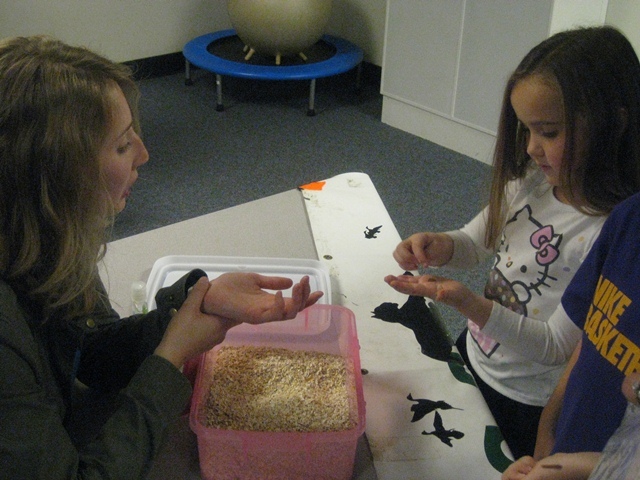 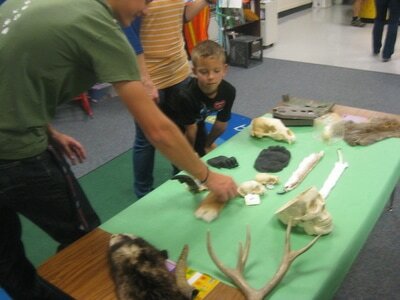 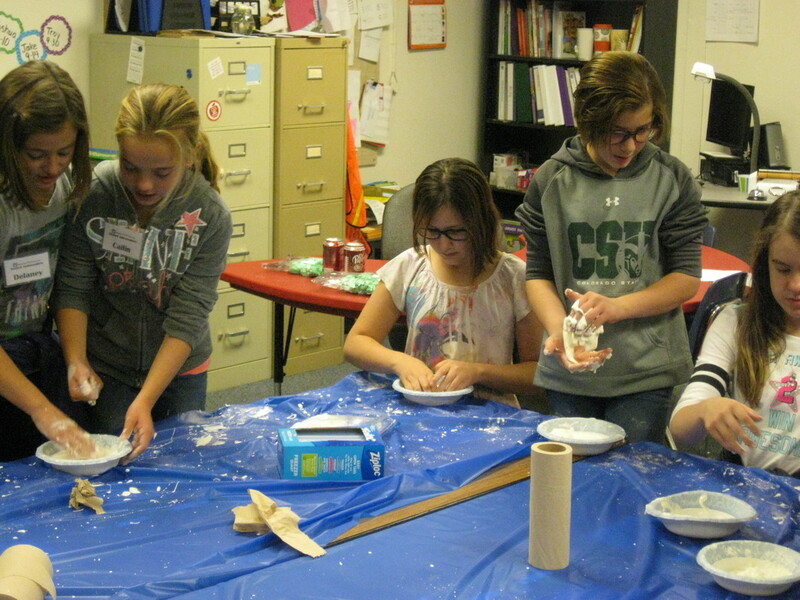 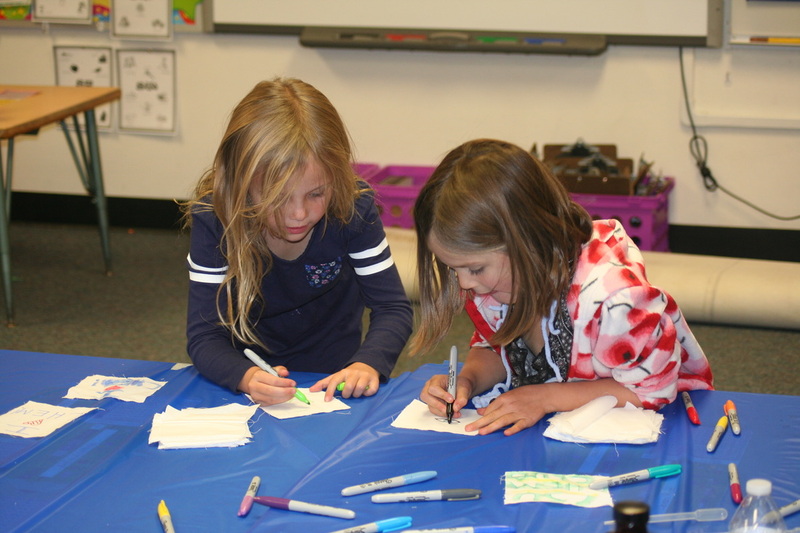 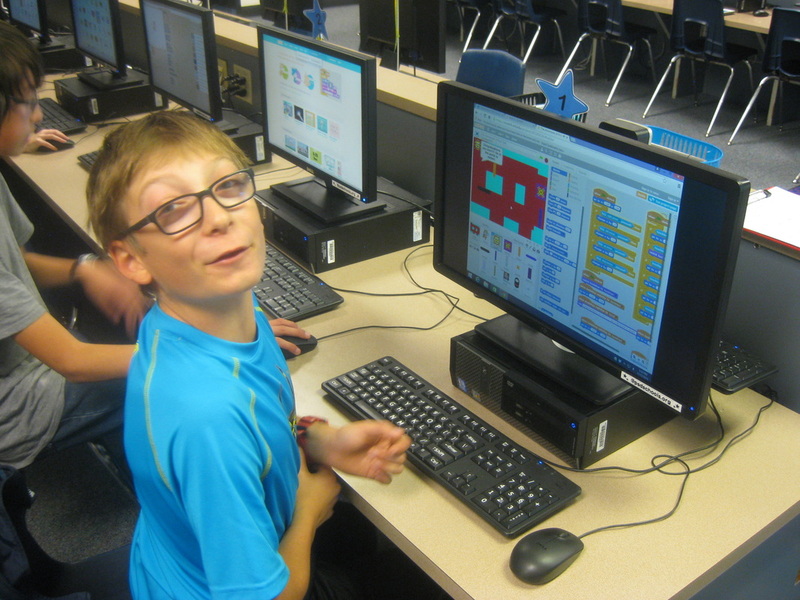 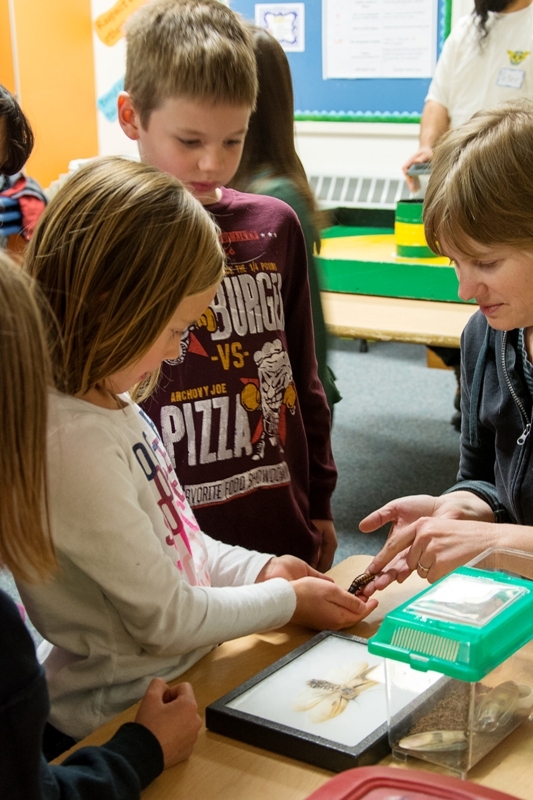 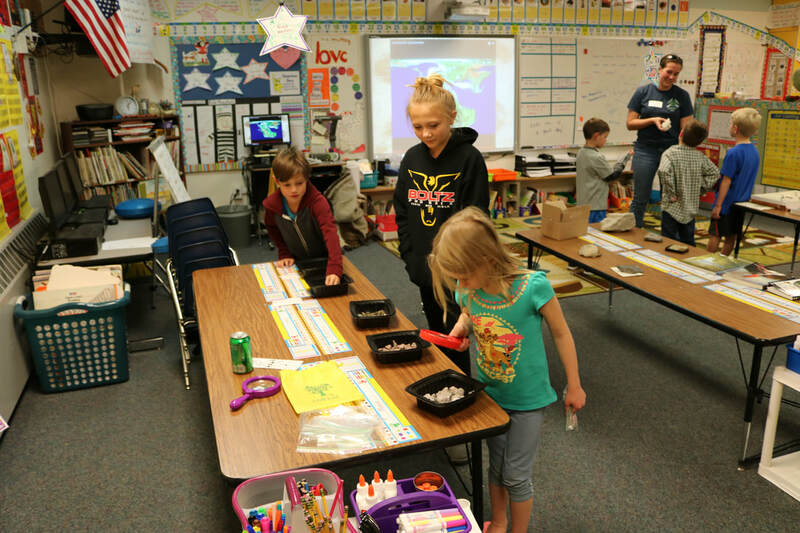 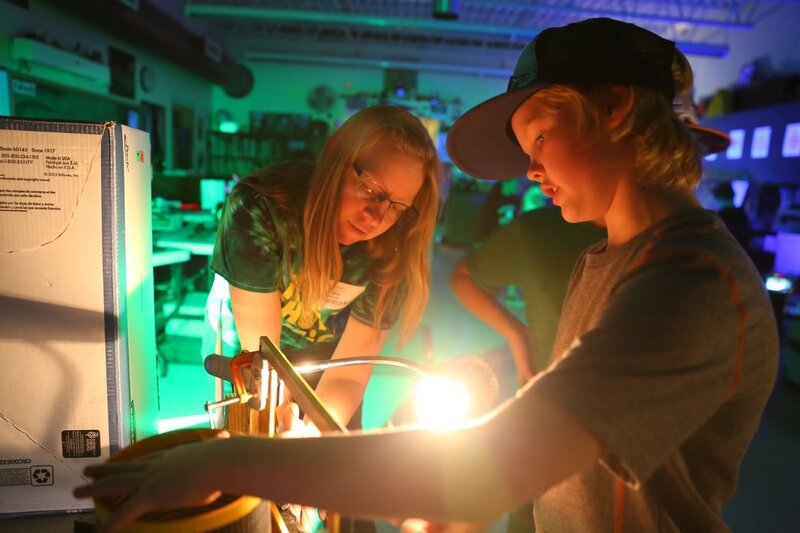 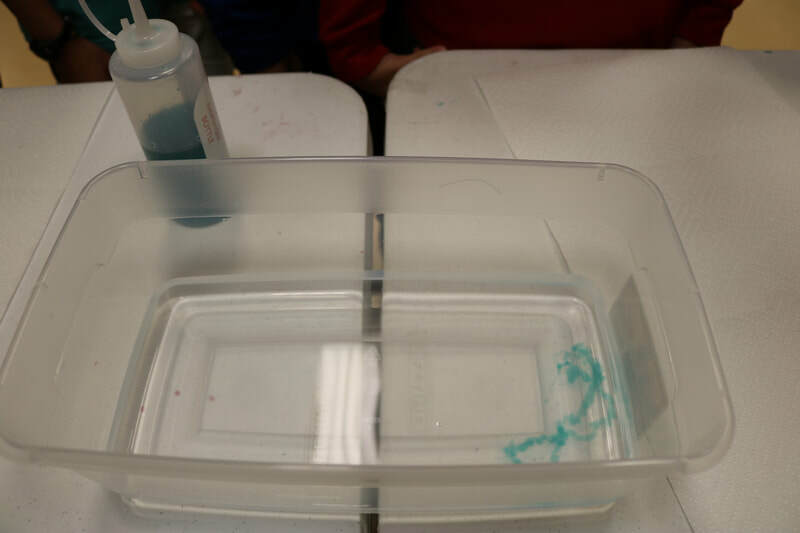 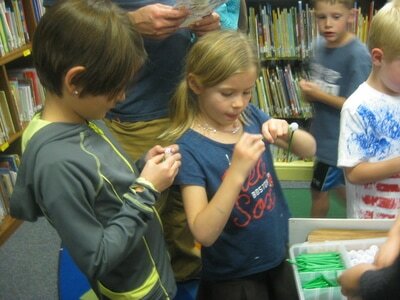 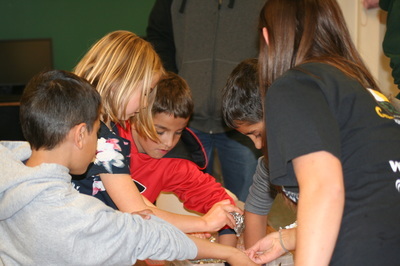 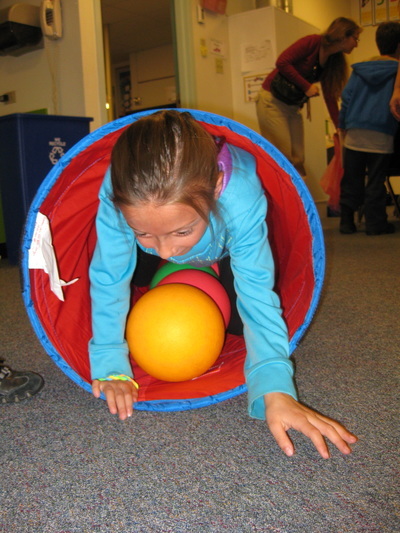 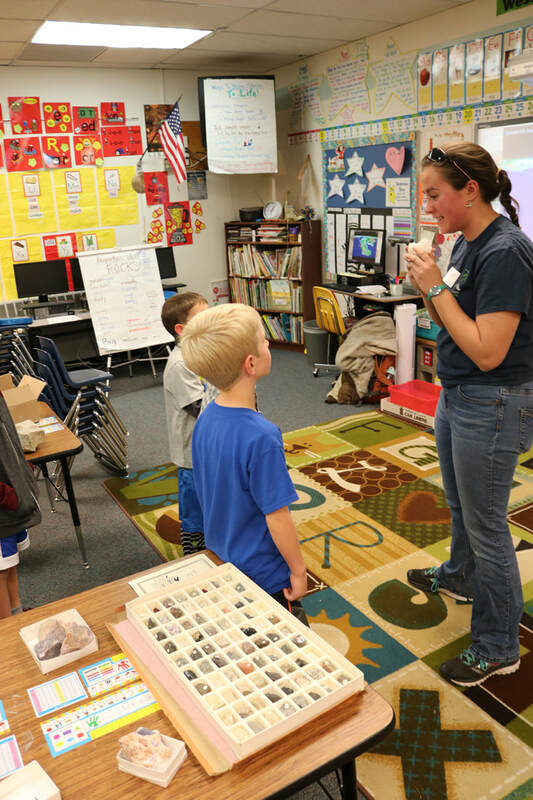 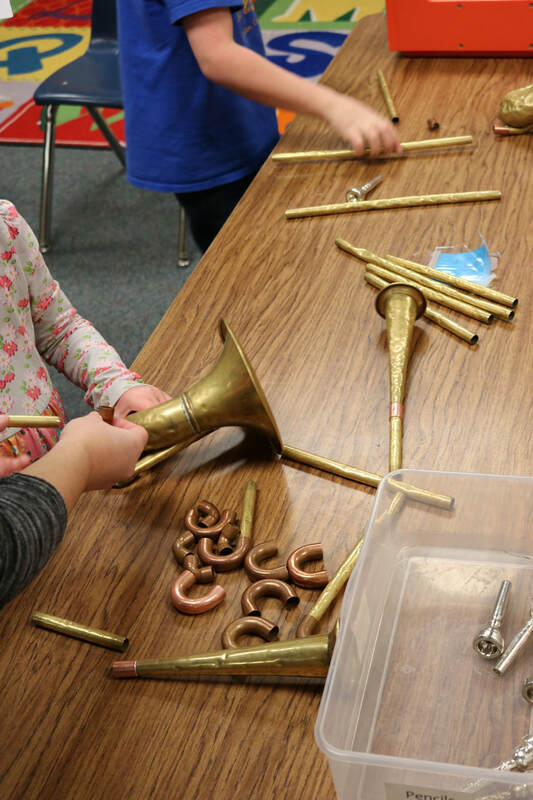 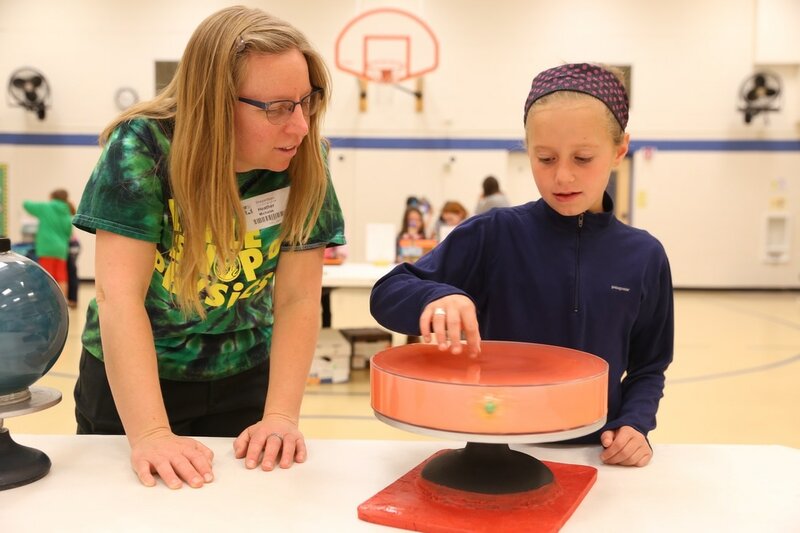 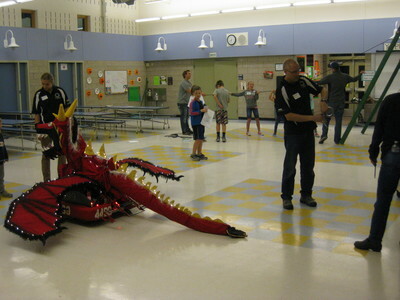 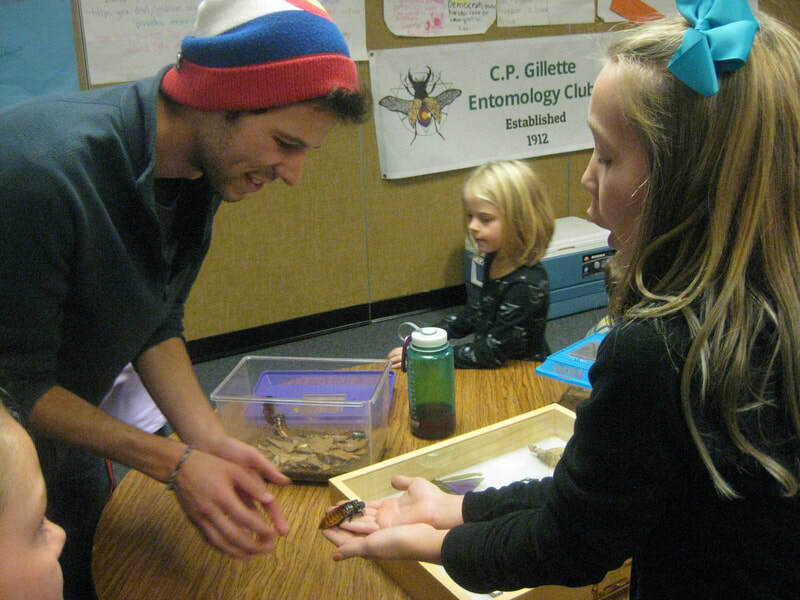 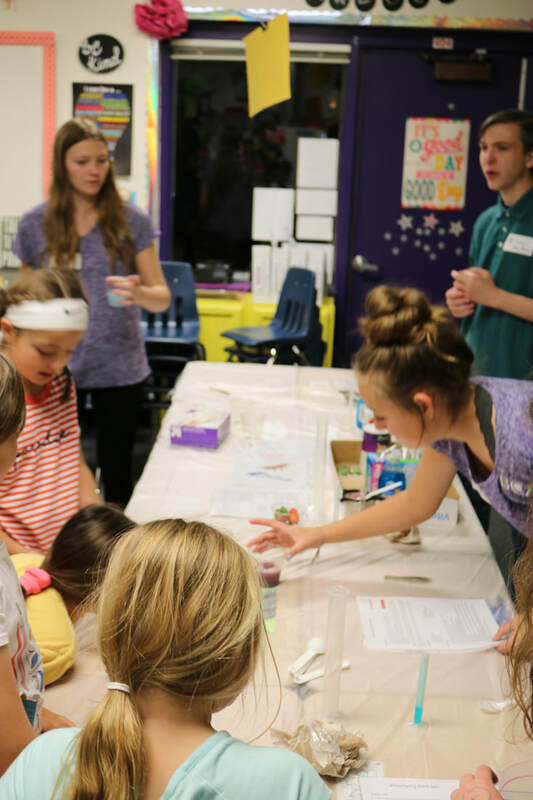 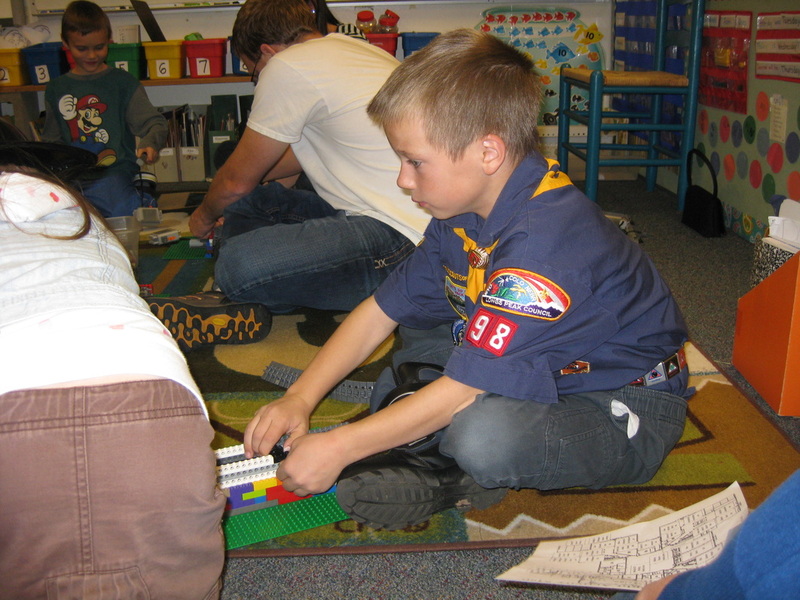 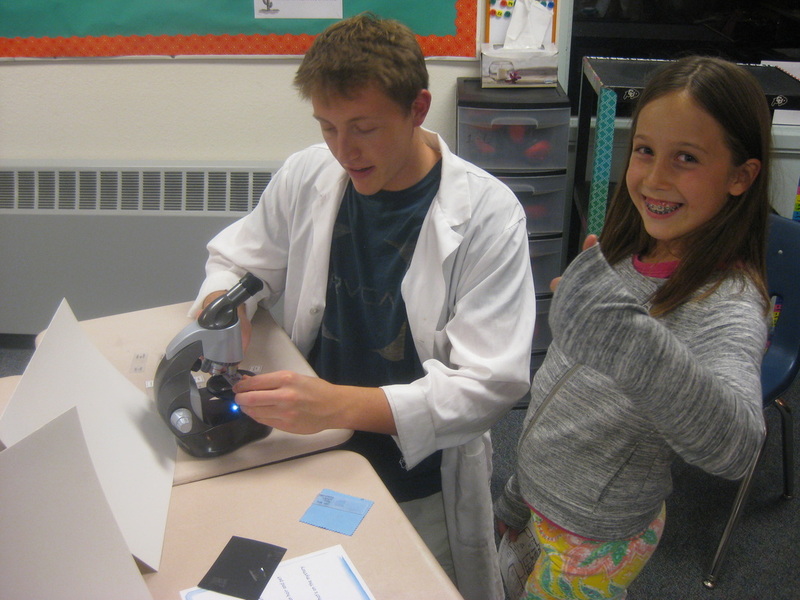 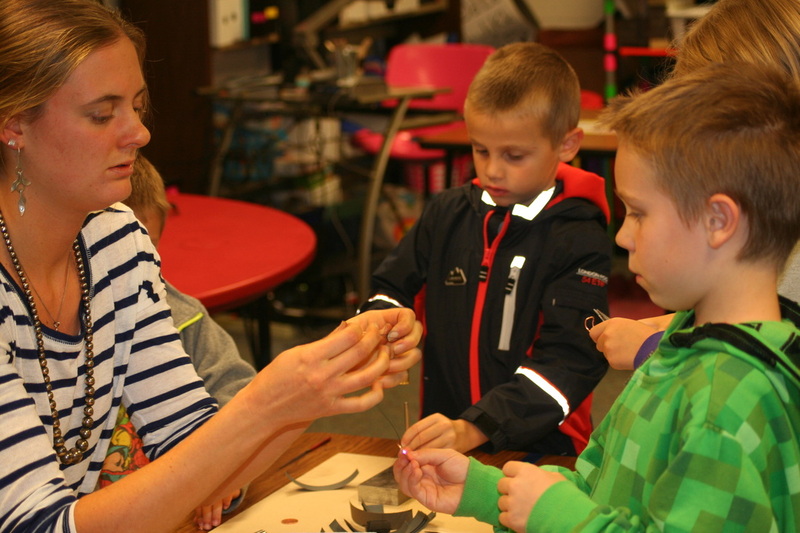 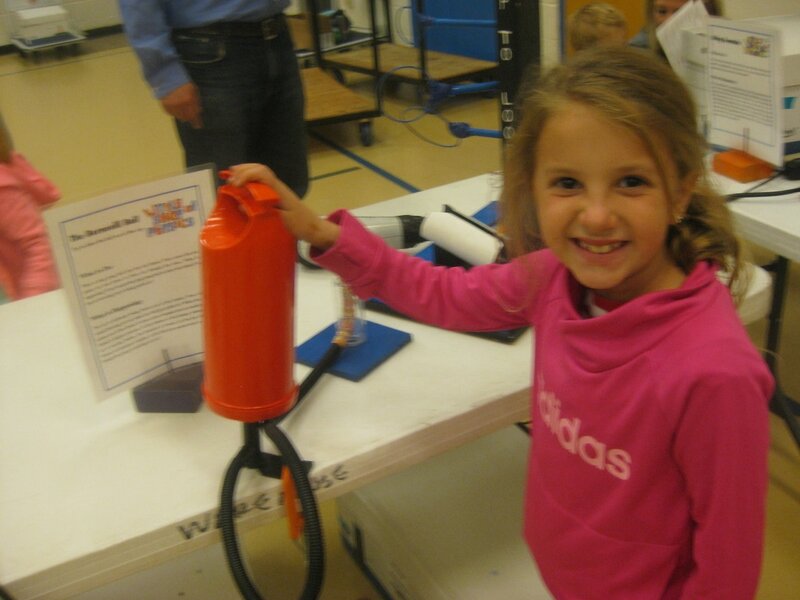 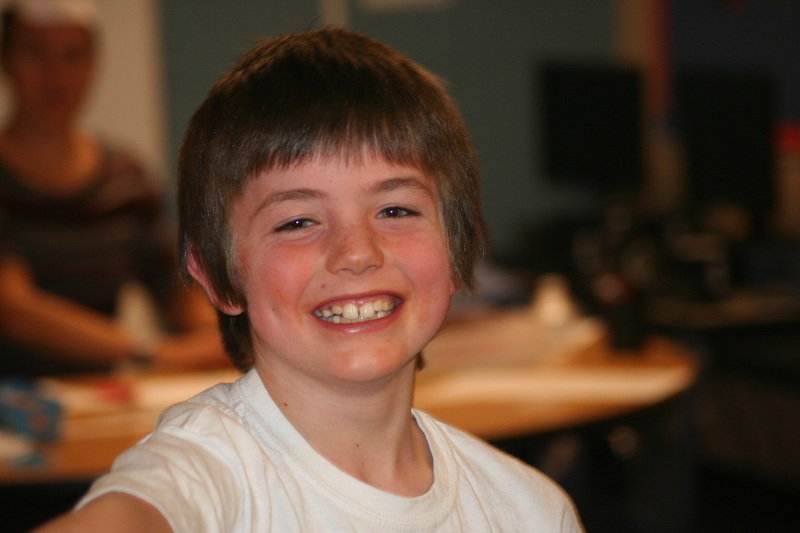 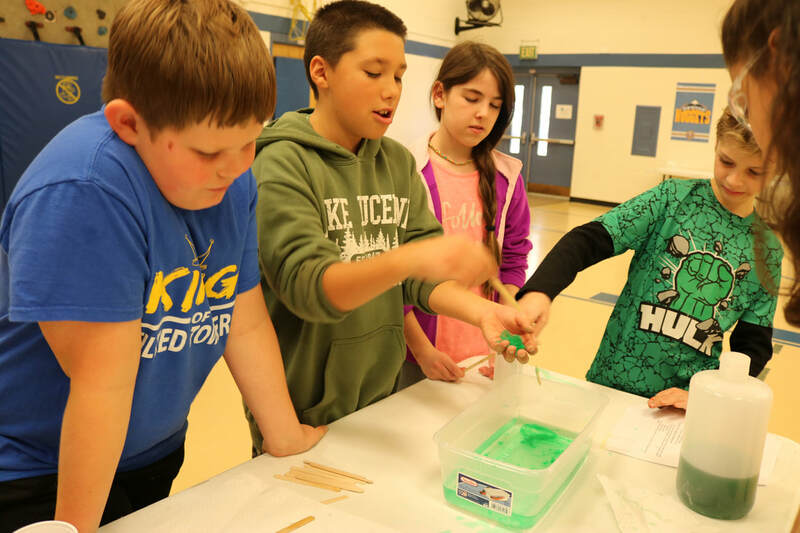 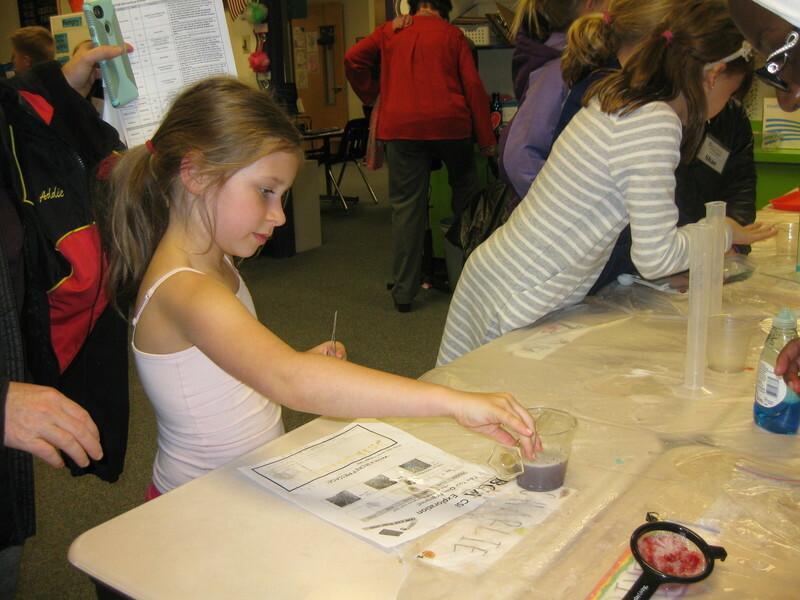 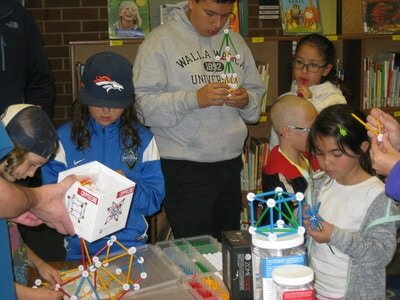 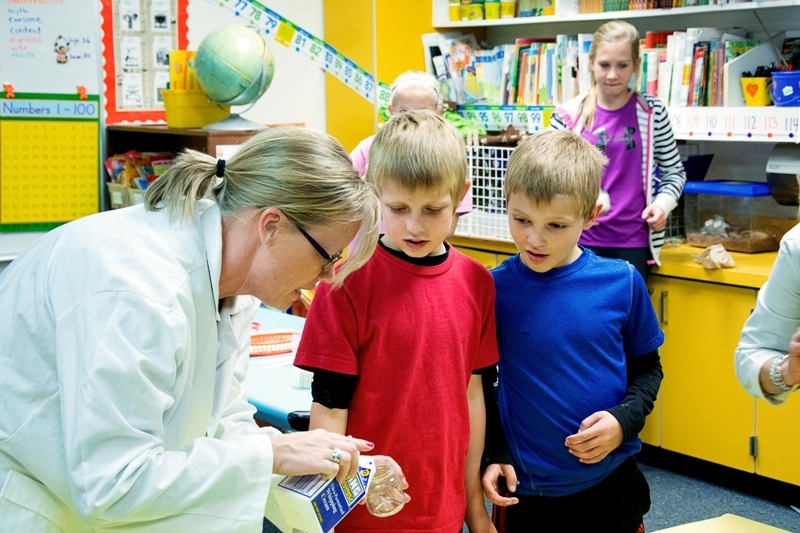 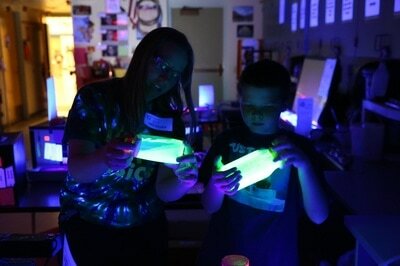 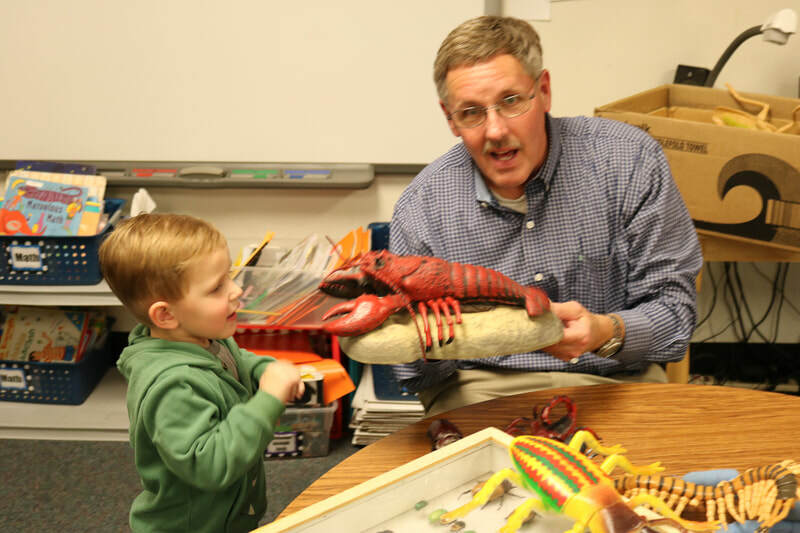 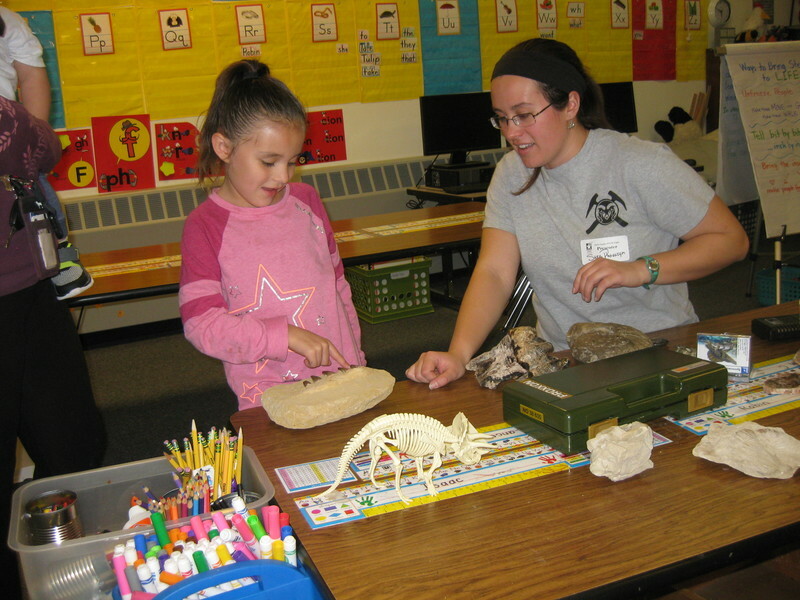 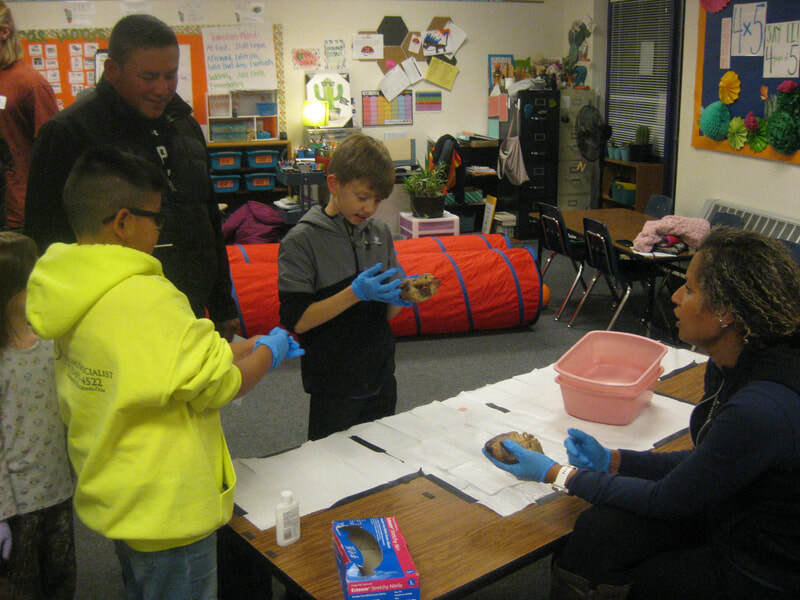 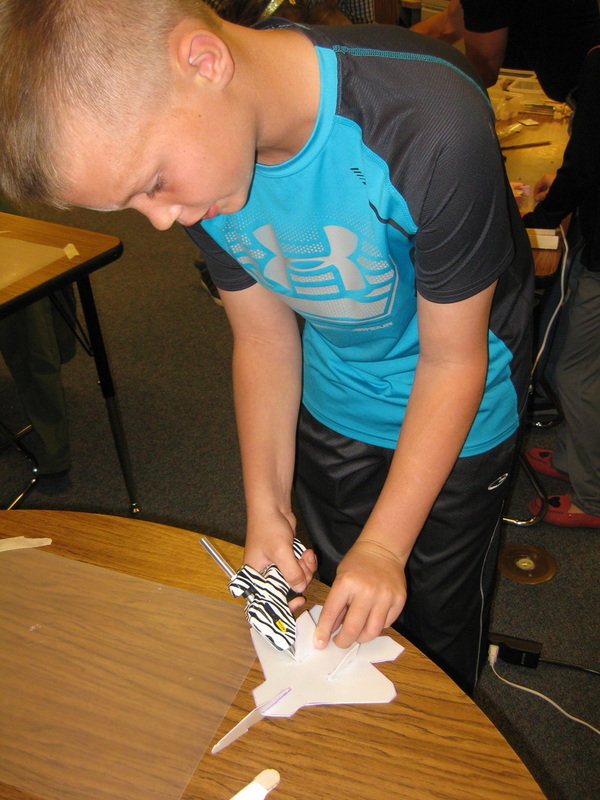 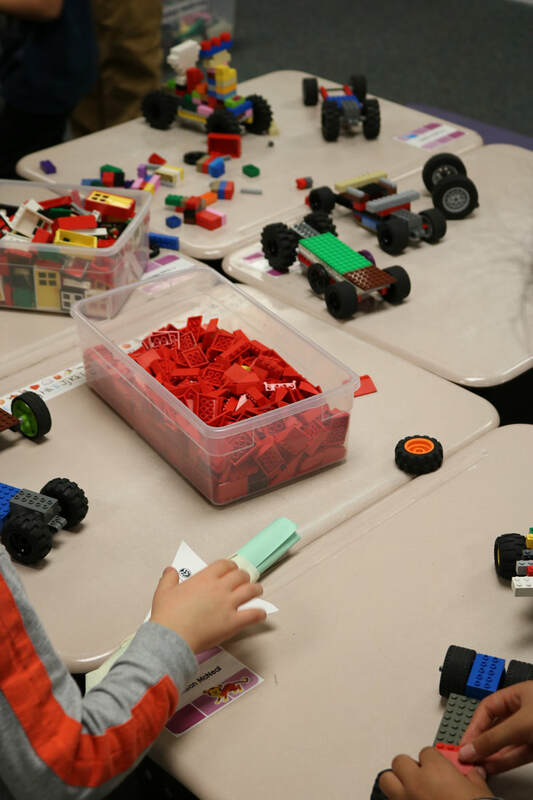 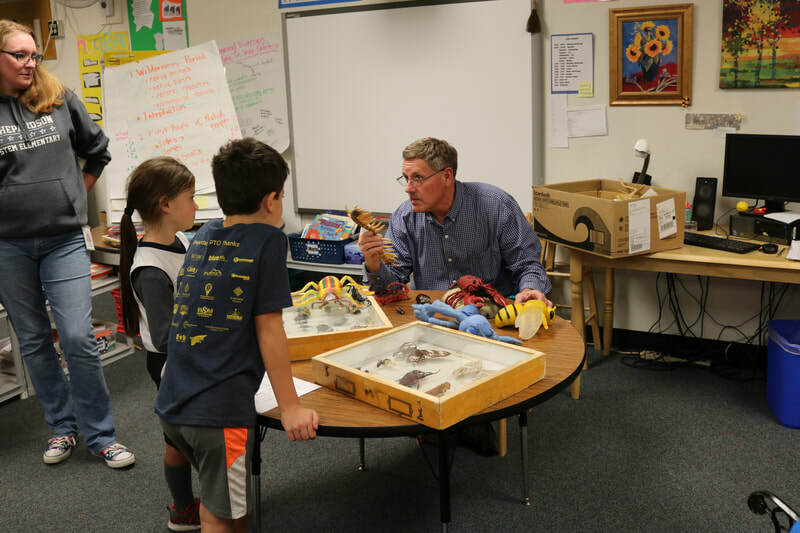 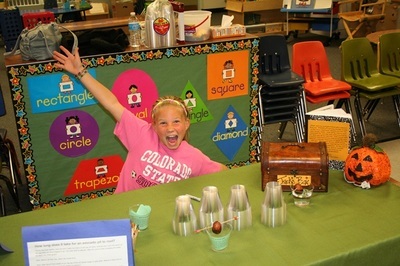 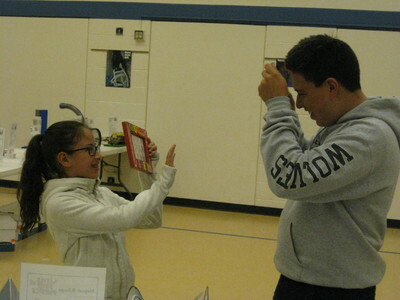 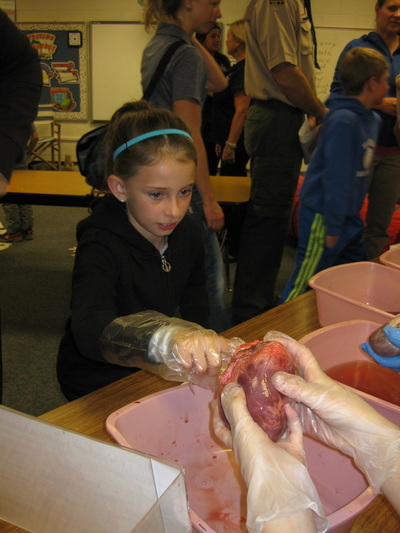 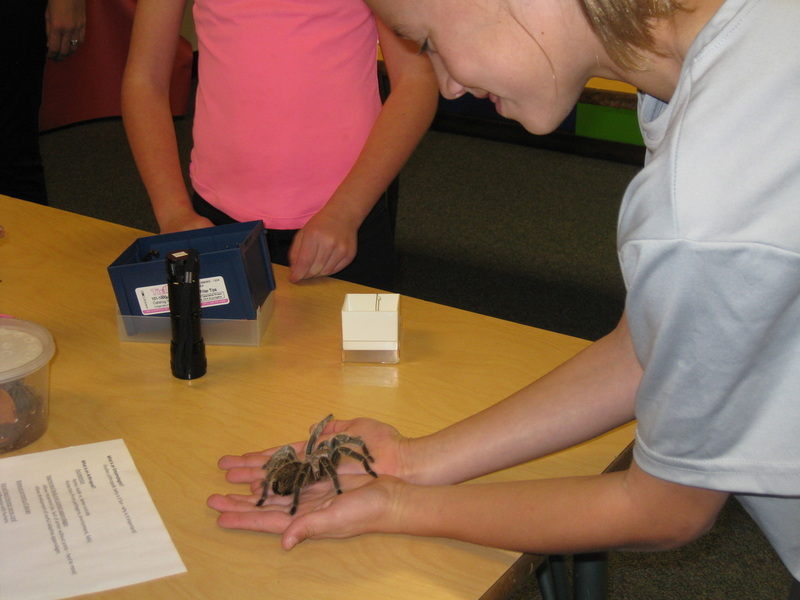 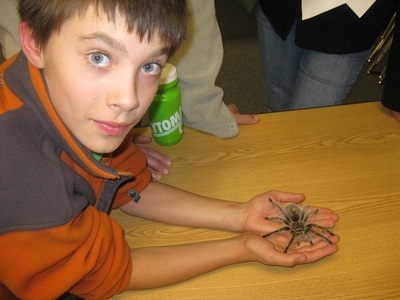 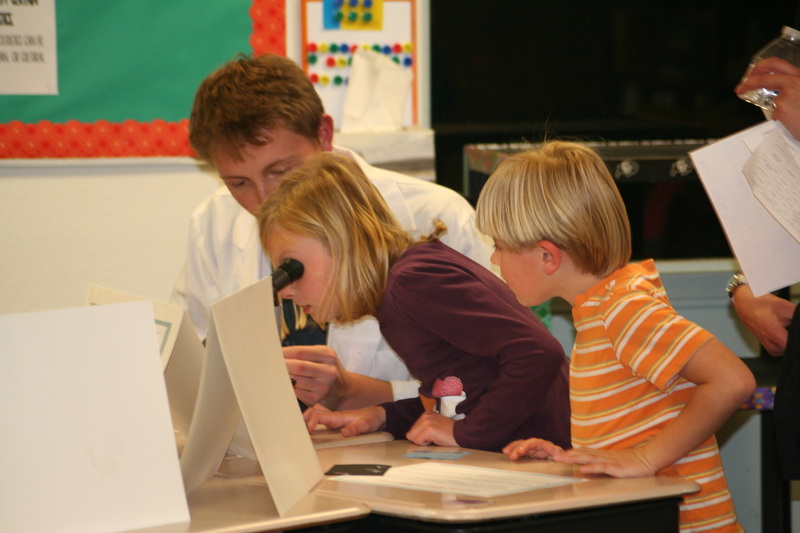 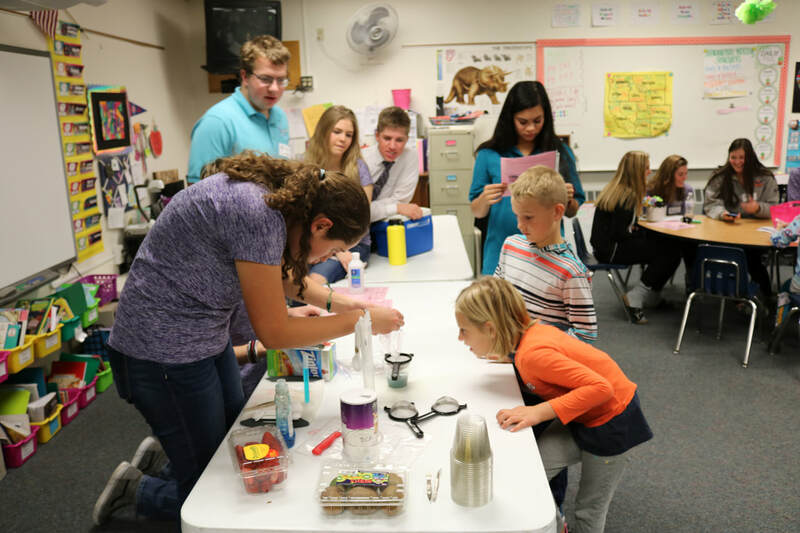 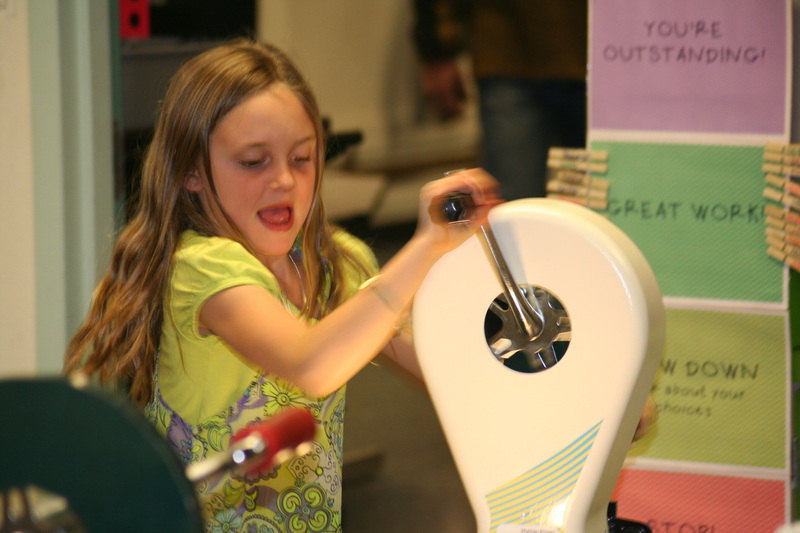 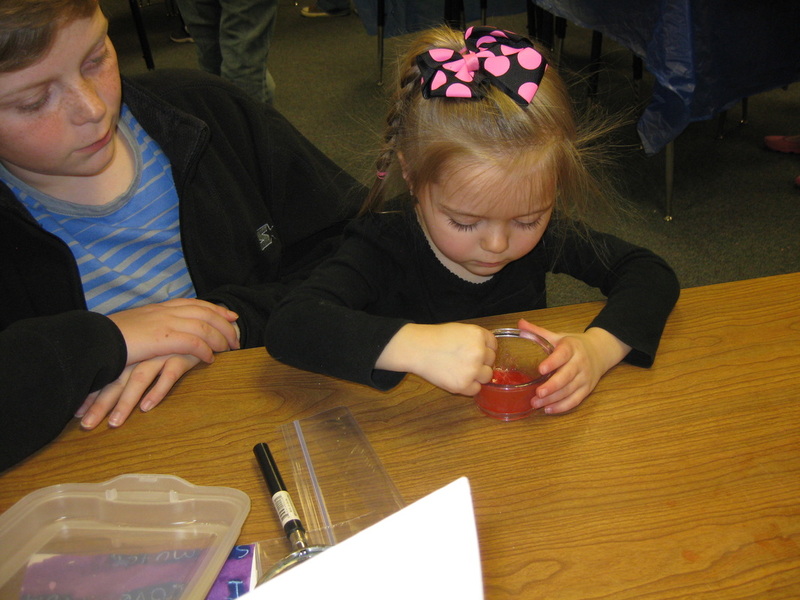 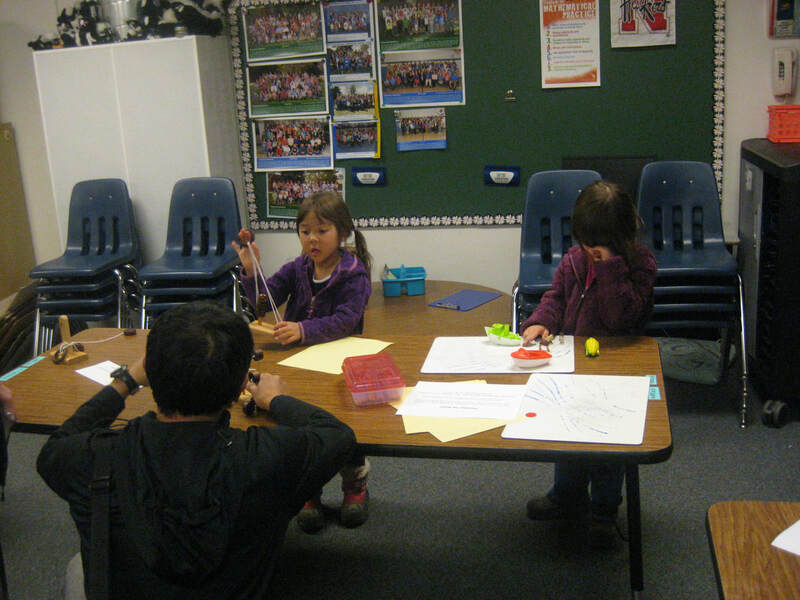 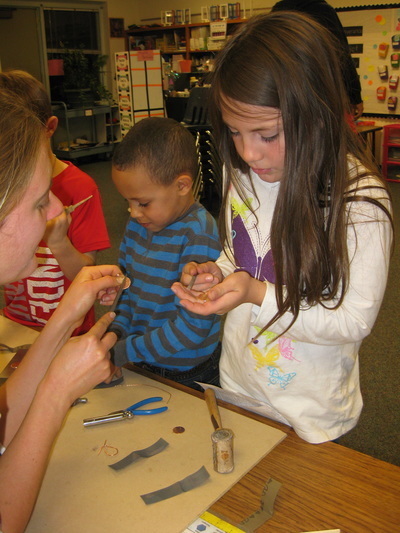 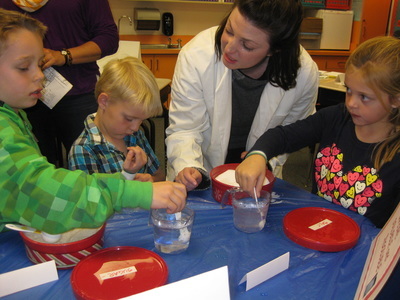 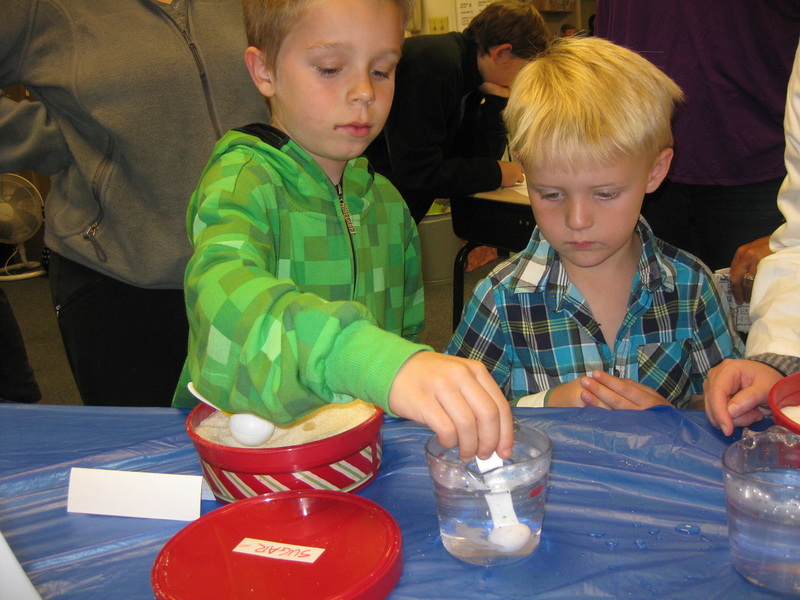 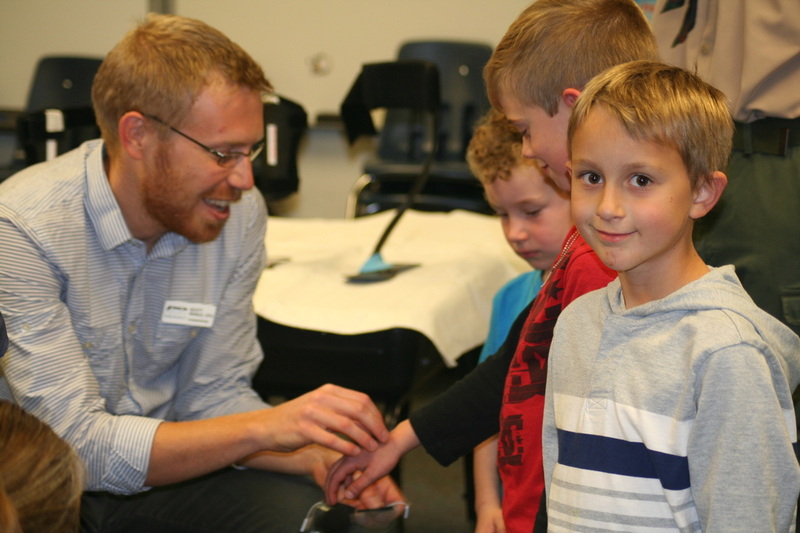 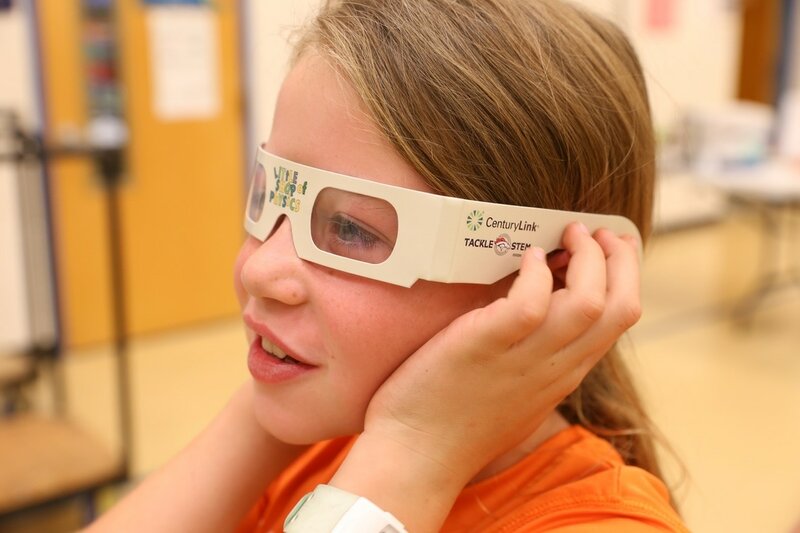 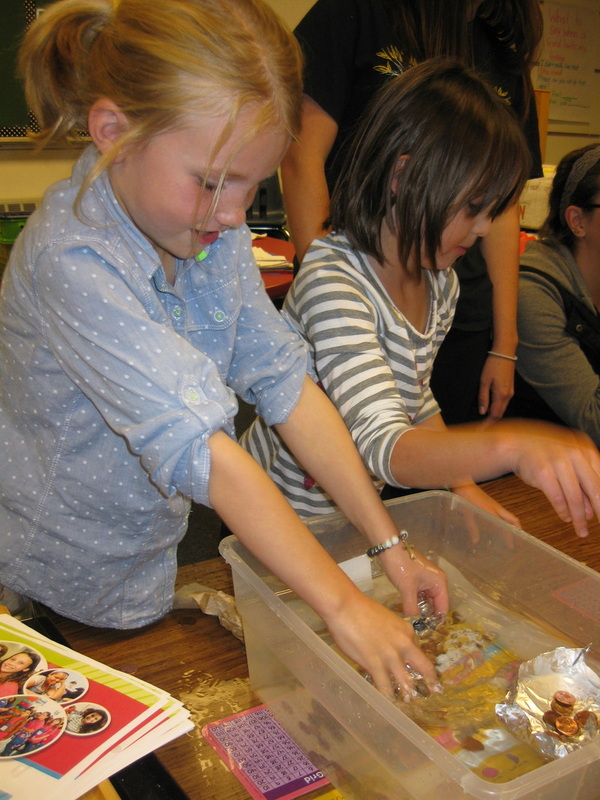 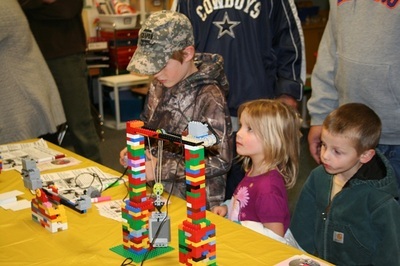 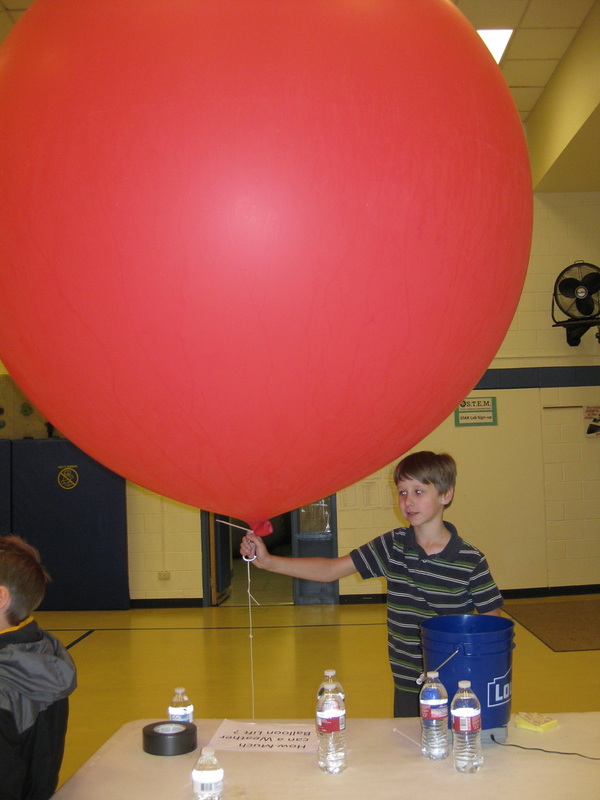 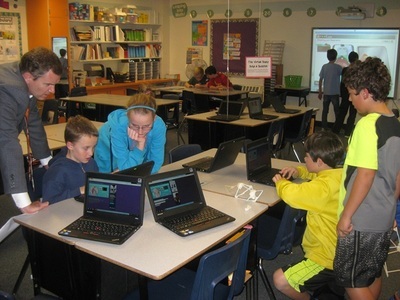 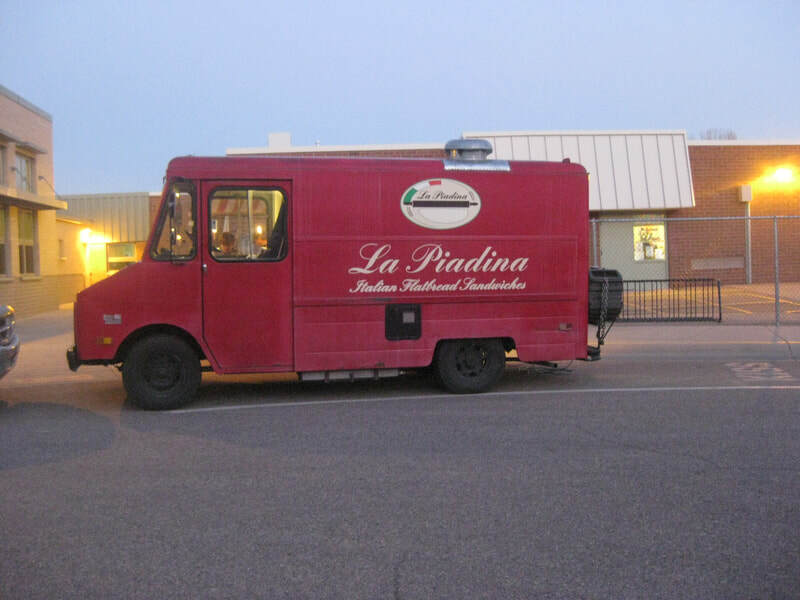 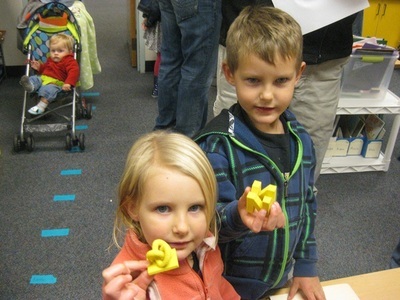 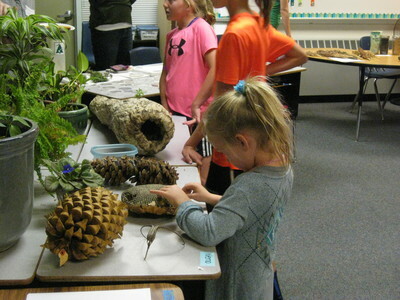 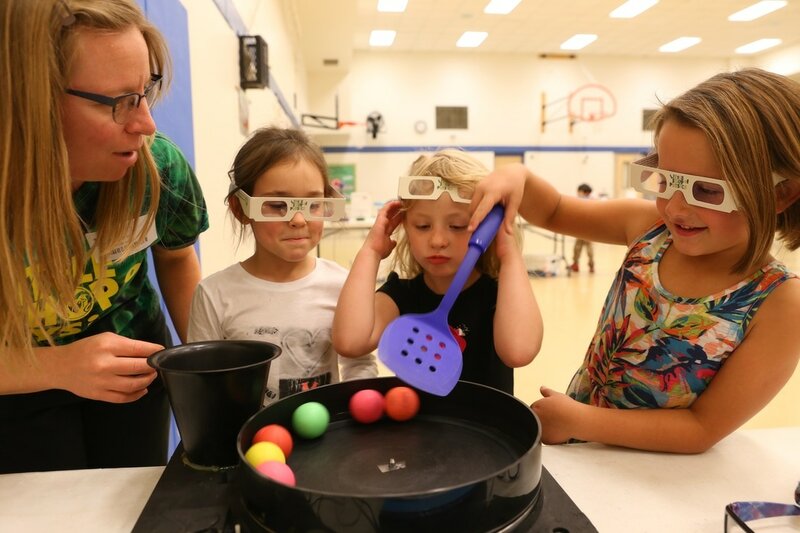 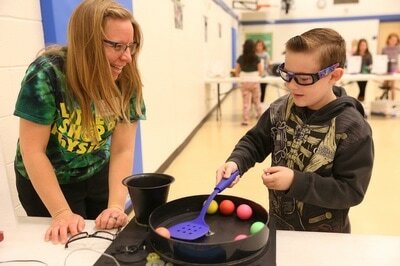 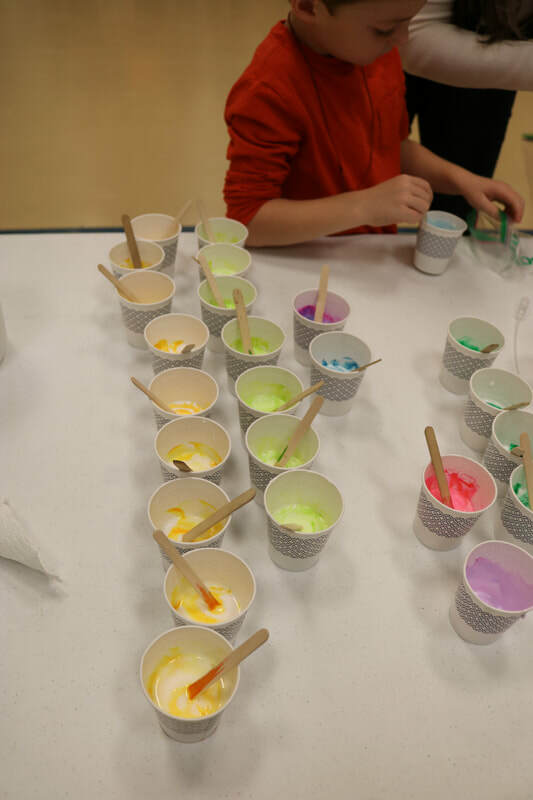 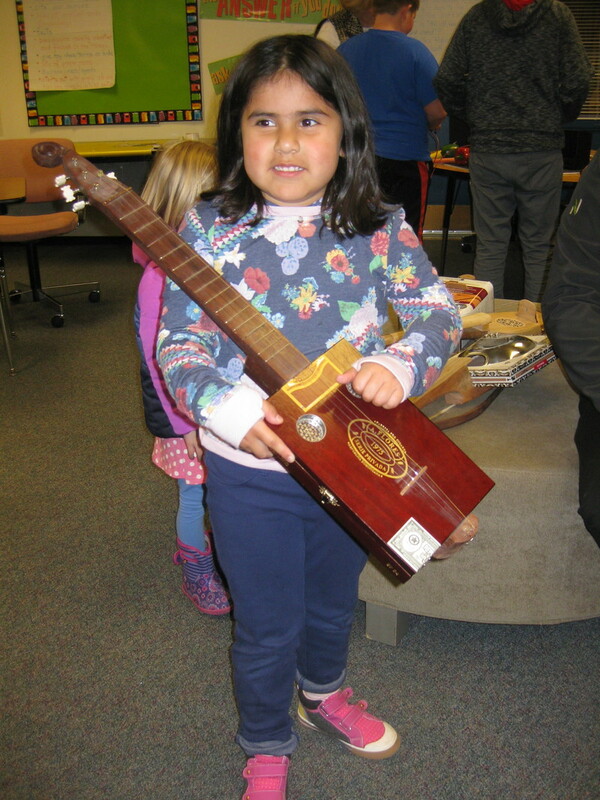 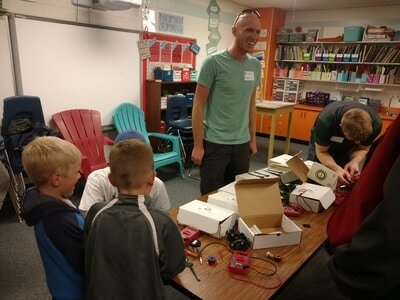 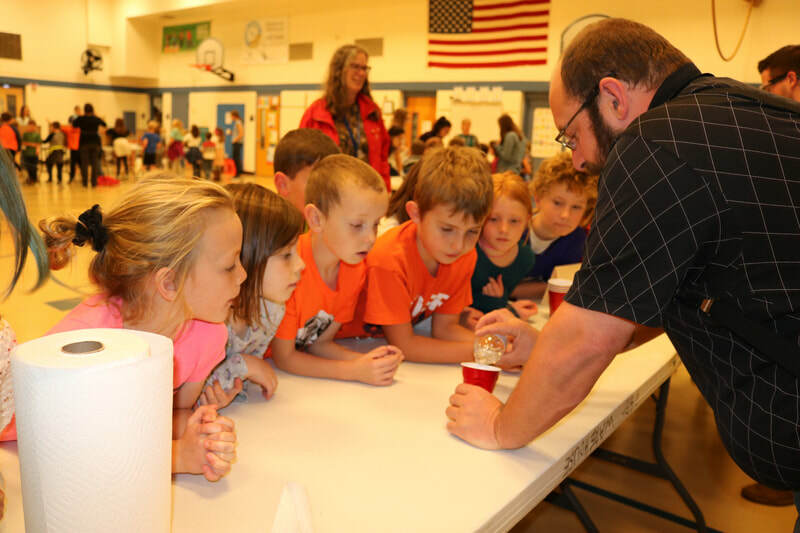 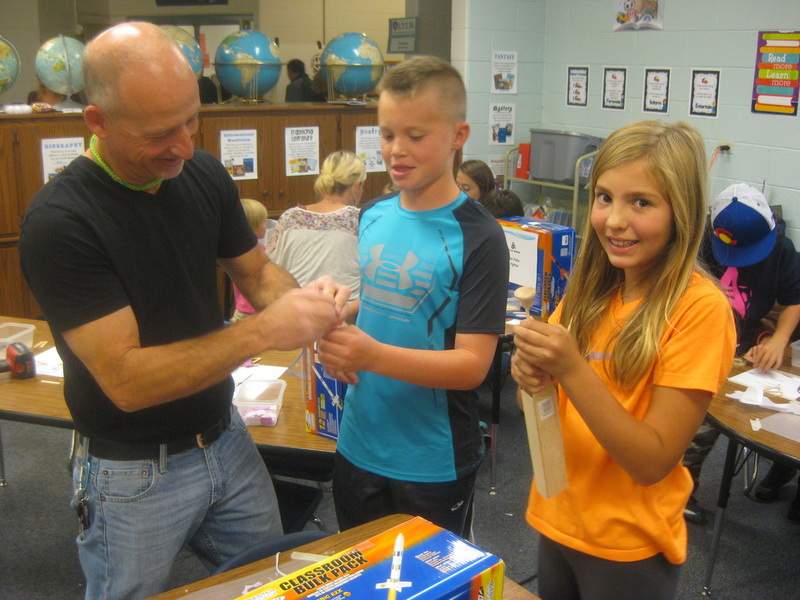 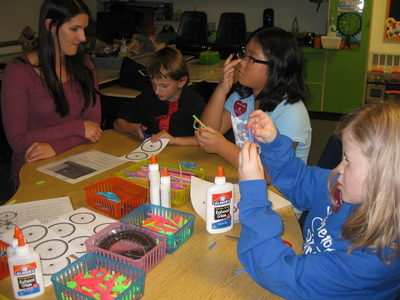 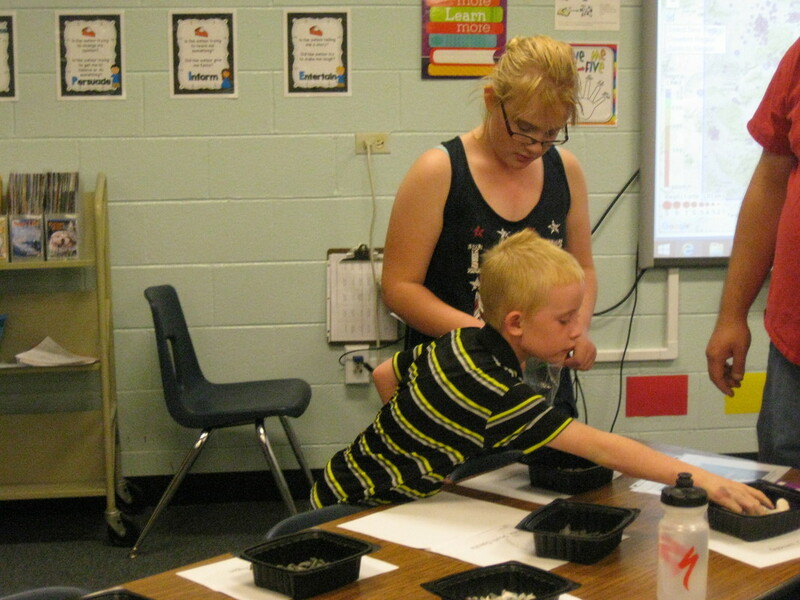 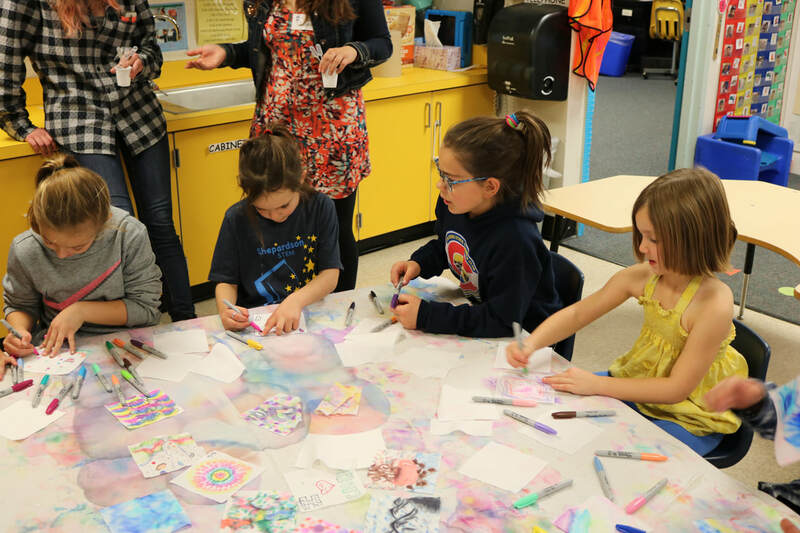 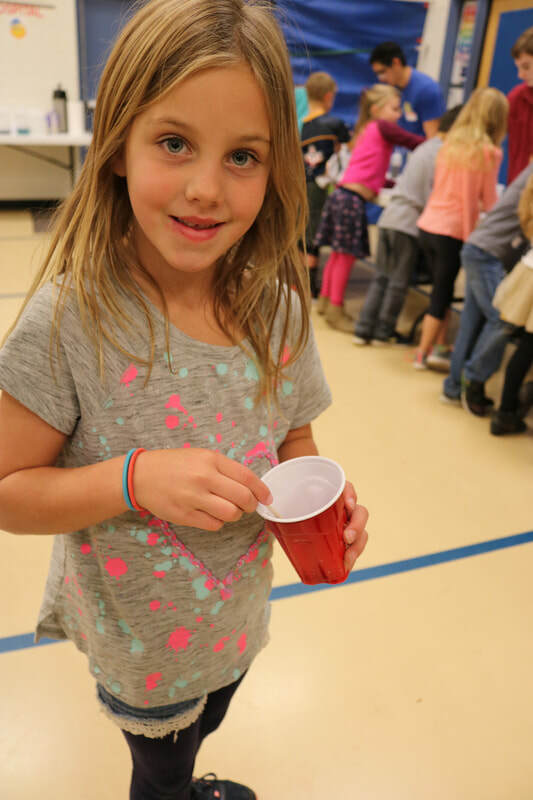 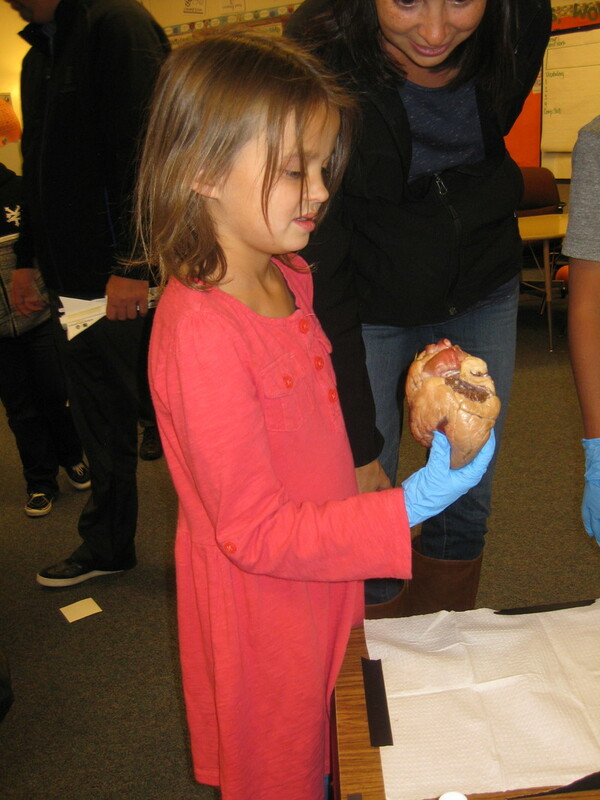 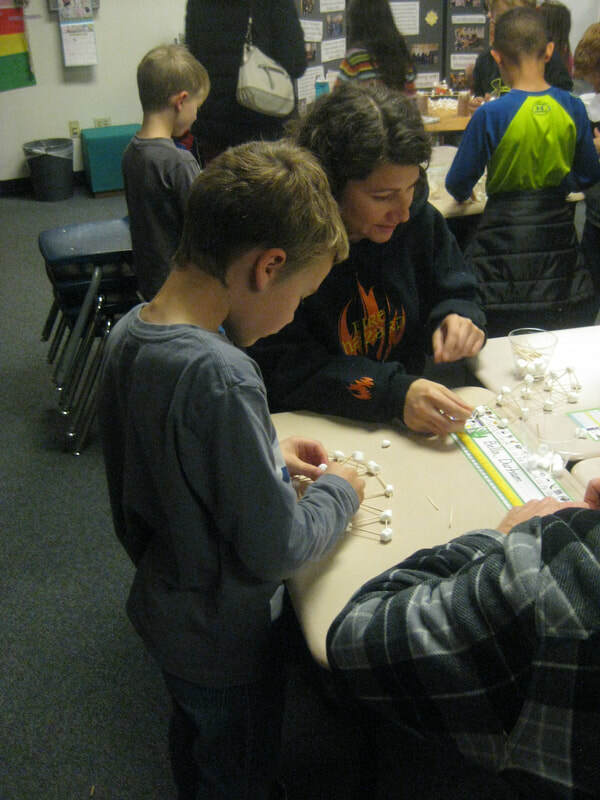 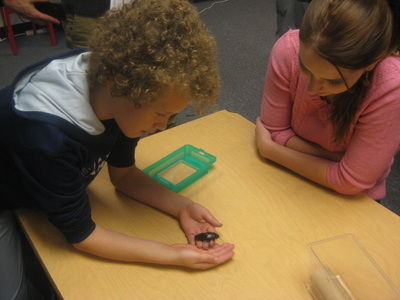 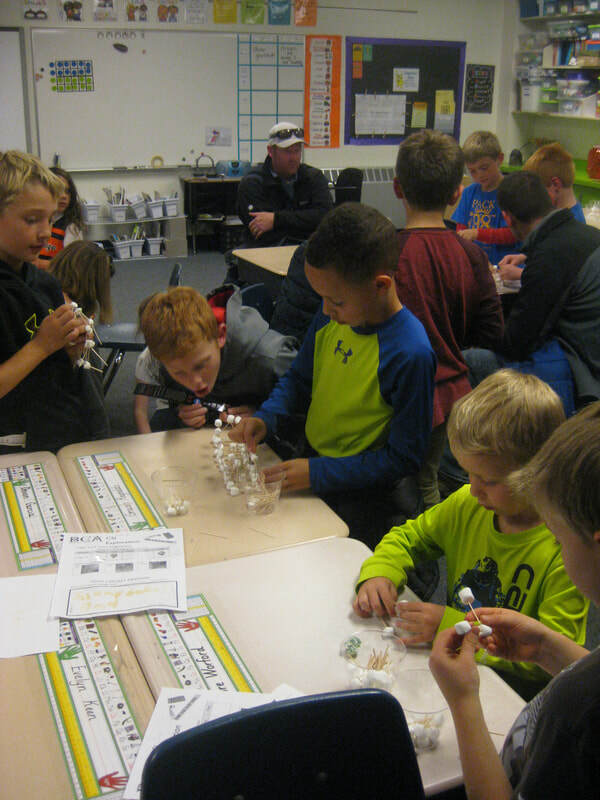 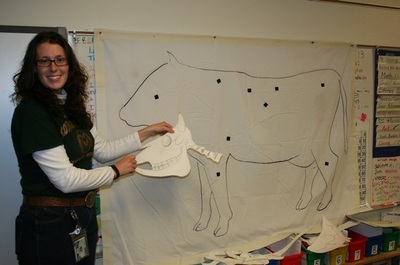 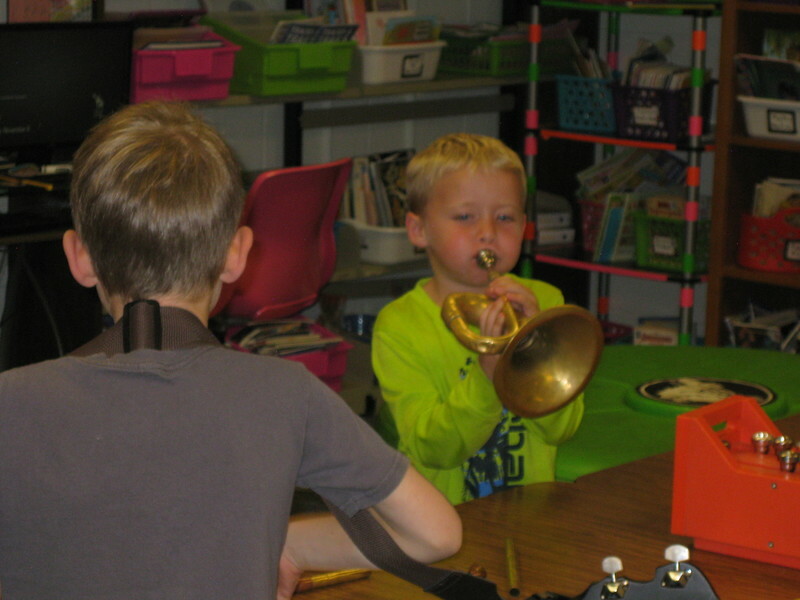 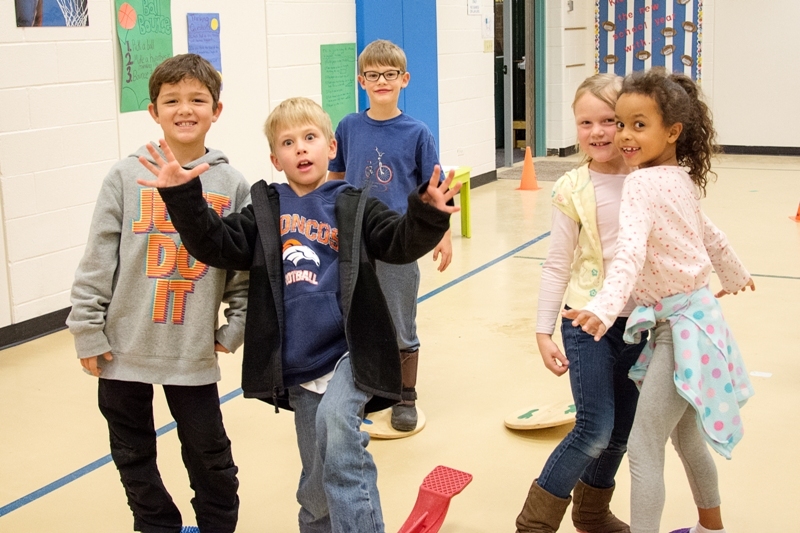 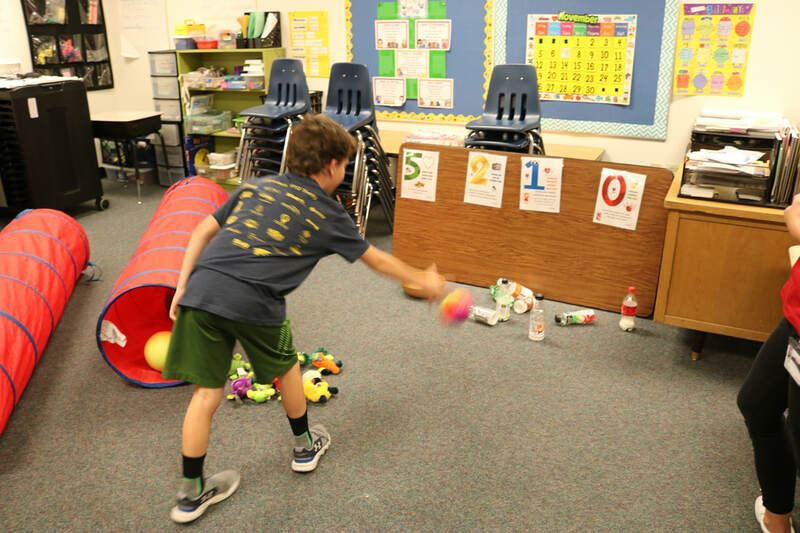 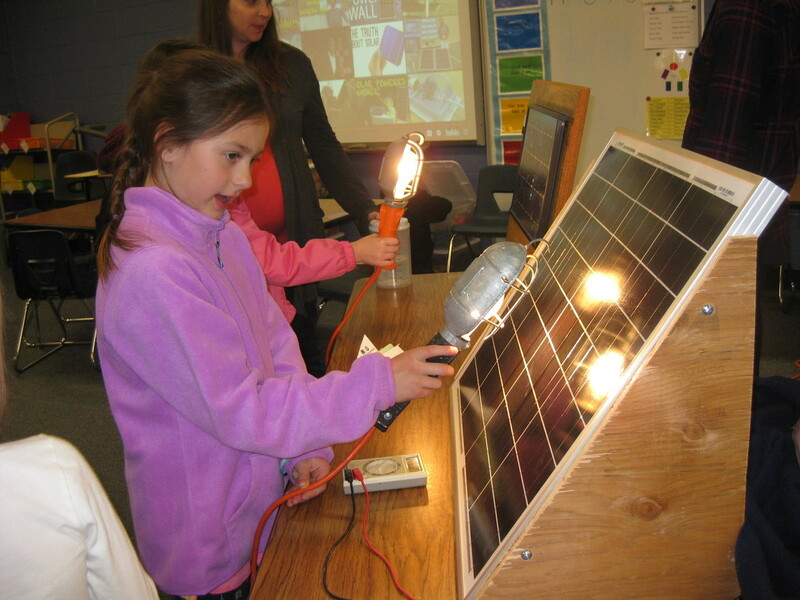 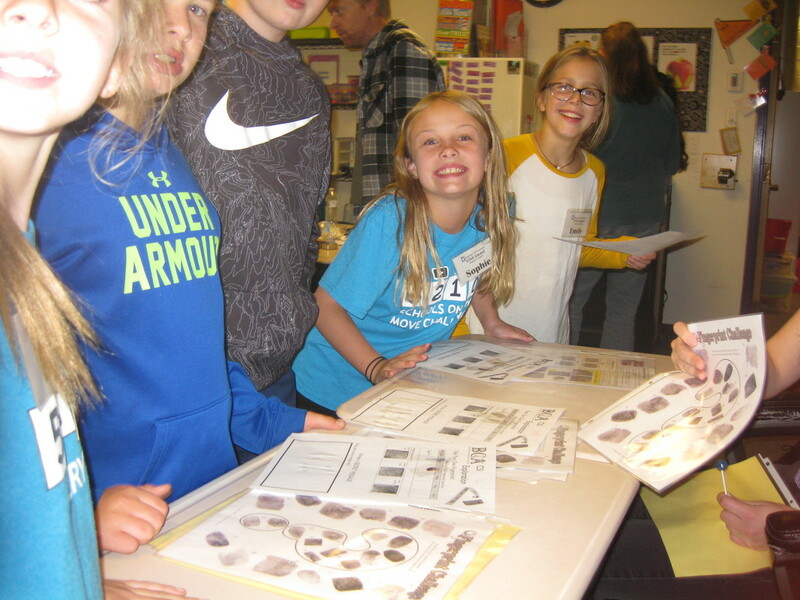 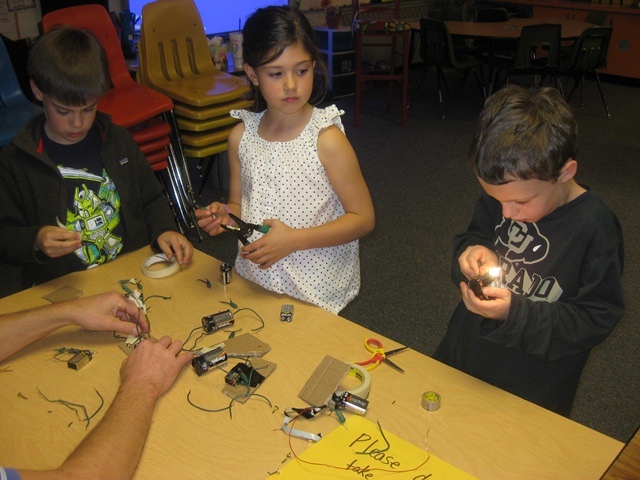 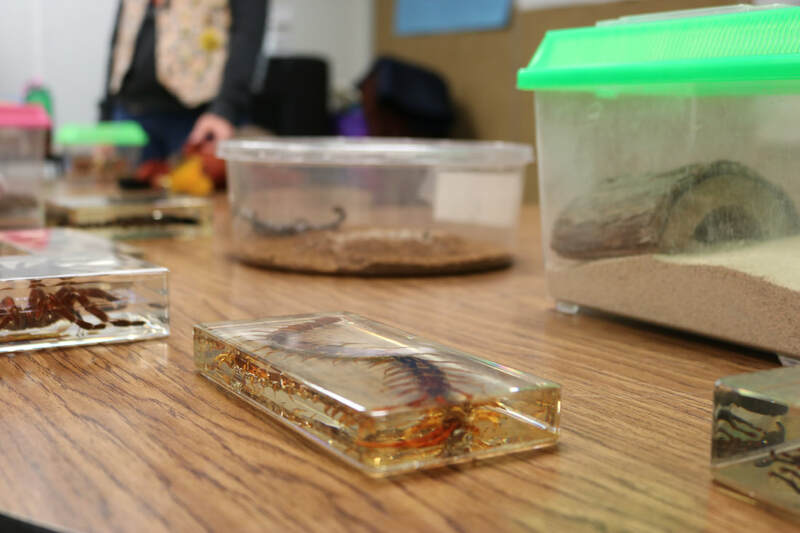 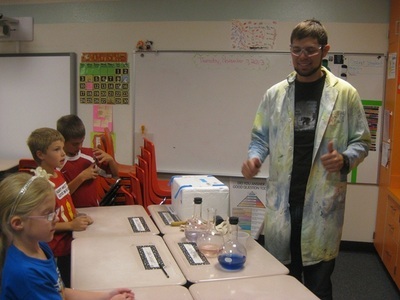 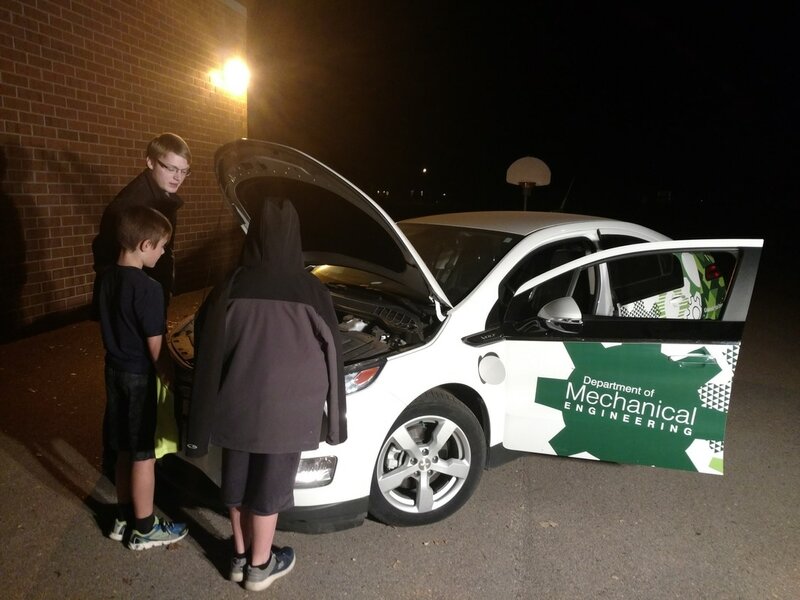 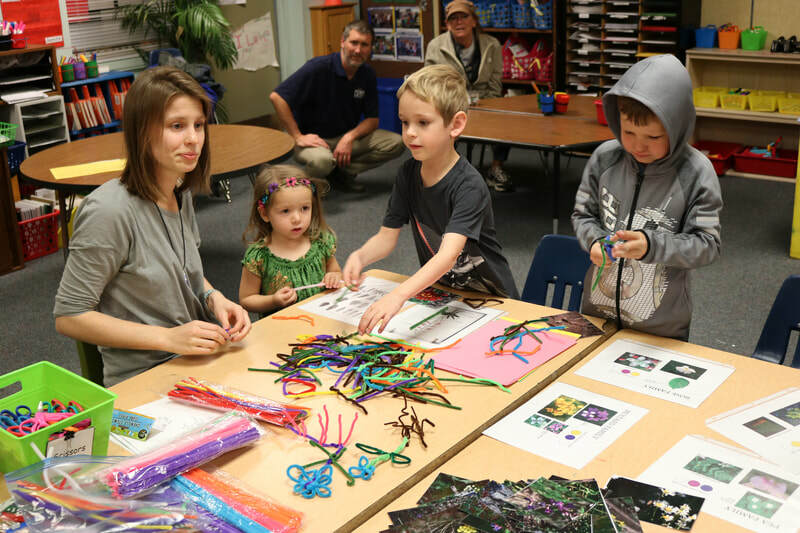 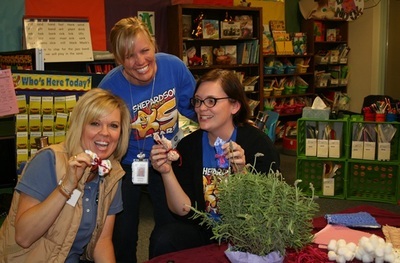 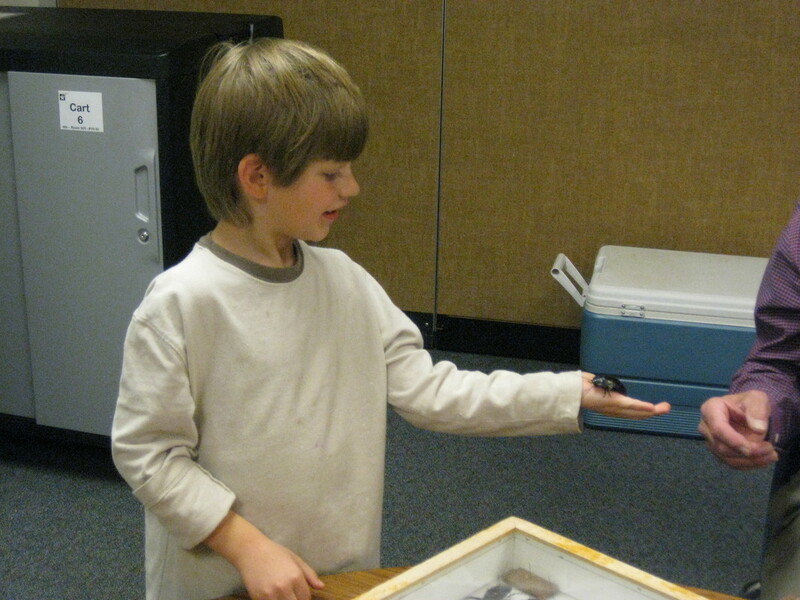 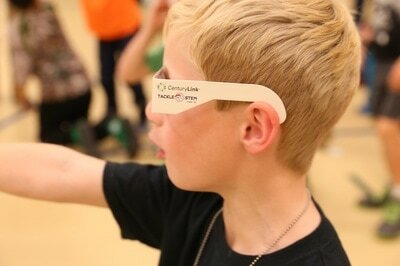 Enjoy a gallery of photos from a night of hands-on STEM Fun at Shepardson STEM Elementary!! 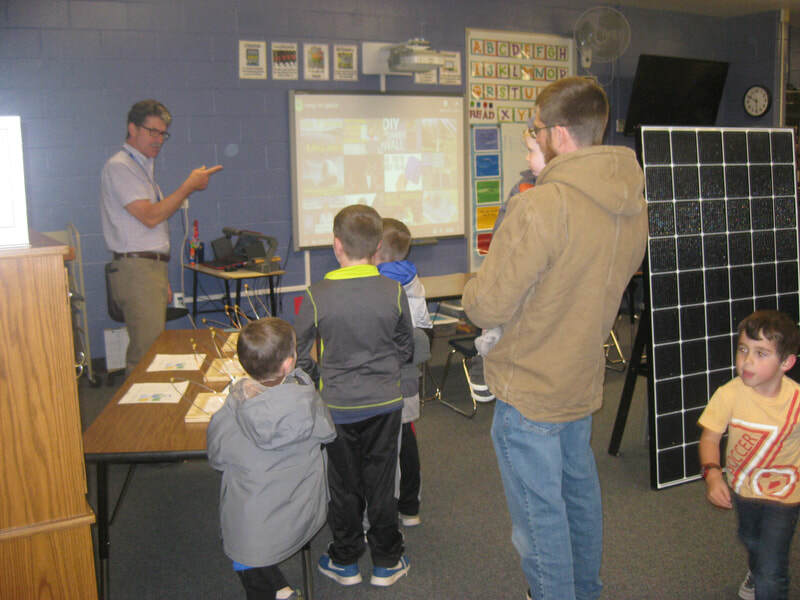 Thanks to PSD Channel 10 for producing our STEM Night Video! 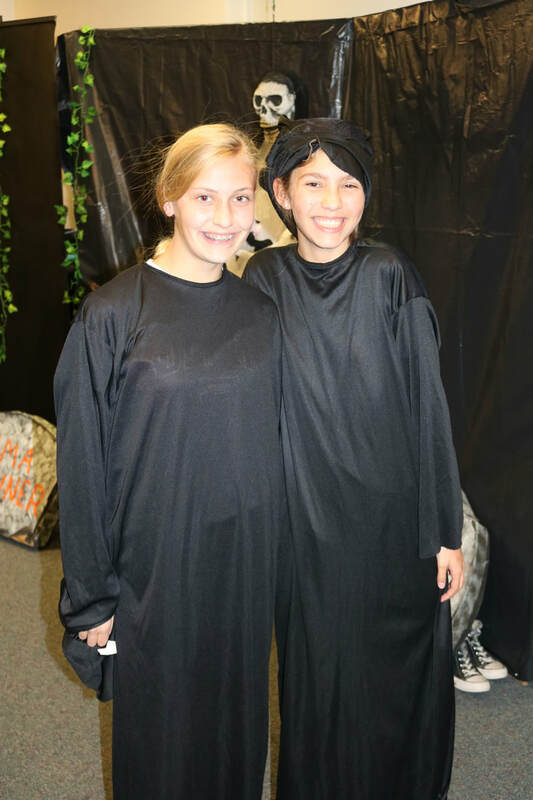 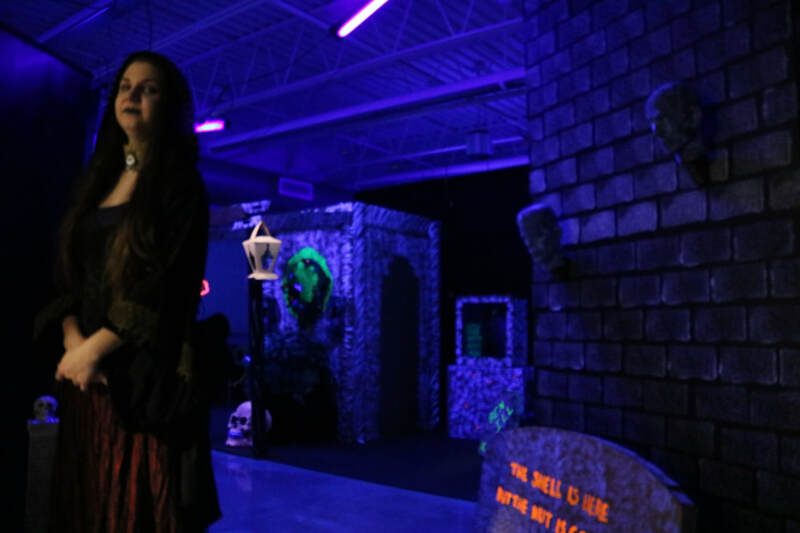 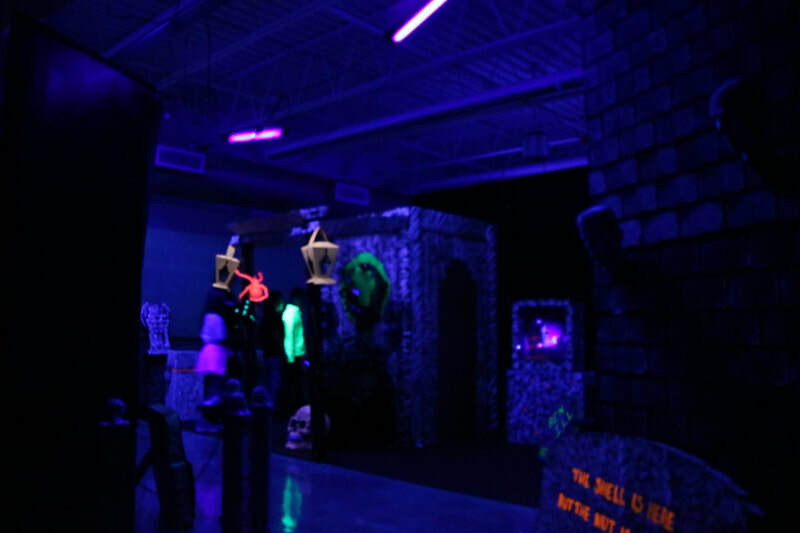 Click the text link to view! 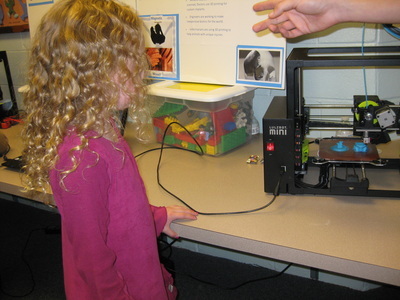 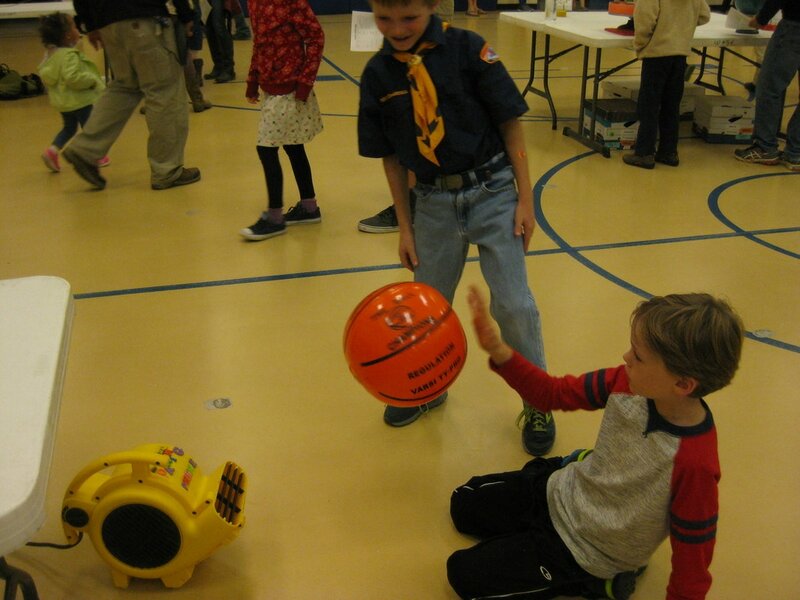 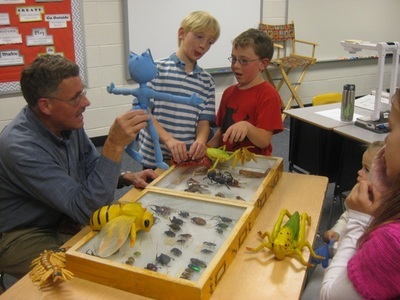 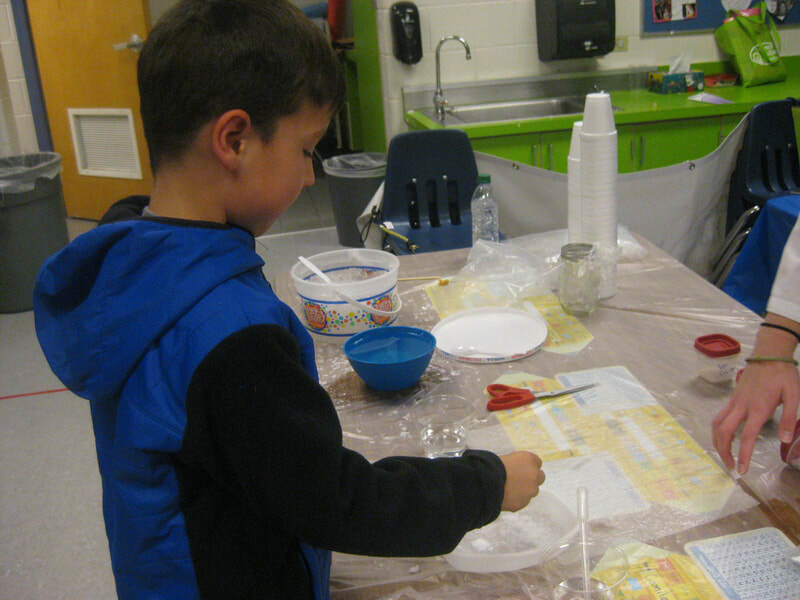 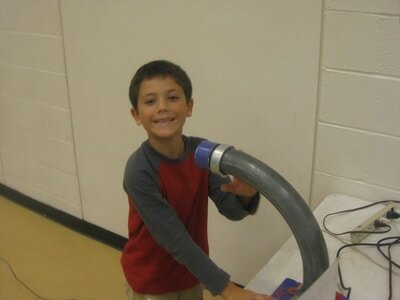 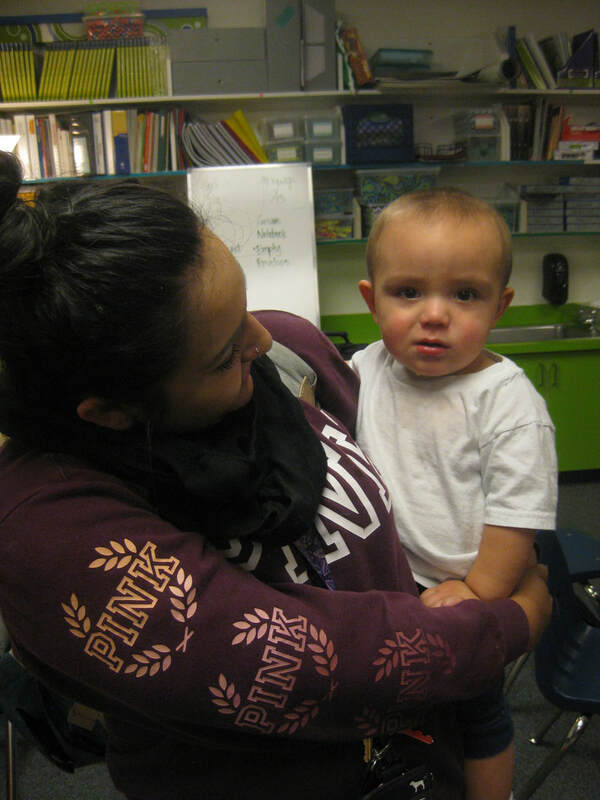 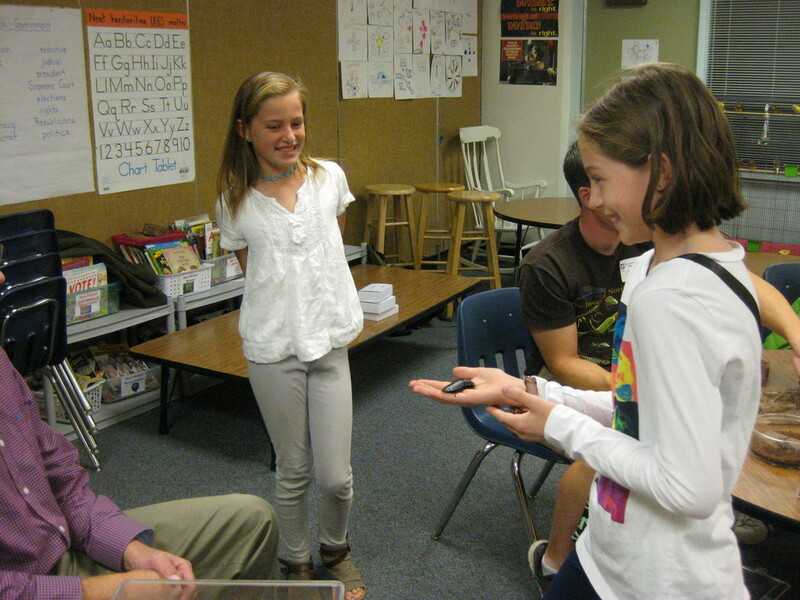 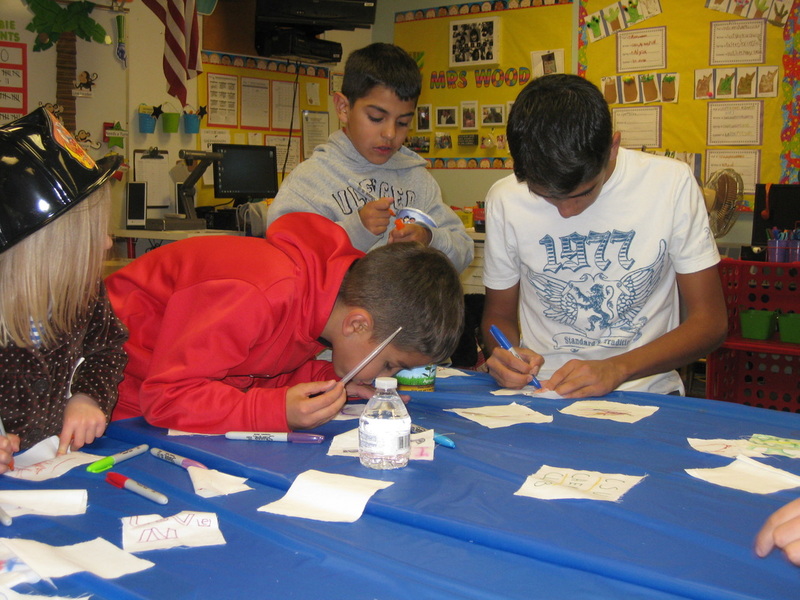 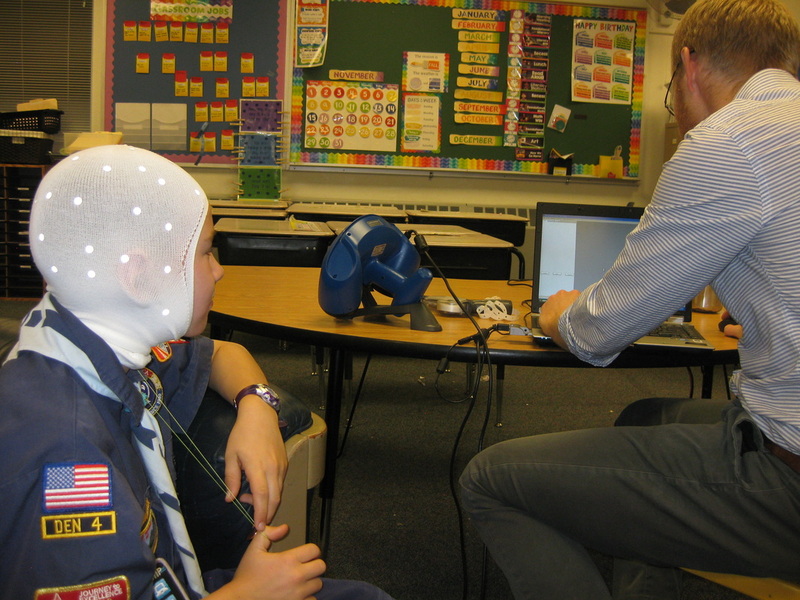 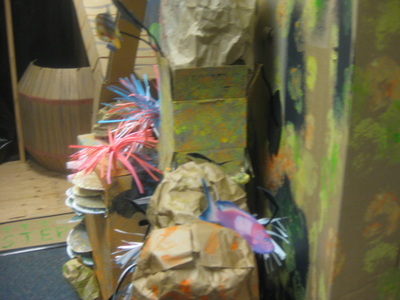 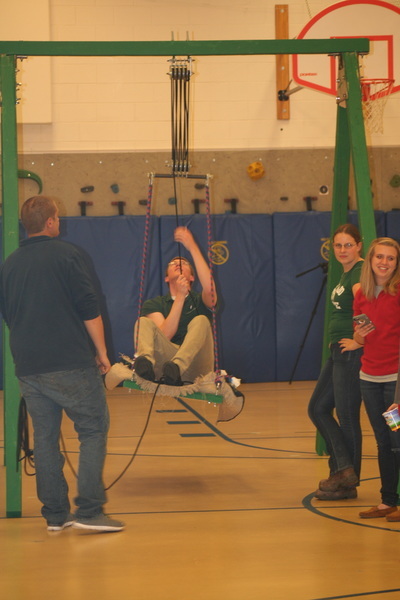 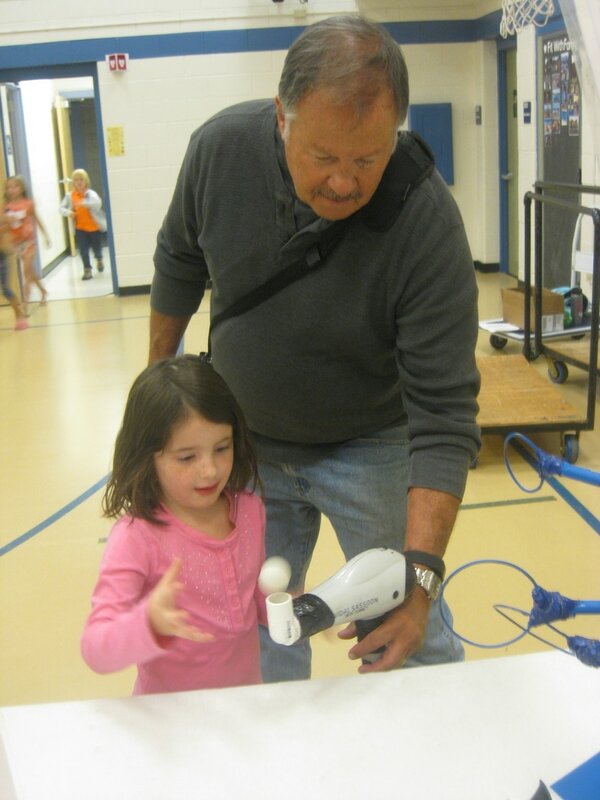 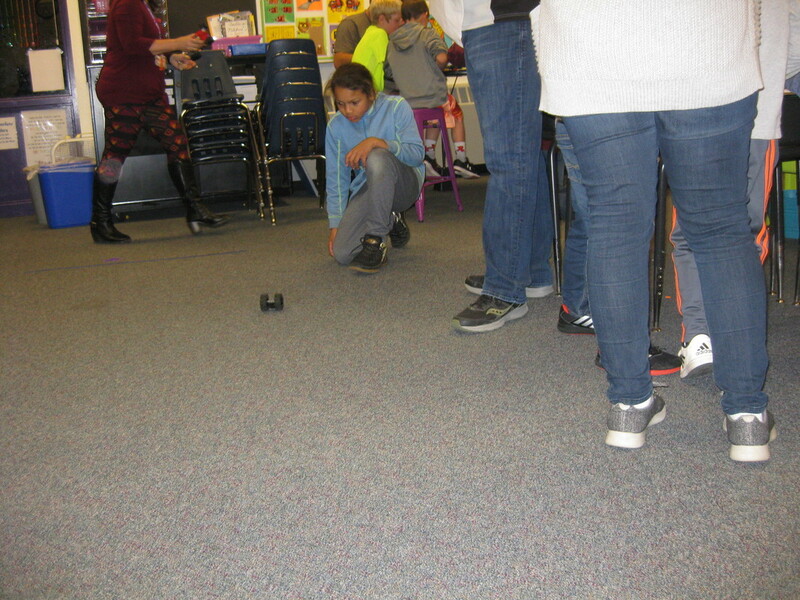 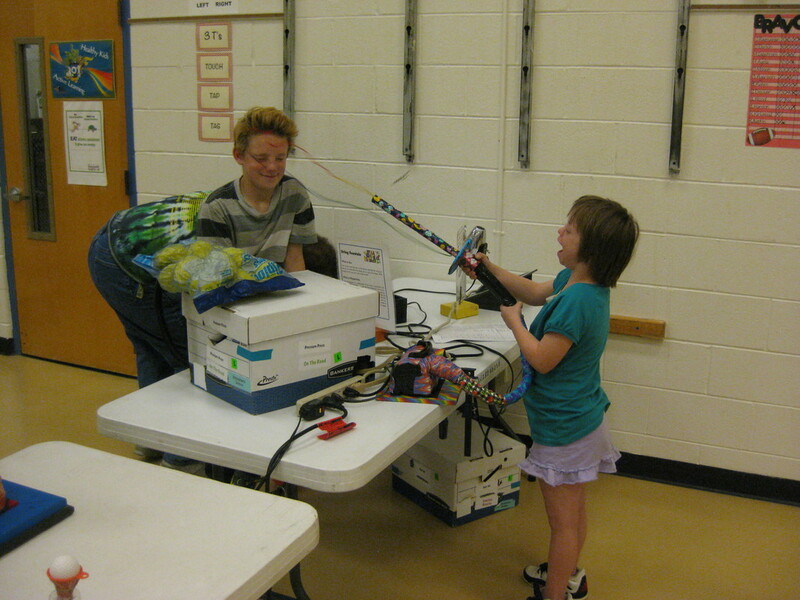 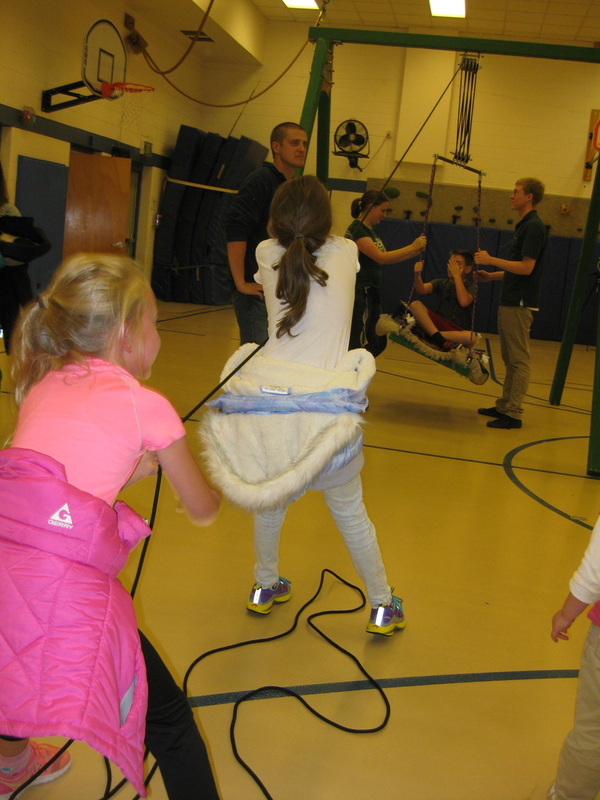 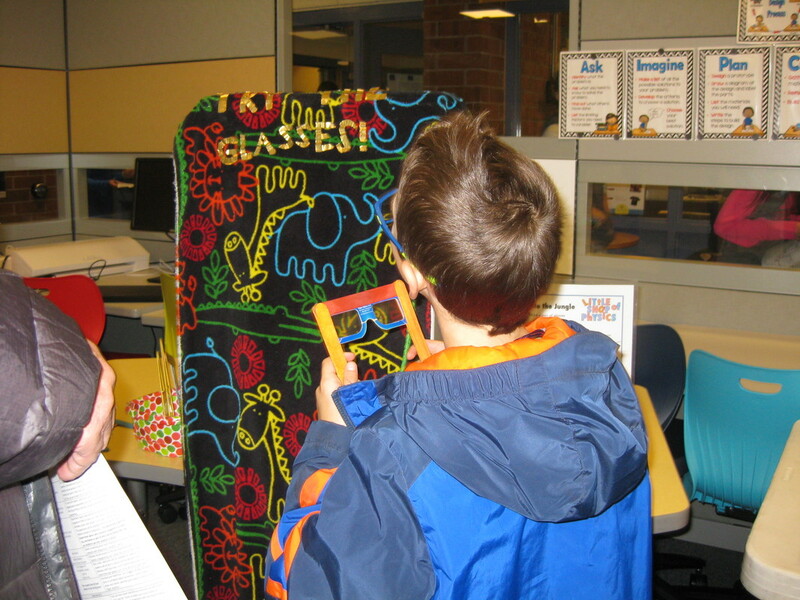 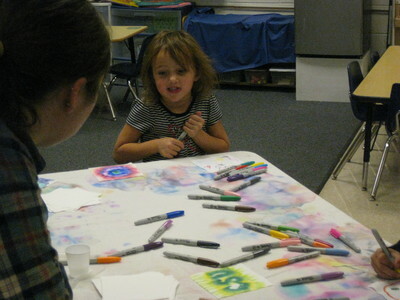 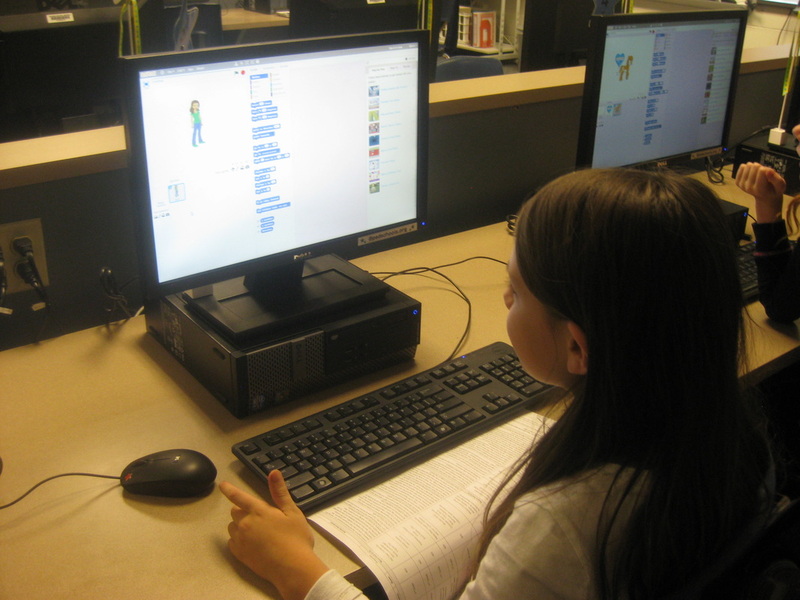 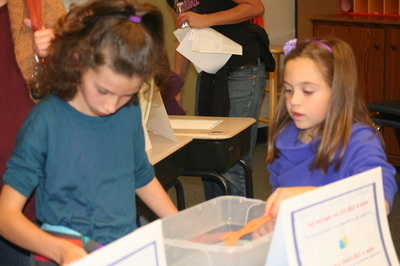 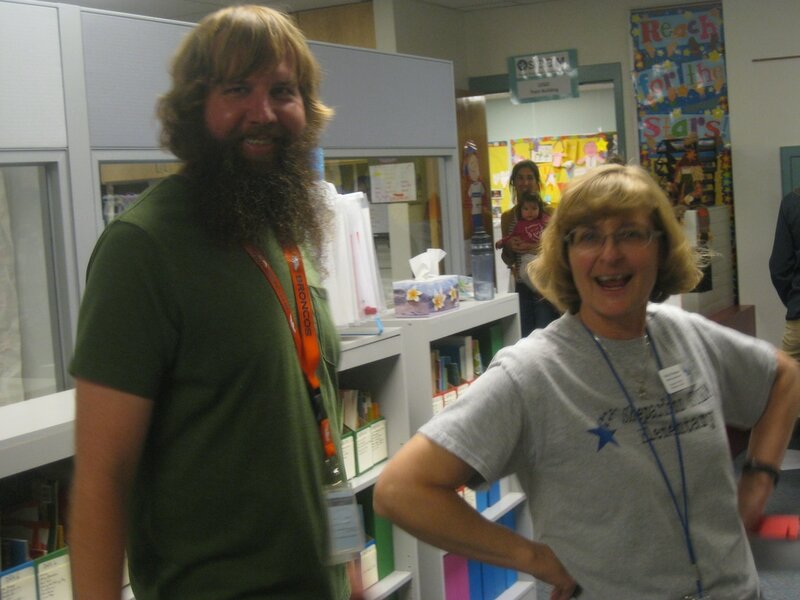 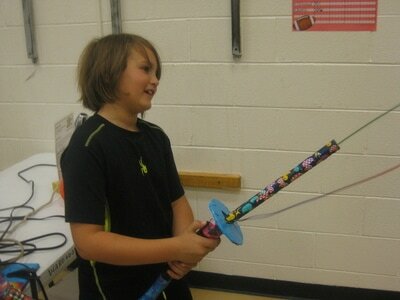 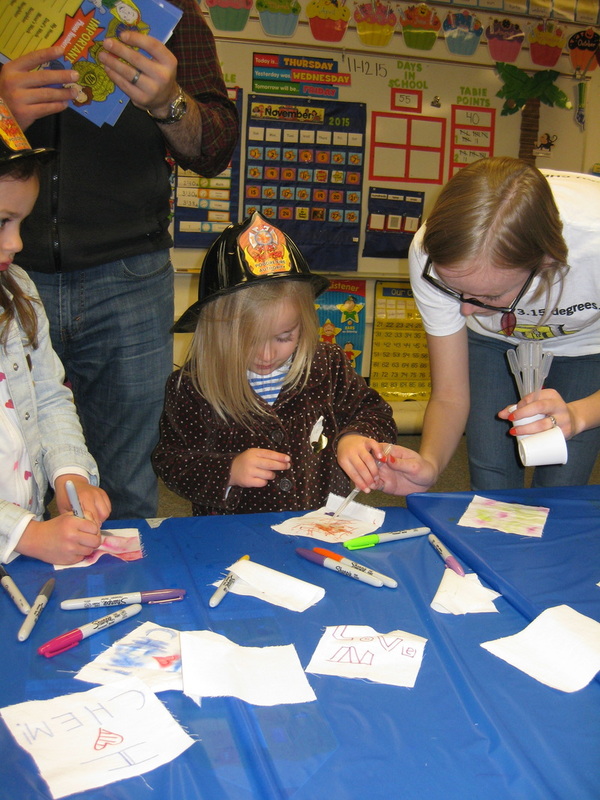 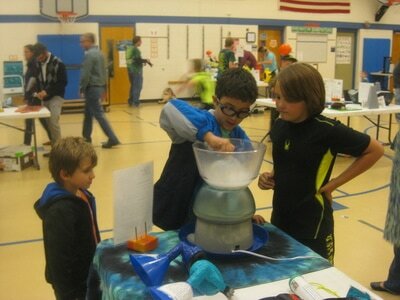 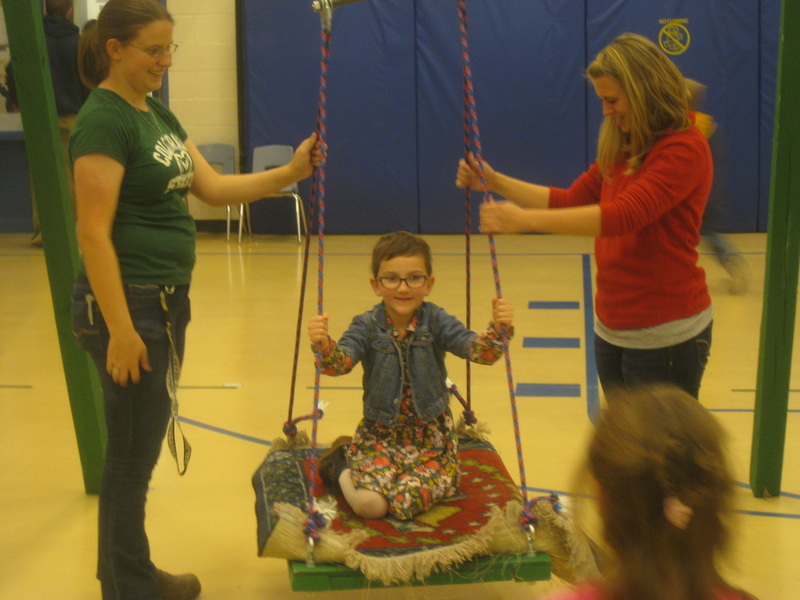 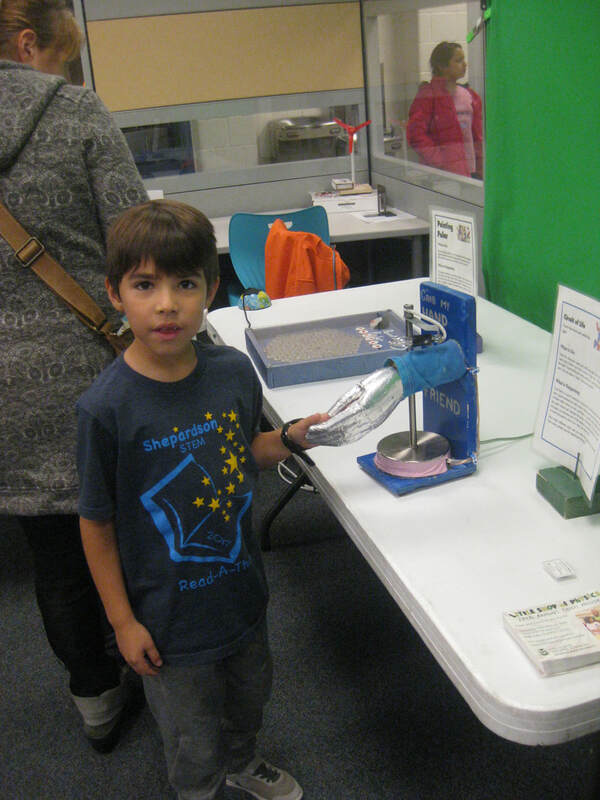 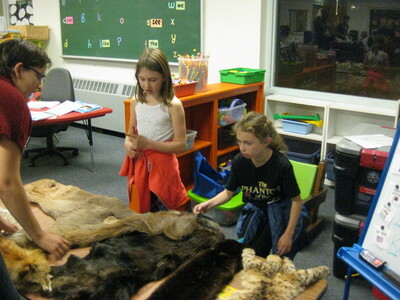 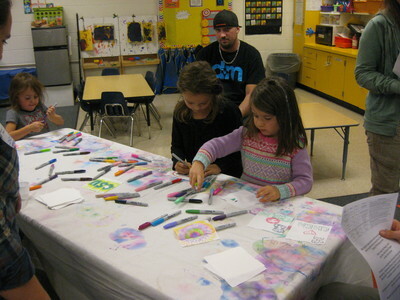 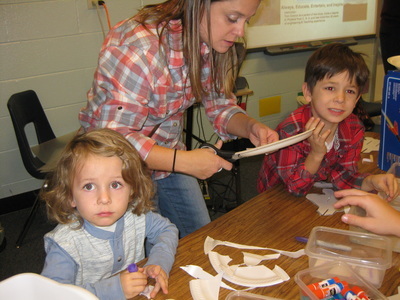 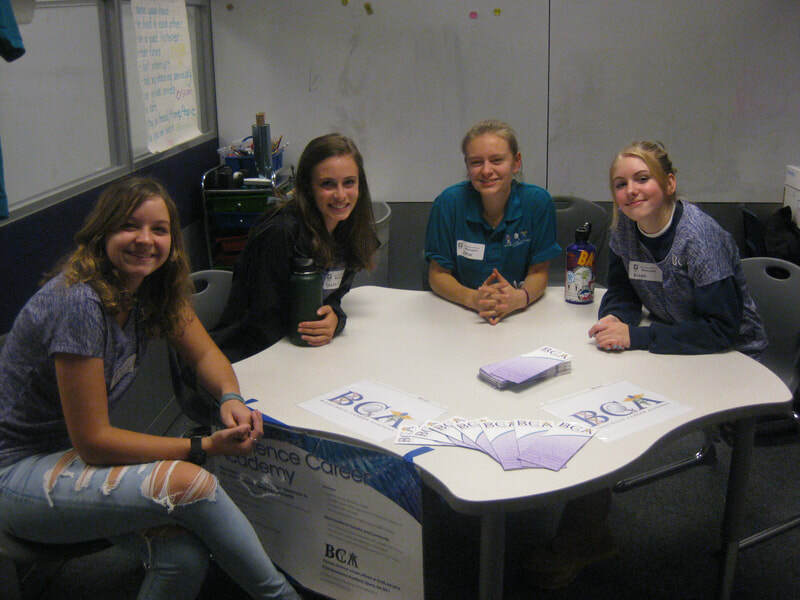 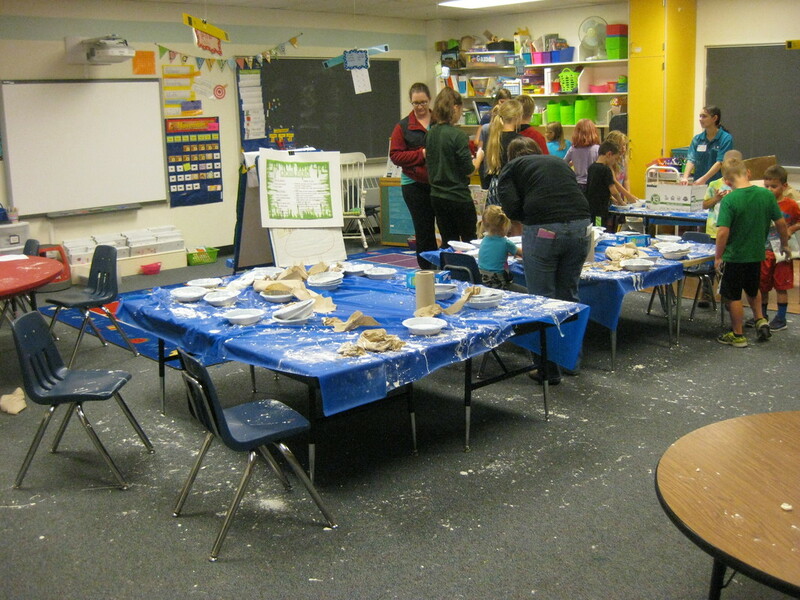 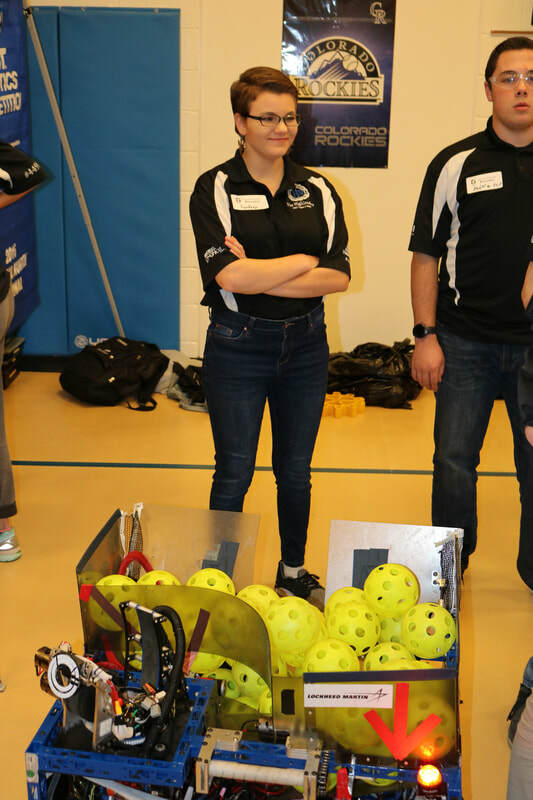 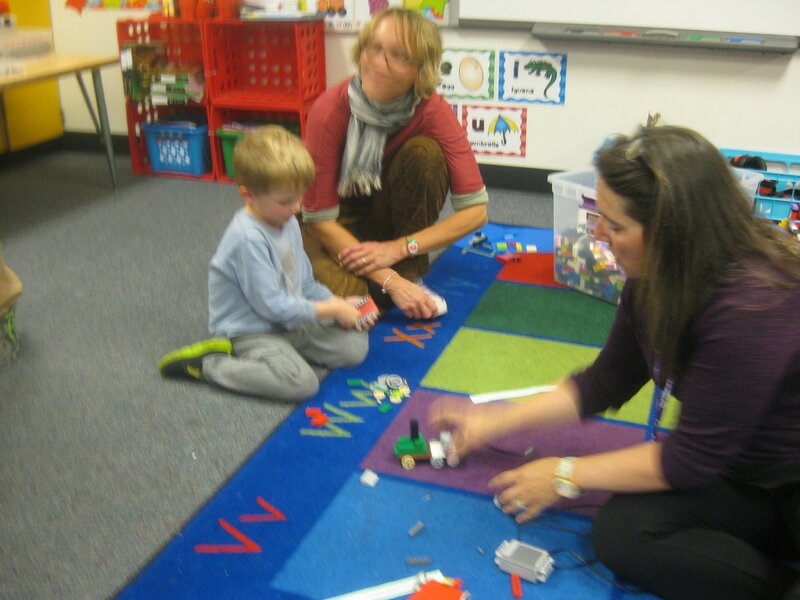 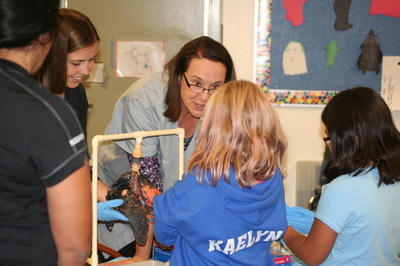 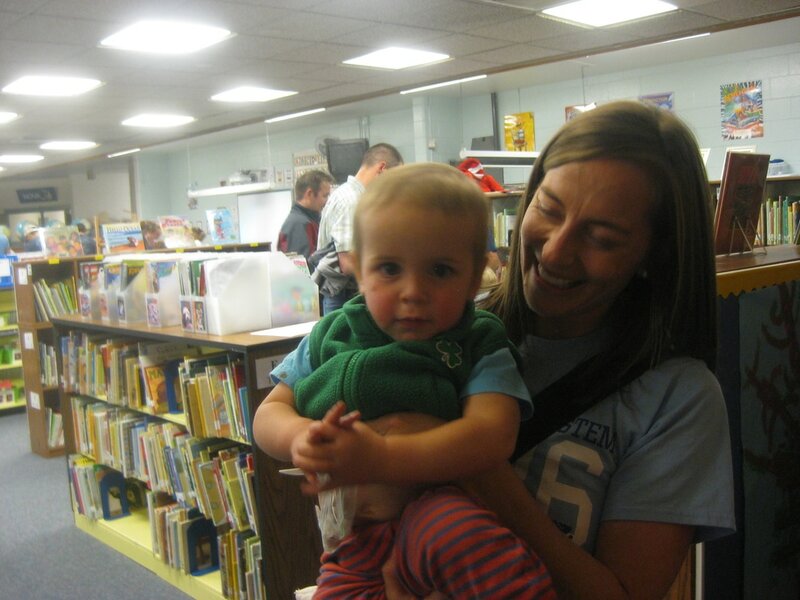 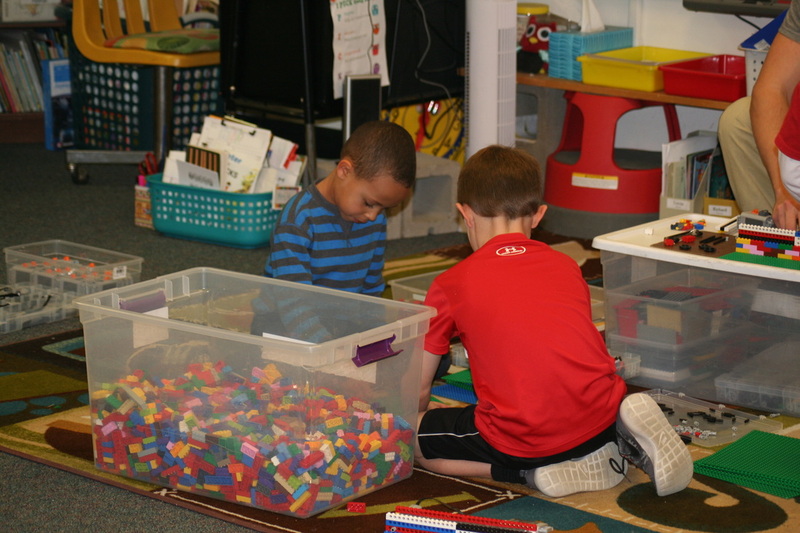 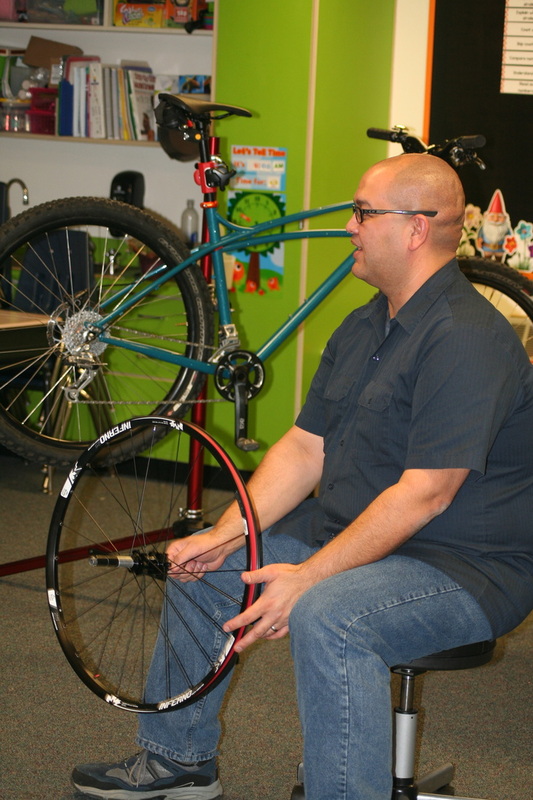 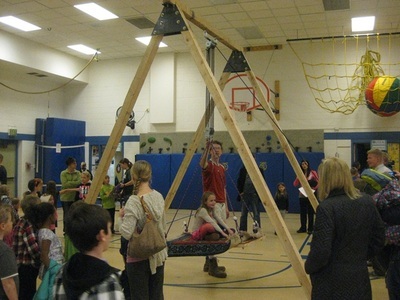 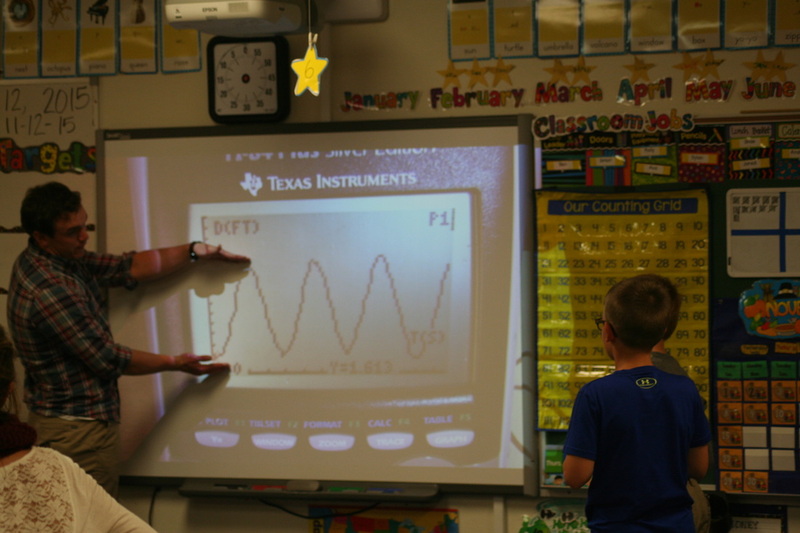 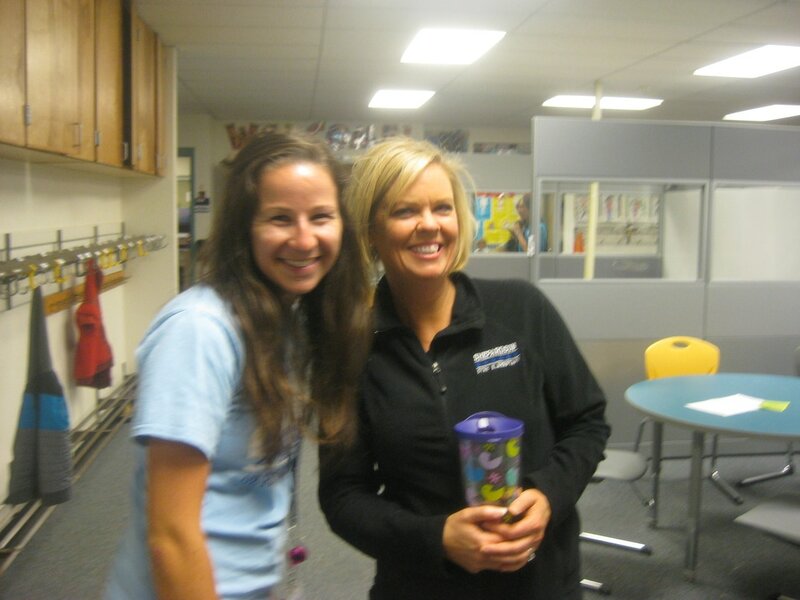 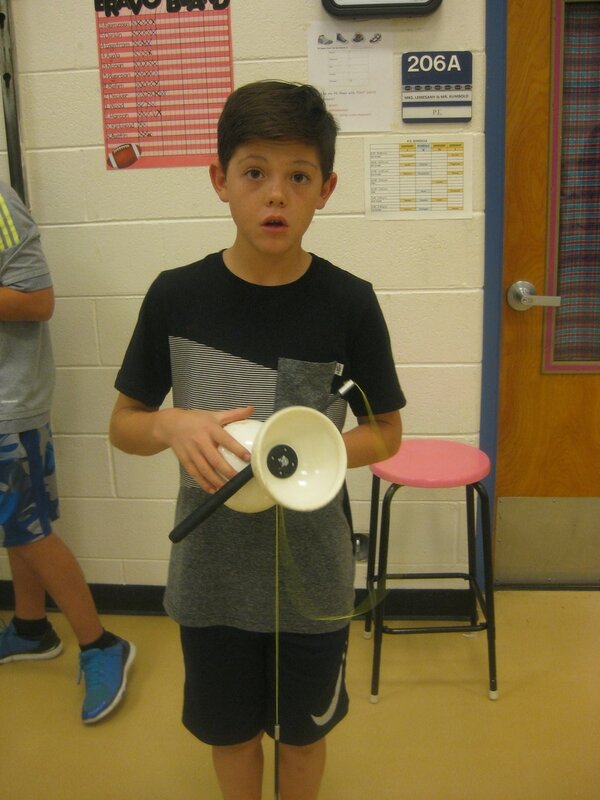 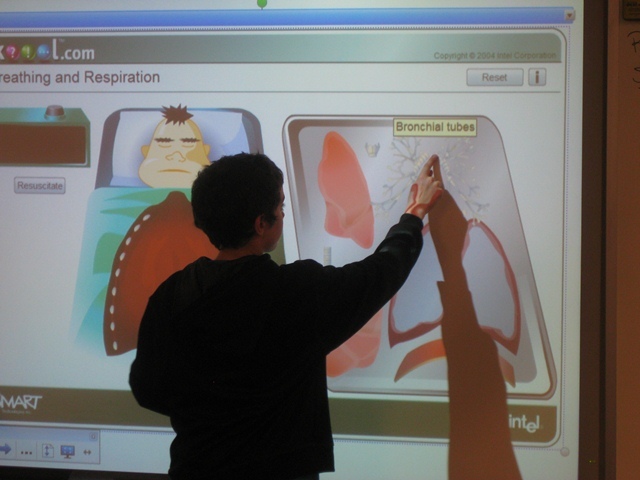 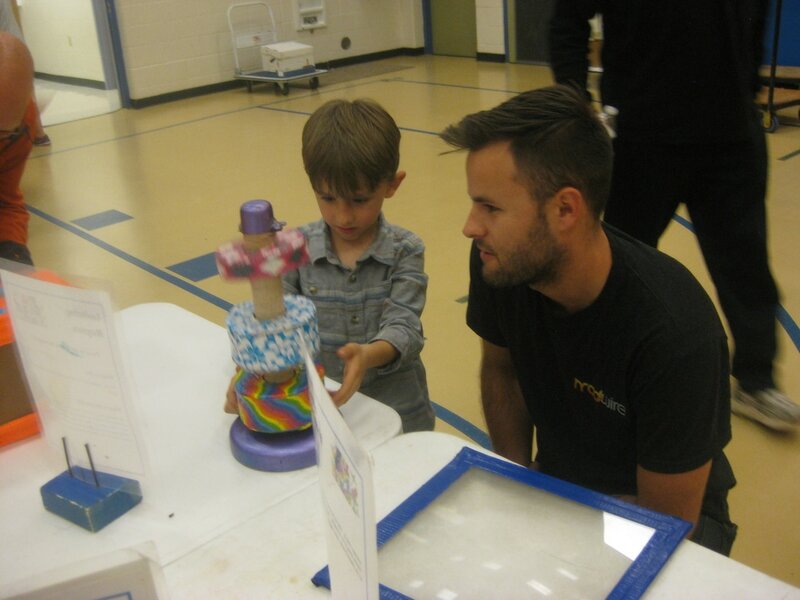 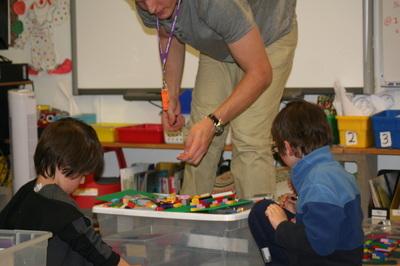 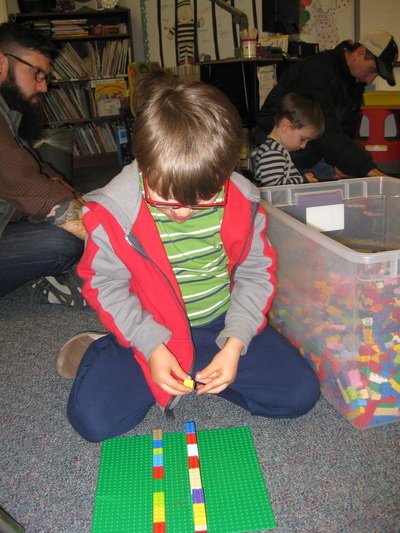 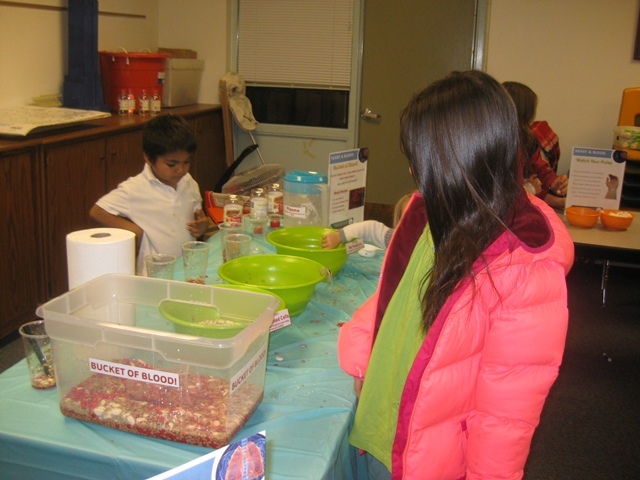 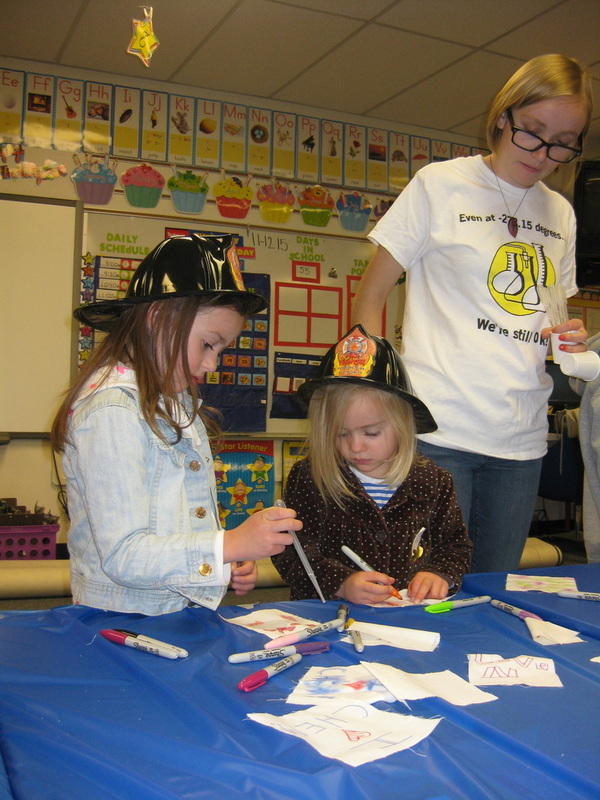 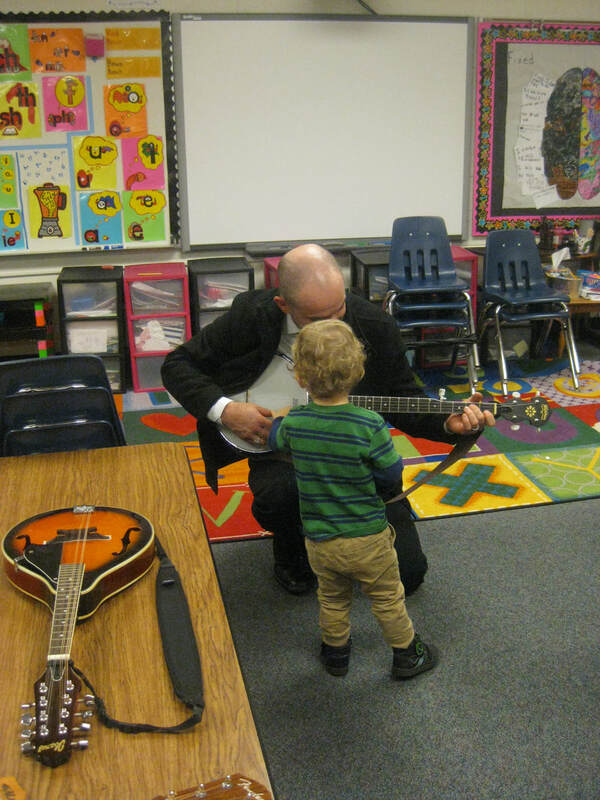 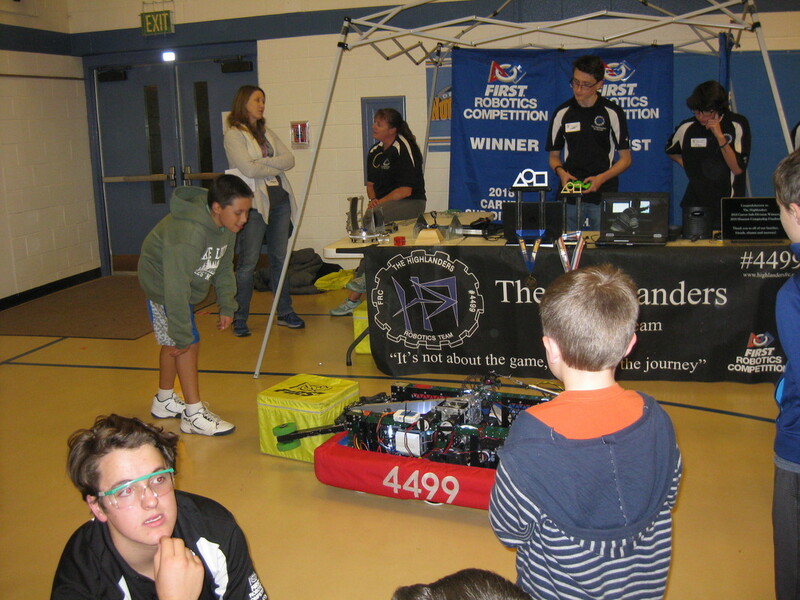 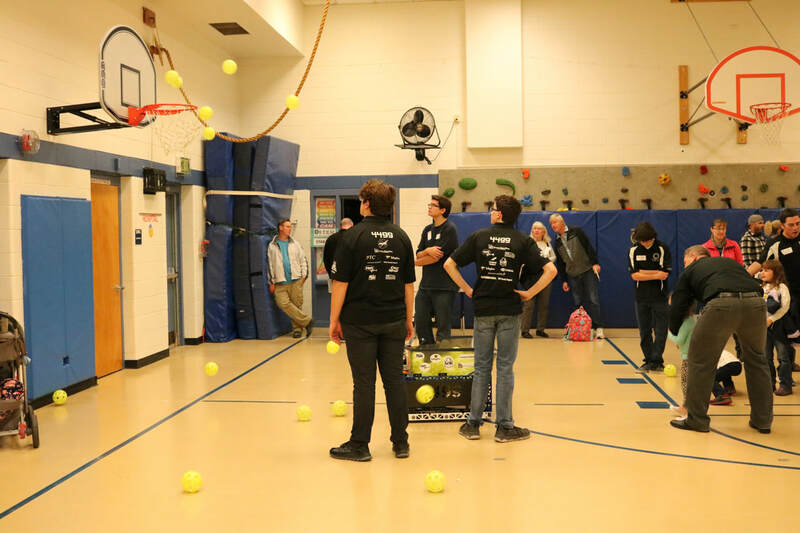 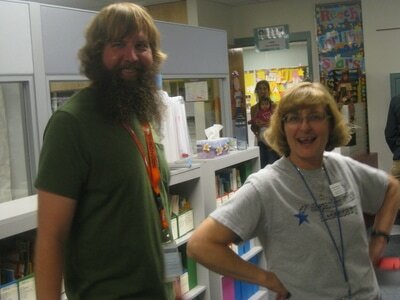 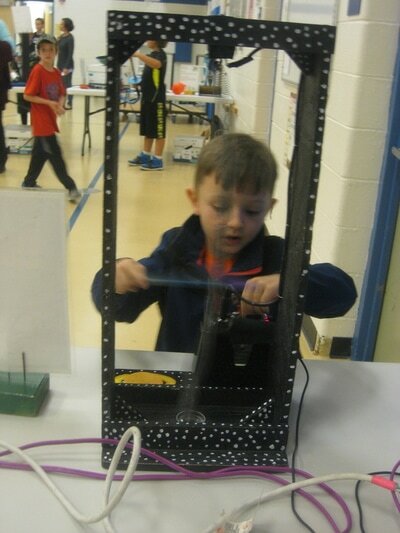 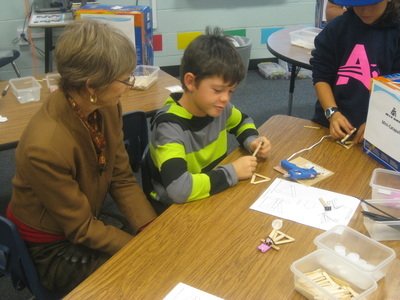 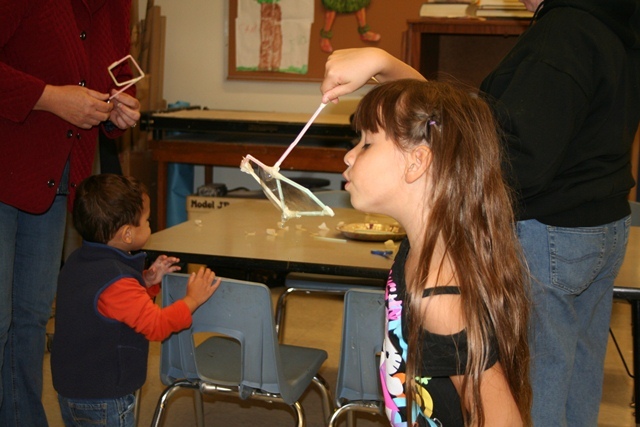 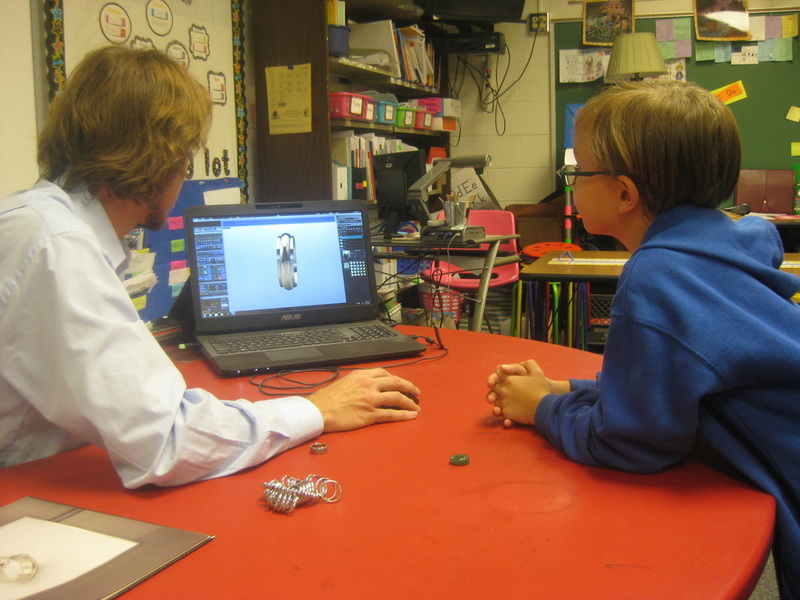 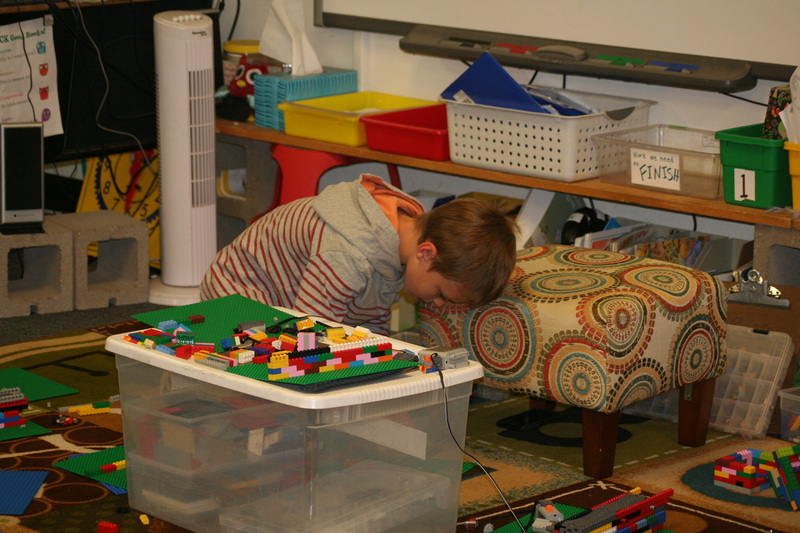 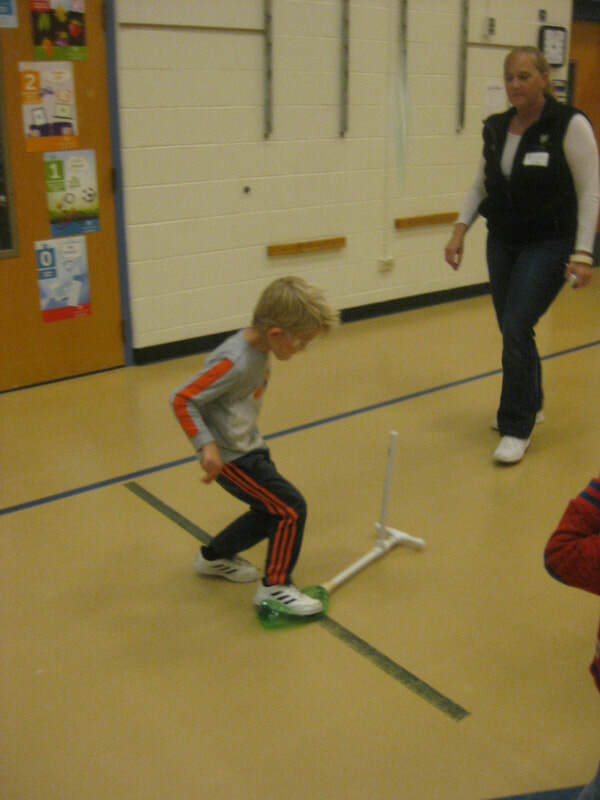 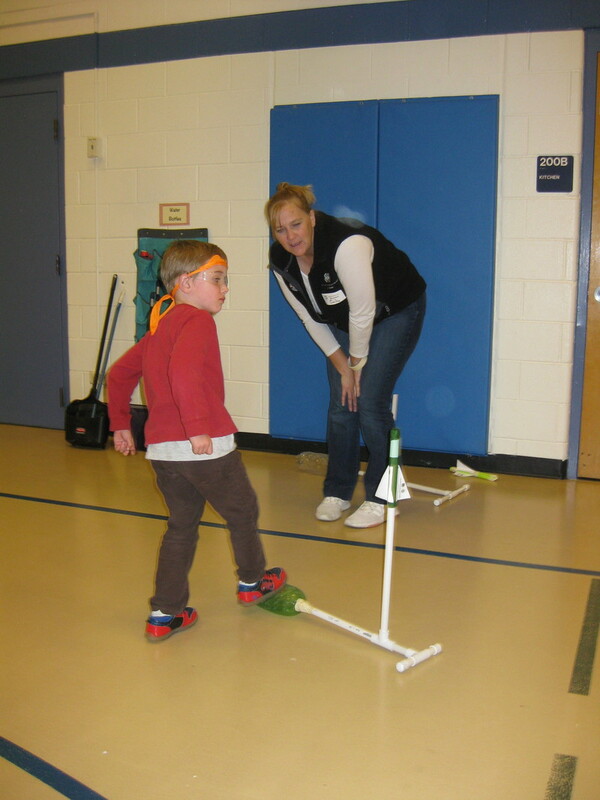 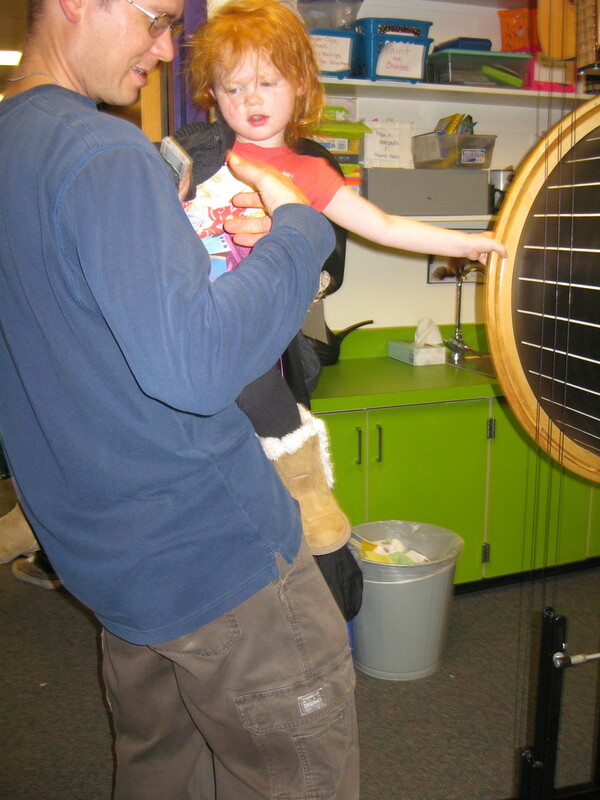 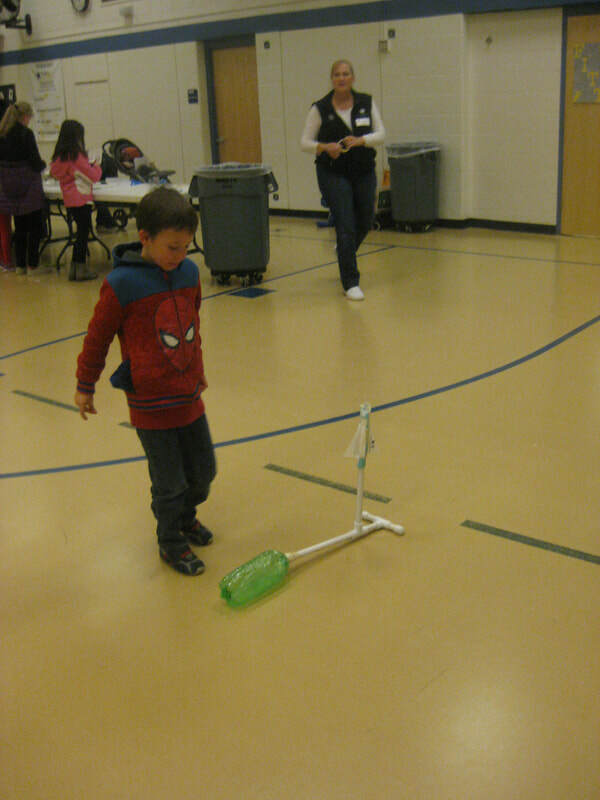 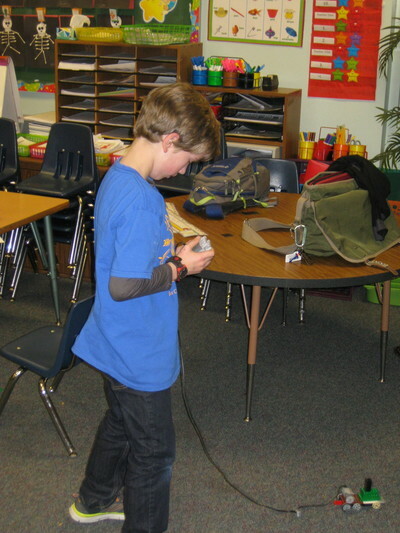 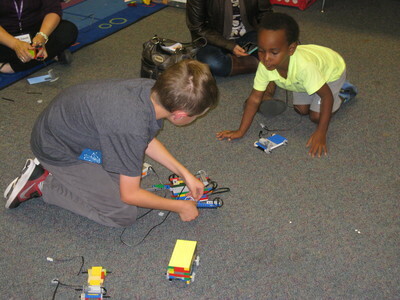 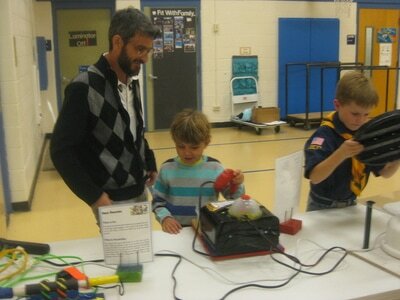 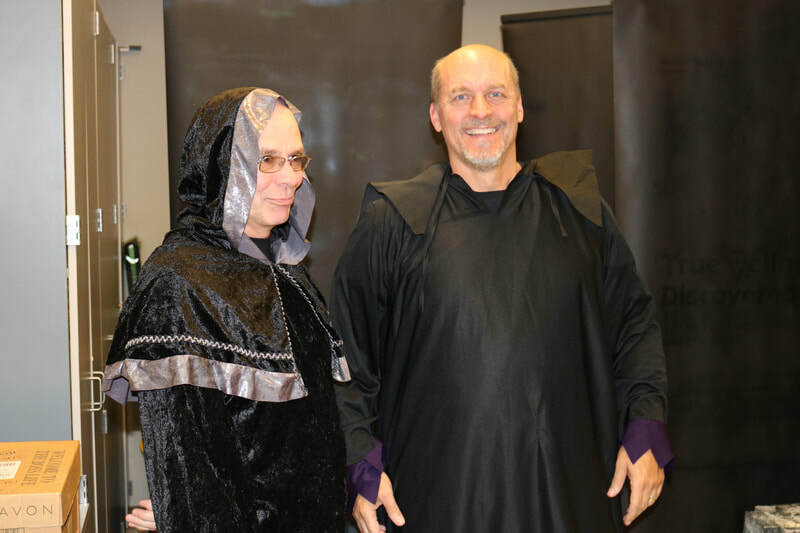 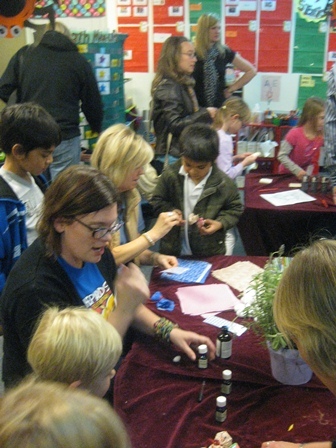 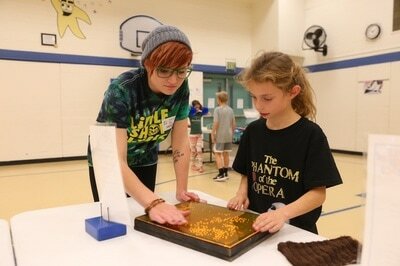 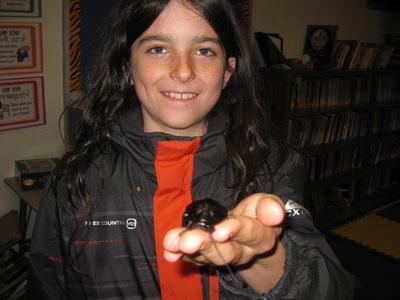 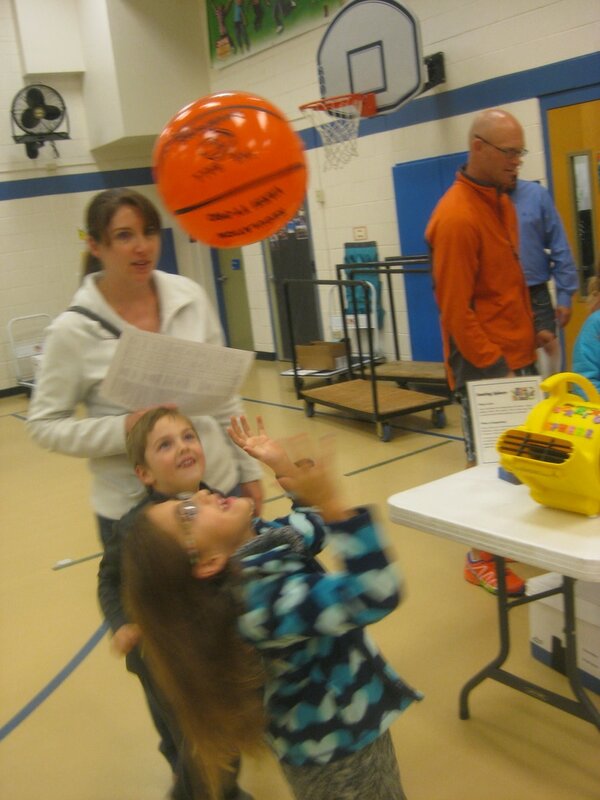 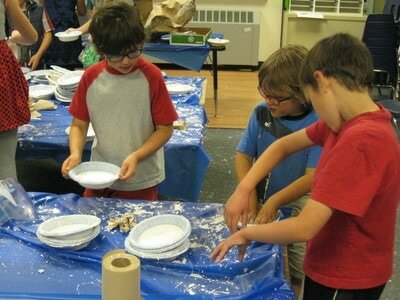 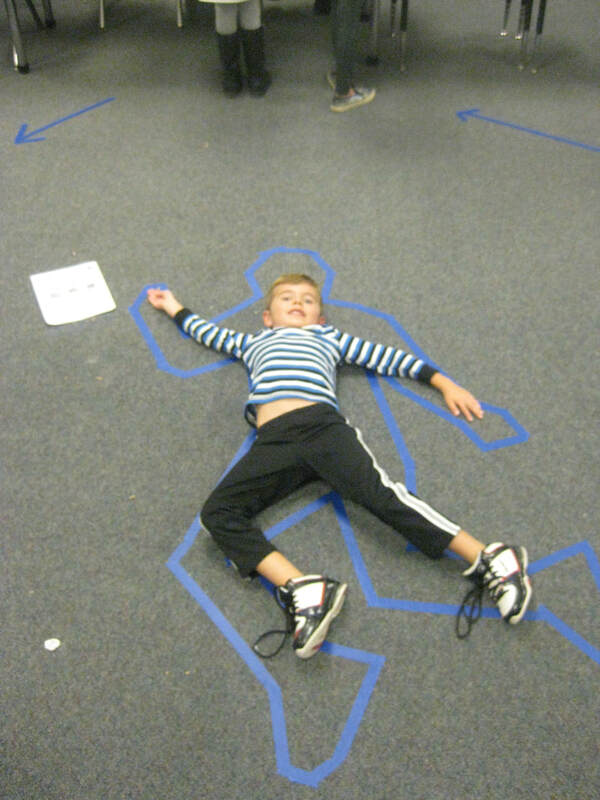 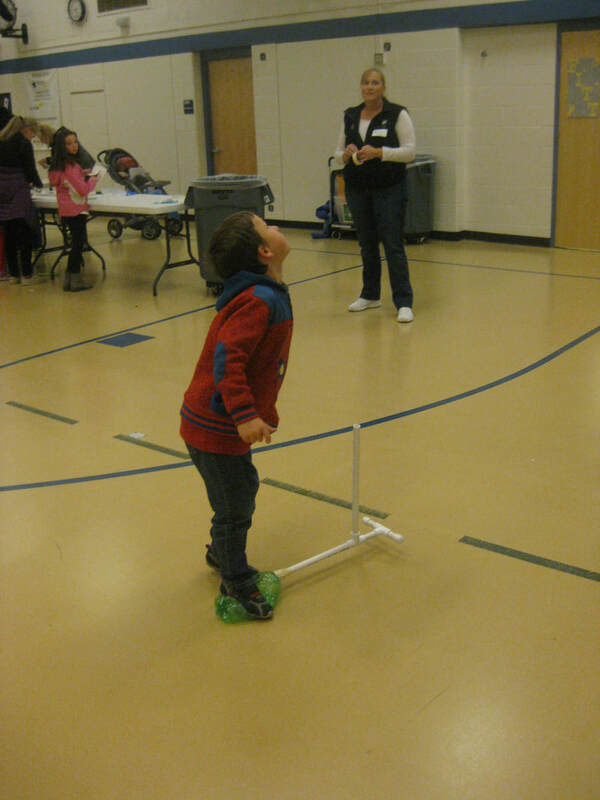 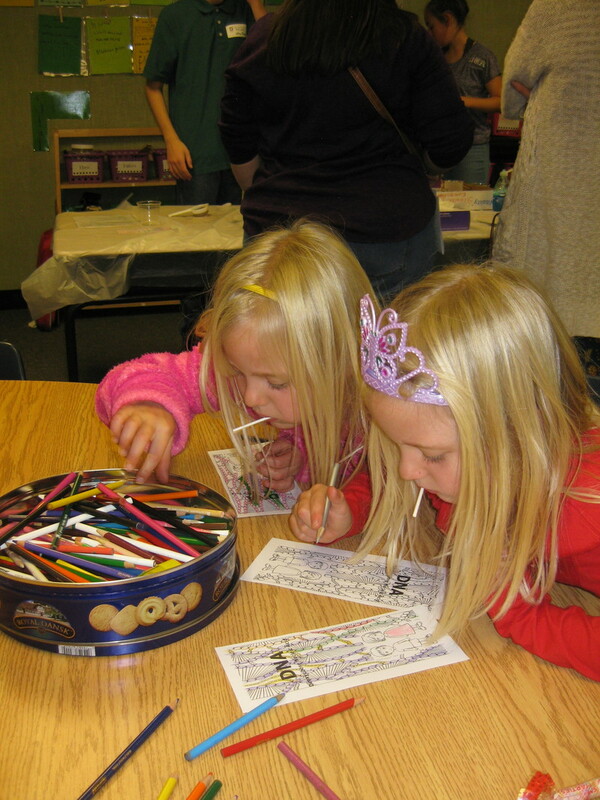 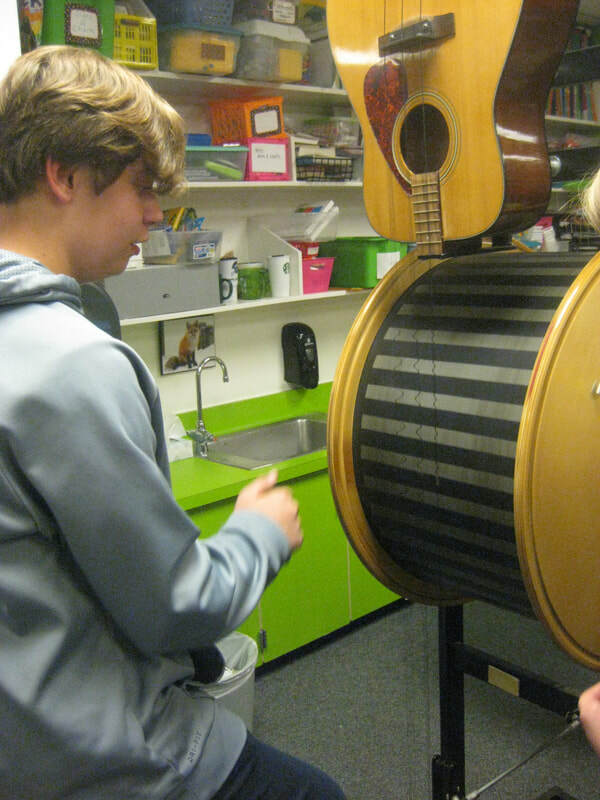 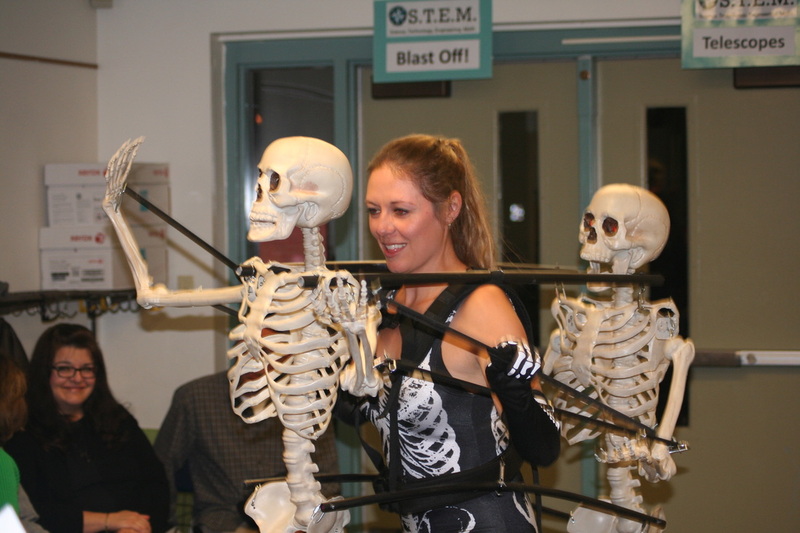 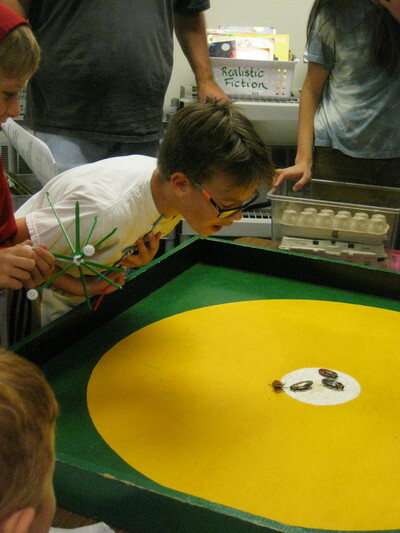 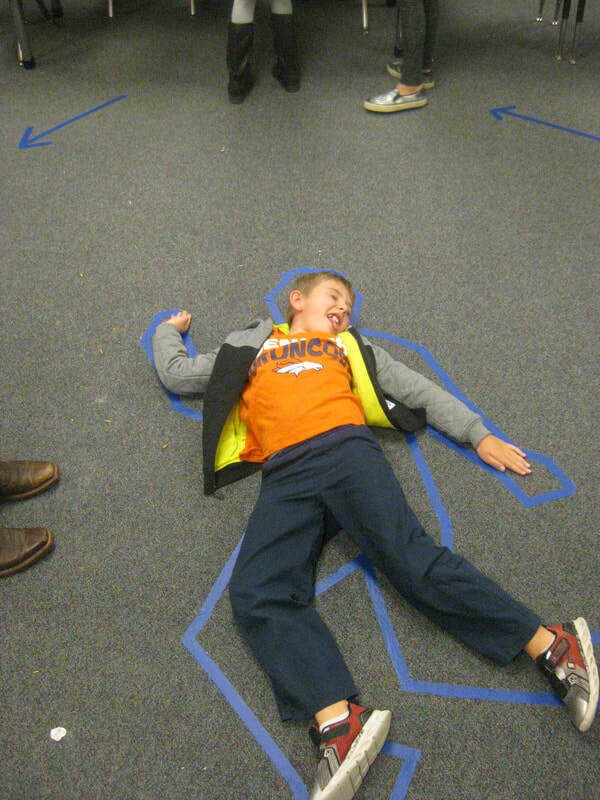 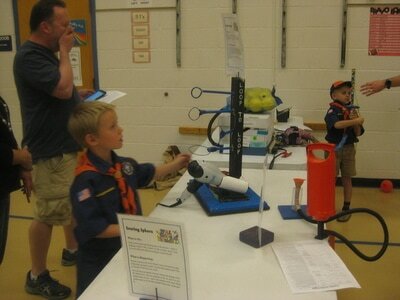 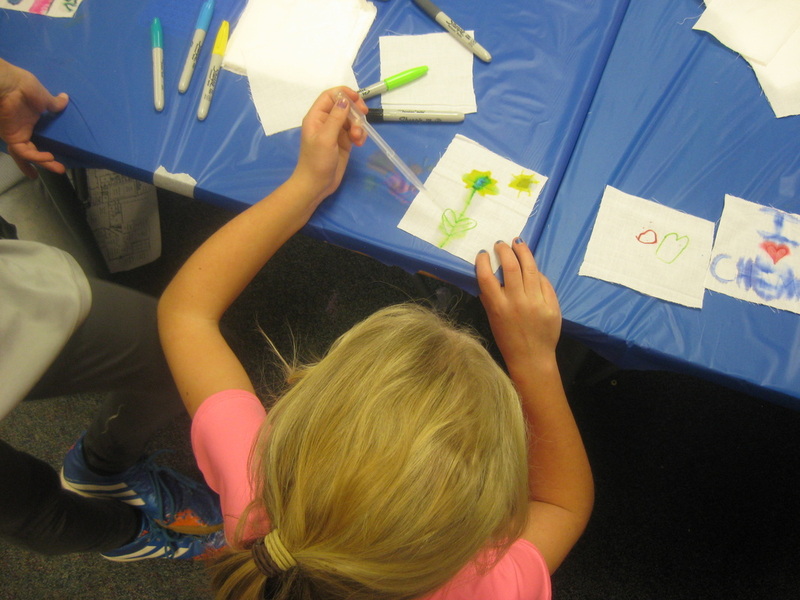 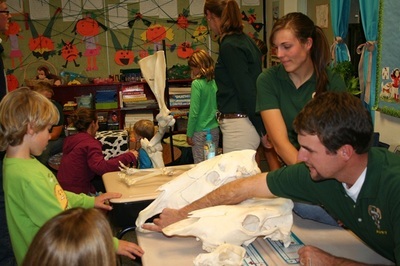 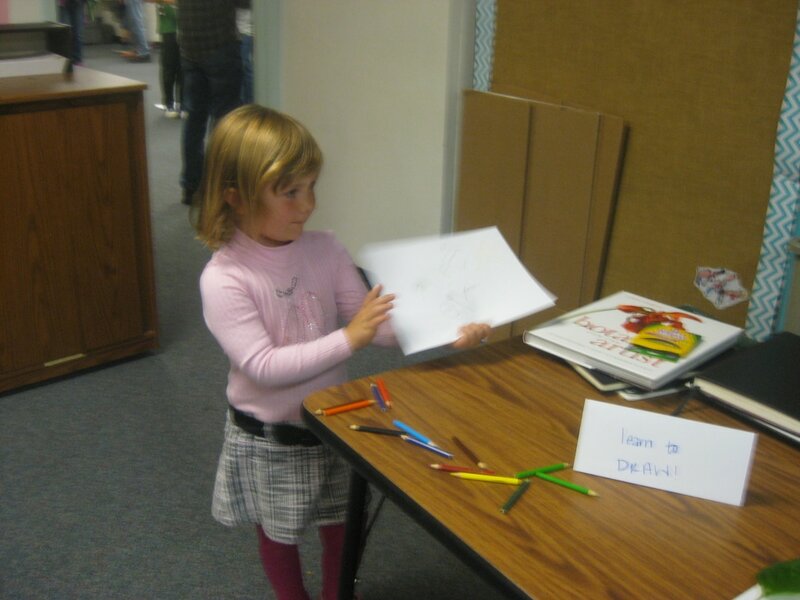 STEM Night 2013 was lots of fun for everyone! 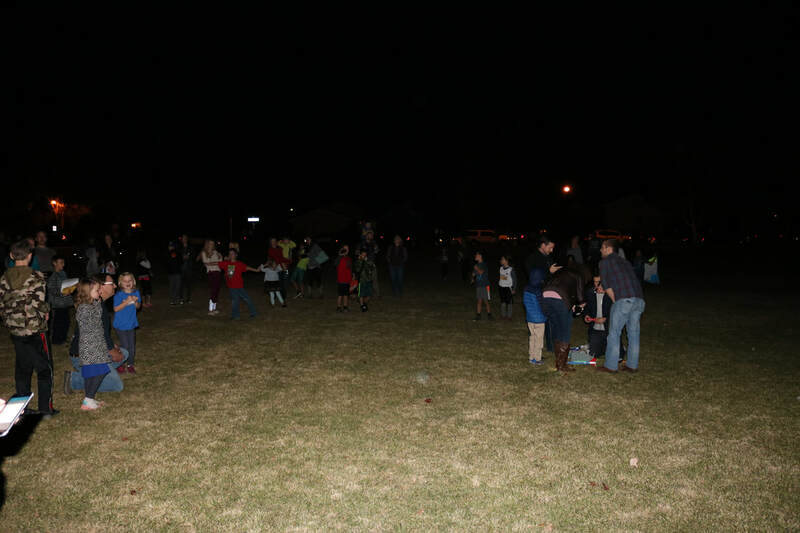 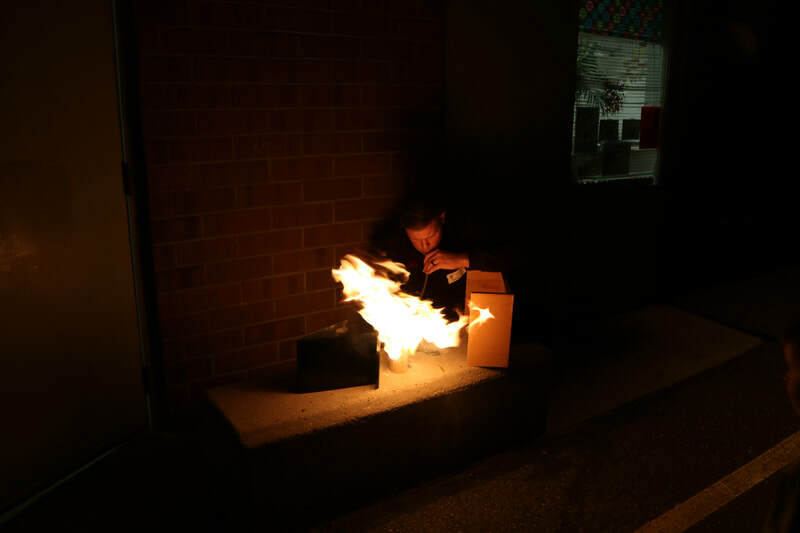 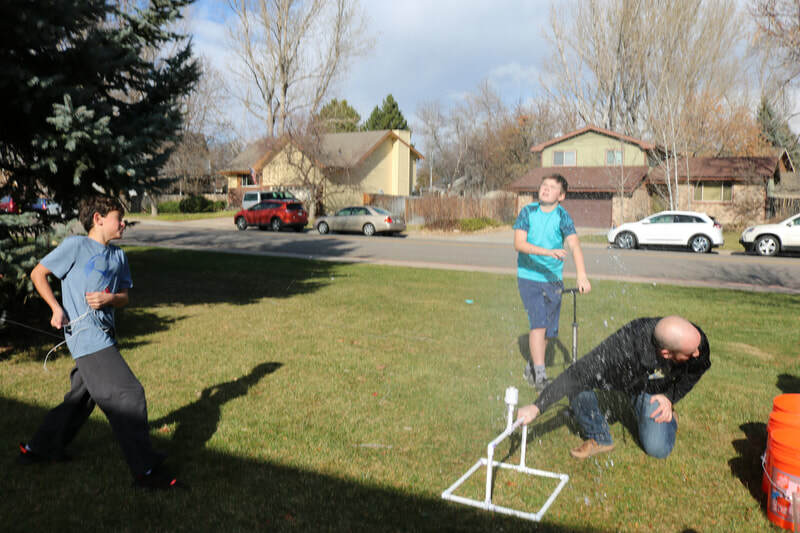 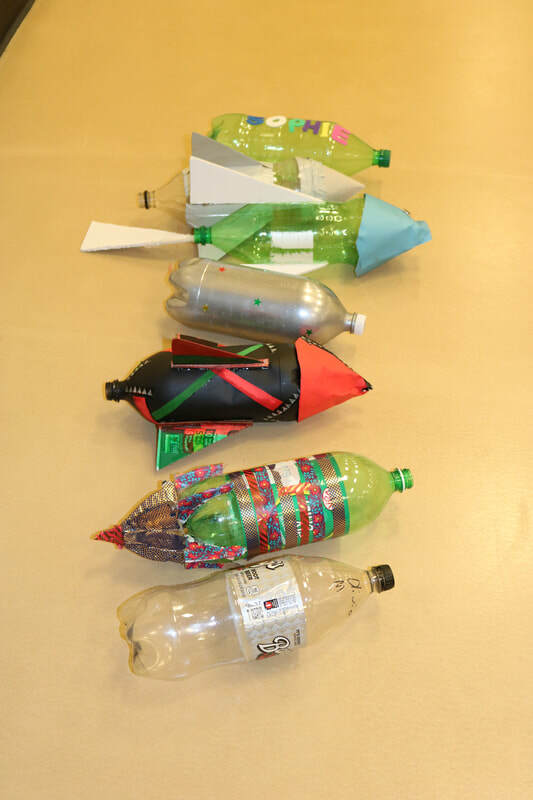 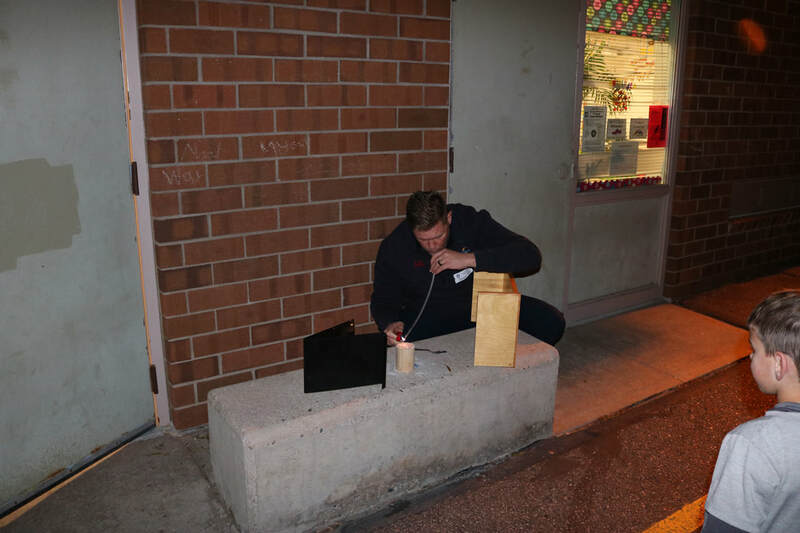 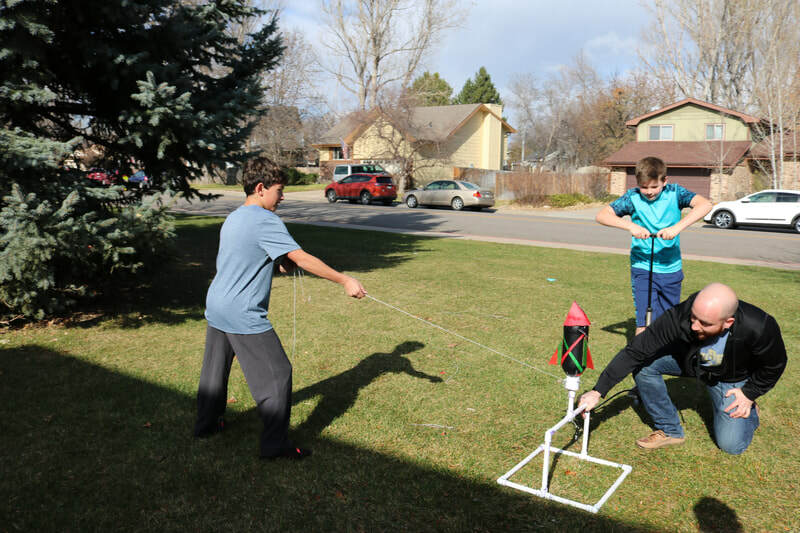 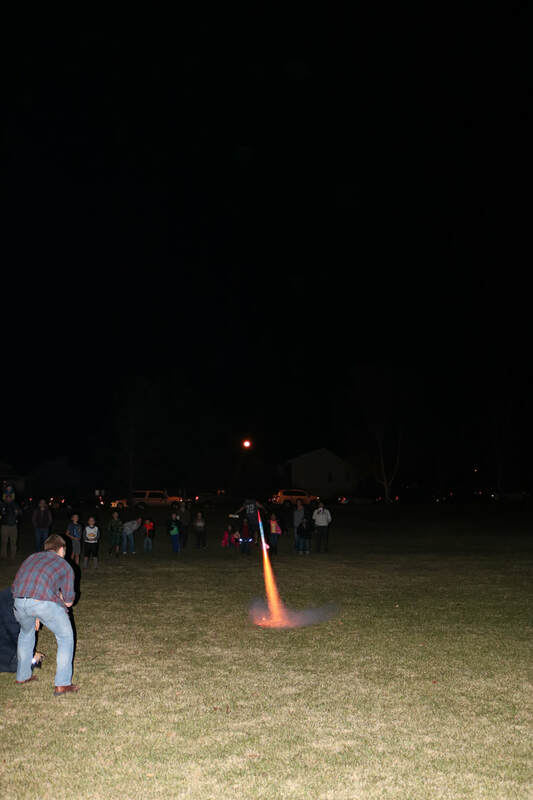 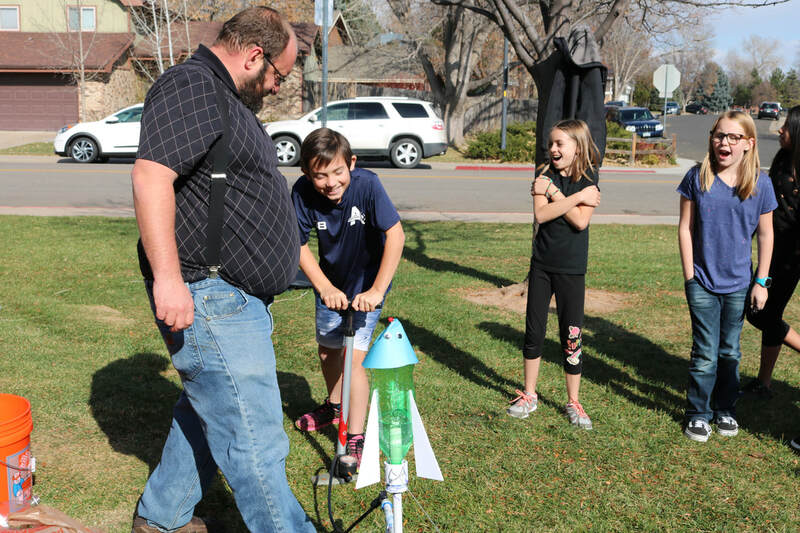 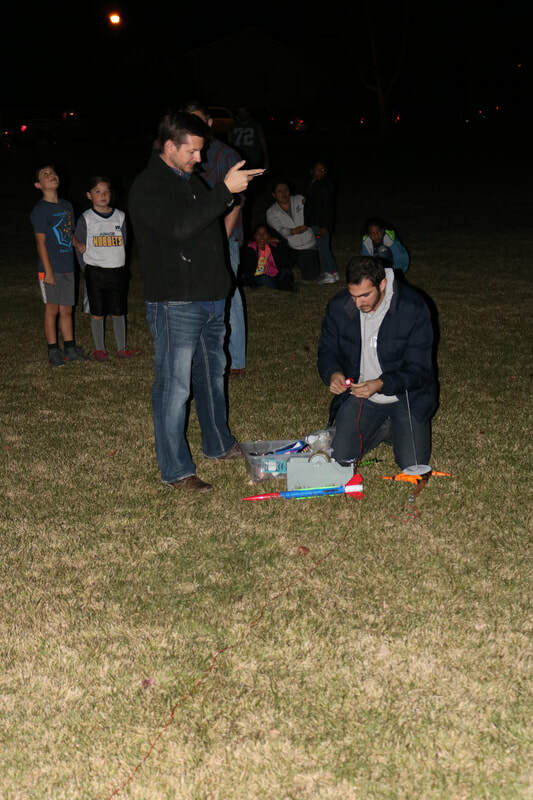 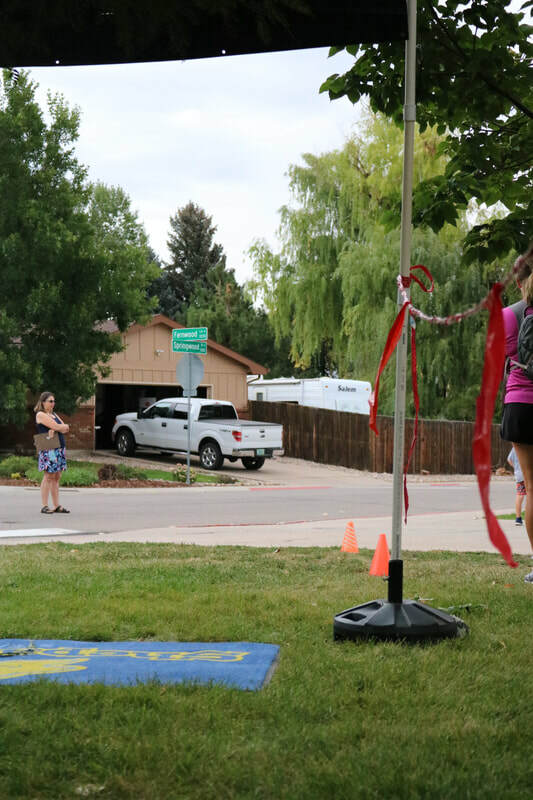 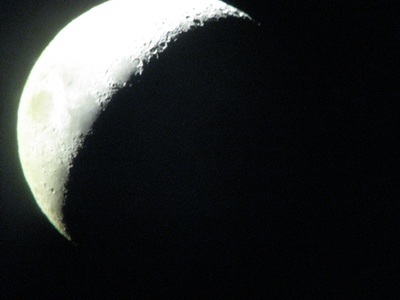 The evening was kicked of with the rocket launches and telescopes outside. 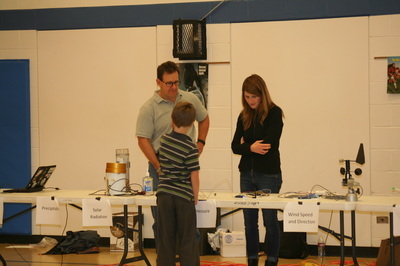 We also had the CSU physics display in the gym with fascinating and interactive science experiments. 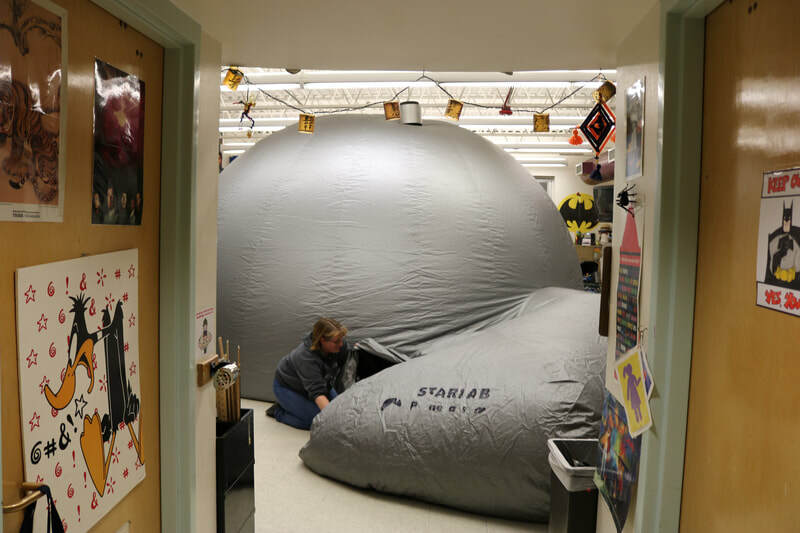 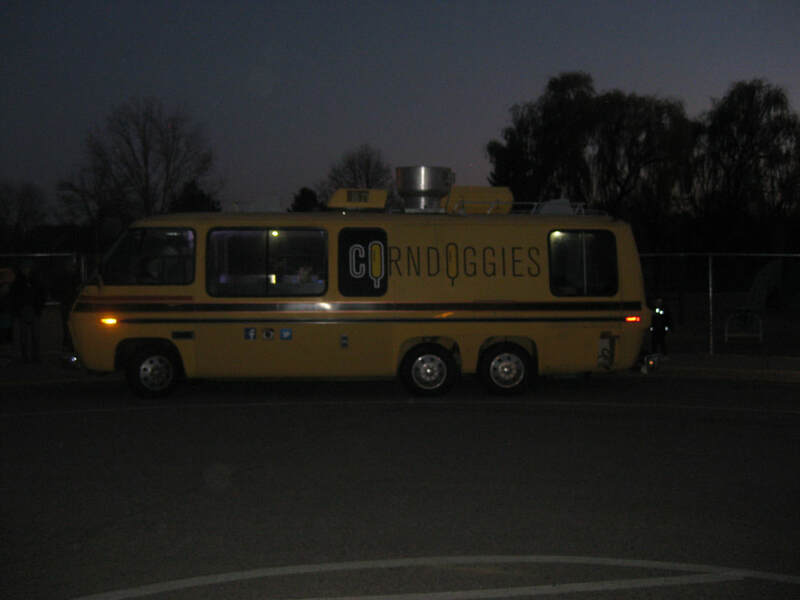 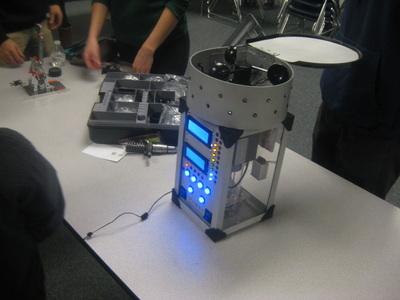 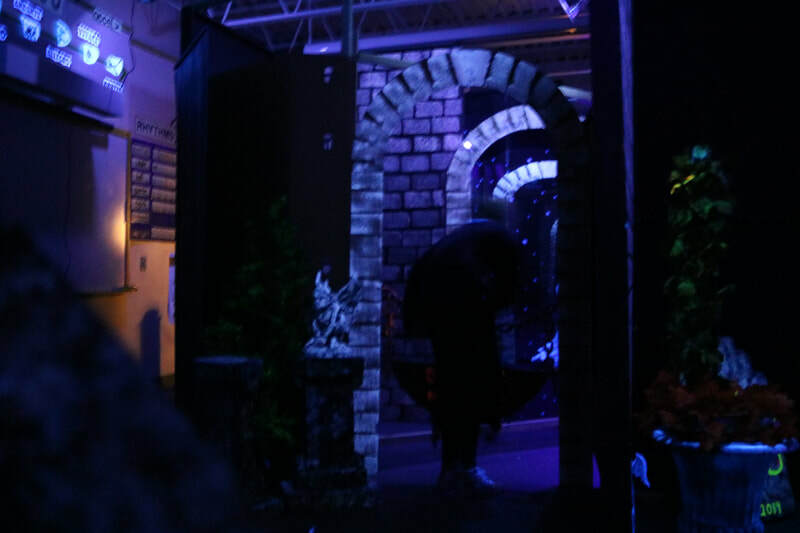 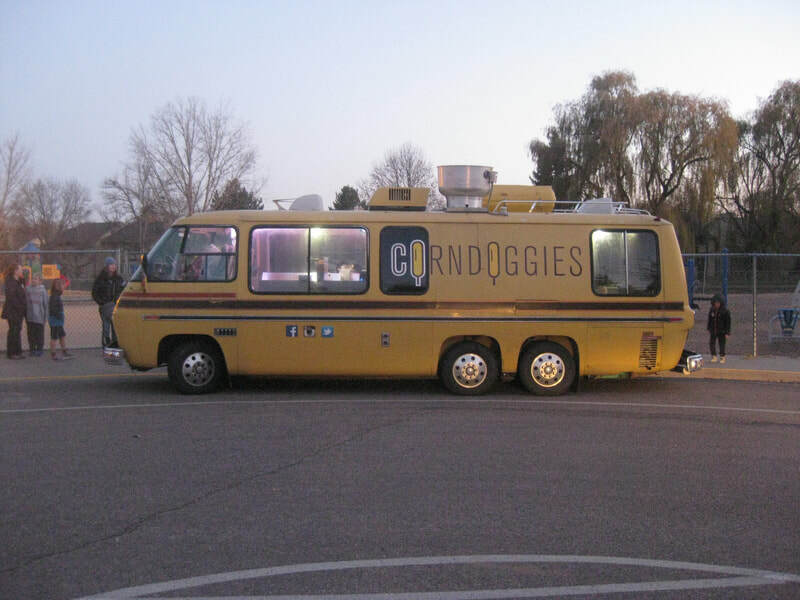 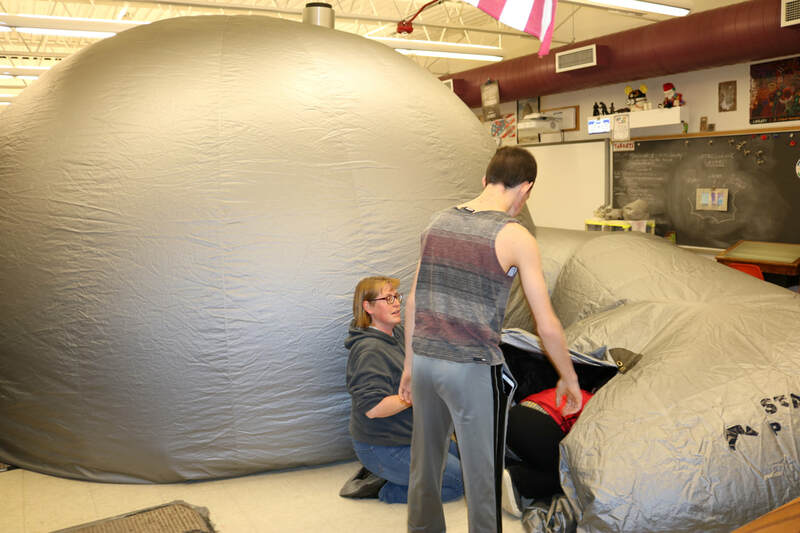 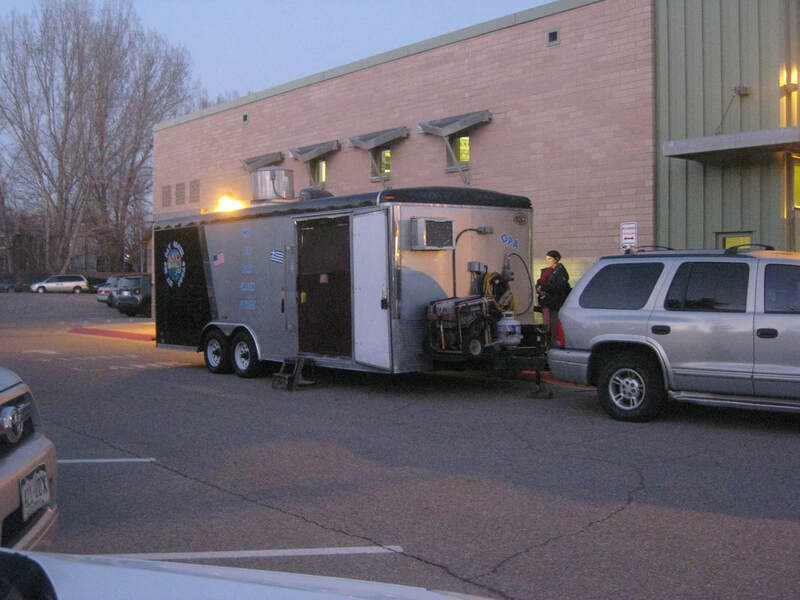 The Star Lab was also a huge hit allowing families to enjoy a star-gazing experience in this portable planetarium. 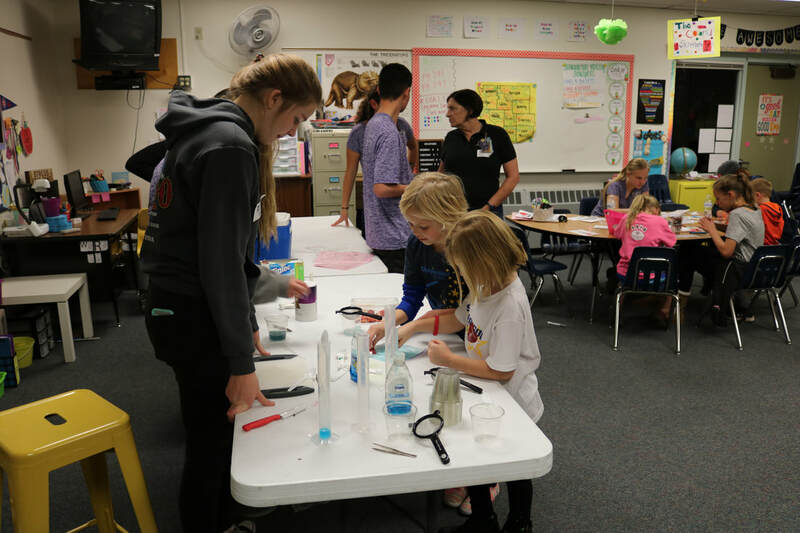 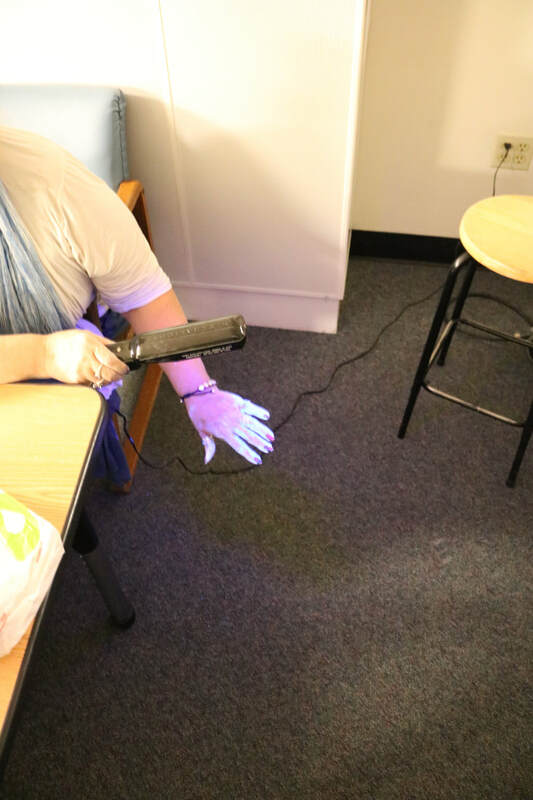 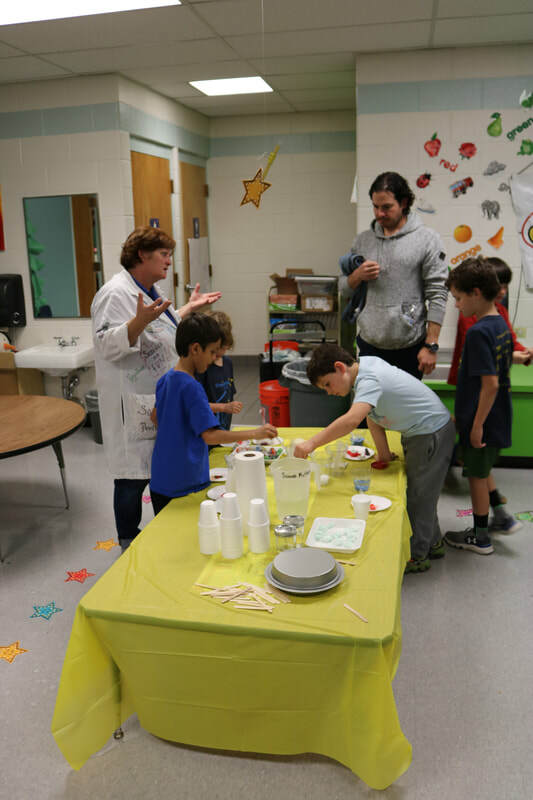 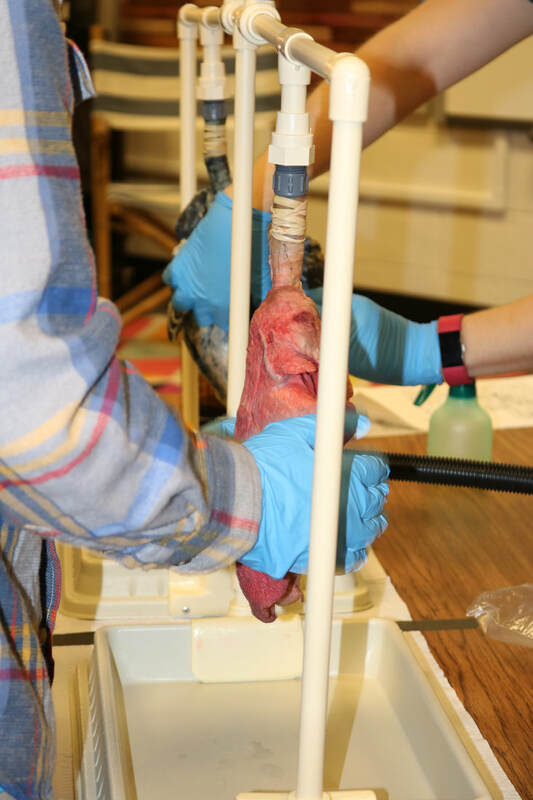 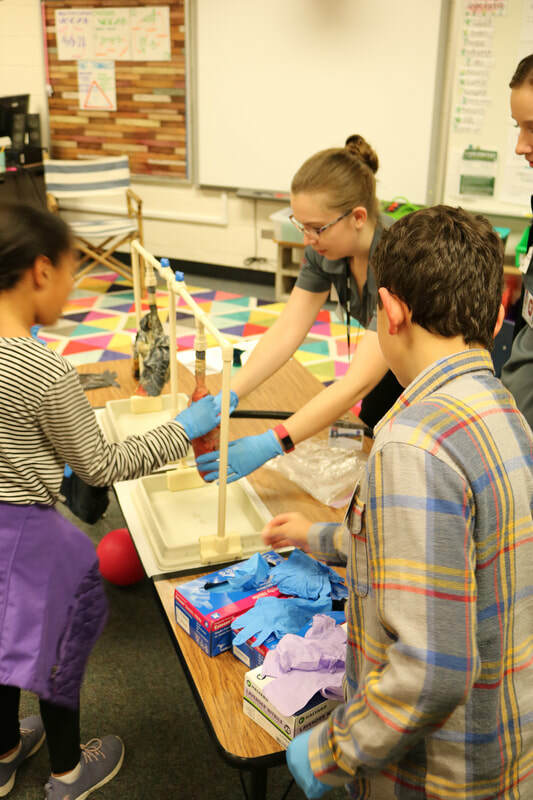 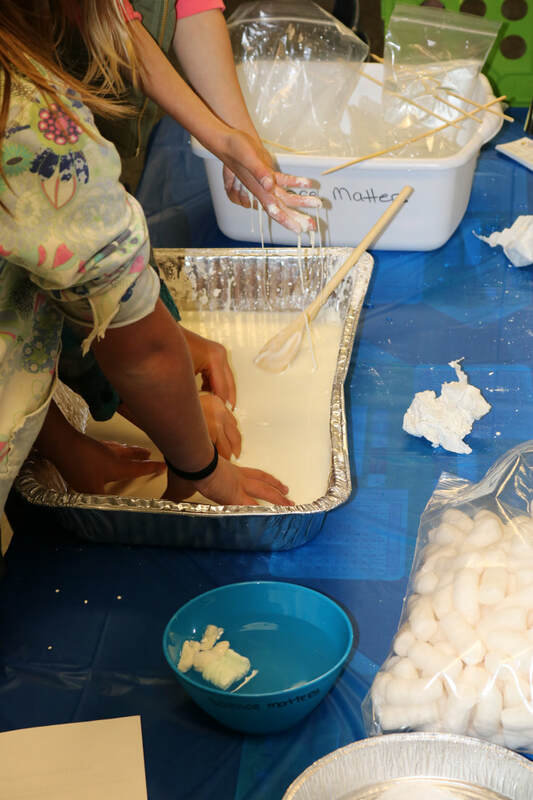 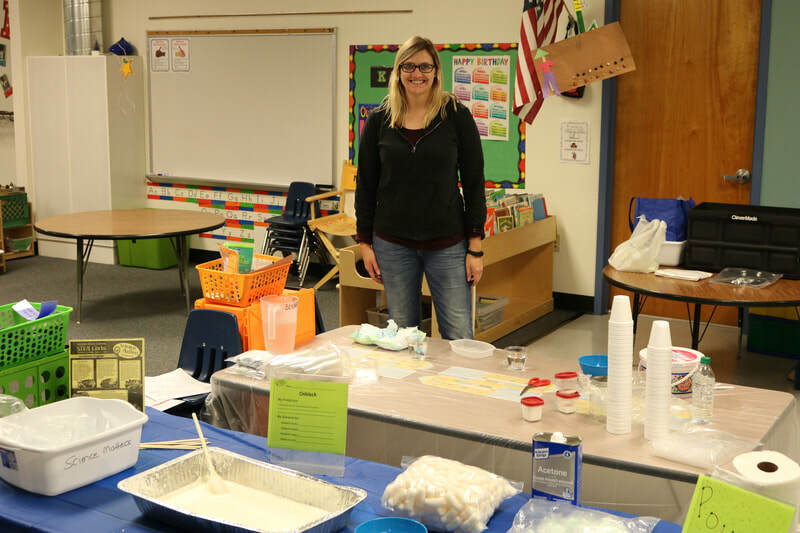 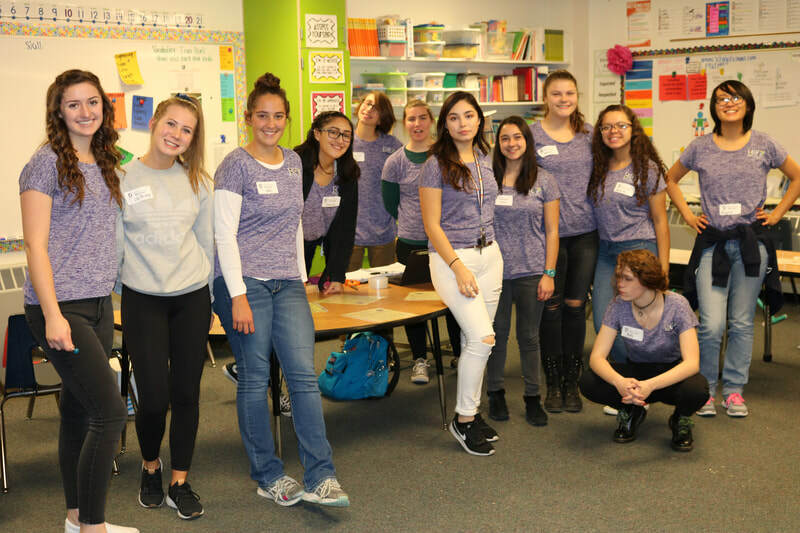 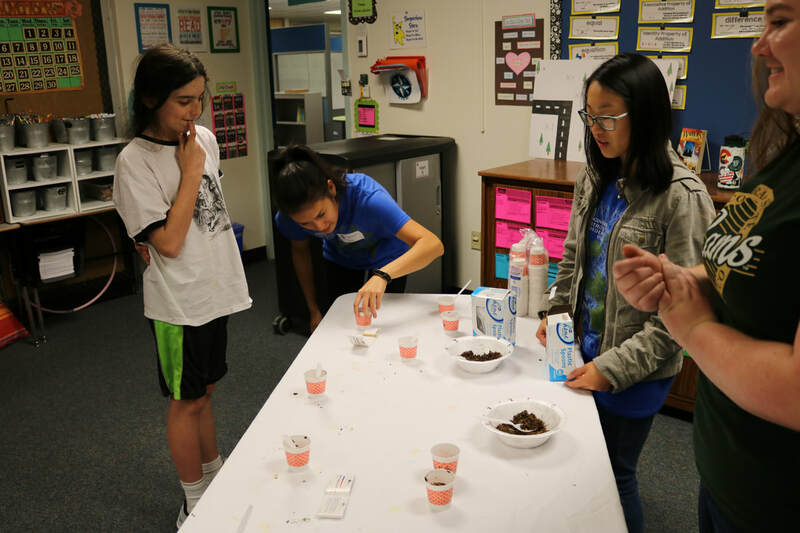 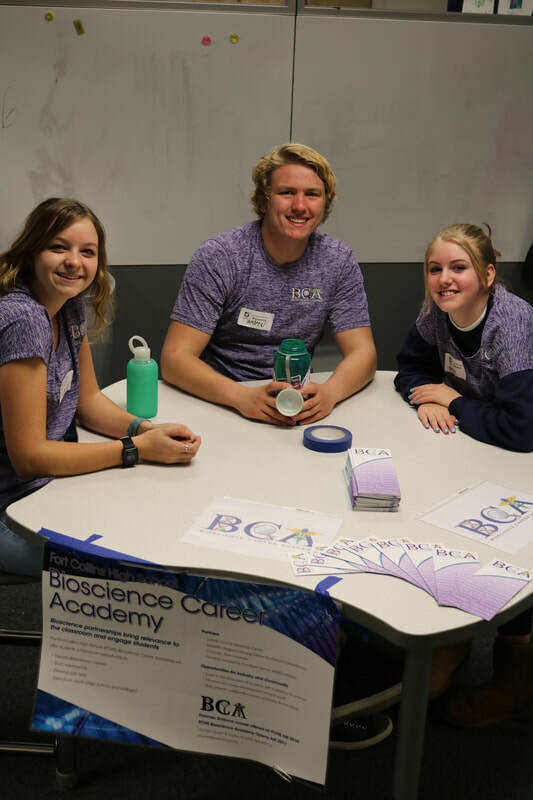 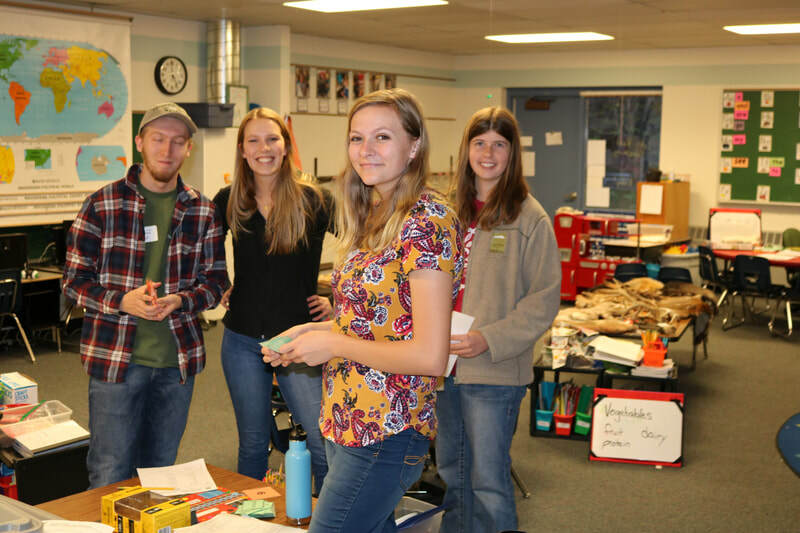 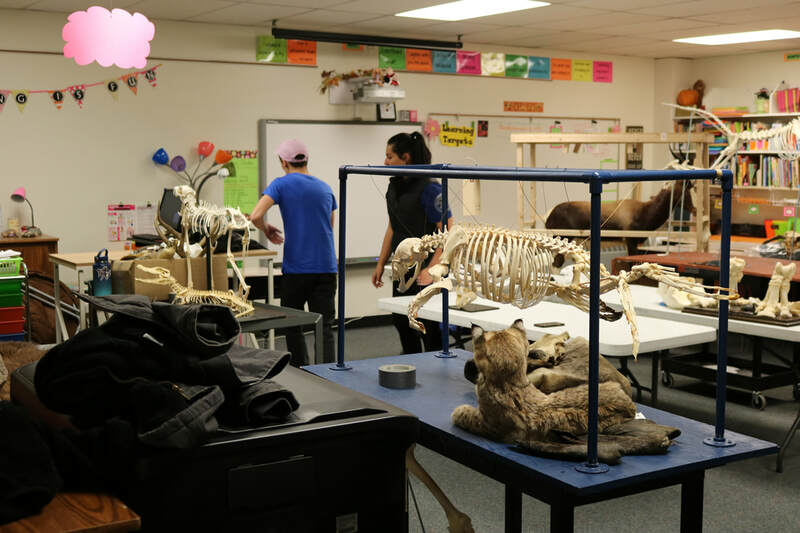 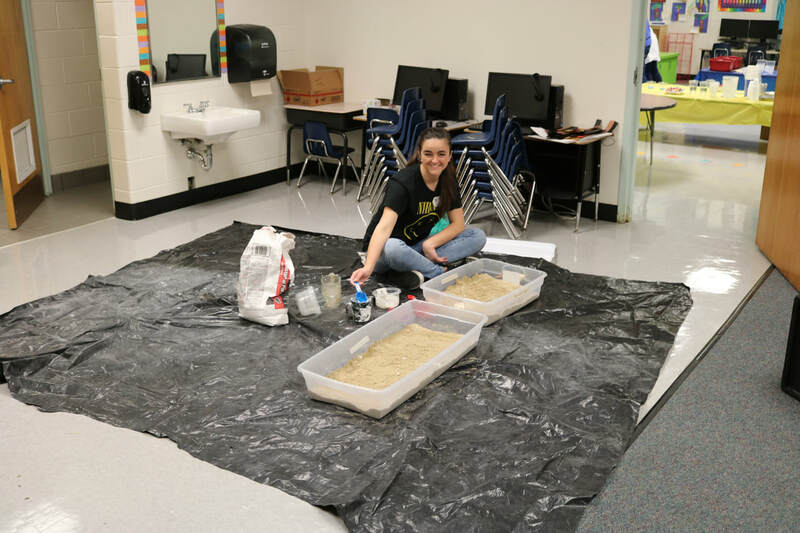 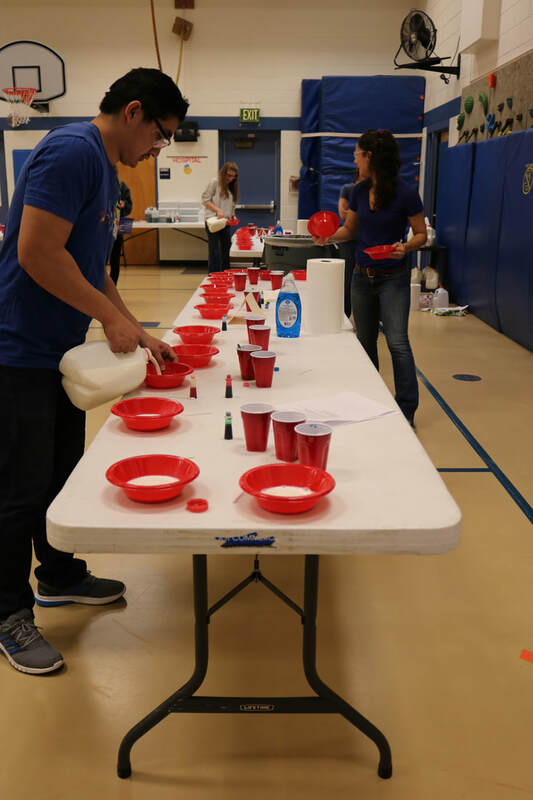 There were also clubs and students from CSU to demonstrate and provide hands-on examples of electronics, engineering, chemistry, veterinary medicine, as well as lots of other hands-on activities in every classroom - exploring liquids, air, turning cream into butter, and much more!